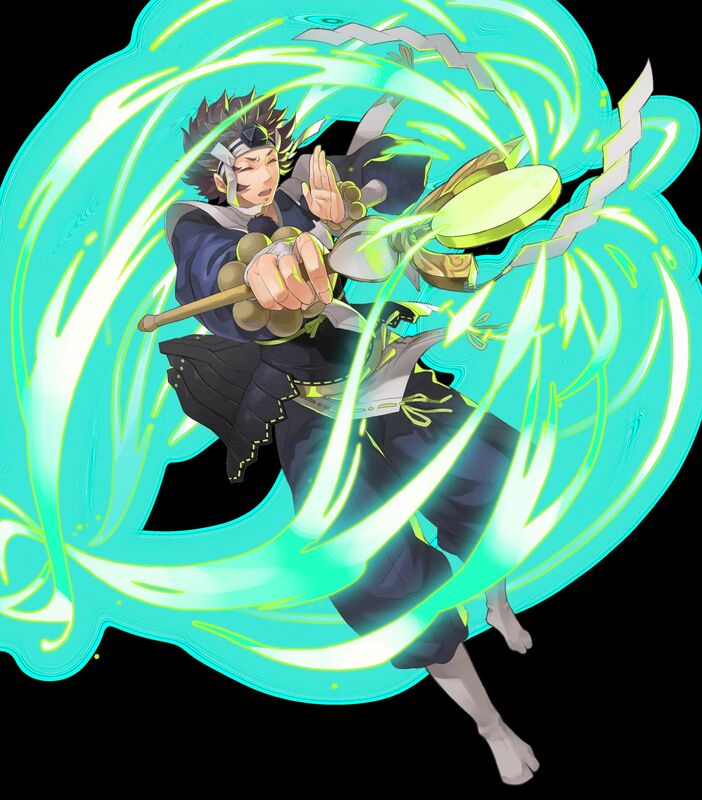 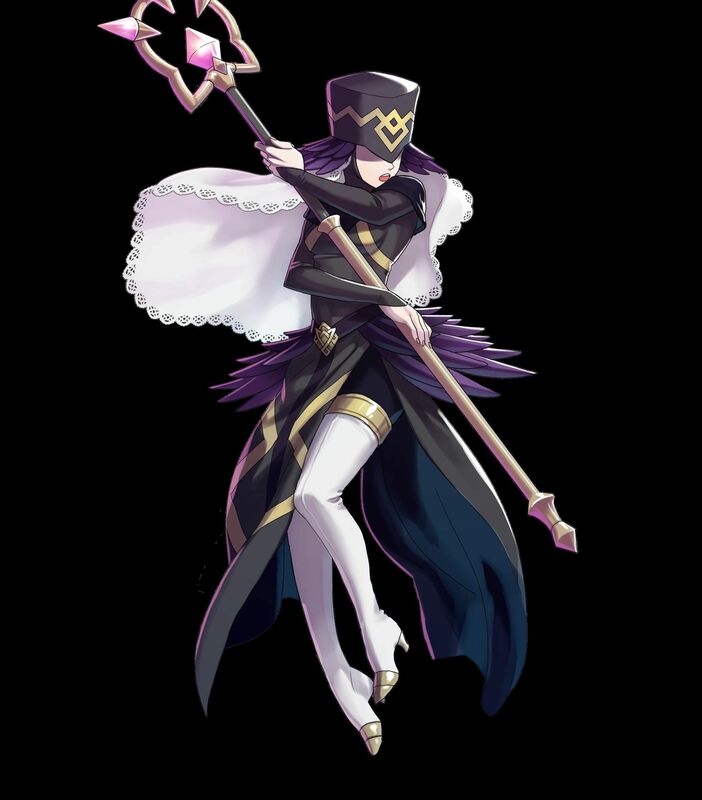 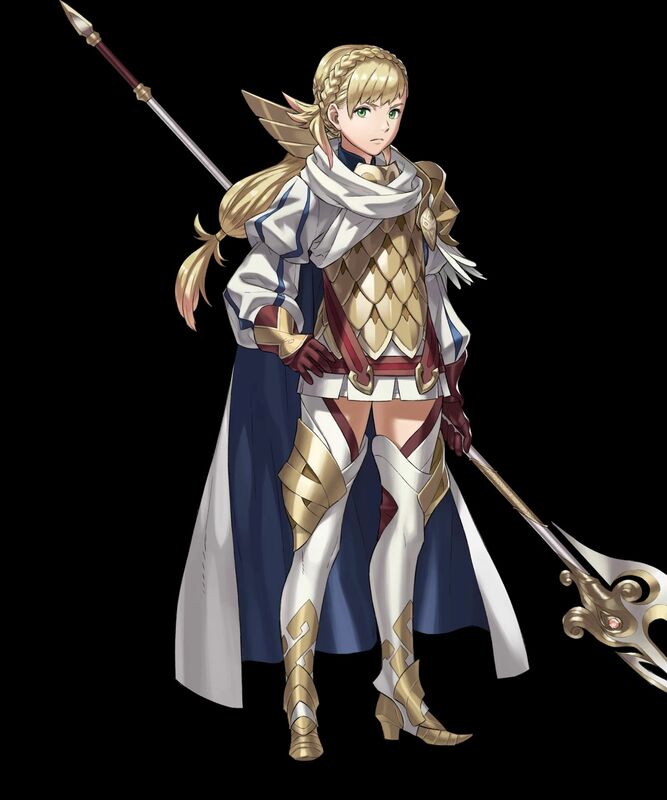 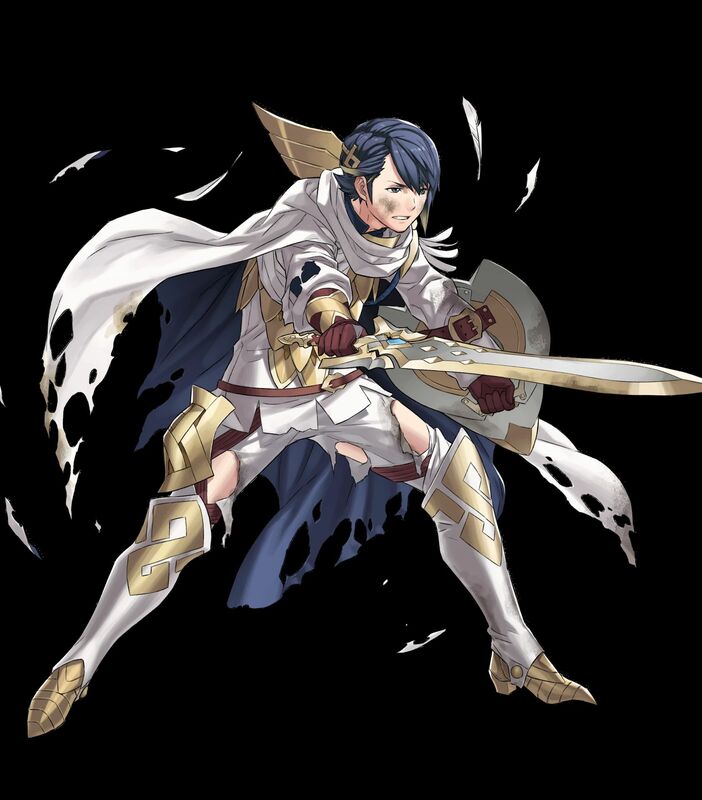 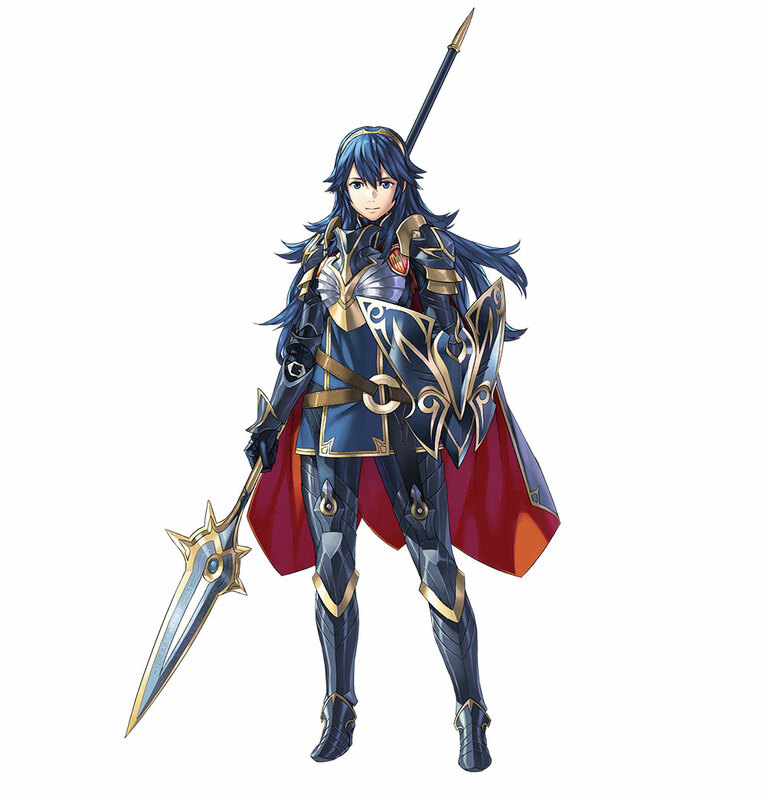 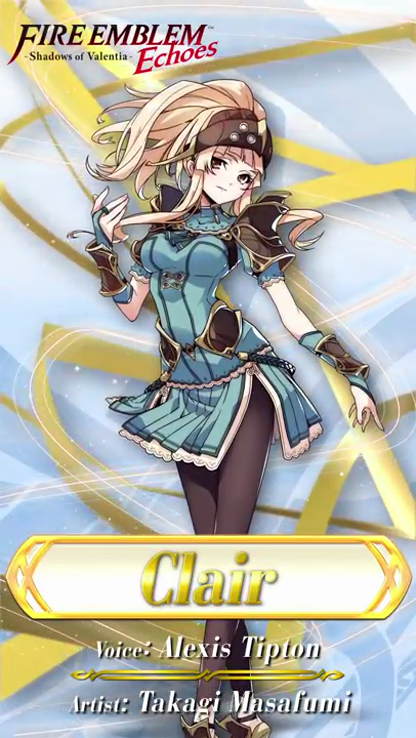 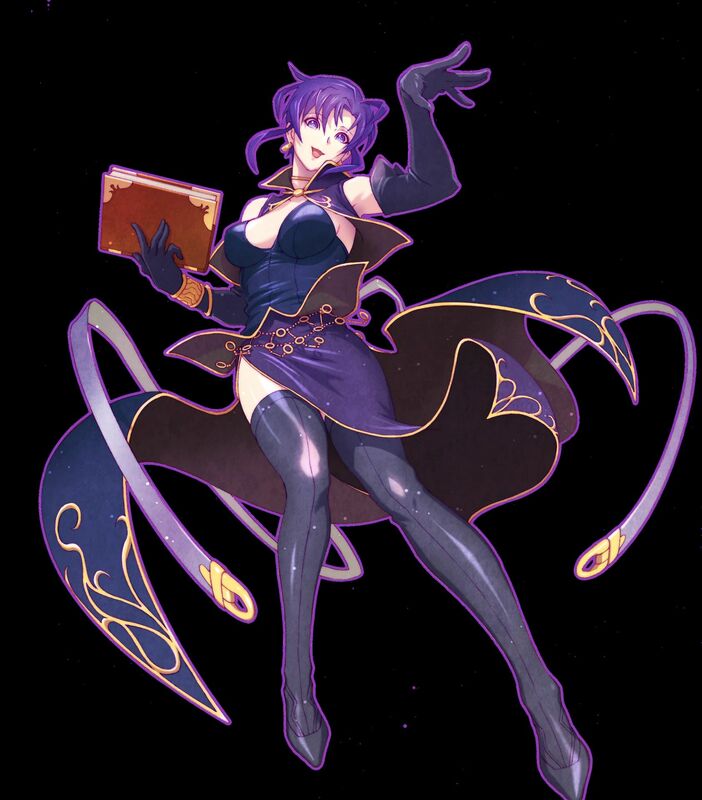 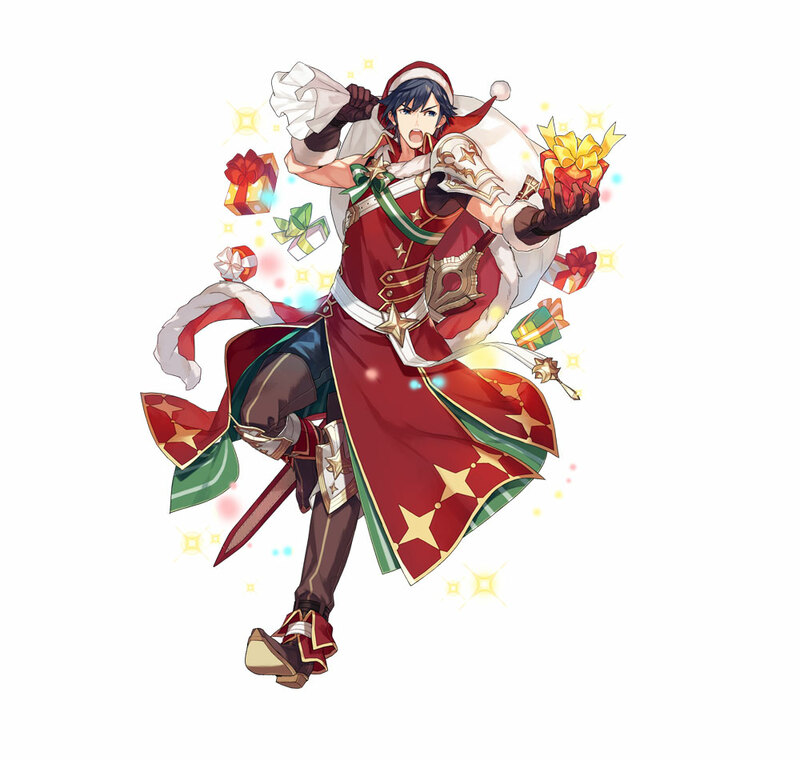 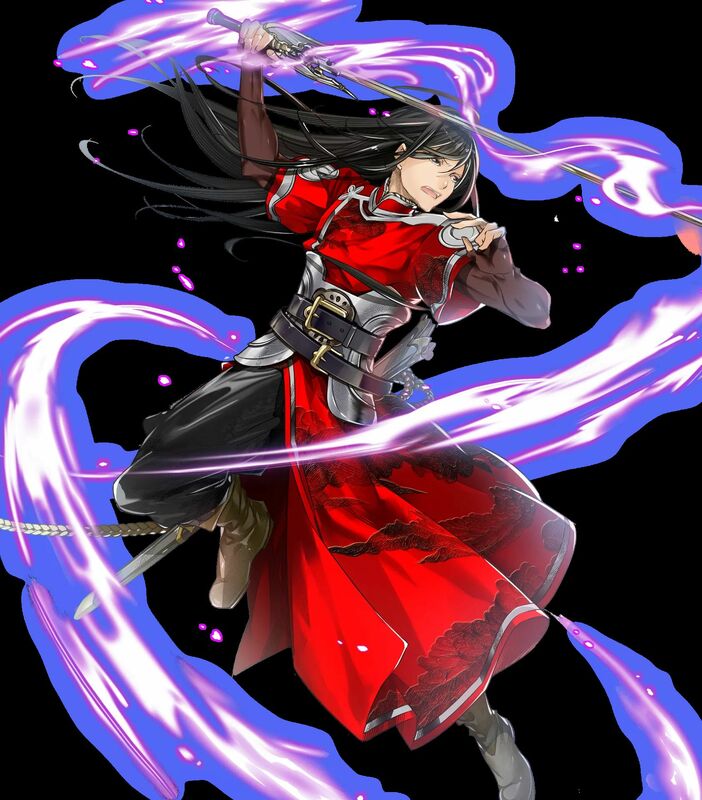 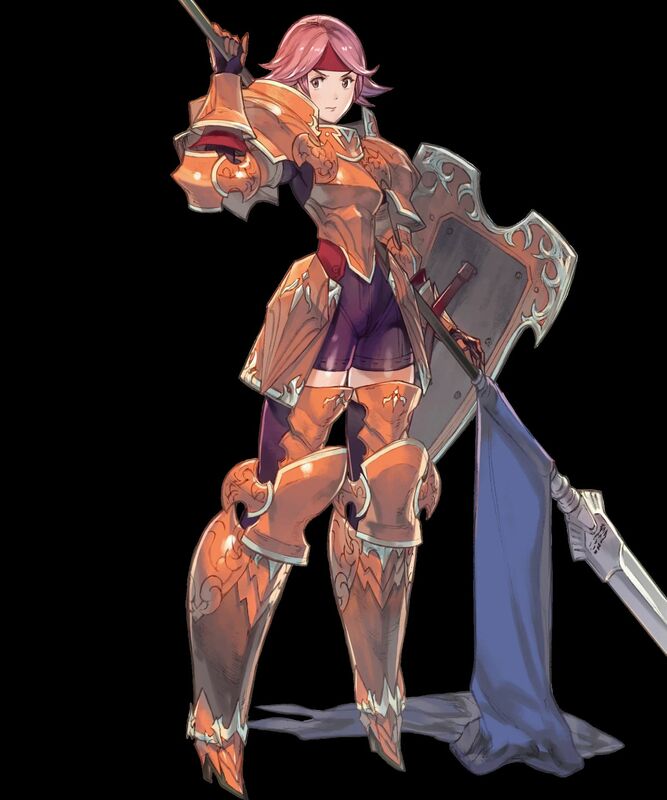 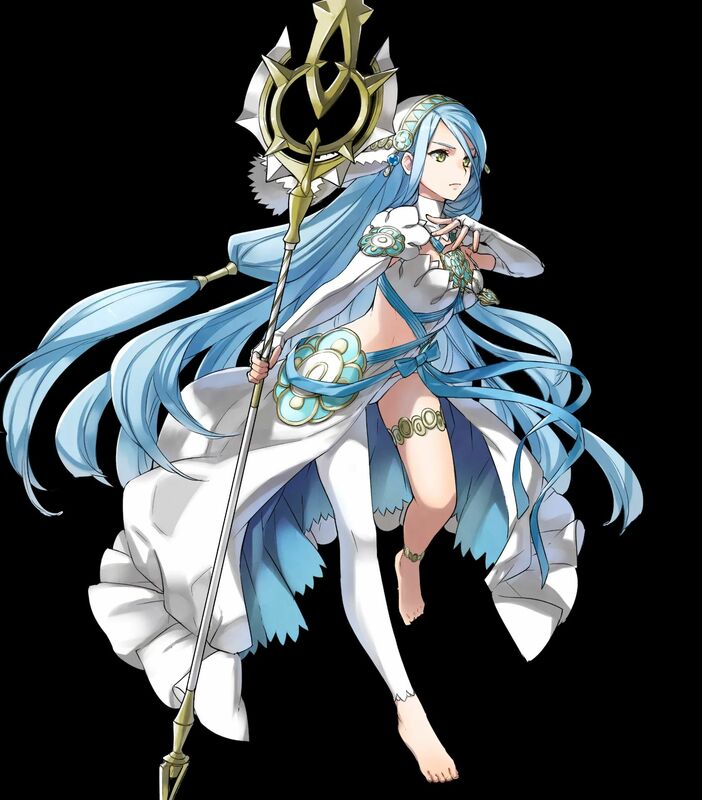 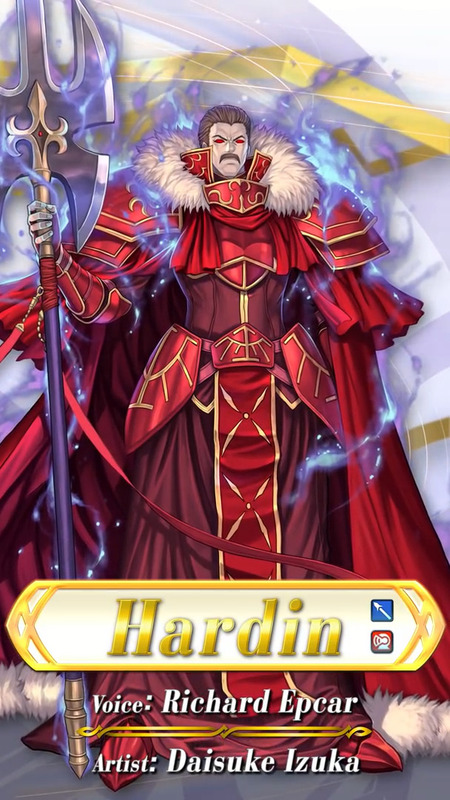 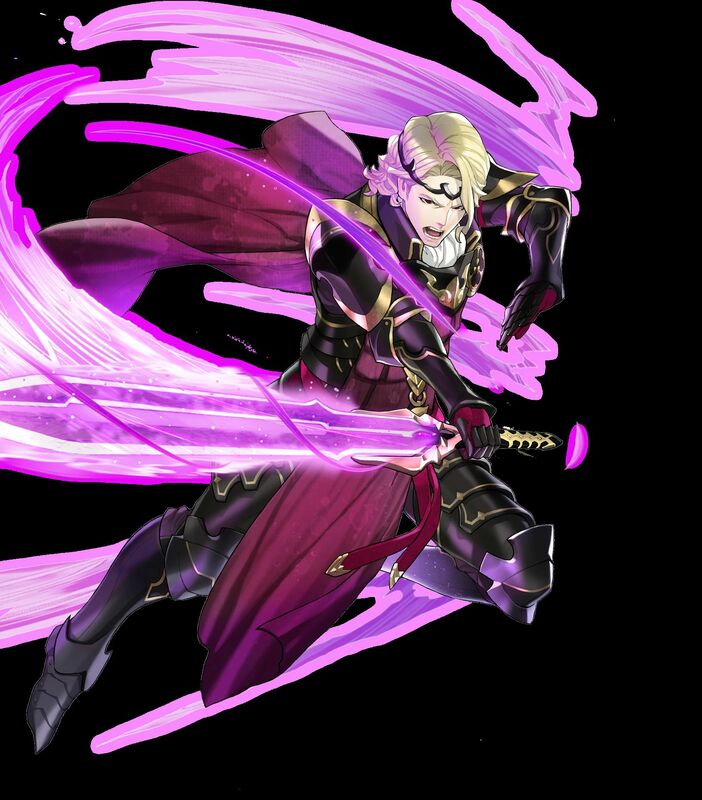 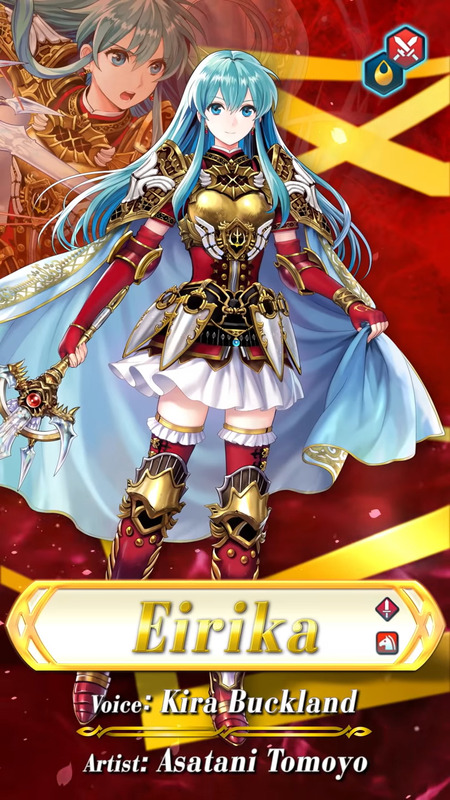 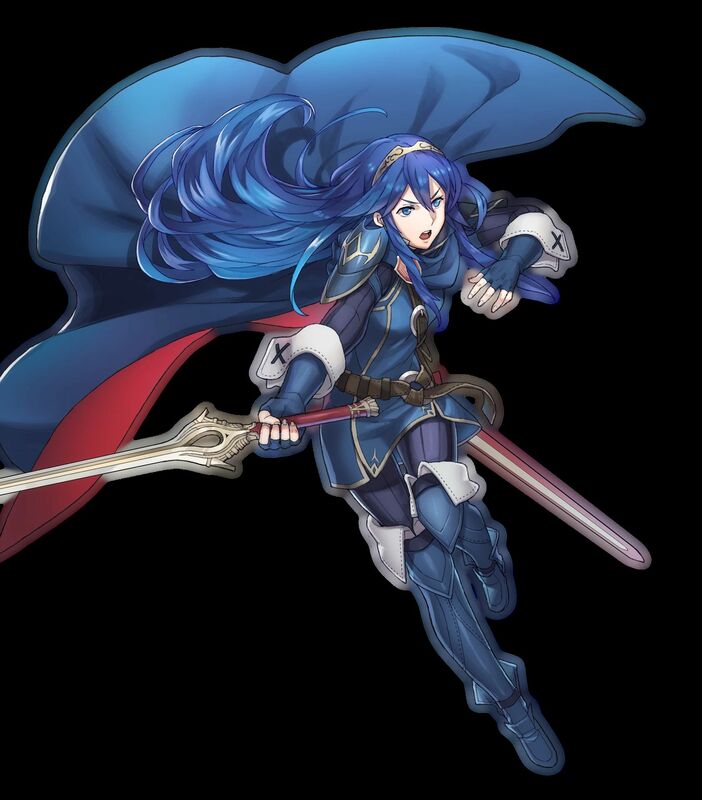 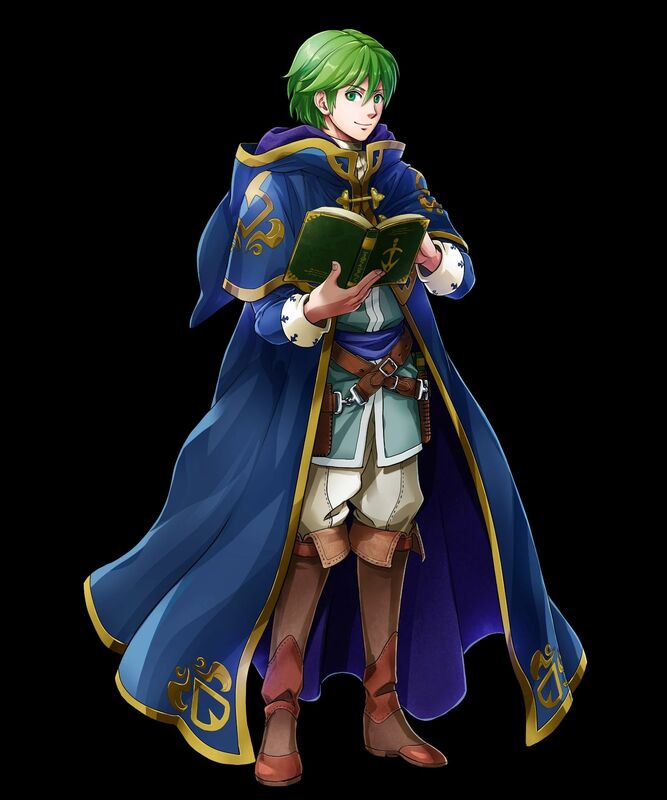 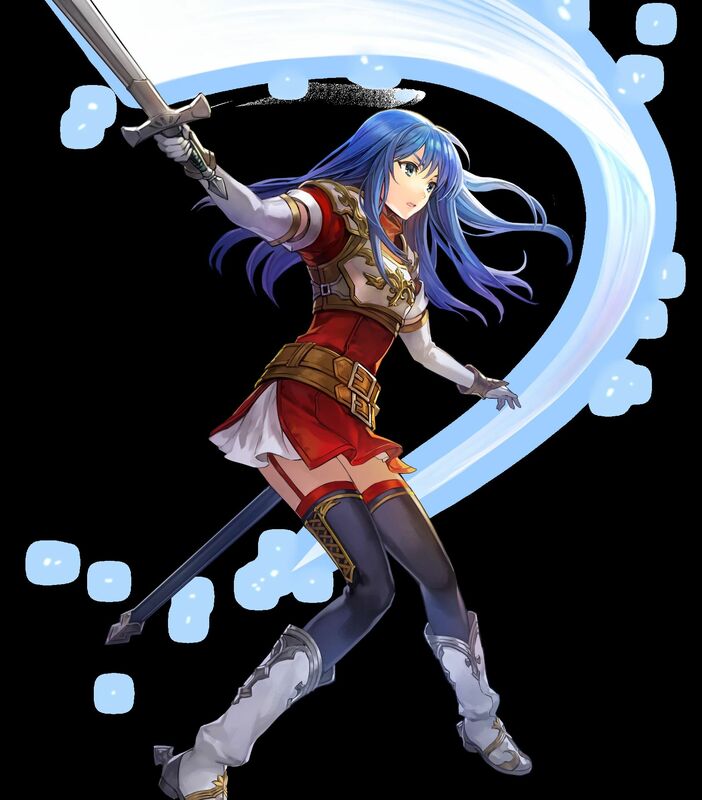 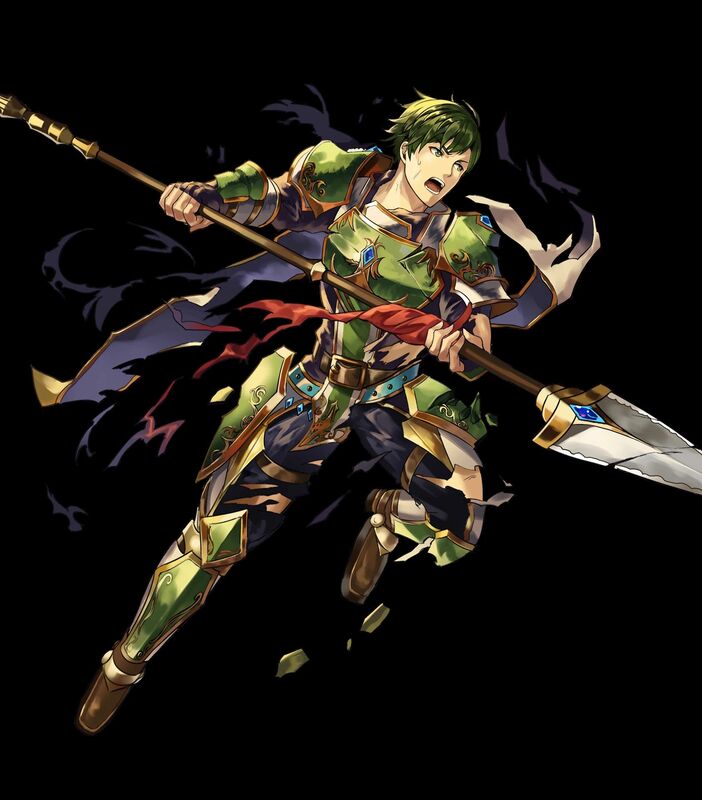 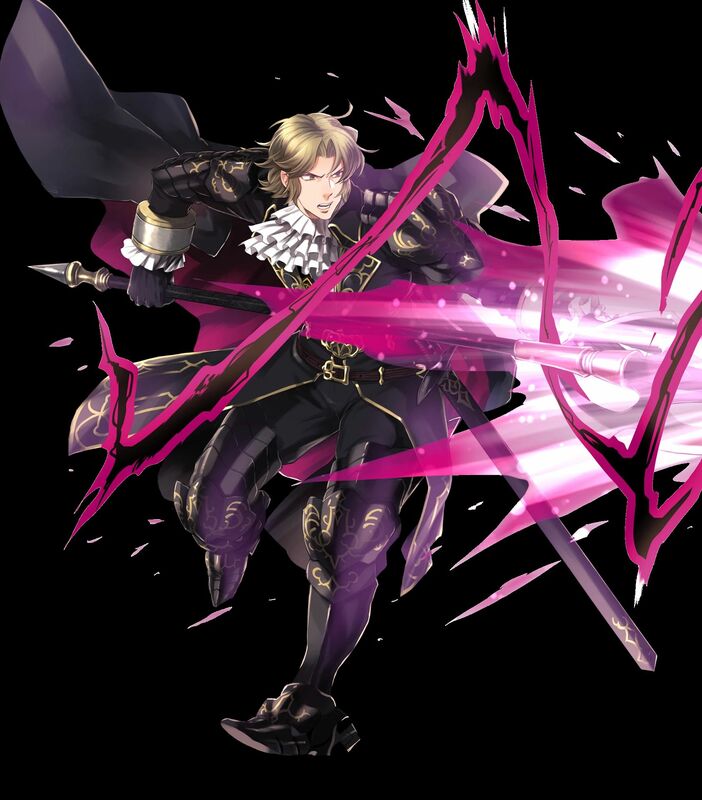 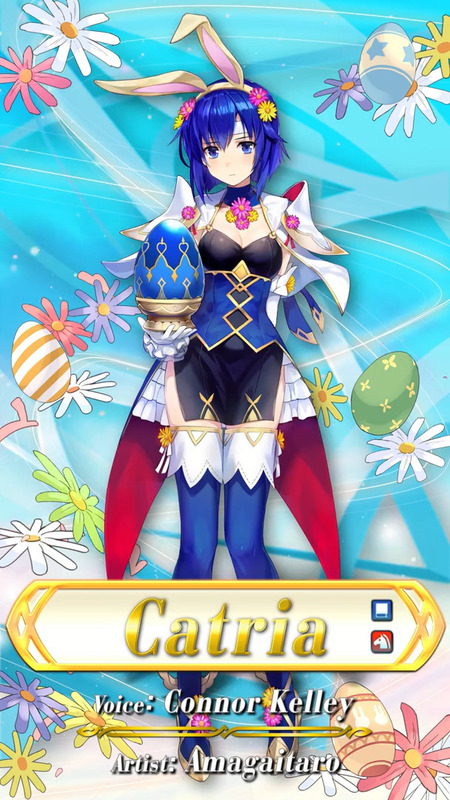 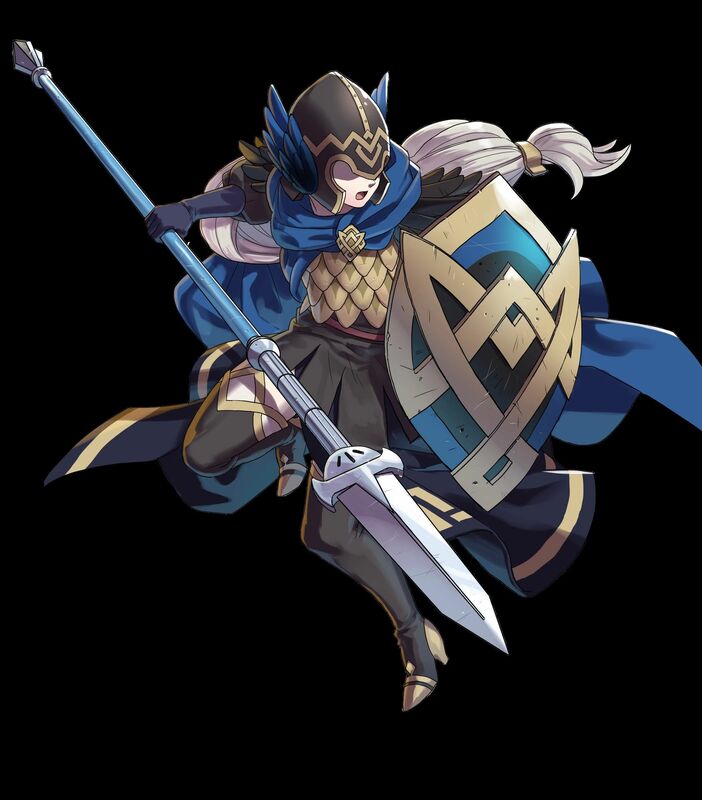 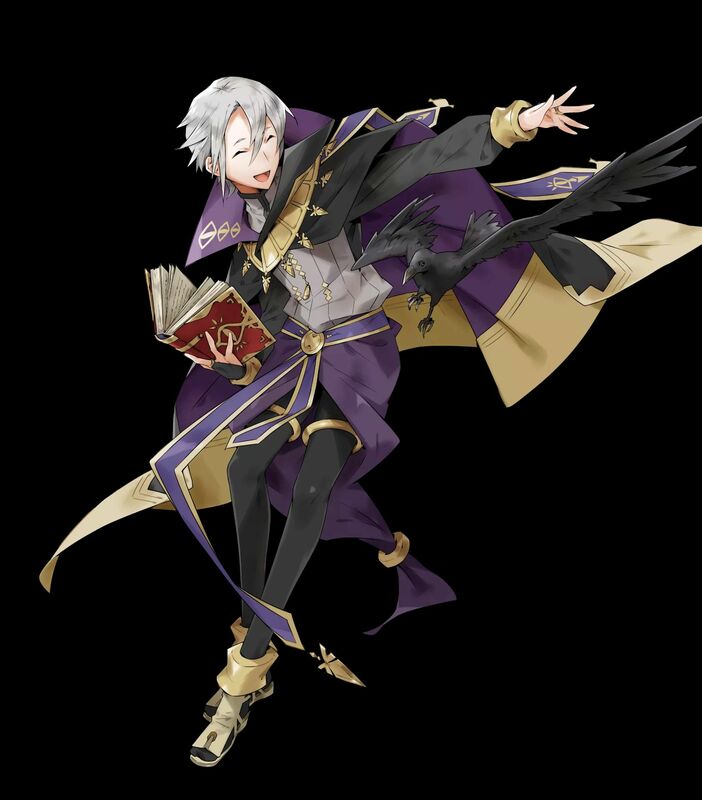 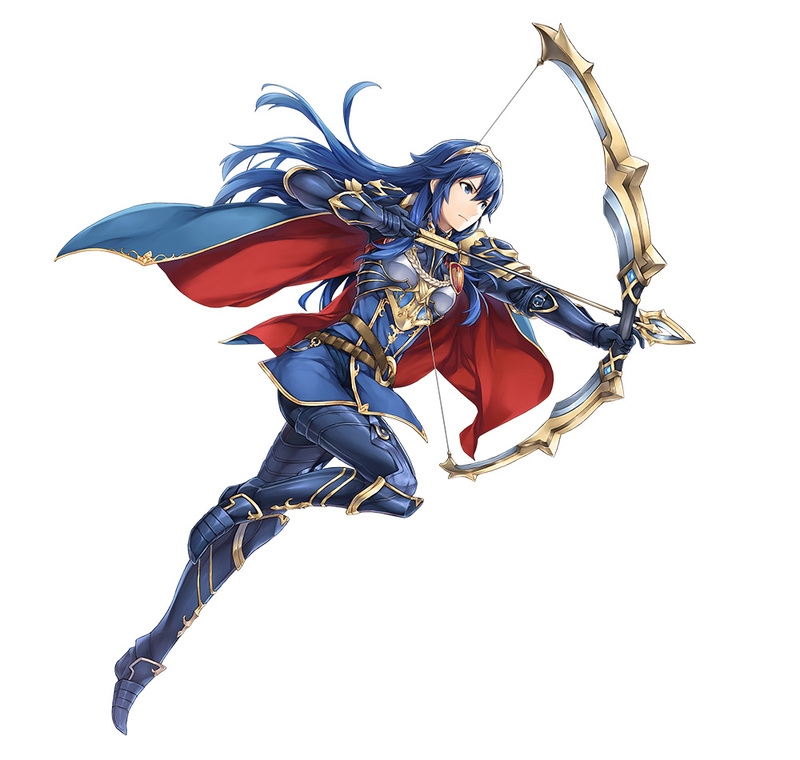 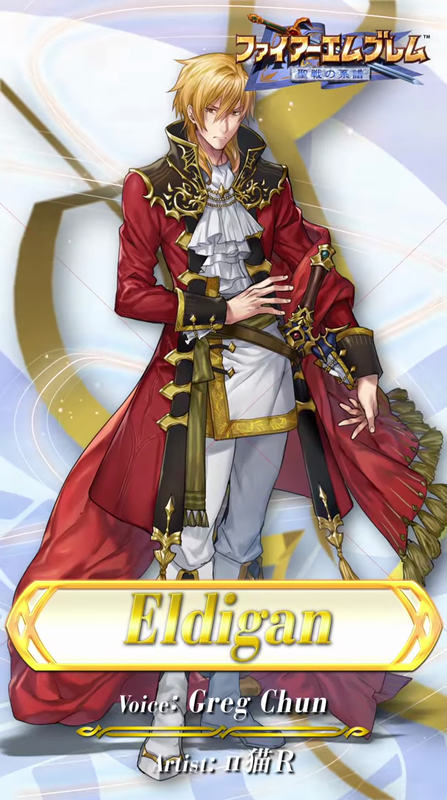 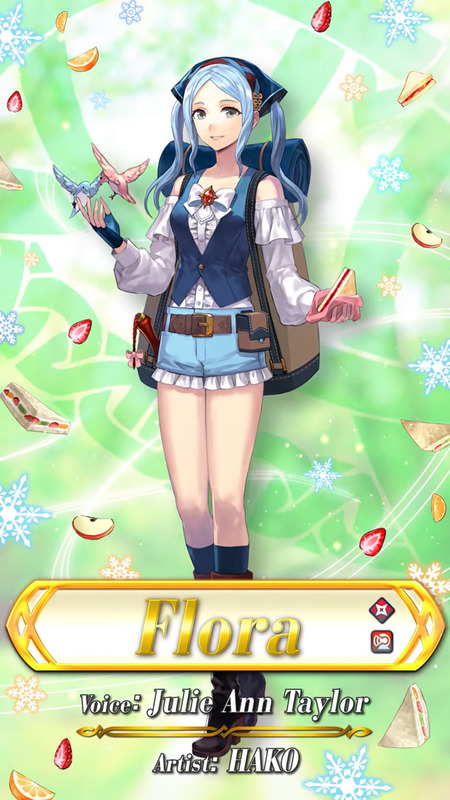 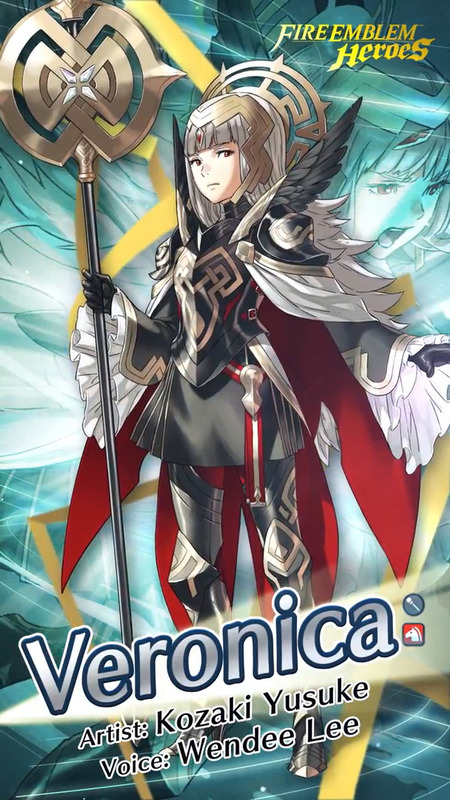 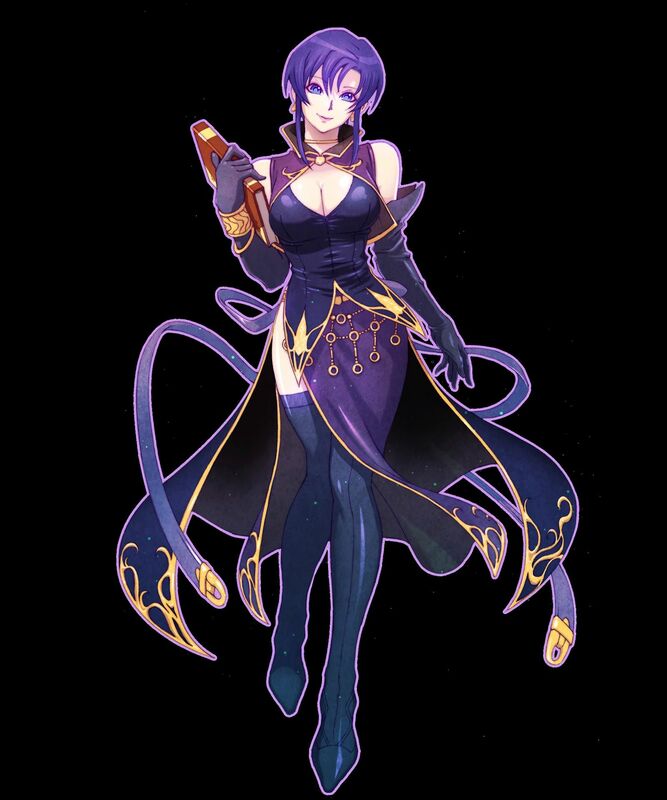 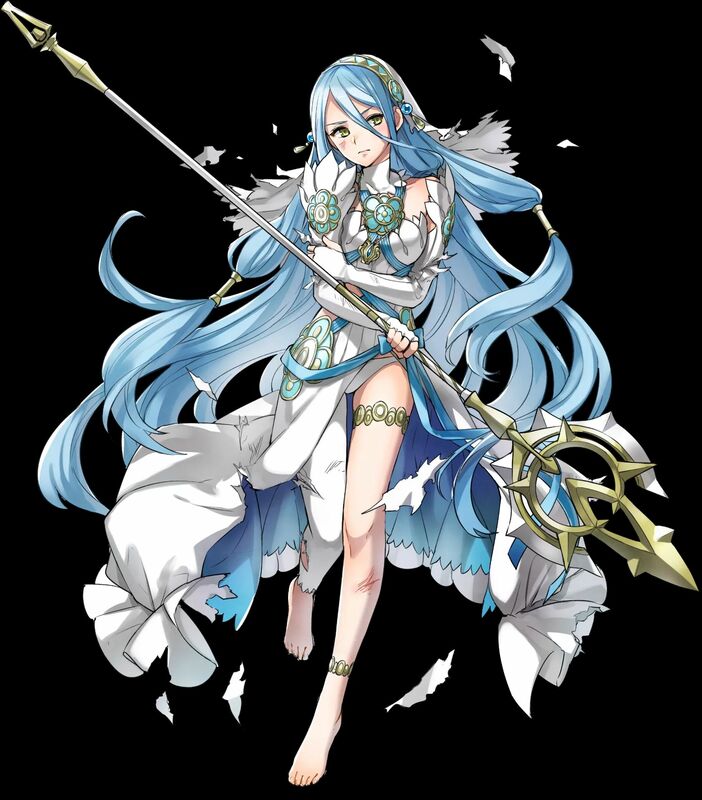 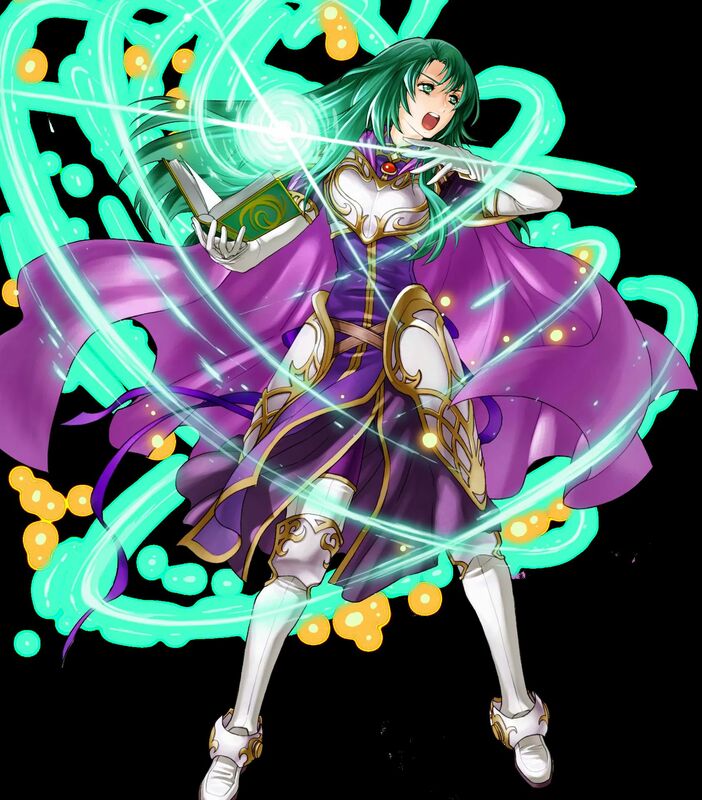 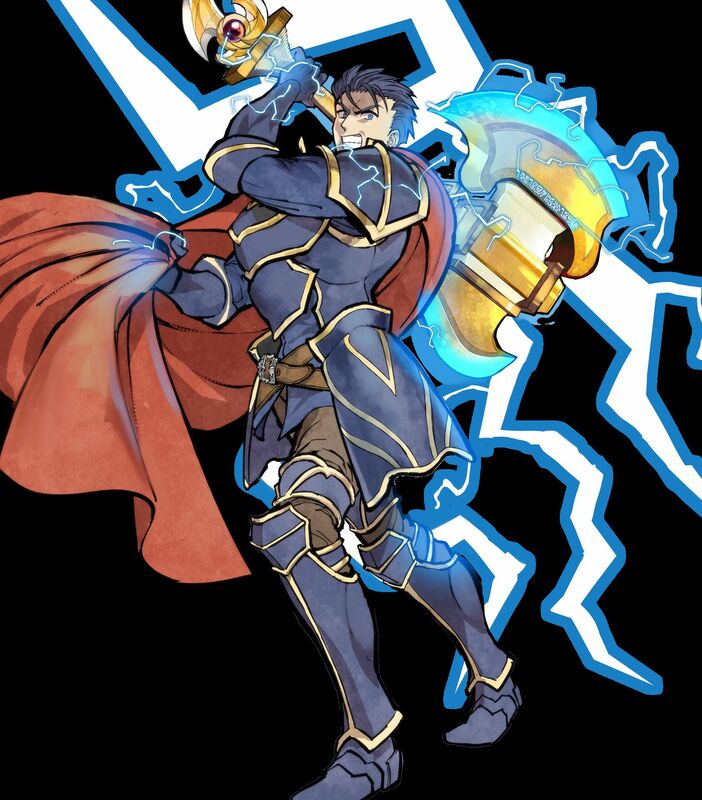 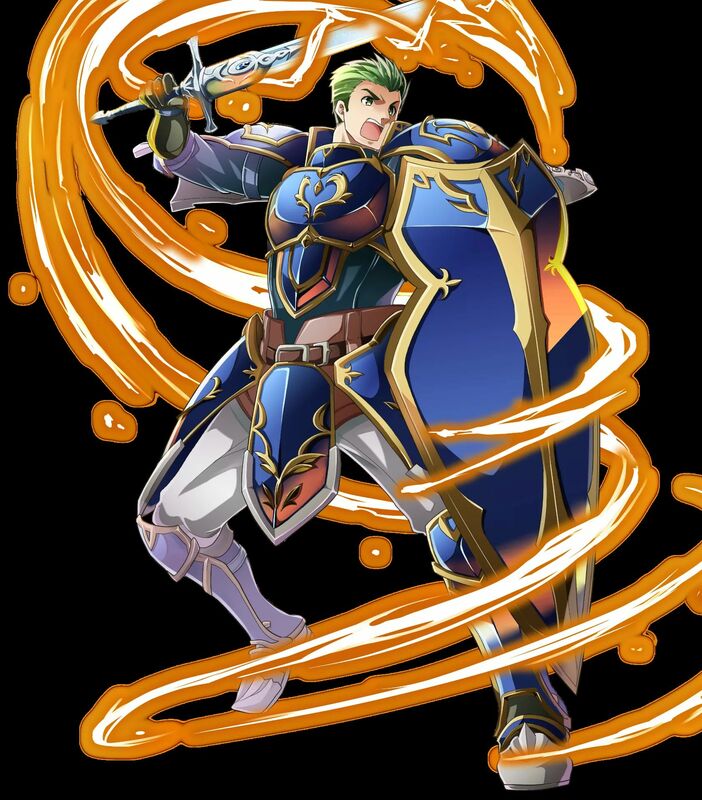 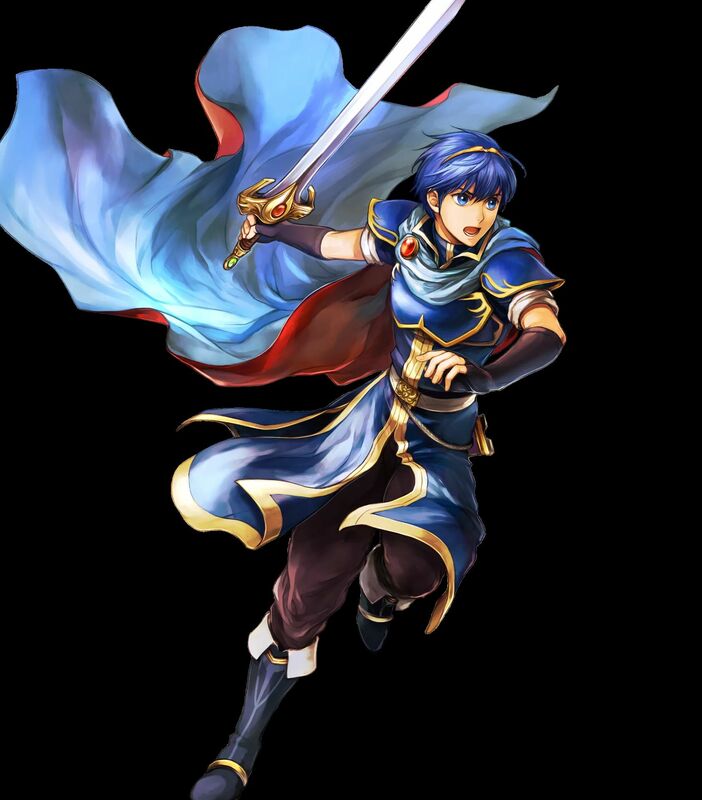 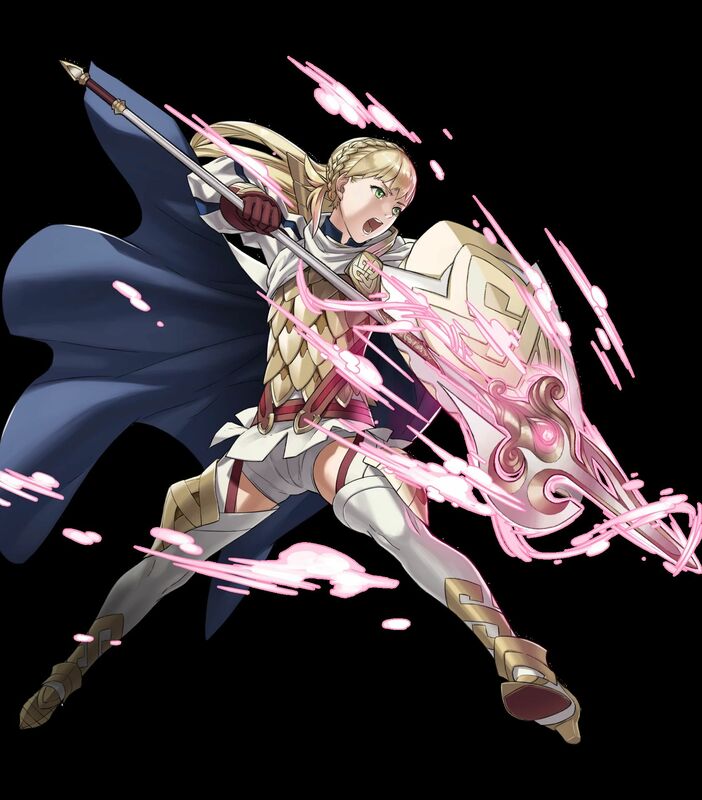 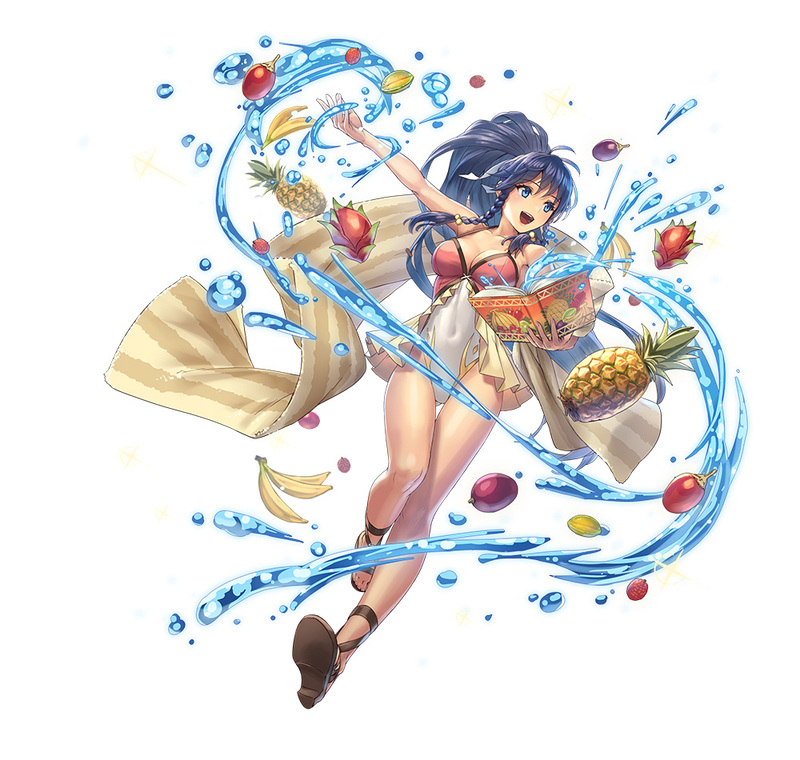 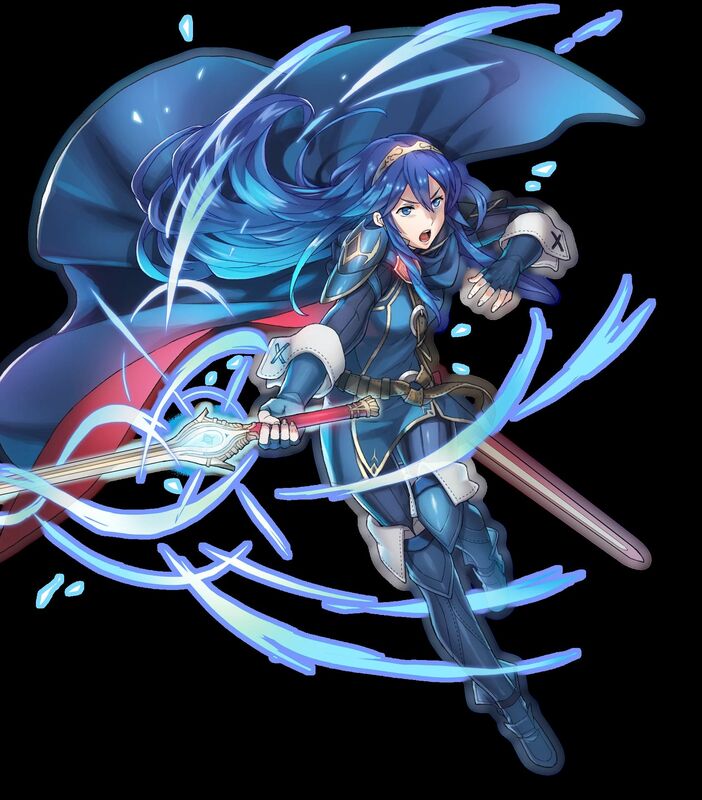 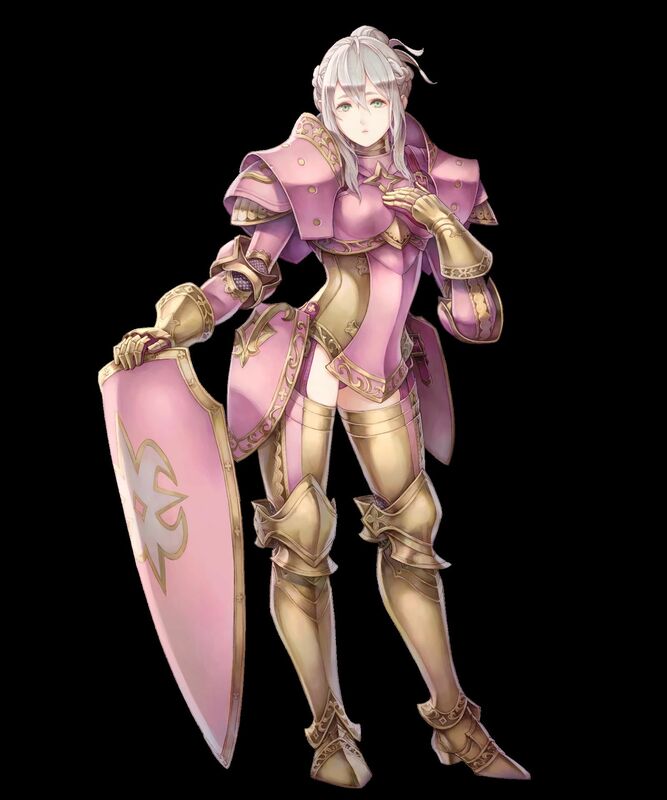 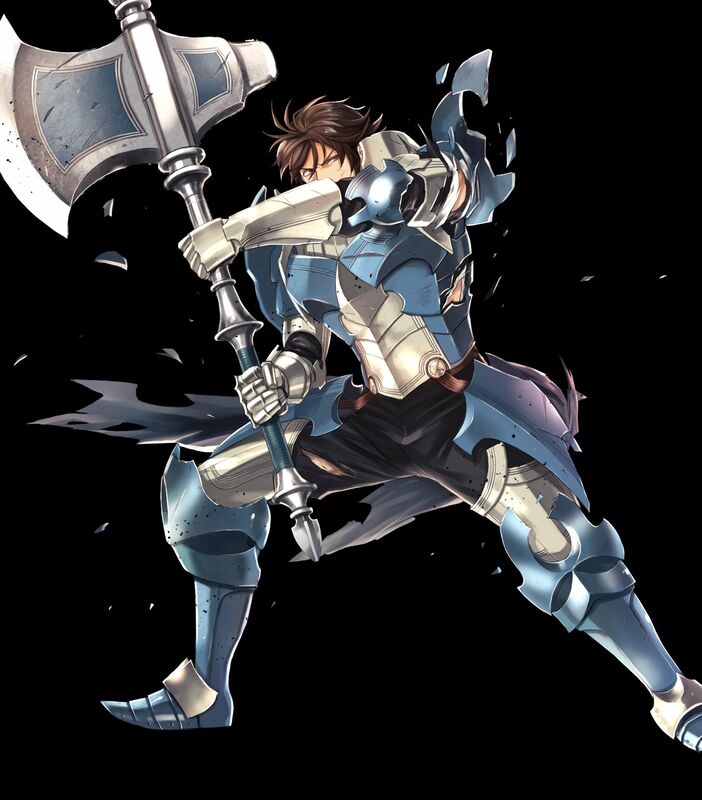 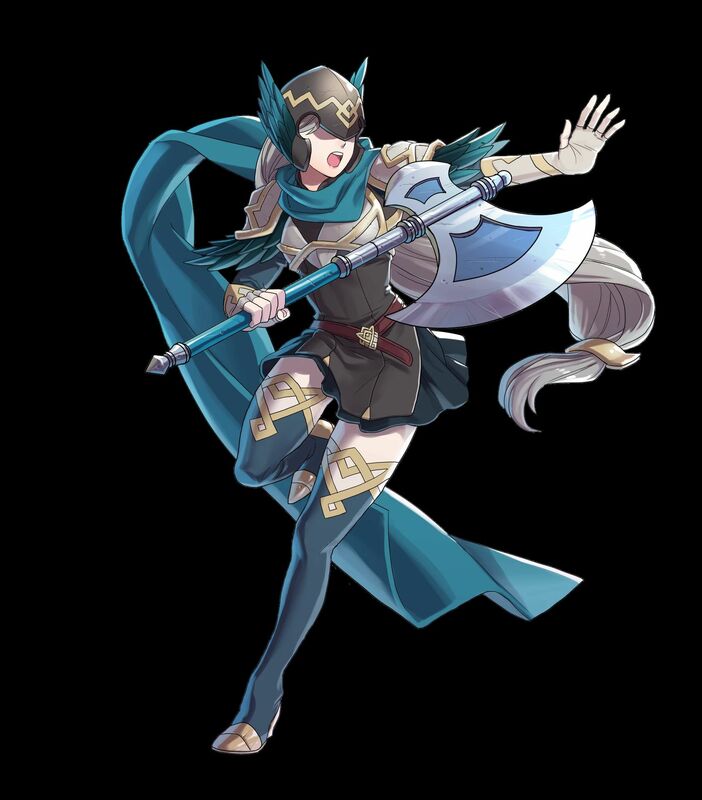 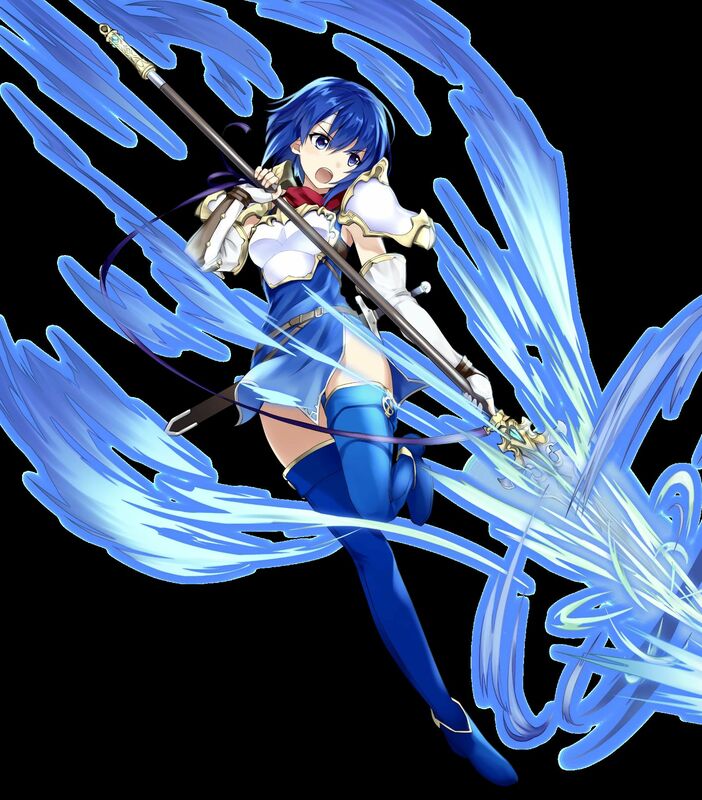 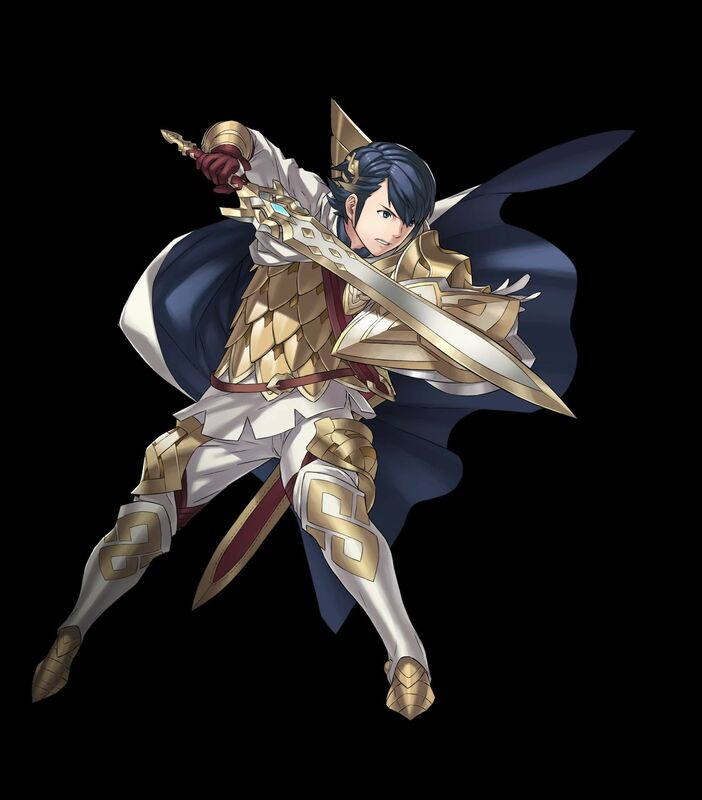 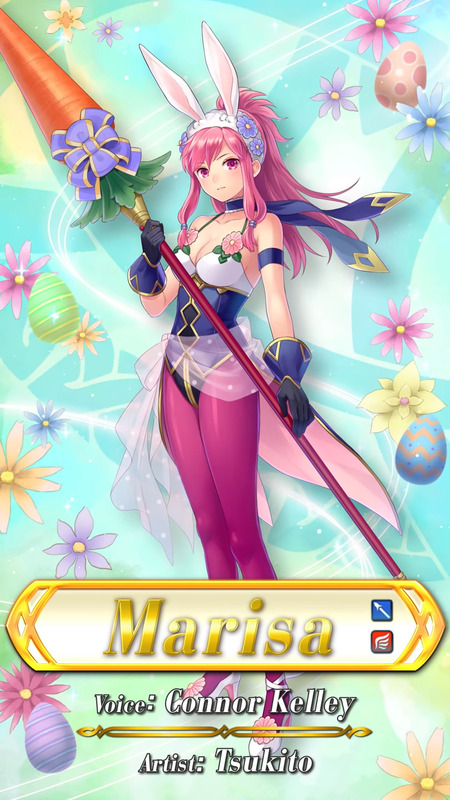 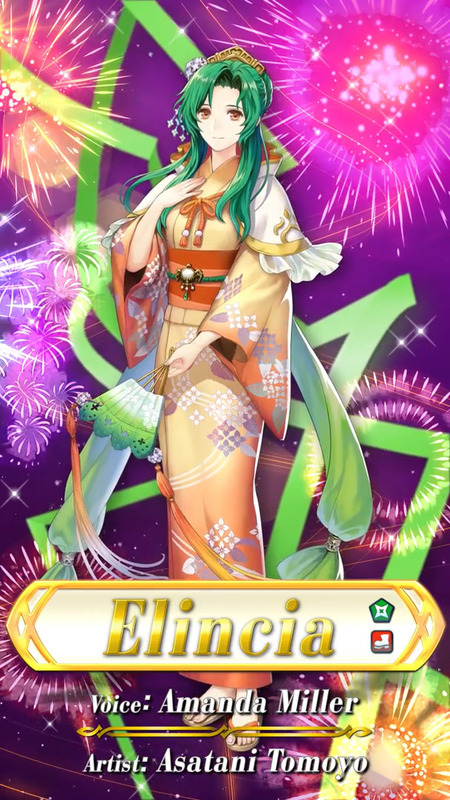 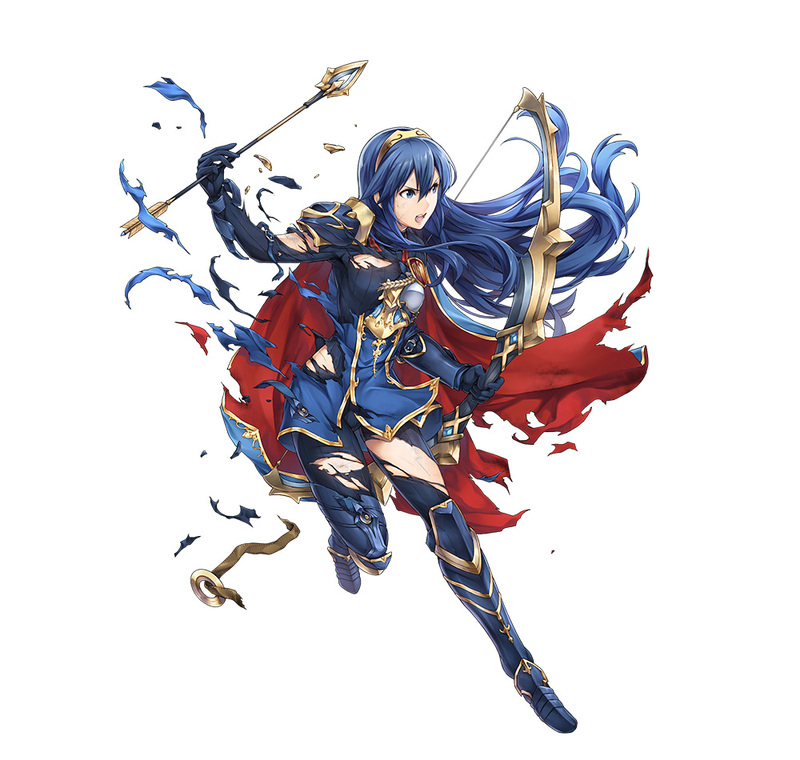 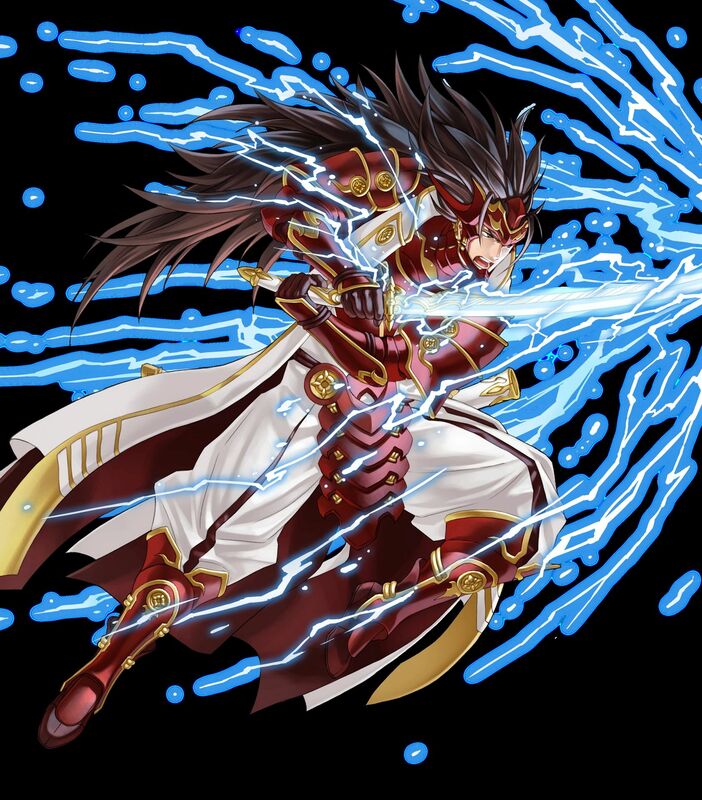 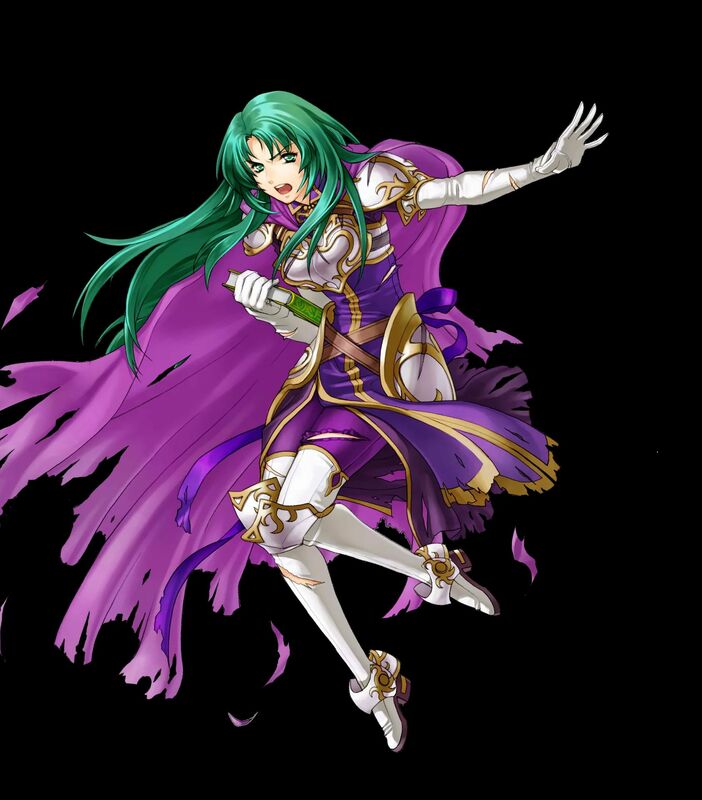 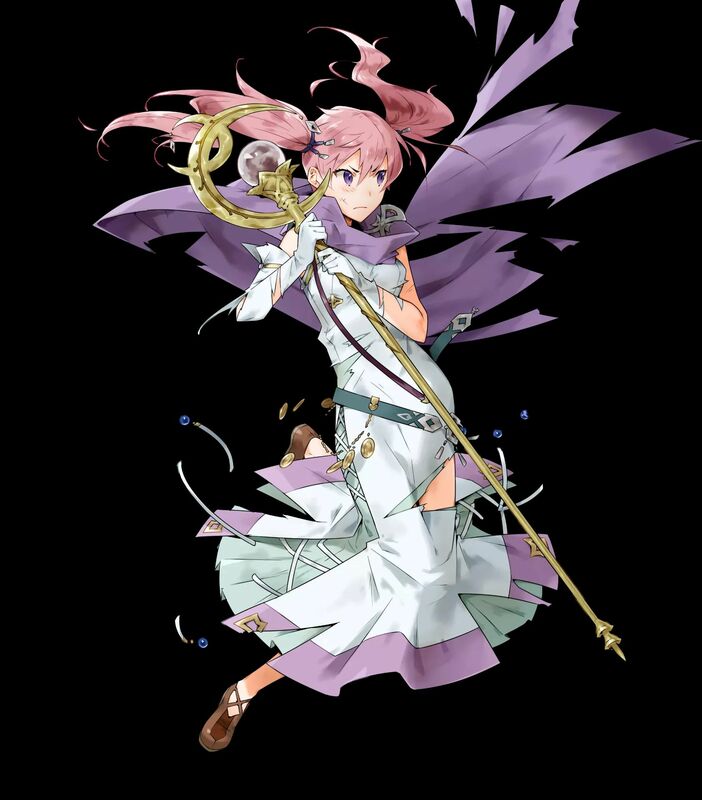 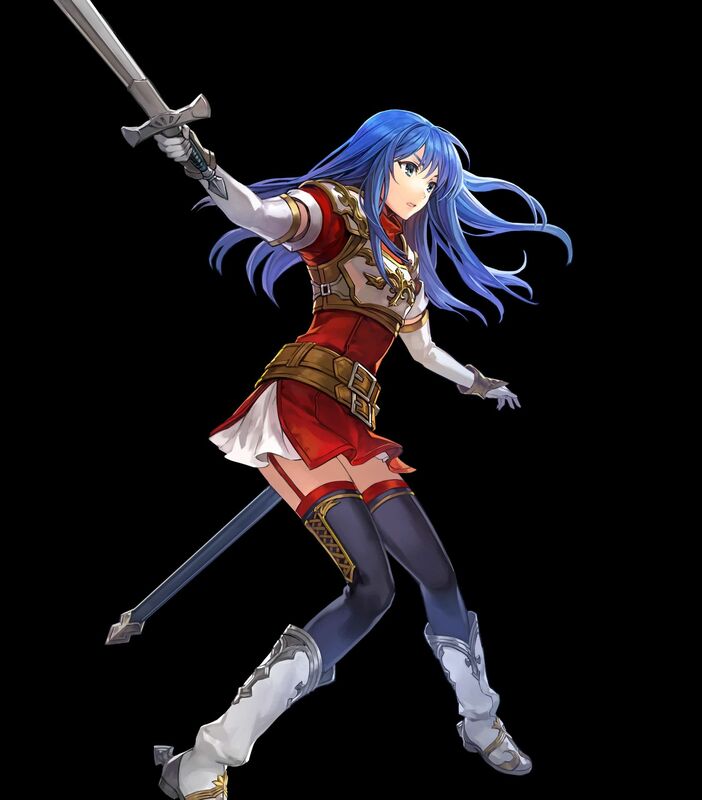 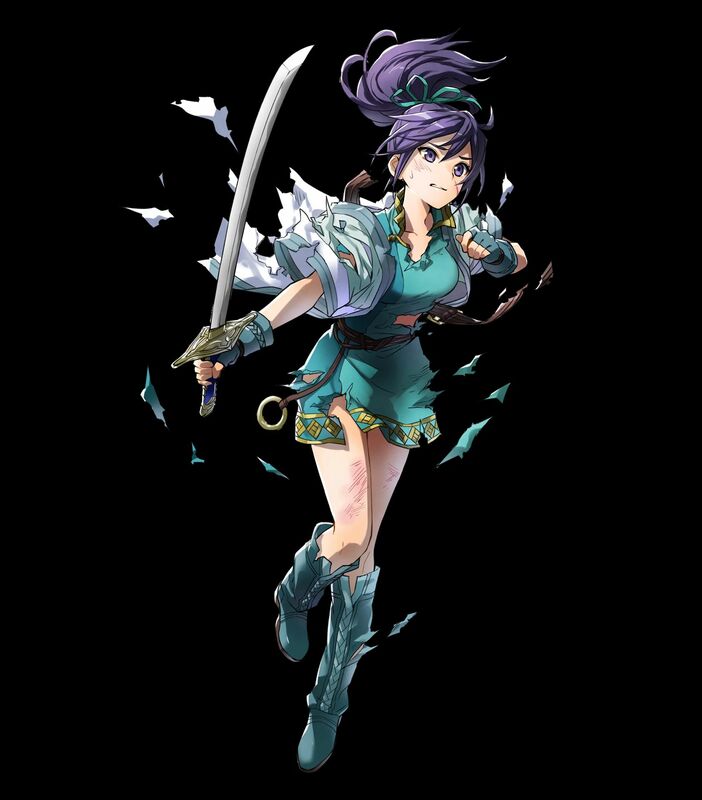 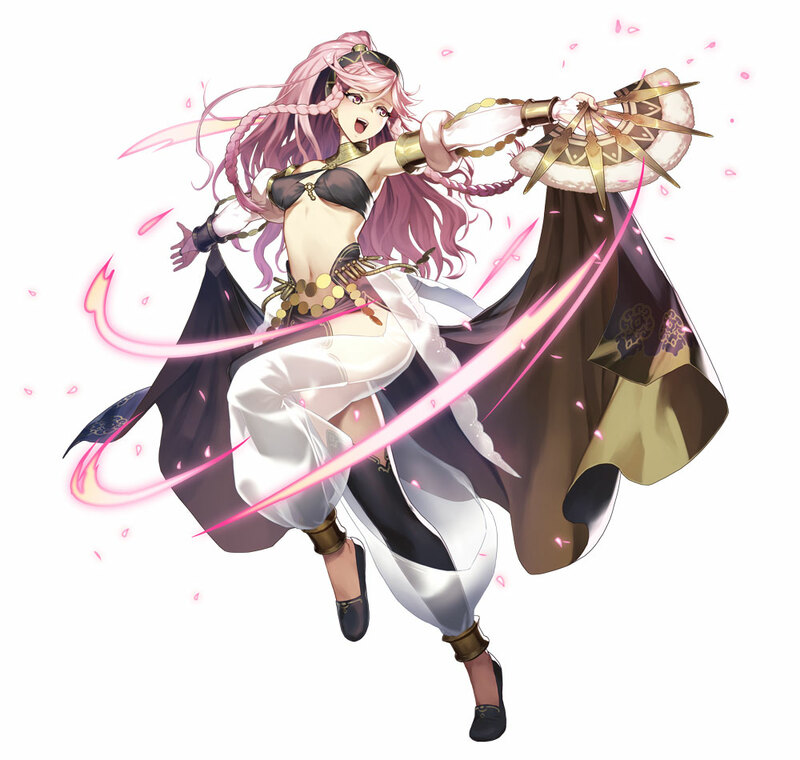 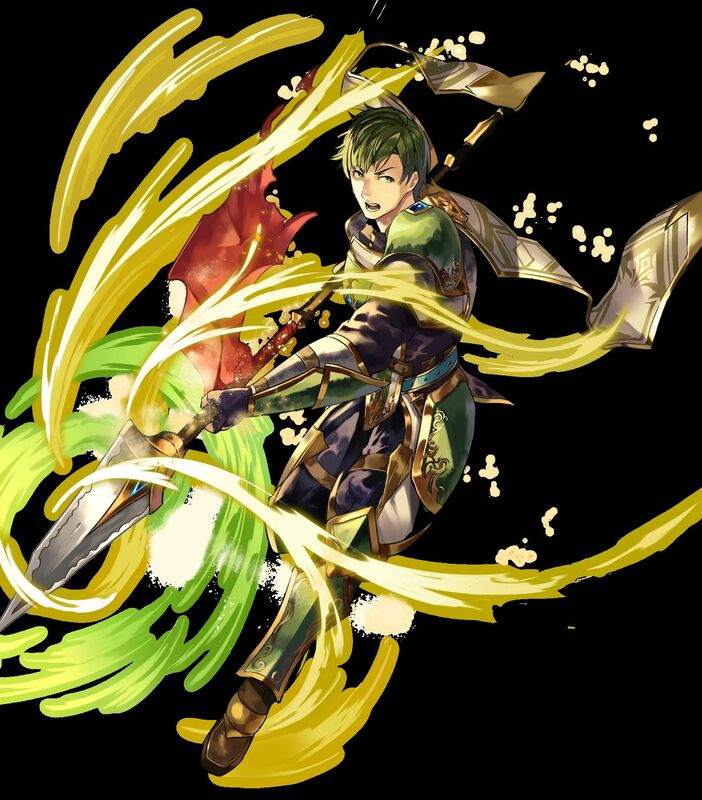 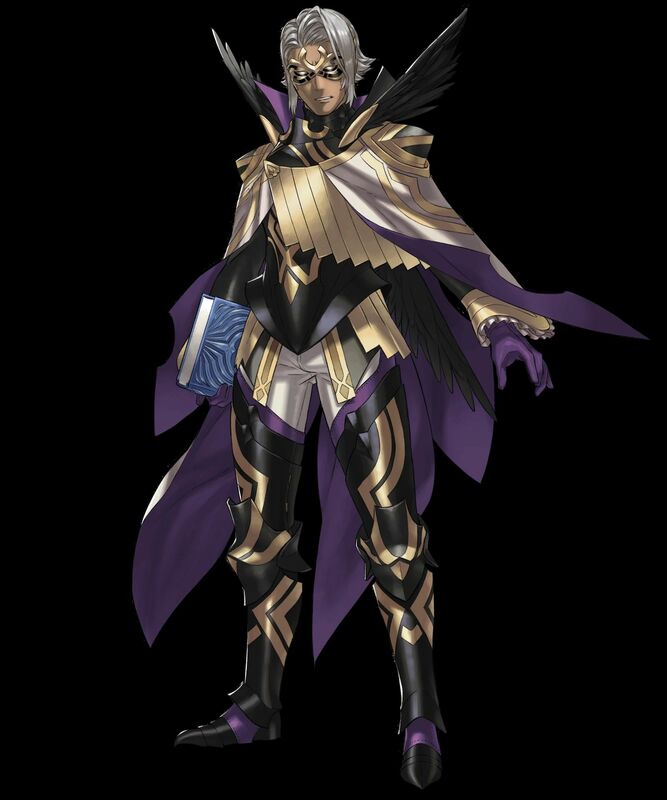 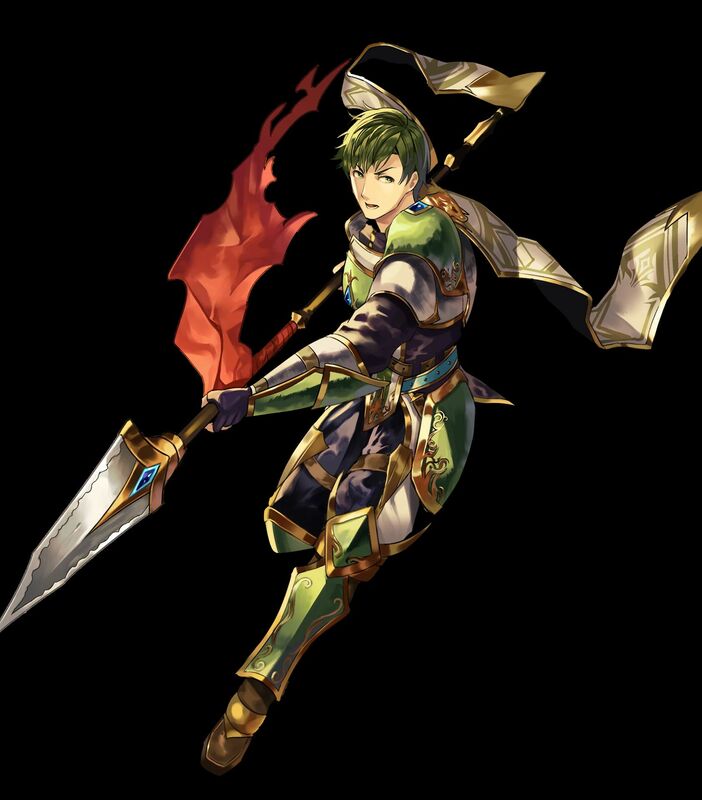 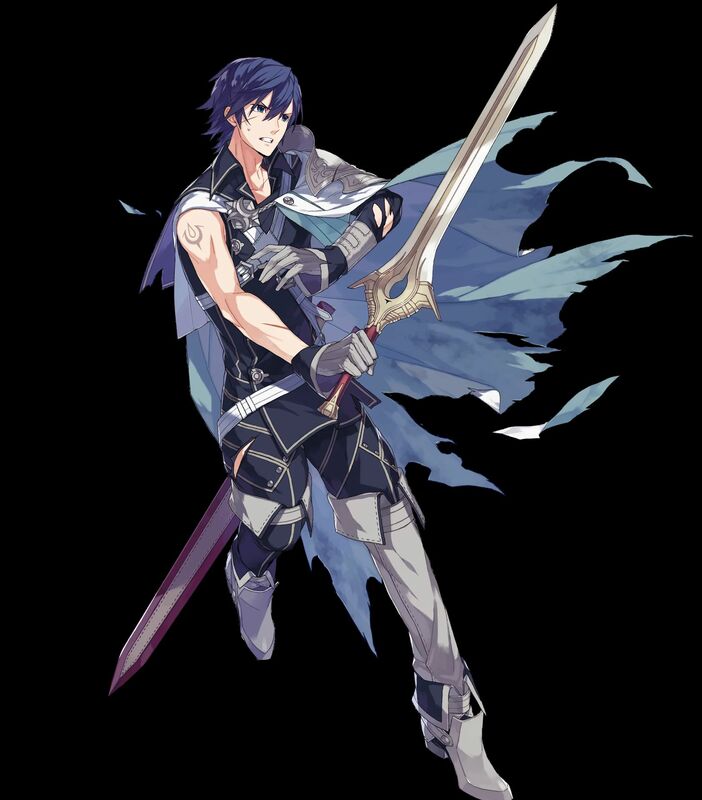 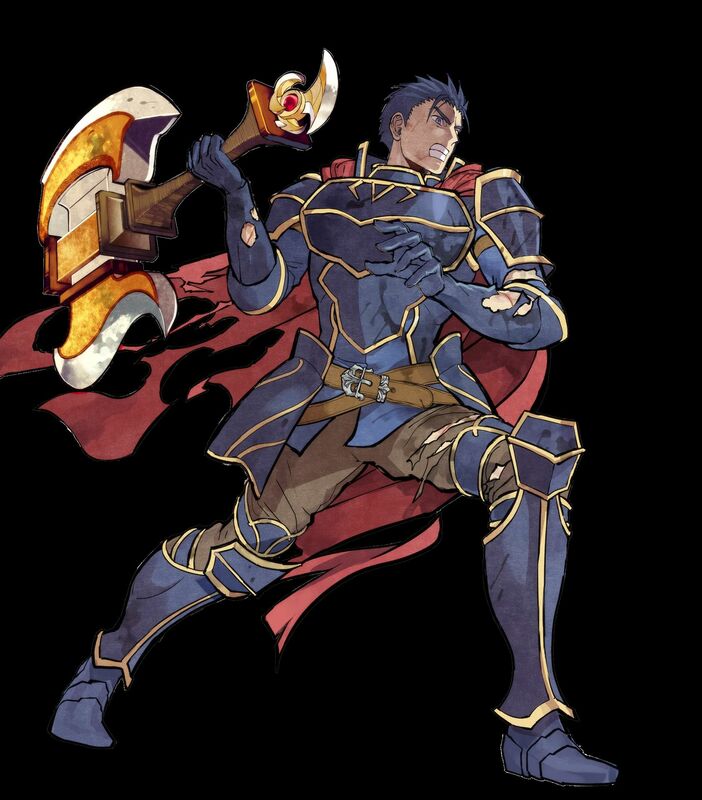 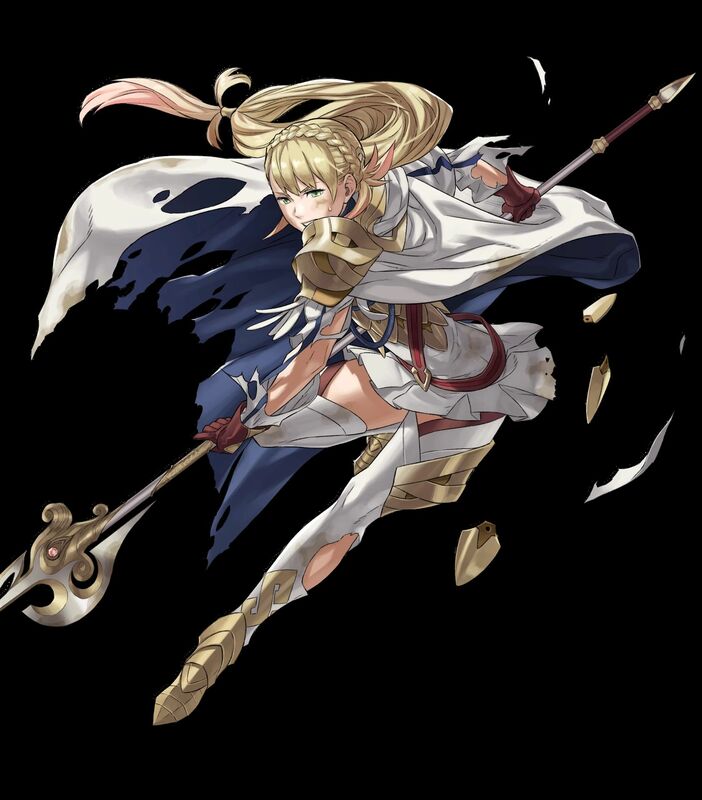 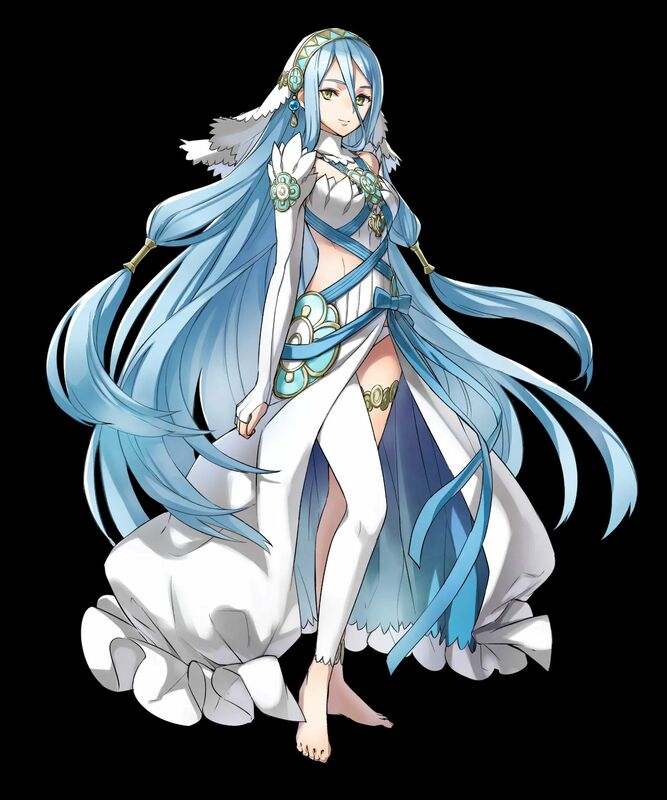 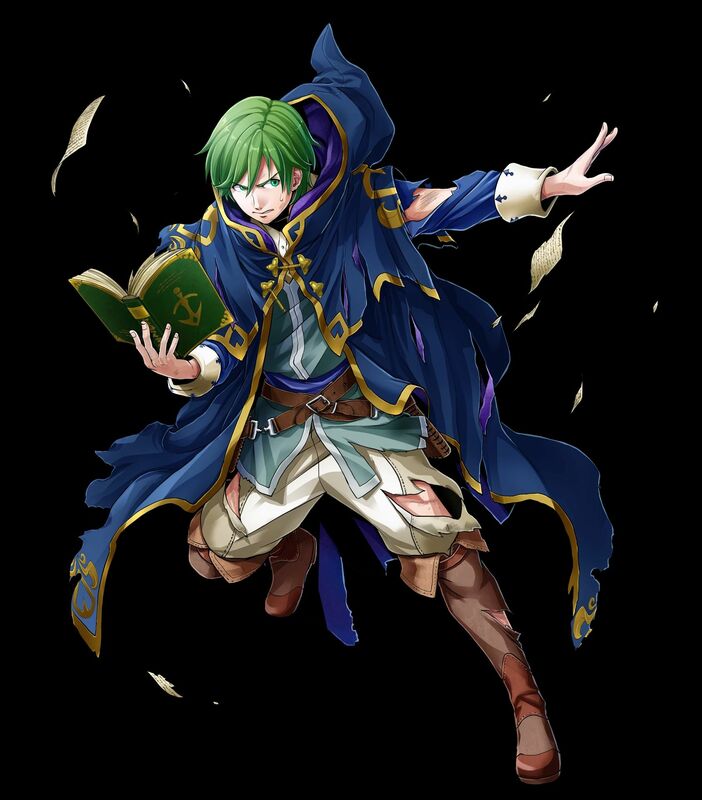 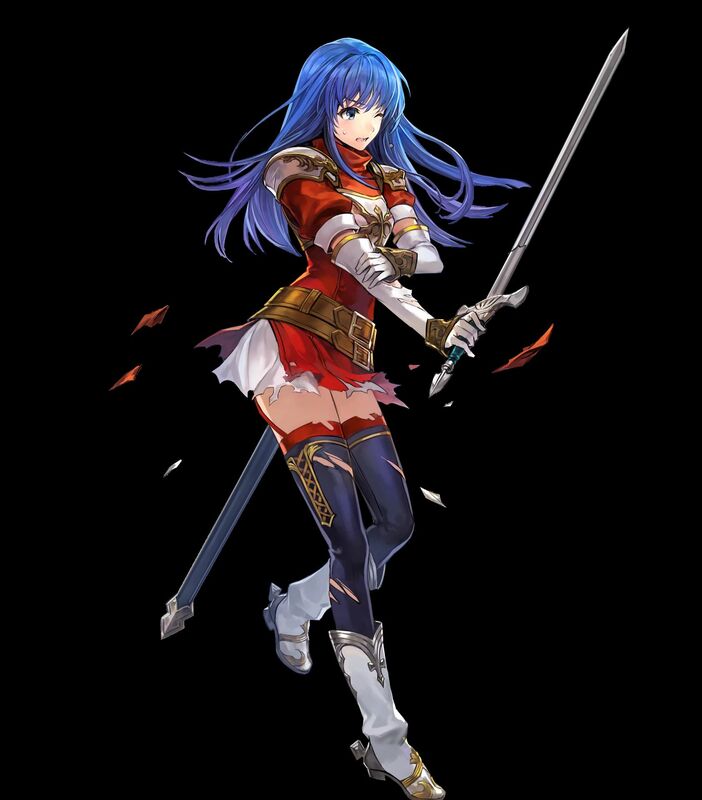 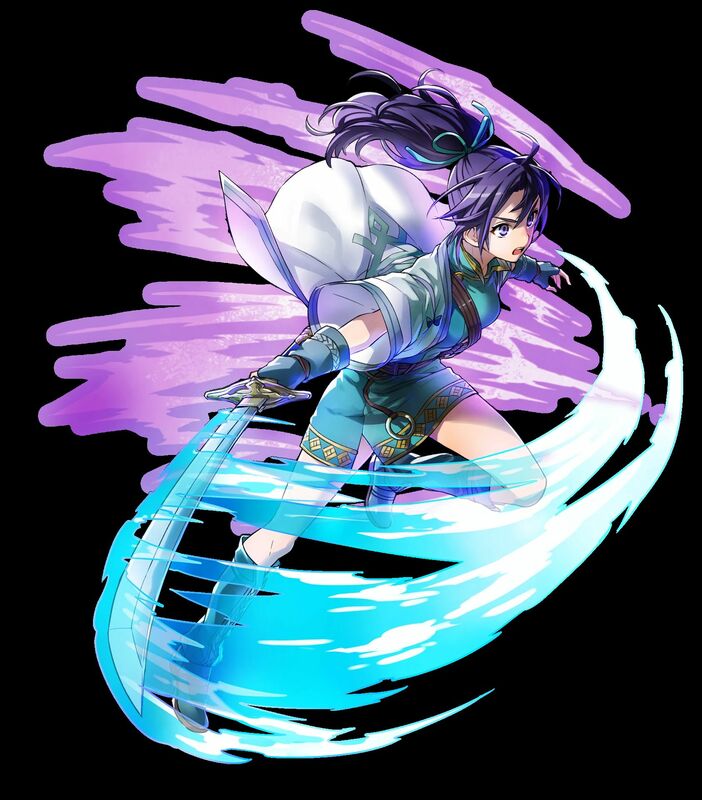 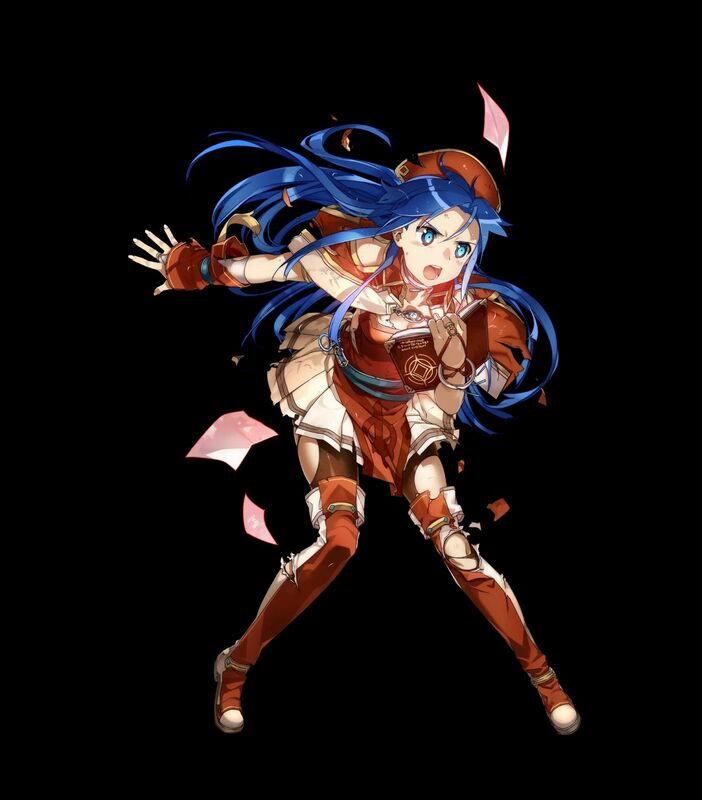 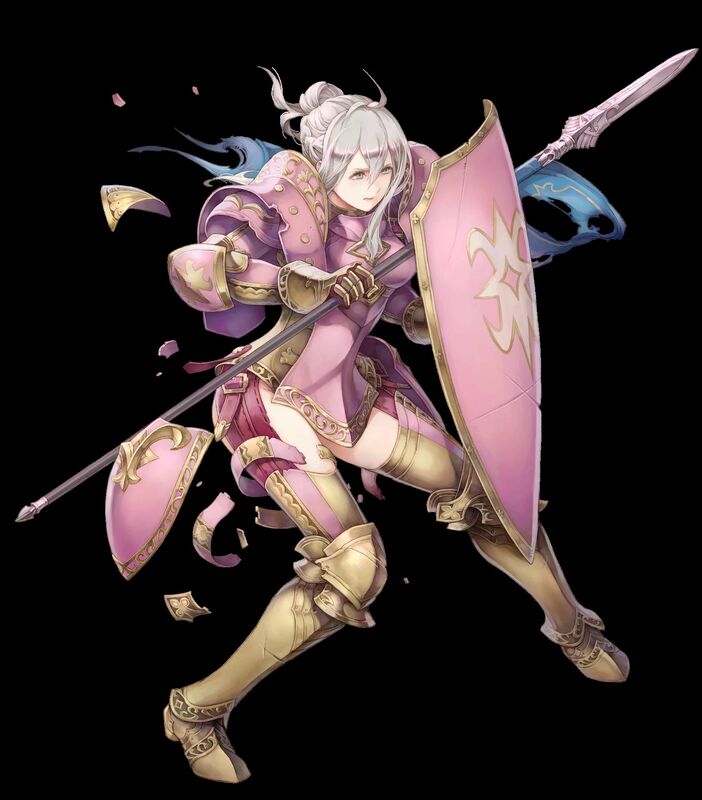 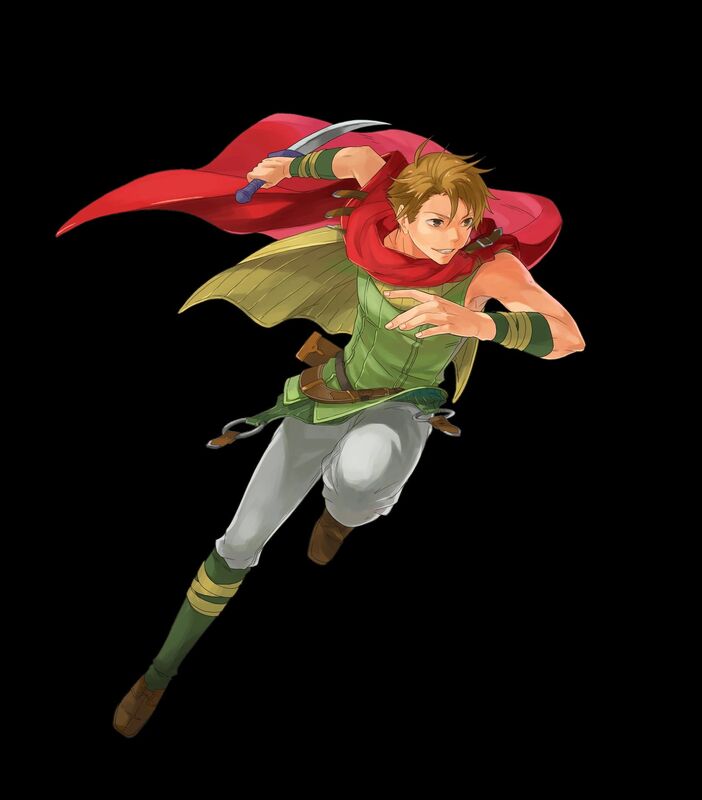 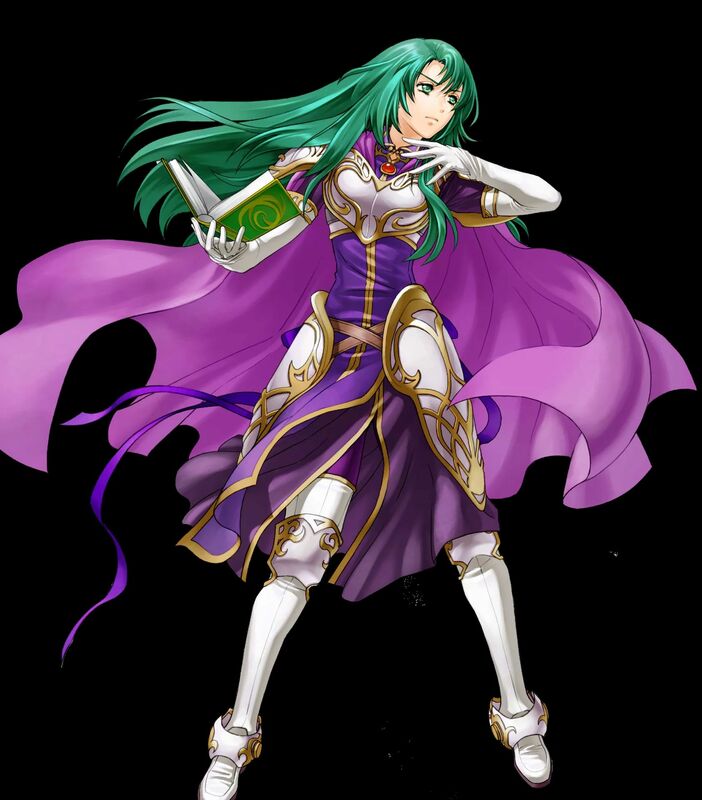 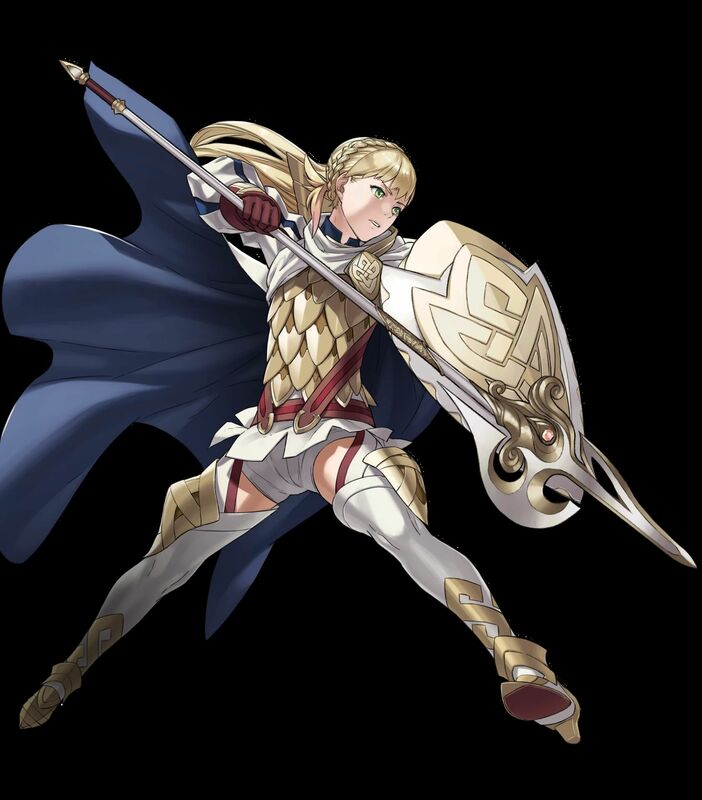 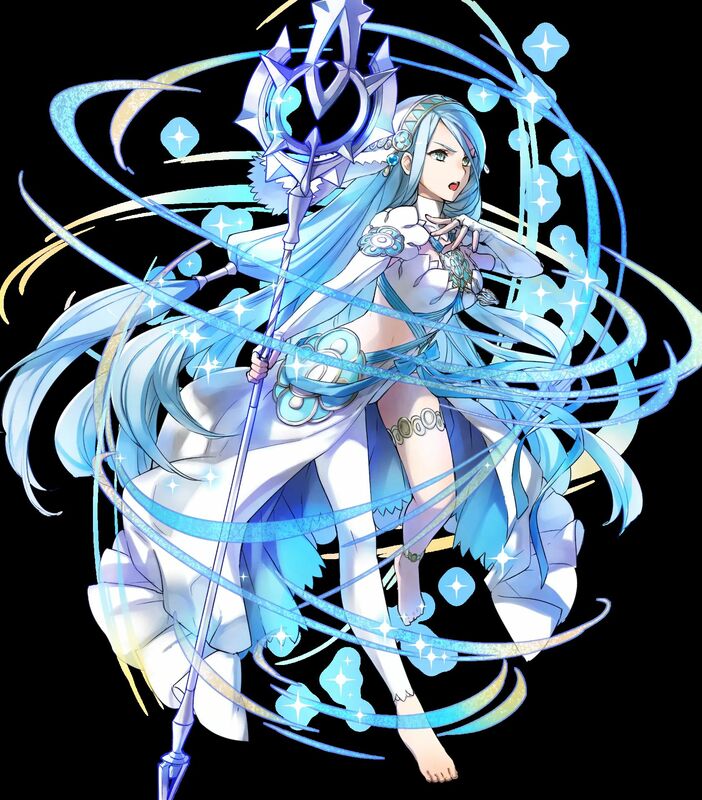 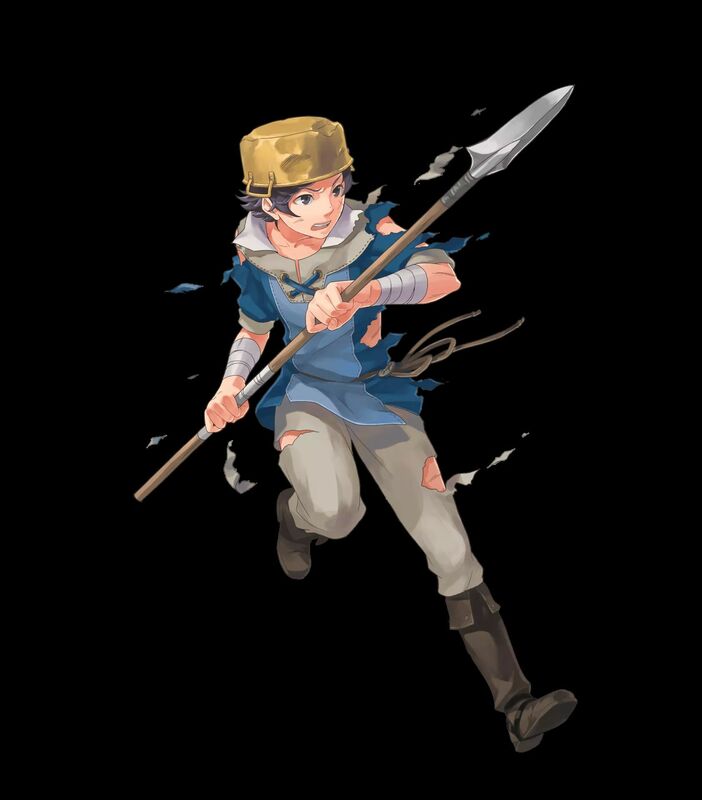 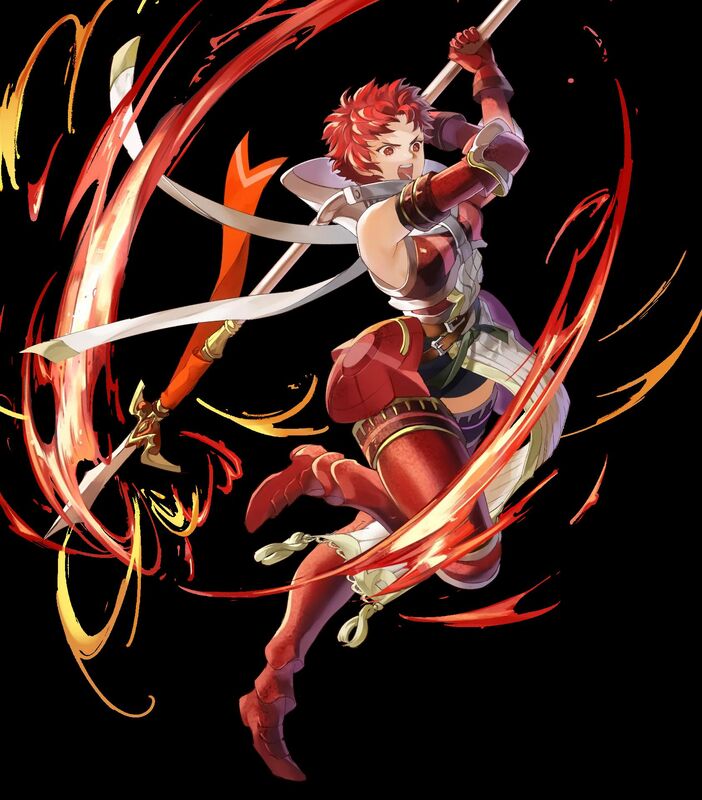 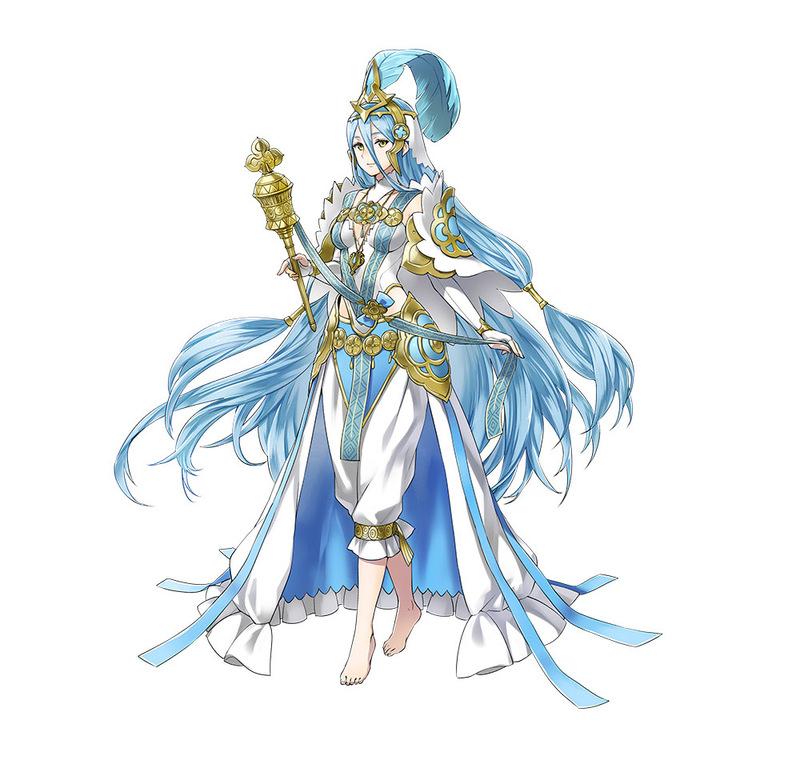 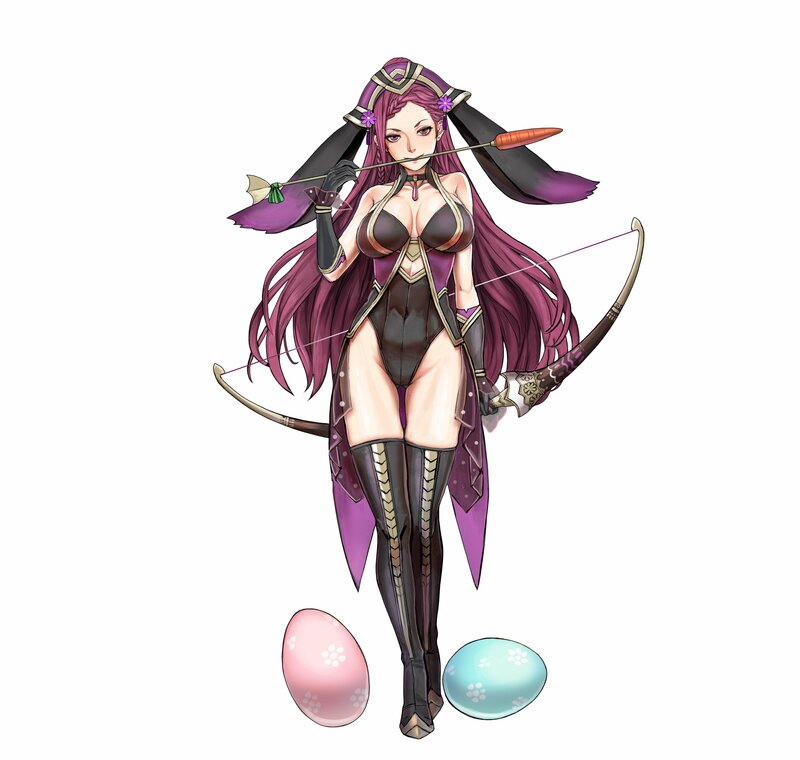 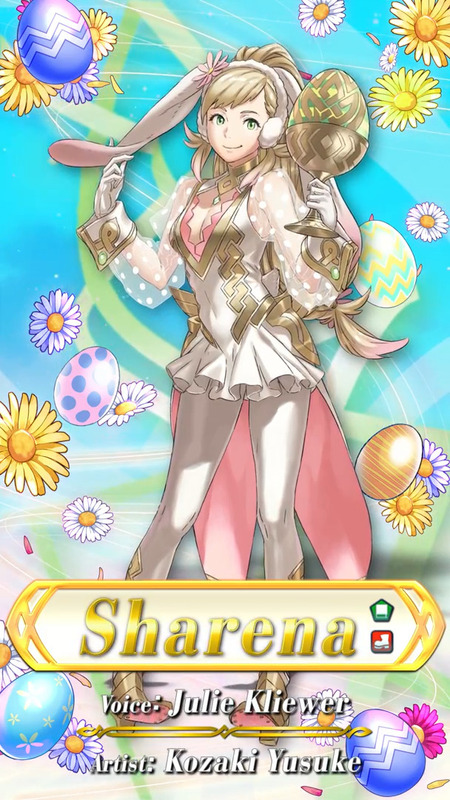 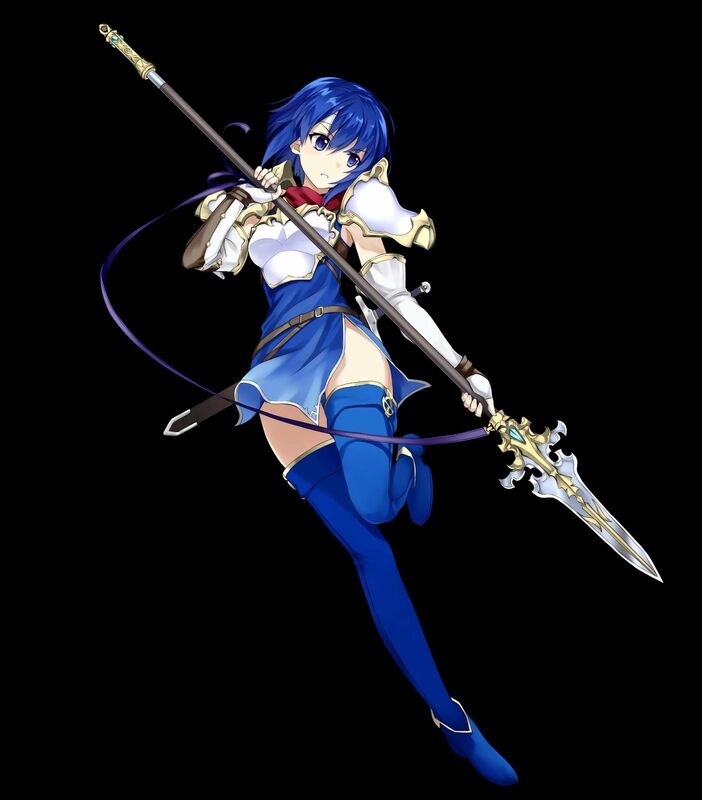 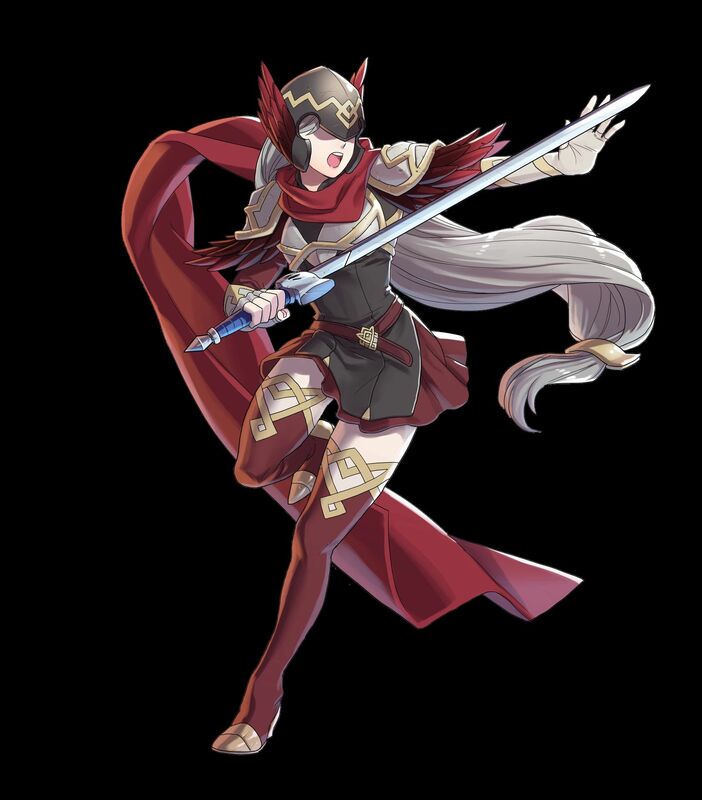 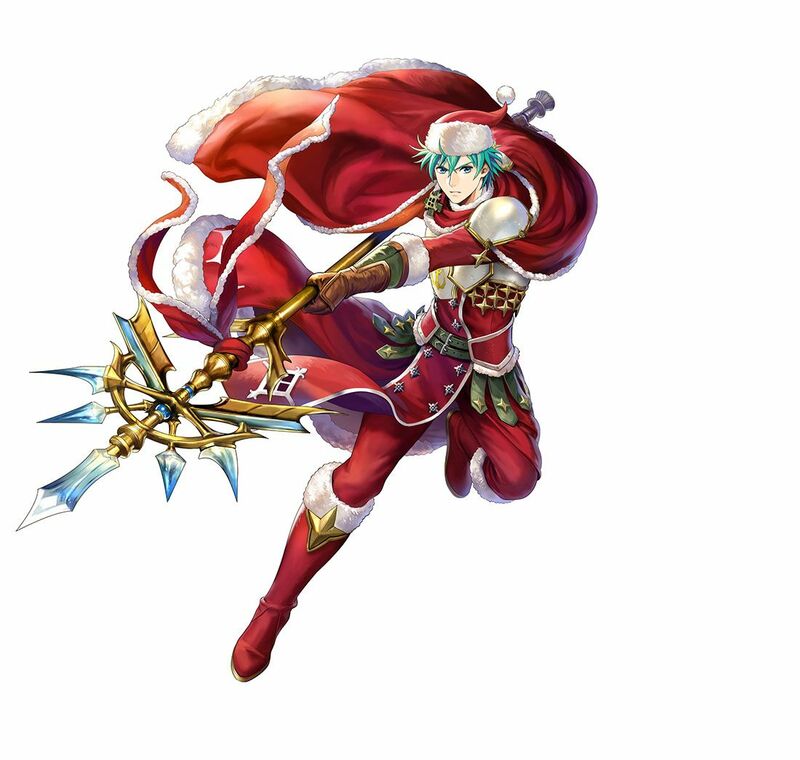 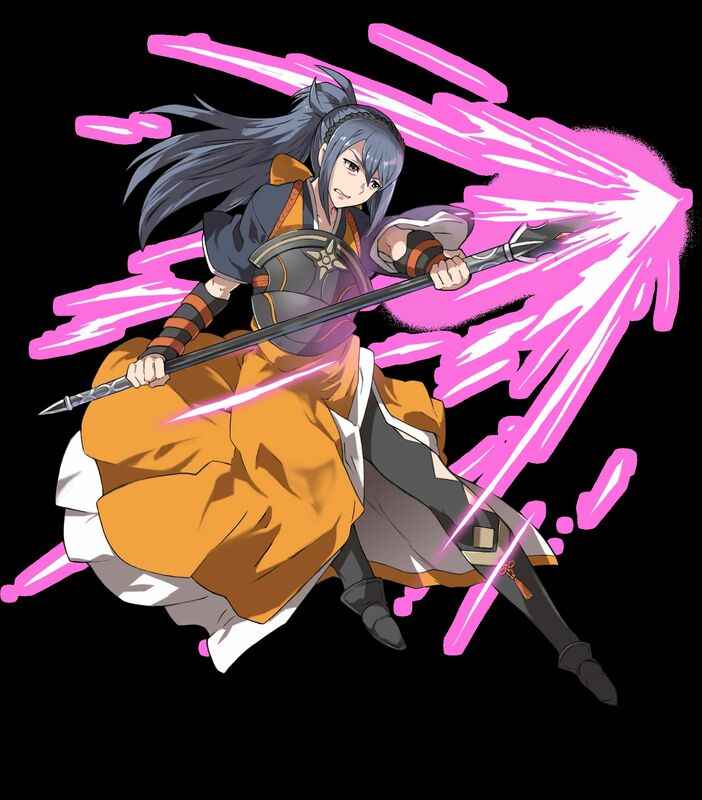 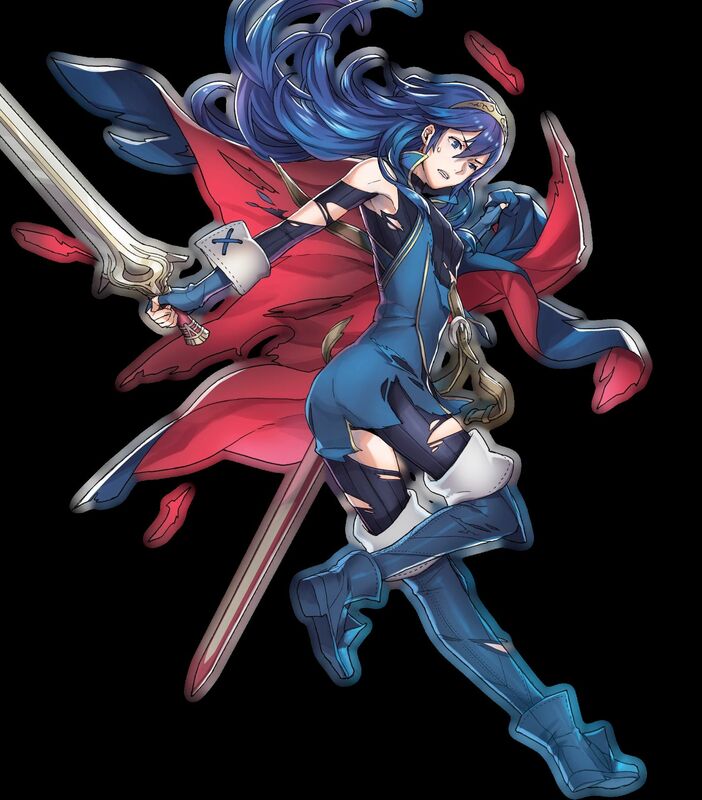 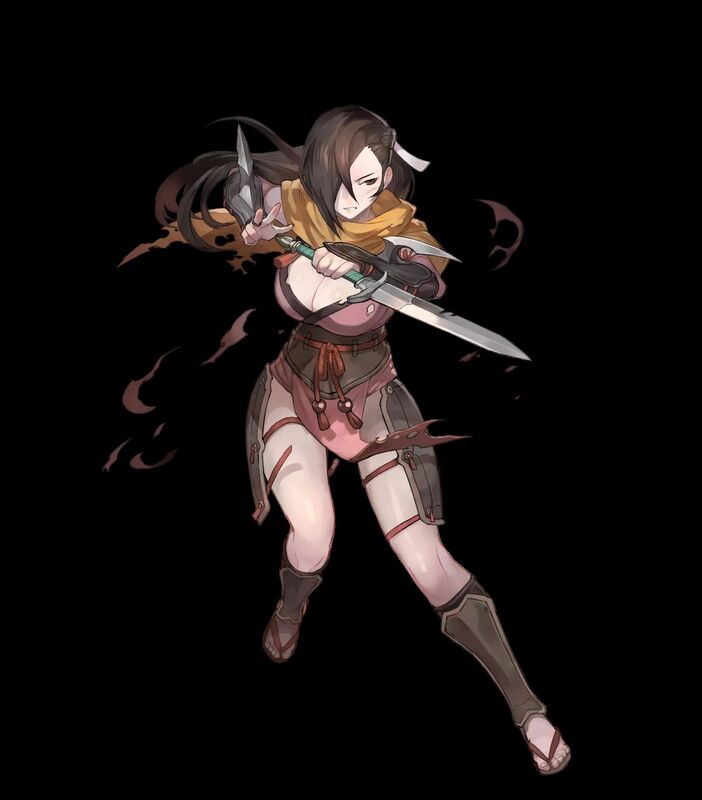 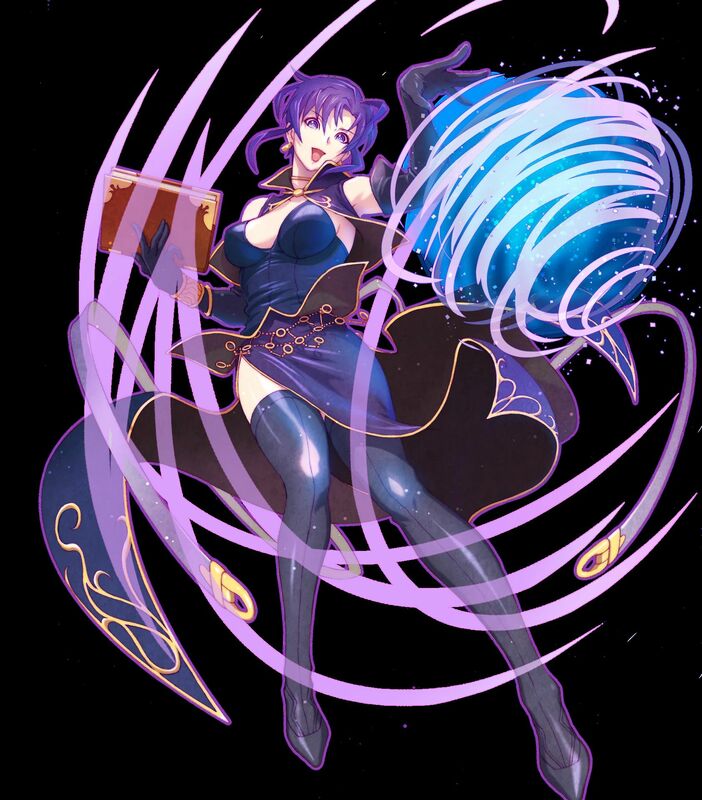 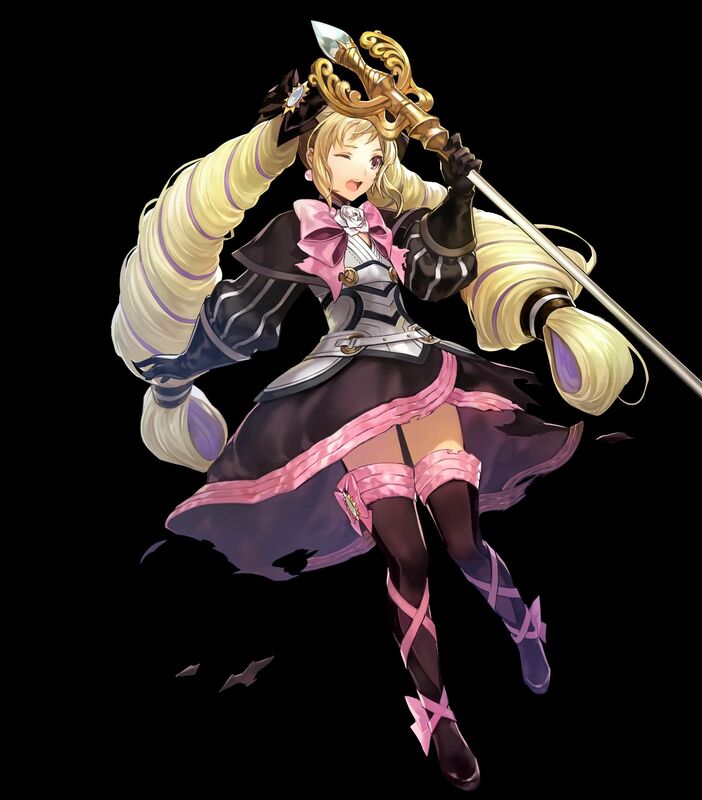 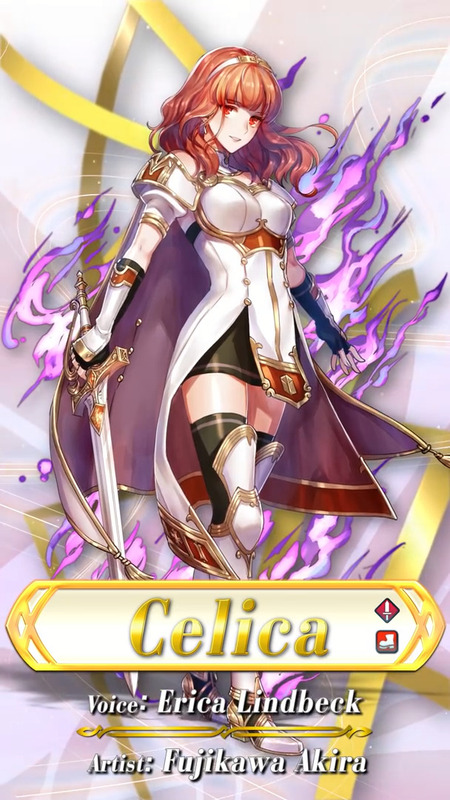 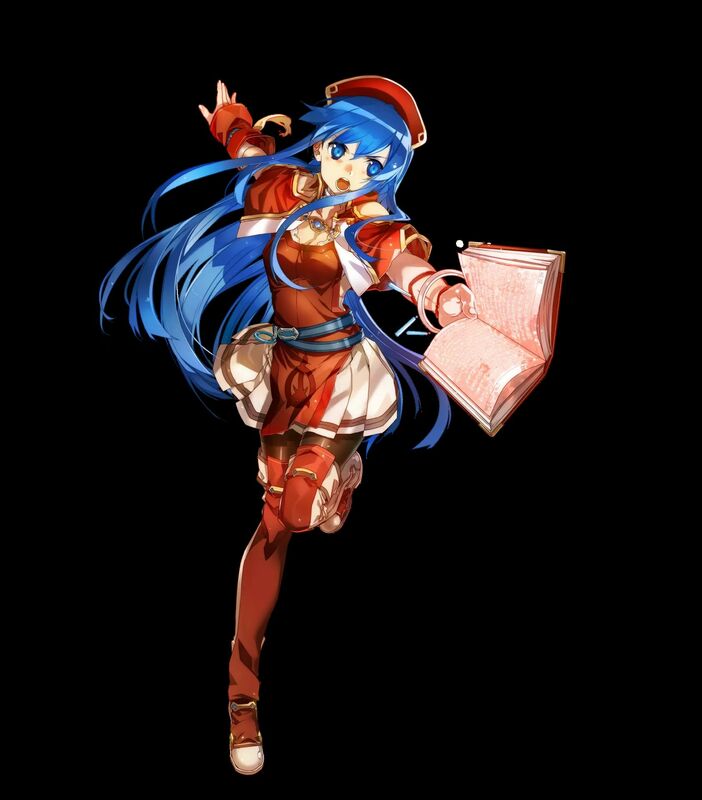 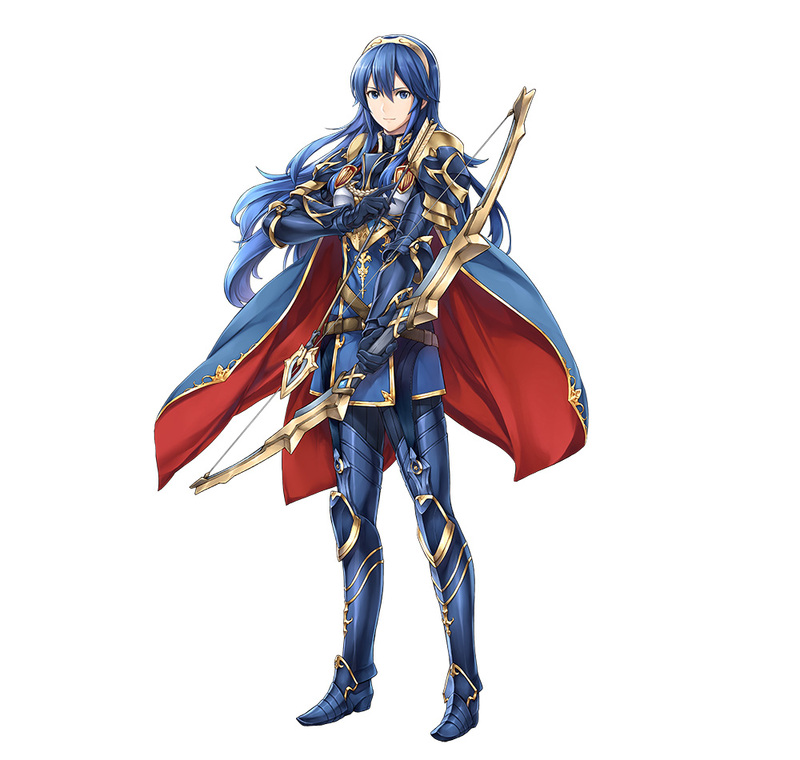 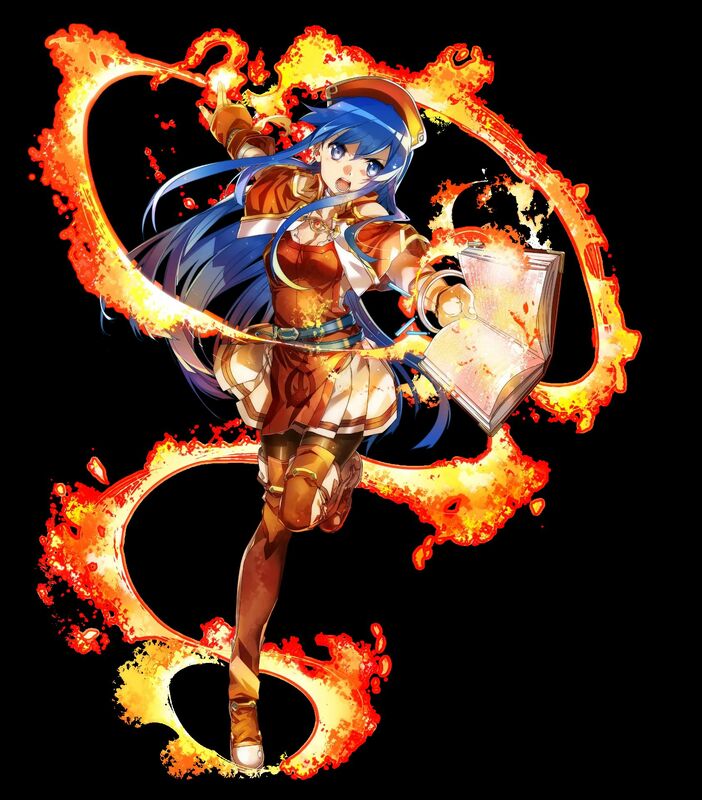 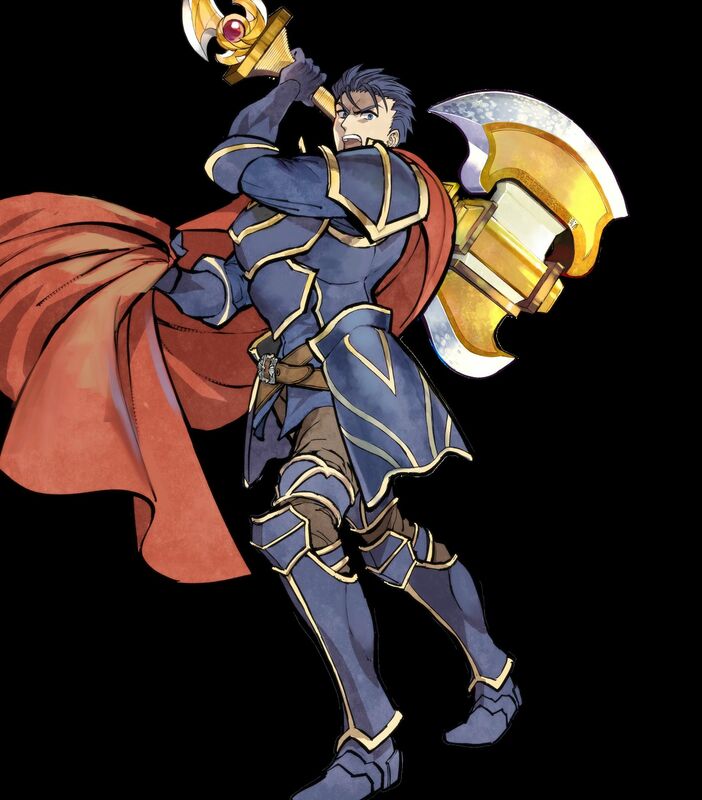 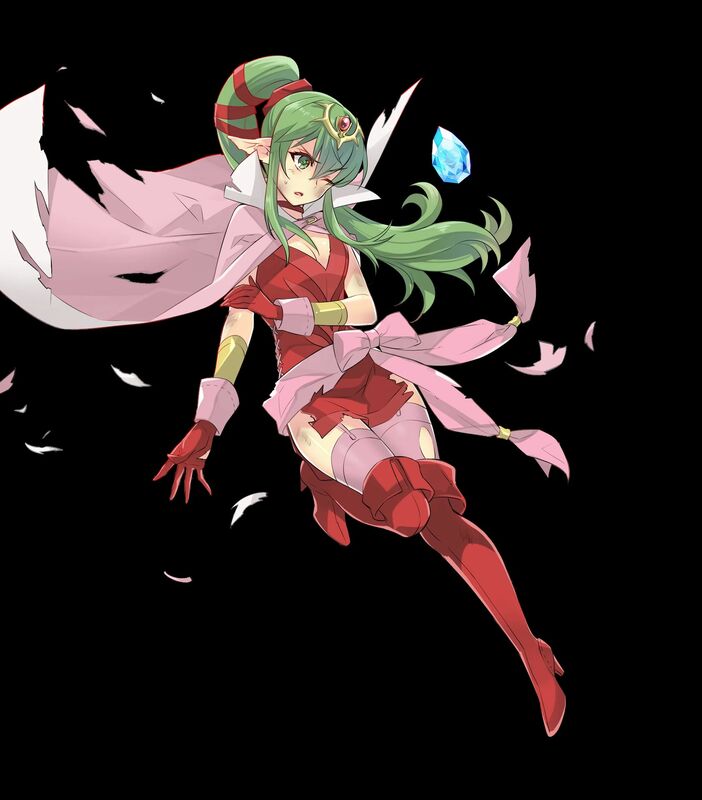 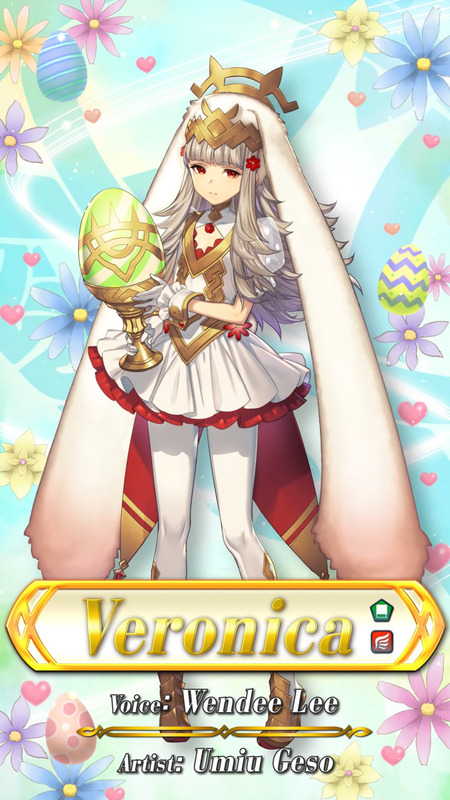 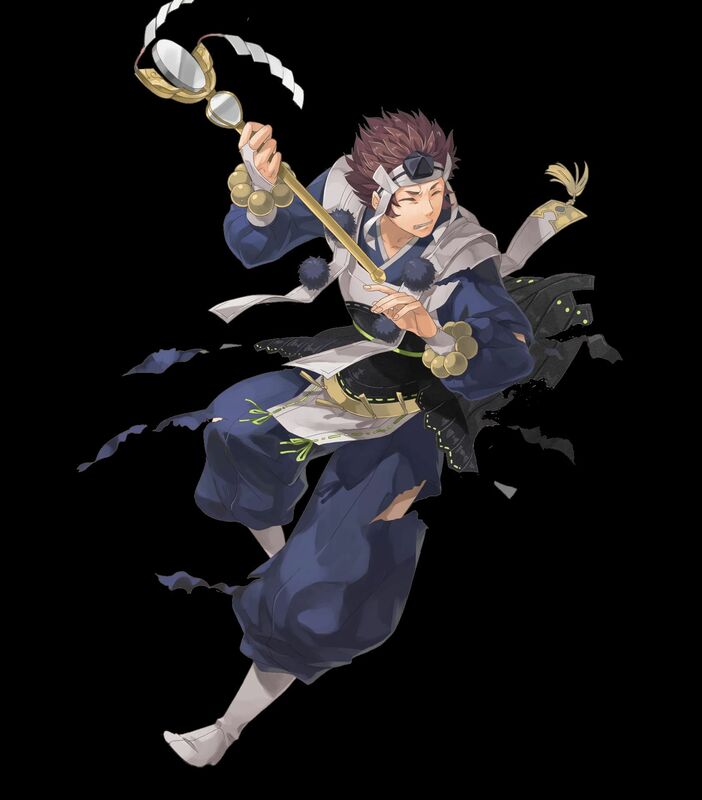 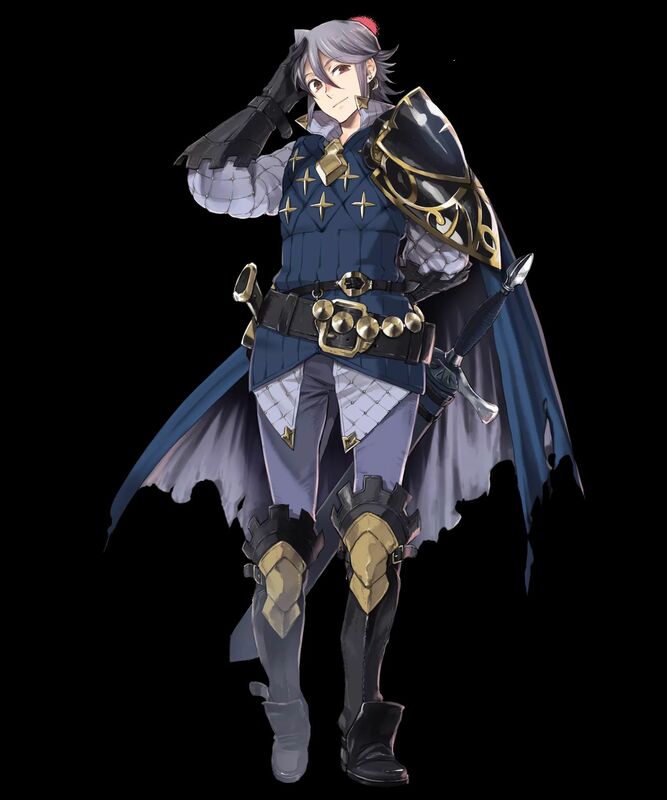 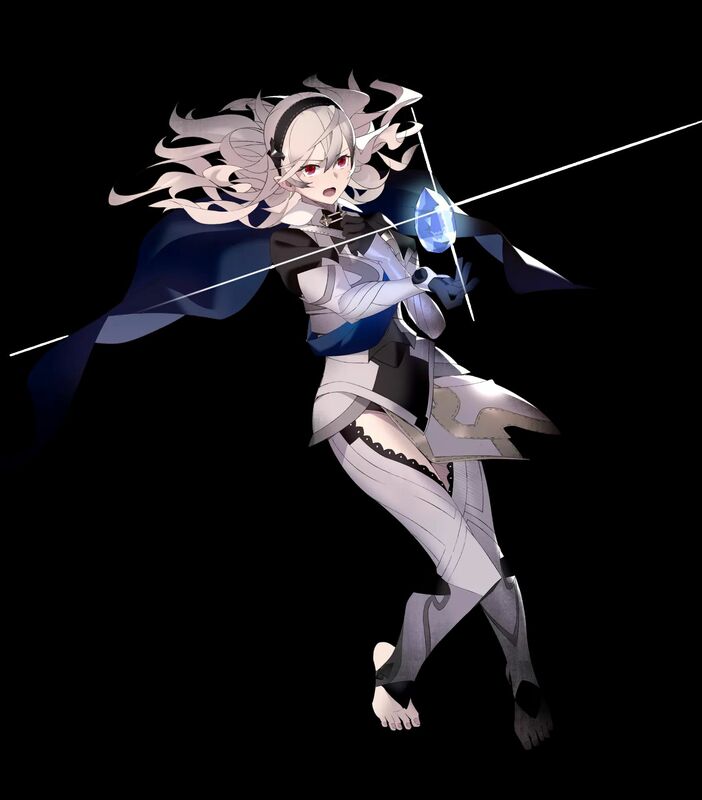 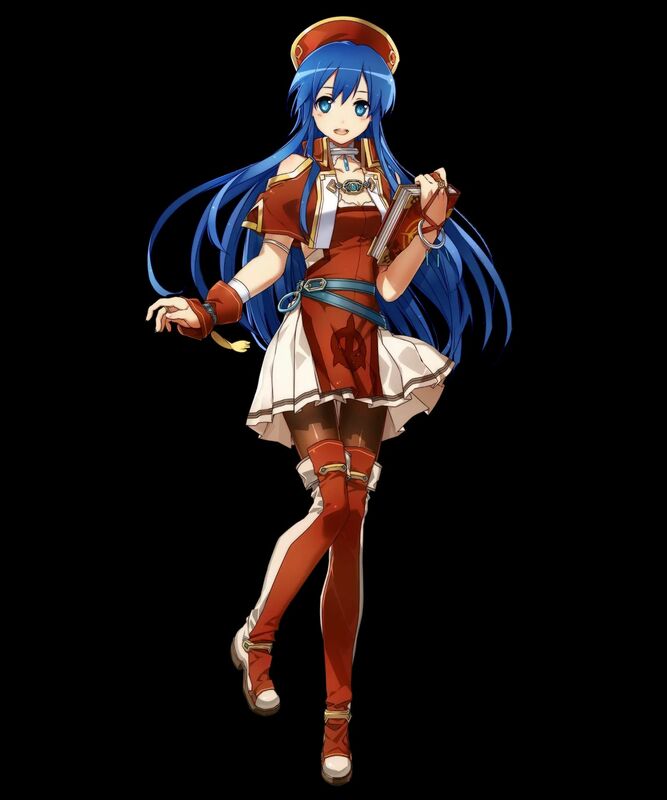 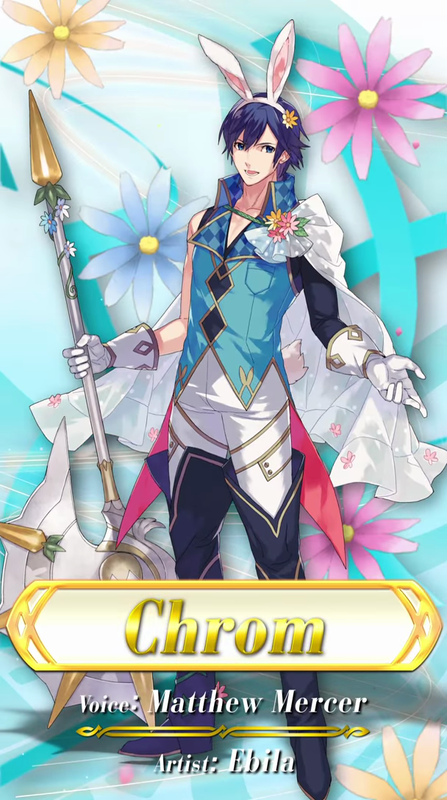 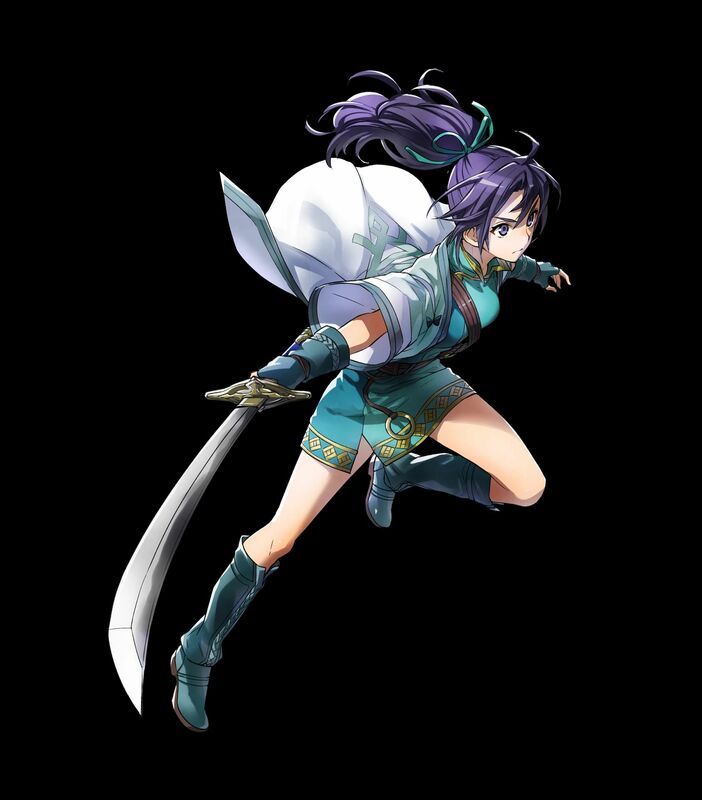 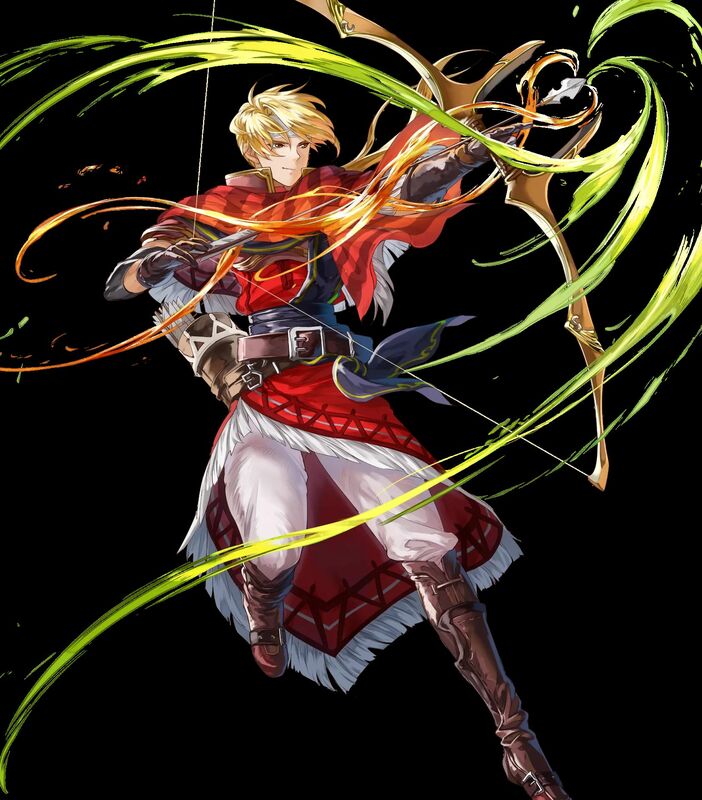 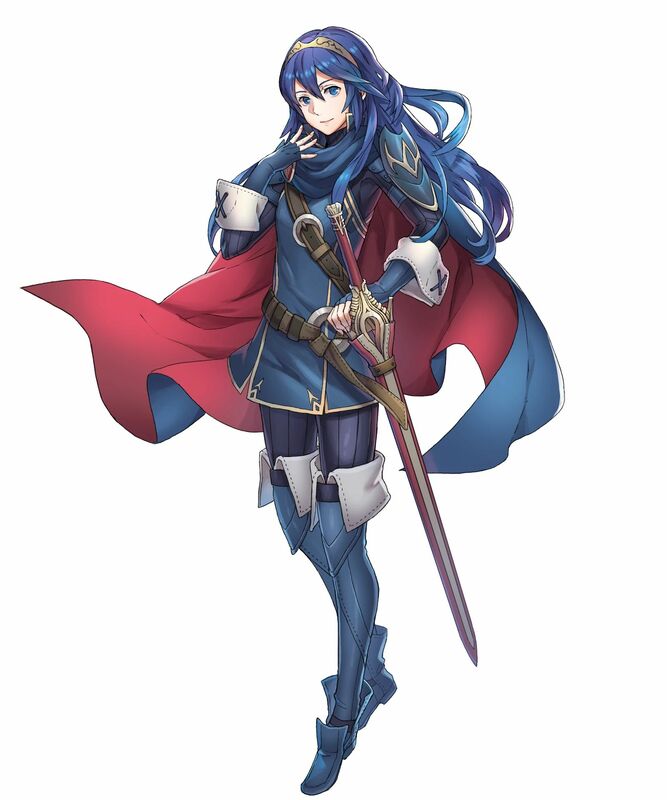 On this page, we’re going to list all the characters confirmed so far for Fire Emblem Heroes (on Android and iOS), allowing you to see who you will be able to get in the game (along with details such as their VA or artist). 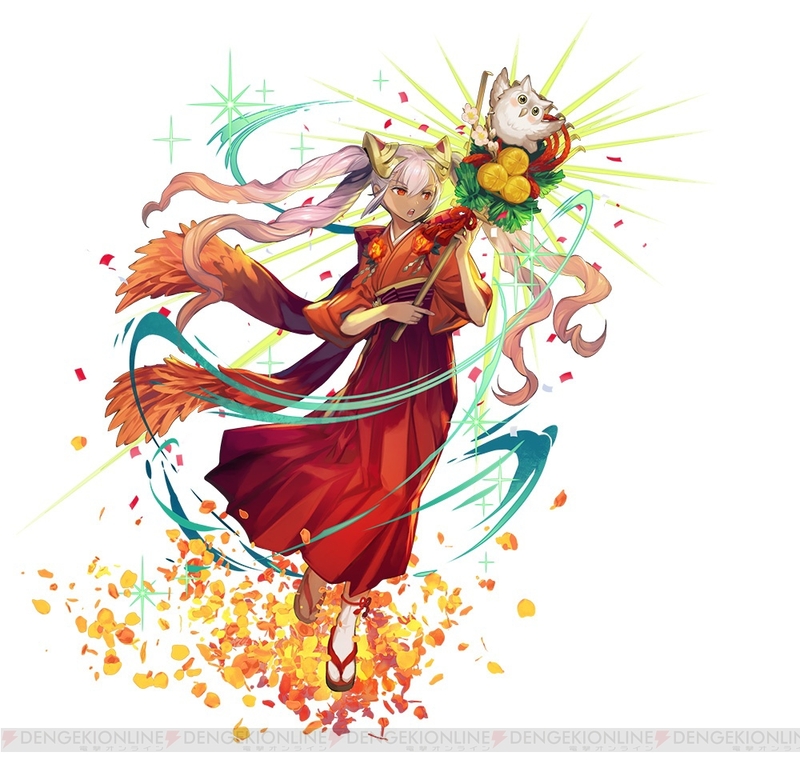 We’re also keeping track of the games the characters are from! 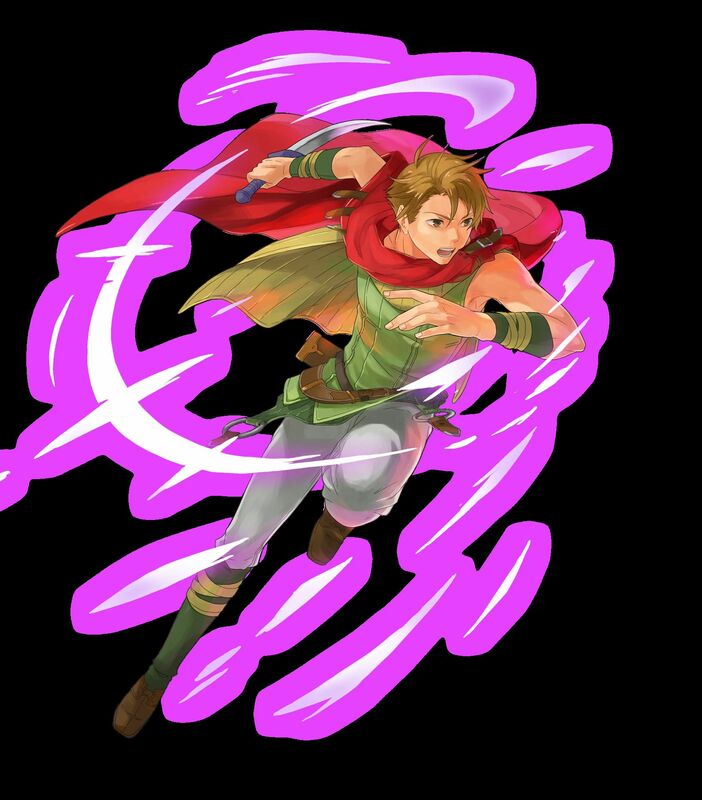 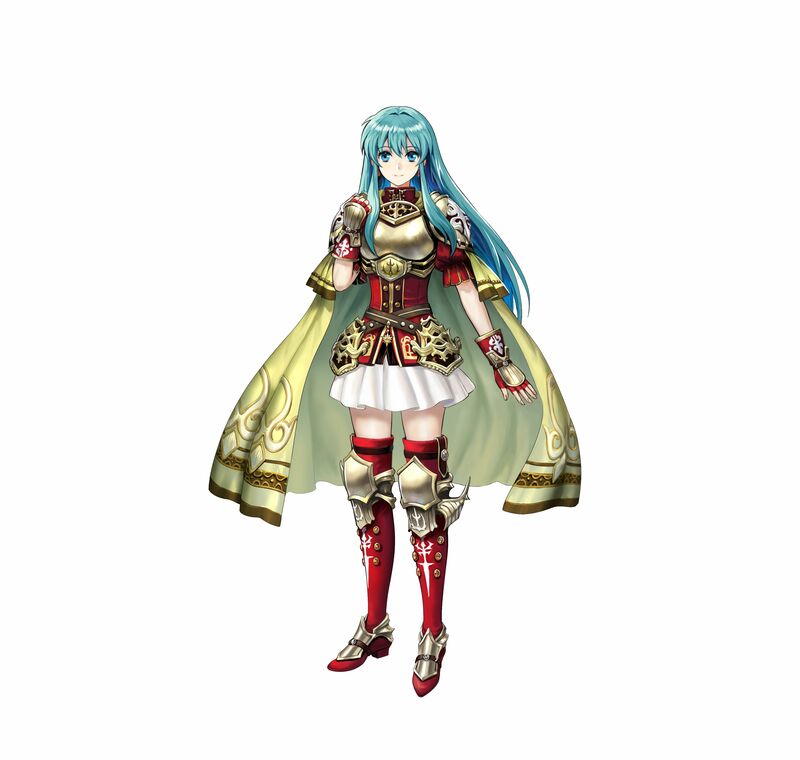 NB: list below includes characters showcased in the Heroes and Heroines trailer, as well as the official website, and official screenshots. 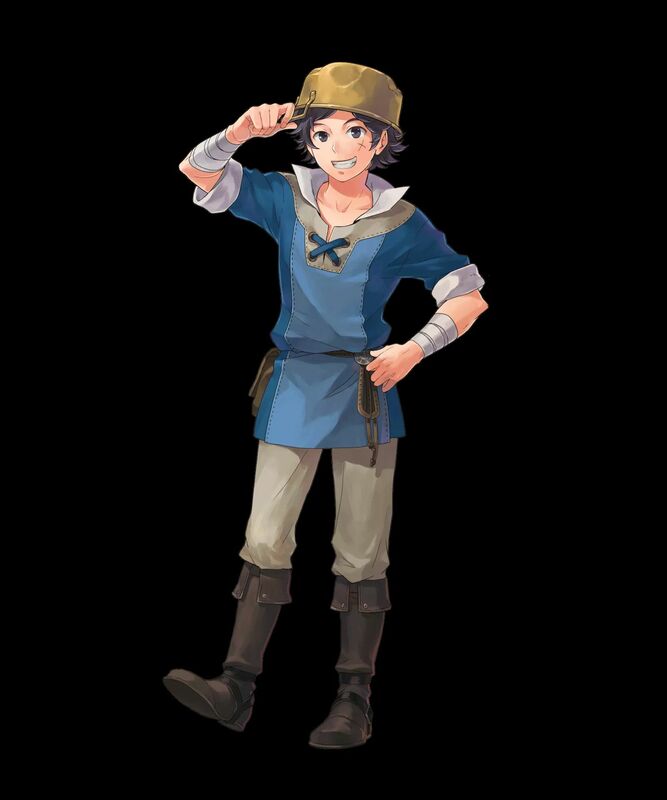 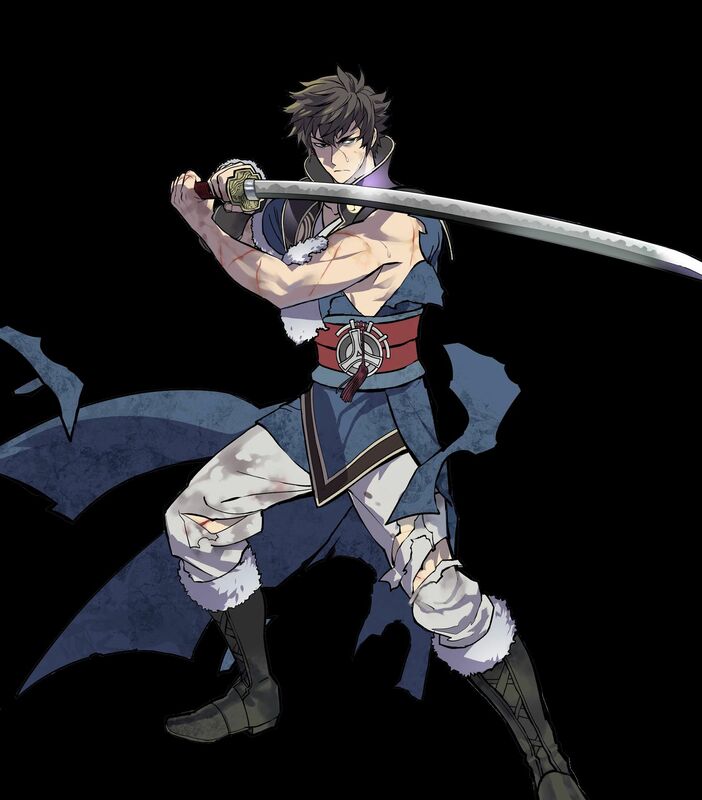 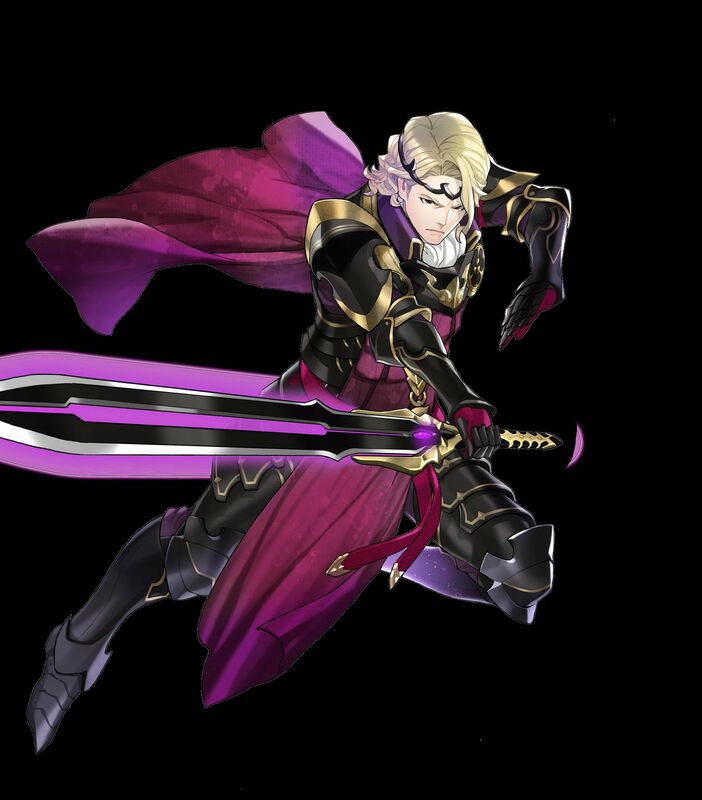 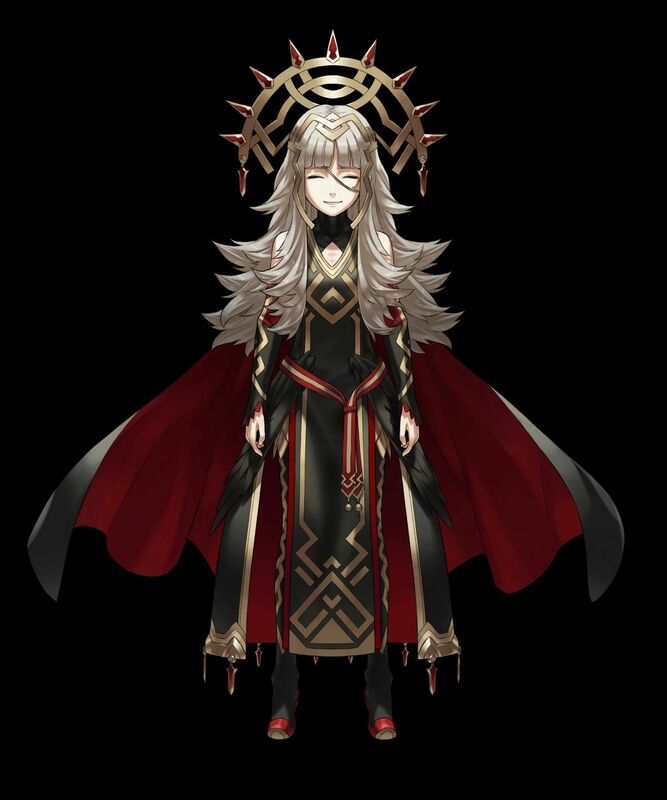 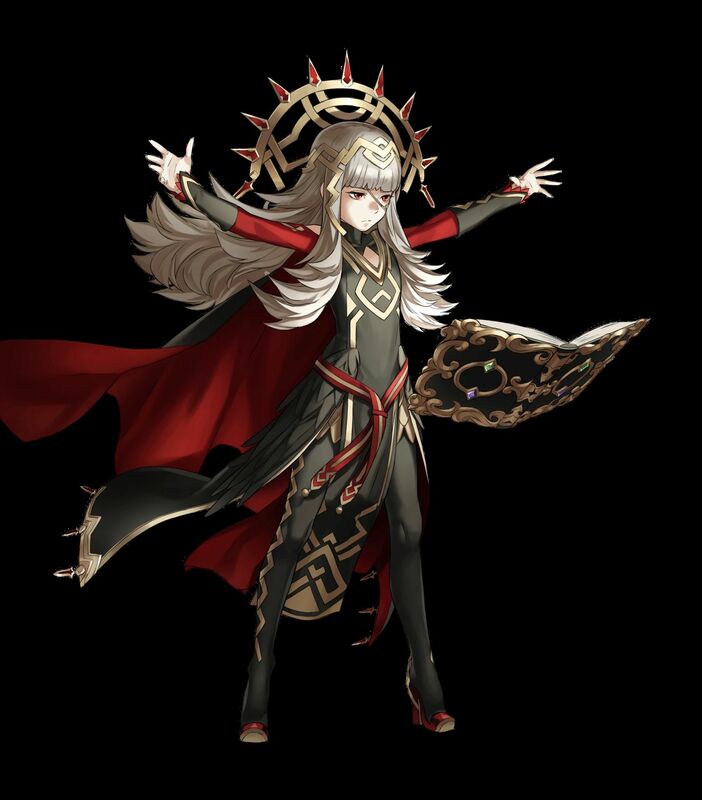 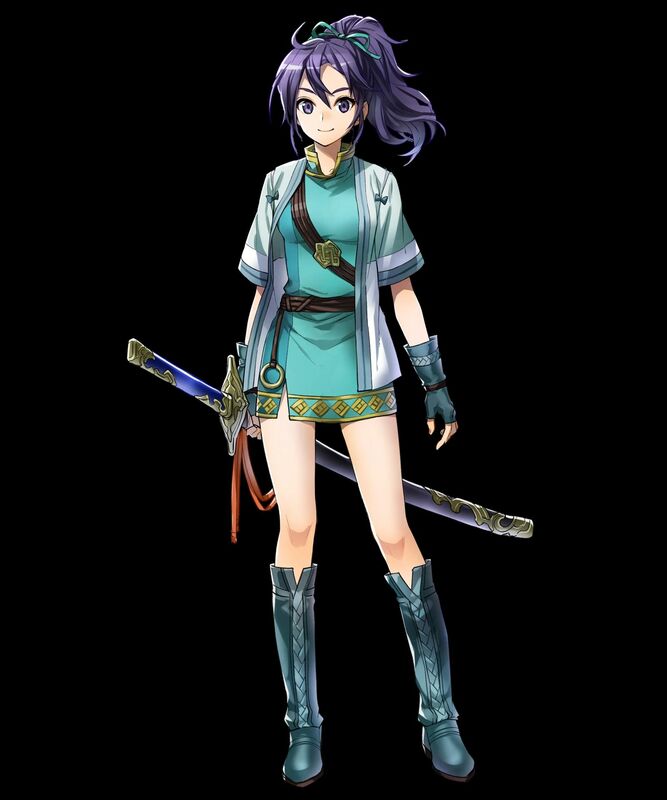 We’re not including those from the first trailer until they’ve been properly introduced, even though they’re guaranteed to be in (just like pretty much all other Fire Emblem characters). 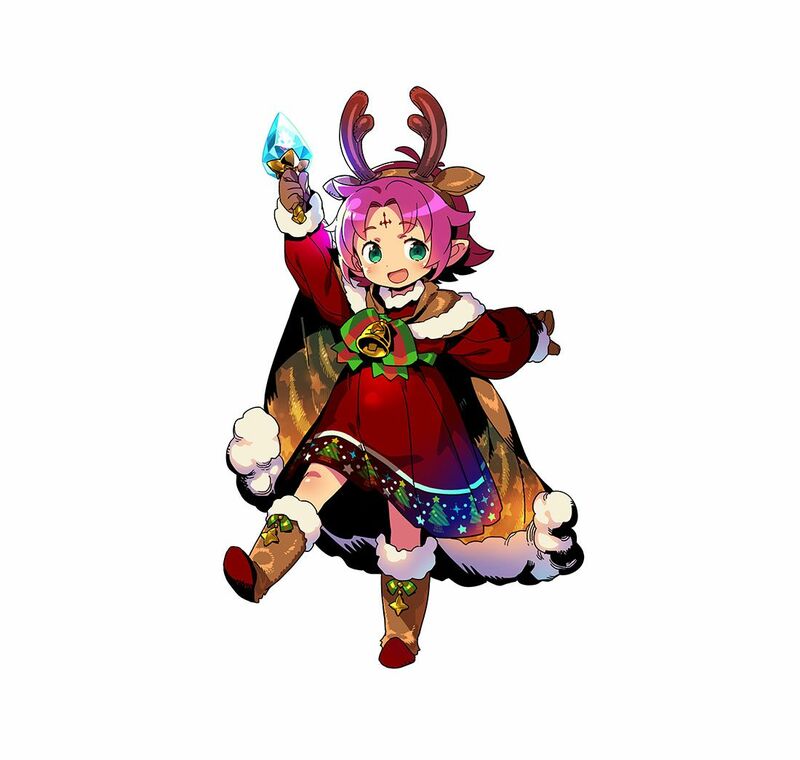 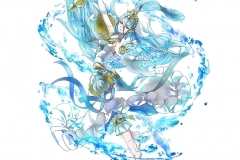 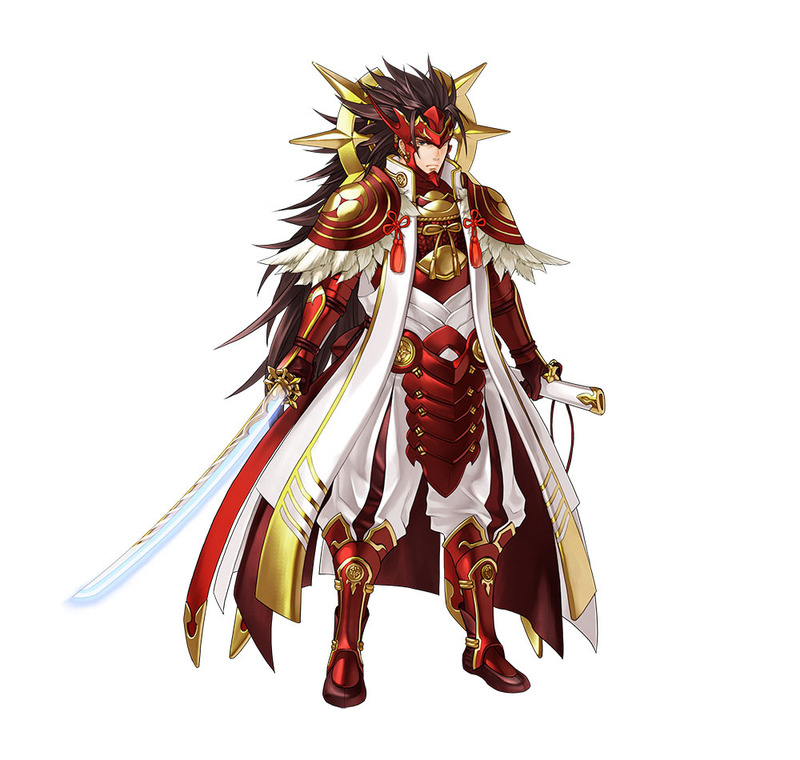 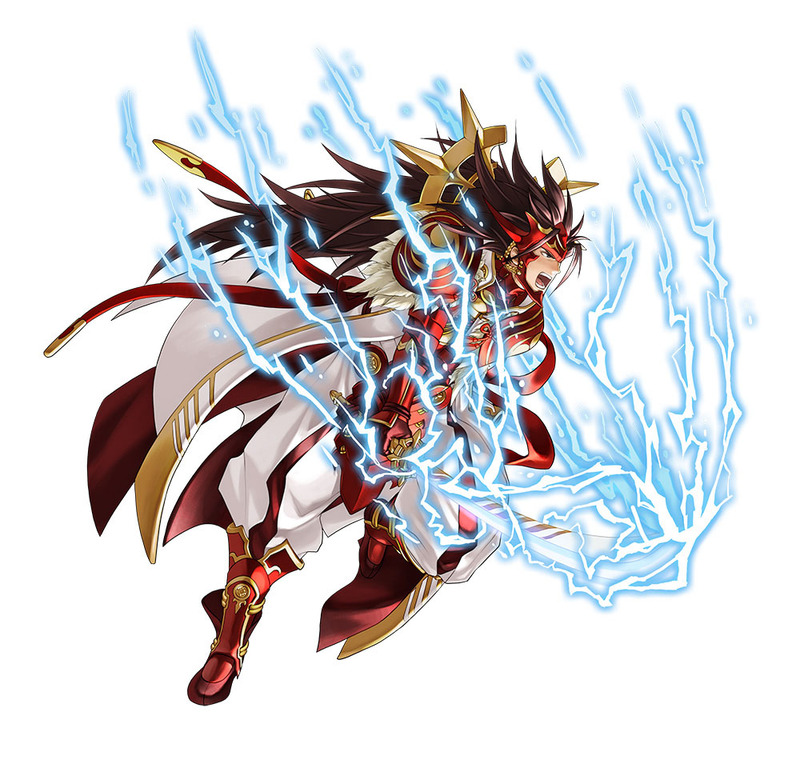 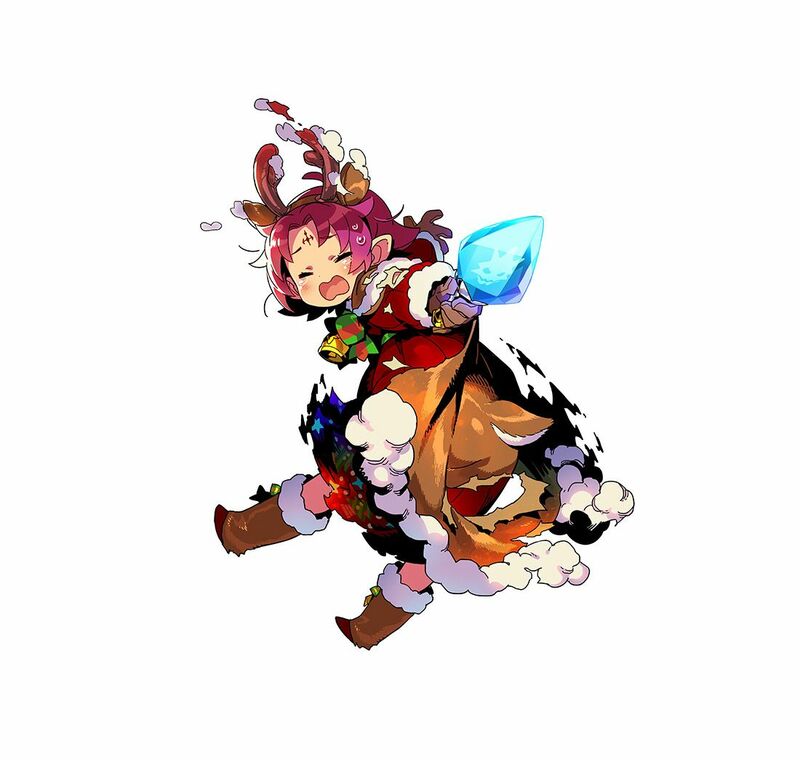 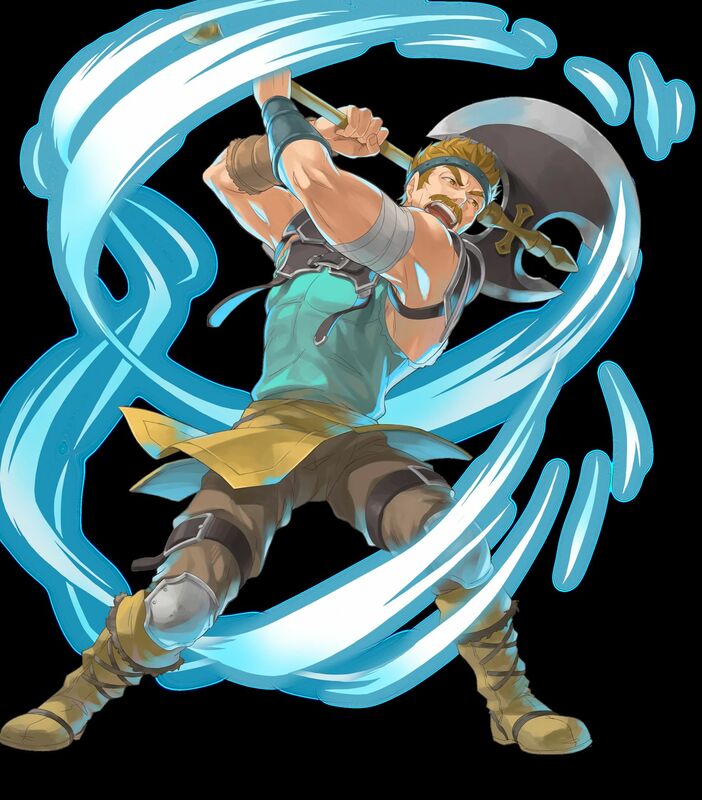 Click on one of the following links to jump to the relevant section: Current Summoning Focus events and Quests / Heroic Grails / Daily Hero Battles / Daily Grand Hero Battles / Mythic Heroes / Legendary Heroes / Special Heroes / Regular Heroes. 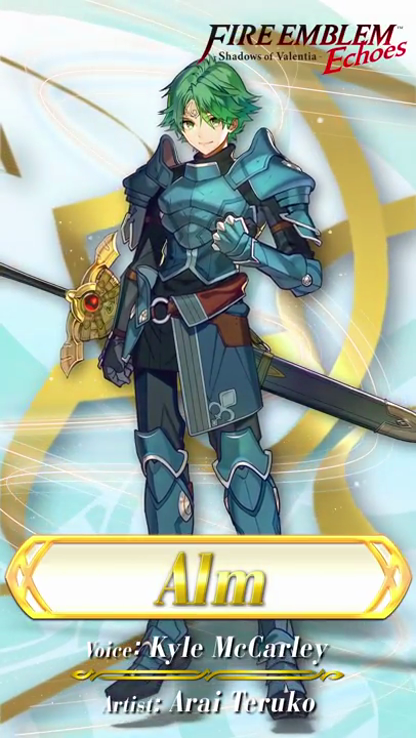 About ranks: the rank indicated next to a character’s name indicates its max. 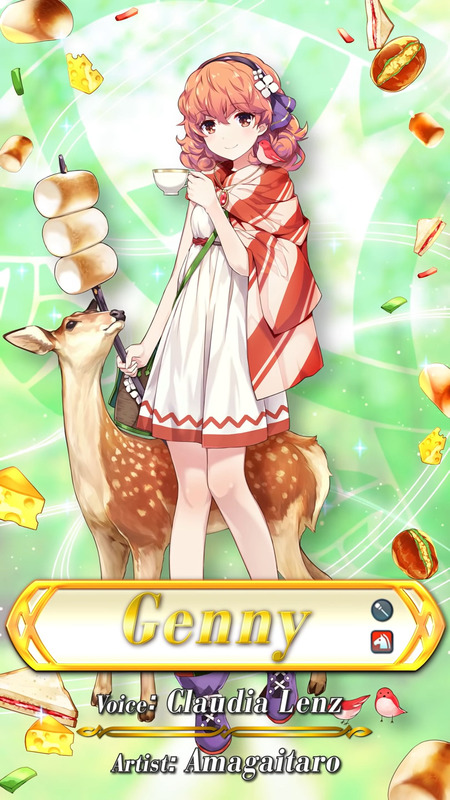 rank. 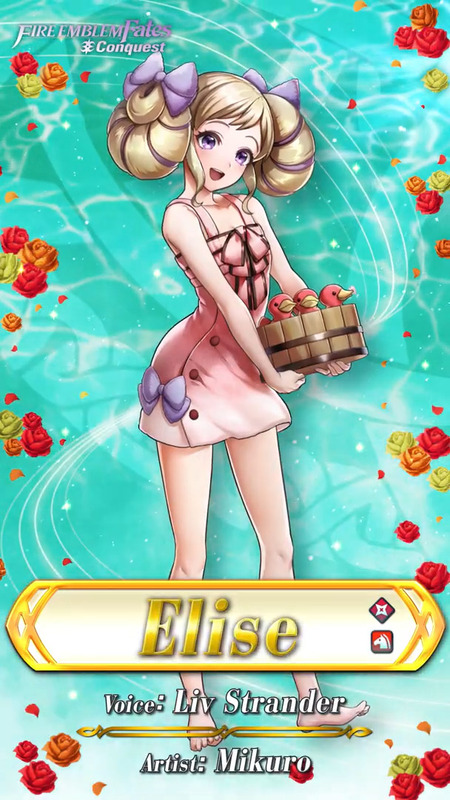 It can also be found in lower ranks, but not higher. 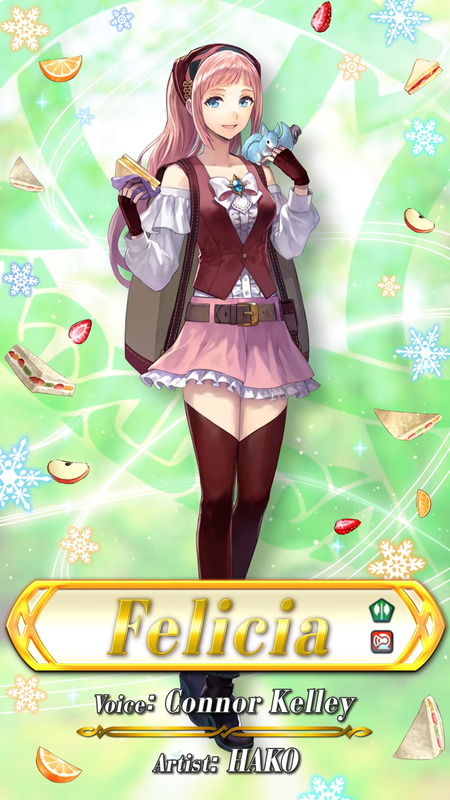 The [5 ★] Focus rank is for characters showcased in a specific set (see below for more details). 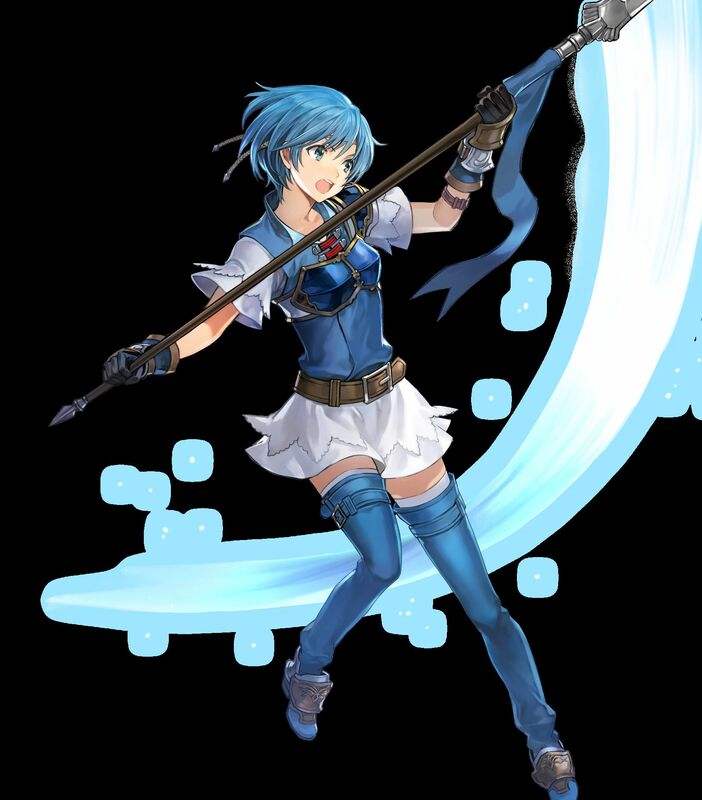 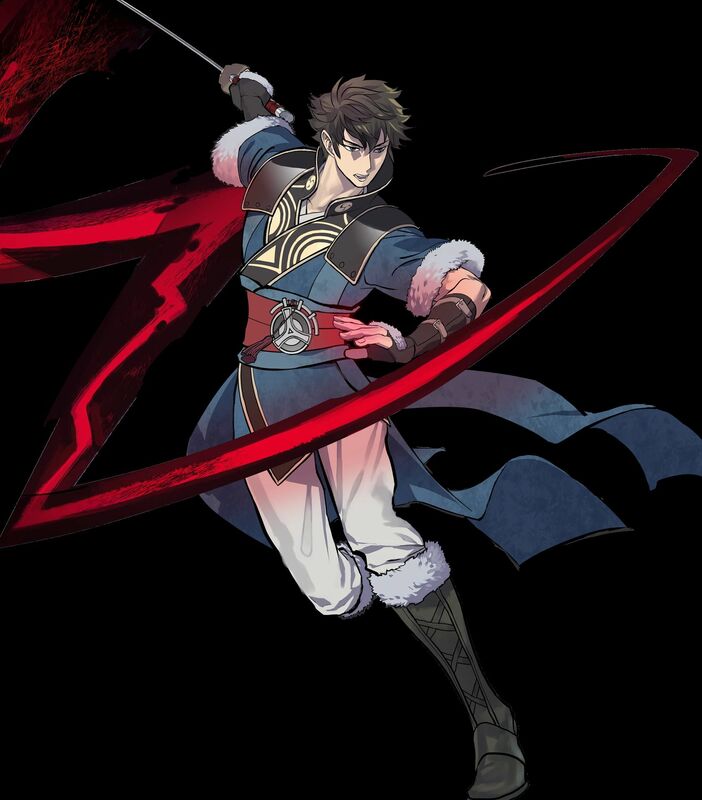 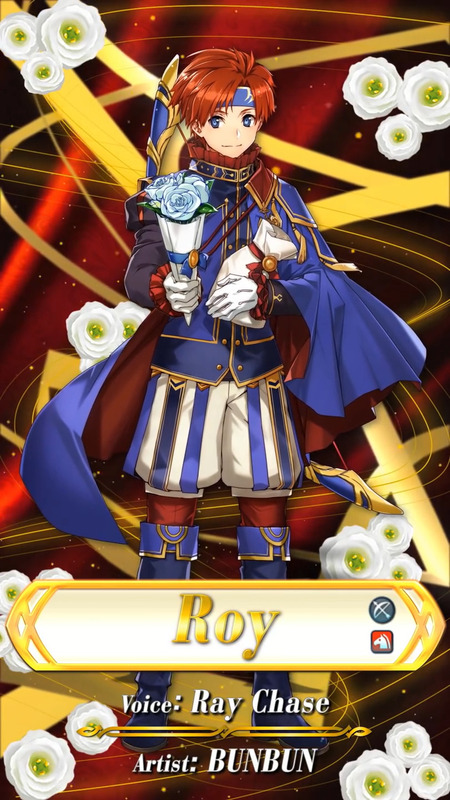 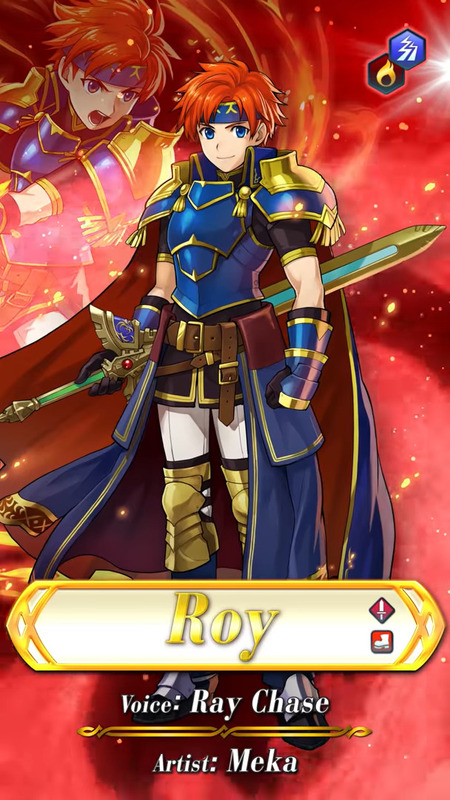 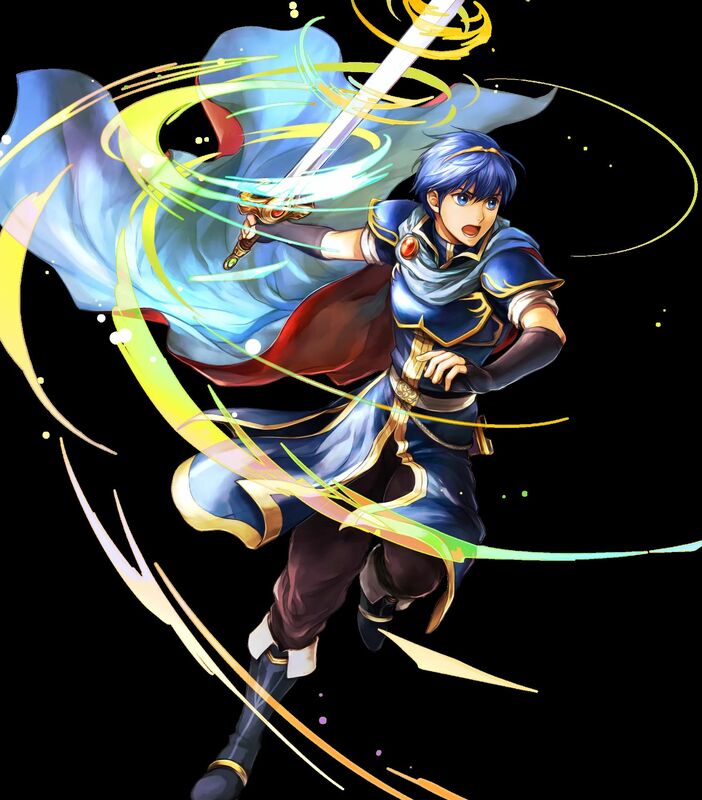 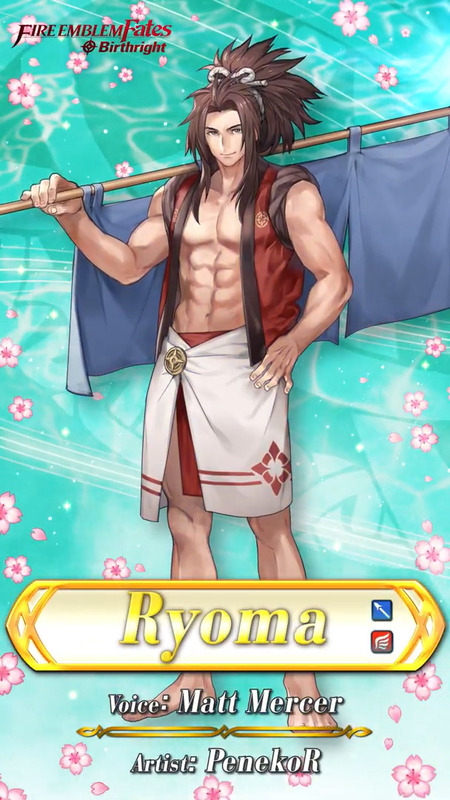 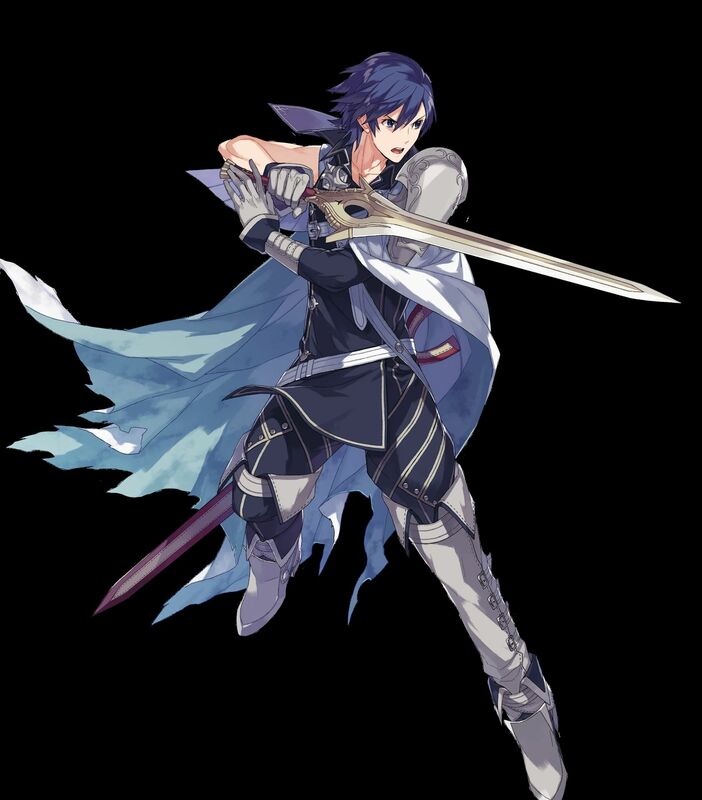 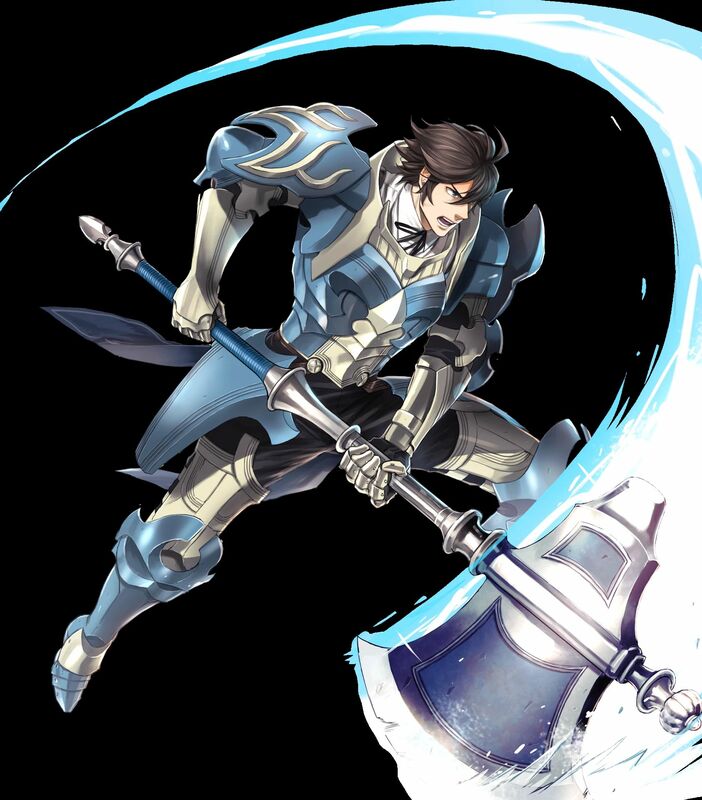 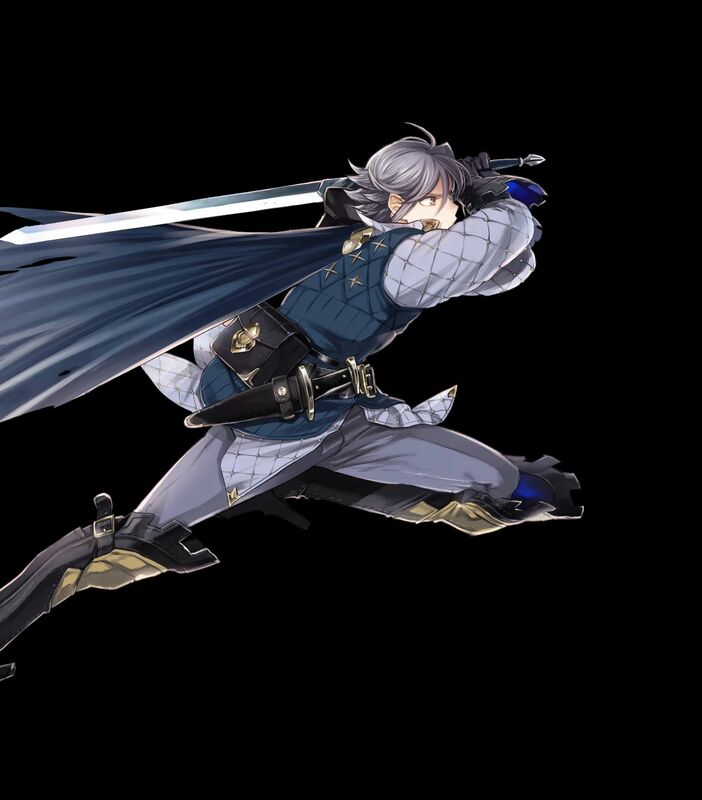 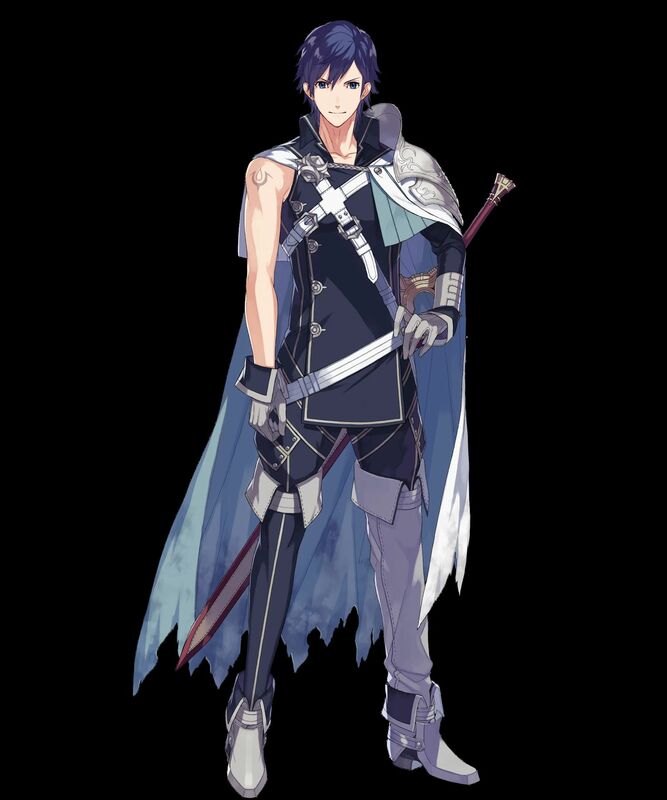 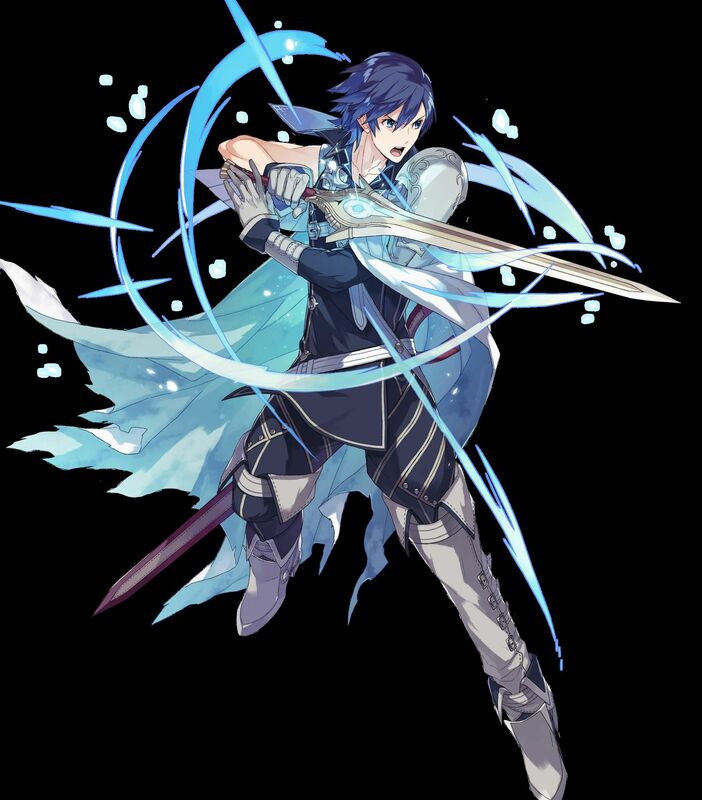 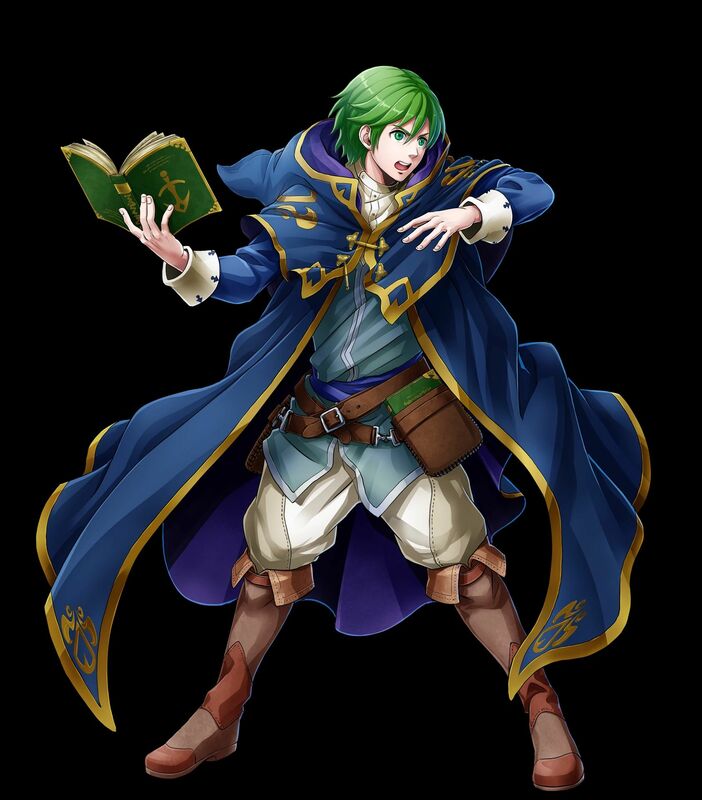 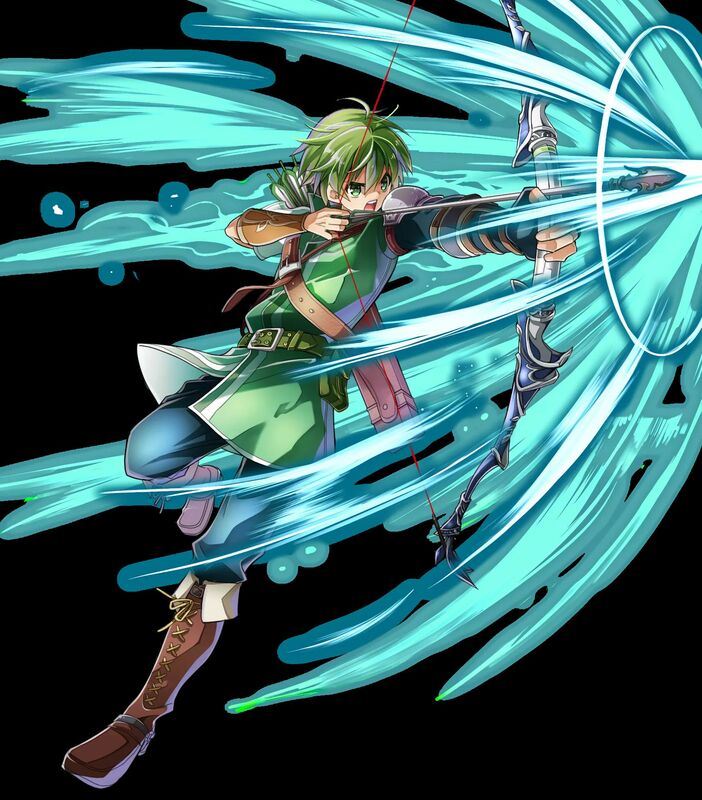 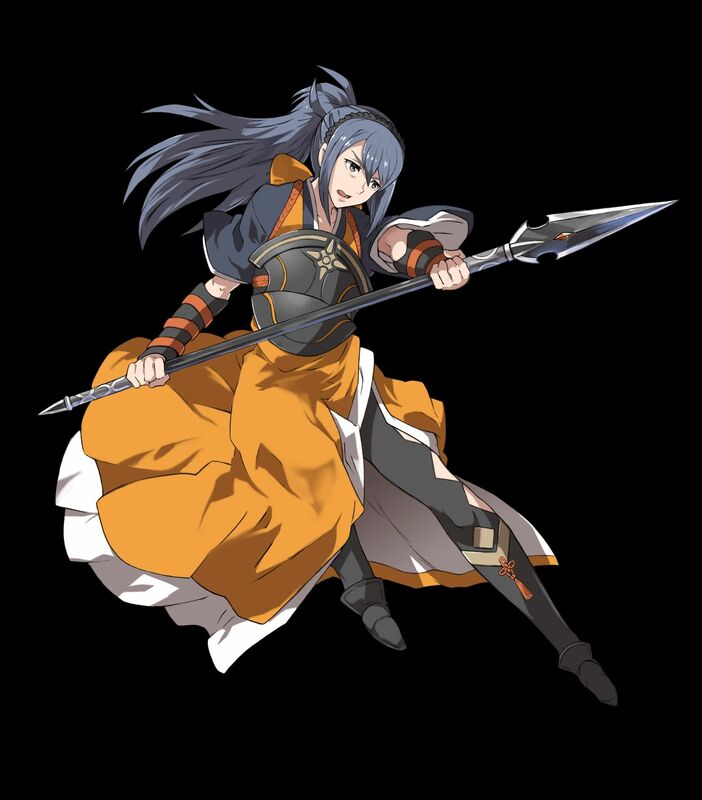 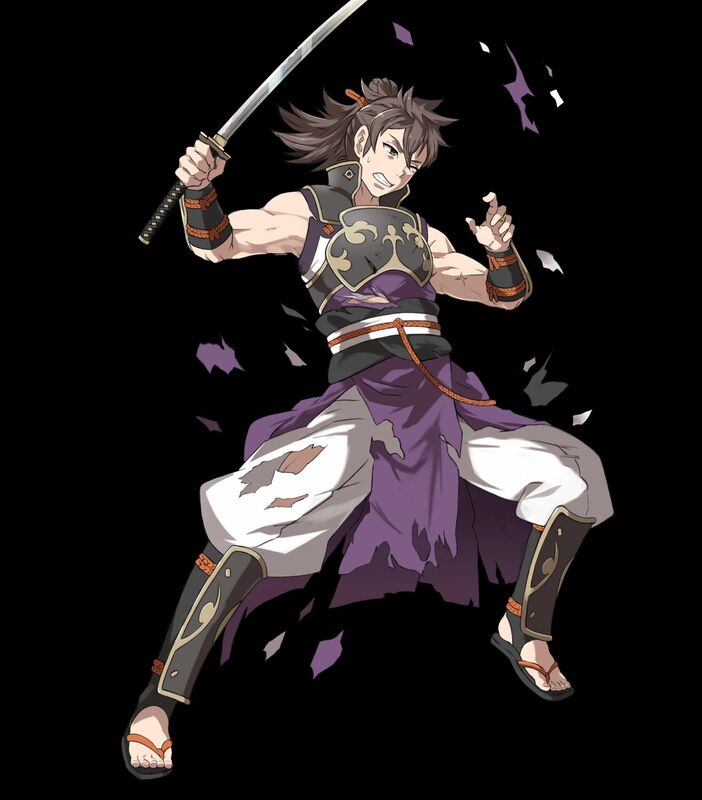 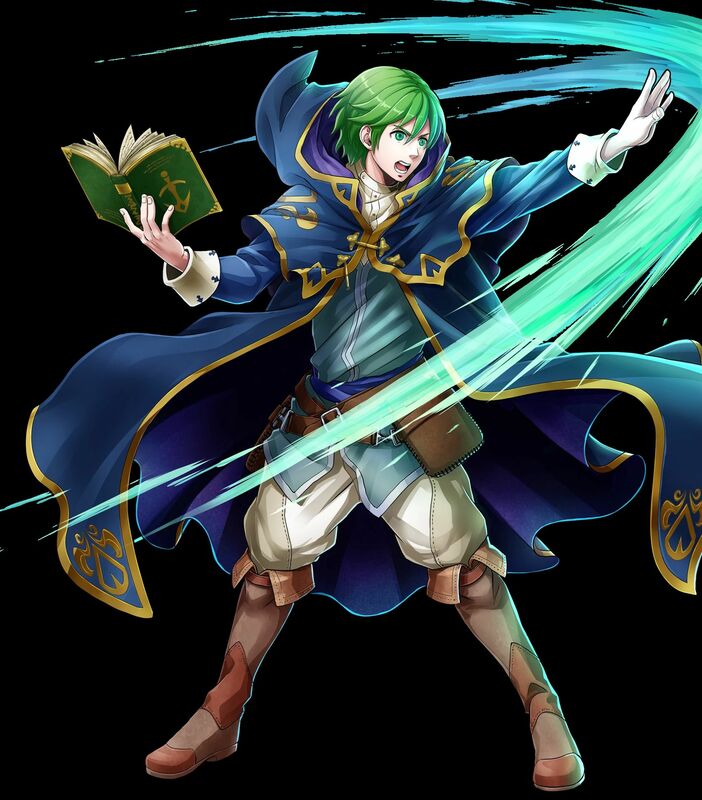 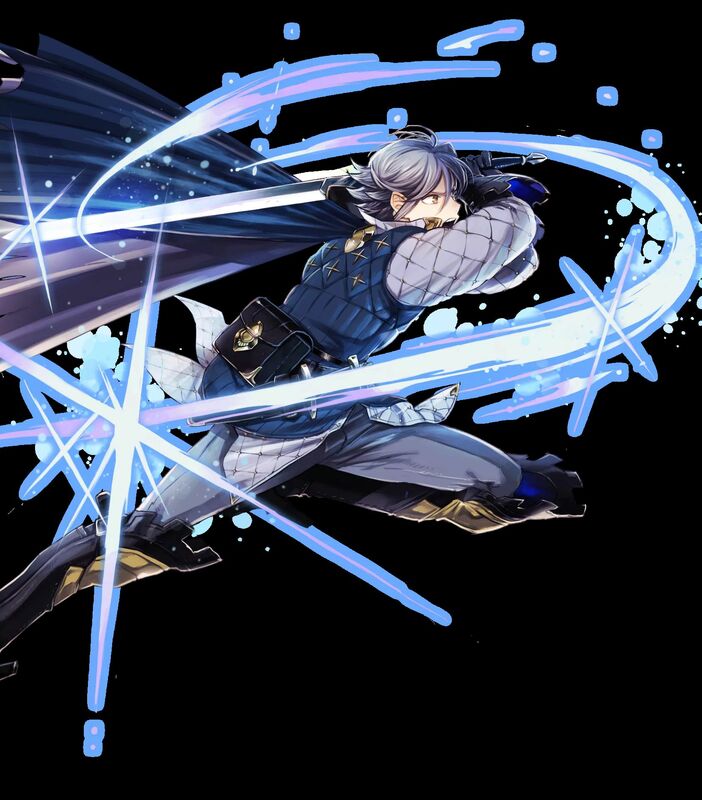 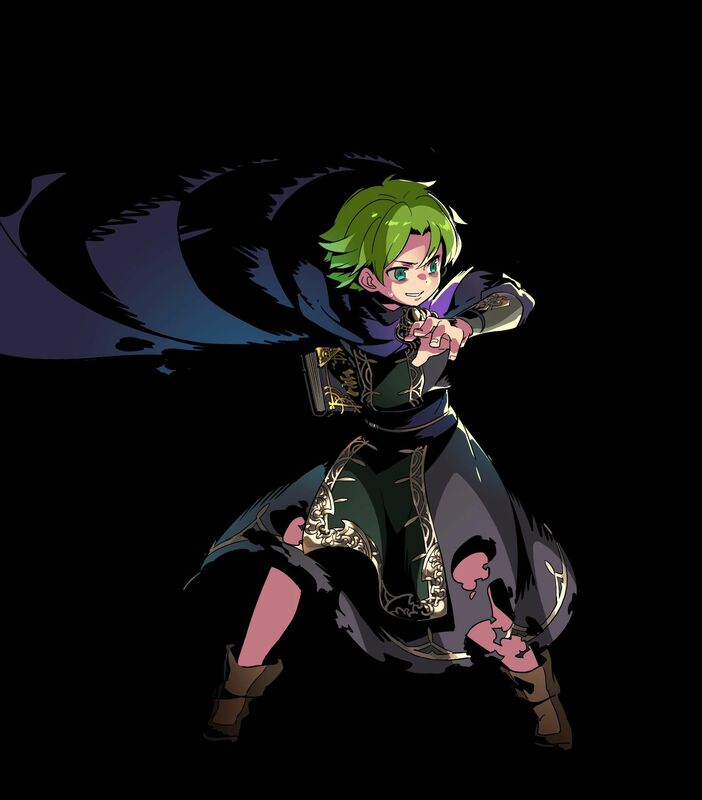 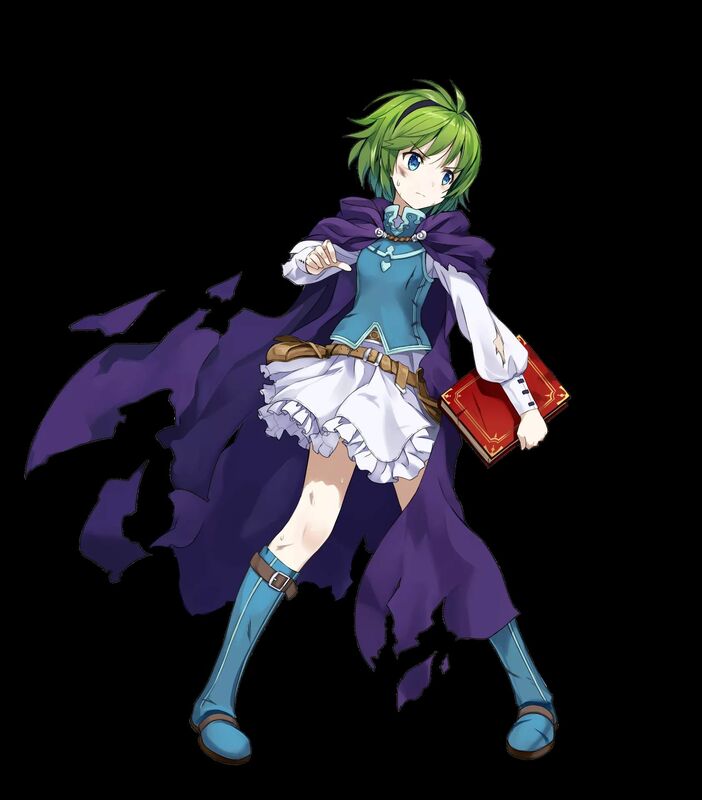 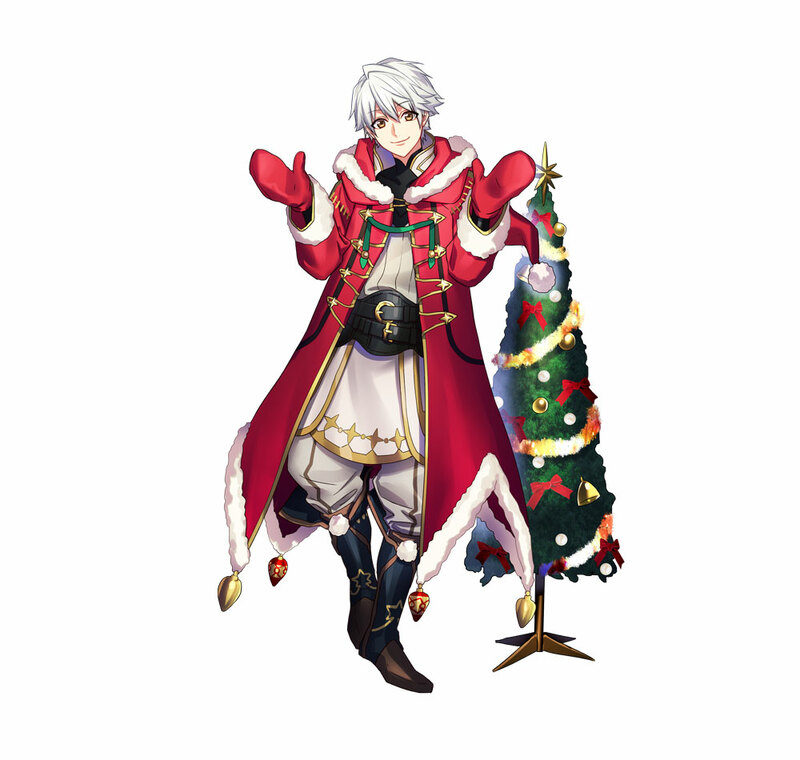 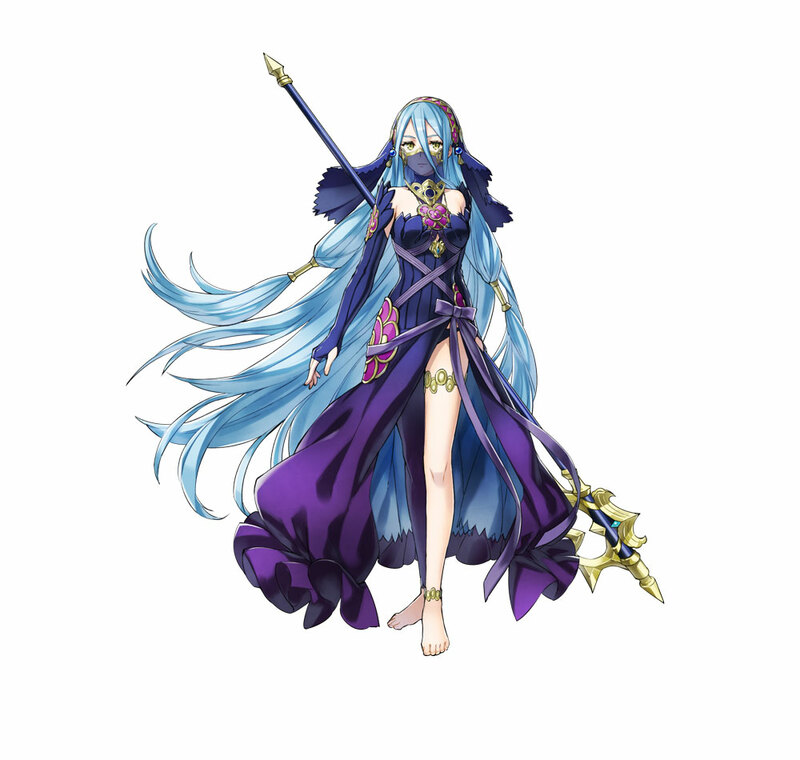 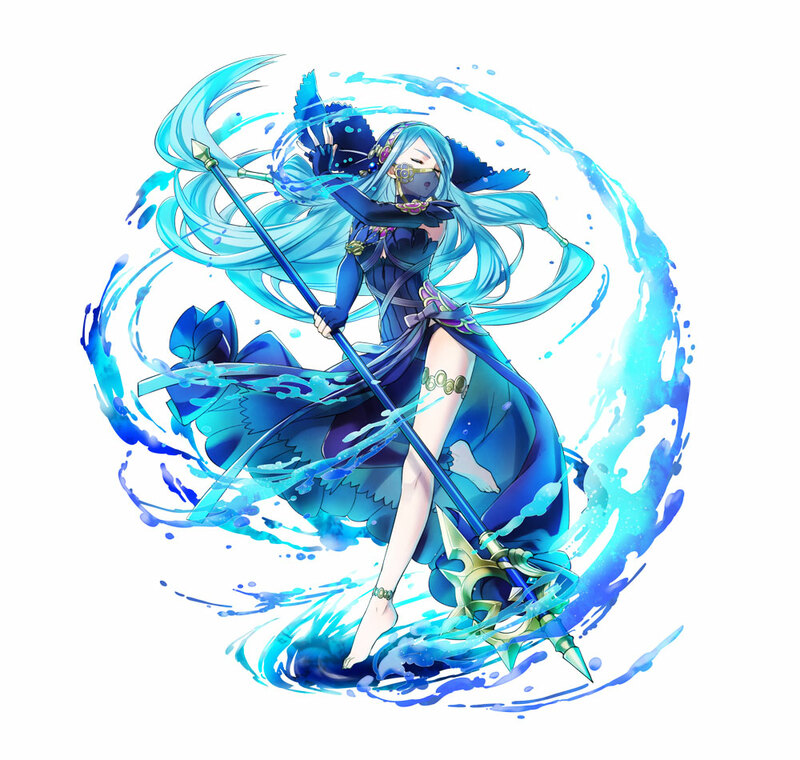 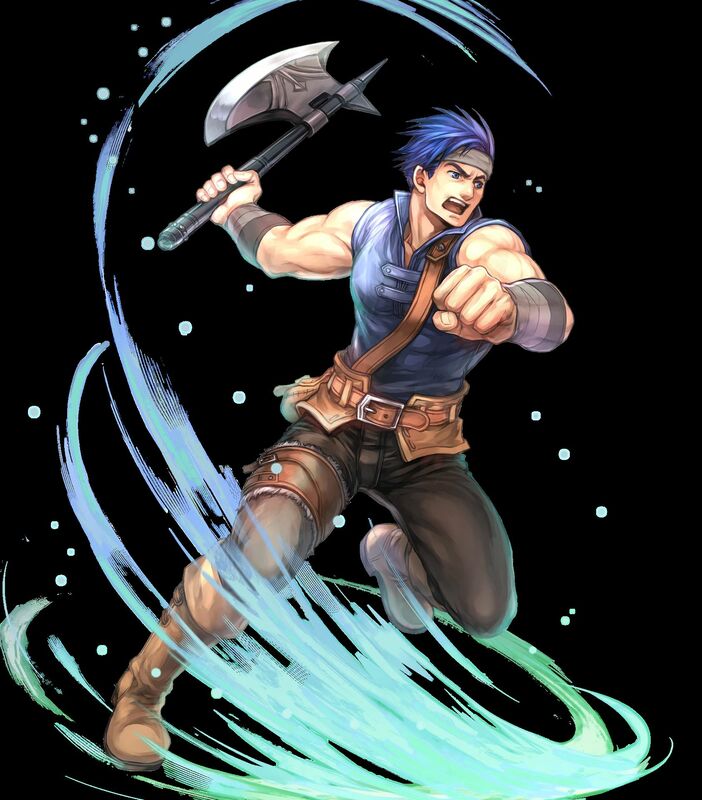 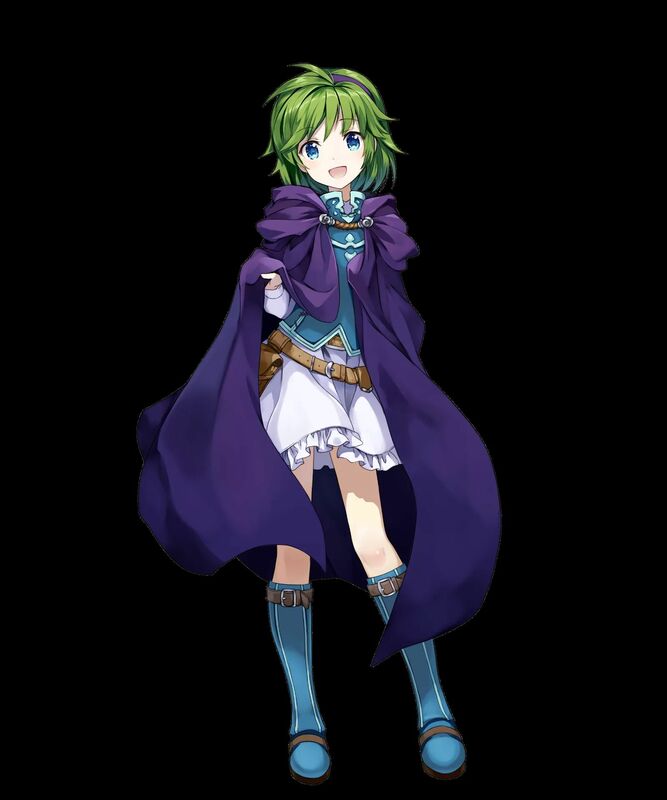 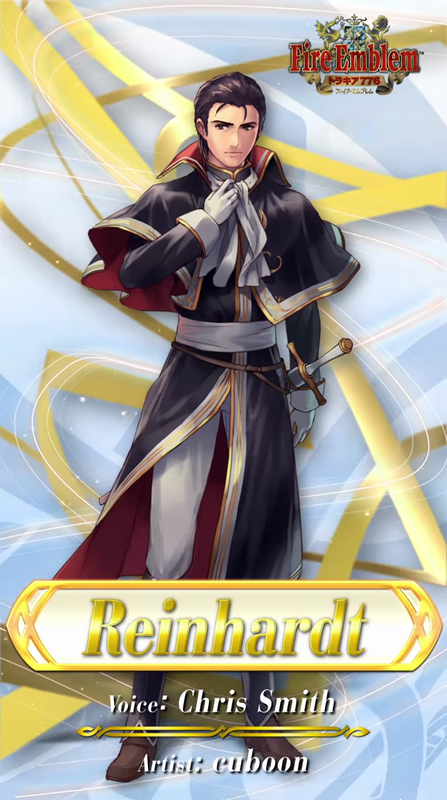 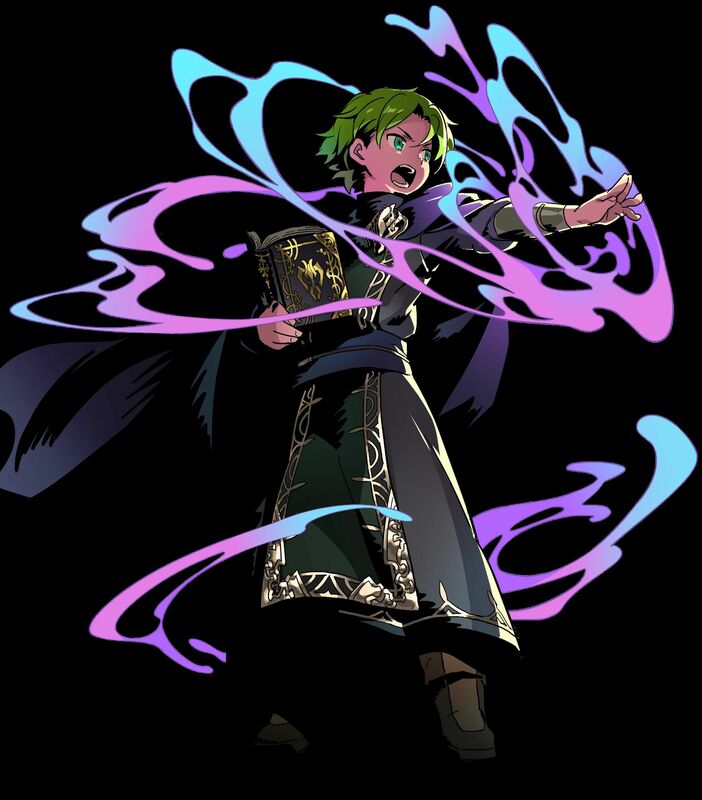 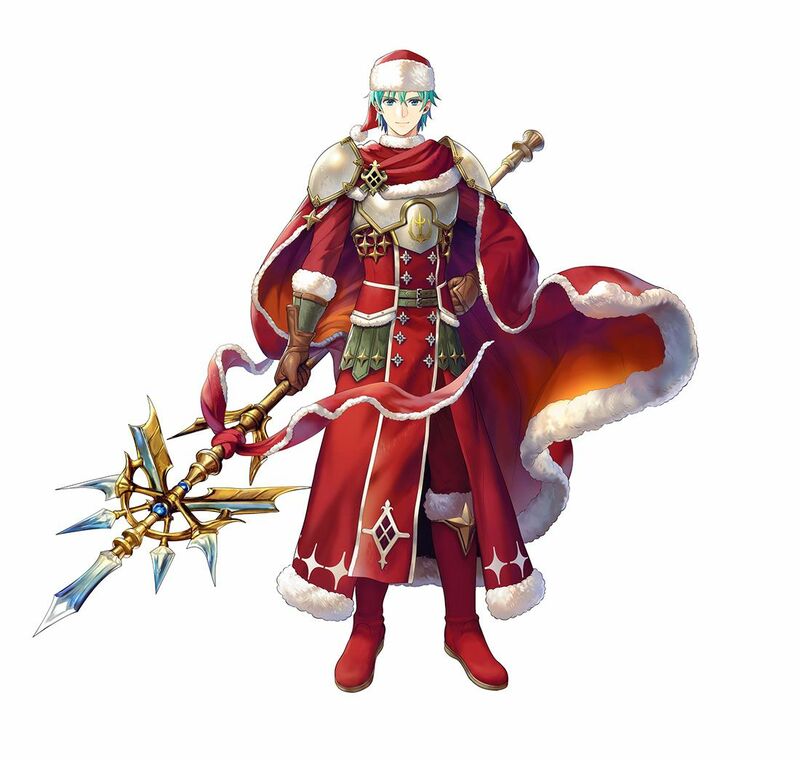 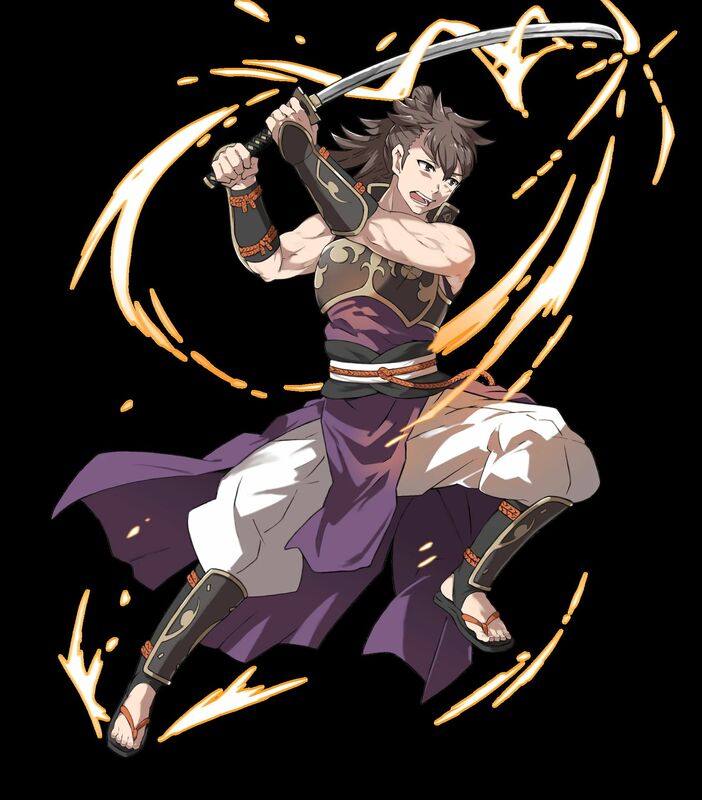 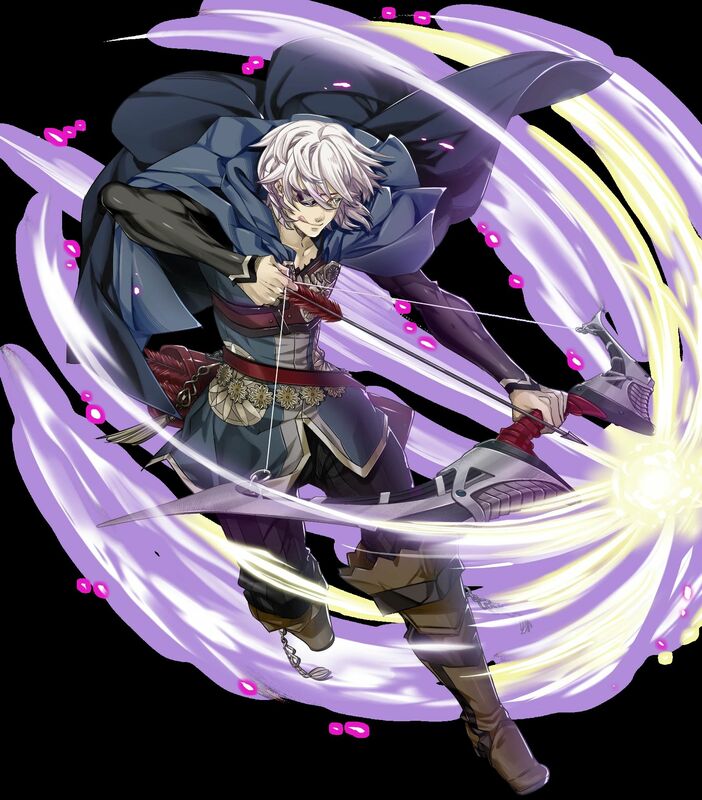 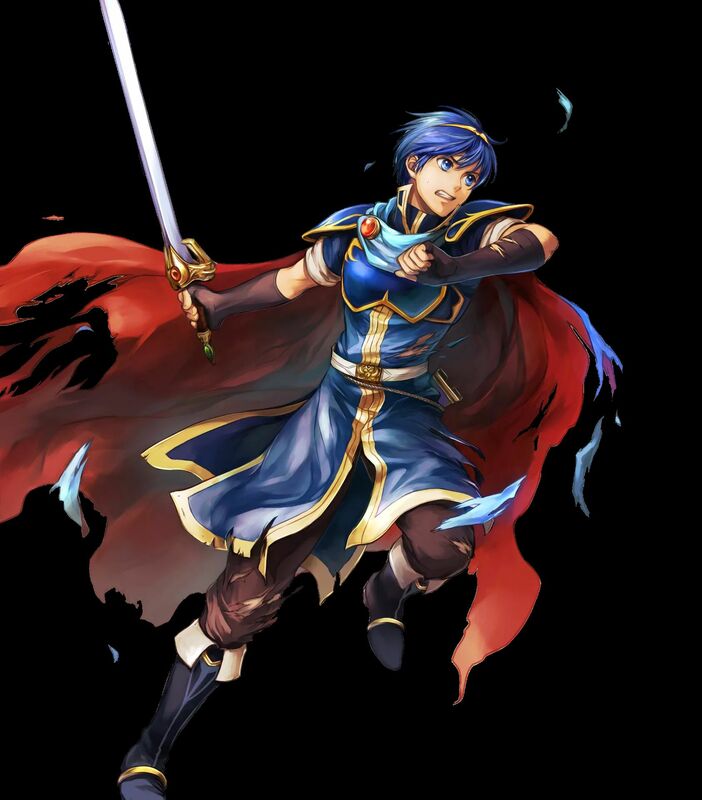 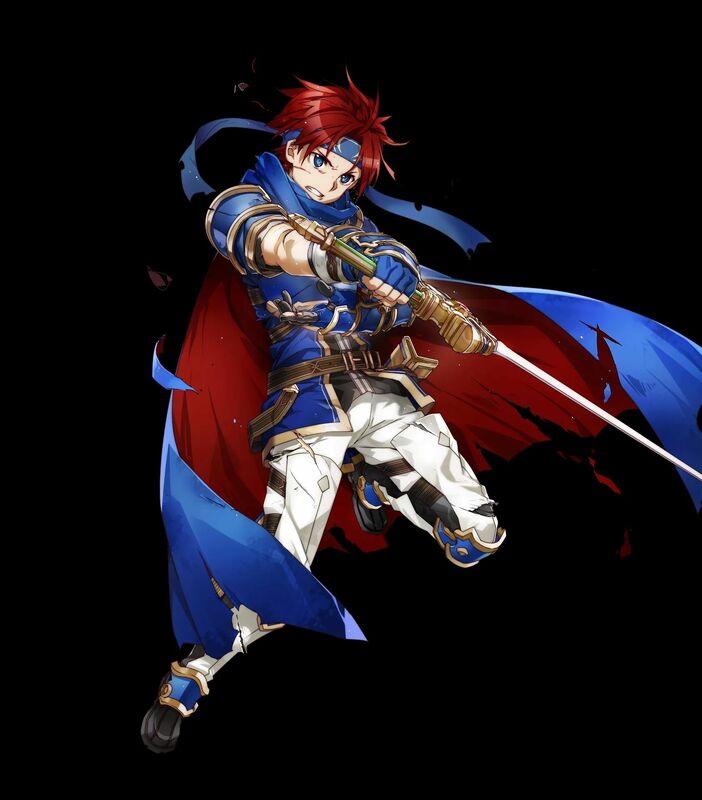 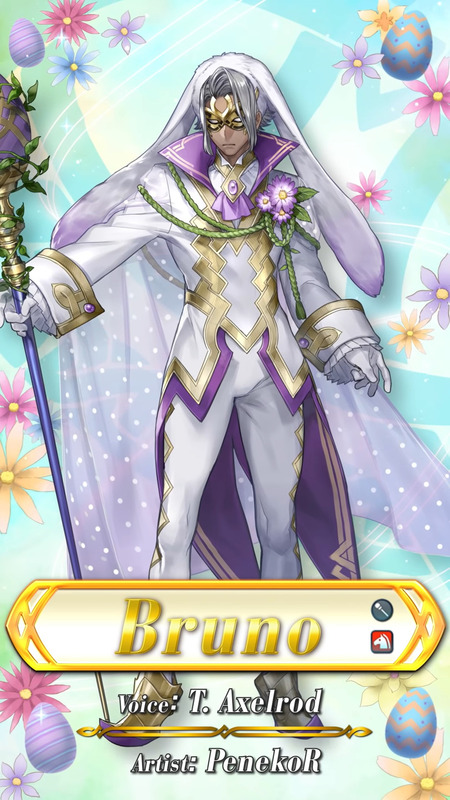 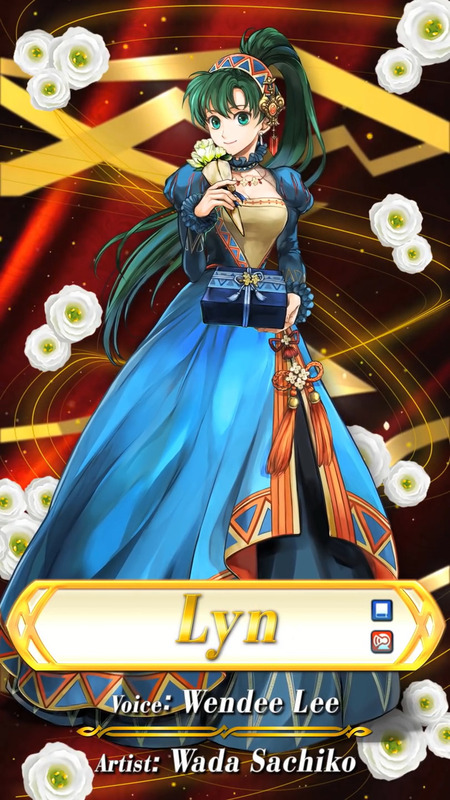 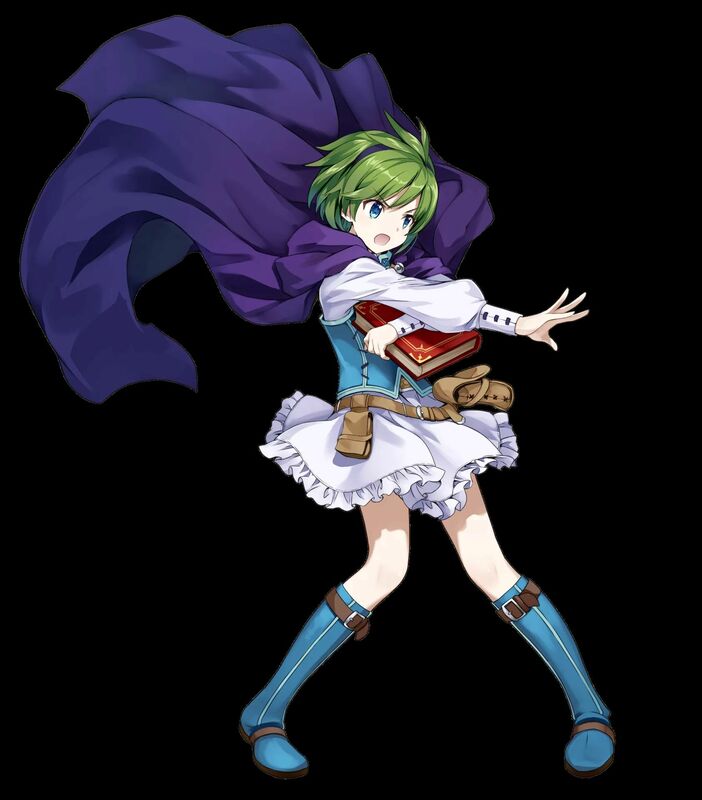 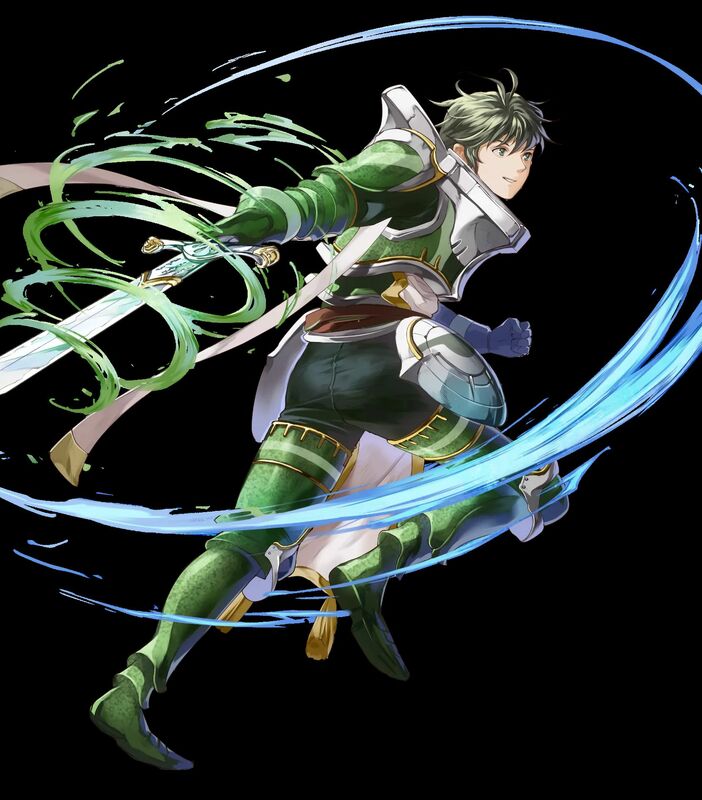 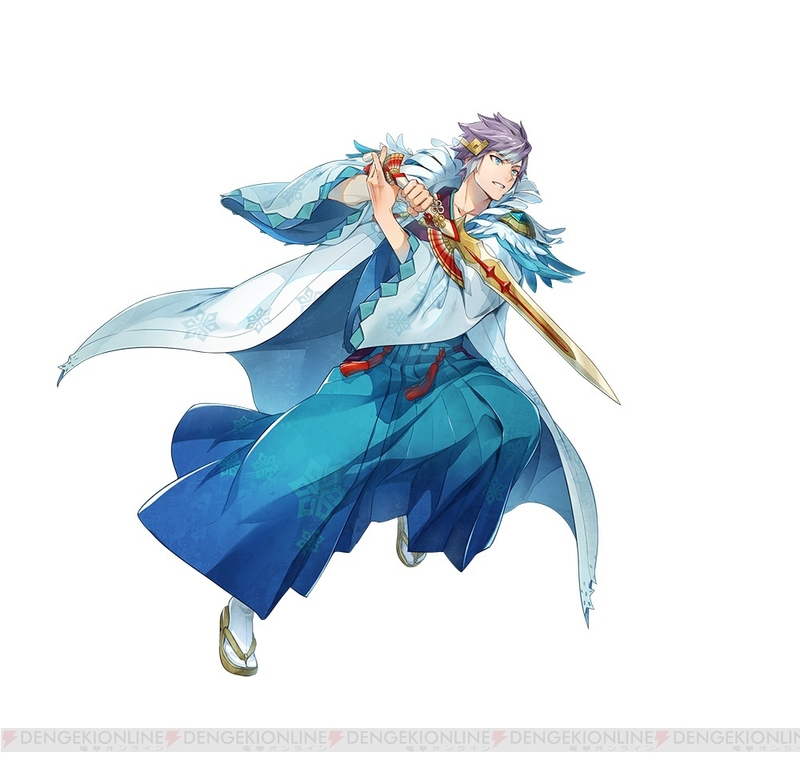 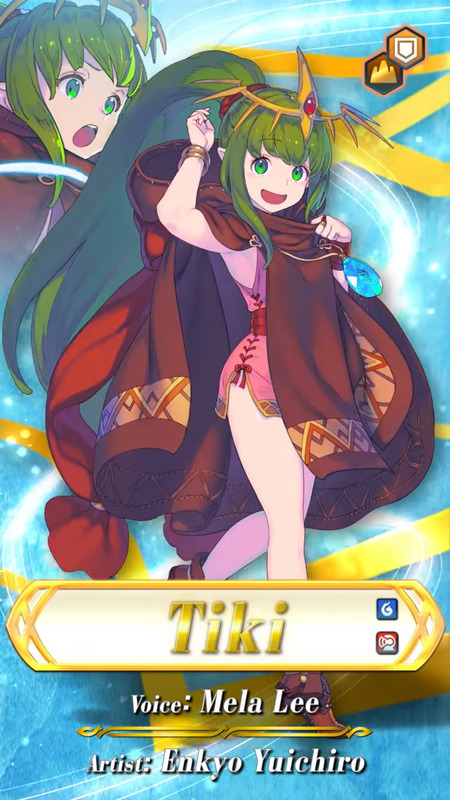 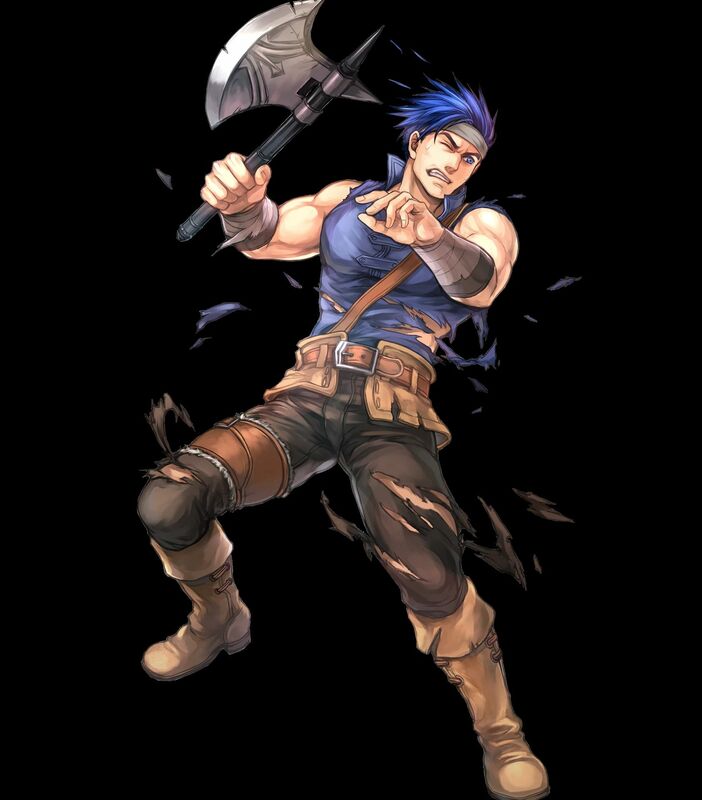 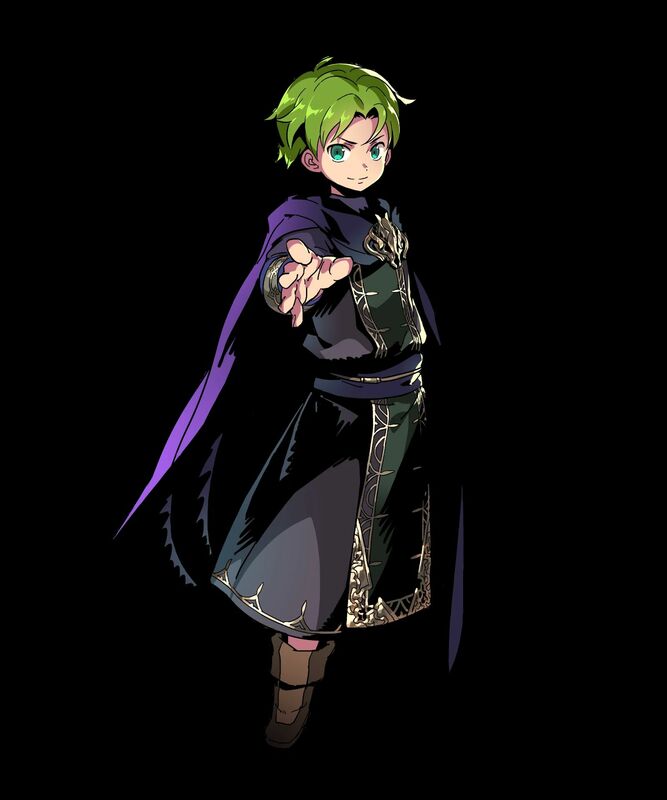 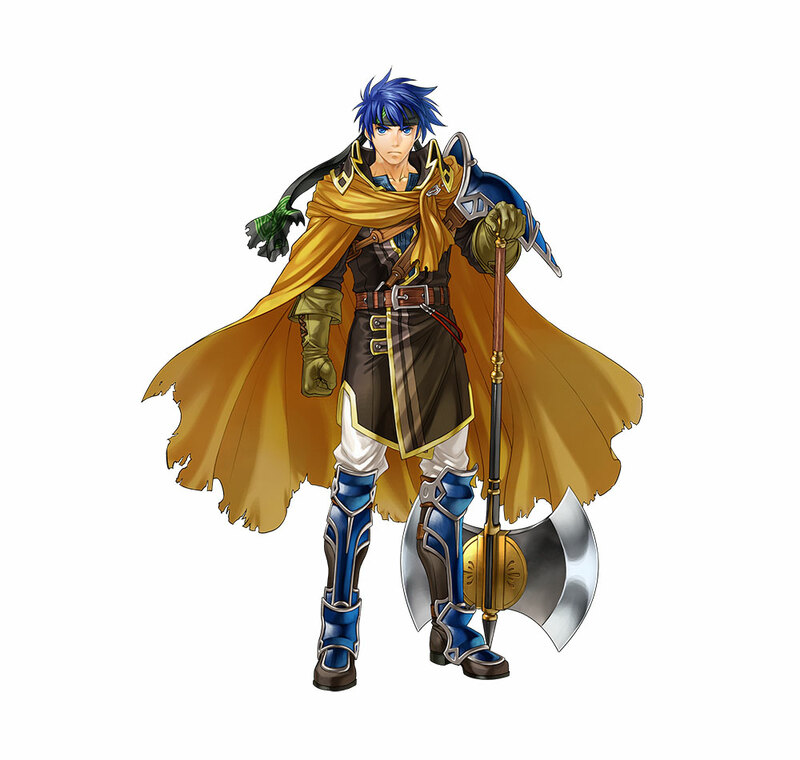 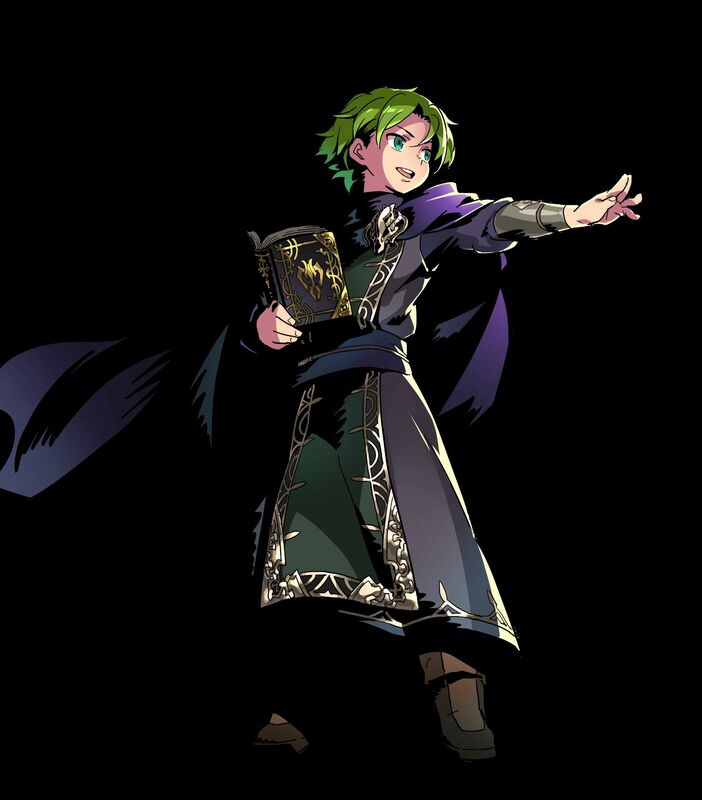 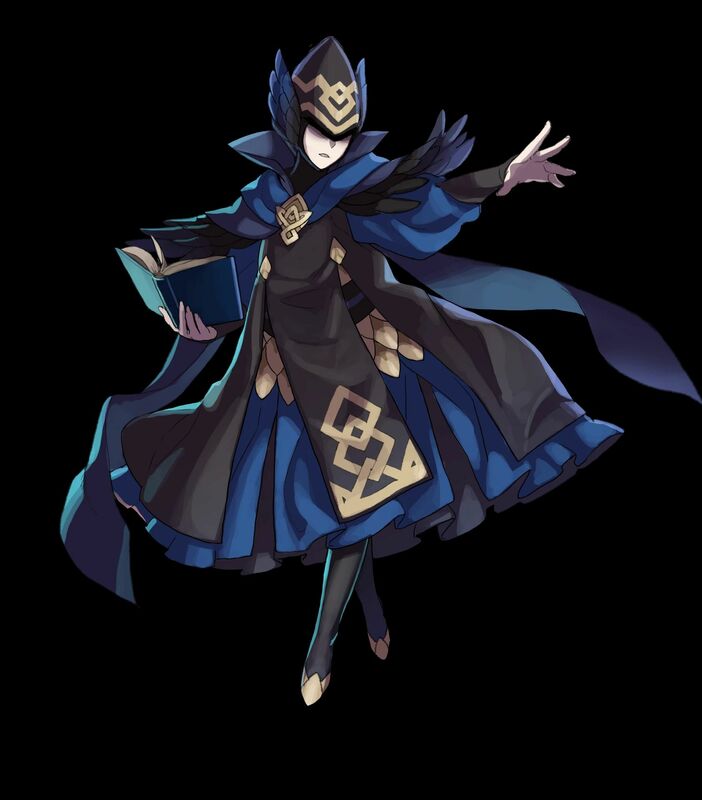 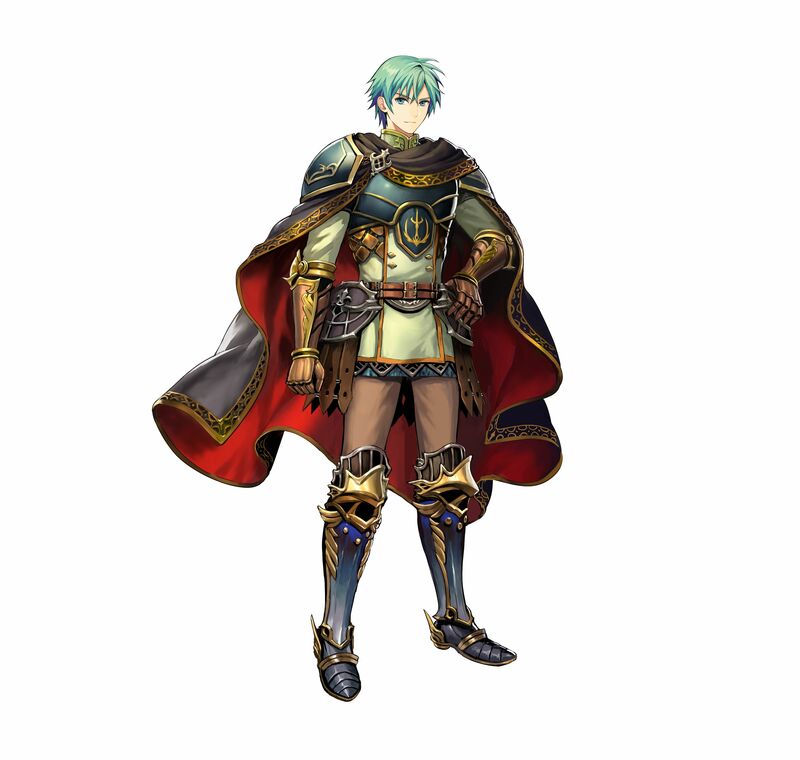 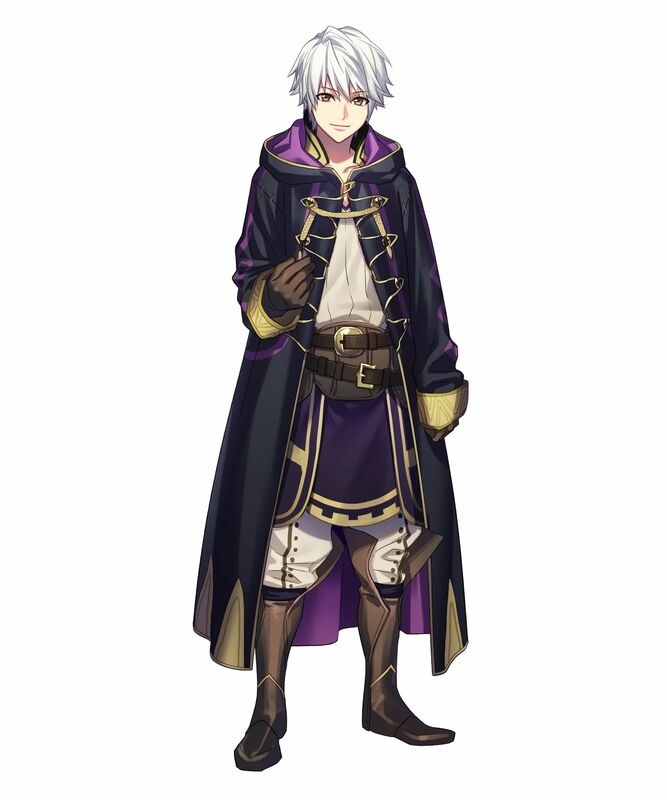 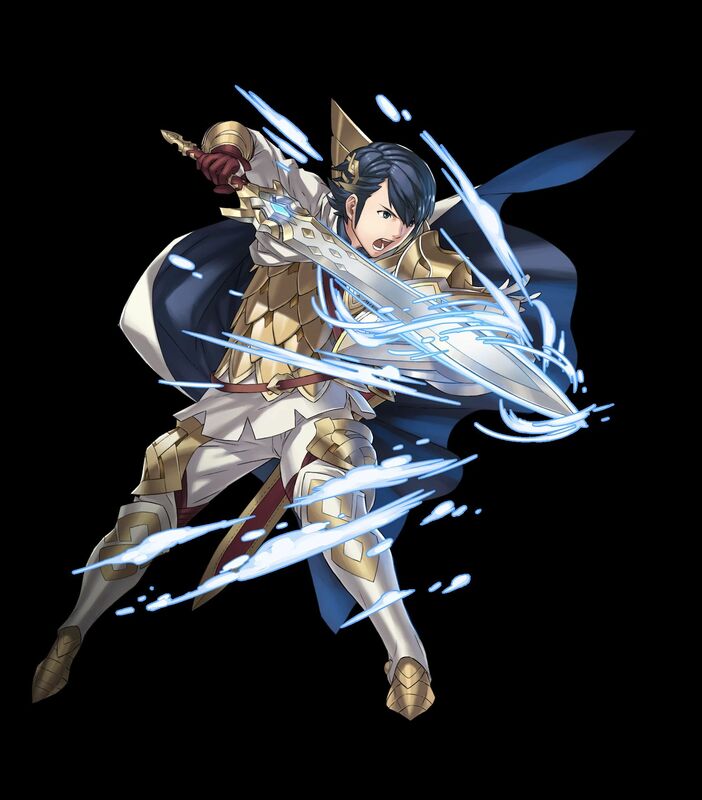 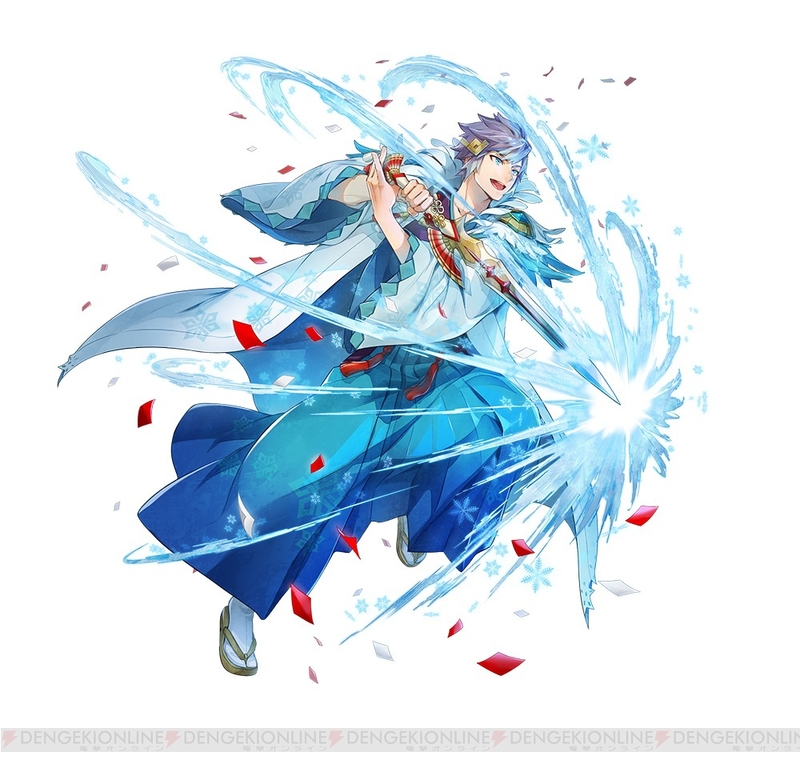 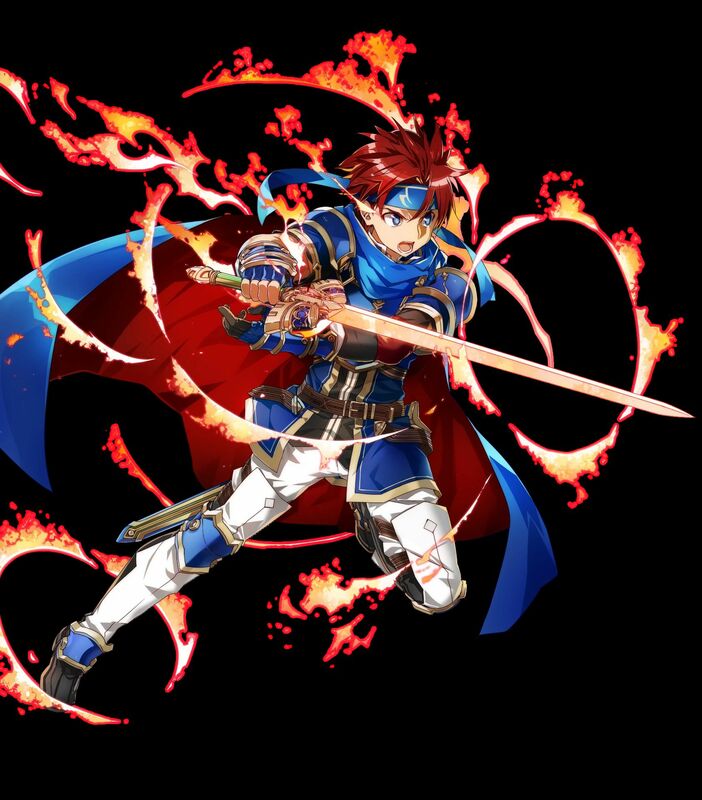 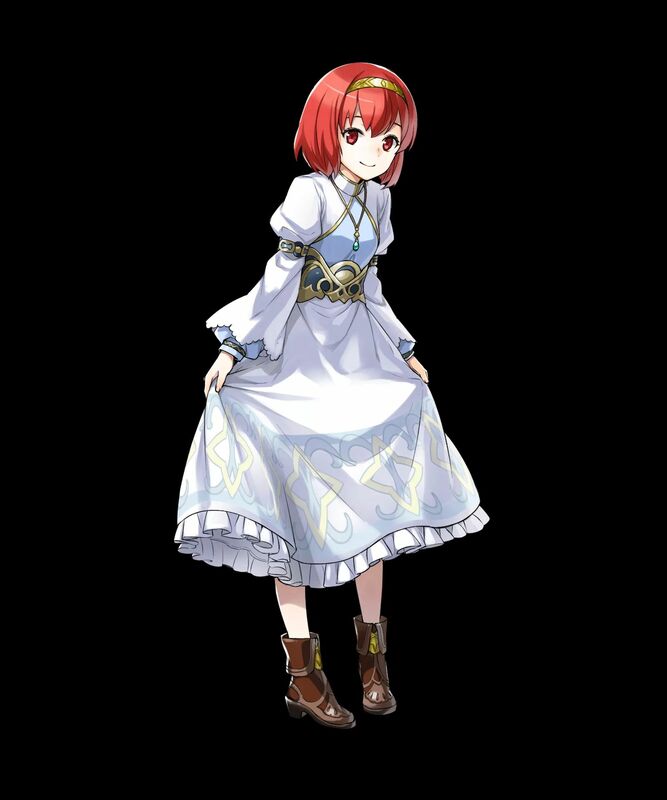 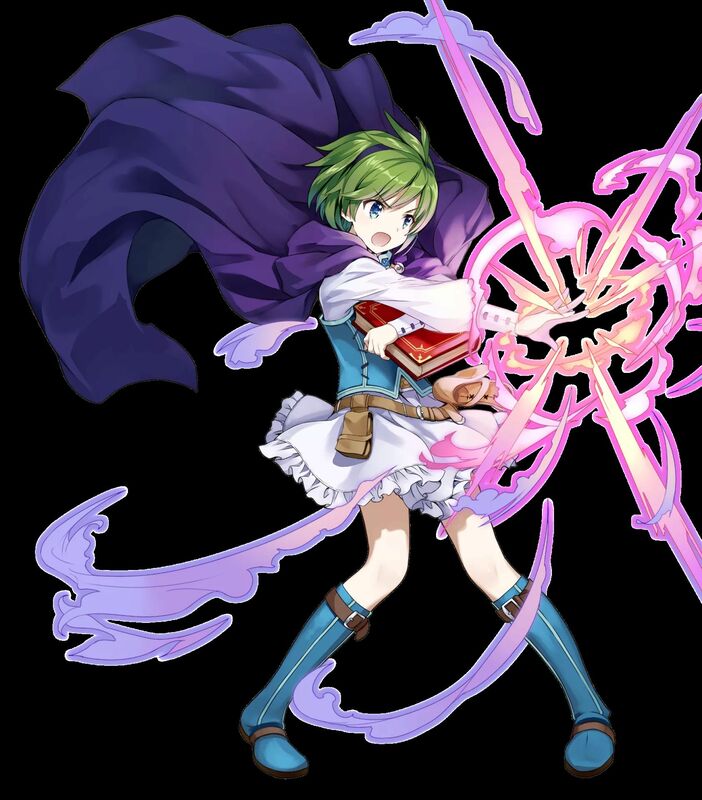 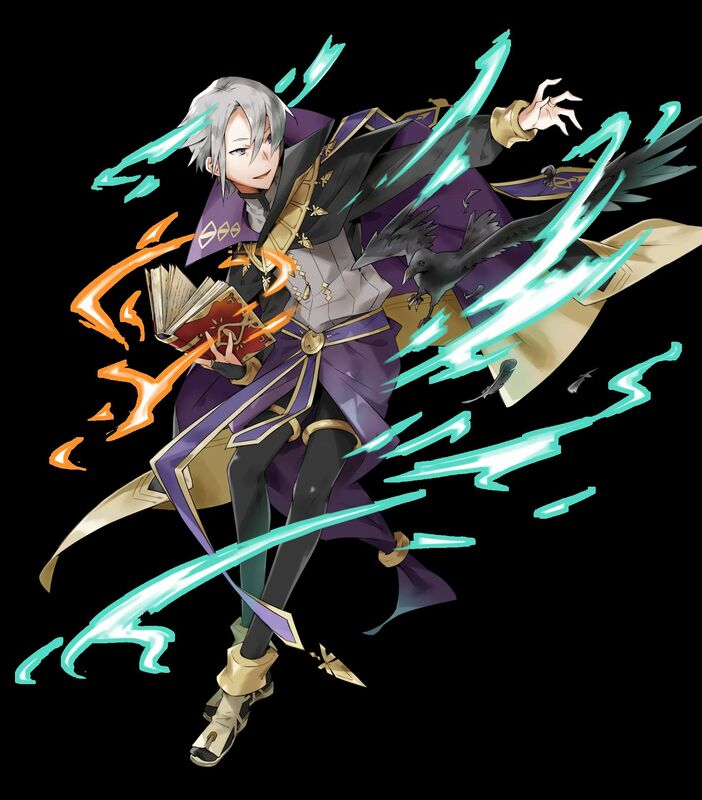 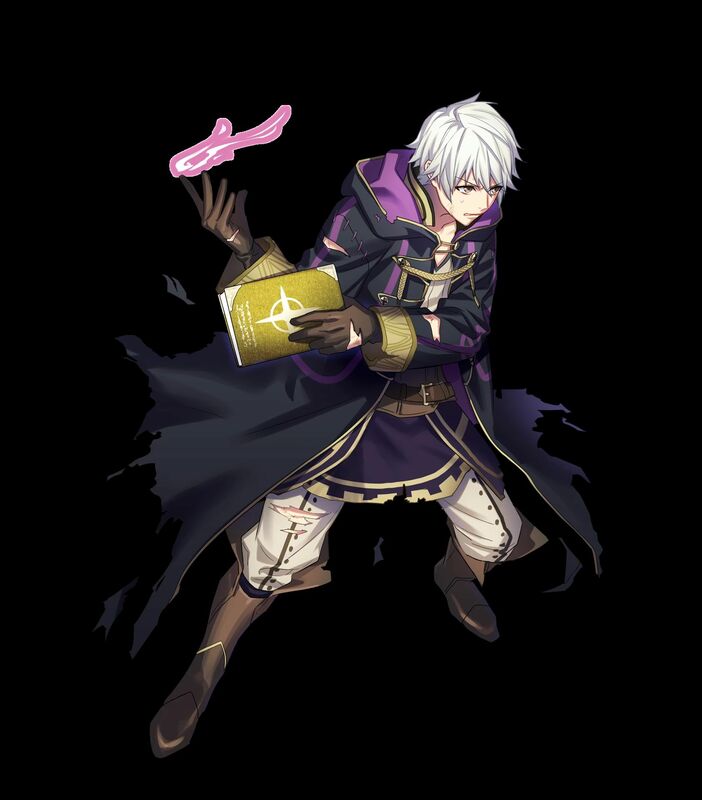 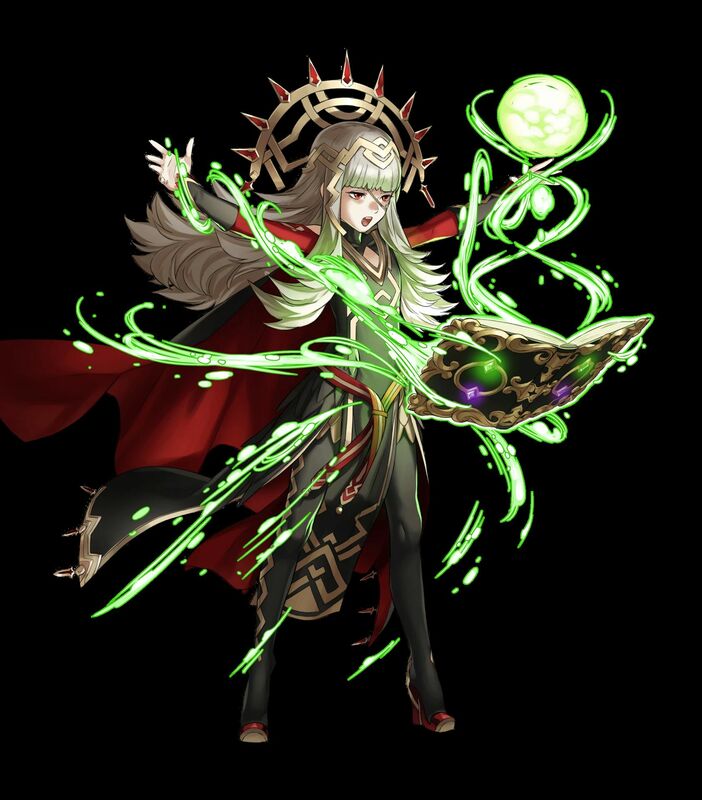 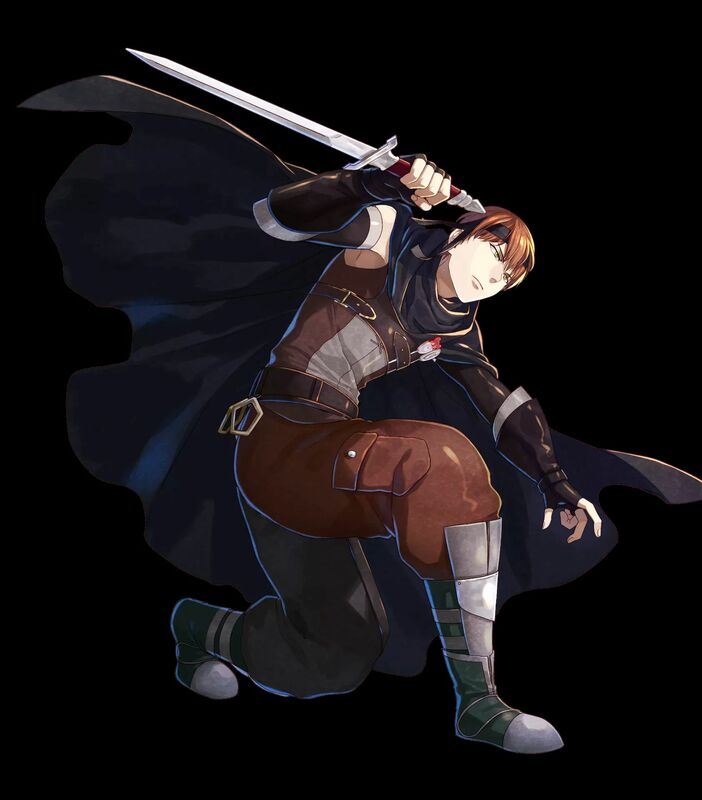 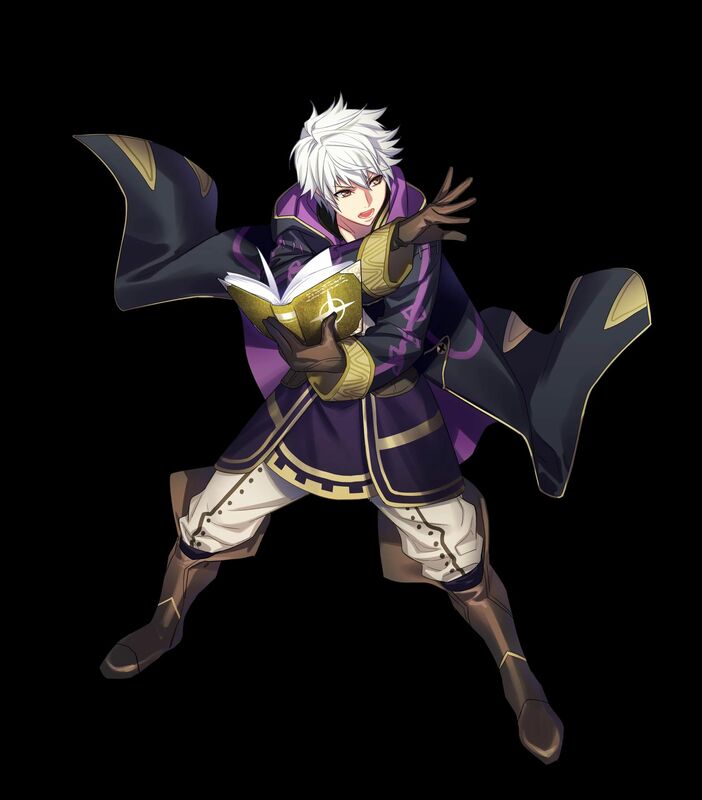 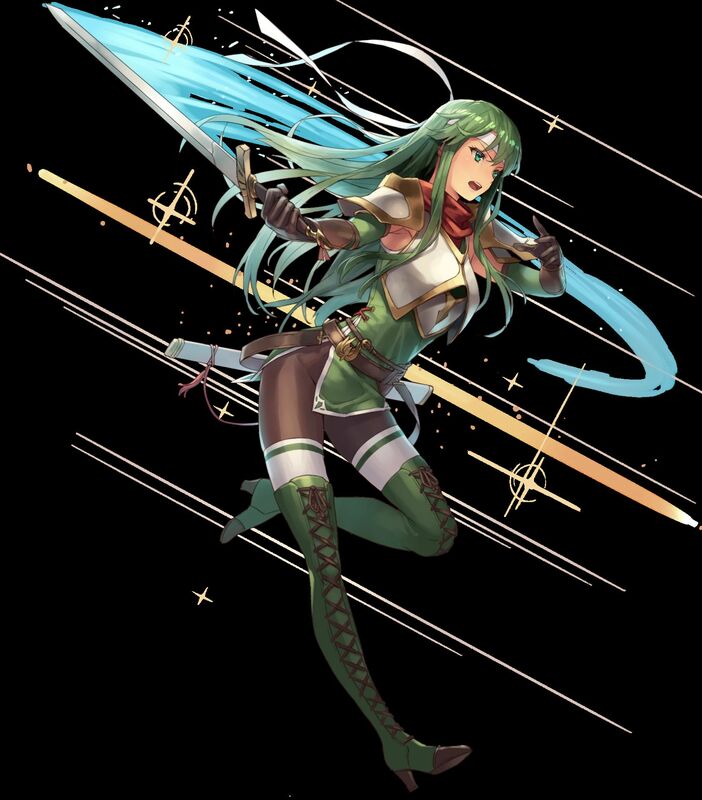 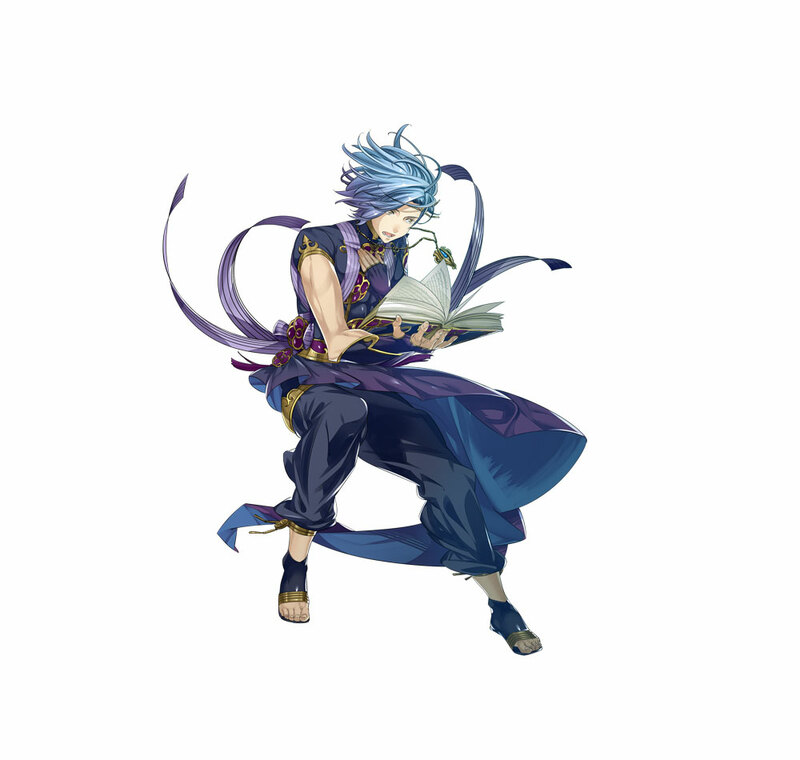 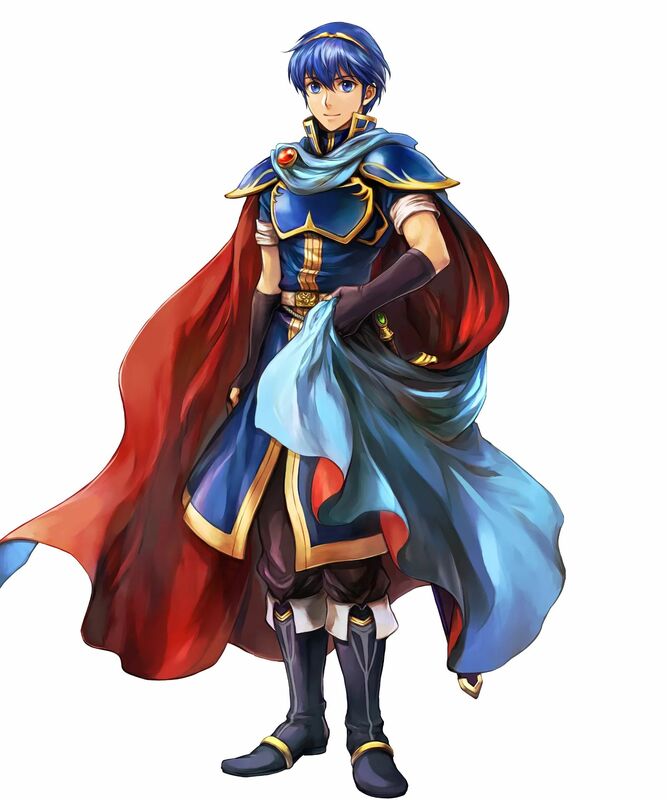 The [3 ★/4 ★] rank is only for characters from Grand Hero Battles, who may not be available anymore as of reading this post. 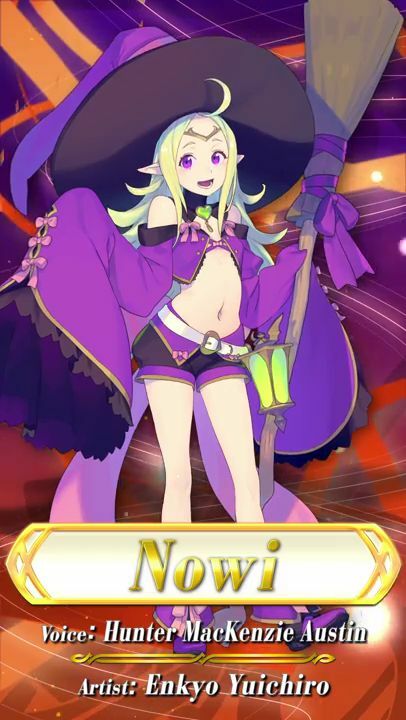 Characters without a rank cannot be summoned at this time. 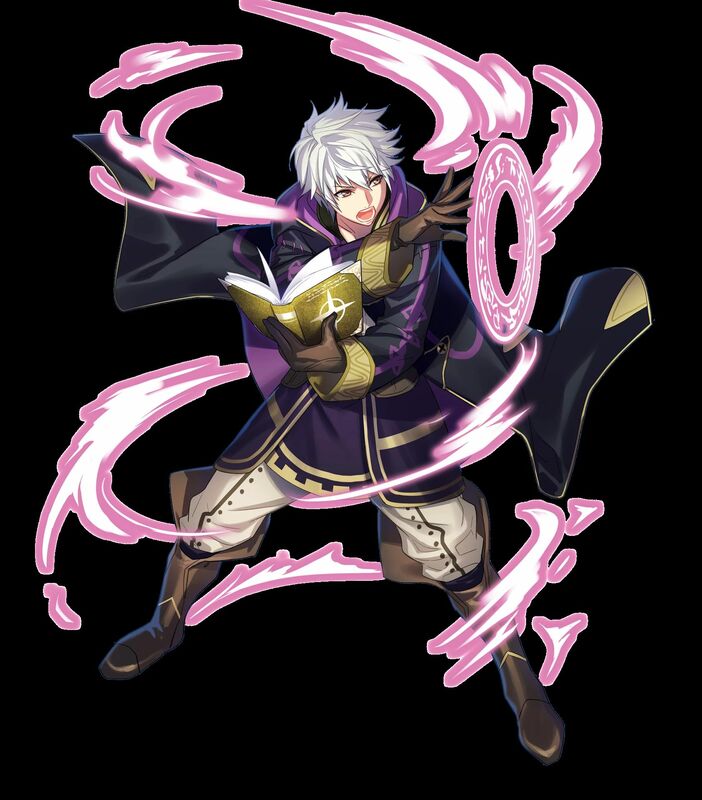 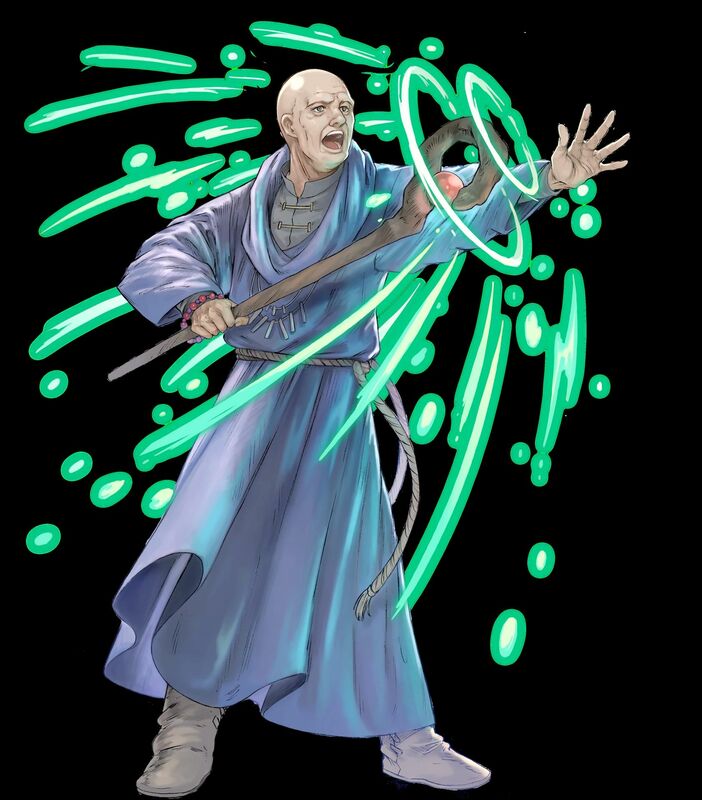 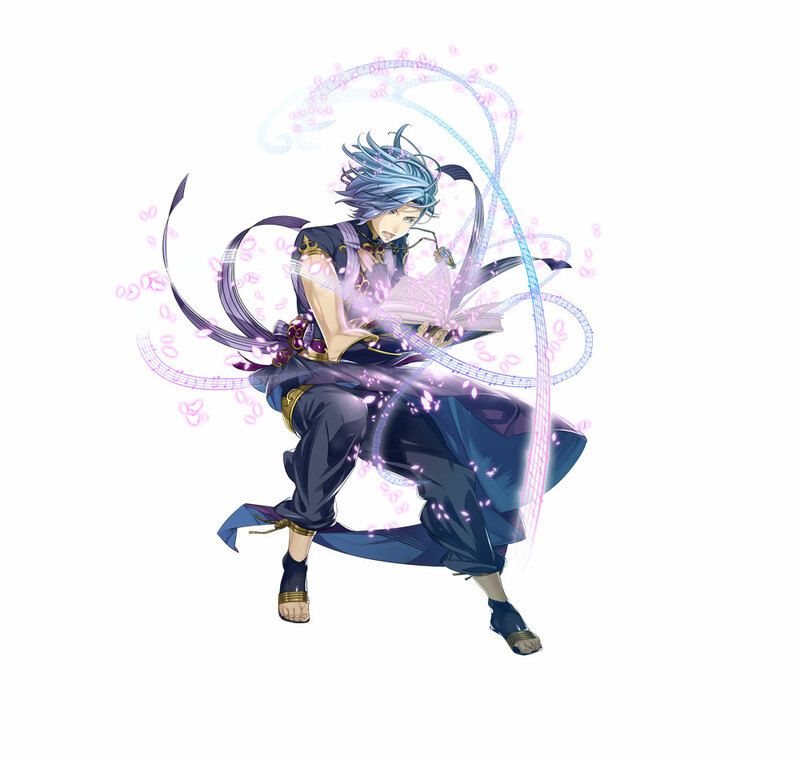 You can find the list of previous Summoning Focuses and Summoning Events on this page! 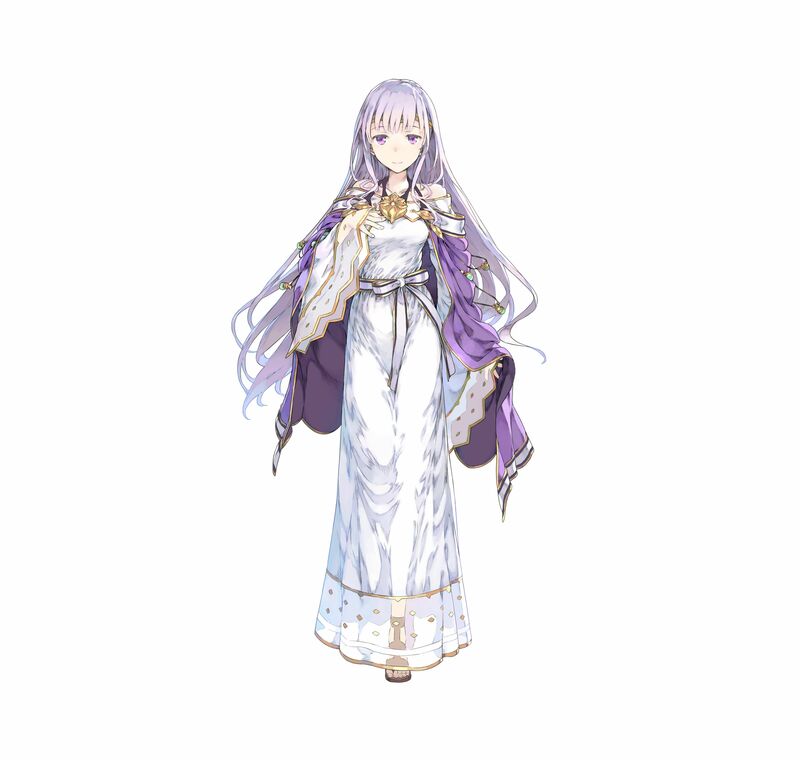 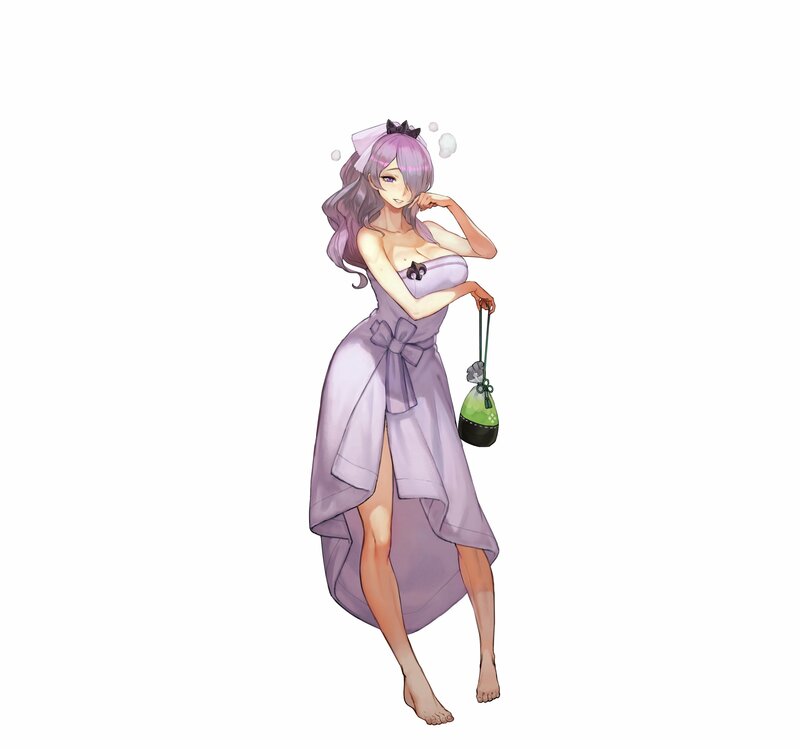 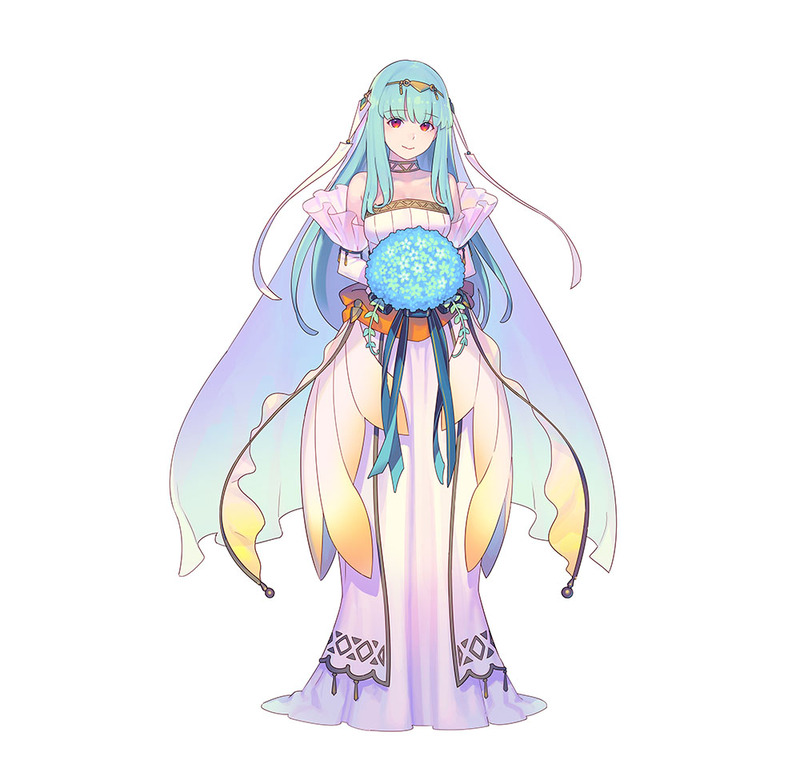 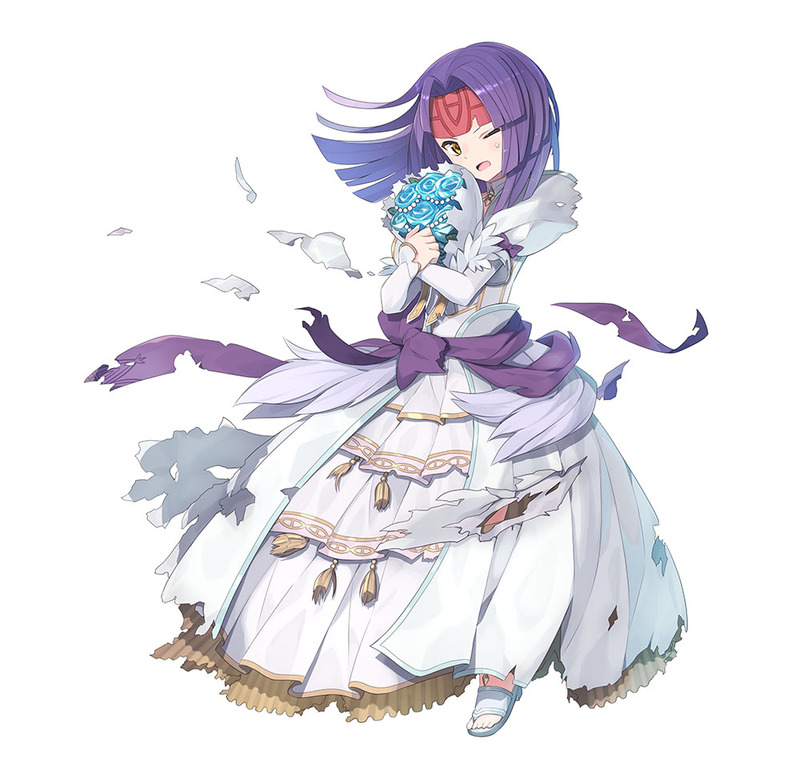 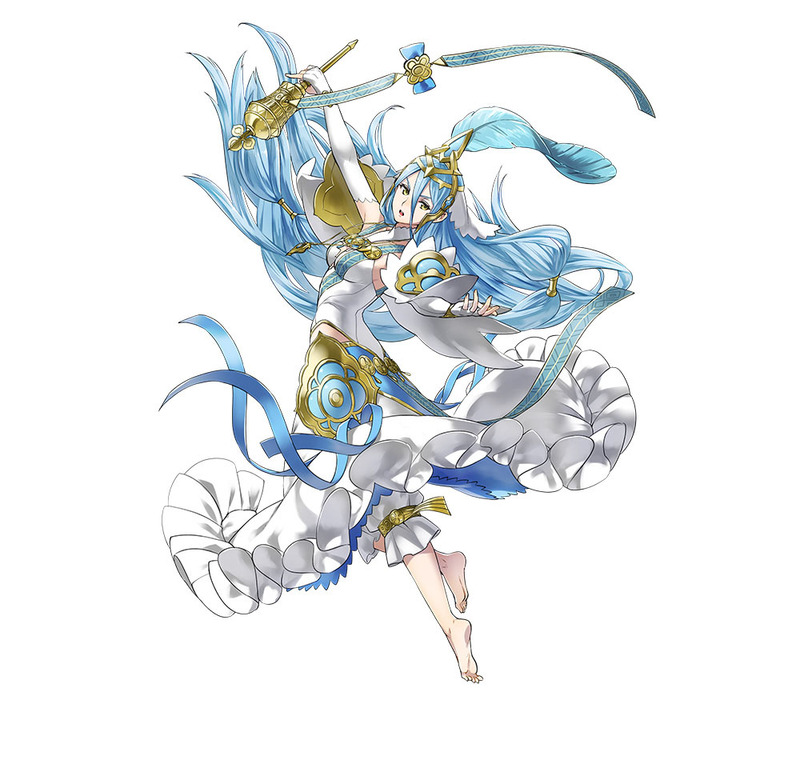 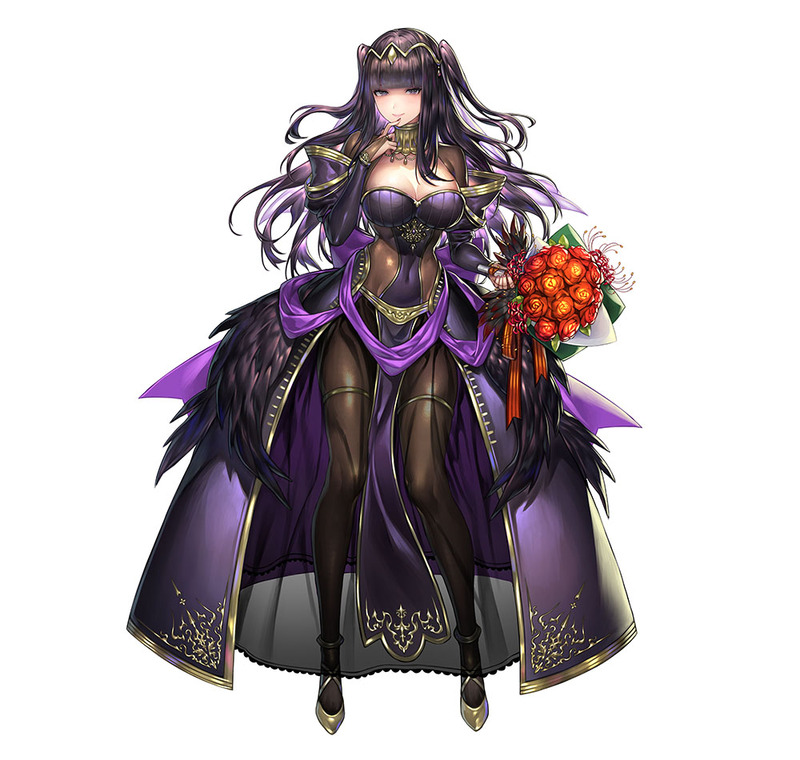 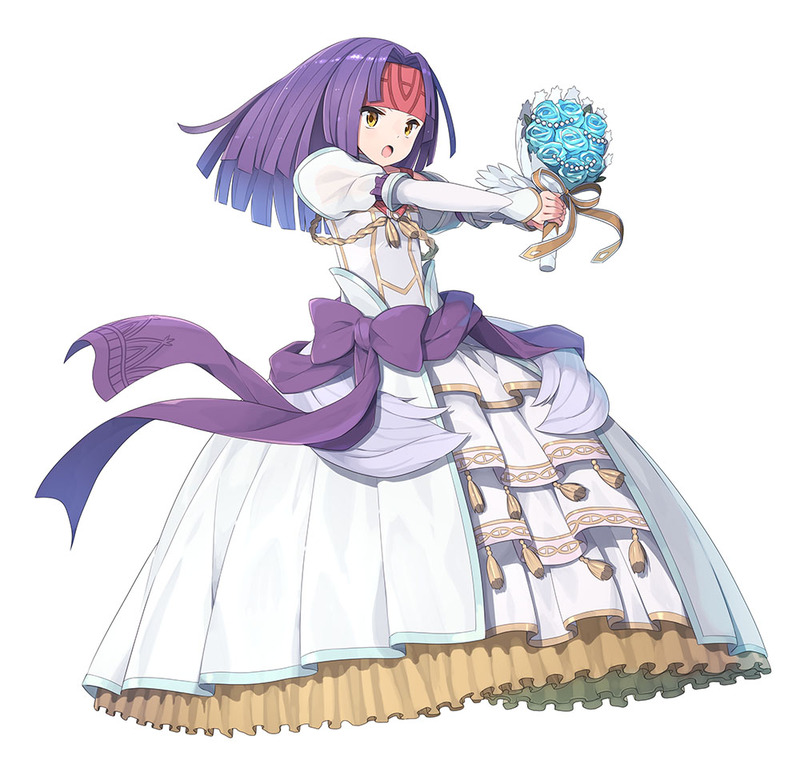 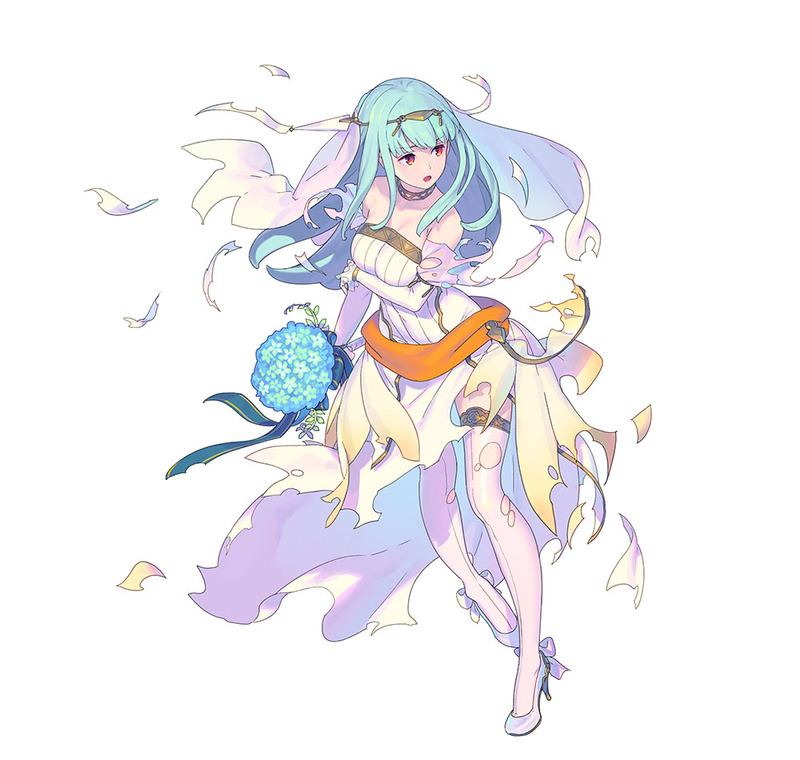 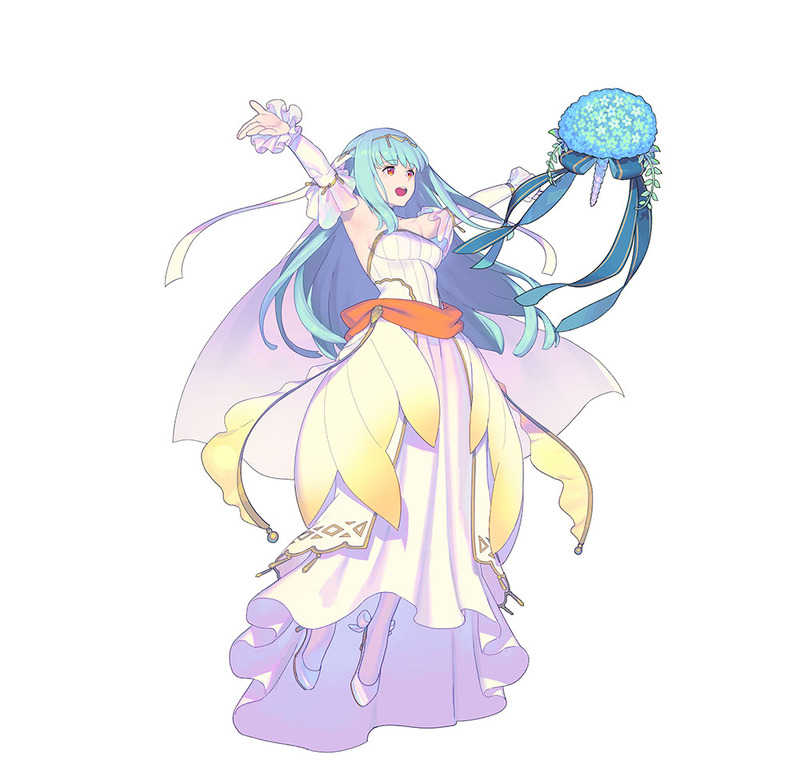 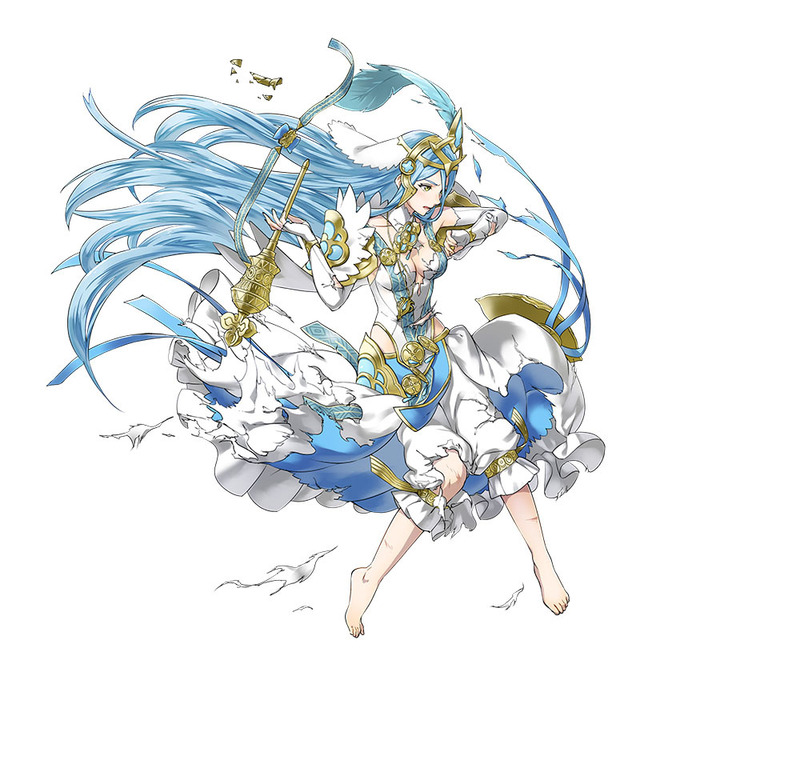 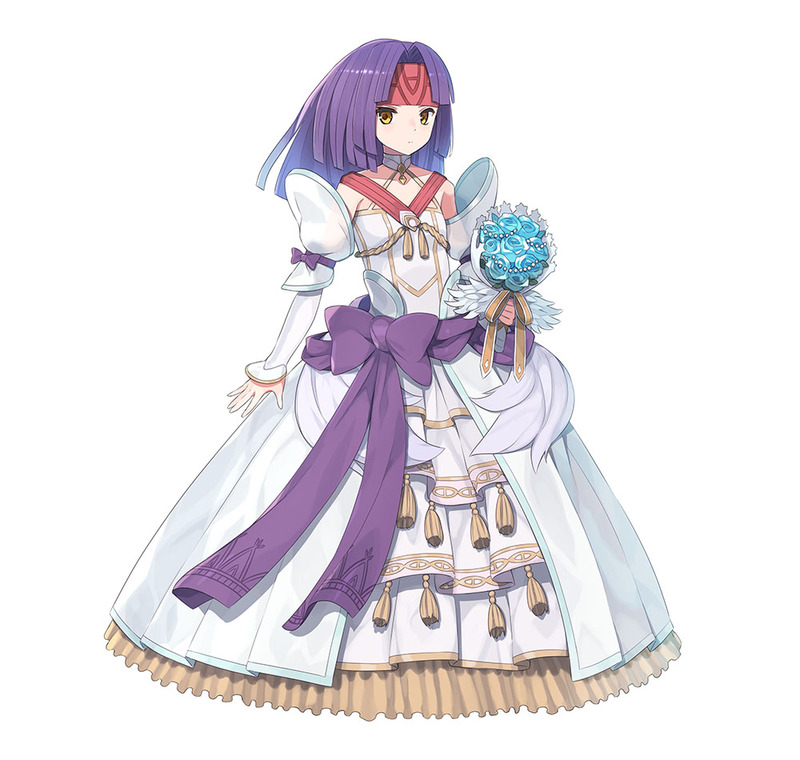 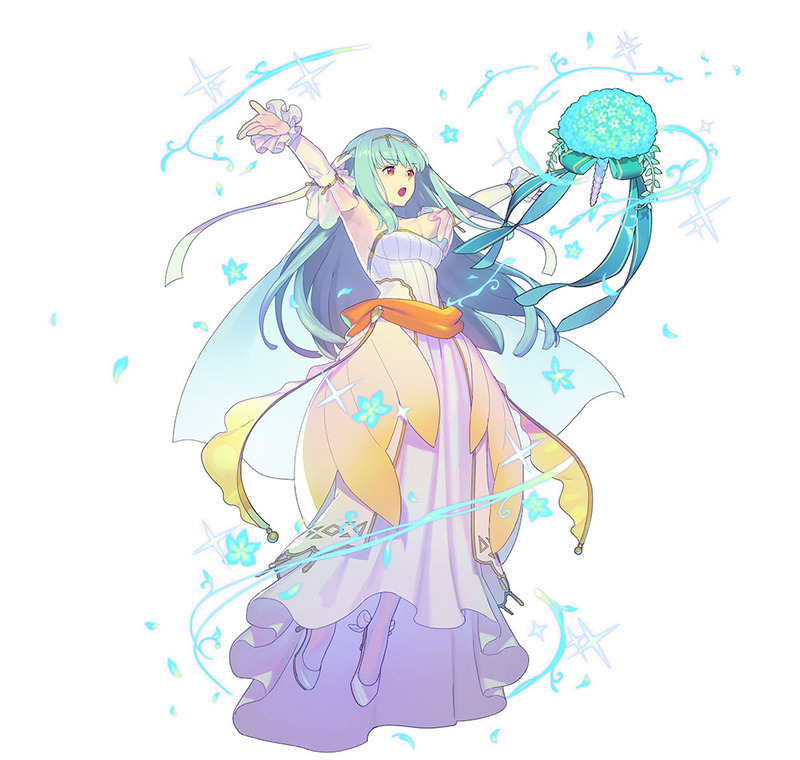 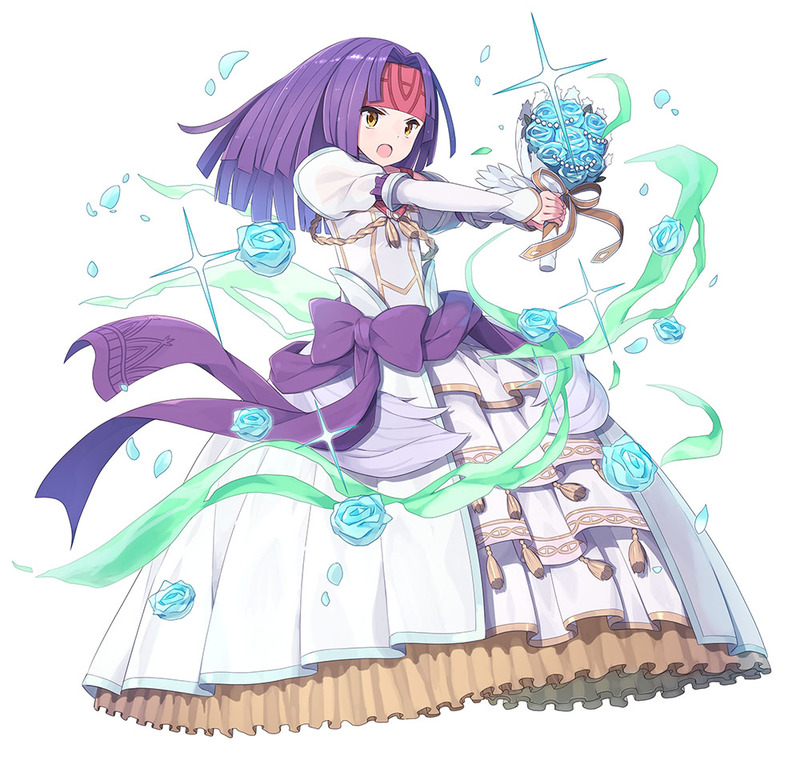 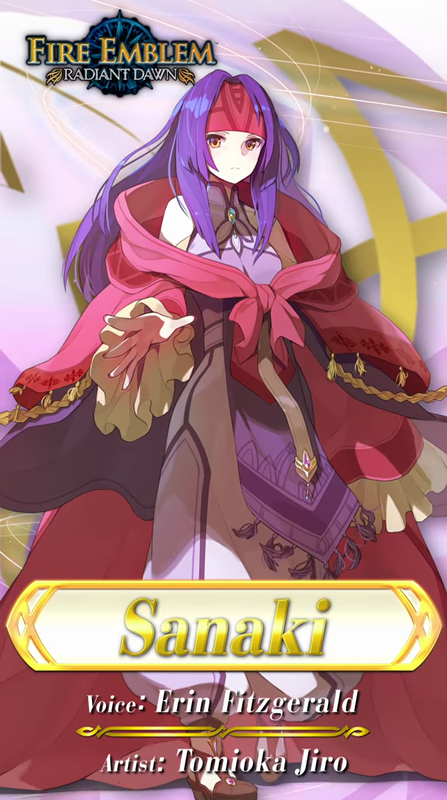 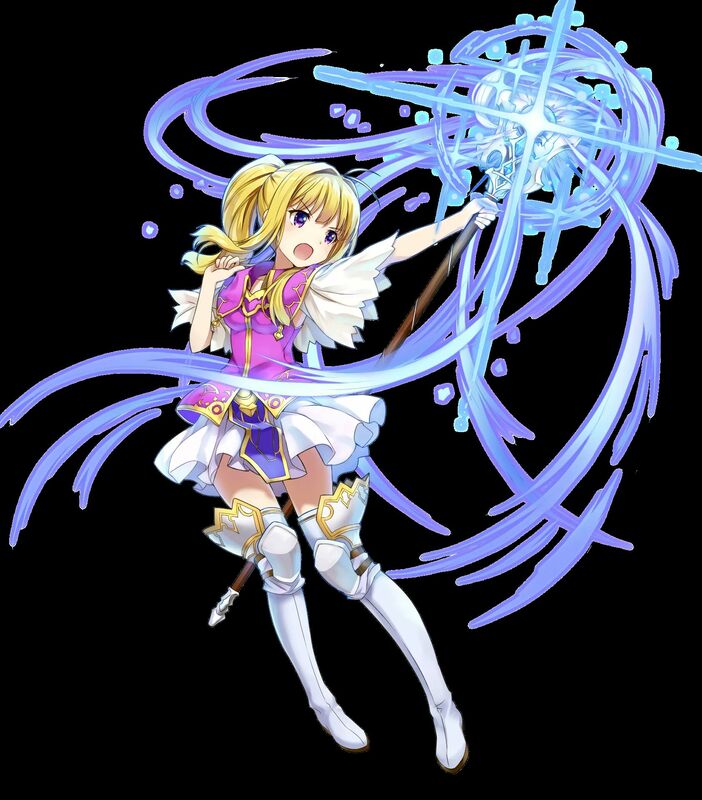 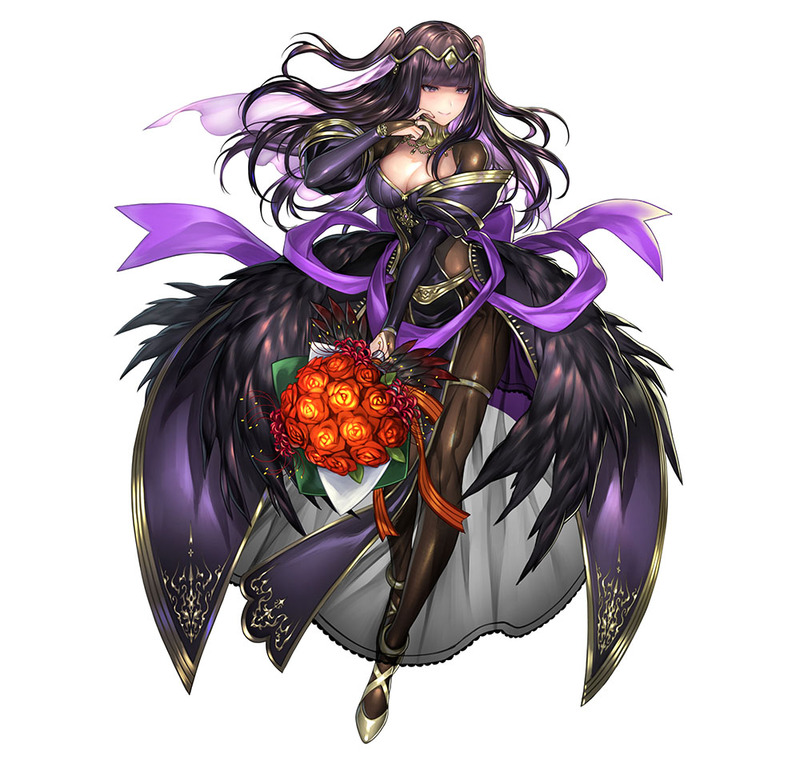 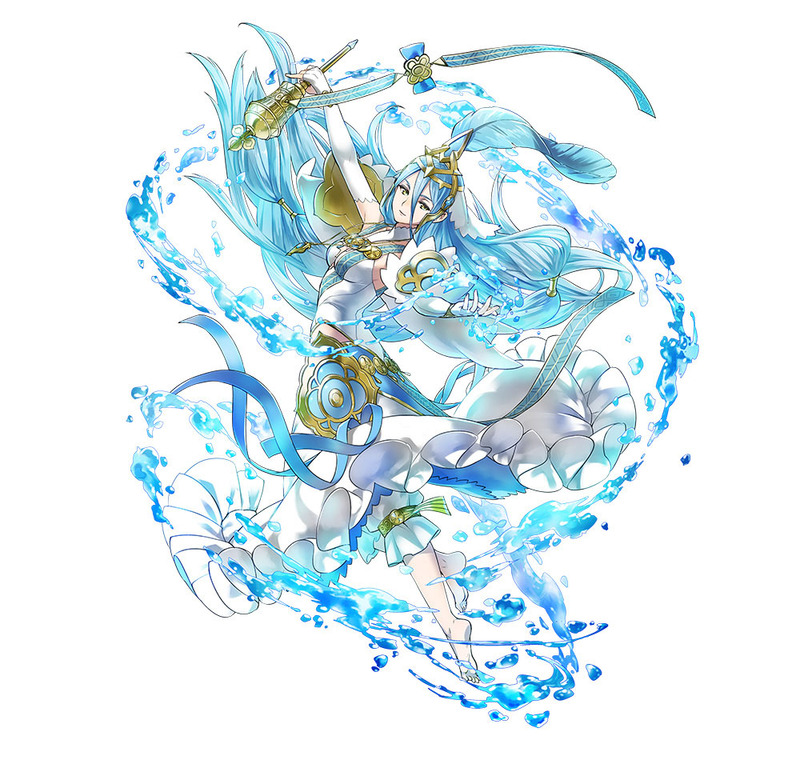 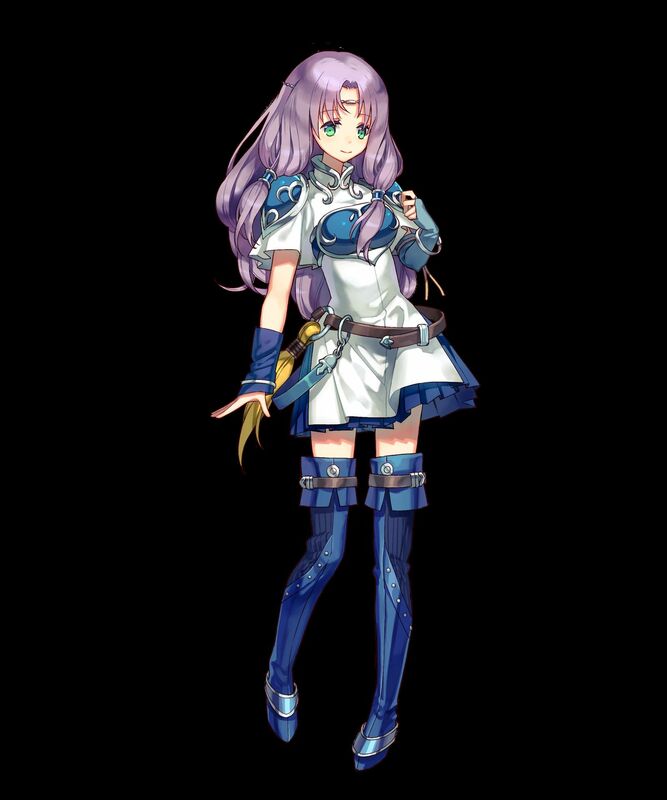 [5 ★ Focus] Camilla, Spring Princess.Voiced by Misty Lee. 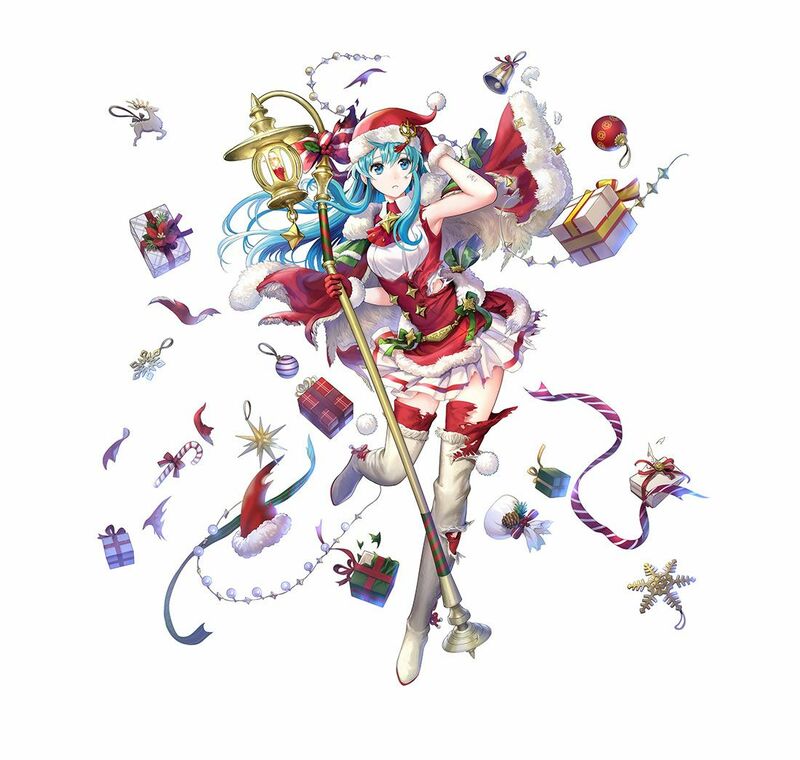 Artist: Maeshima Shigeki. 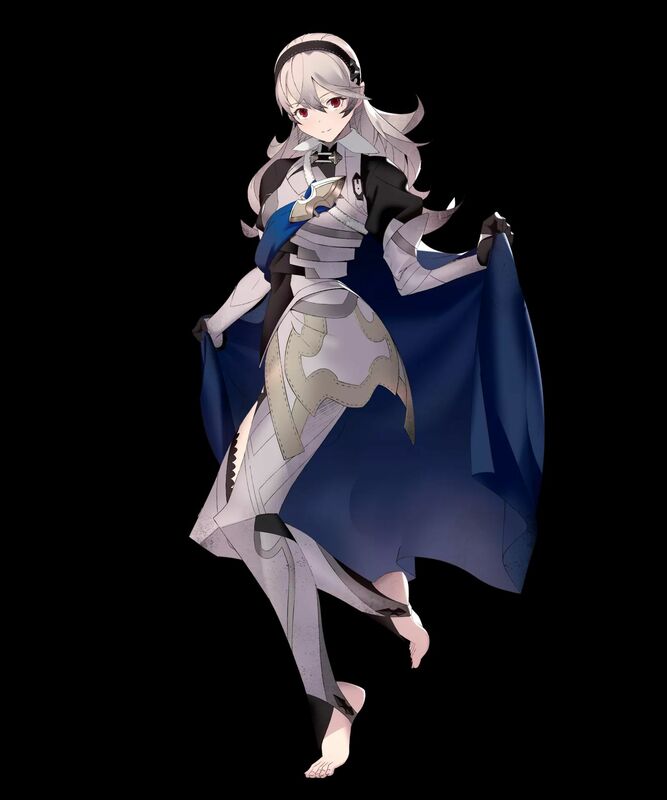 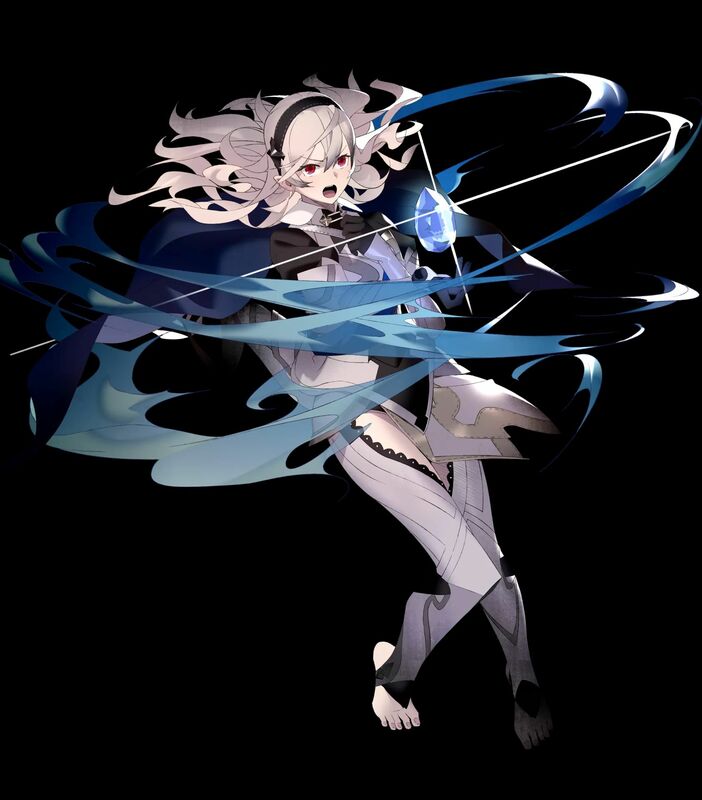 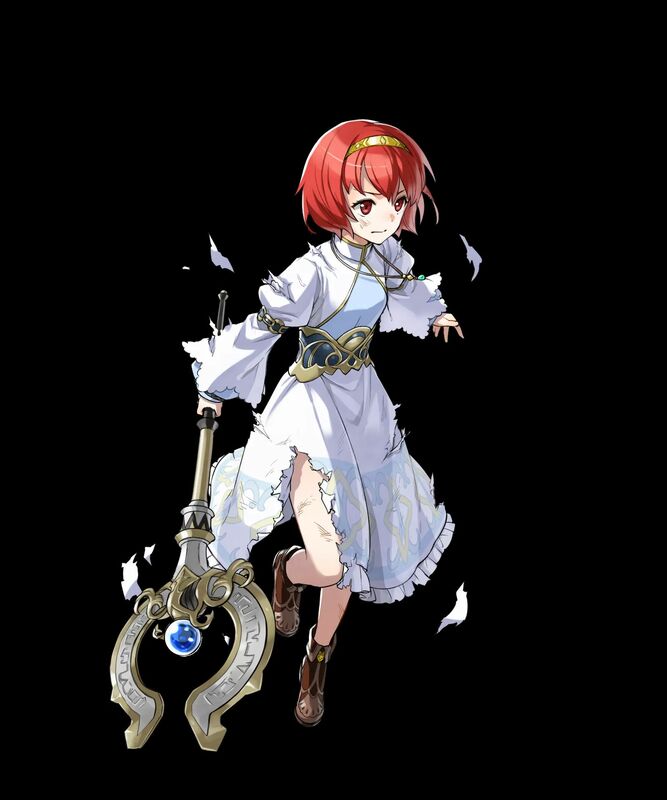 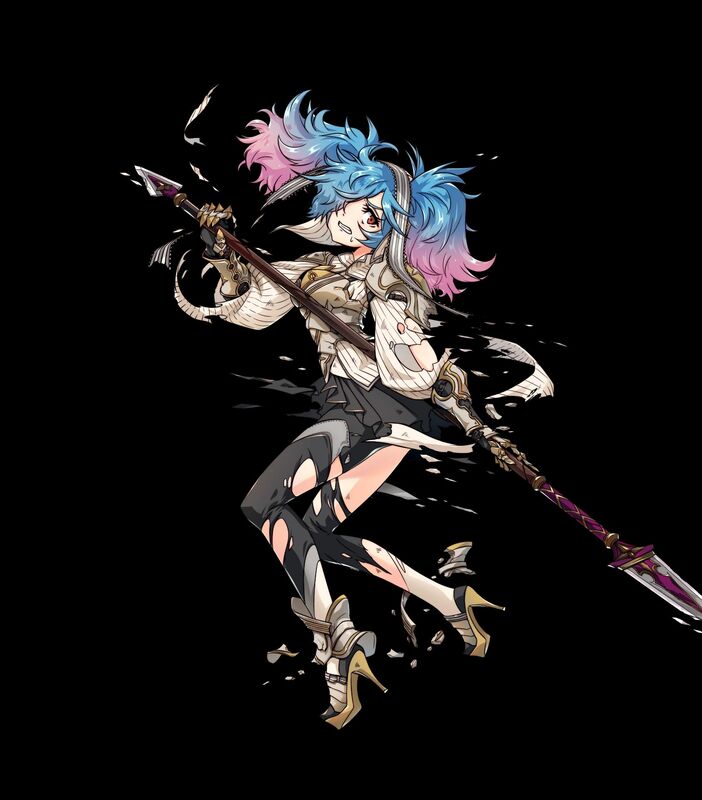 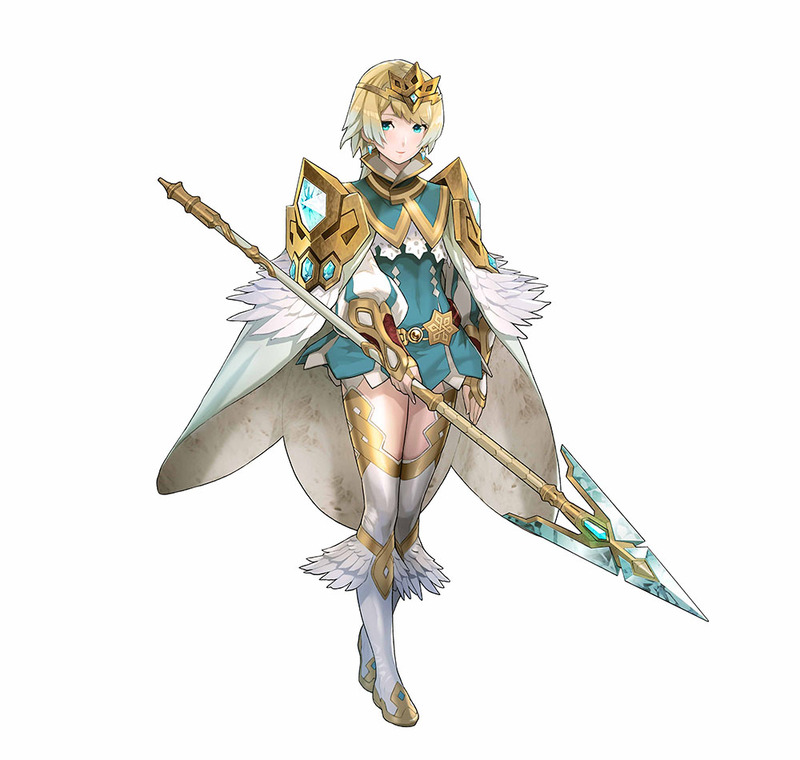 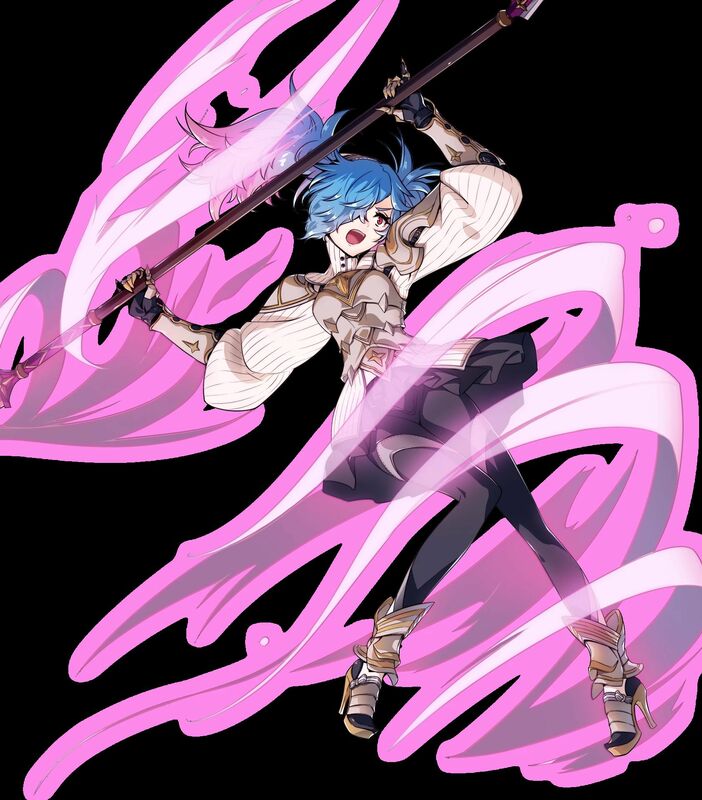 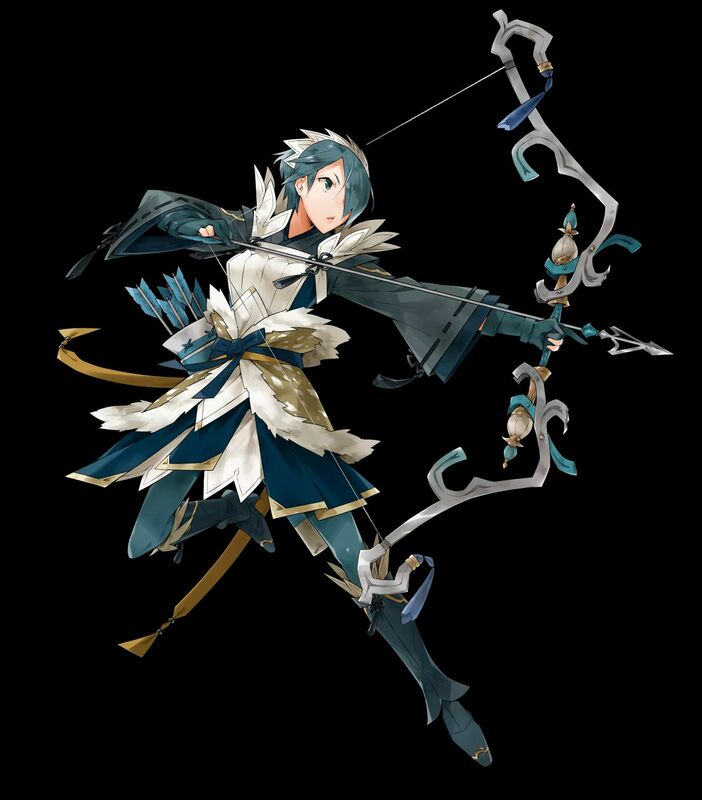 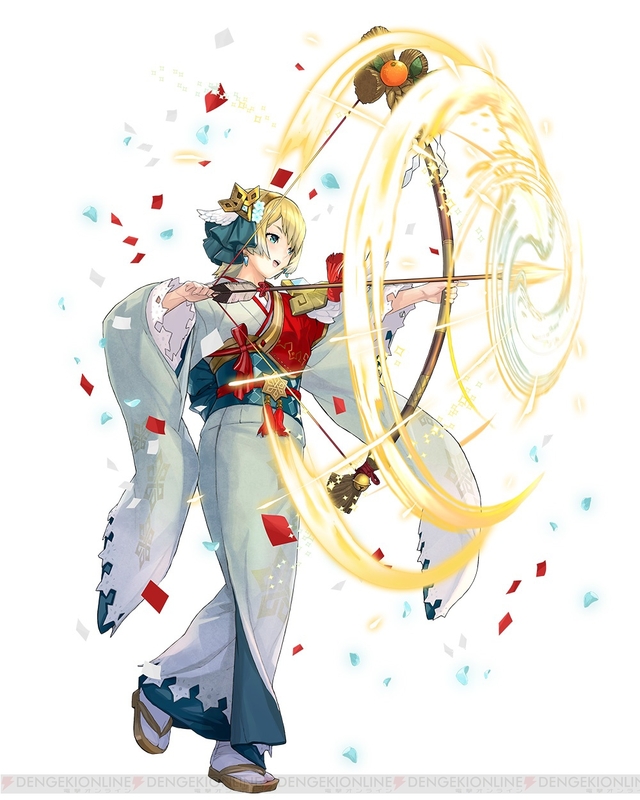 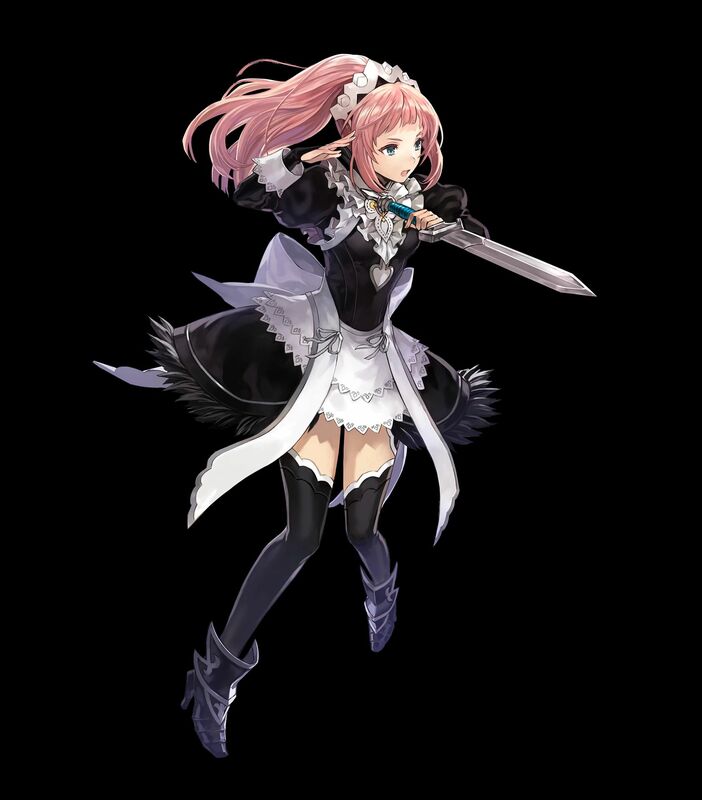 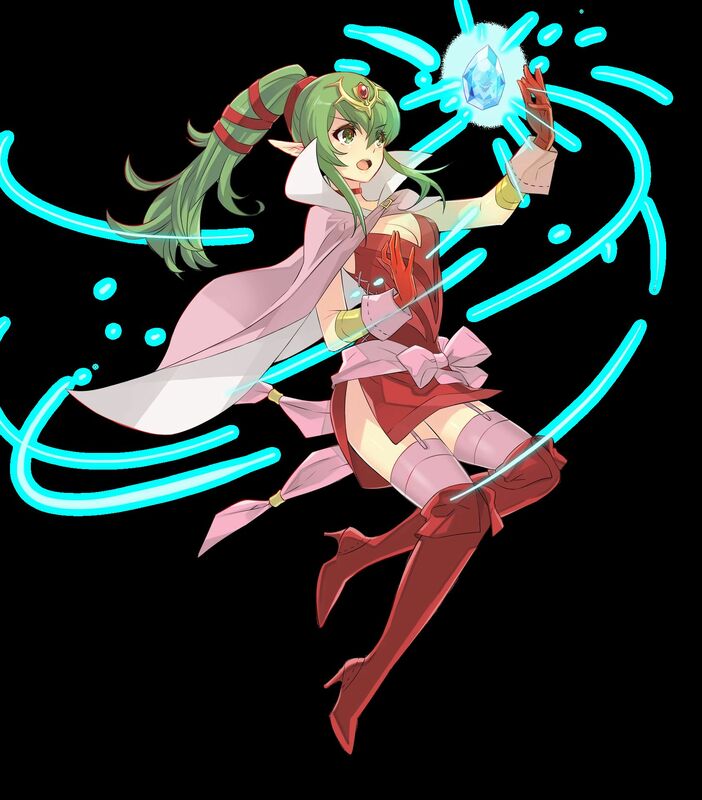 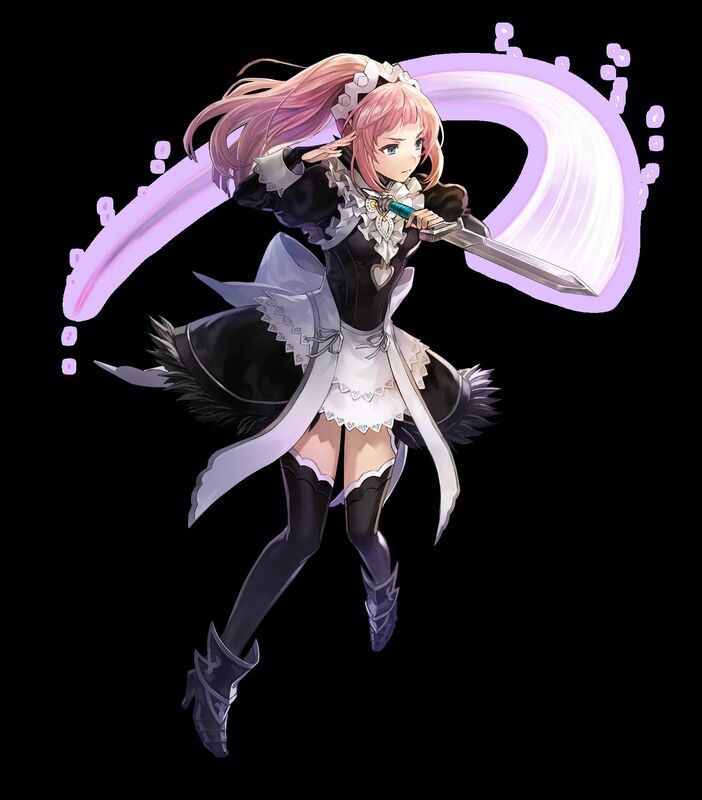 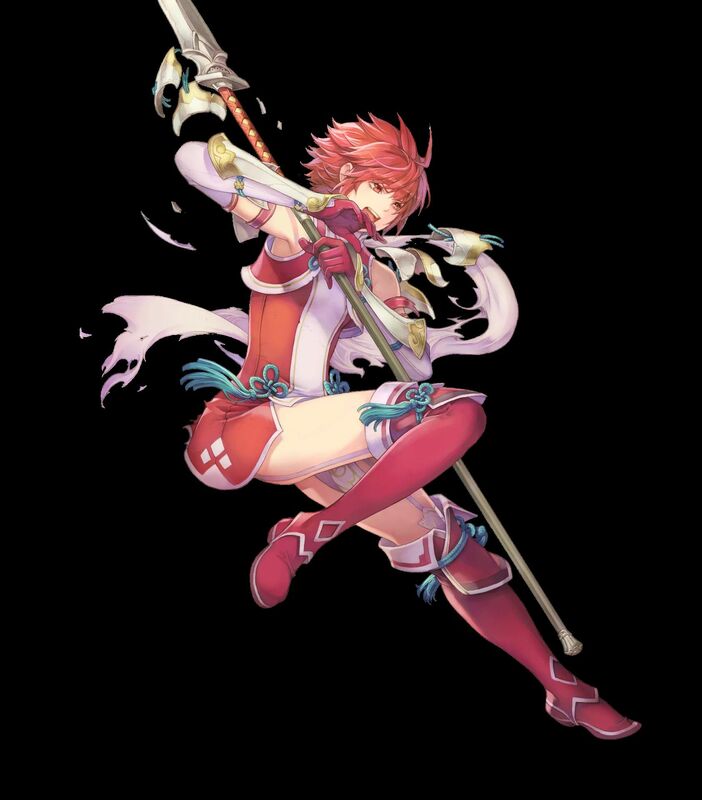 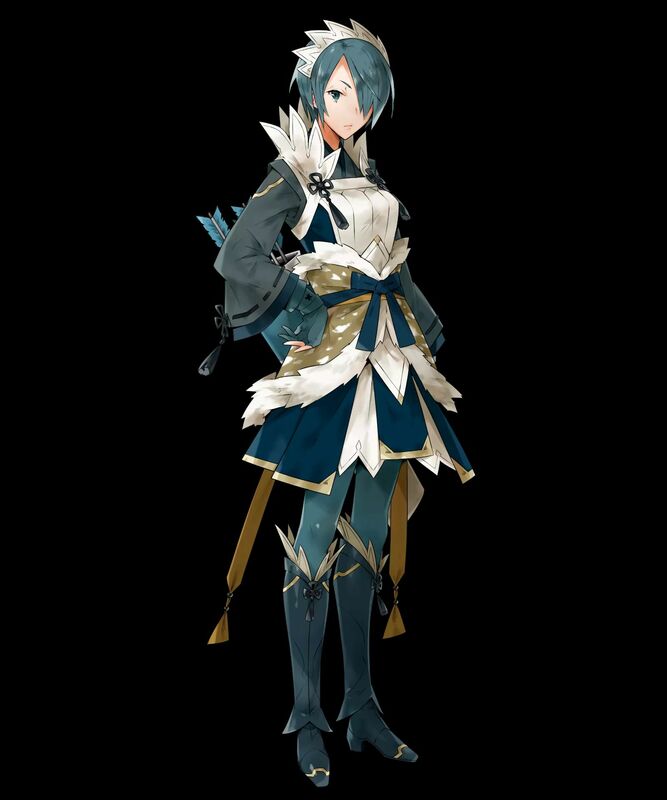 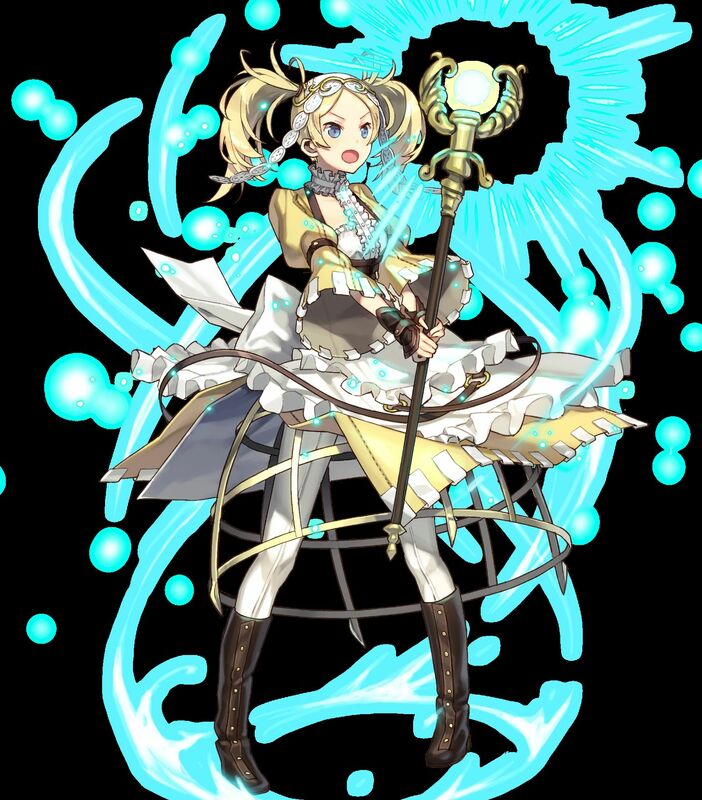 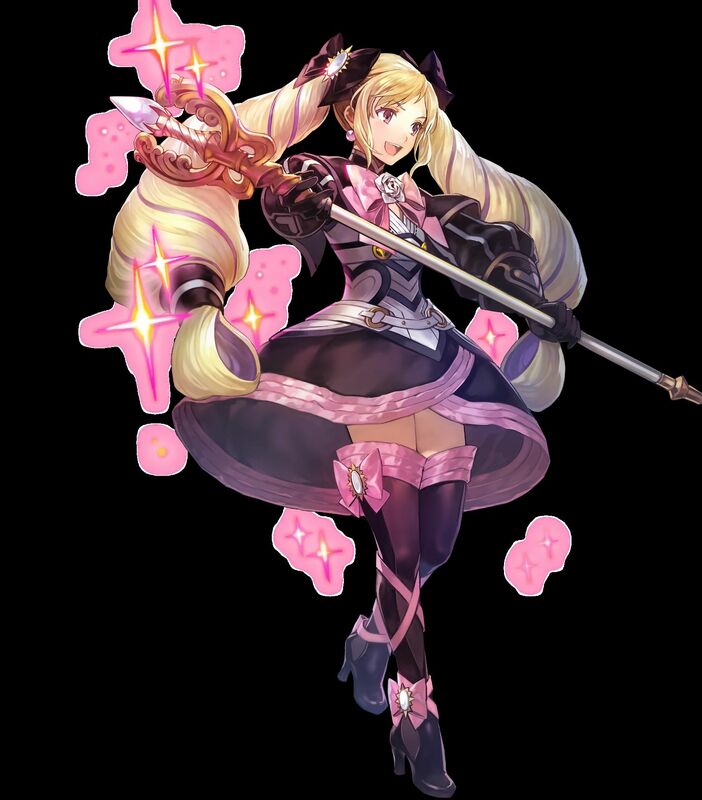 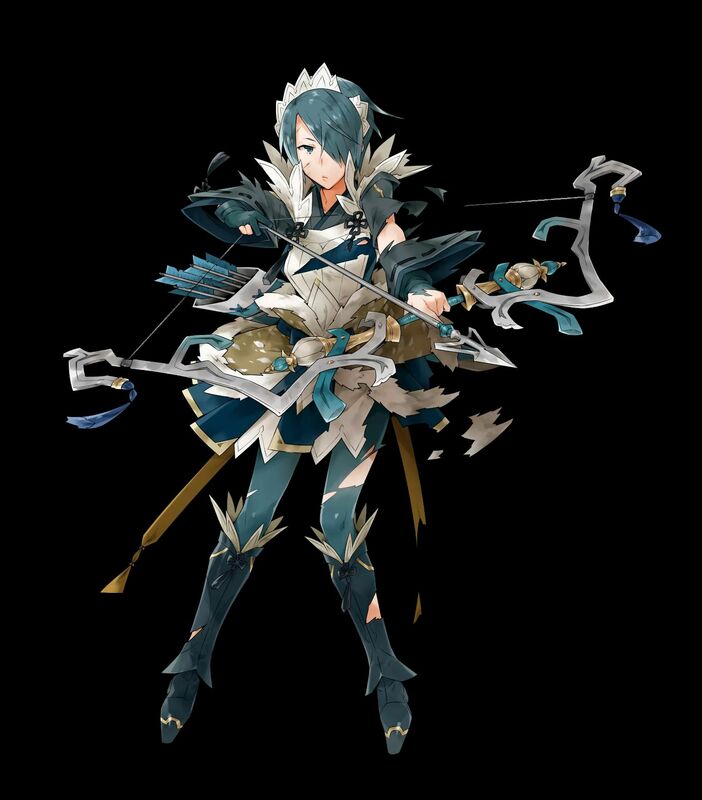 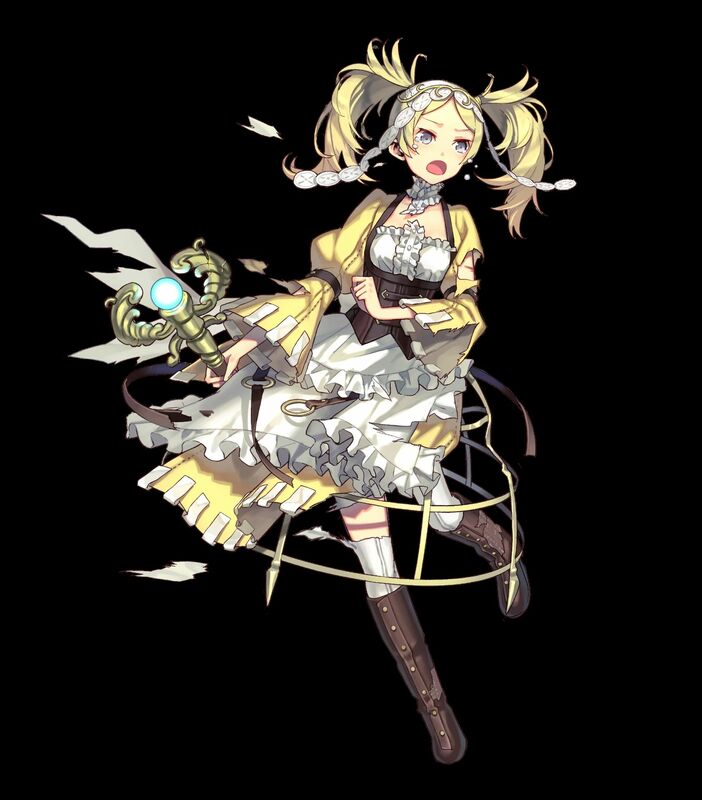 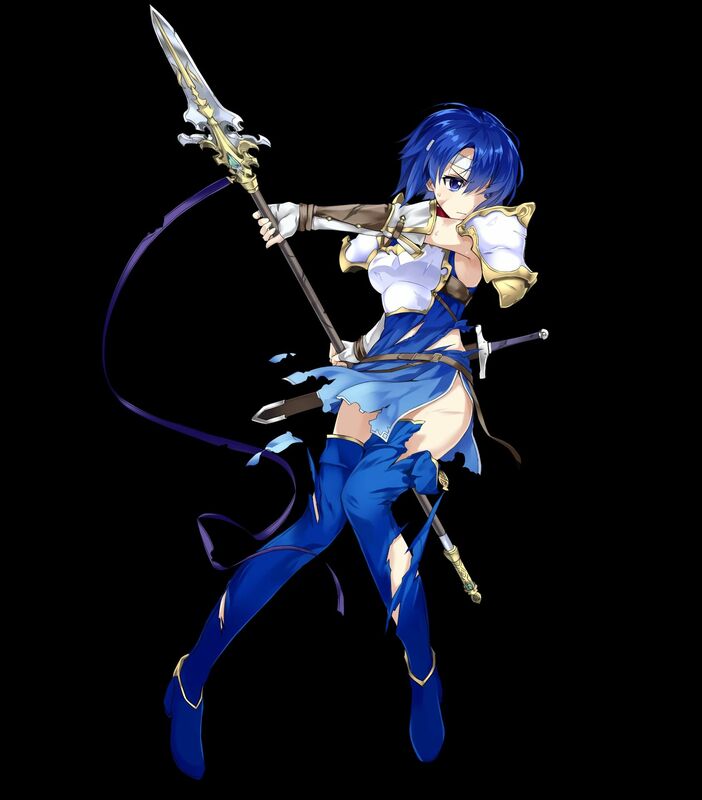 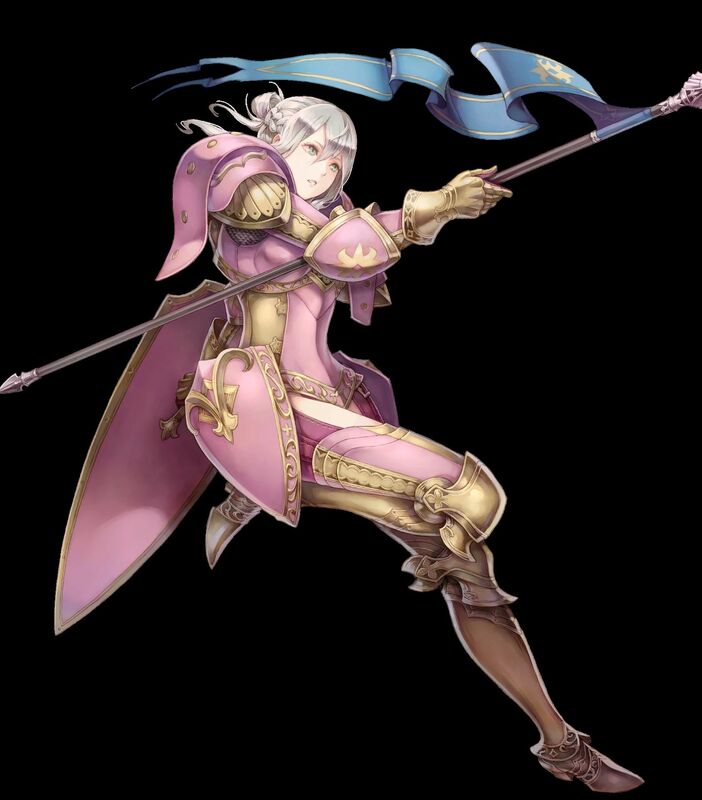 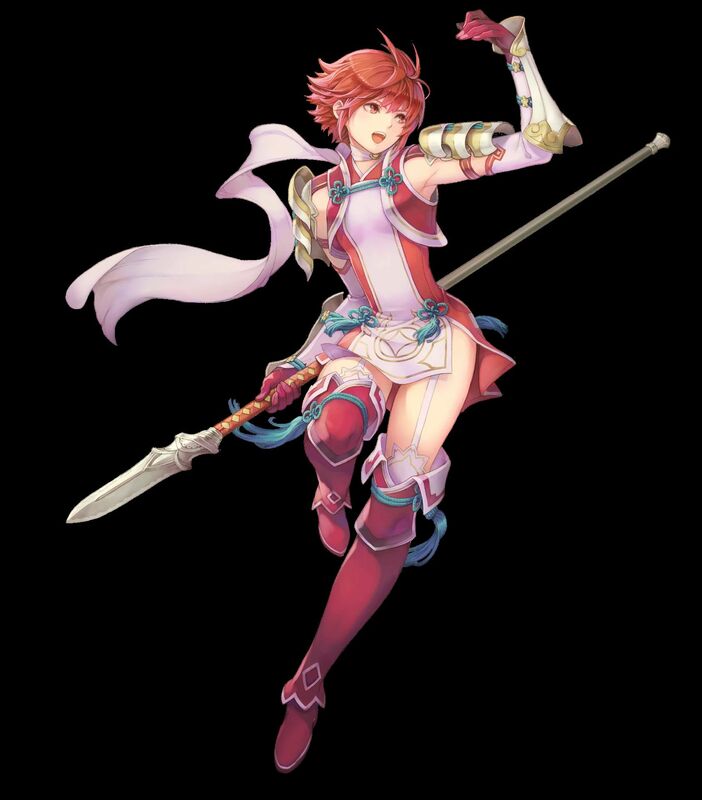 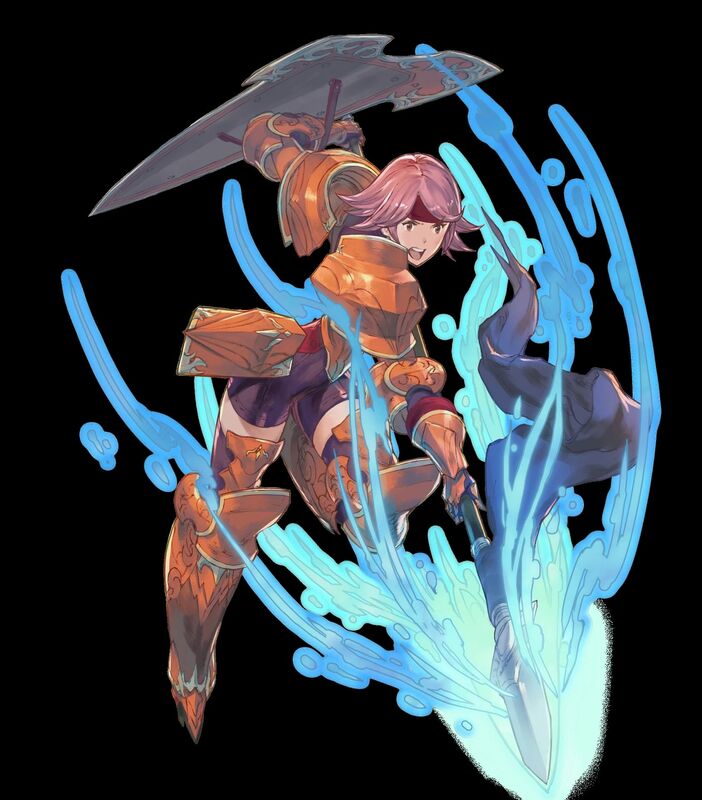 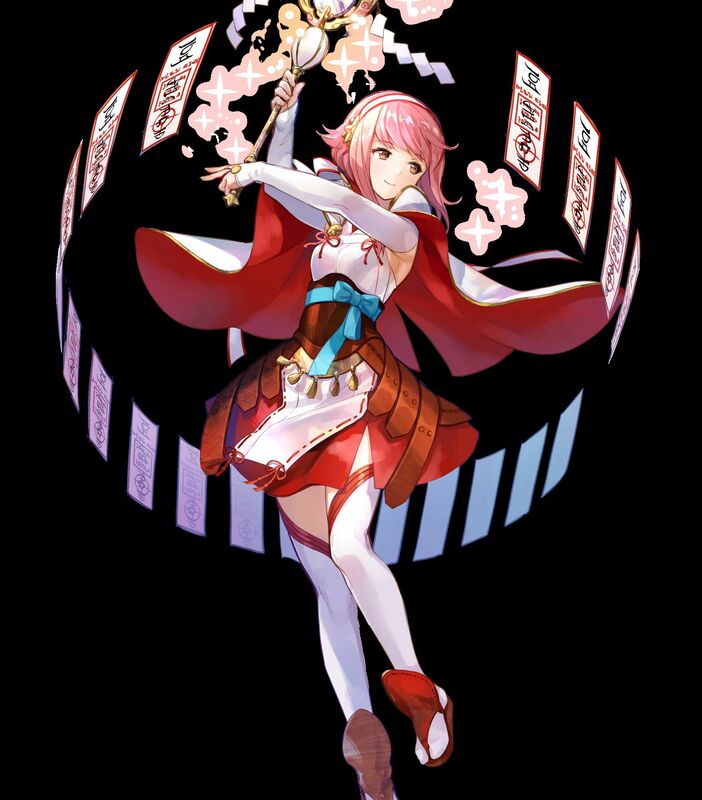 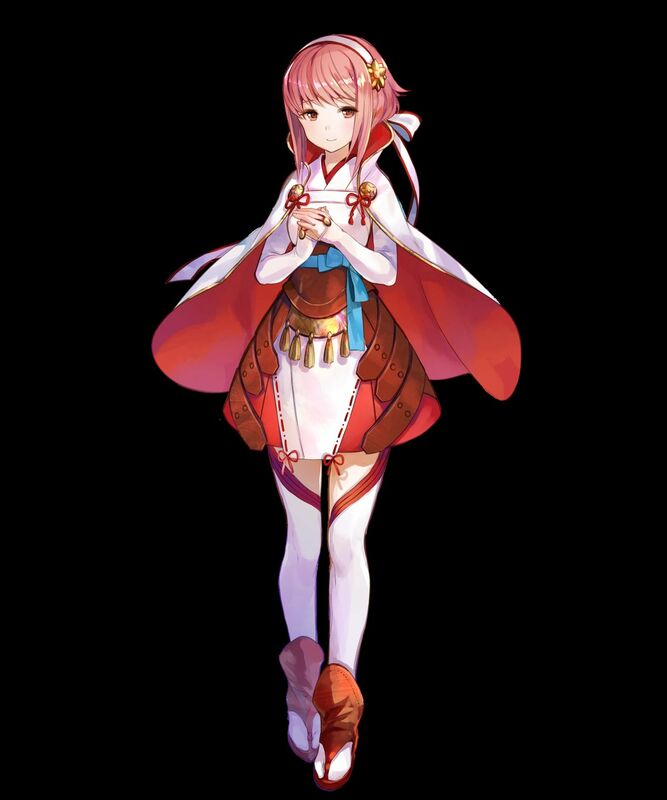 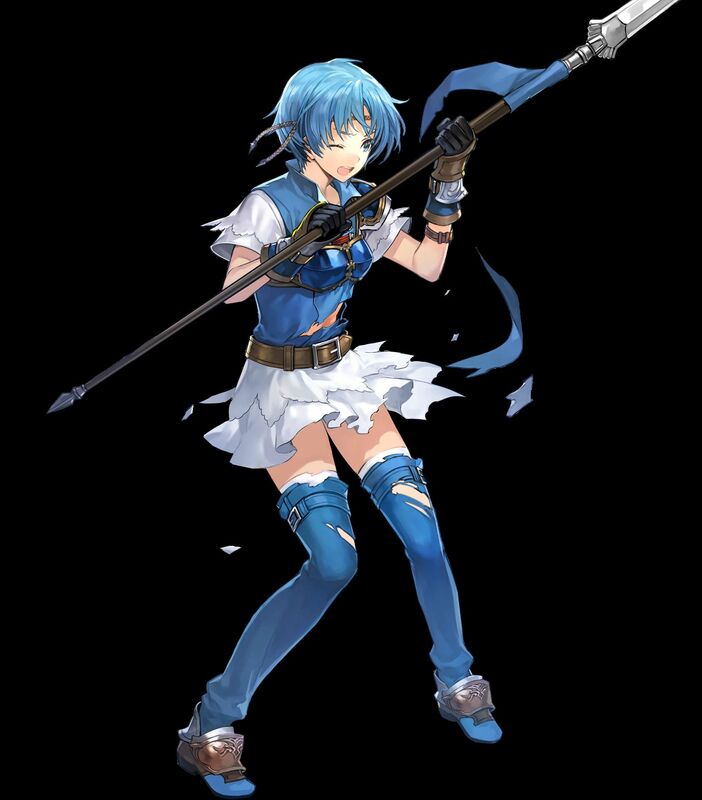 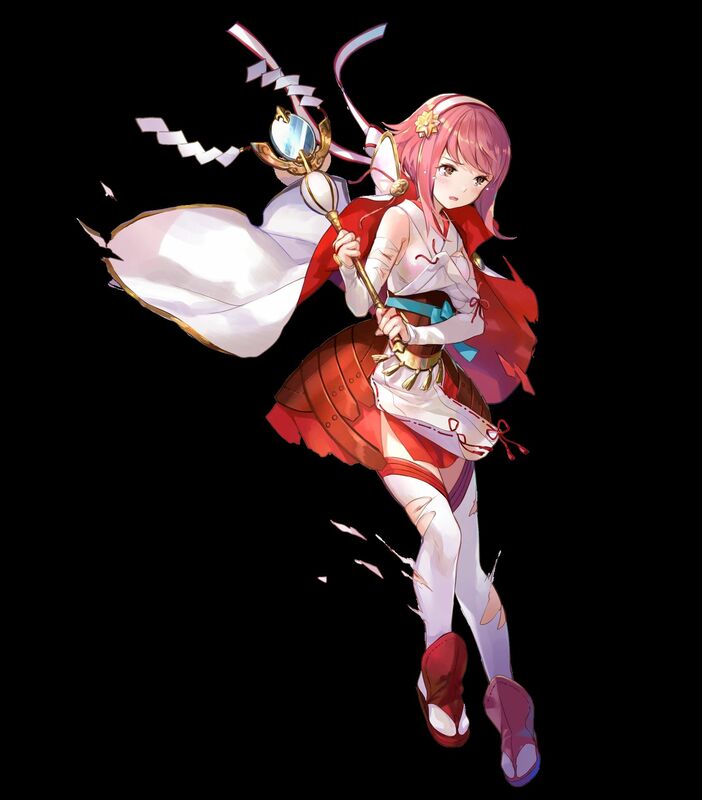 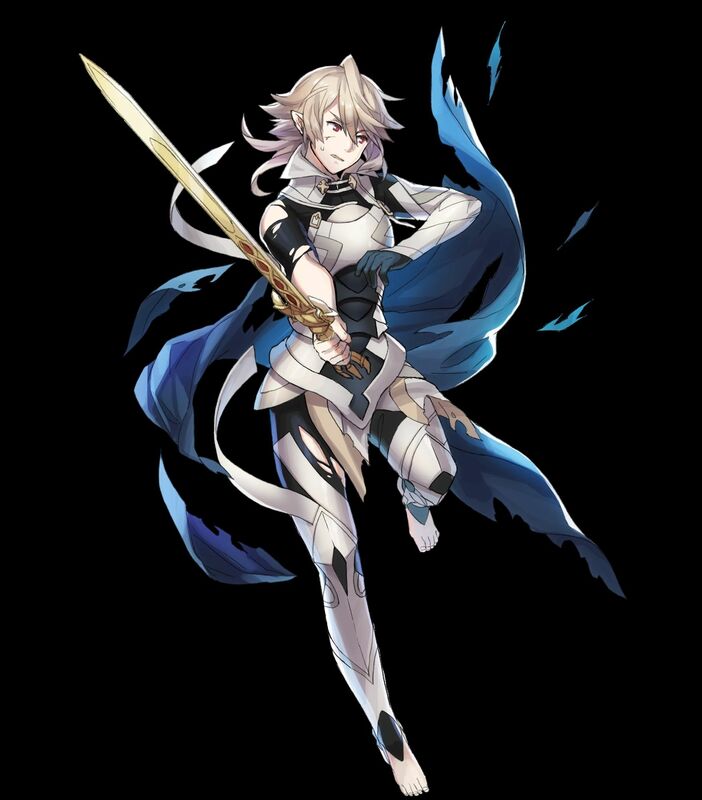 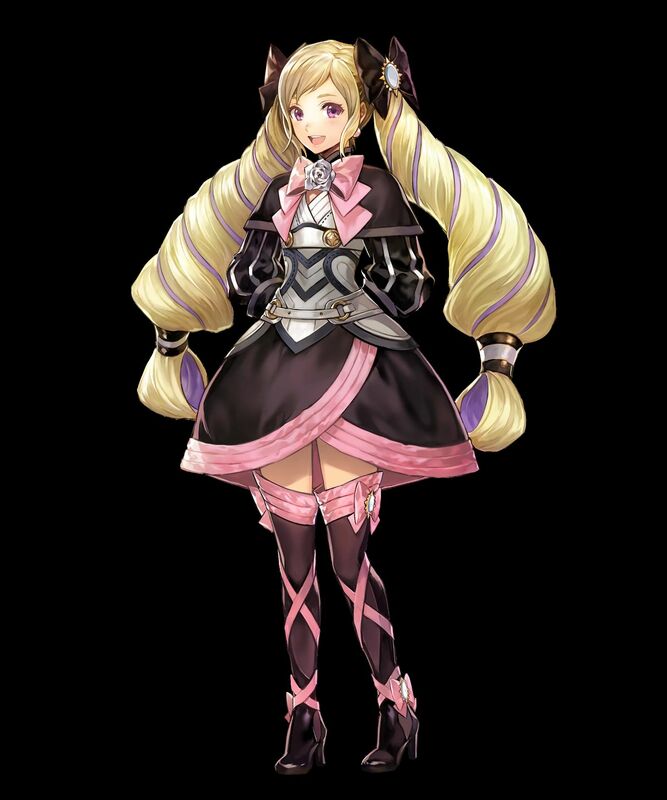 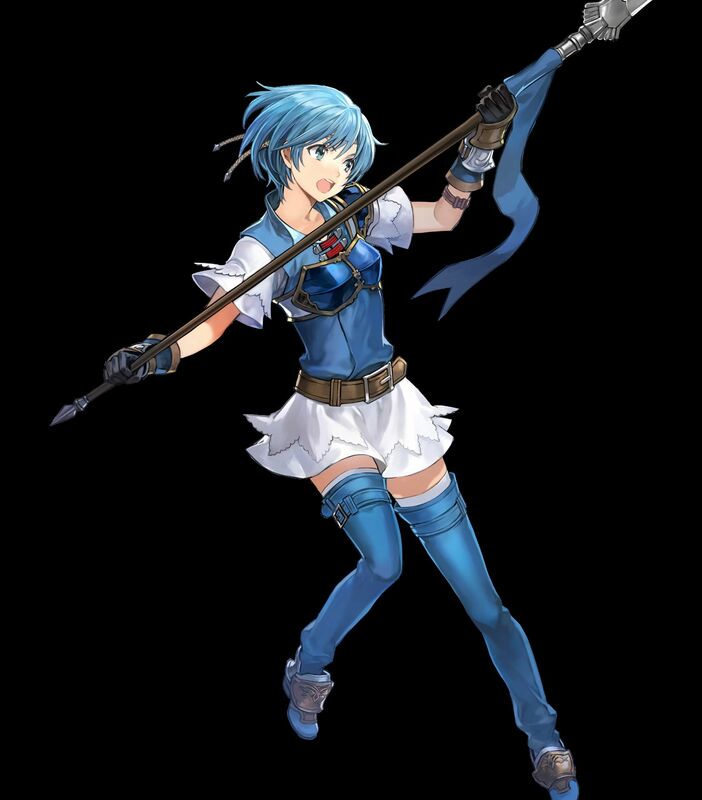 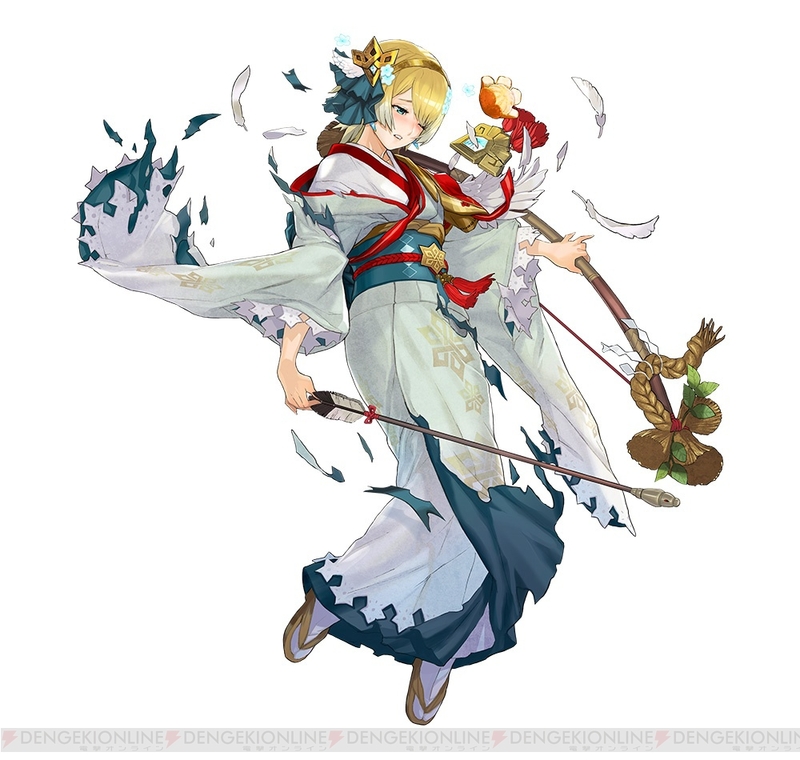 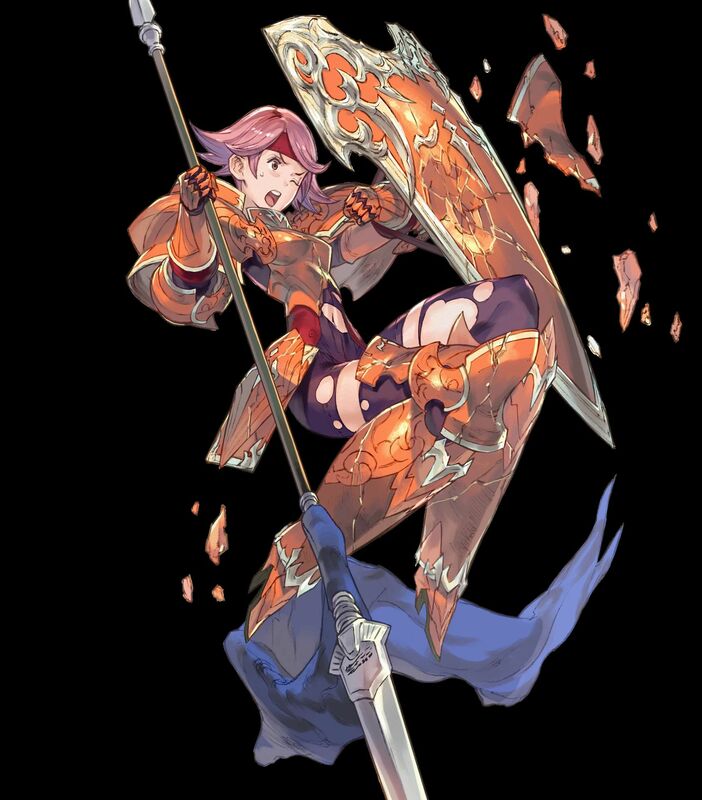 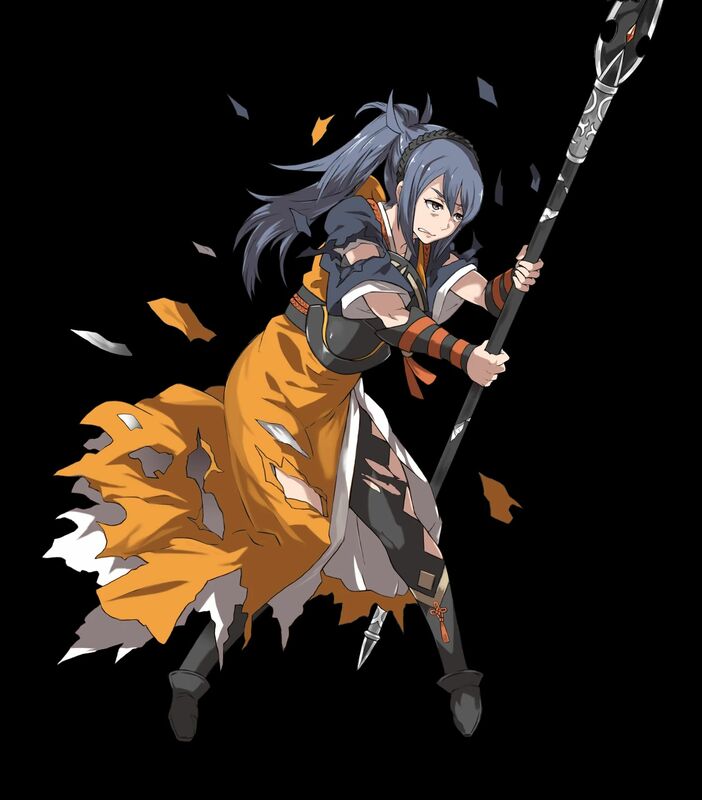 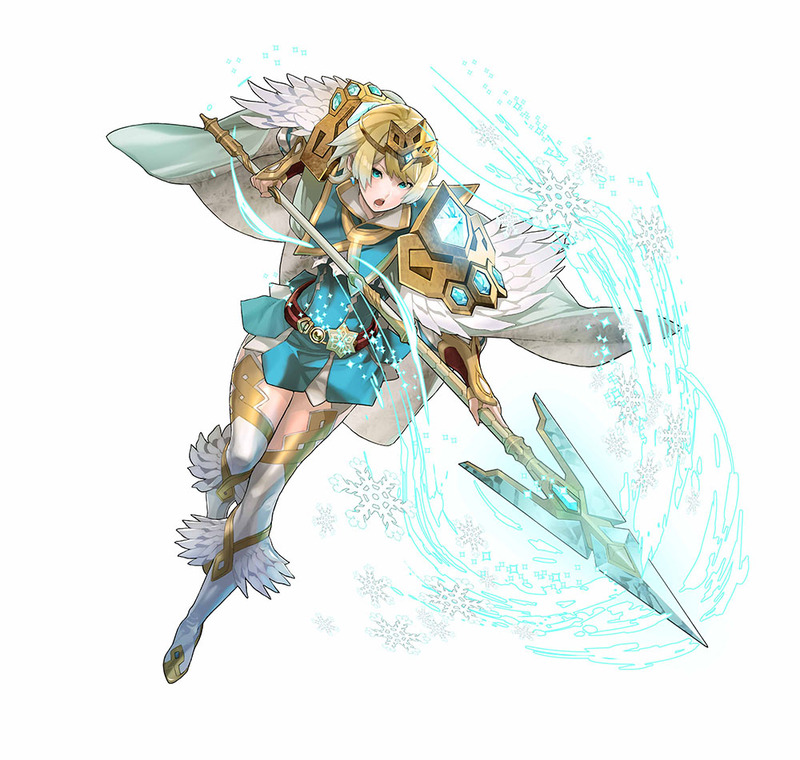 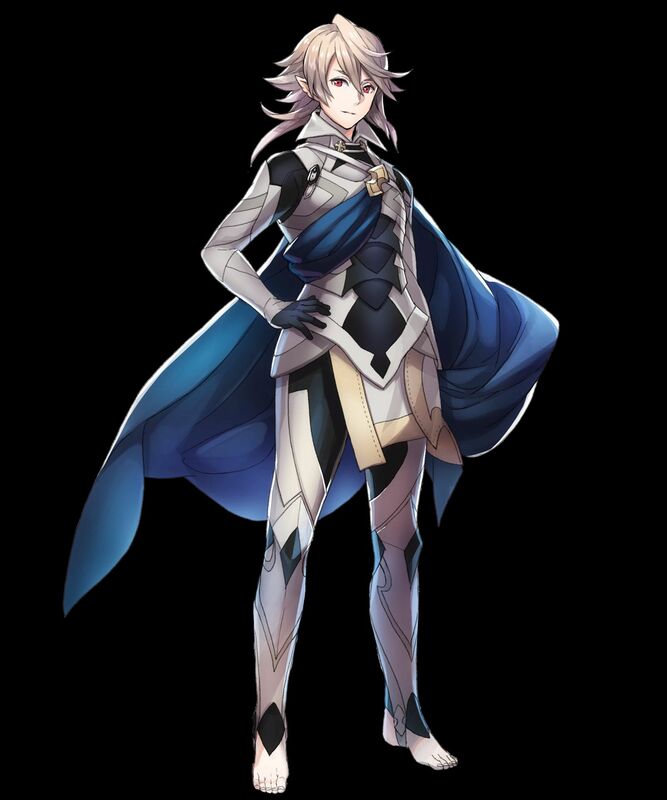 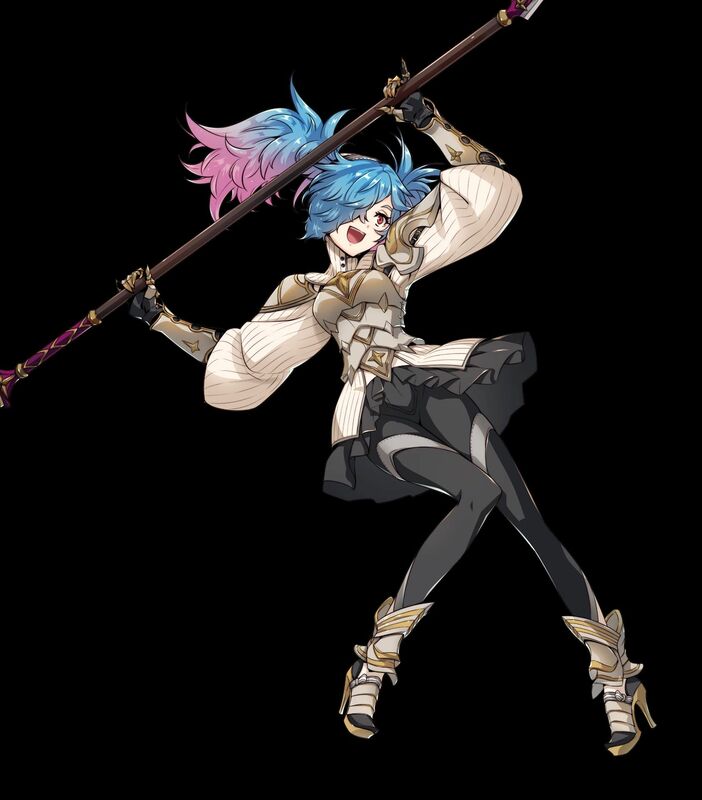 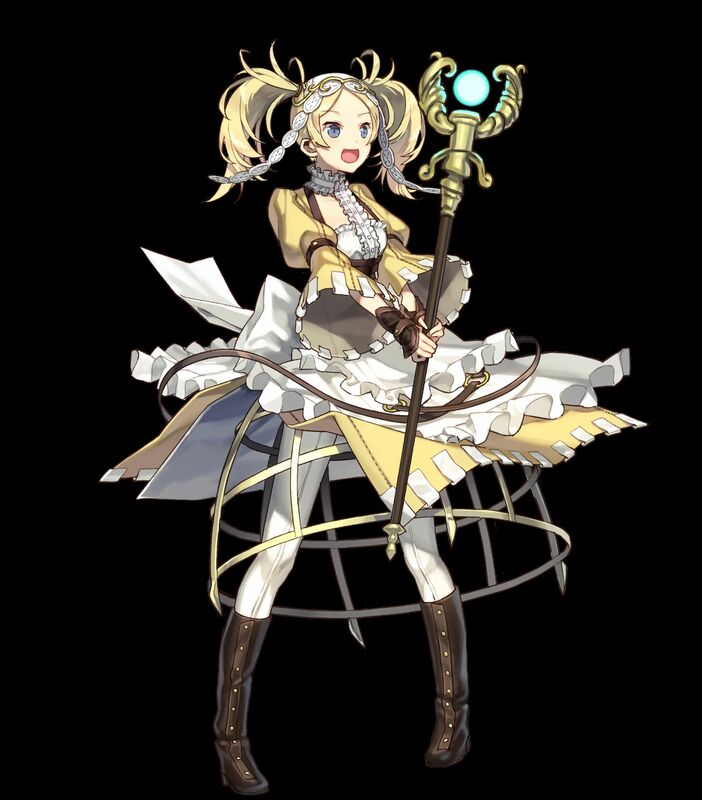 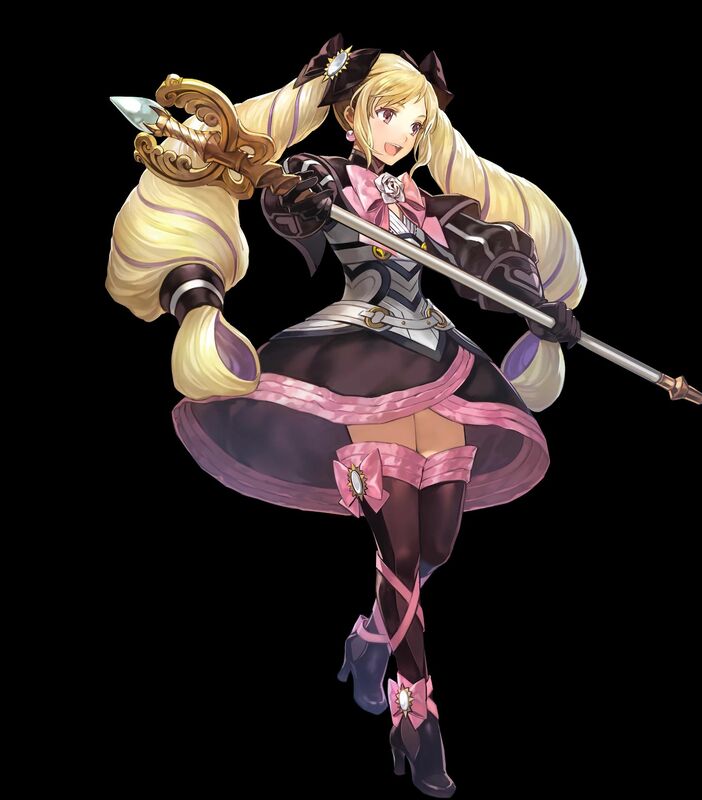 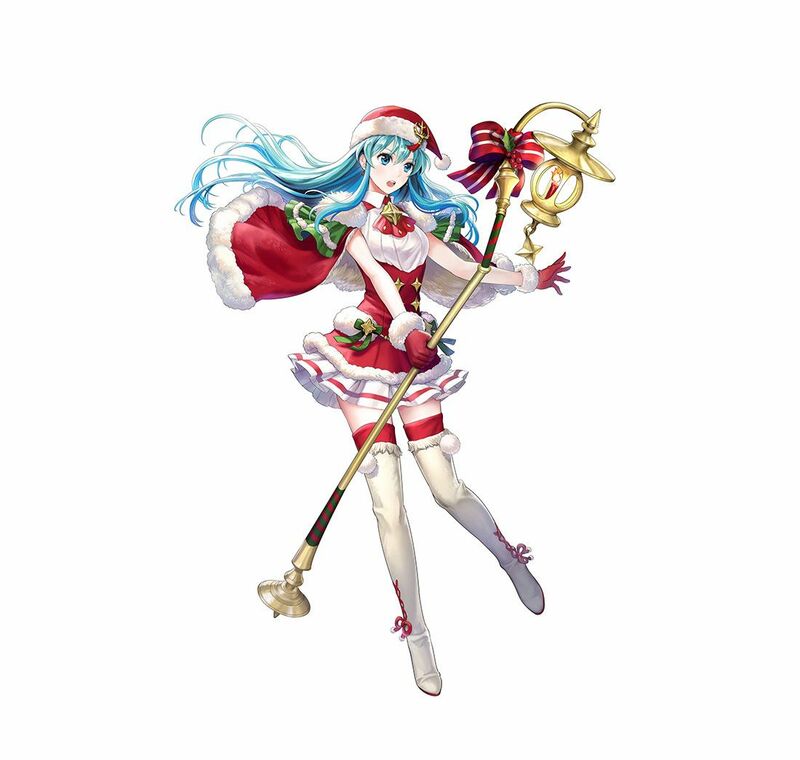 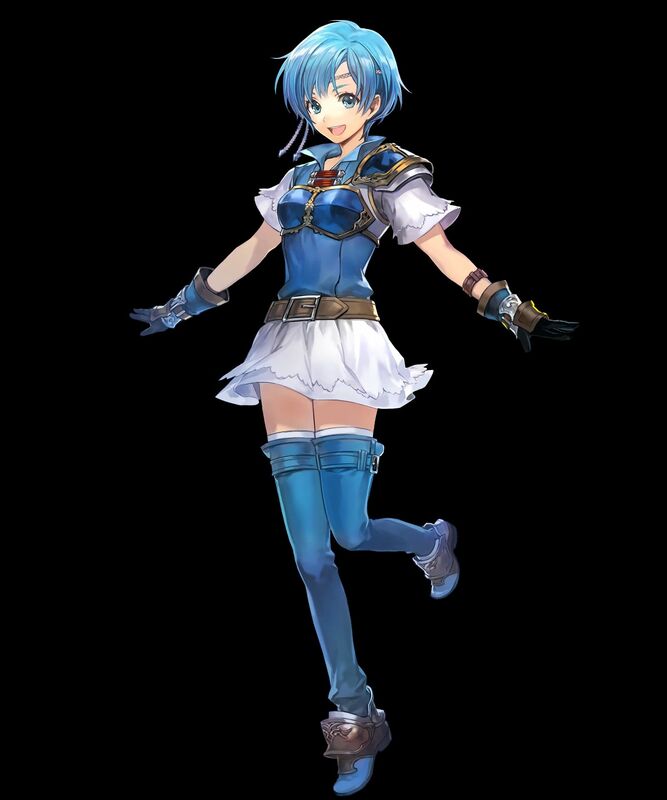 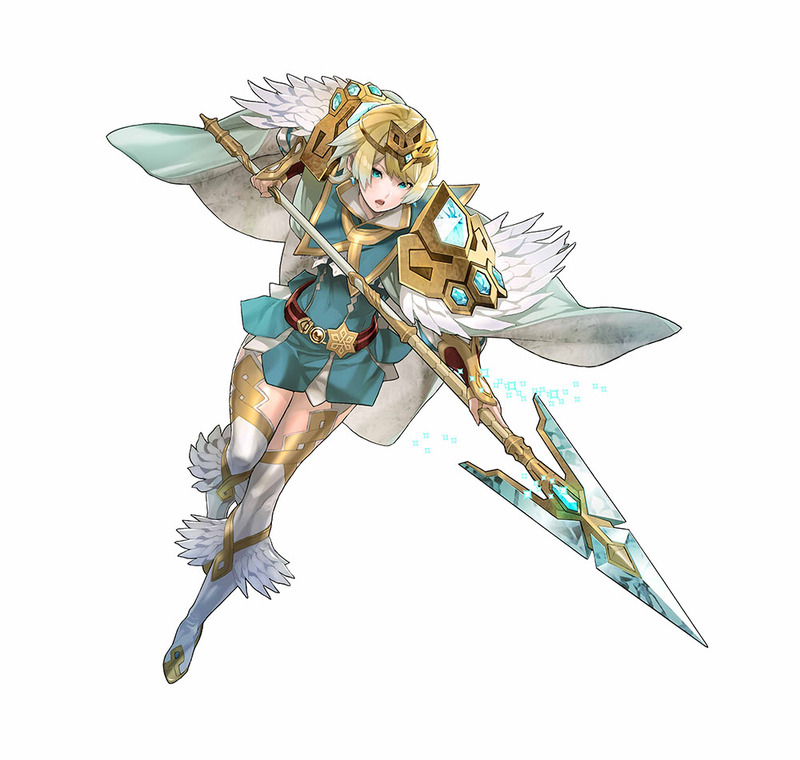 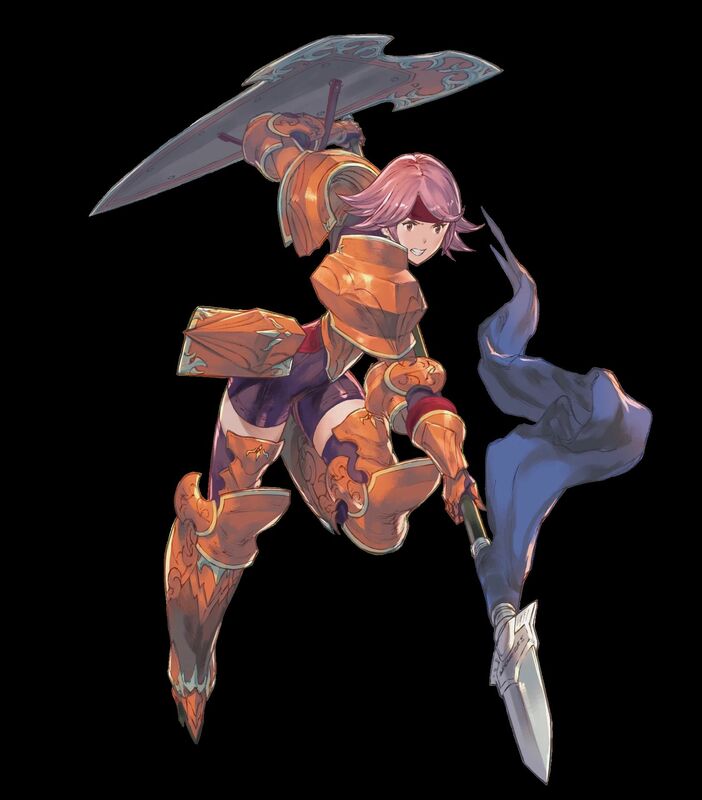 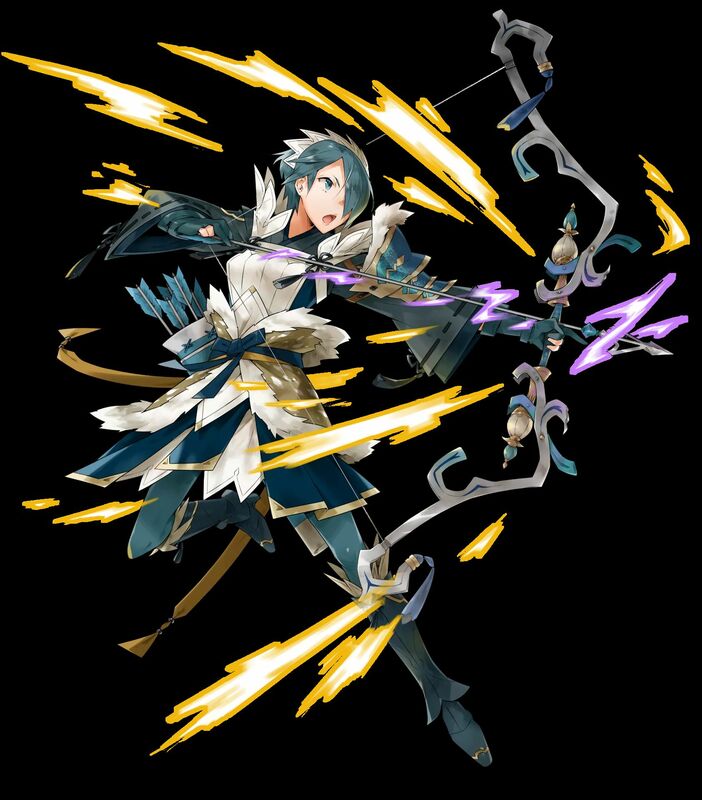 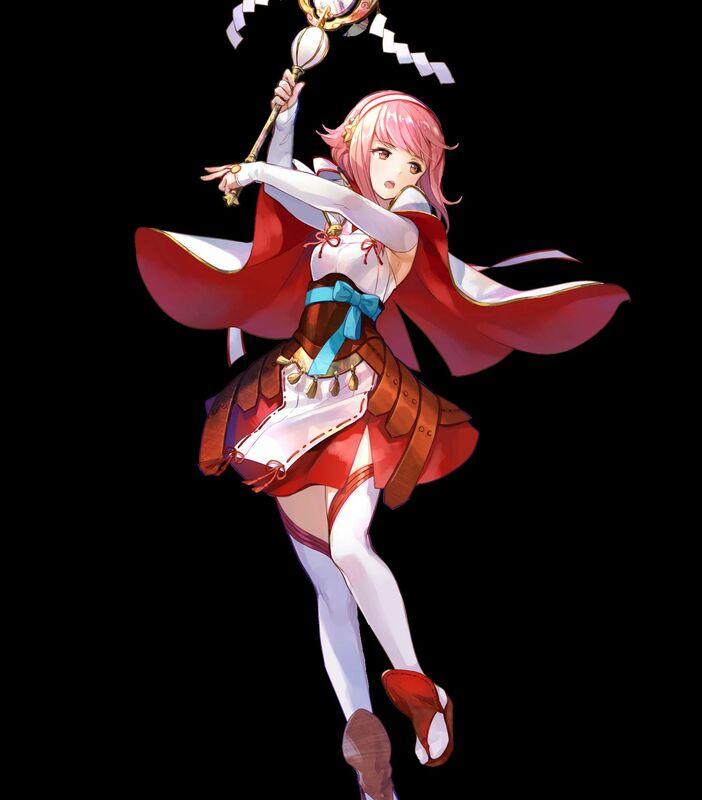 [5 ★ Focus] Peri, the Playful Slayer (from Fire Emblem Fates: Conquest). 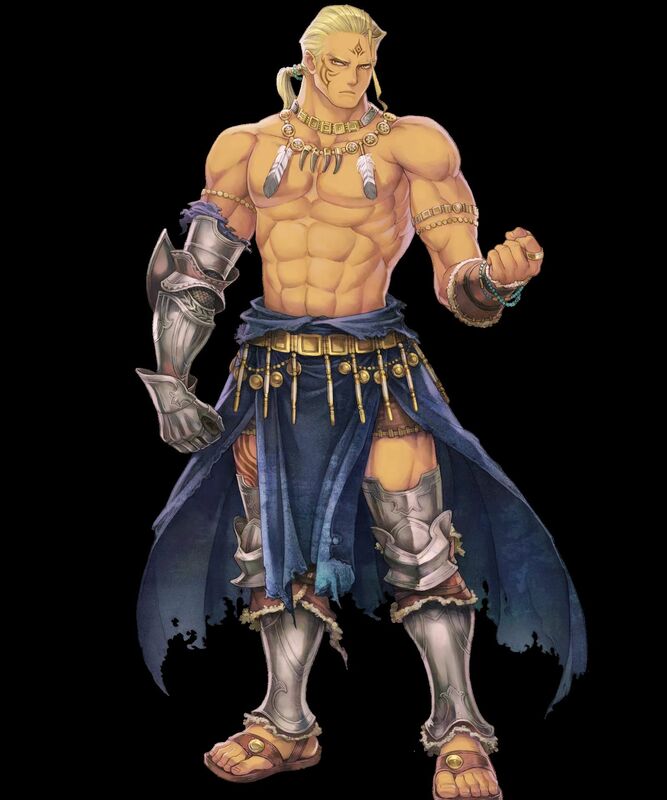 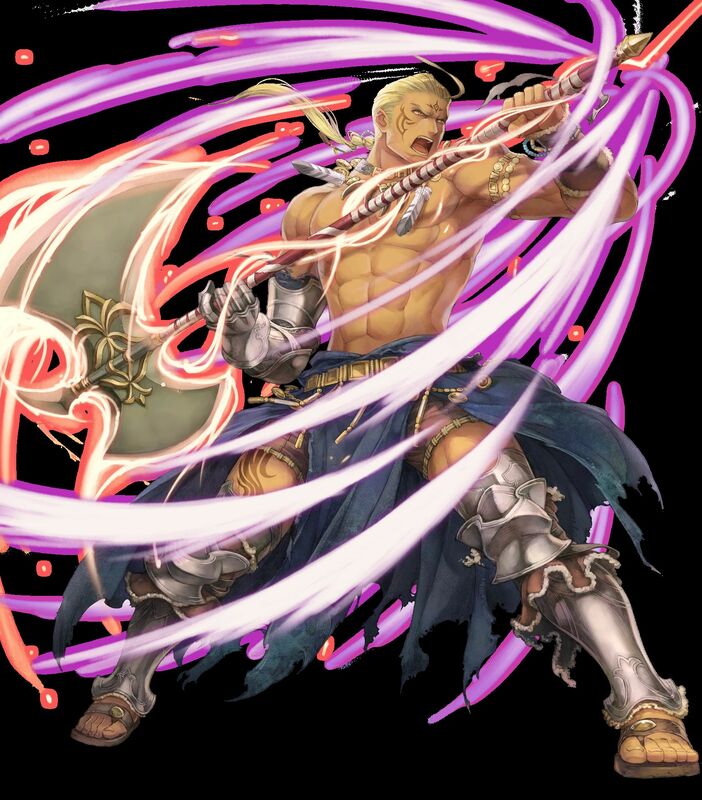 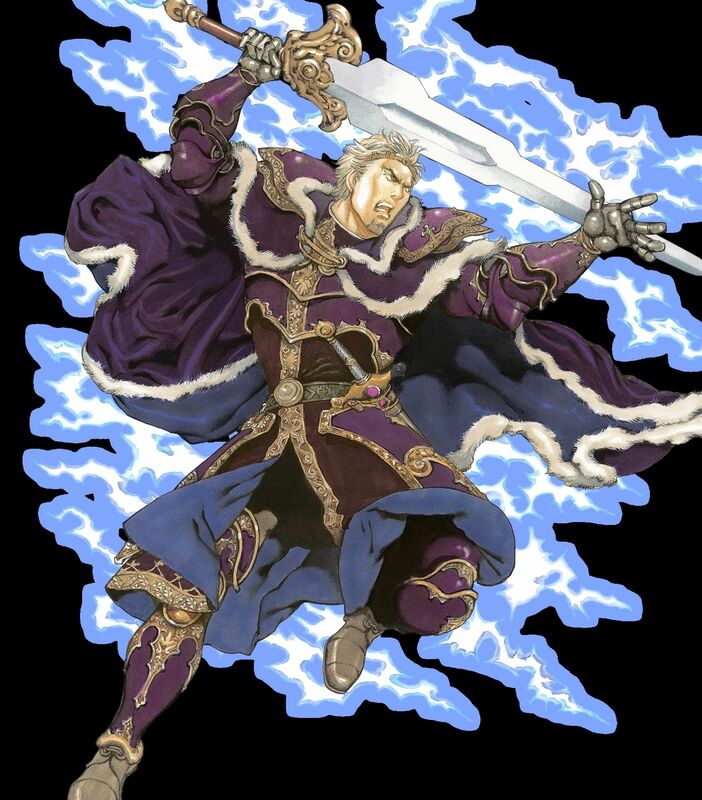 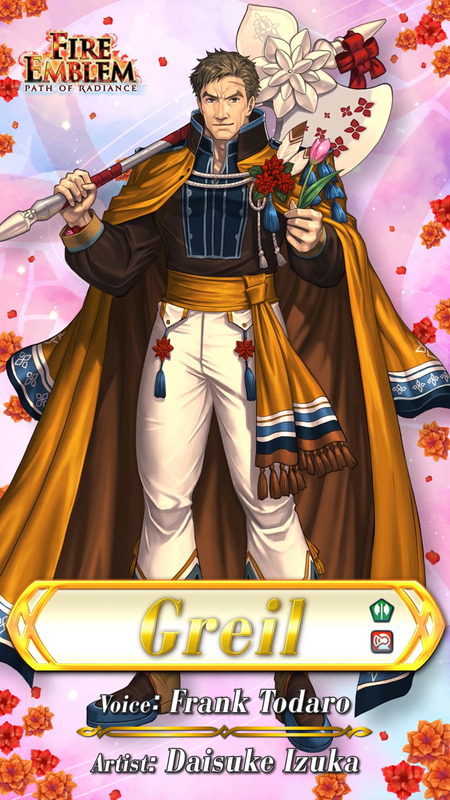 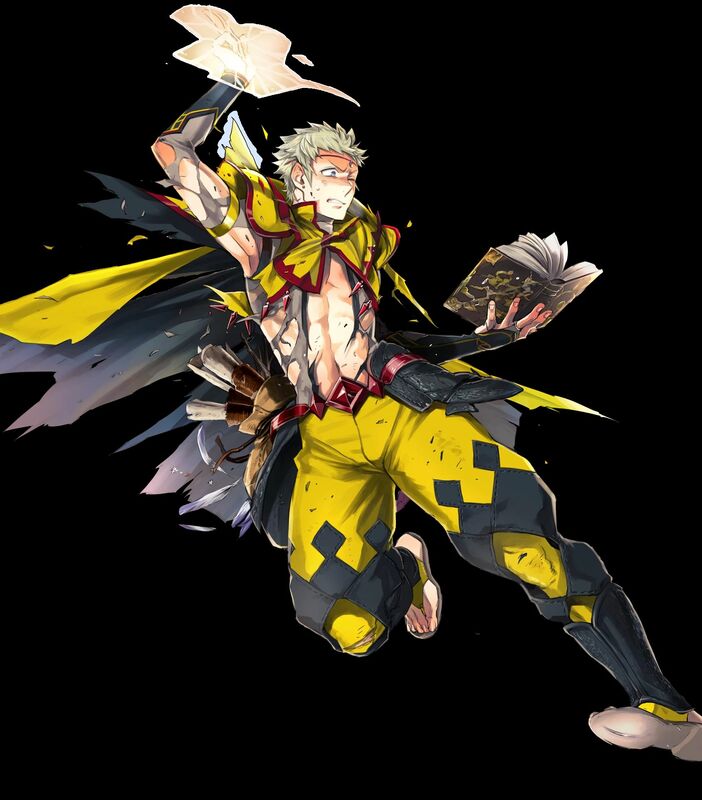 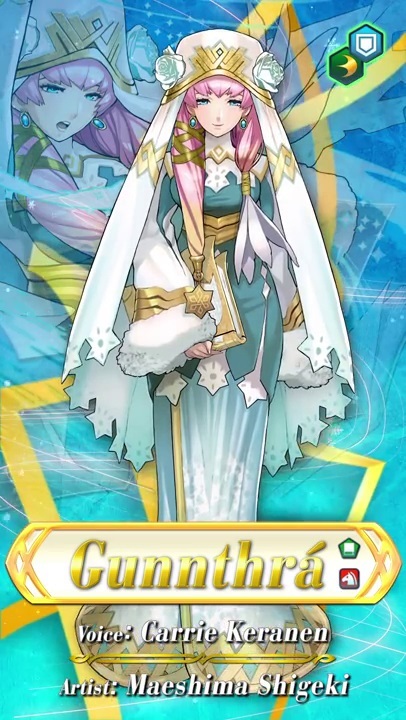 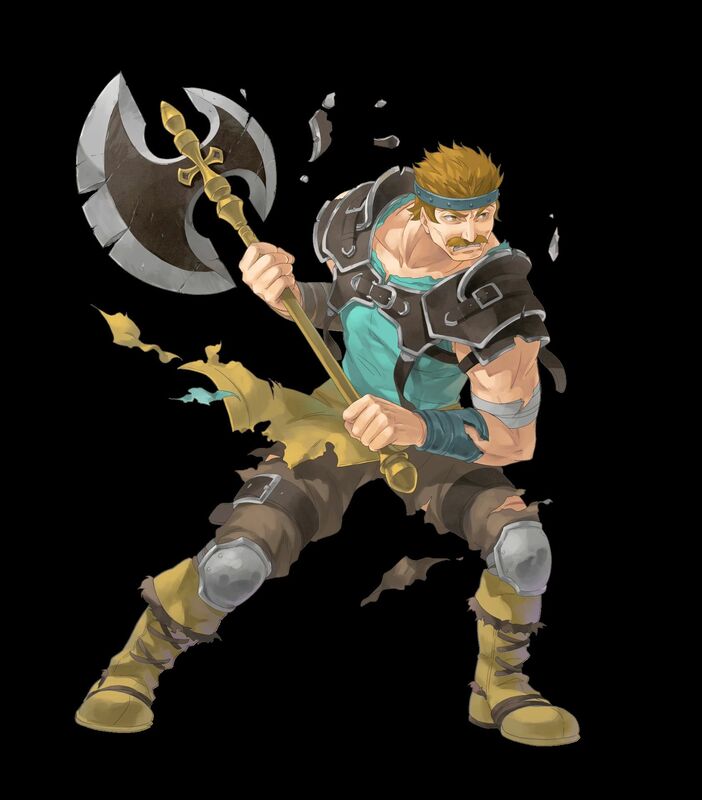 [5 ★ Focus] Caineghis, Gallia’s Lion-King (from Fire Emblem: Radiant Dawn). 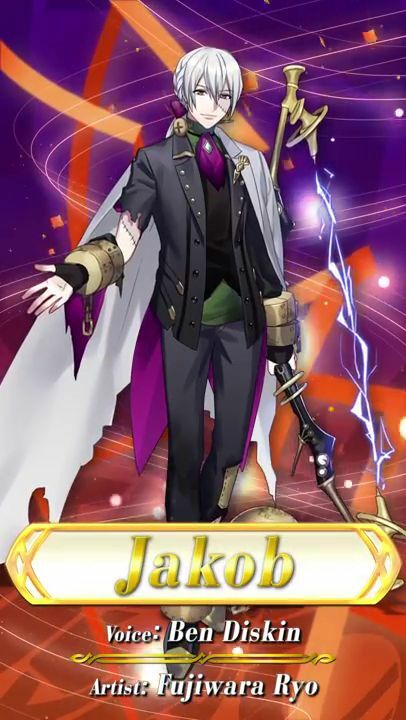 Voiced by Jake Eberle. 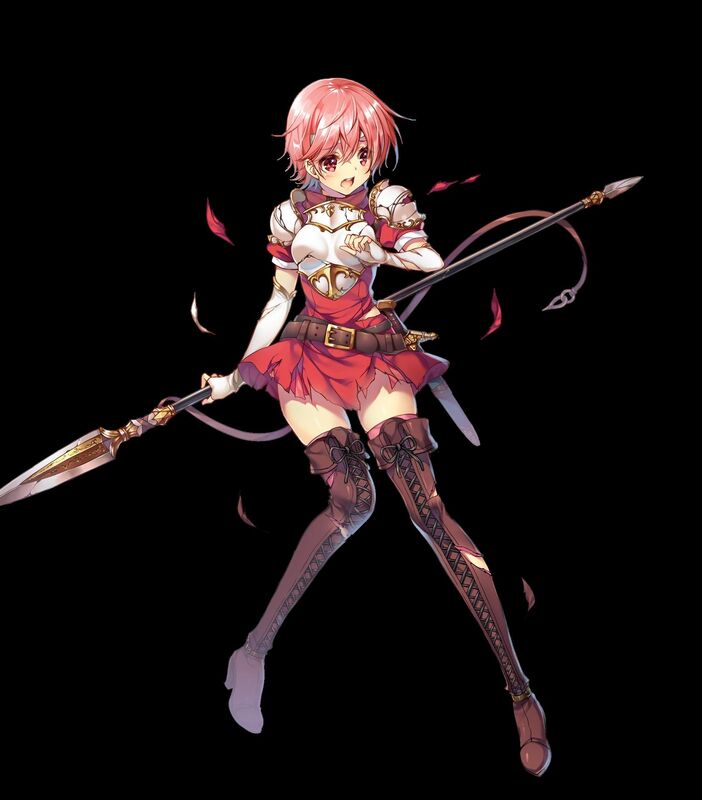 Artist: Kita Senri. 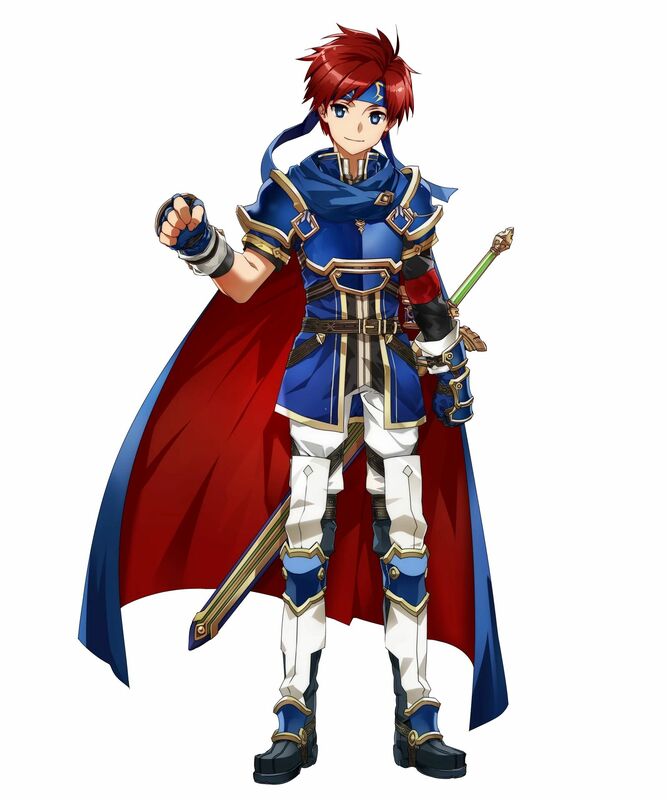 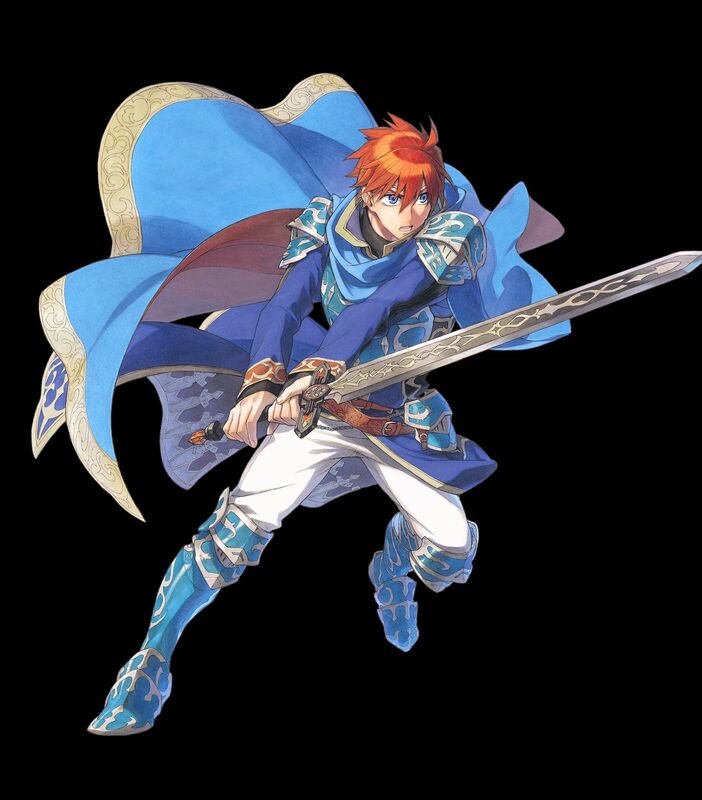 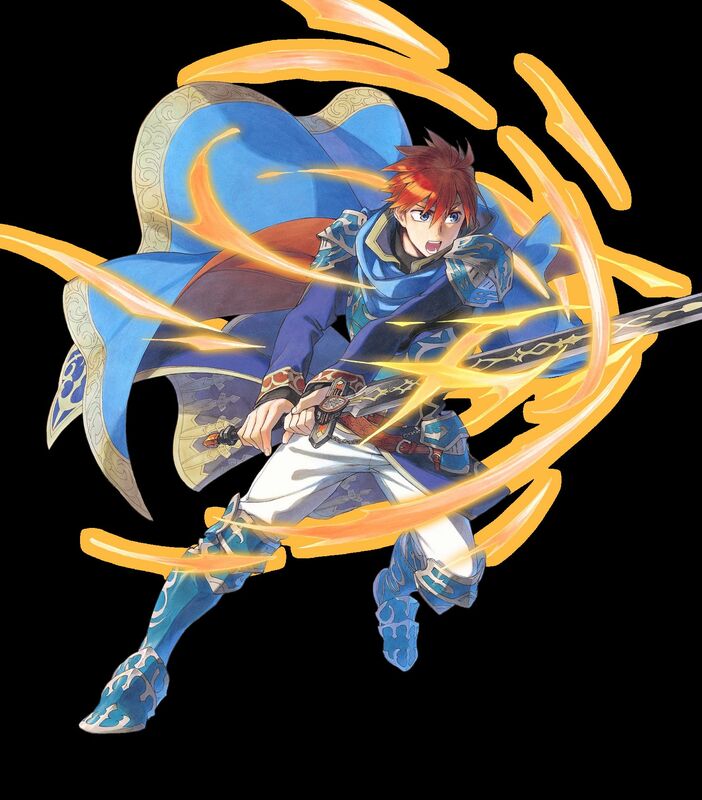 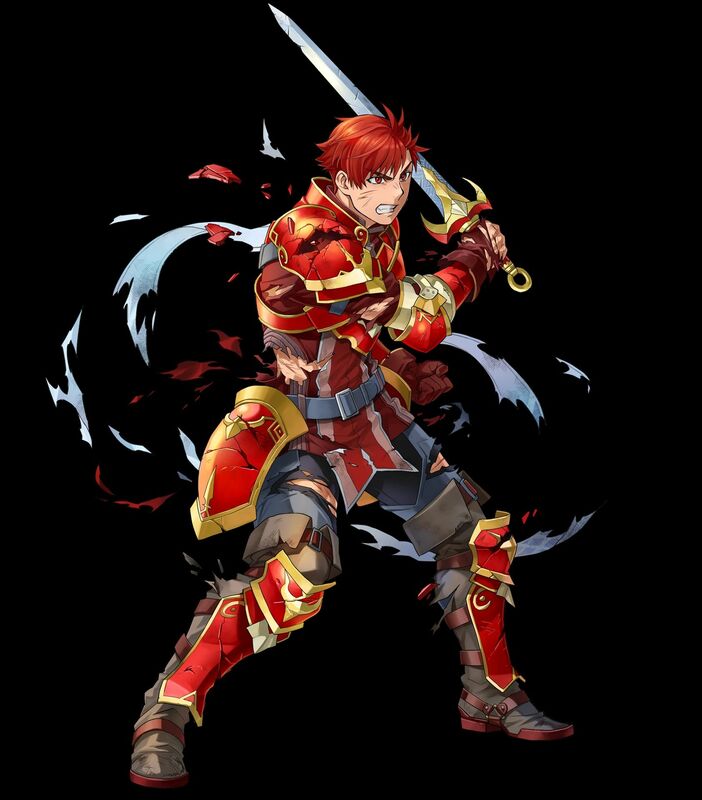 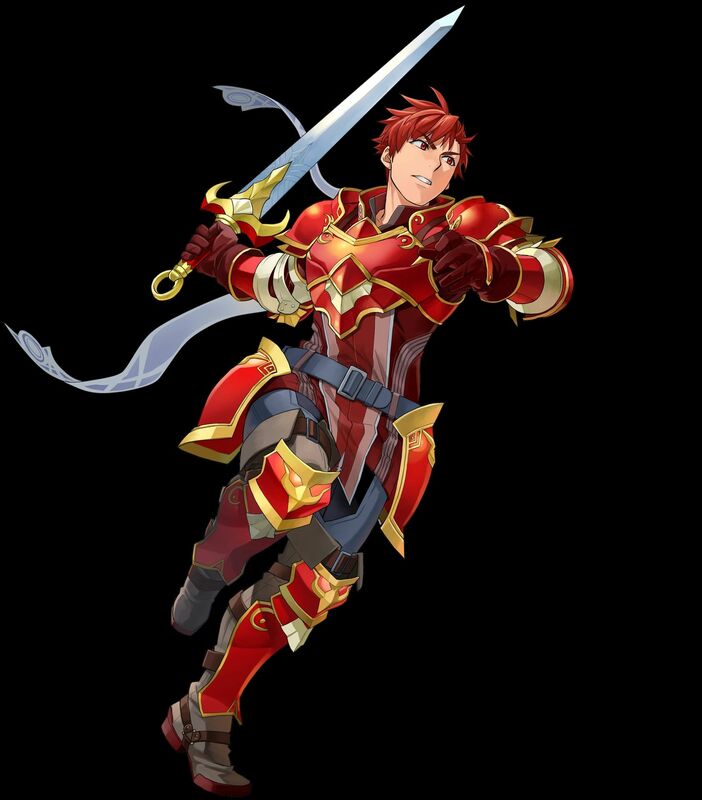 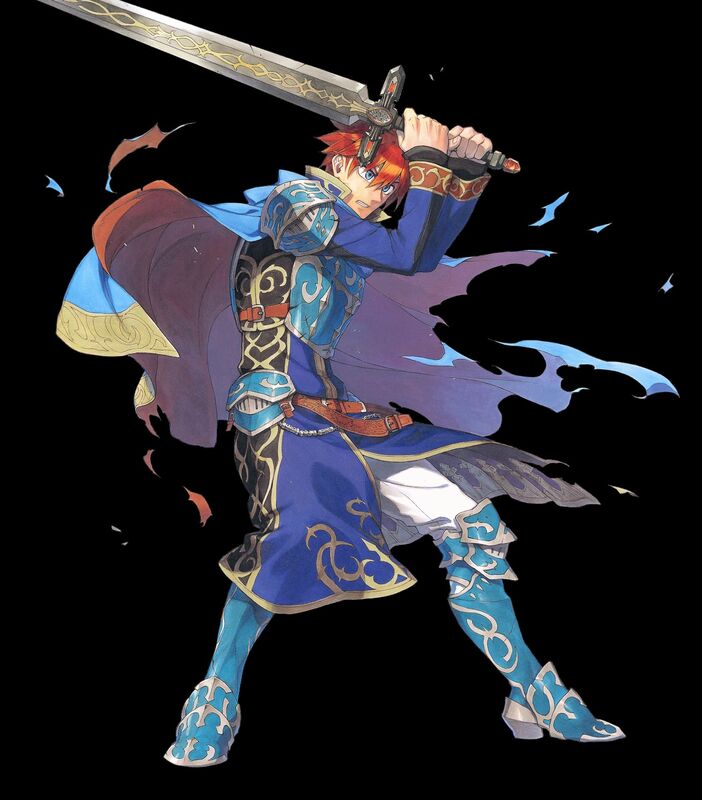 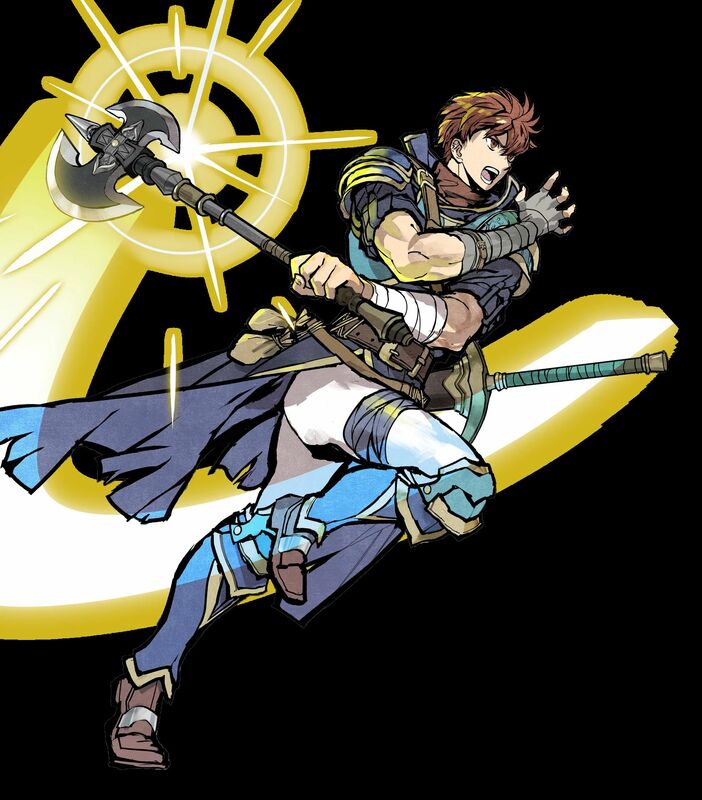 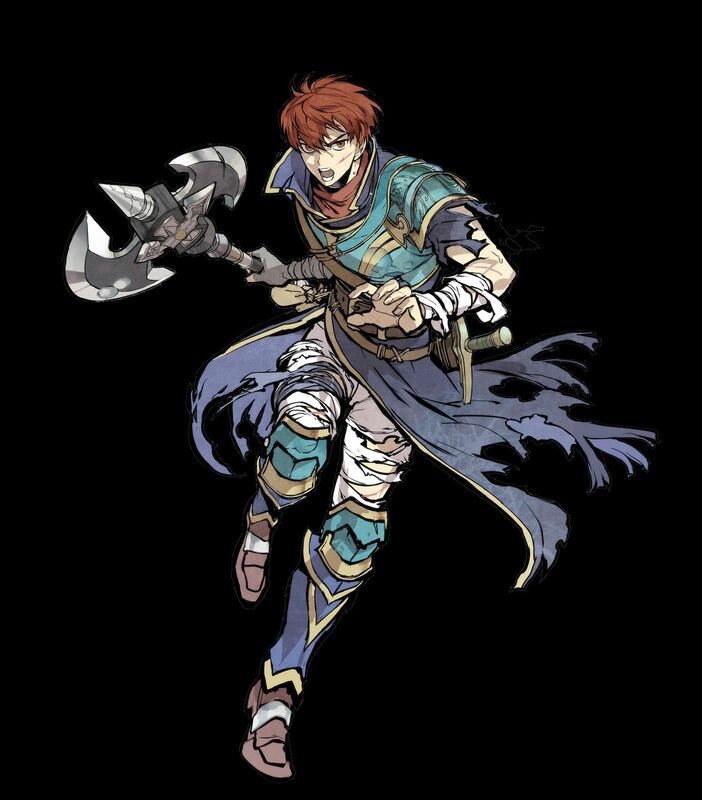 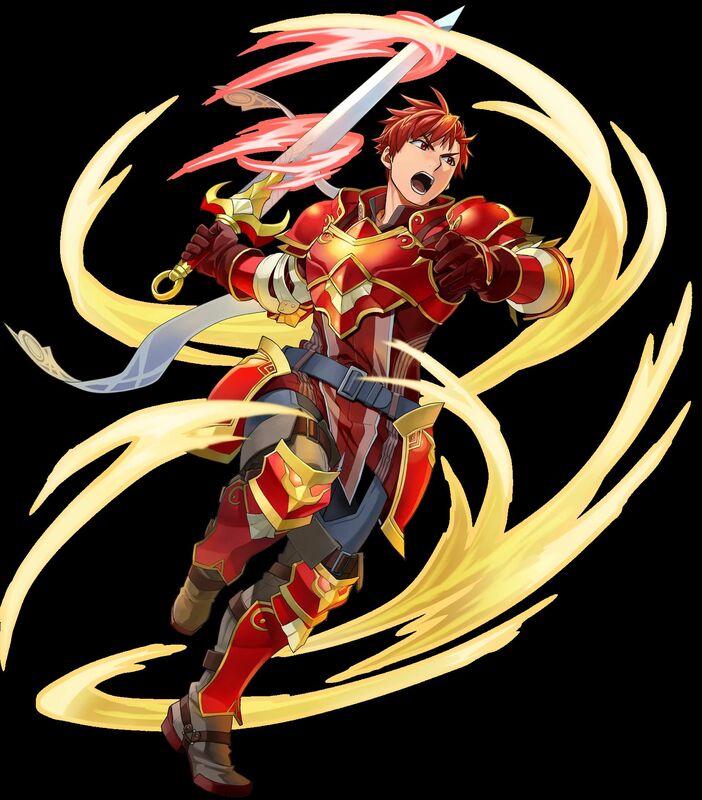 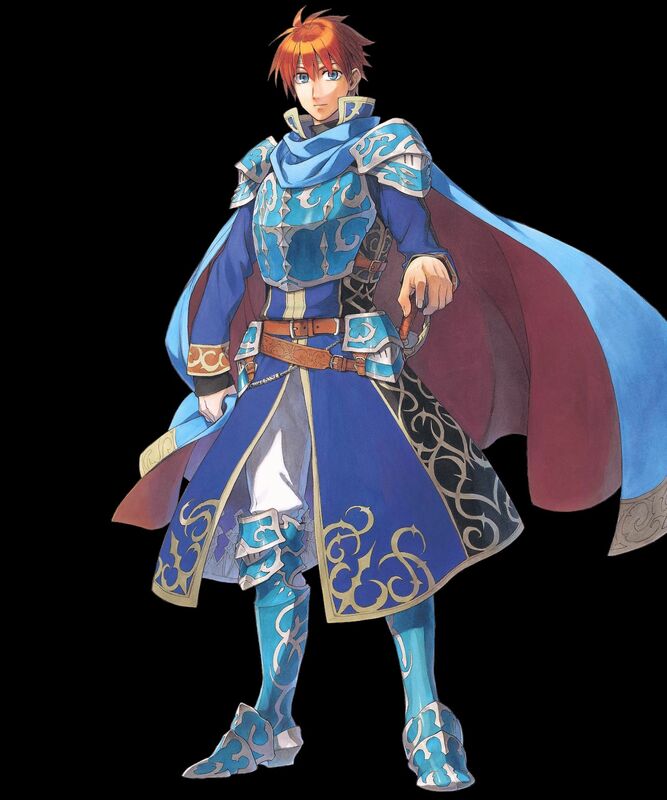 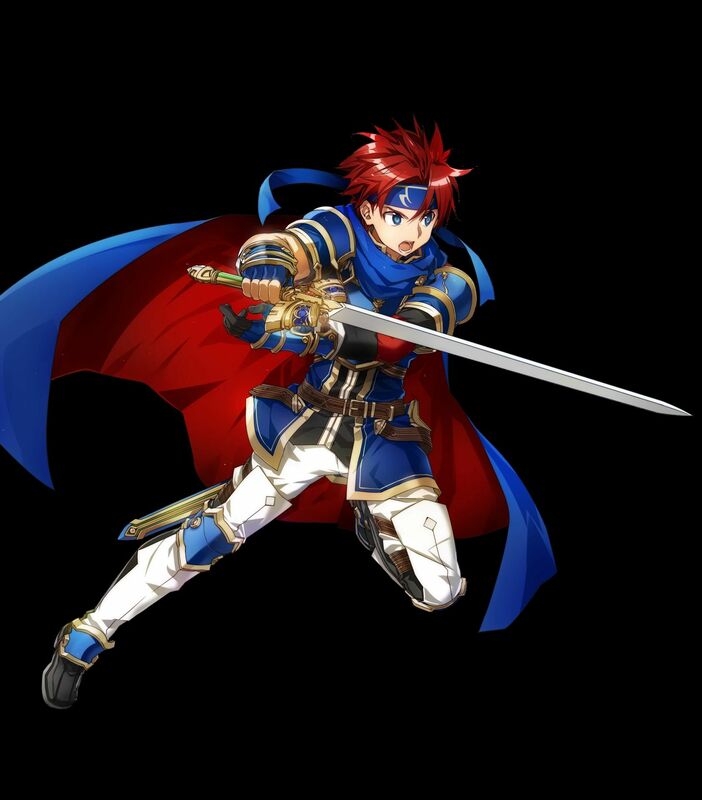 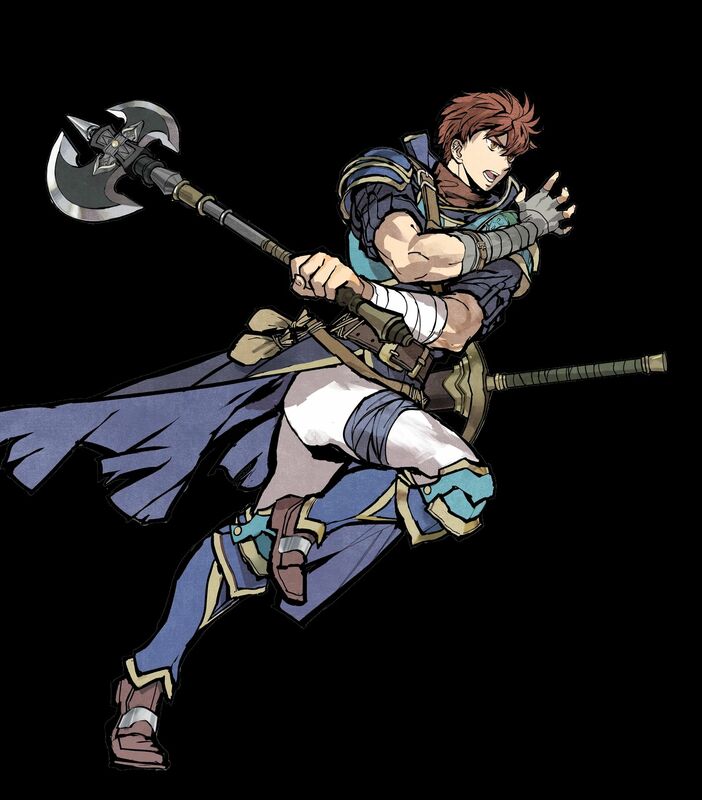 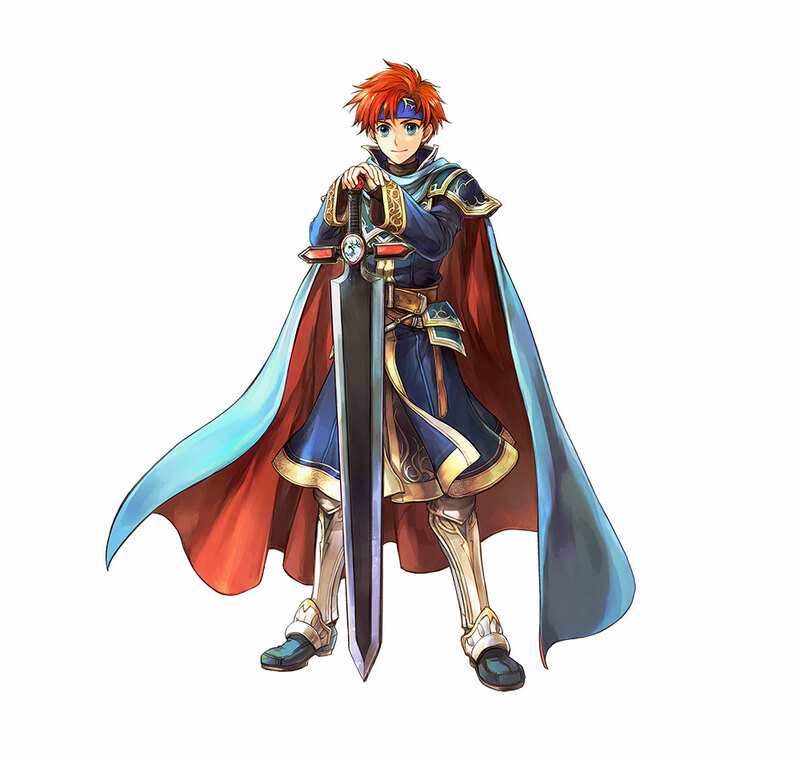 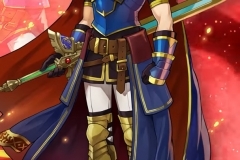 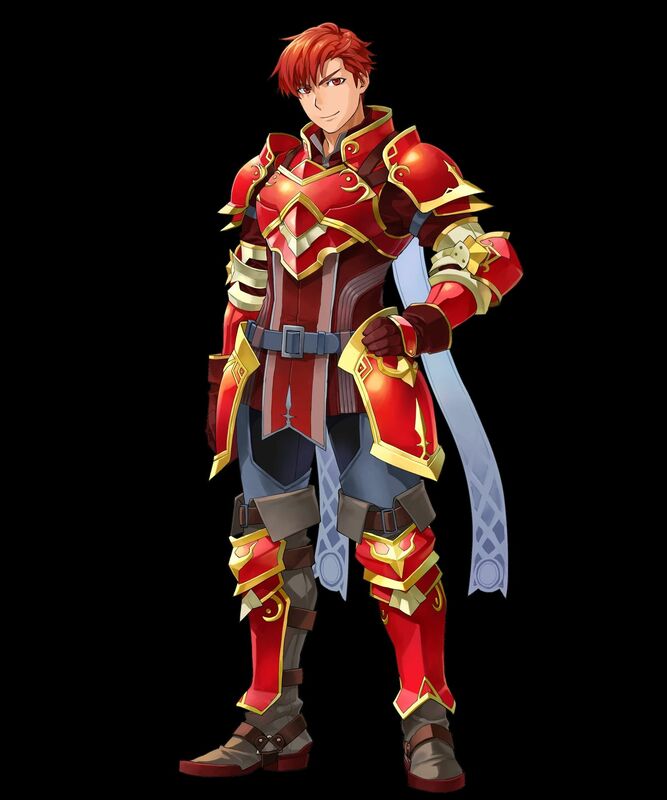 [3 ★] Eliwood, Knight of Lycia (from Fire Emblem). 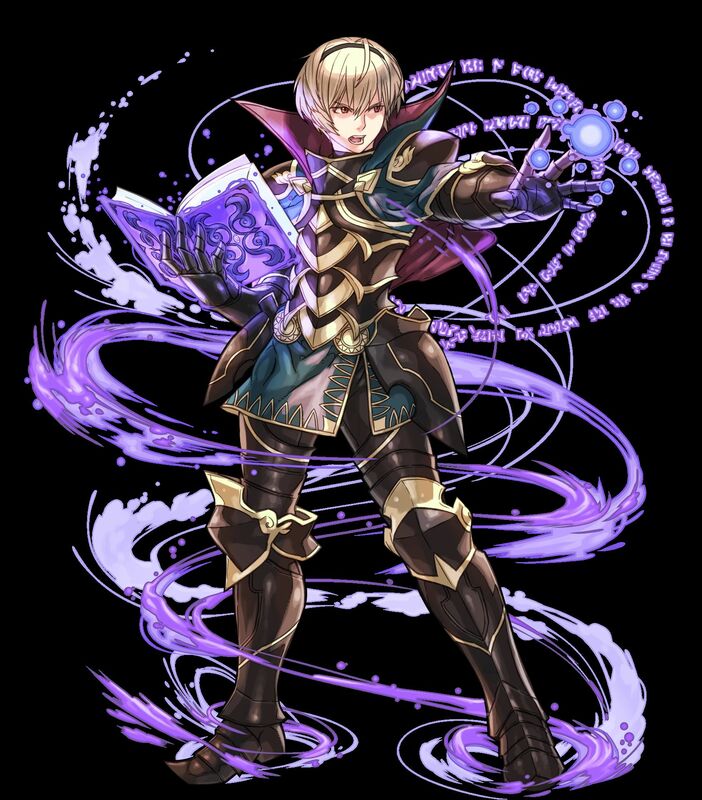 Clear the following Quest: “Defeat a foe with Leon (5 times)”. 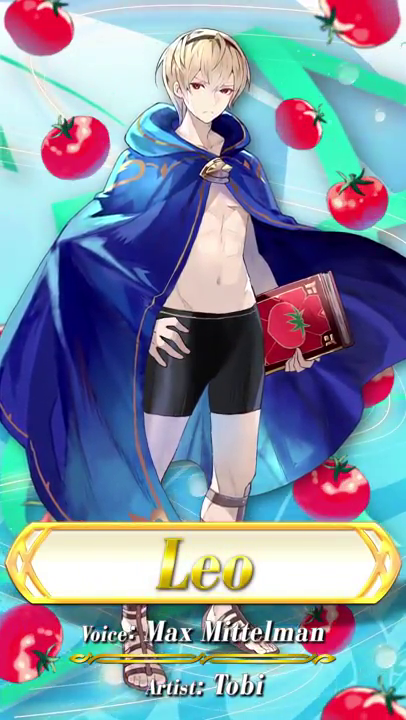 [5 ★] Leo: Extra Tomatoes. 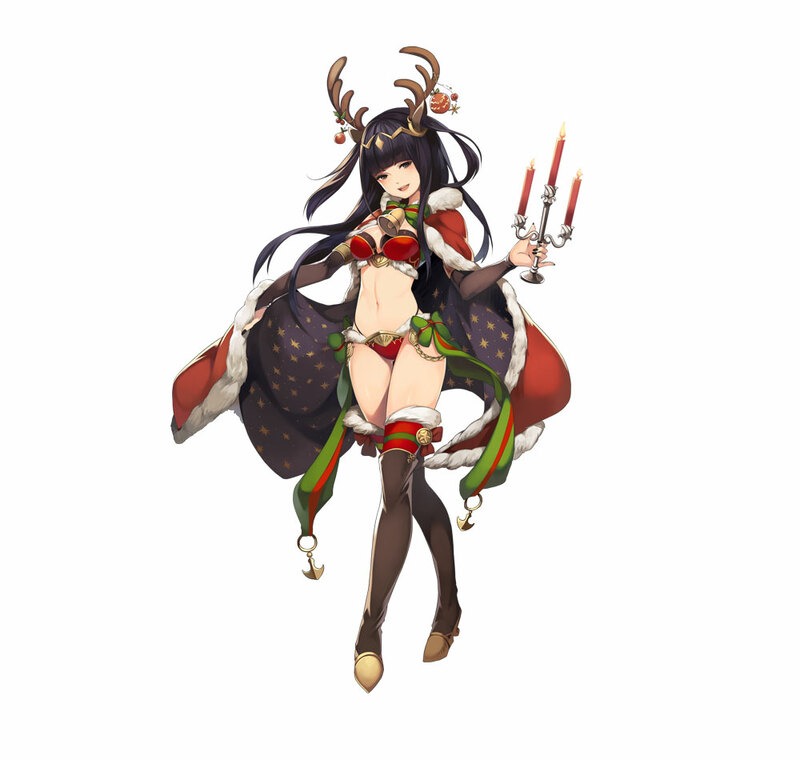 Get at least 15 000 points during the event. 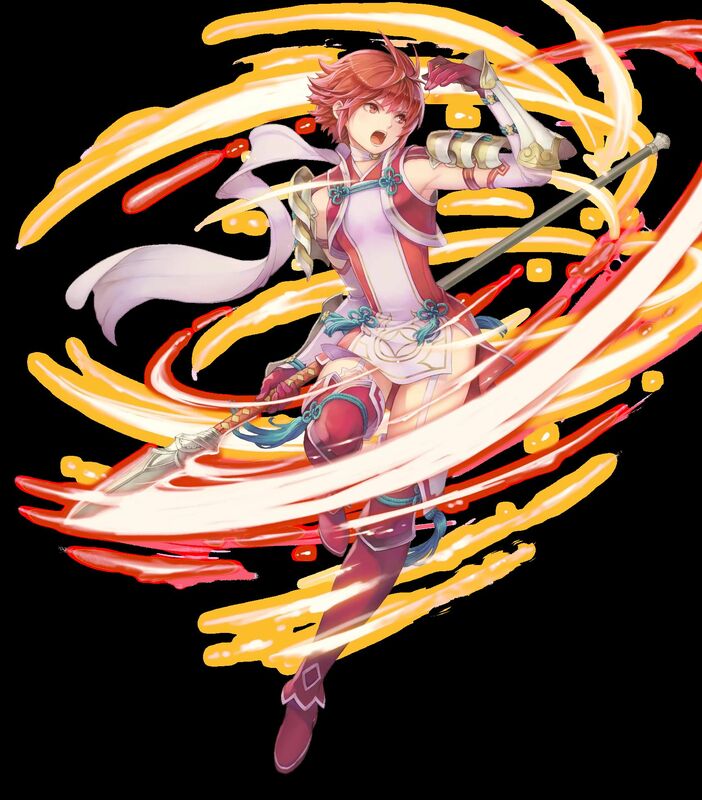 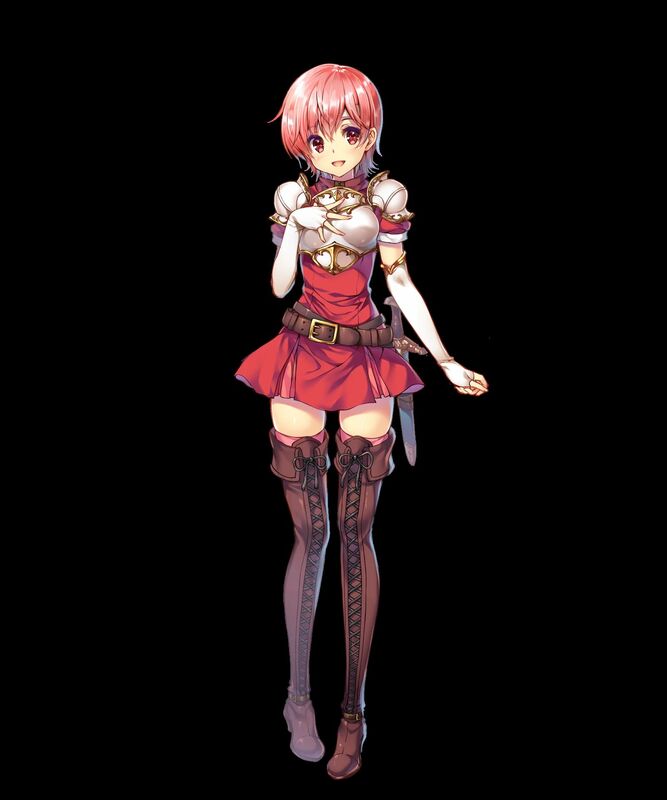 [5 ★] Faye, Devoted Heart (from Fire Emblem Echoes: Shadows of Valentia). 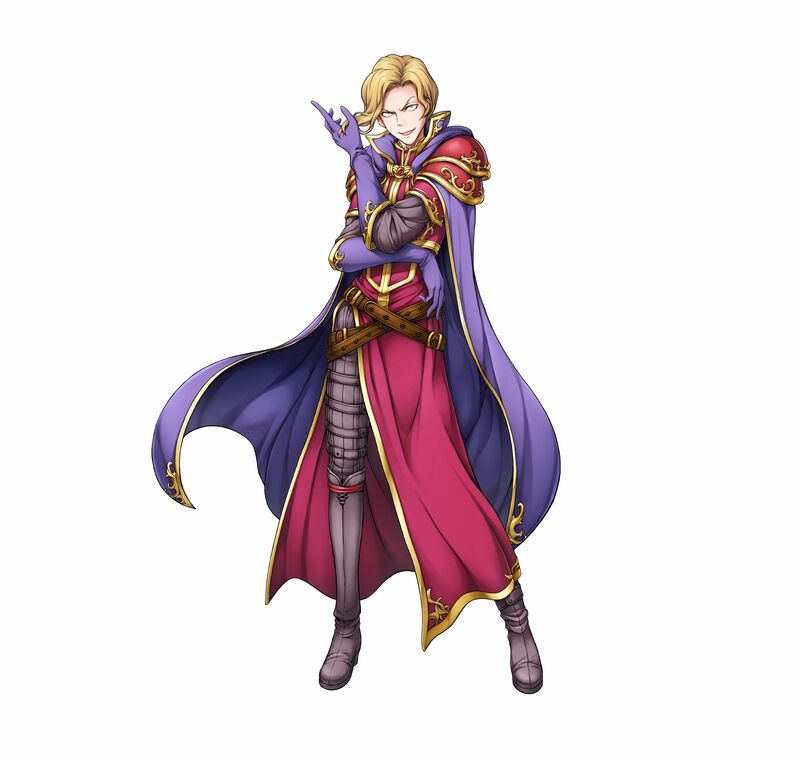 Voiced by Amber Connor. 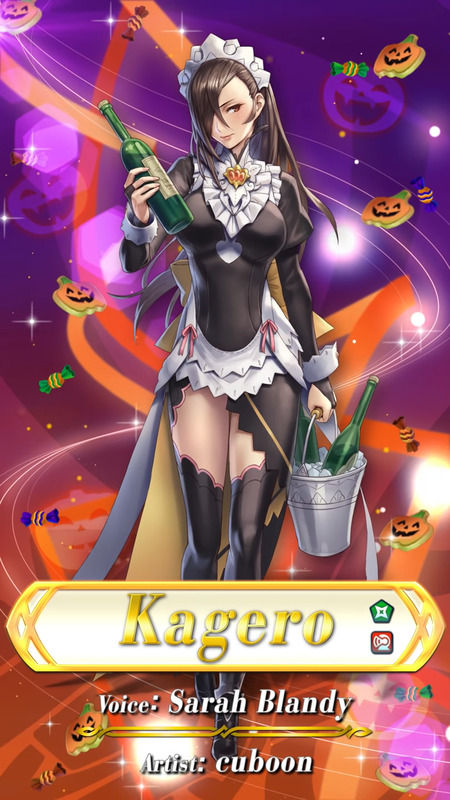 Artist: Konfuzi Kokon. 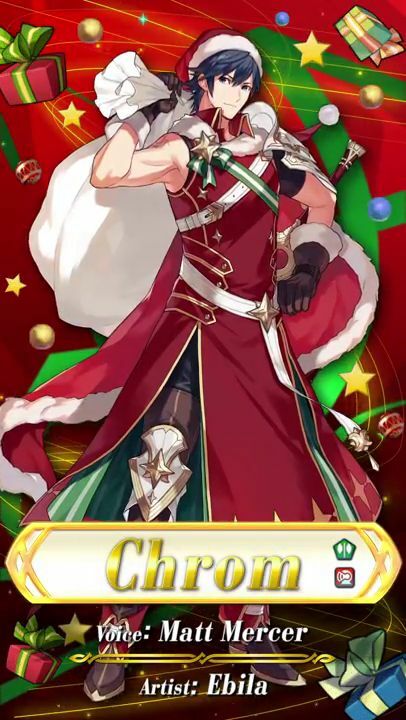 Features a new Legendary Hero. 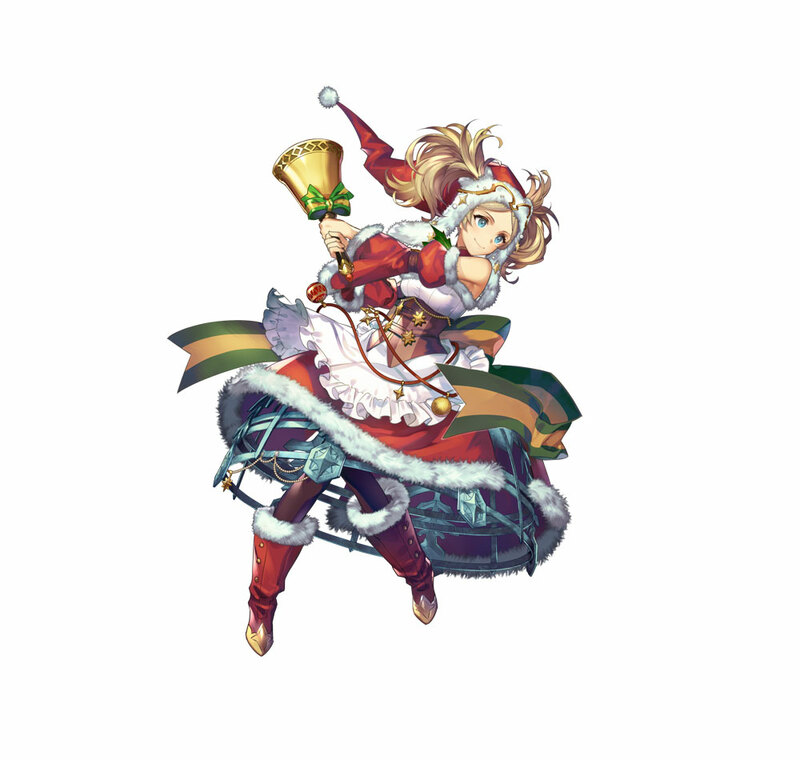 More details coming soon! 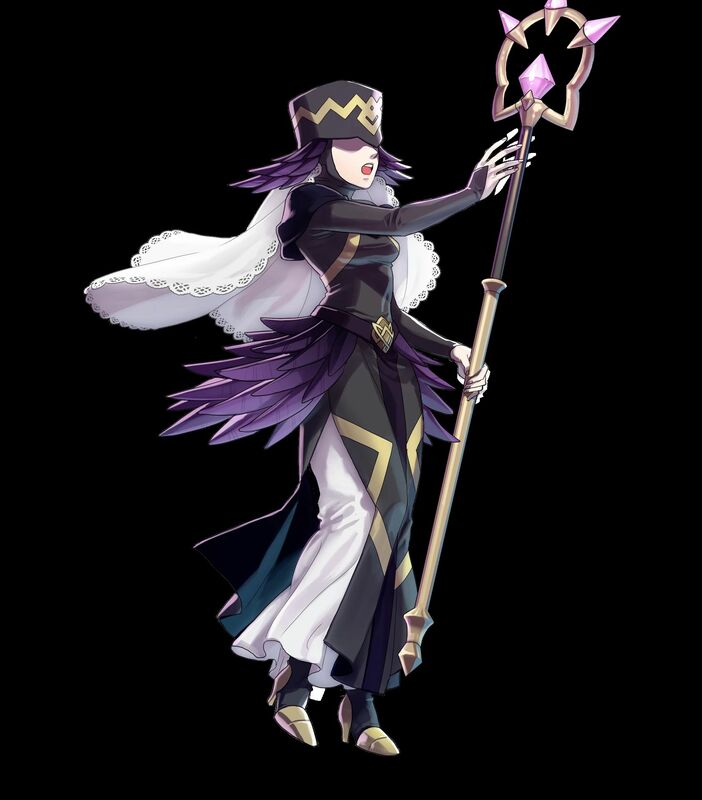 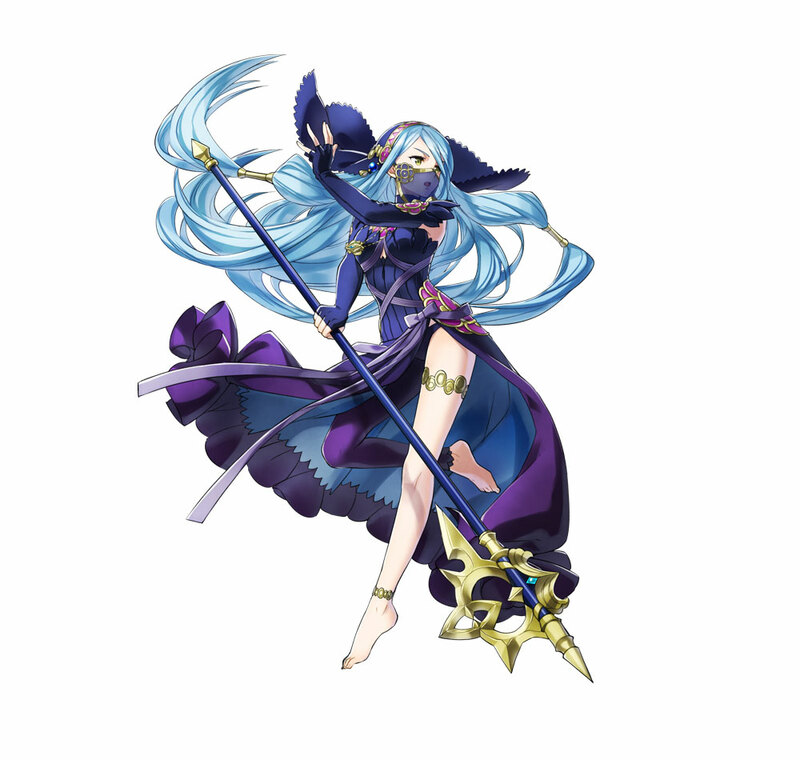 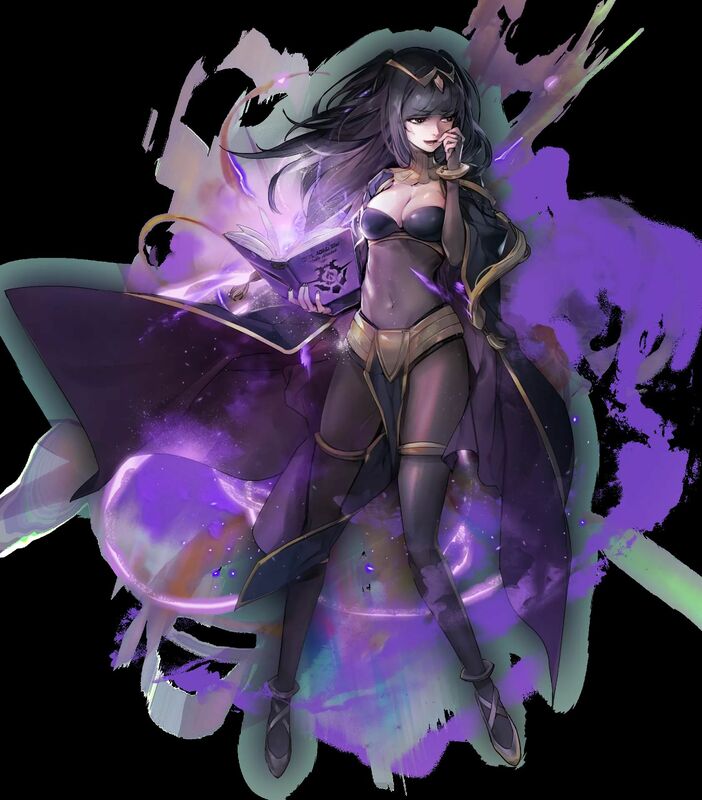 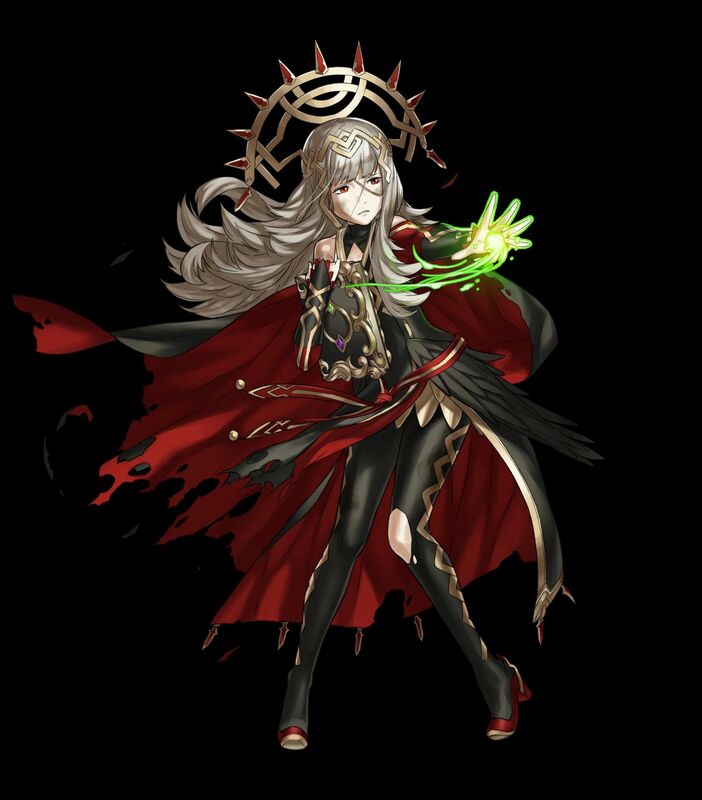 [3 ★] Aversa: Dark One (from Fire Emblem Awakening): clear the map on Hard. 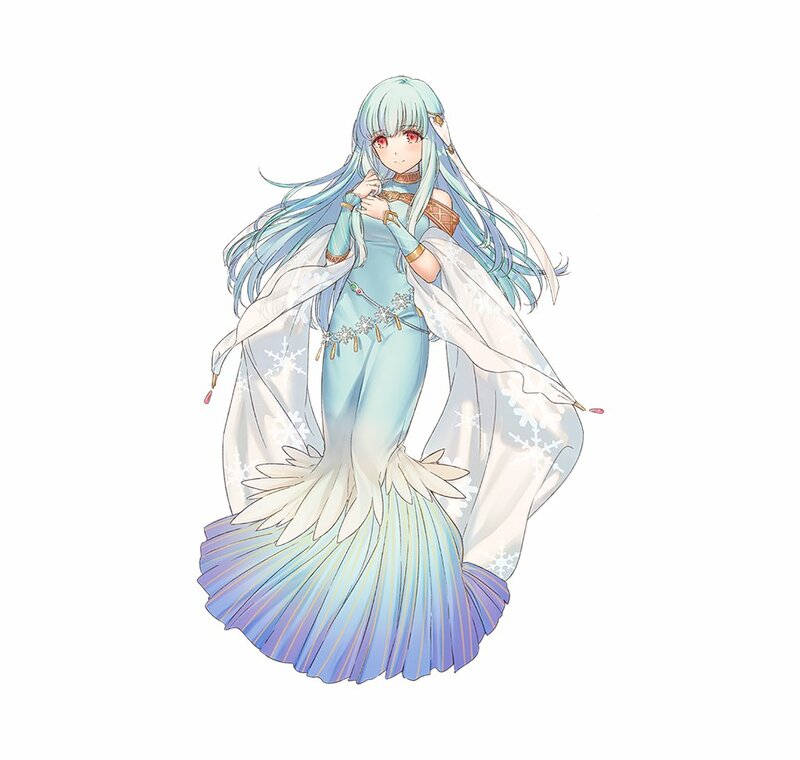 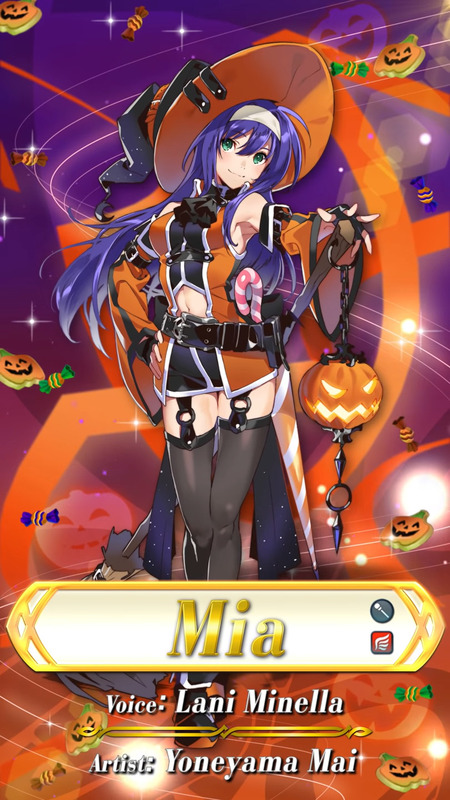 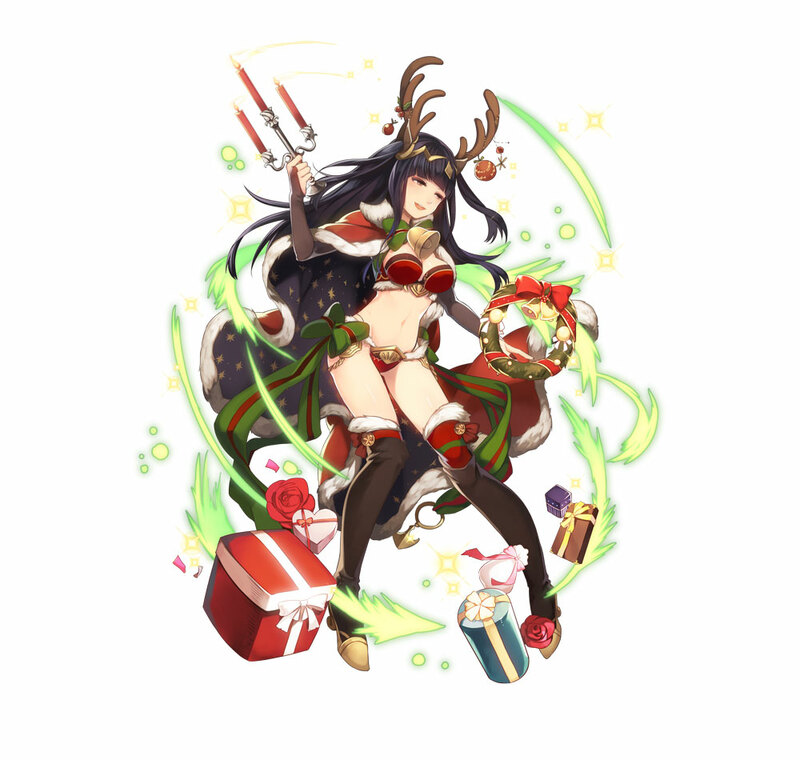 You can also get her by clearing the following Quests: ??? 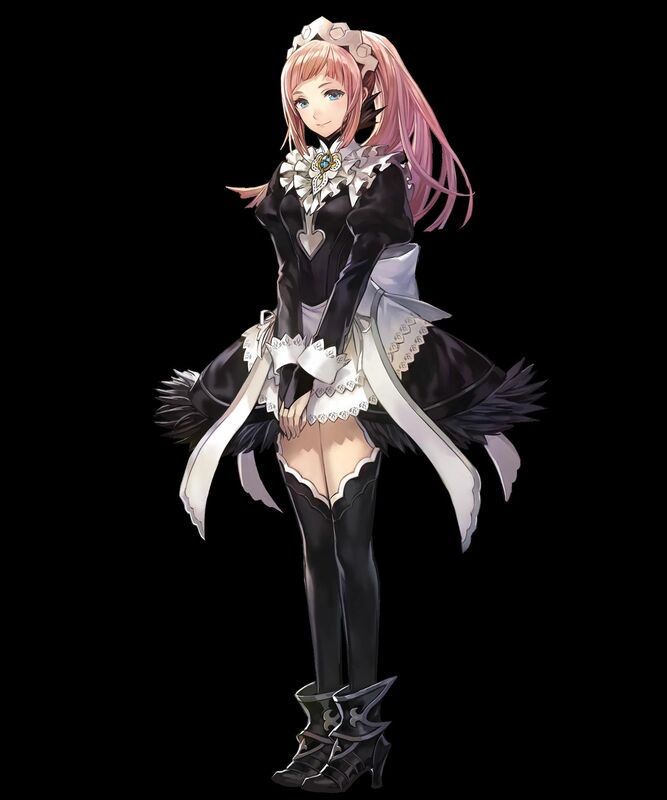 [5 ★ Focus] Felicia, Off The Menu. 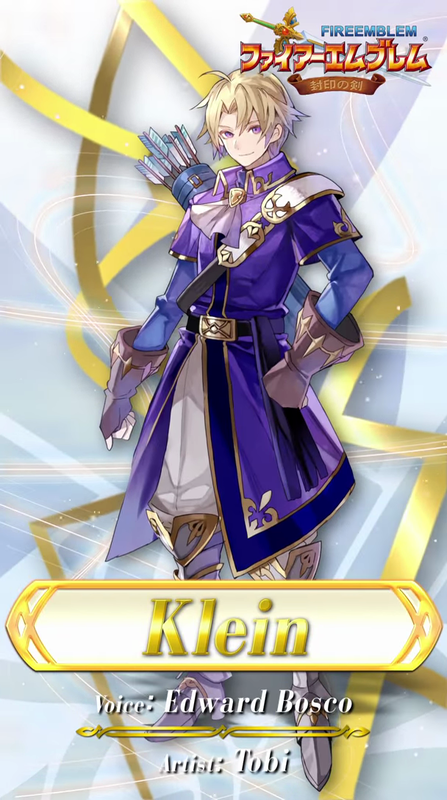 Voiced by Connor Kelley. 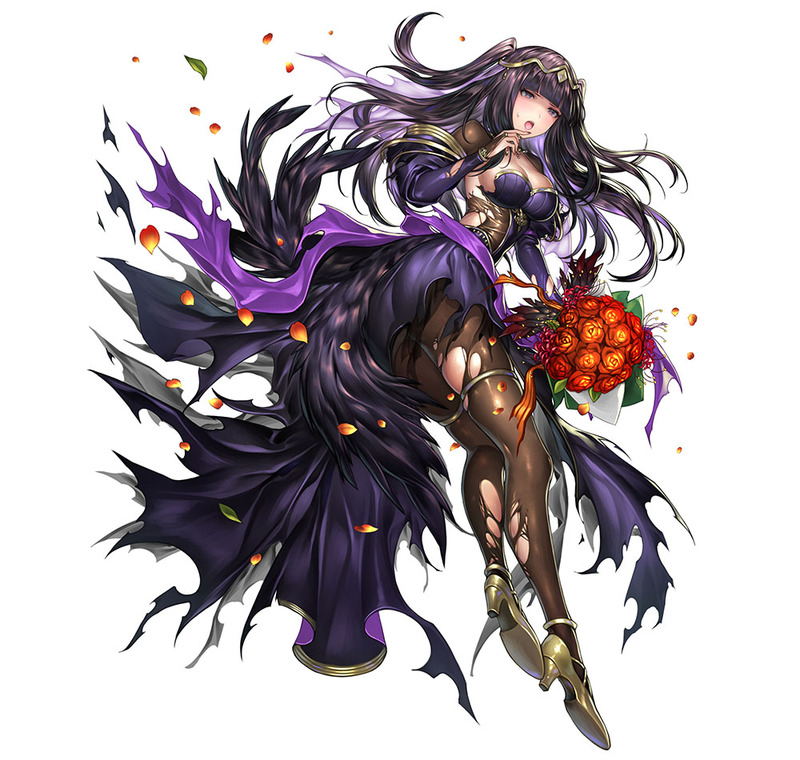 Artist: HAKO. 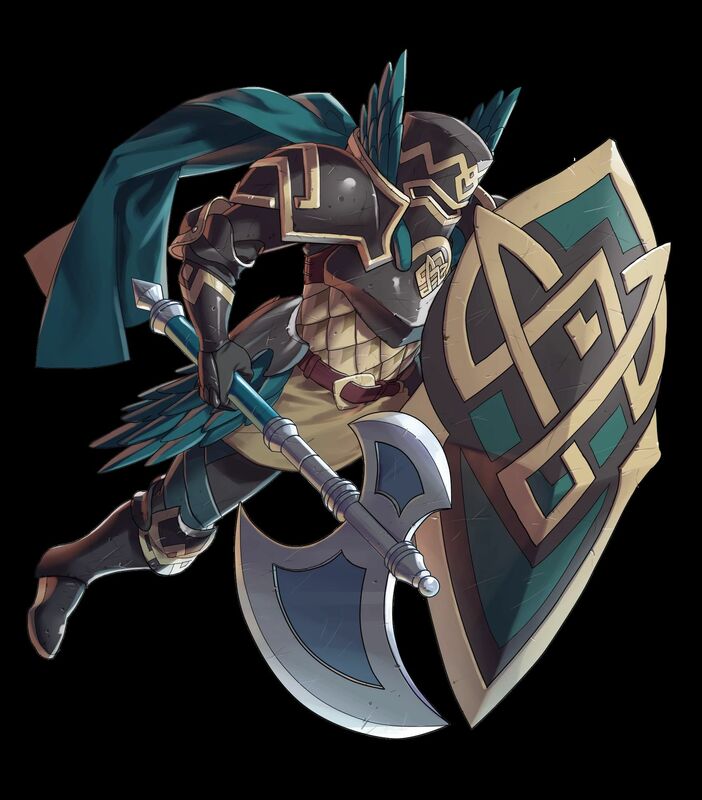 Features new Heroes. 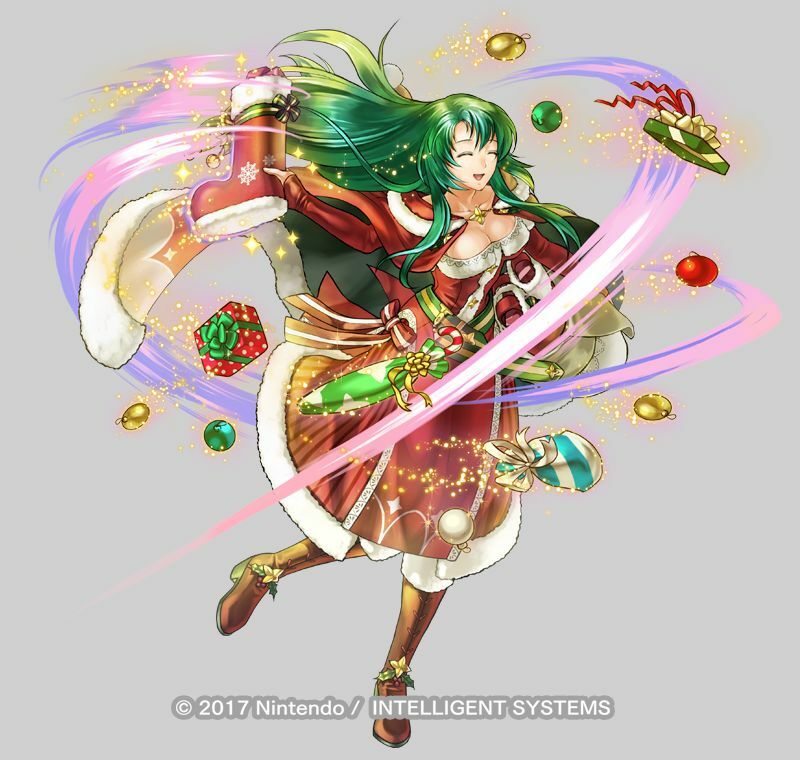 More details coming soon! 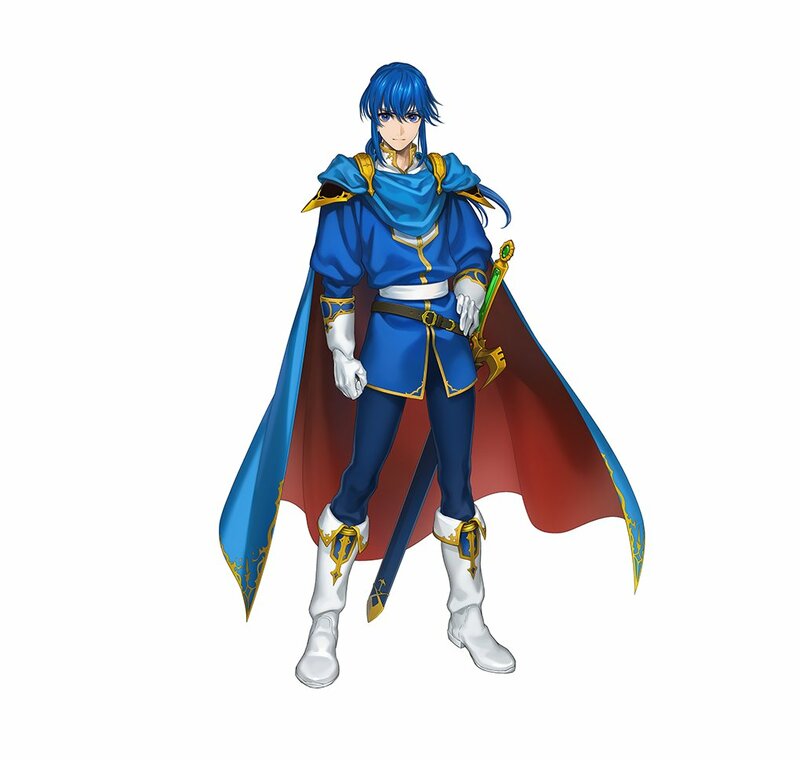 NB: the Heroes are listed in the order they were added. 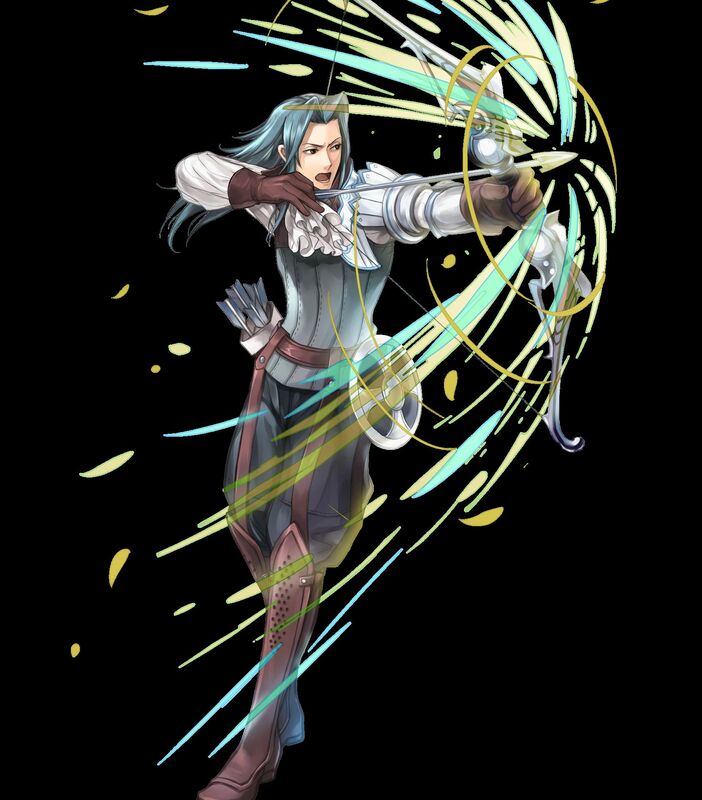 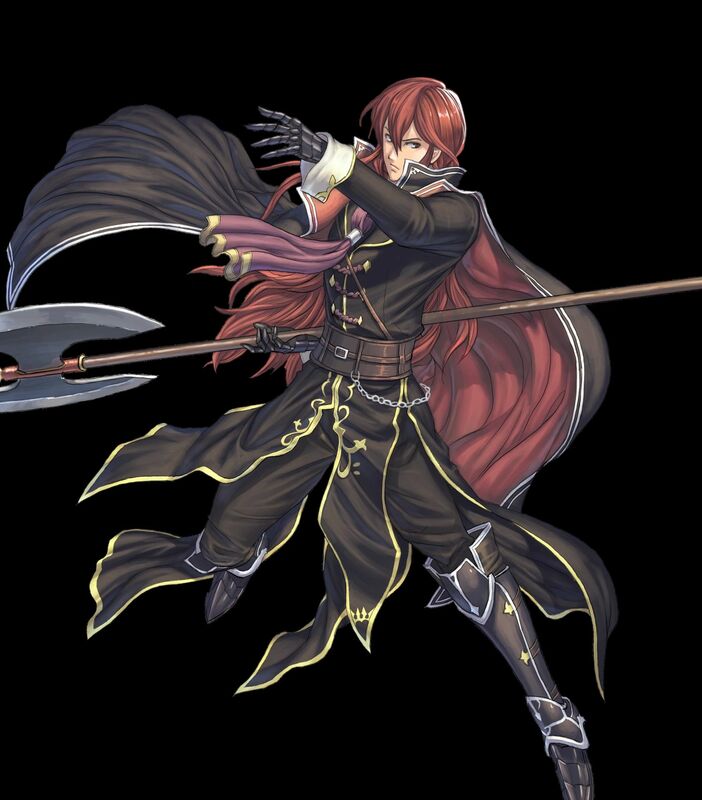 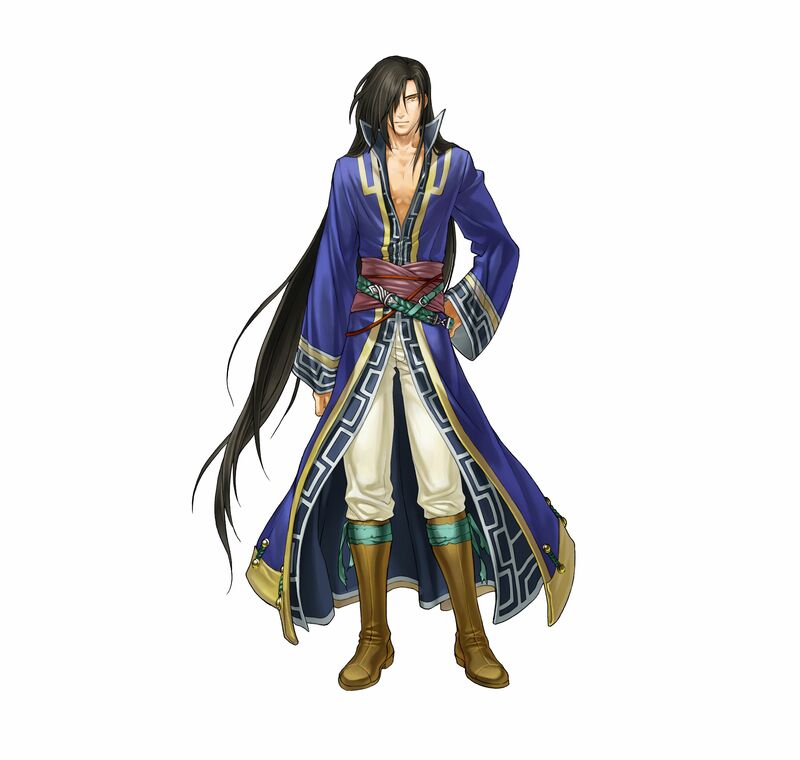 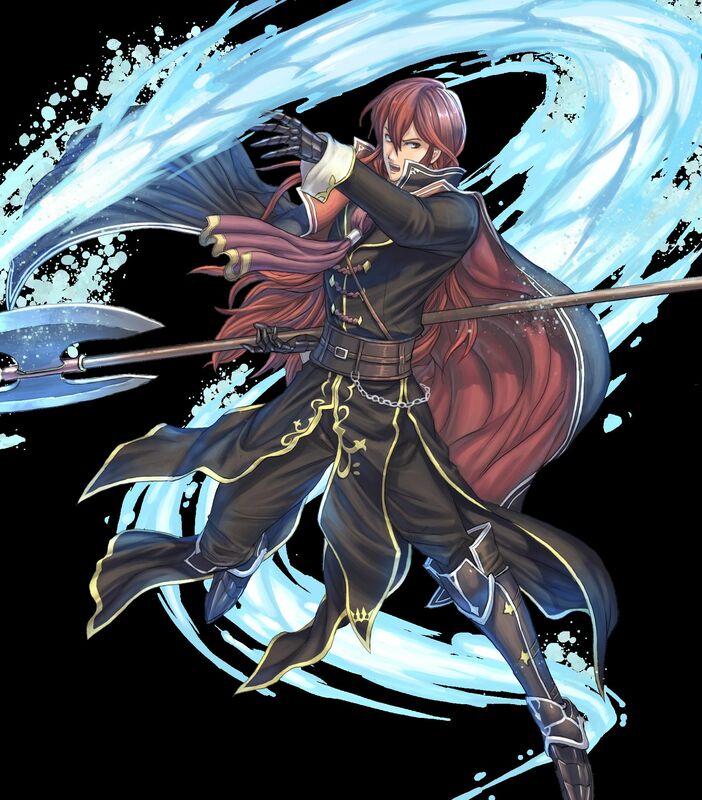 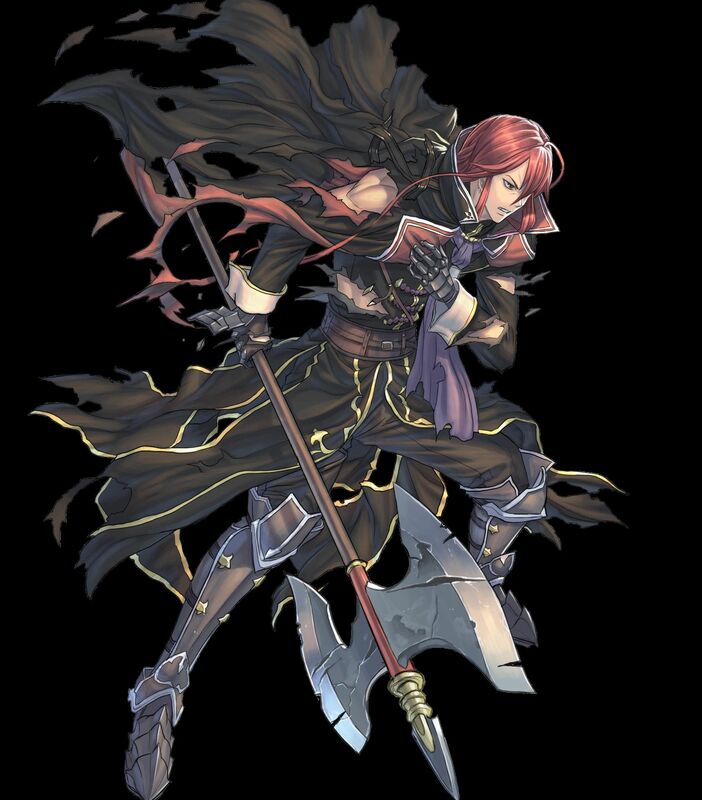 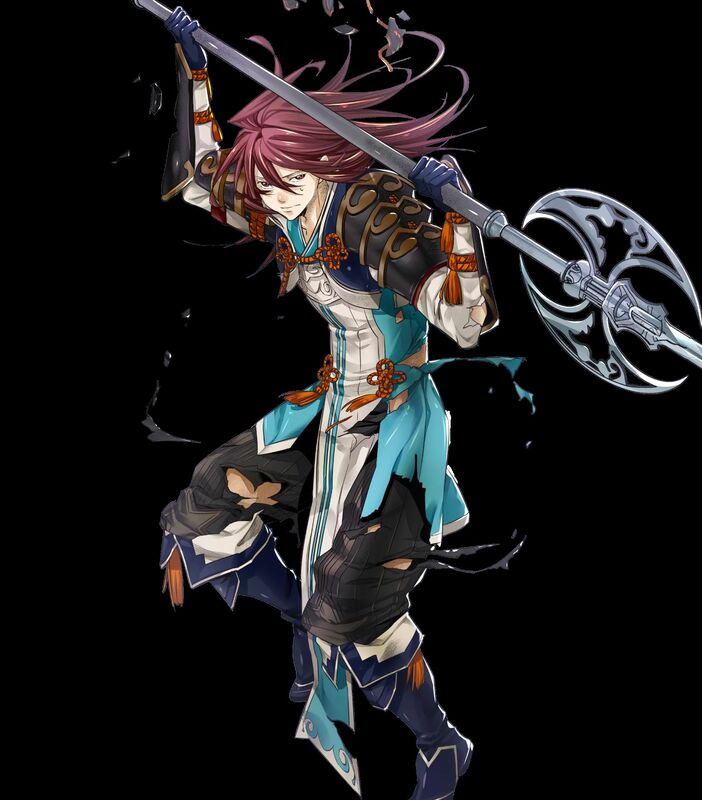 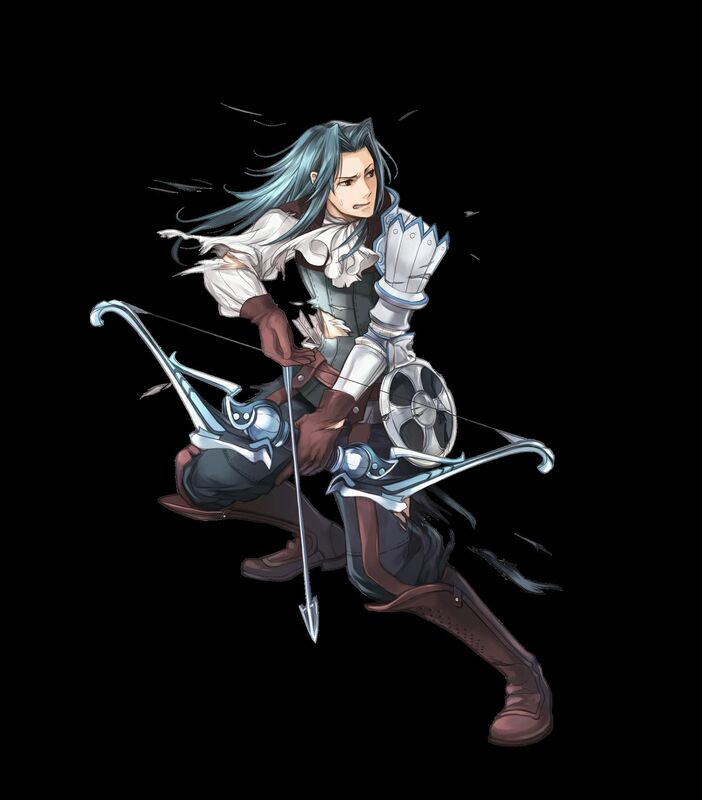 [4 ★] Arvis, the Emperor of Flame (from Fire Emblem: Genealogy of the Holy War). 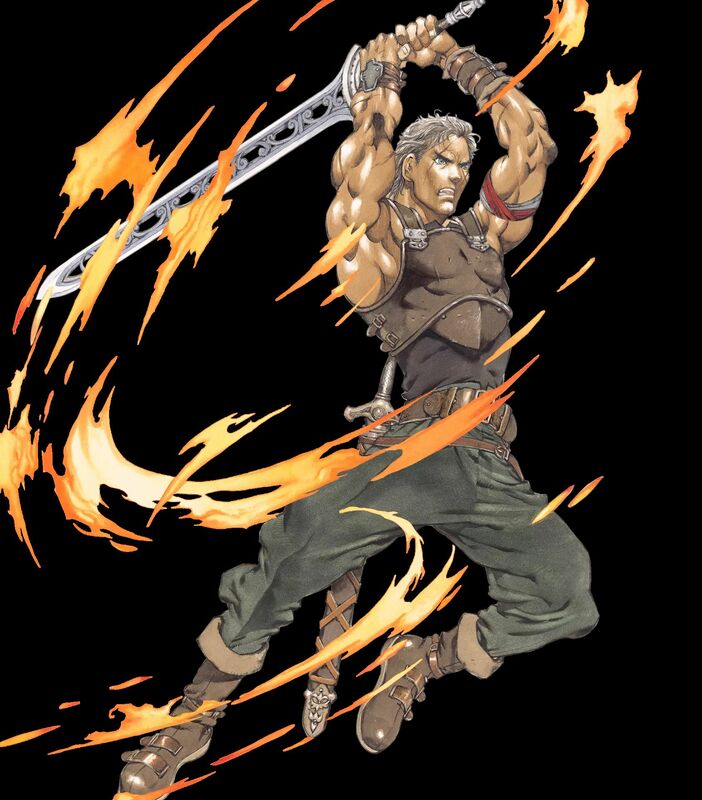 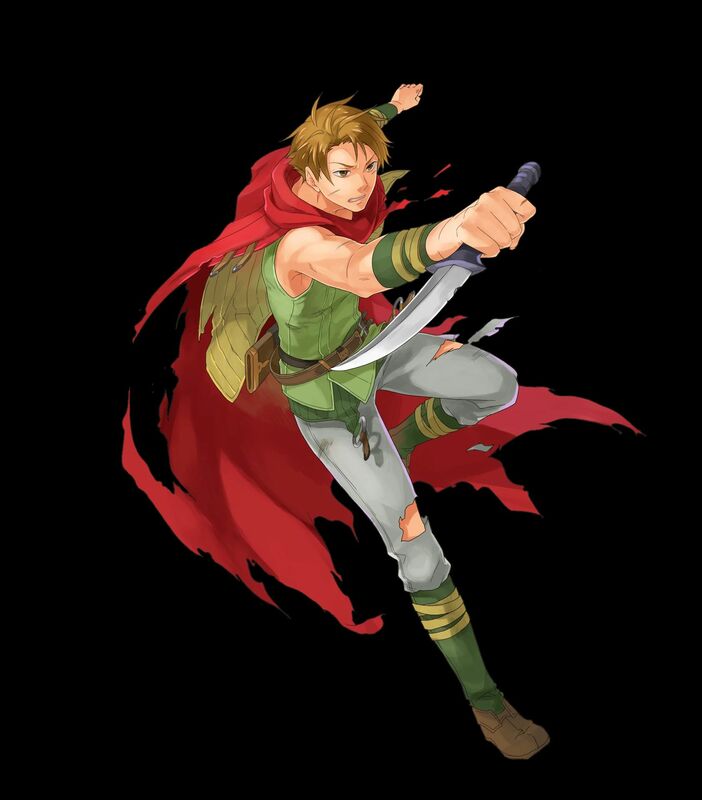 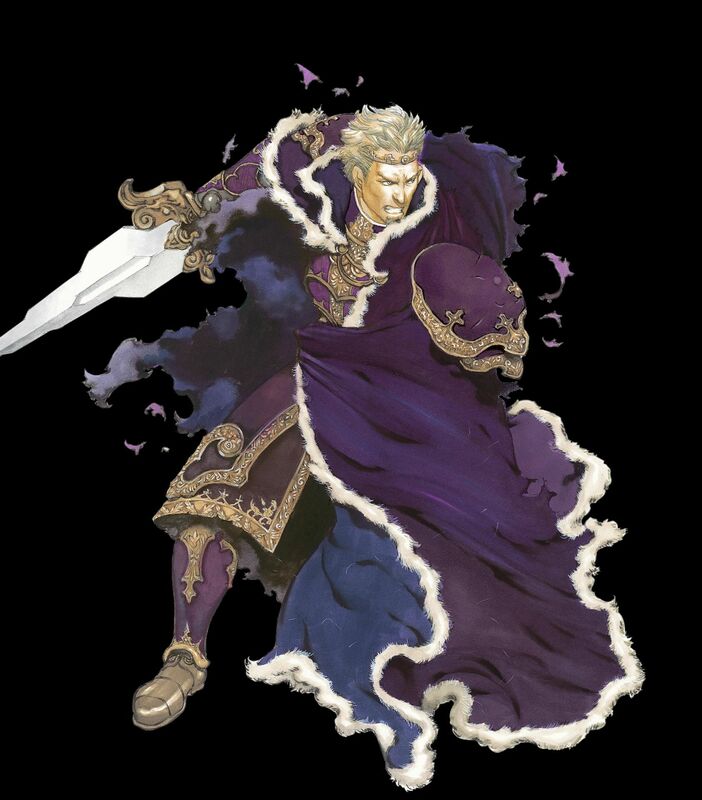 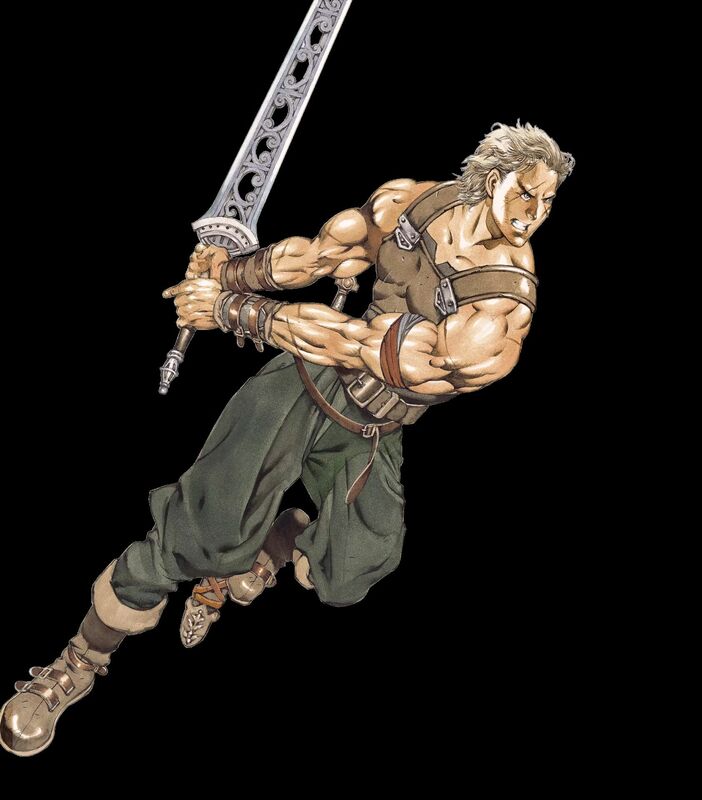 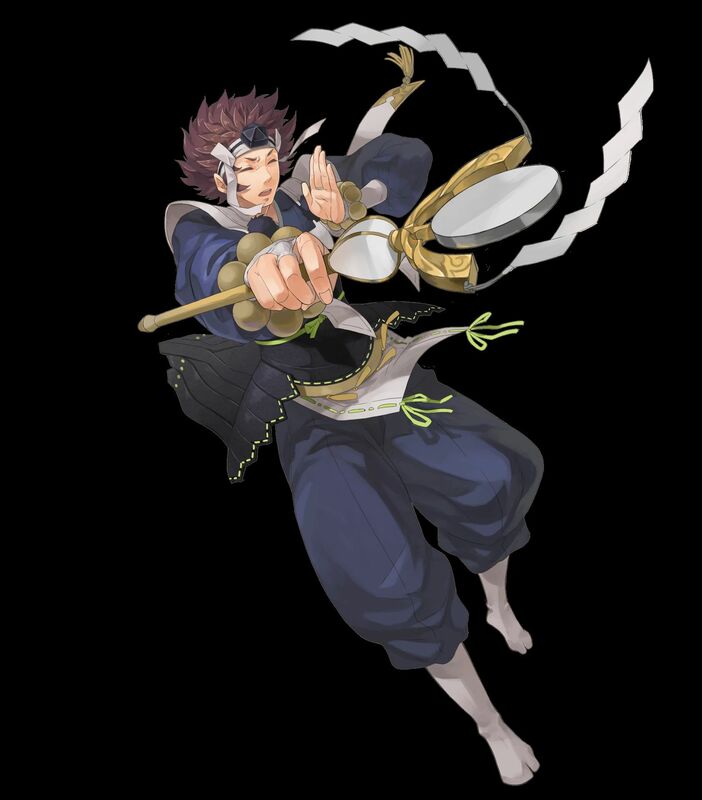 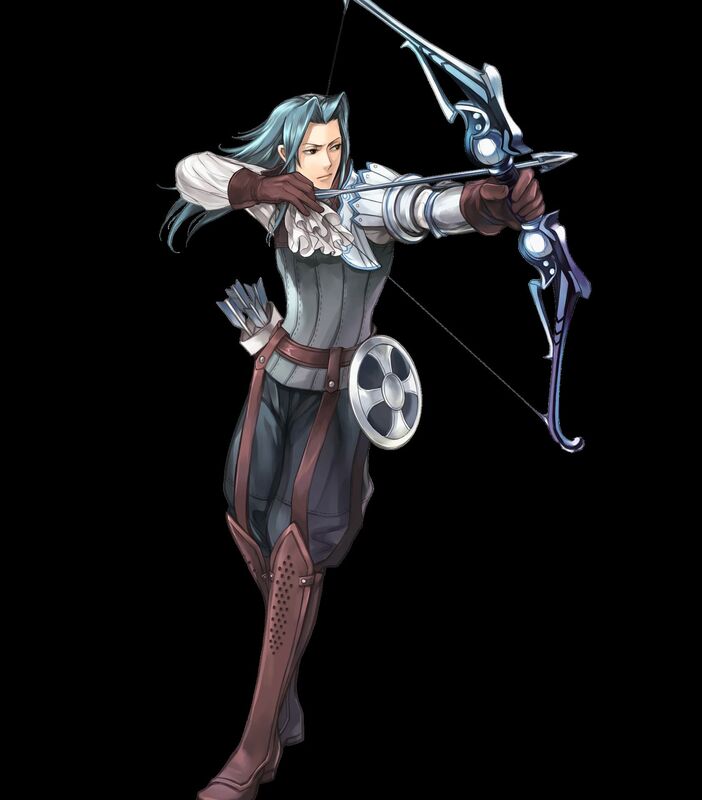 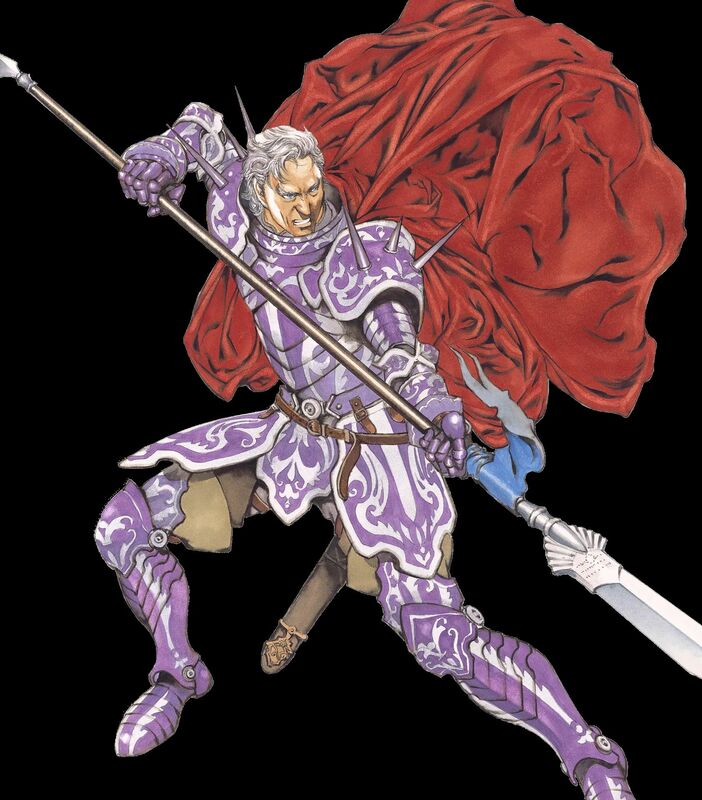 [4 ★] Camus, the Sable Knight (from Fire Emblem: Shadow Dragon and the Blade of Light / Shadow Dragon). 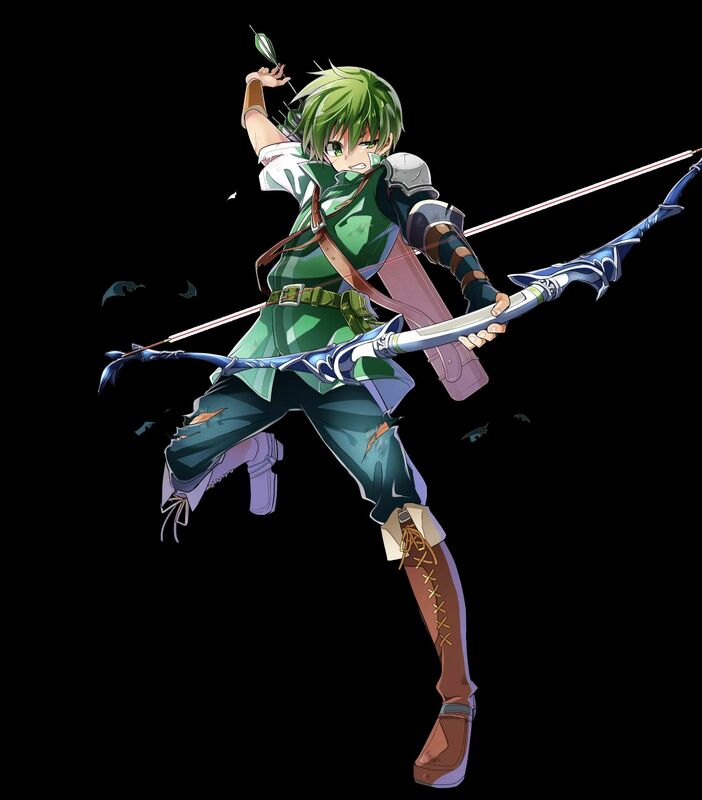 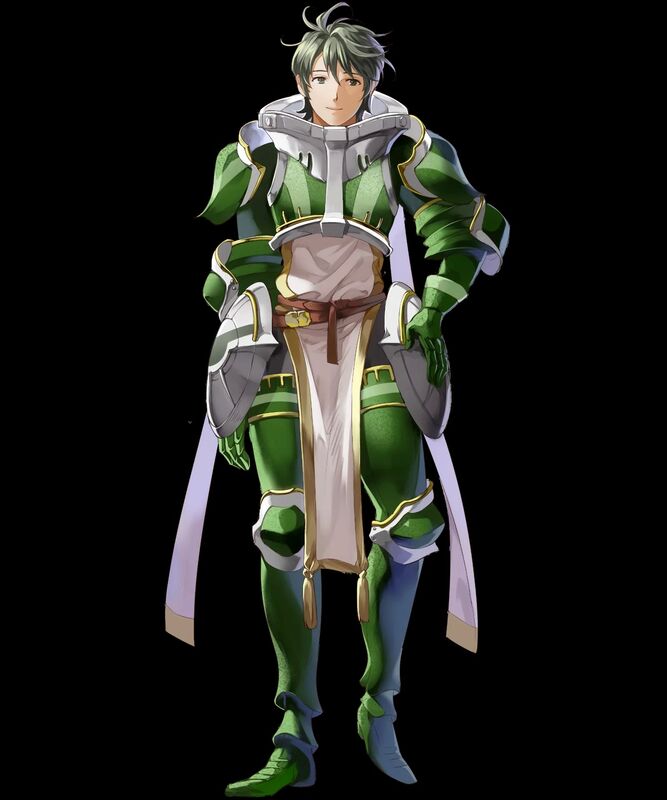 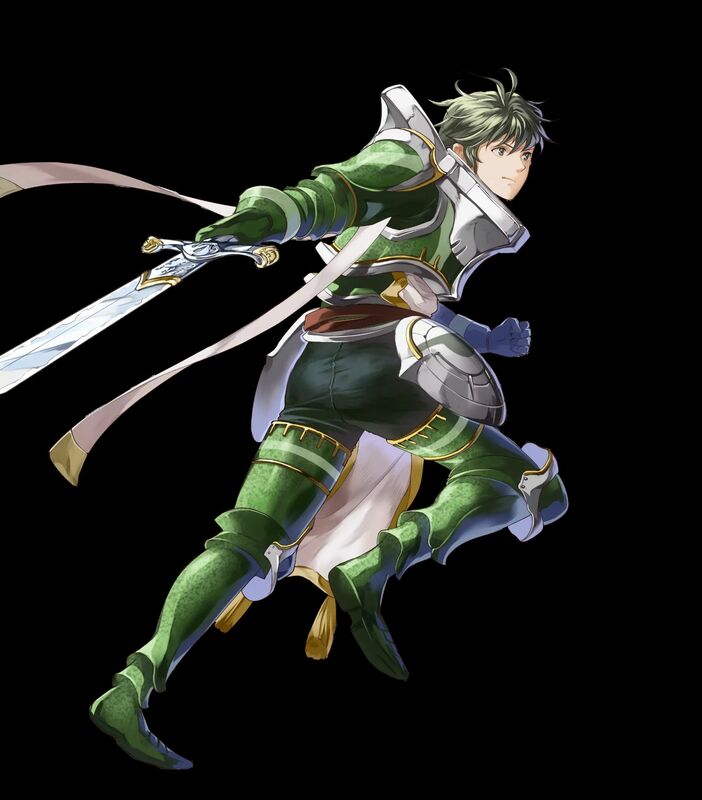 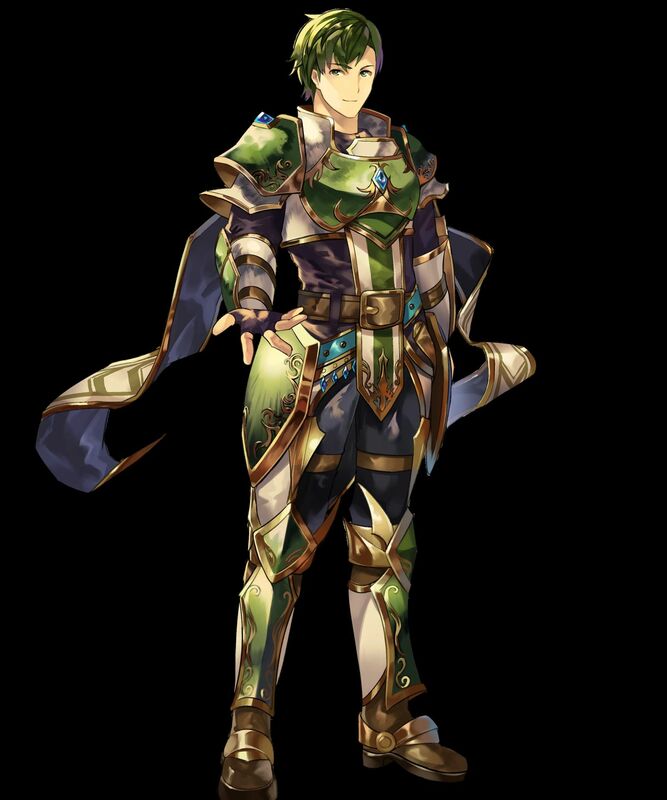 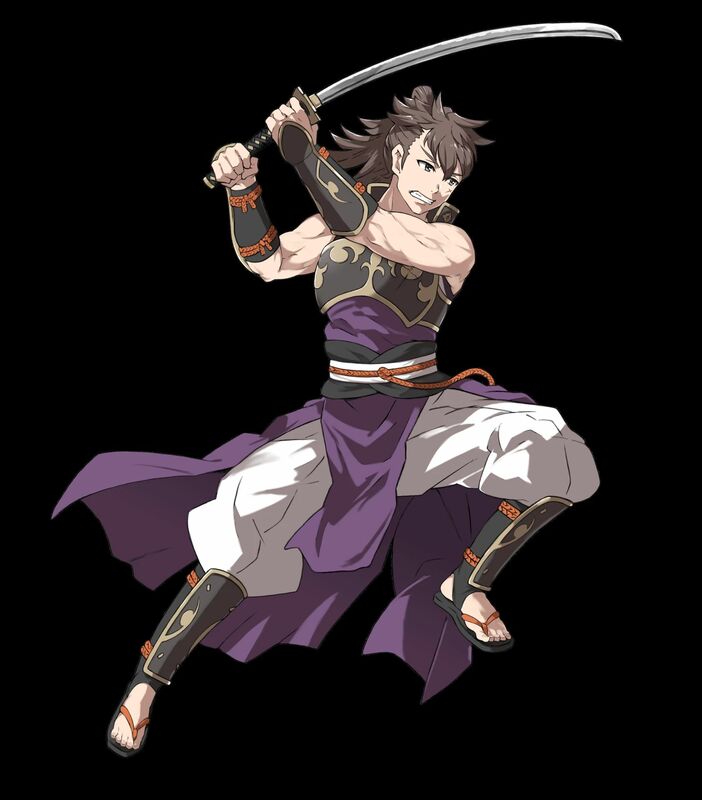 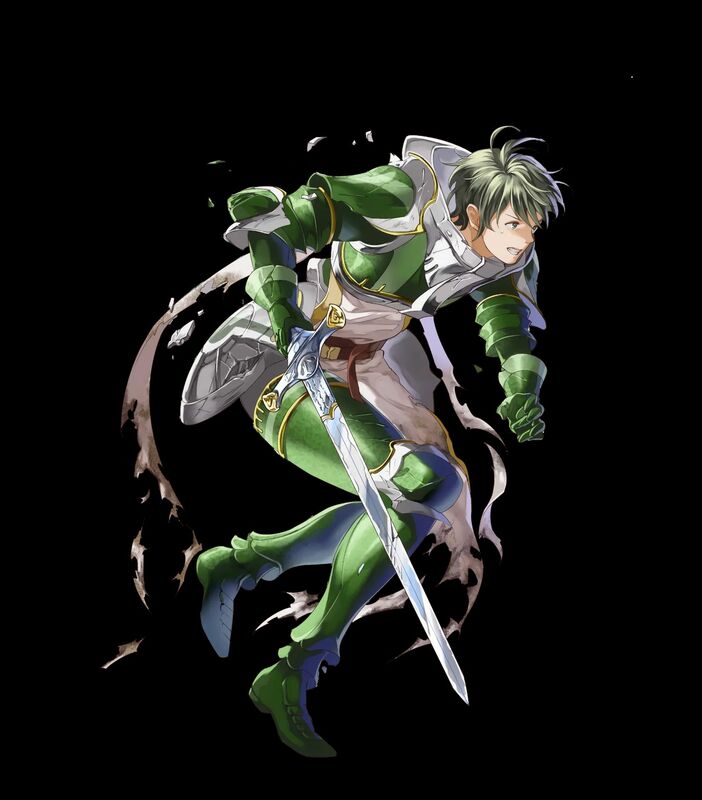 [2 ★ /3 ★] Stahl, Viridian Knight (from Fire Emblem Awakening). 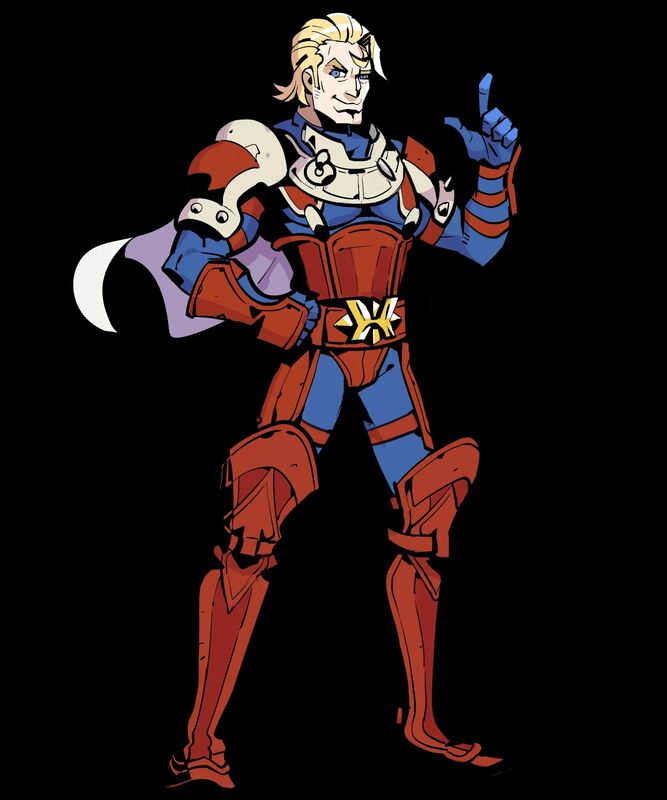 Voiced by Sam Regal. 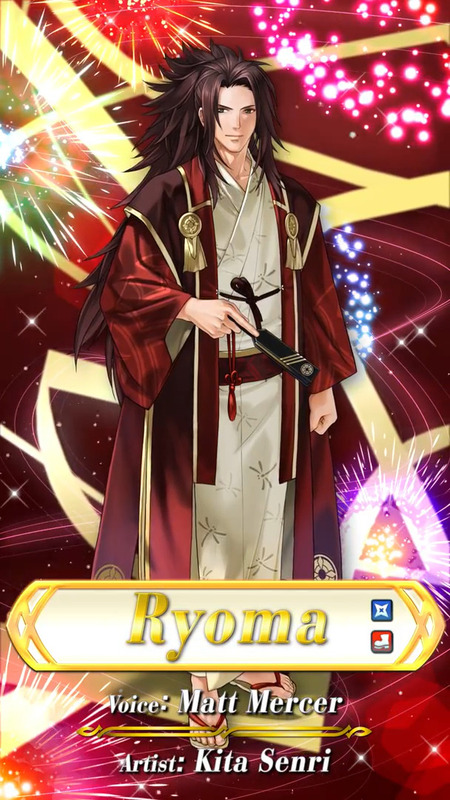 Artist: Mayo. 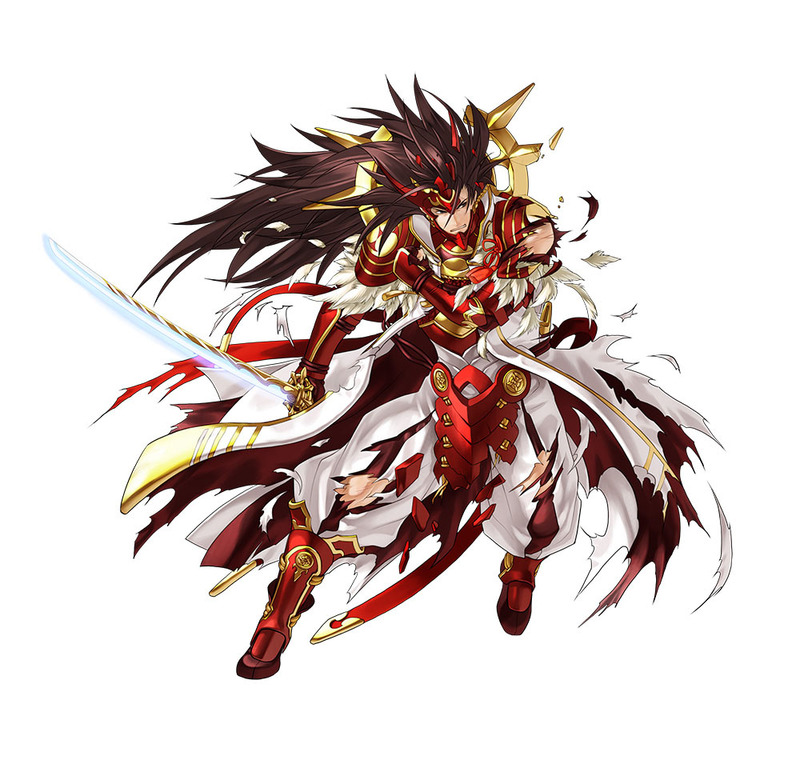 NB: you get the 2 ★ version of the Hero if you clear the map on Normal, and 3 ★ version if you clear it on Hard. 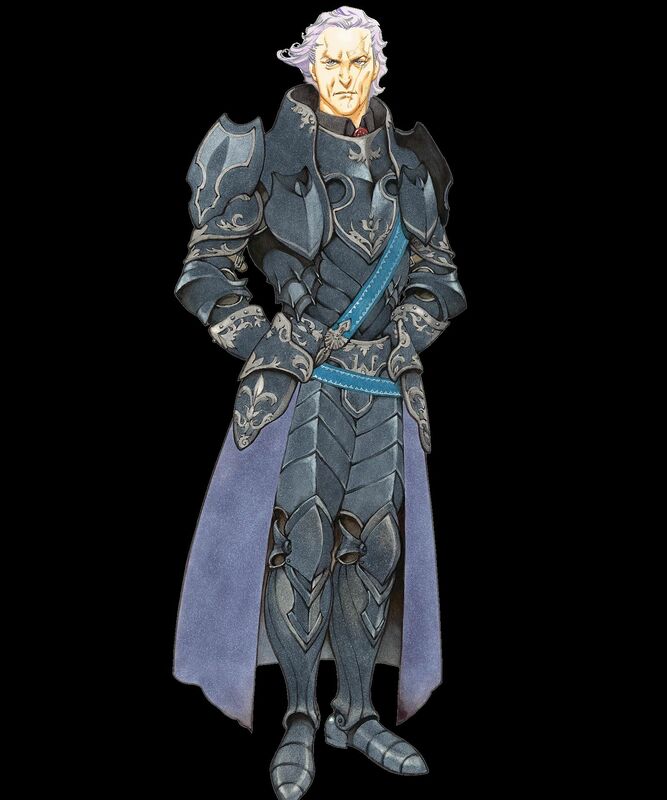 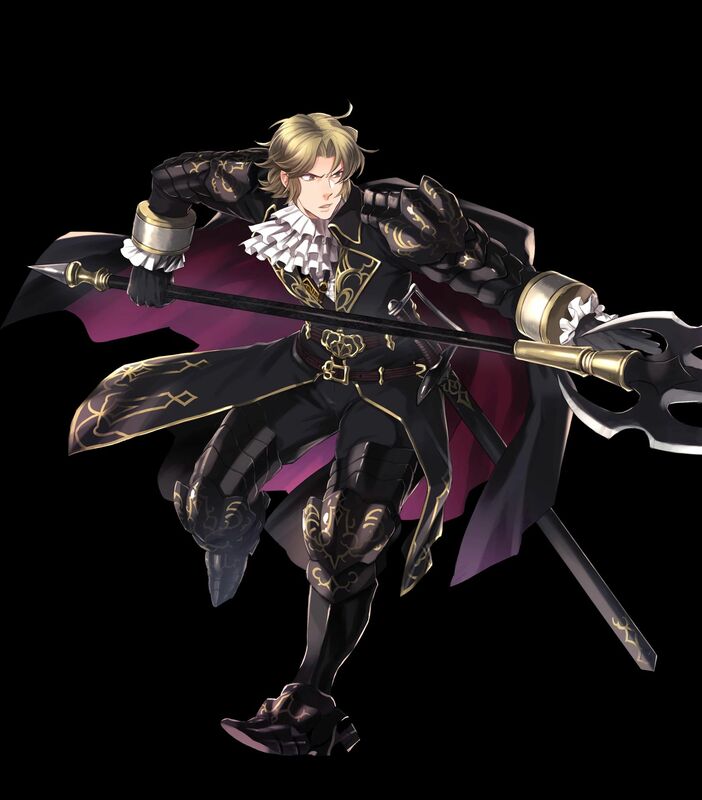 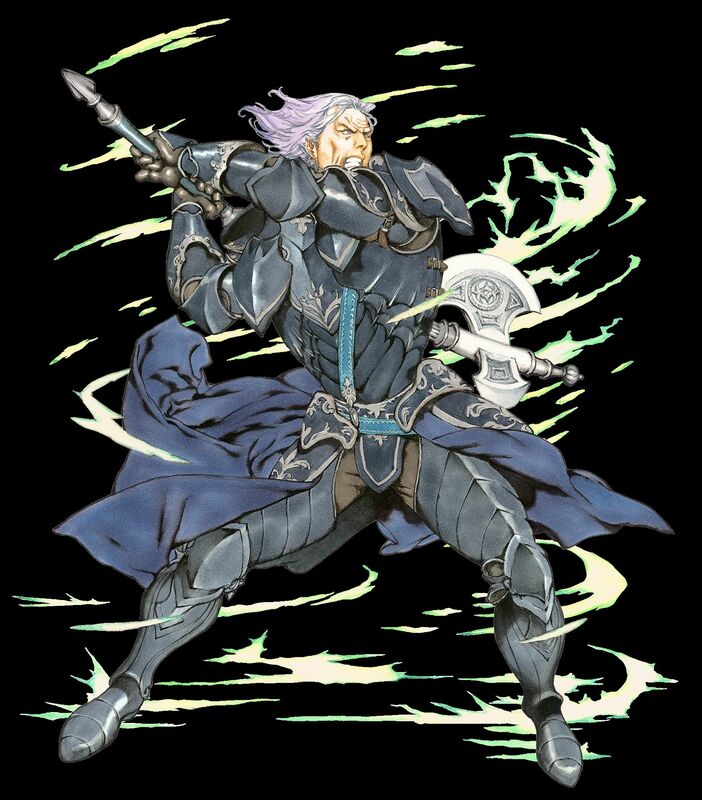 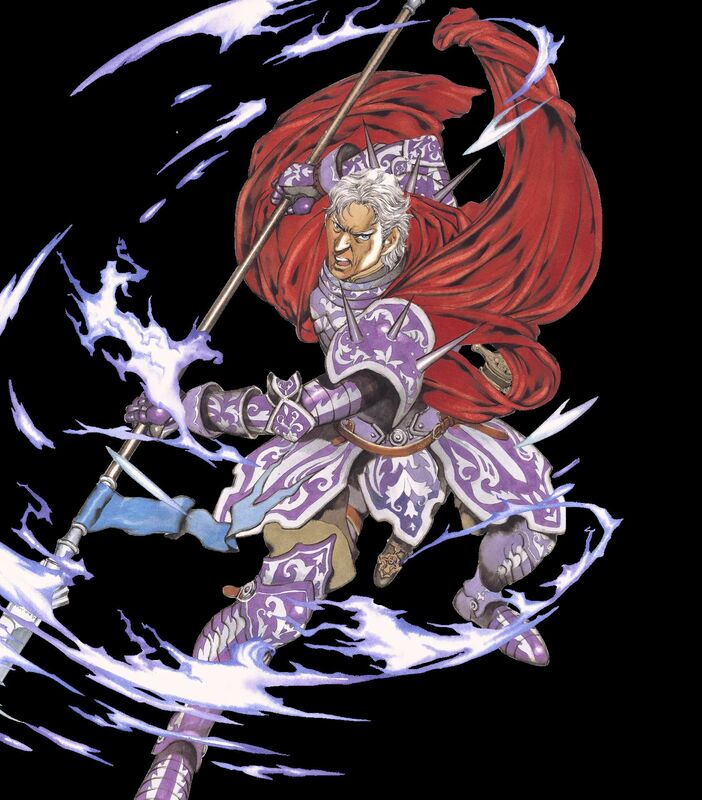 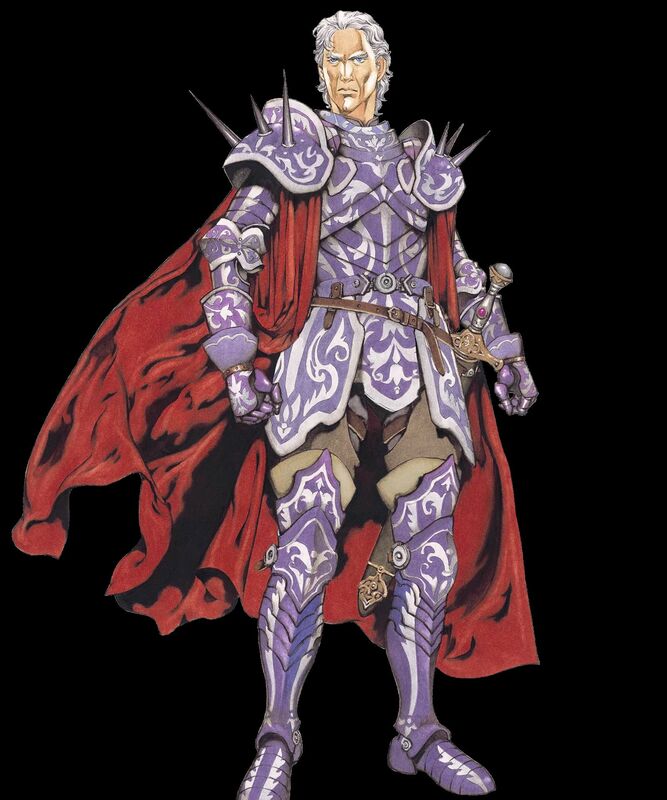 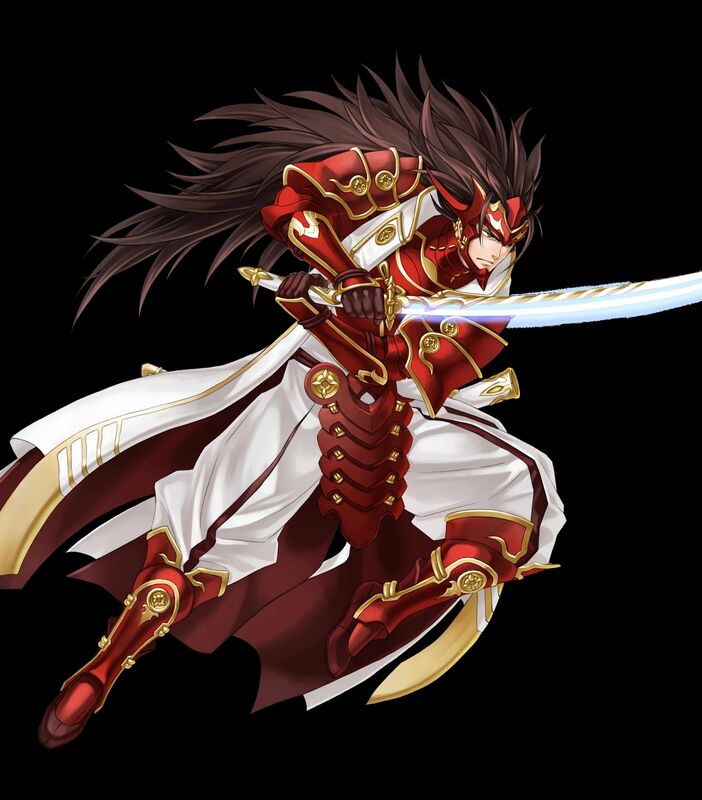 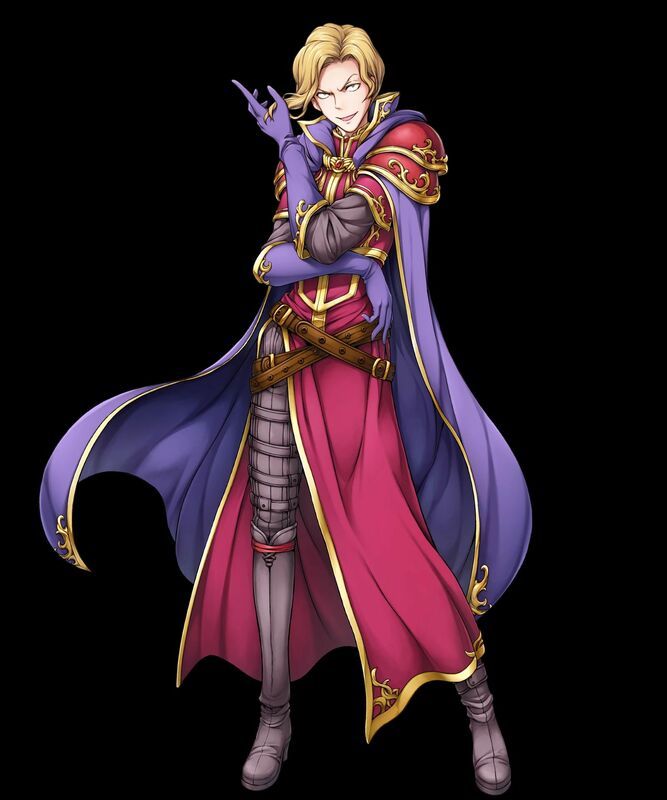 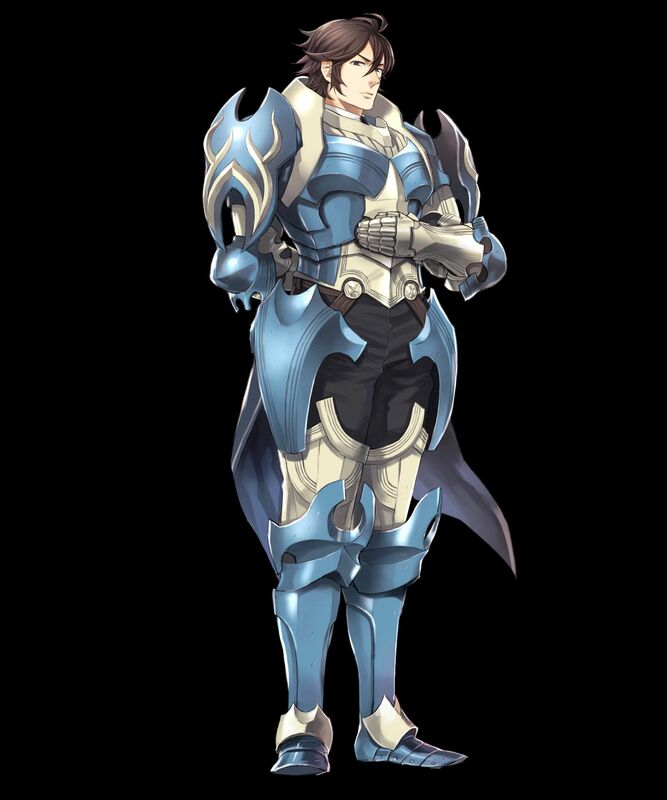 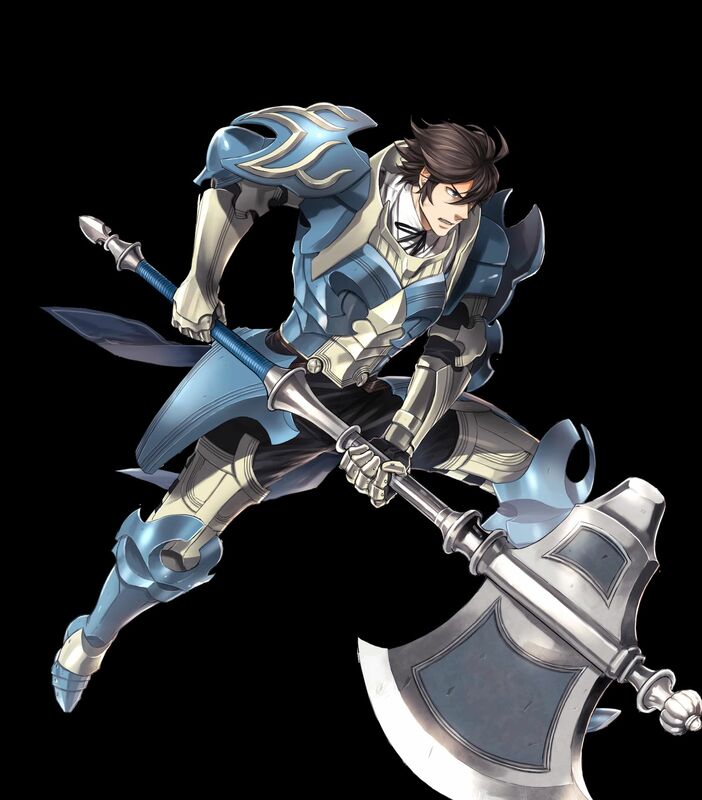 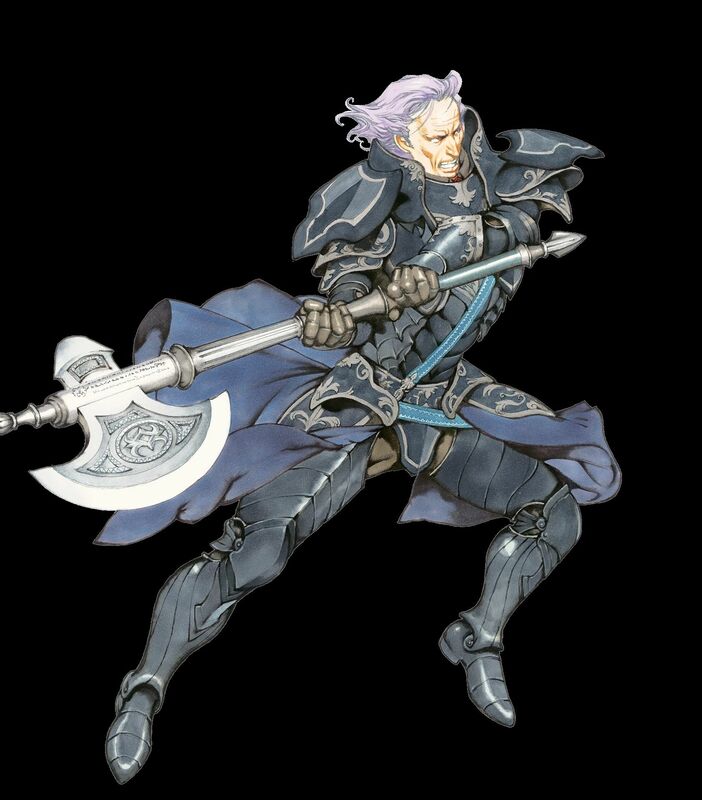 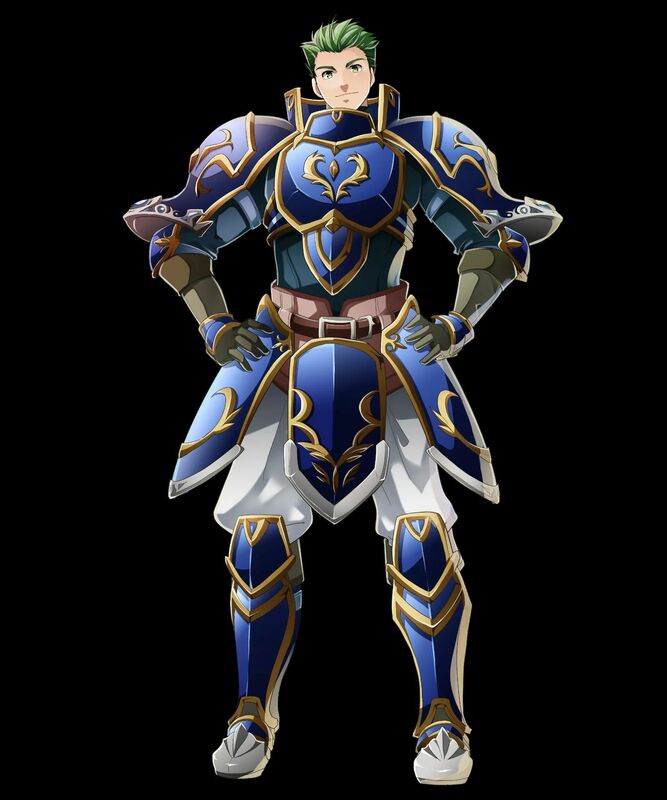 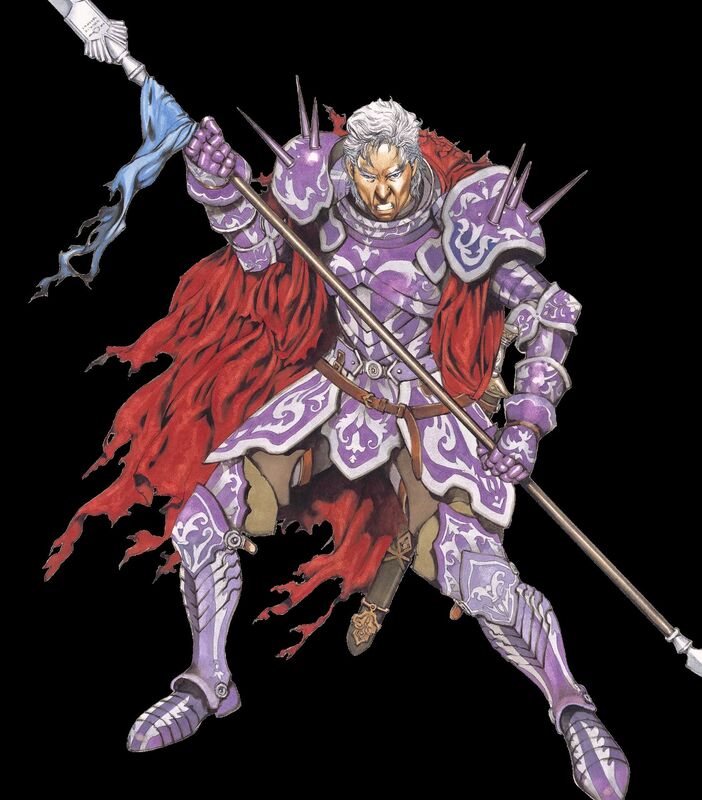 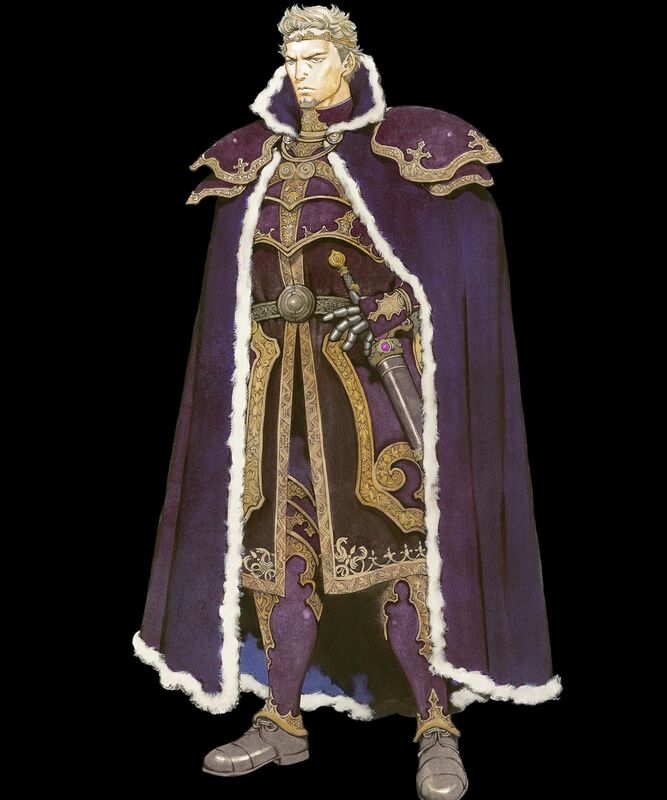 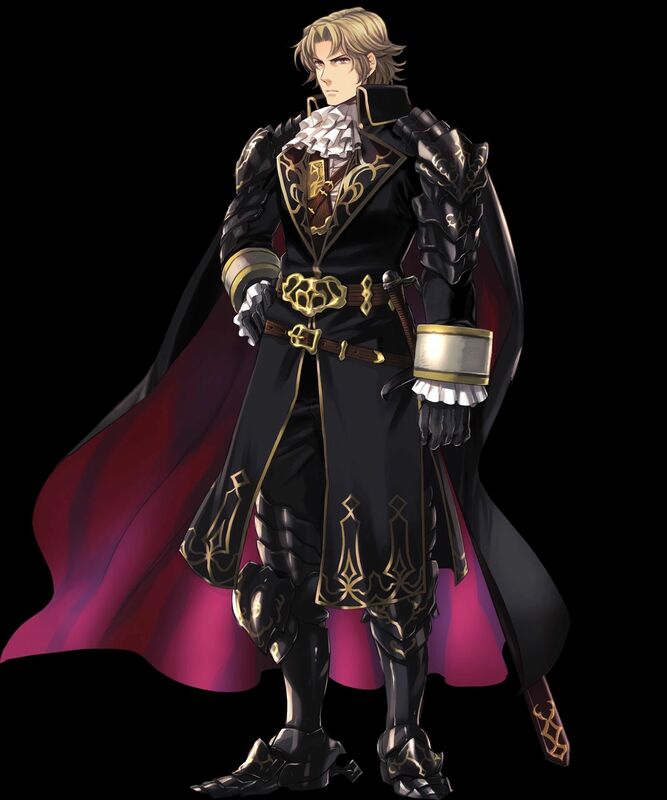 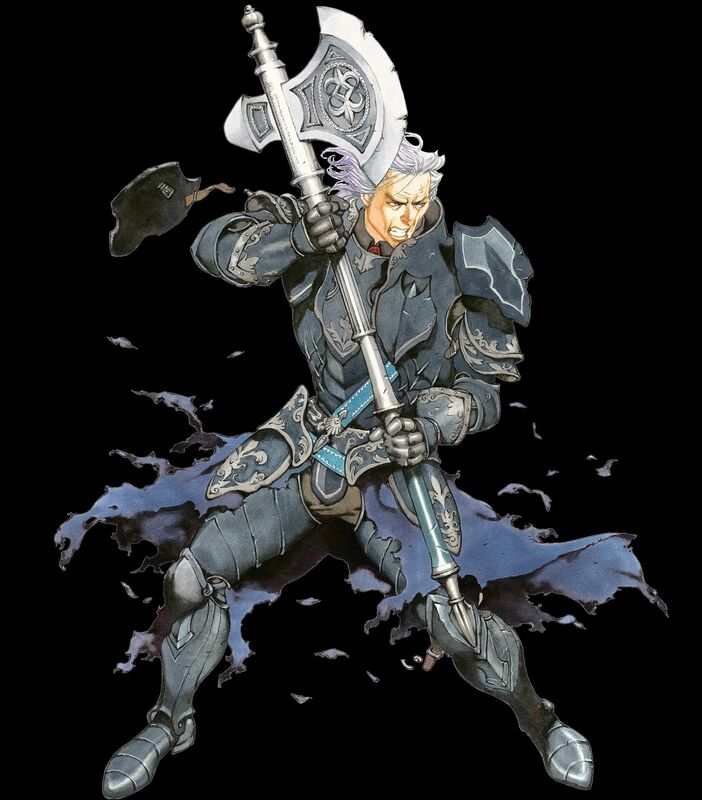 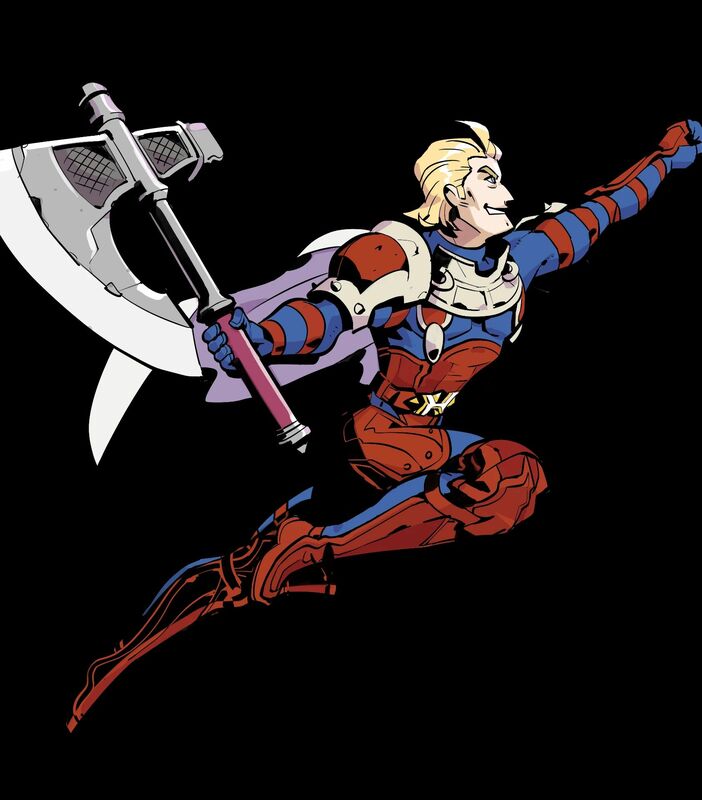 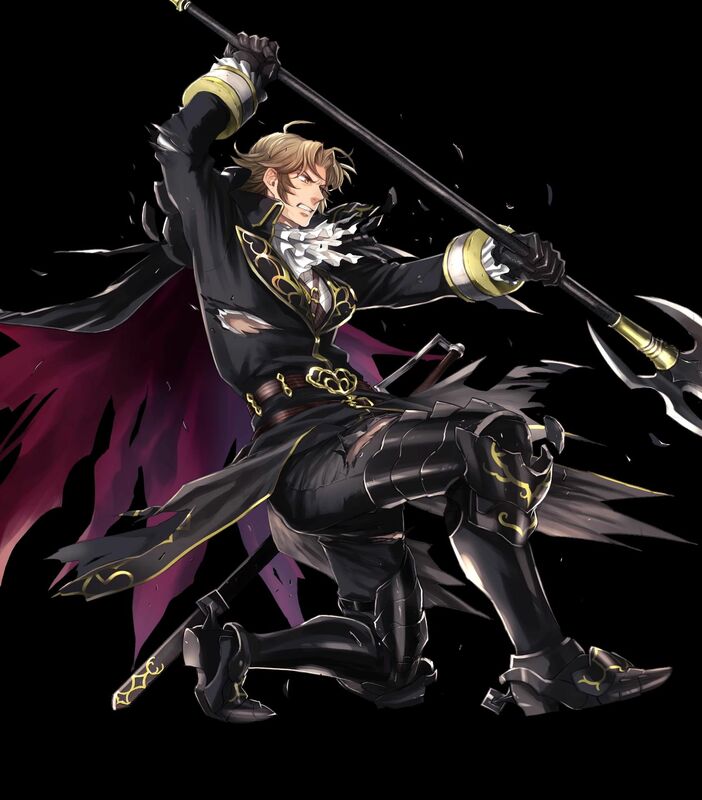 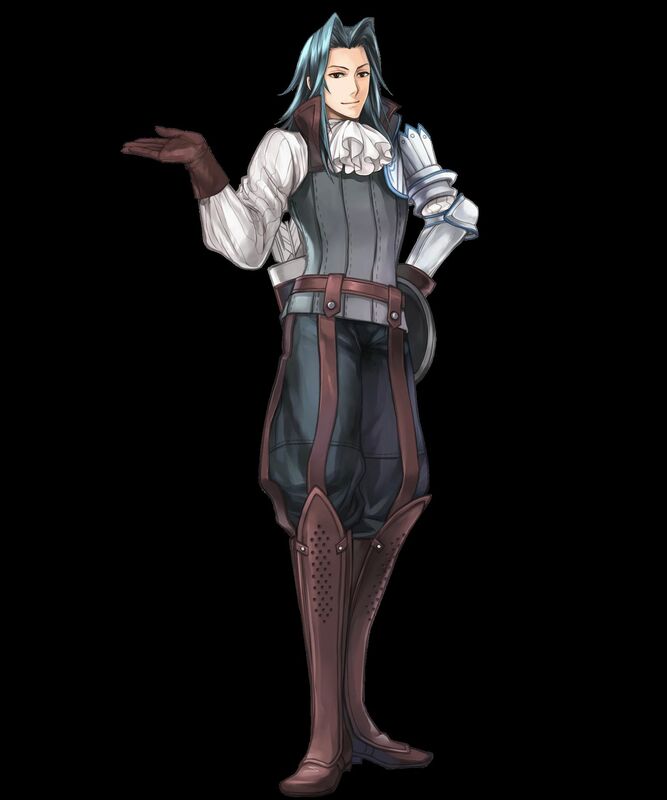 [Tuesday] [3 ★ / 4 ★] Camus, the Sable Knight (from Fire Emblem: Shadow Dragon and the Blade of Light / Shadow Dragon). 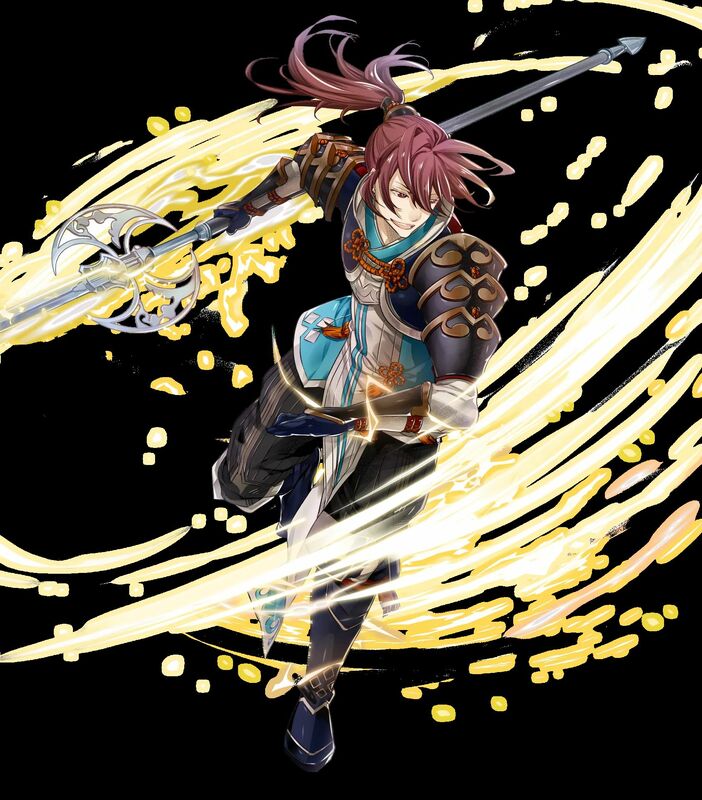 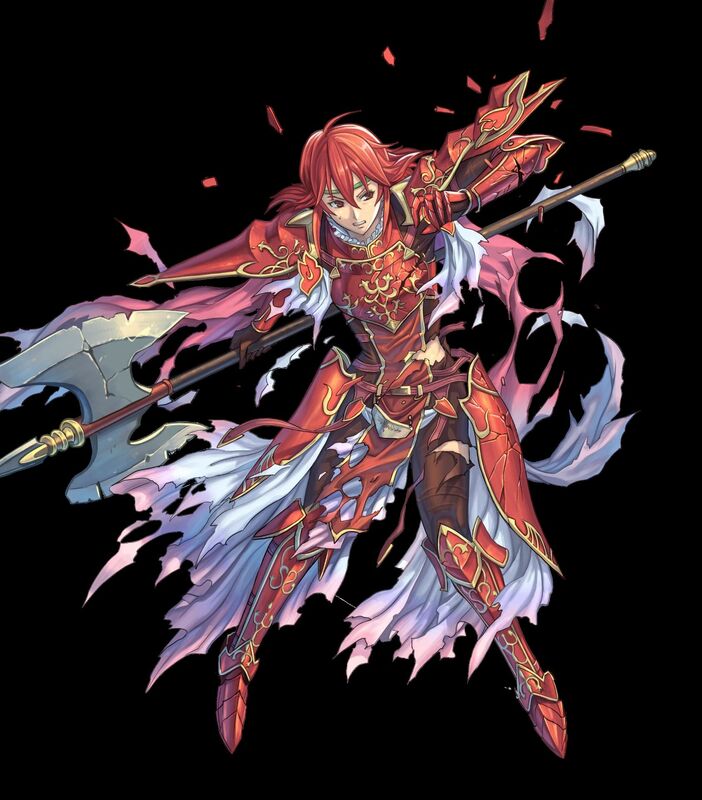 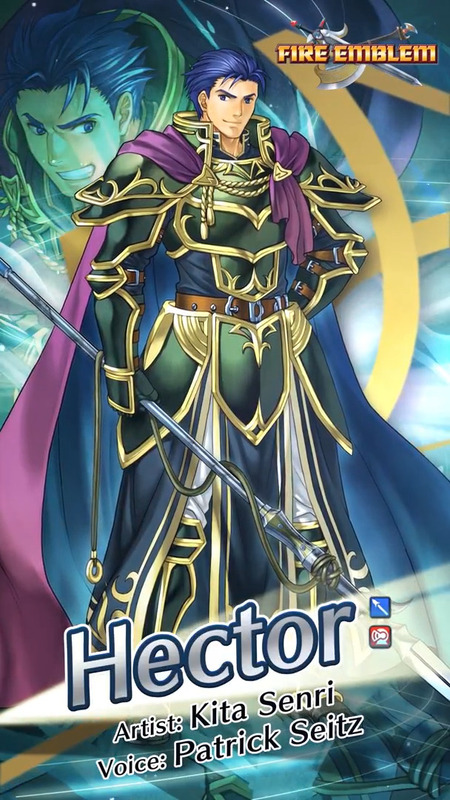 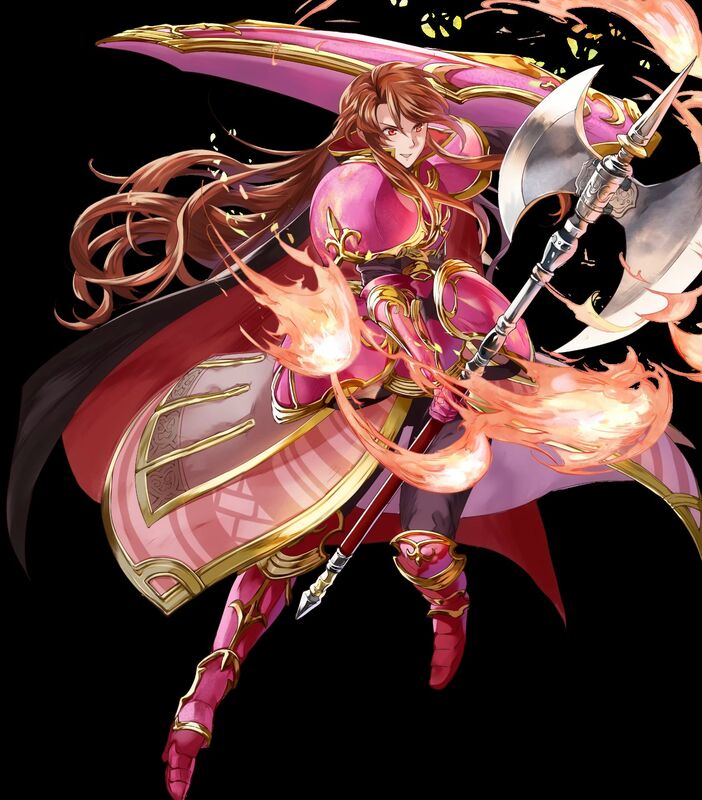 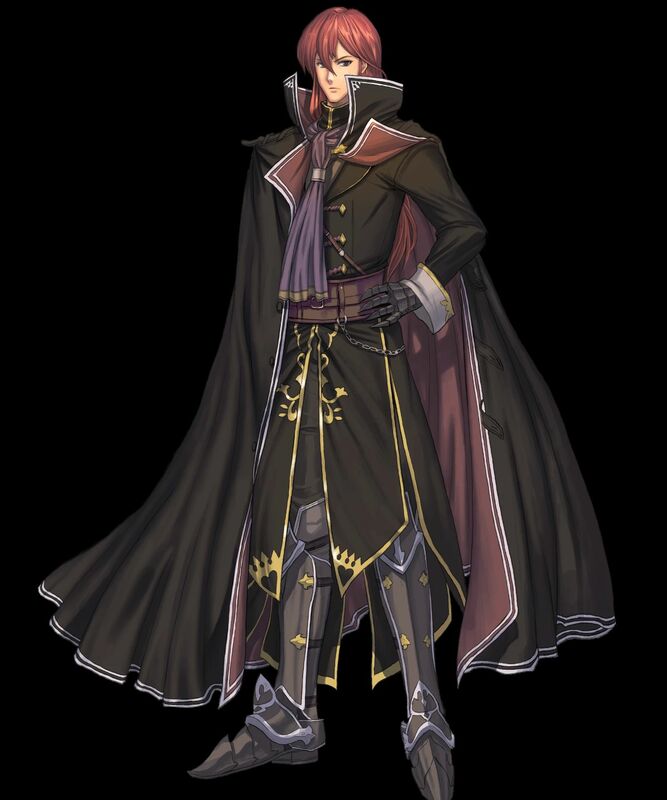 [Sunday] [3 ★ / 4 ★] Arvis, the Emperor of Flame (from Fire Emblem: Genealogy of the Holy War). 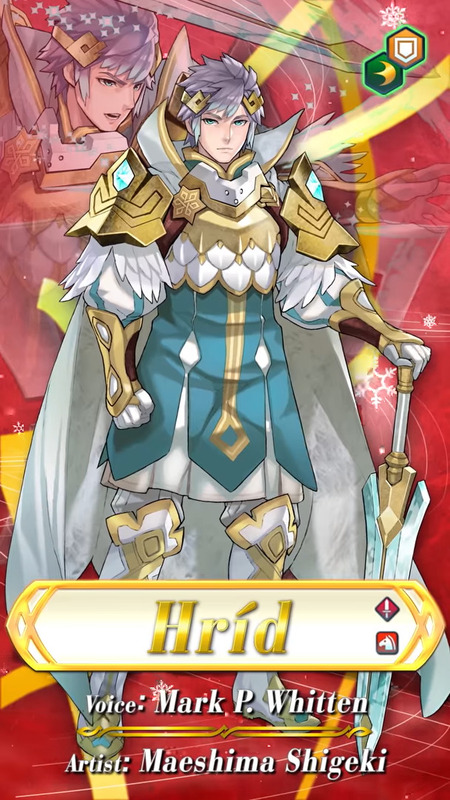 NB: you get the 3 ★ version of the Hero if you clear the map on Hard, 4 ★ version if you clear it on Lunatic, and 4 ★ version + Hero feathers if you clear it on Infernal. 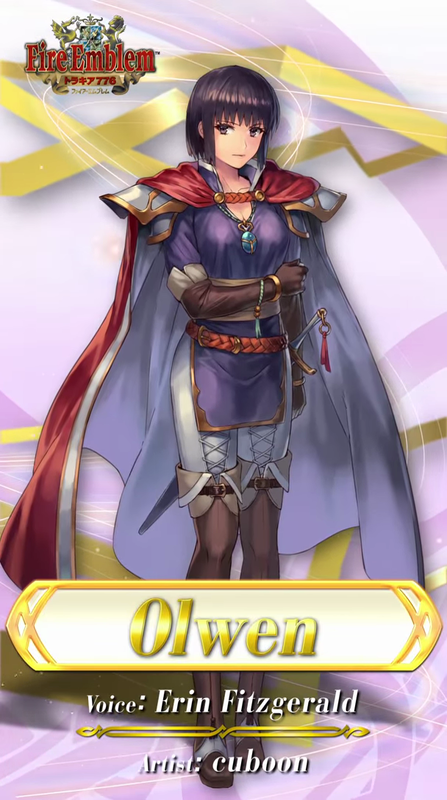 Those are special Heroes introduced in Ver. 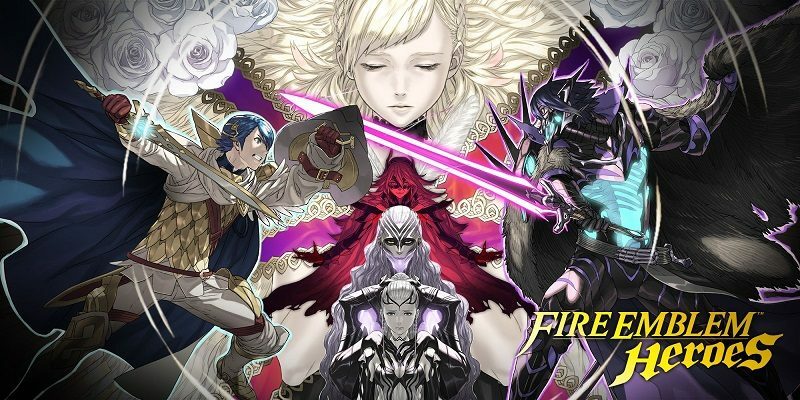 3.0.0 of Fire Emblem Heroes. 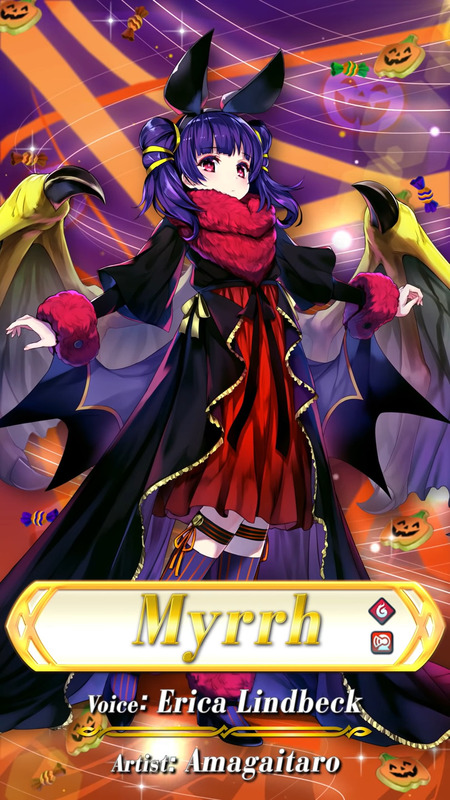 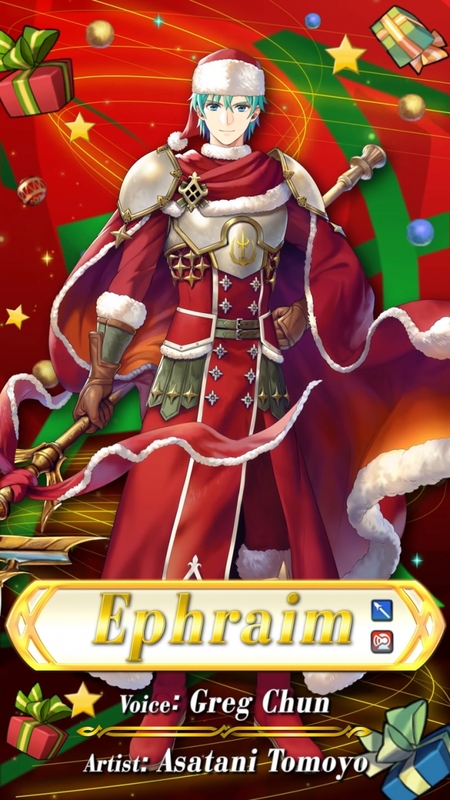 They’re tied to a specific Mythic Effet, that gives you a bonus in Aether Raids. 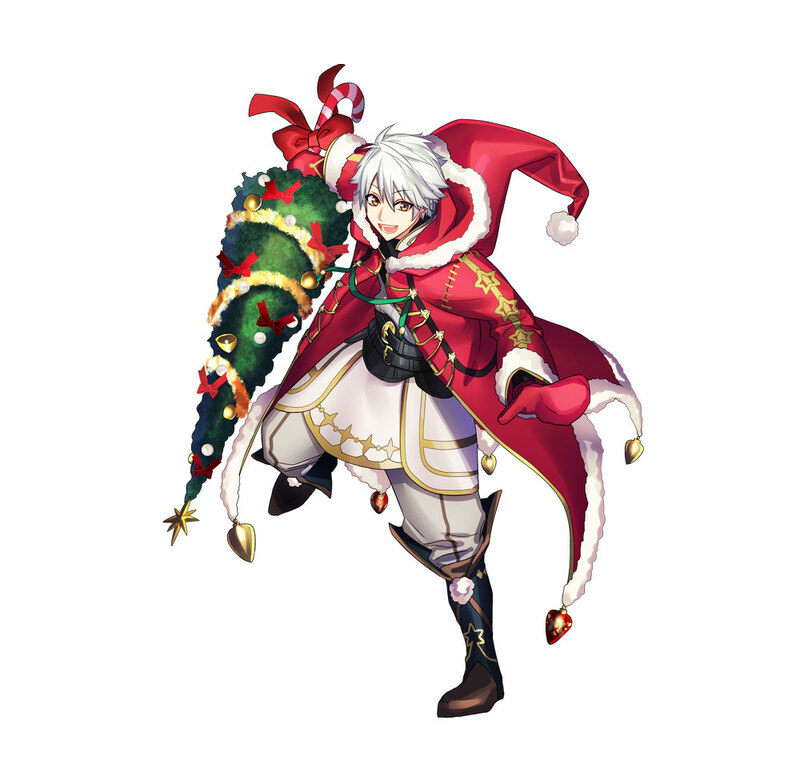 Check out this post for more details! 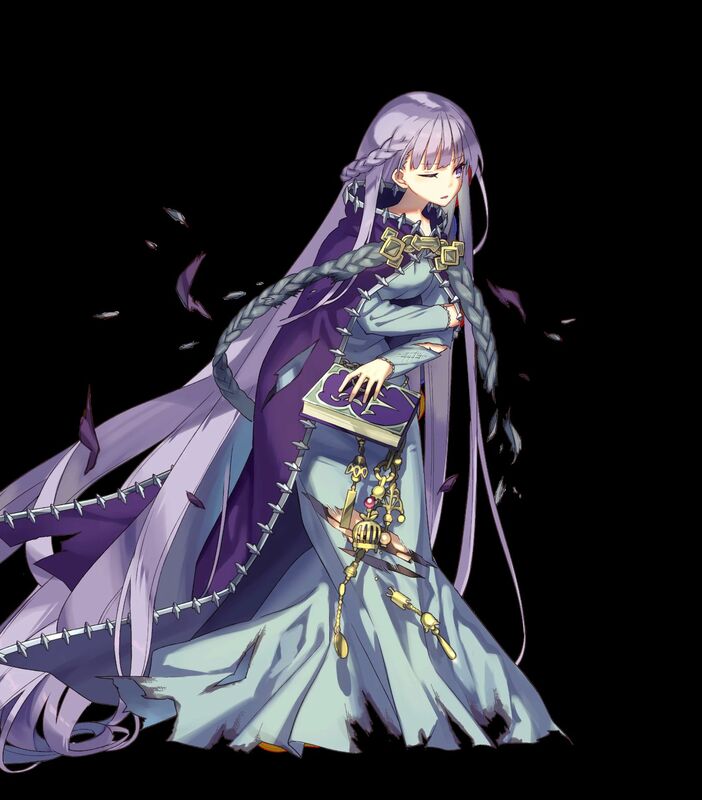 [5 ★] Eir: Merciful Death (original character). 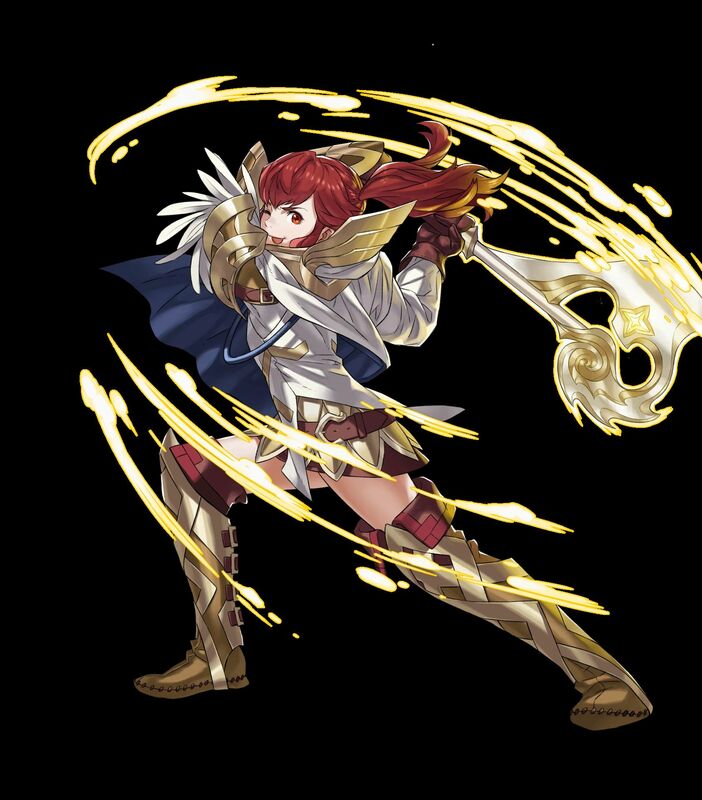 Mythic Effect: Light. 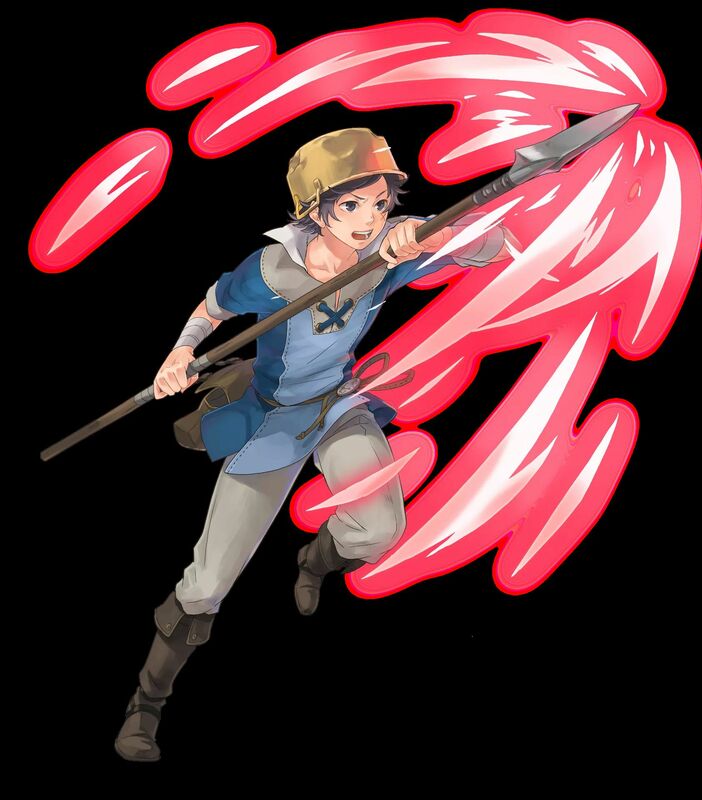 Bonus: HP+5, Res+5. 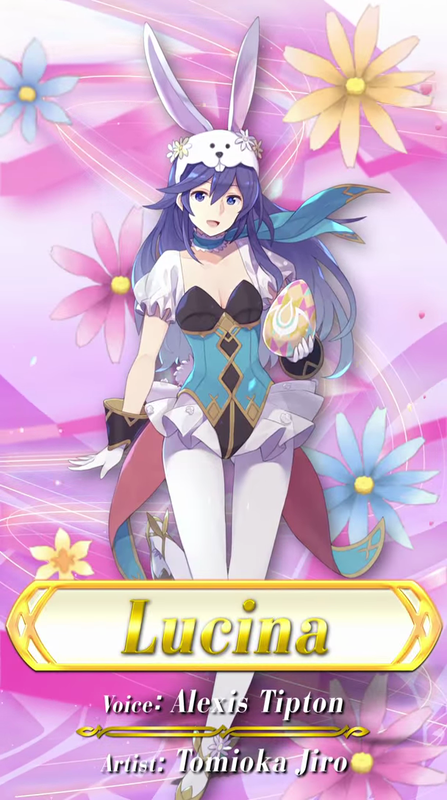 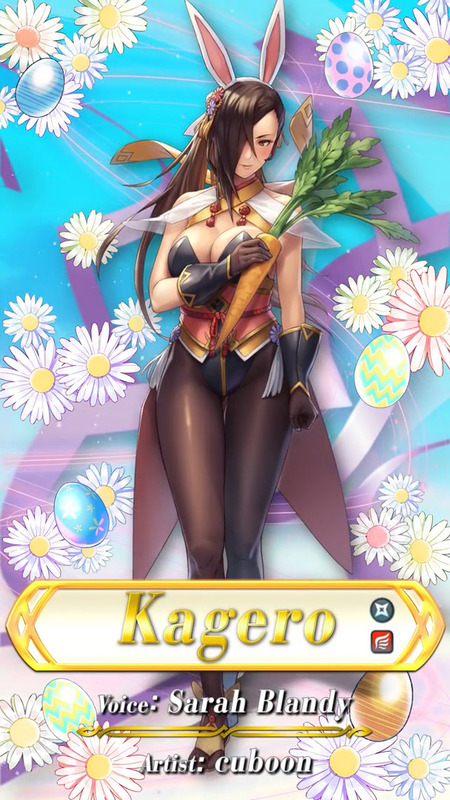 You can get her via Summoning, but also by completing Chapter 1 of Book III of the main story. 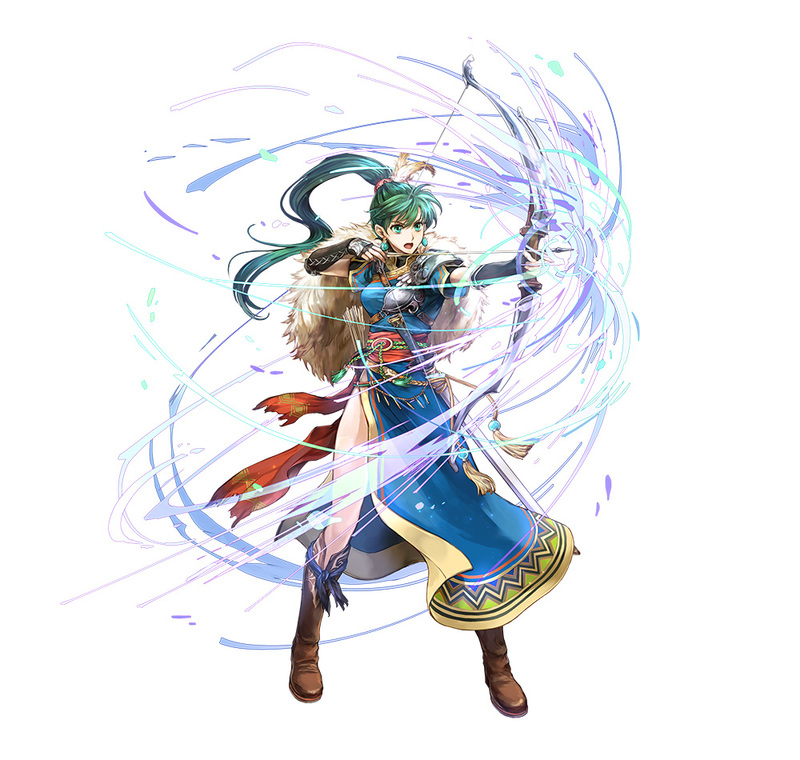 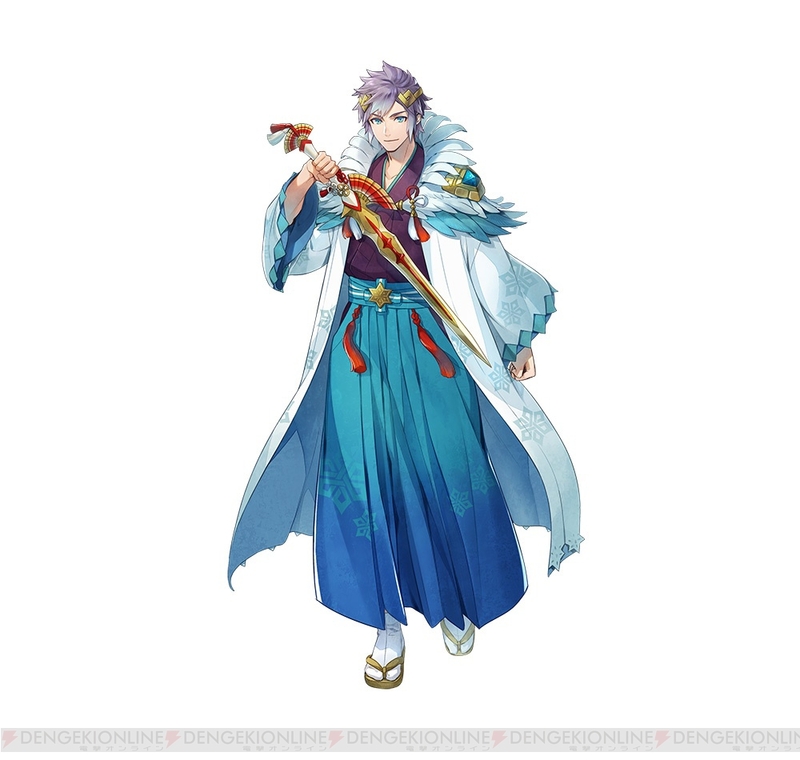 Those are extremely special Heroes, that come with an item called “Blessing”, and have a Legendary ability (check out this post for more details about them!). 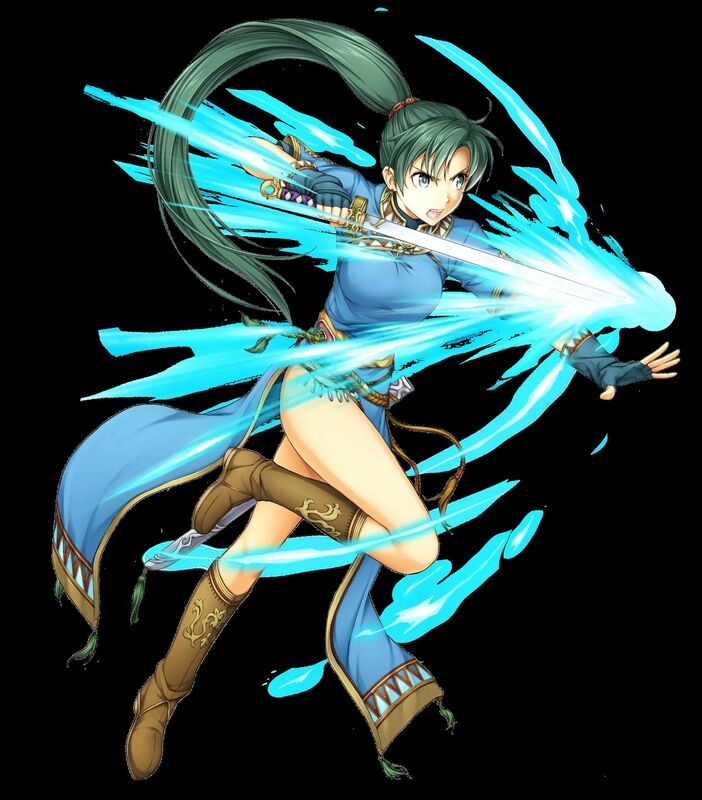 Those are special variants of existing characters, that are separate from their regular versions (they cannot be used for Merging with their regular version). 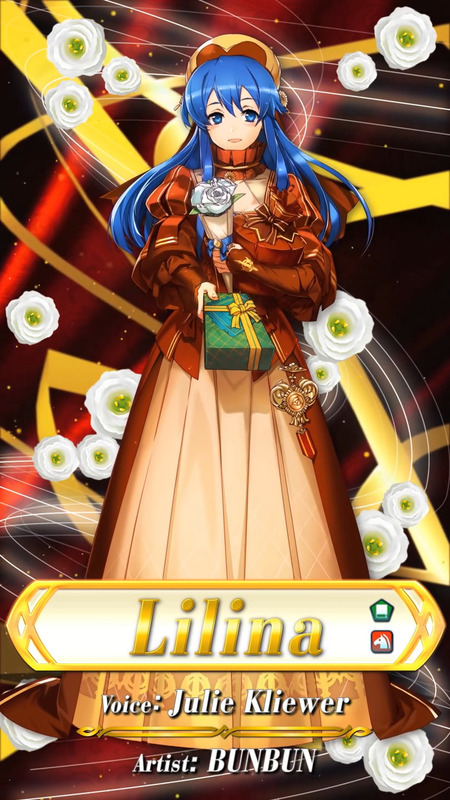 They’re only available for a limited time, during special events, and so they will most likely not be available anymore by the time you read this. 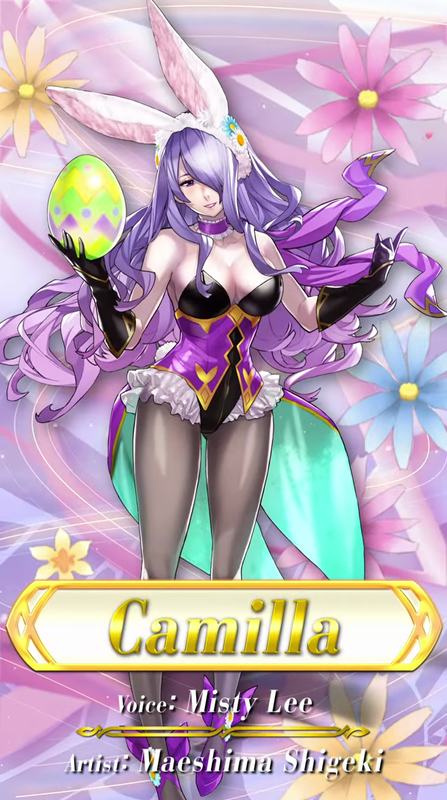 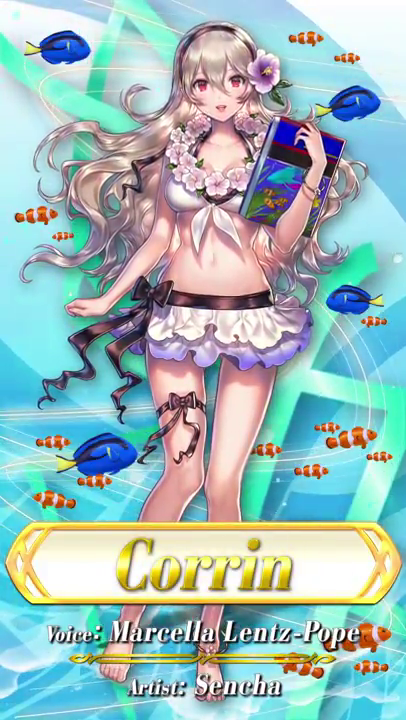 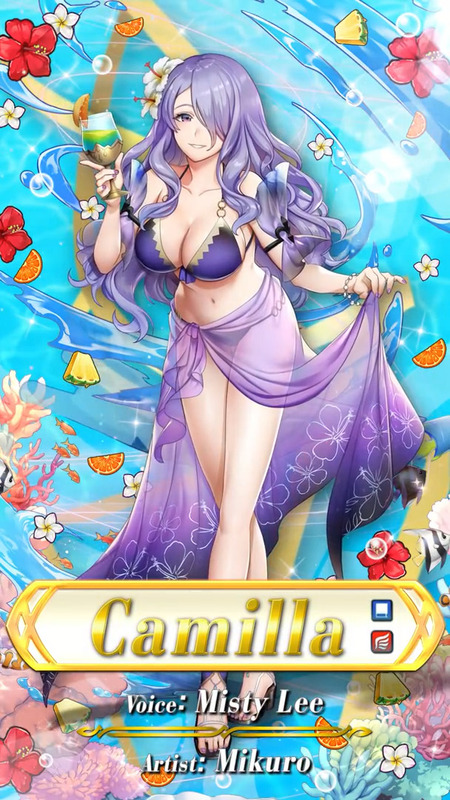 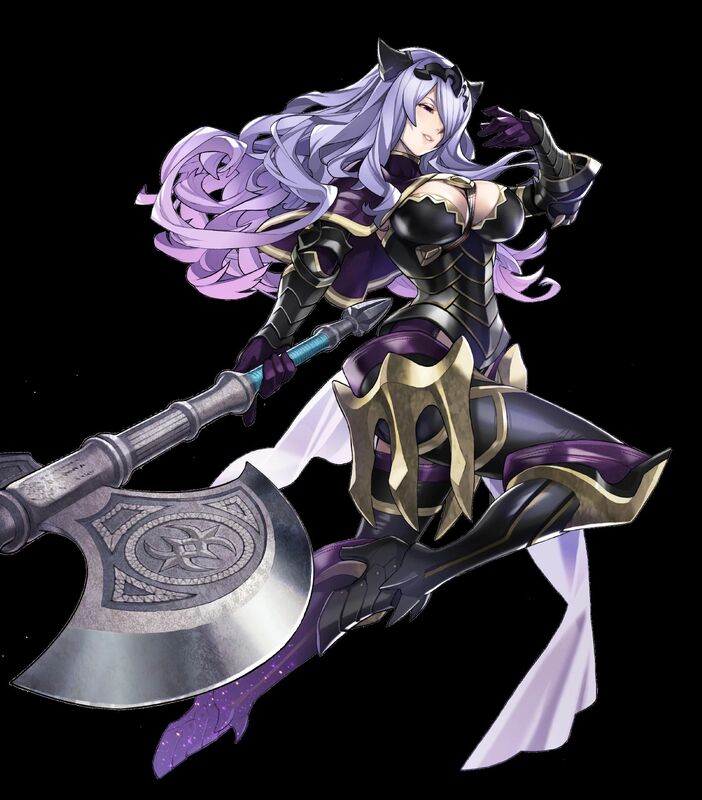 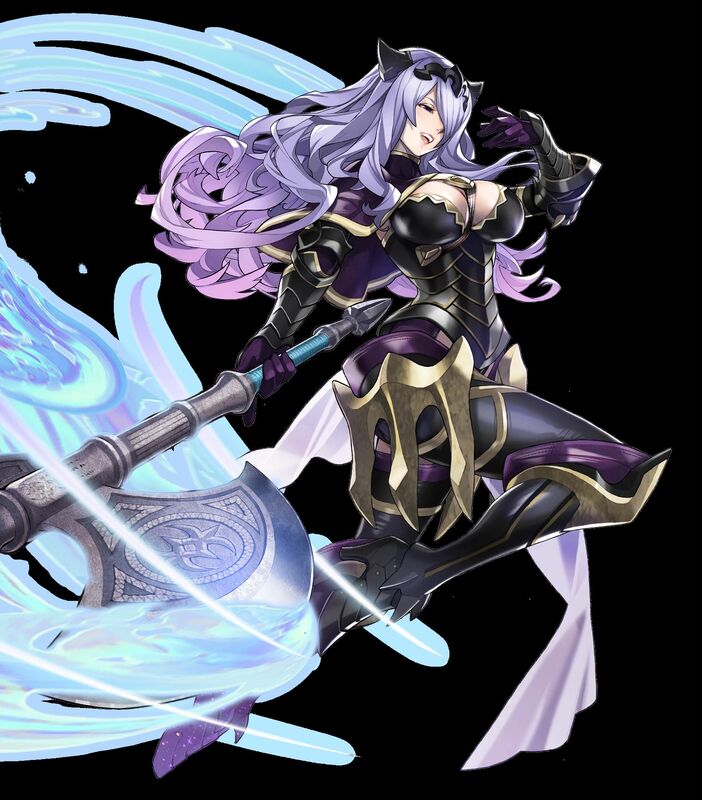 [5 ★ Focus] Camilla, Tropical Beauty. 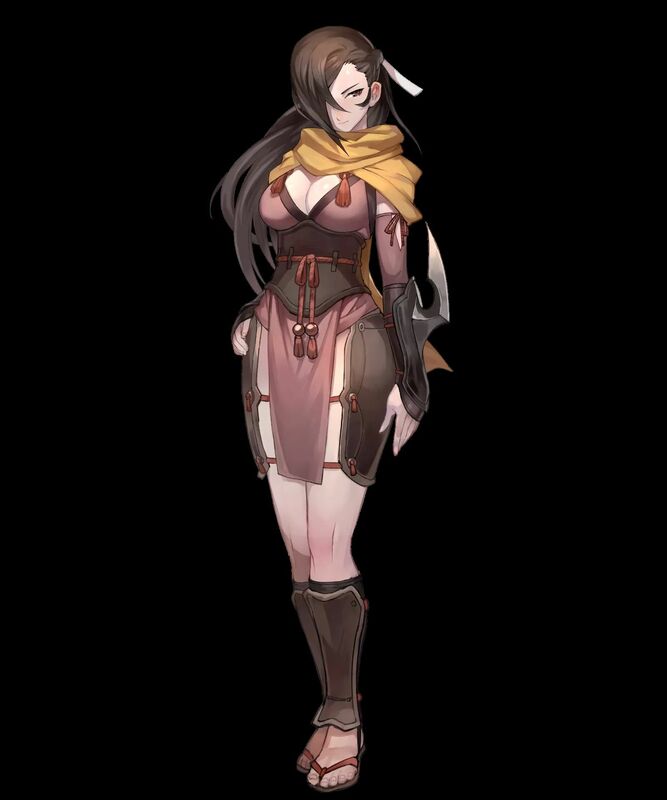 Voiced by Misty Lee. 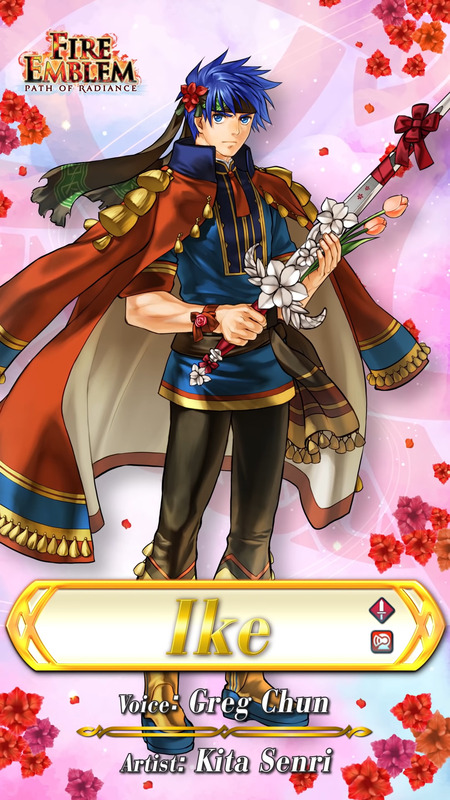 Artist: Mikuro. 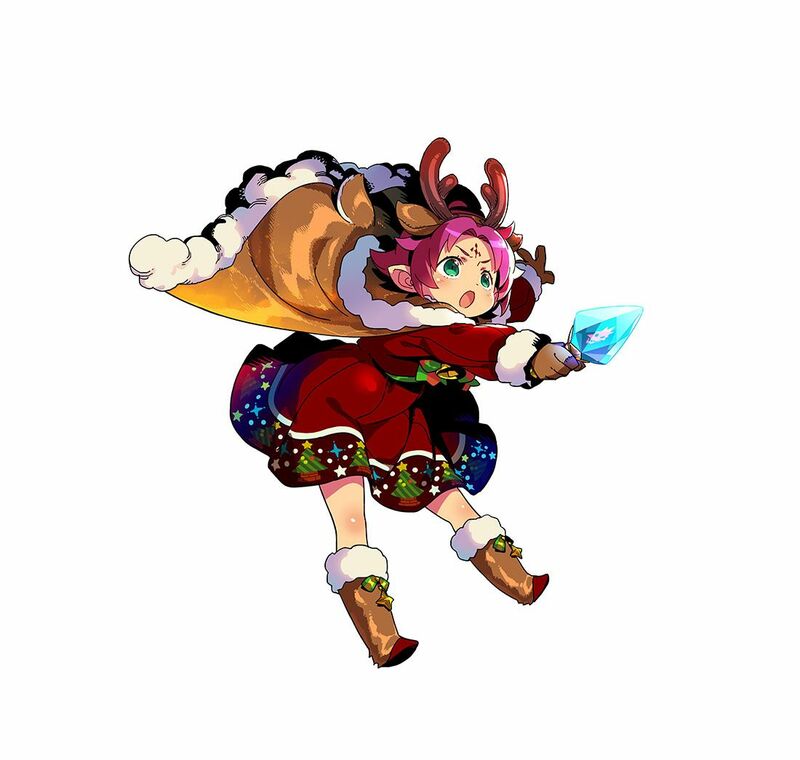 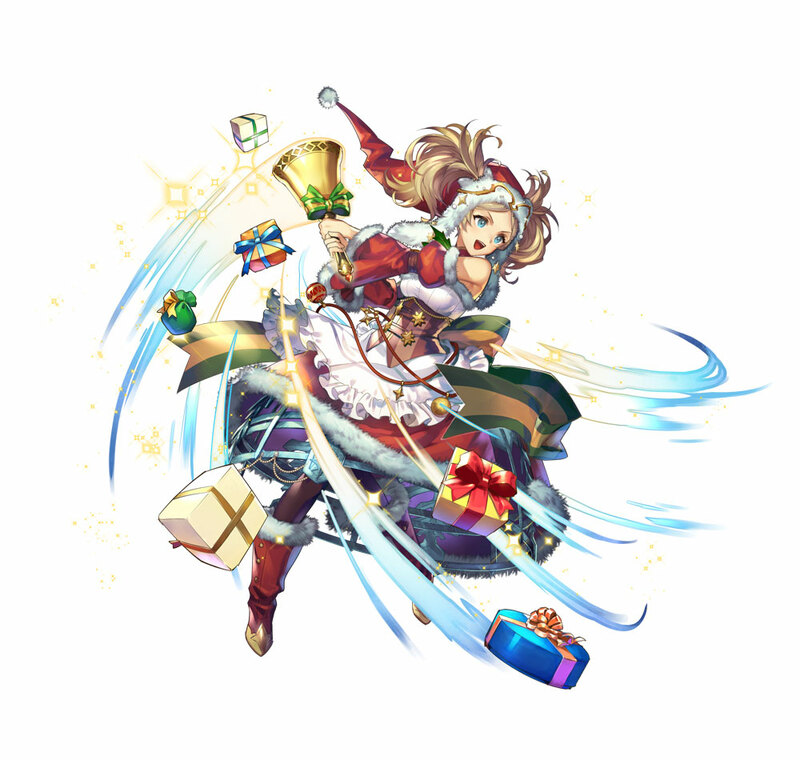 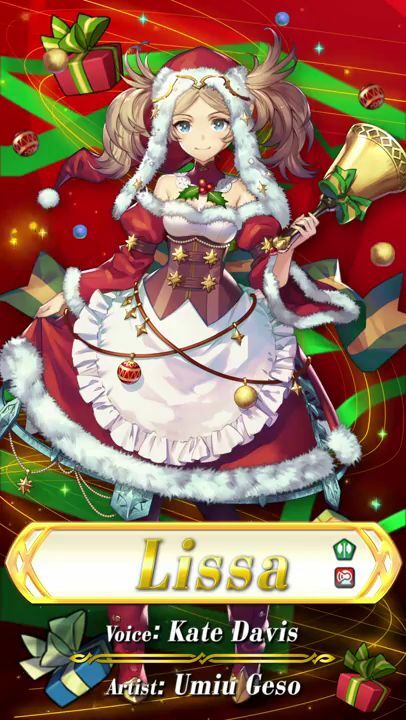 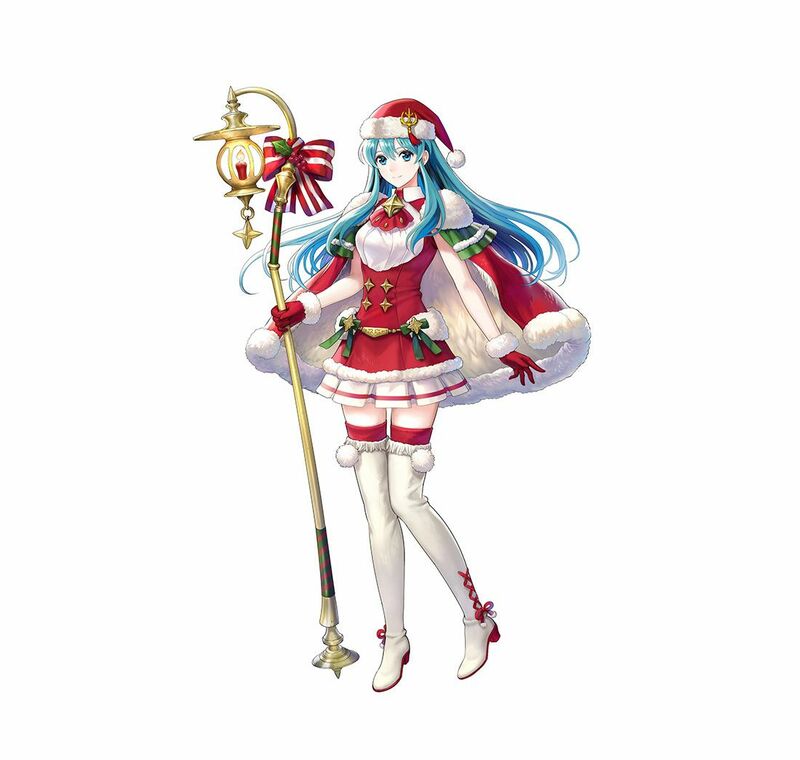 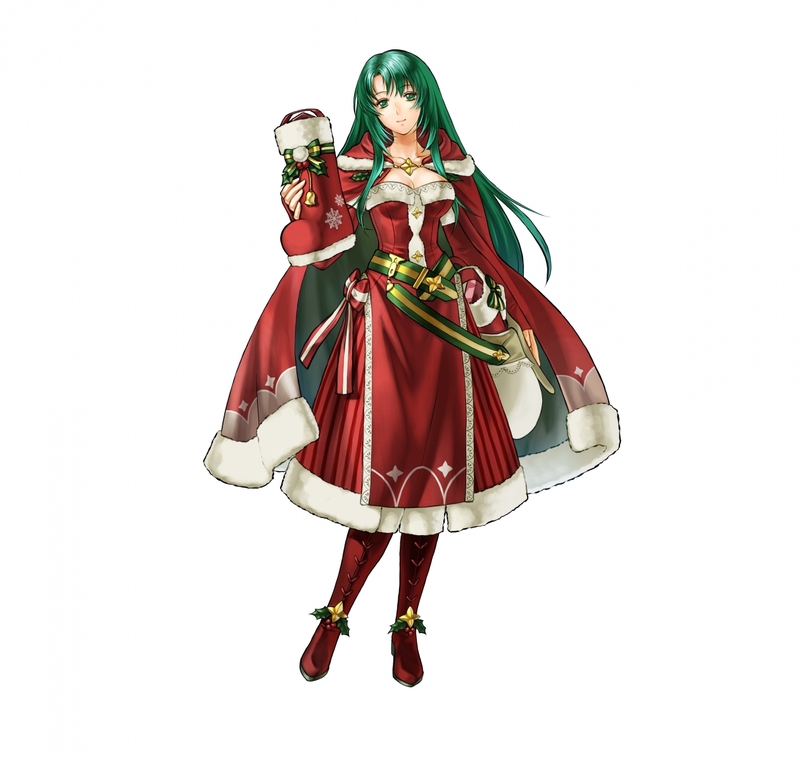 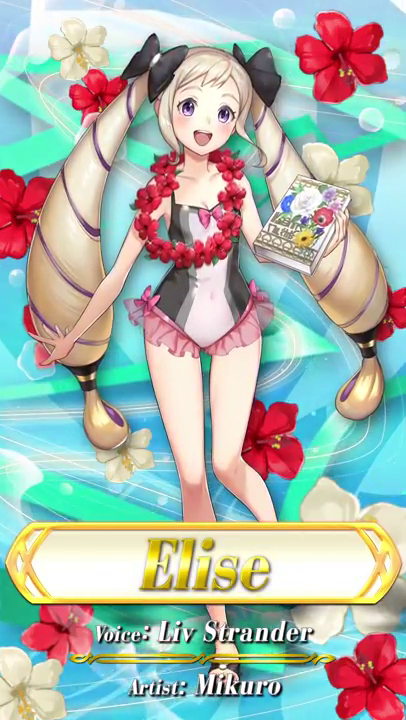 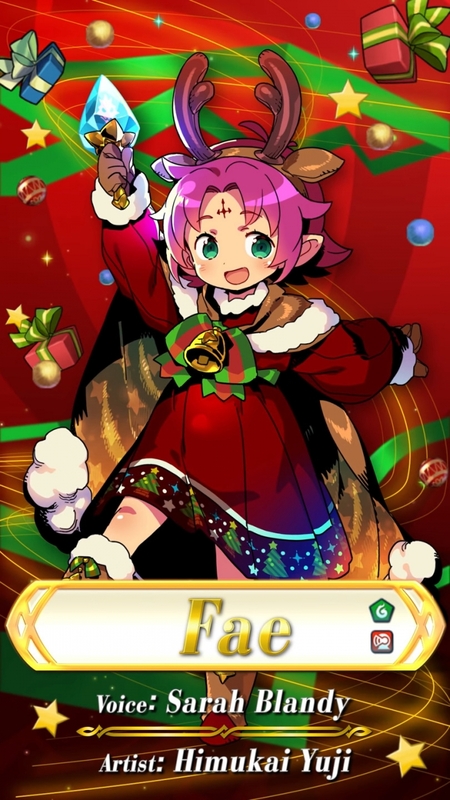 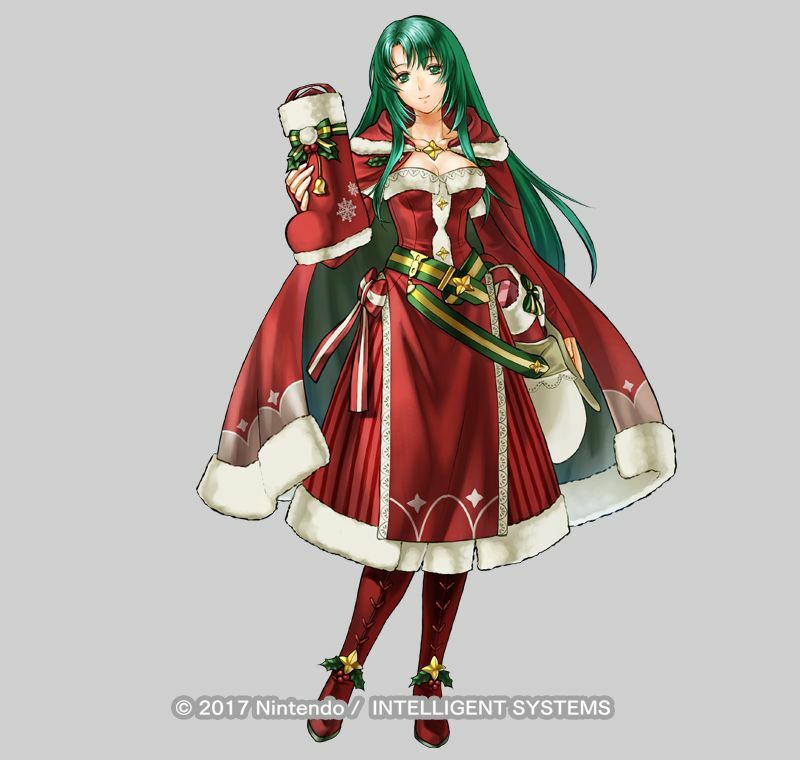 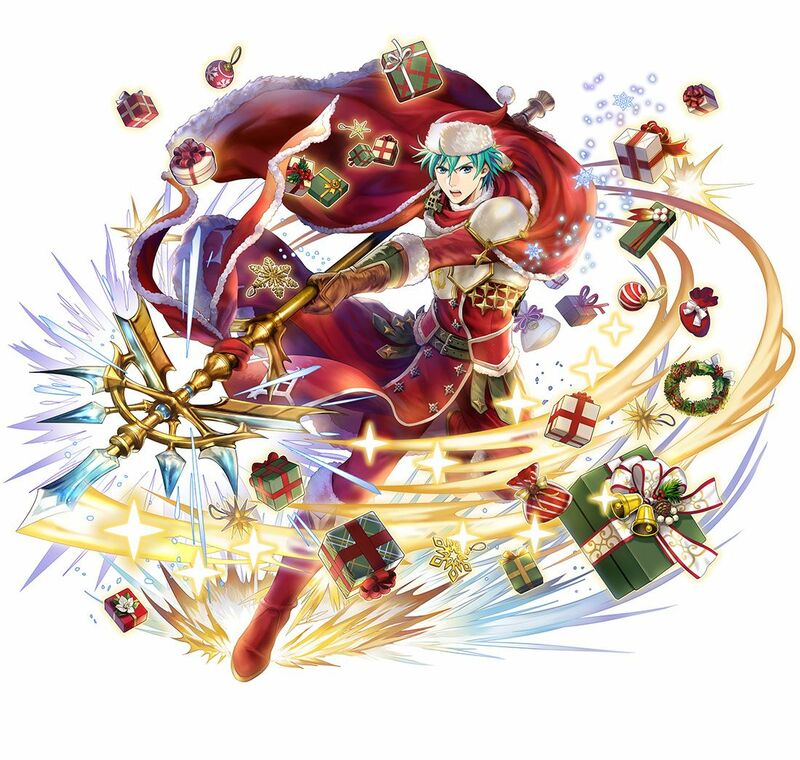 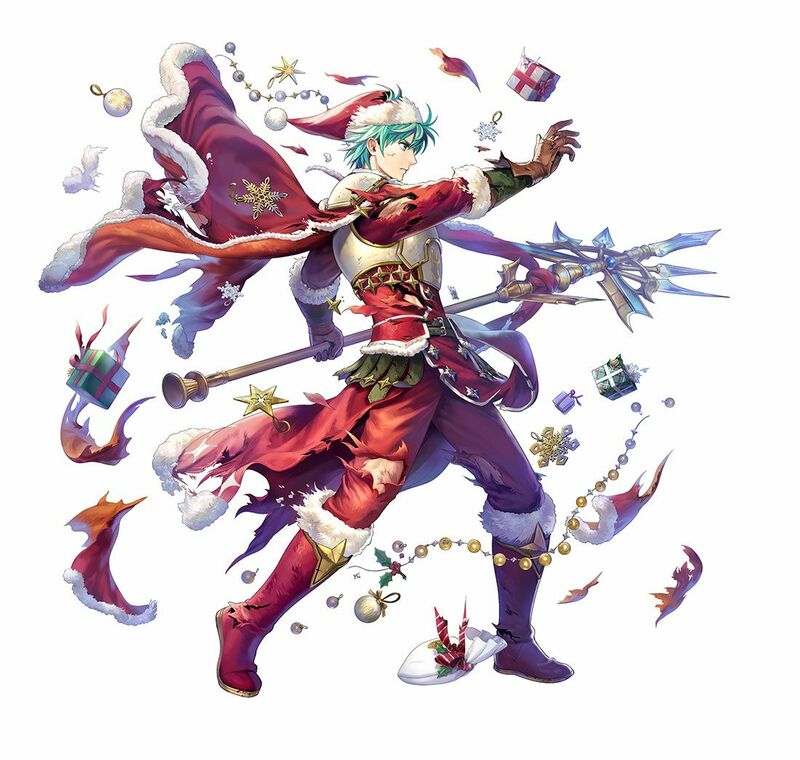 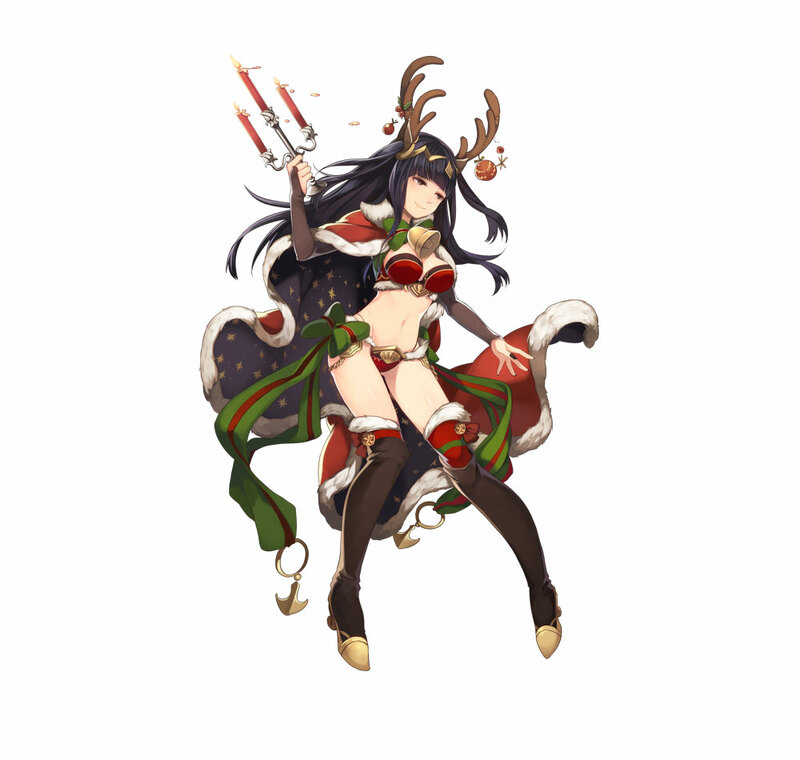 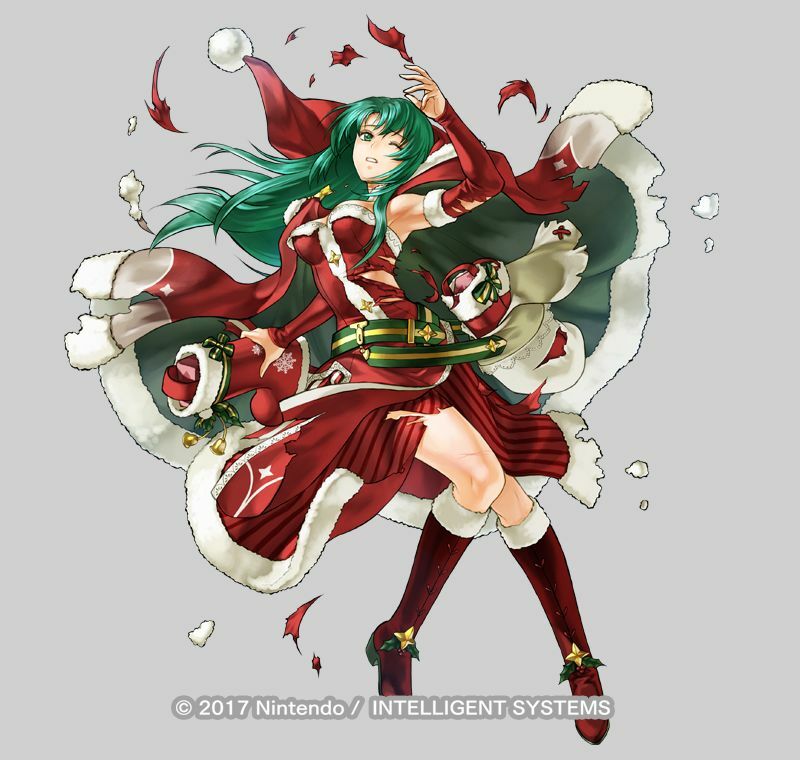 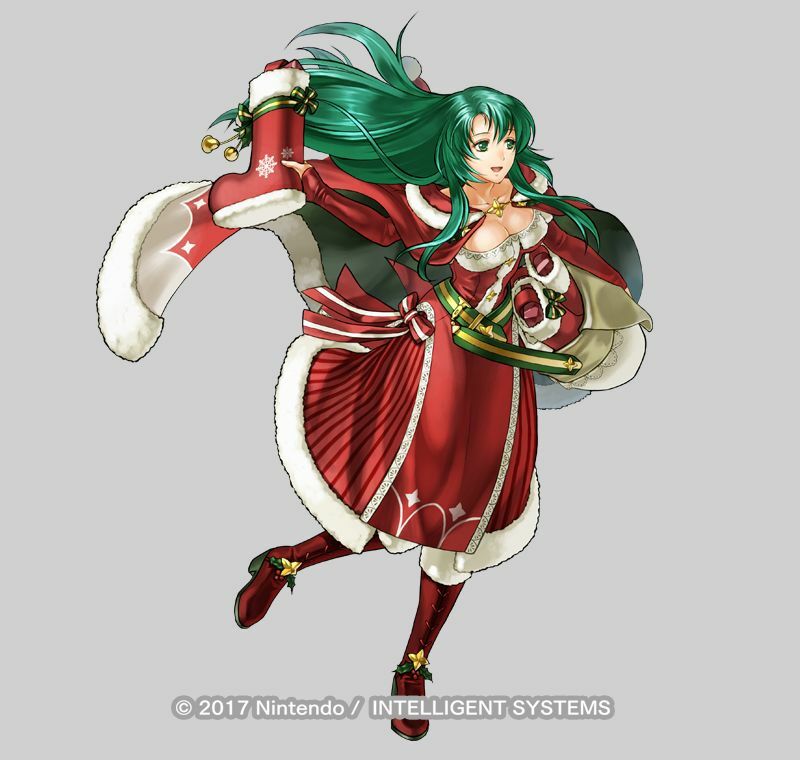 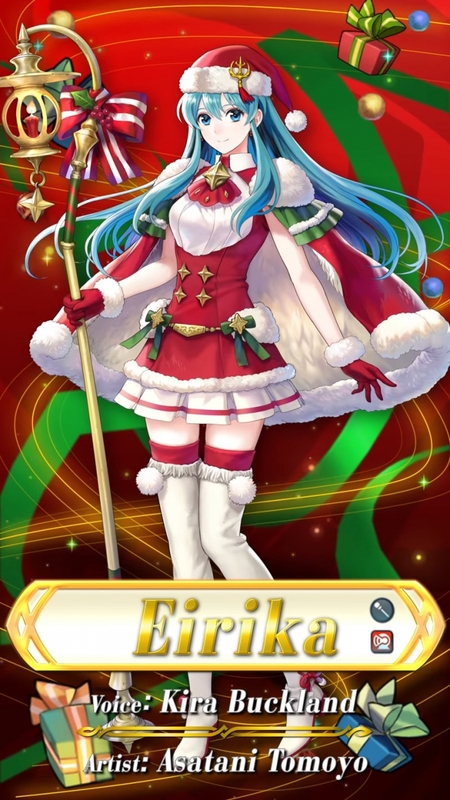 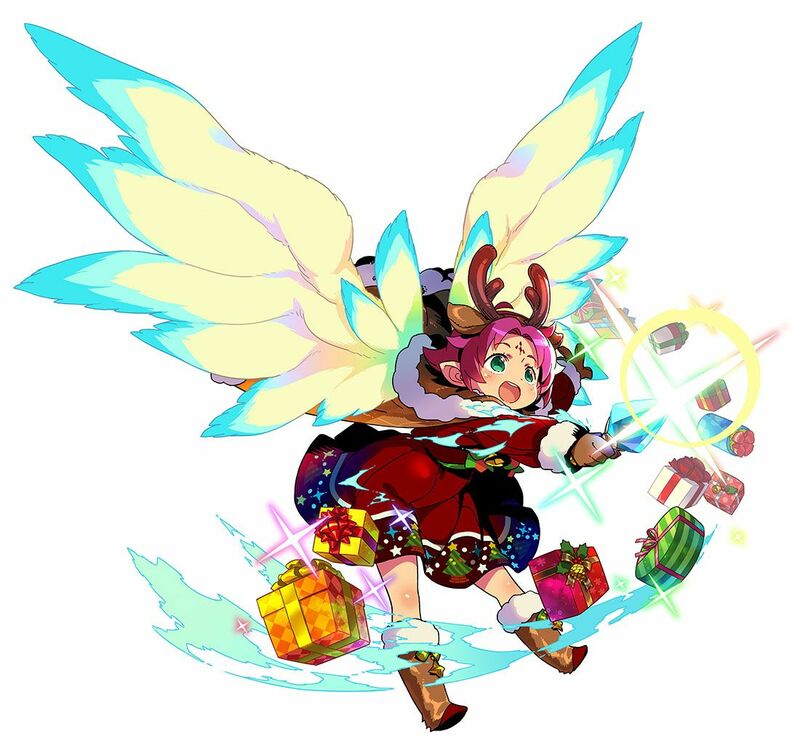 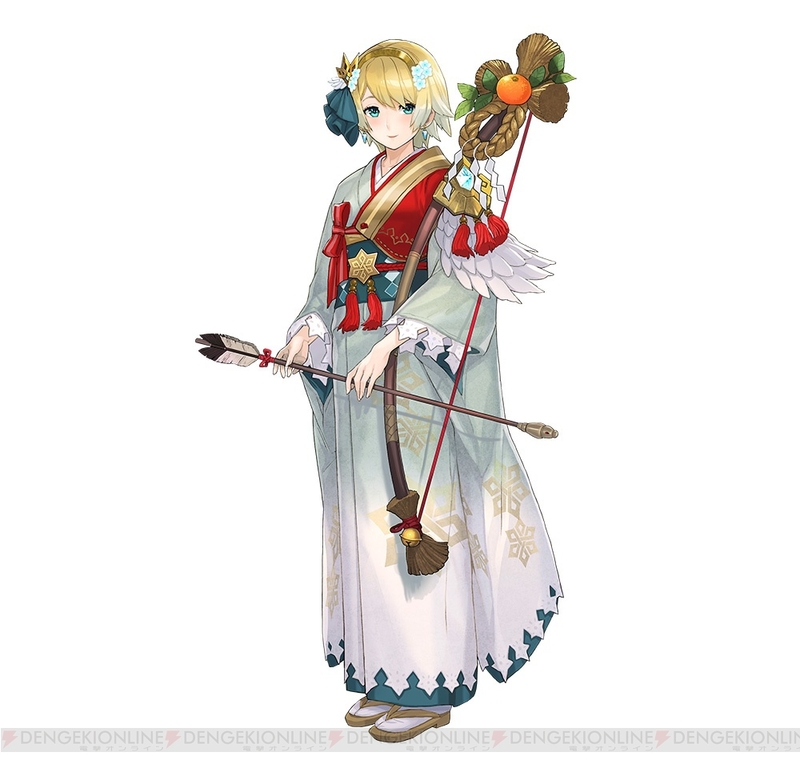 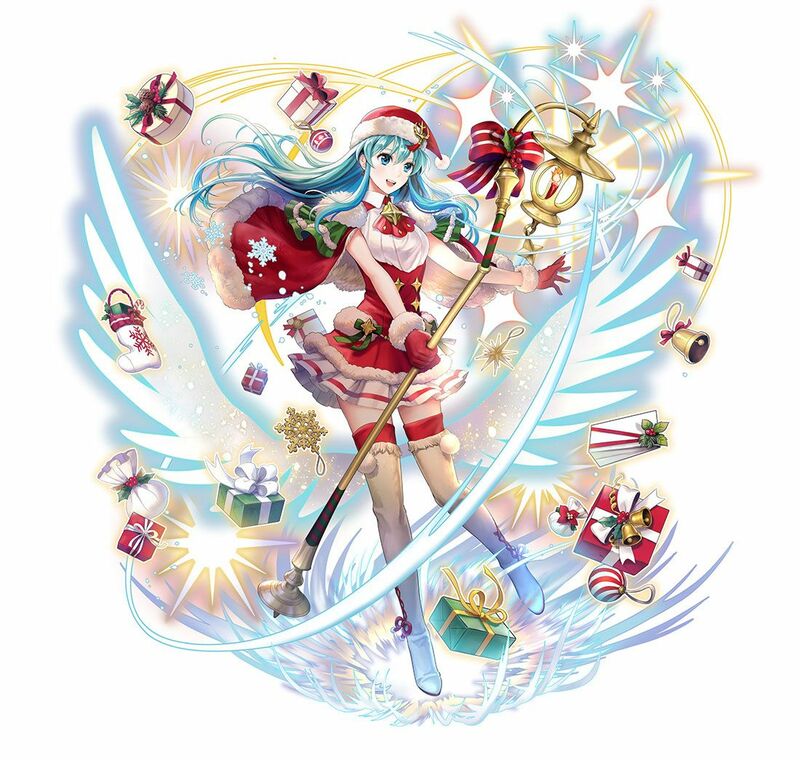 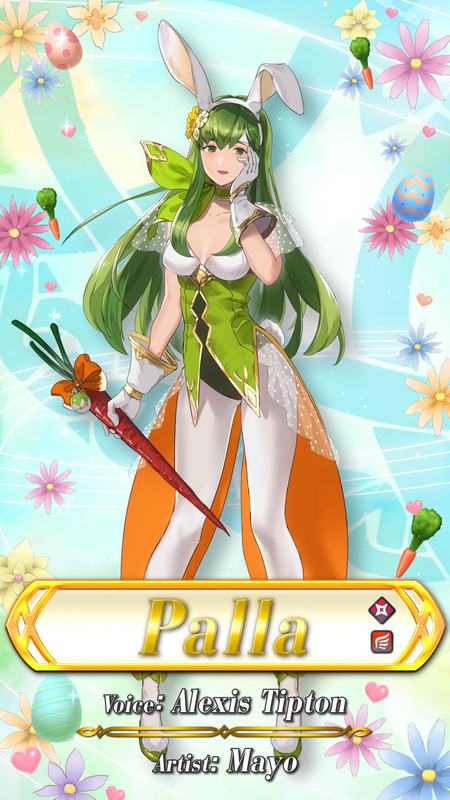 [4 ★ / 5 ★] Cecilia: Festive Instructor. 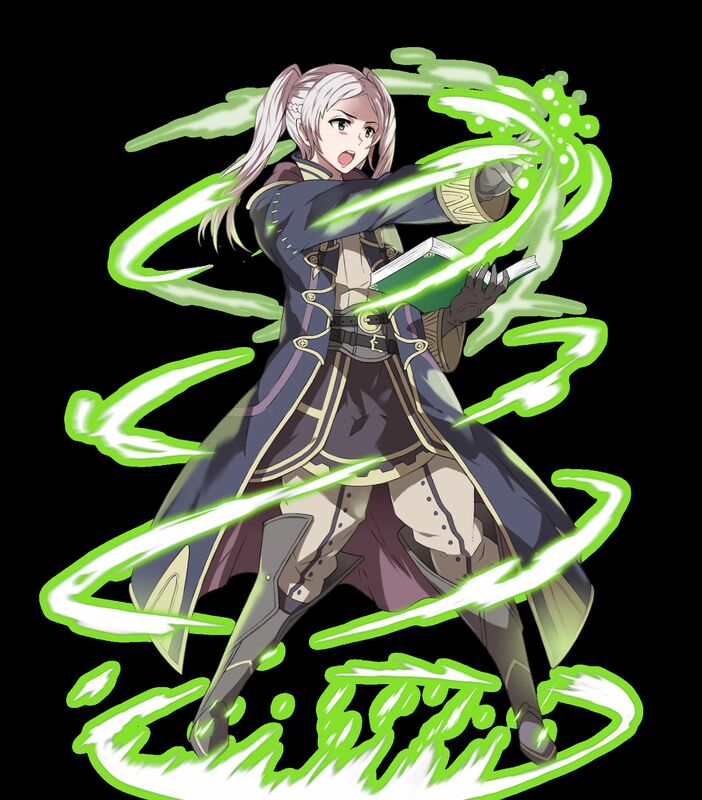 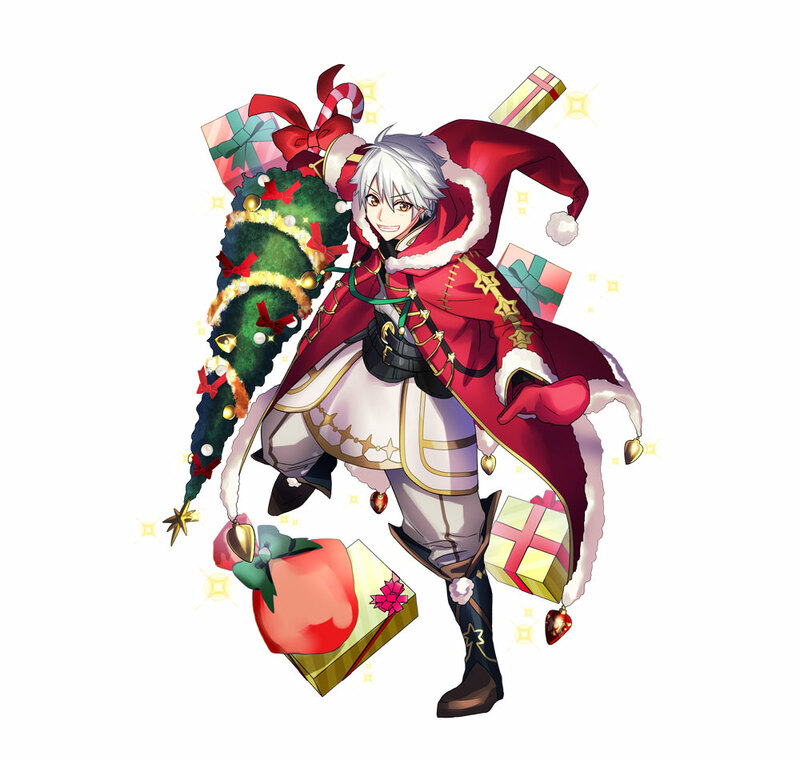 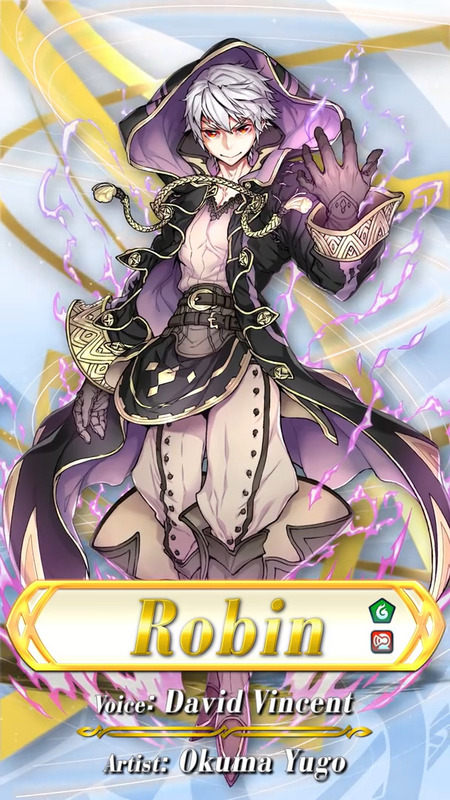 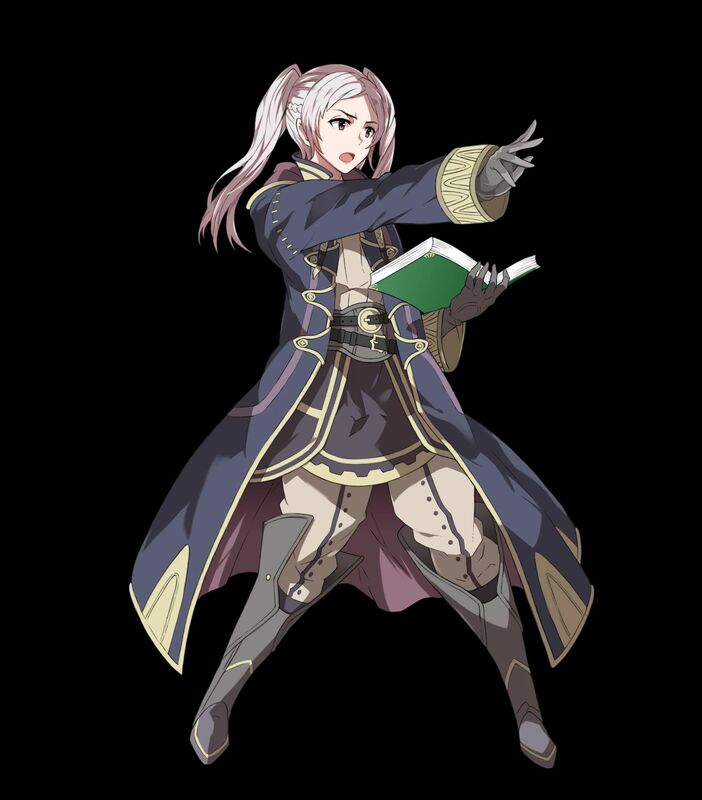 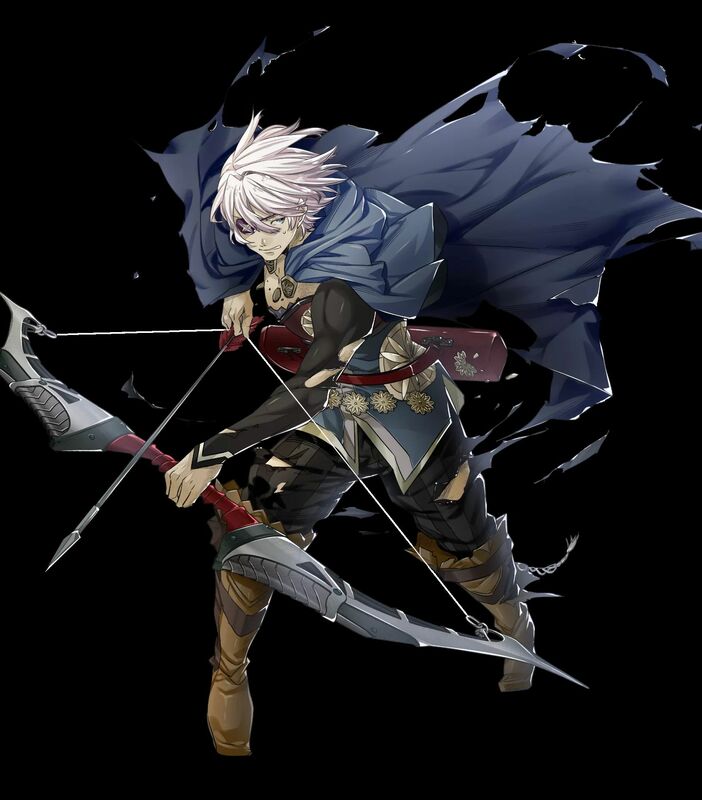 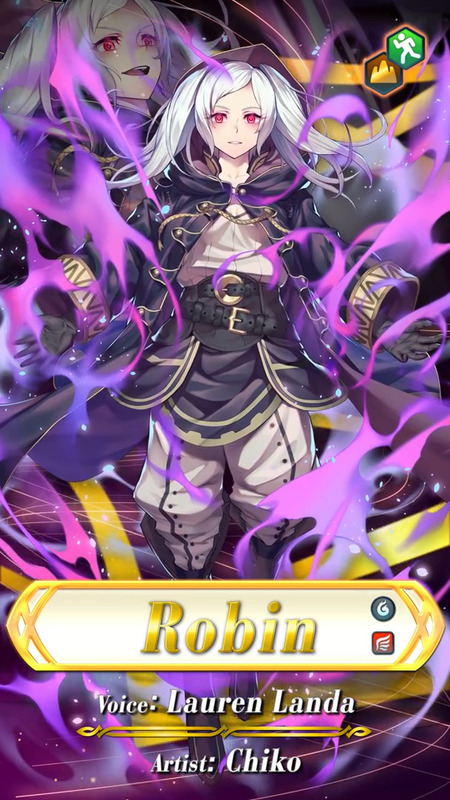 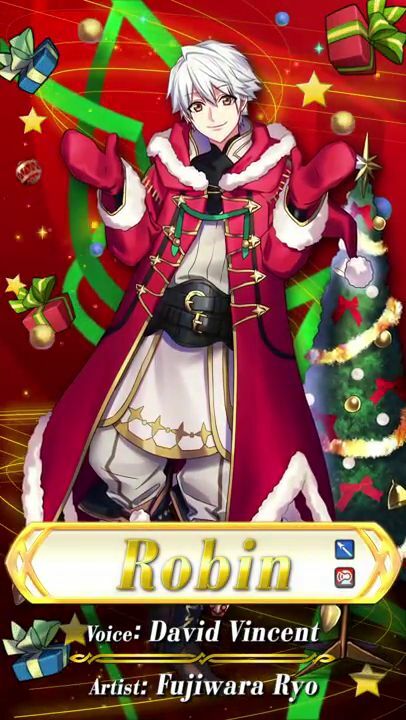 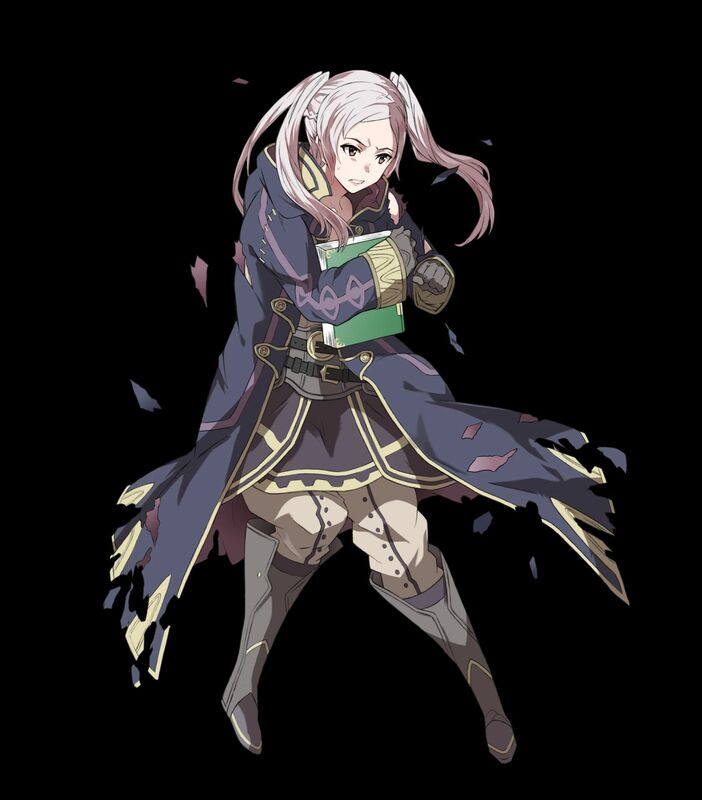 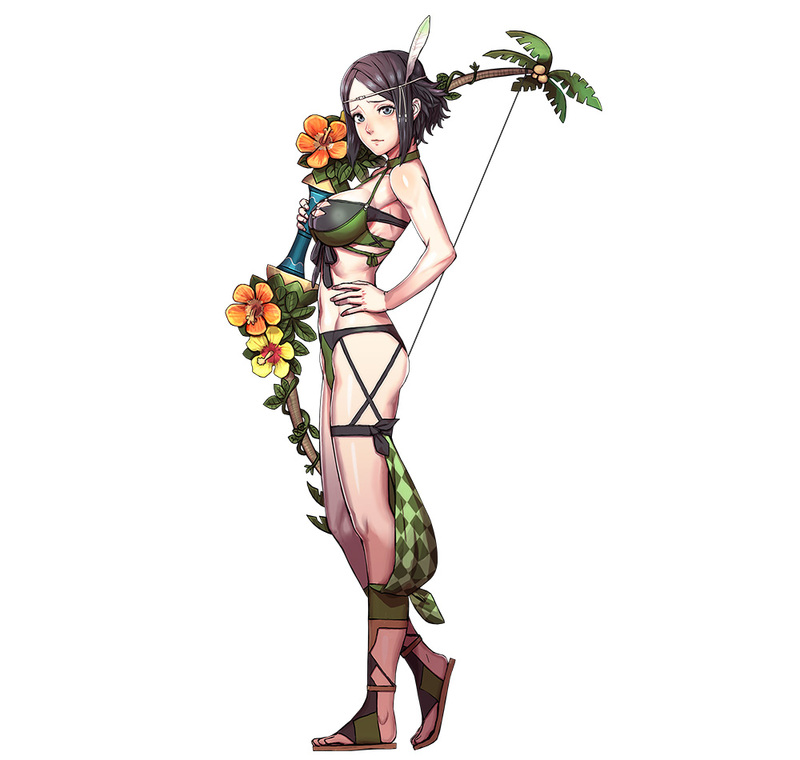 [5 ★ Focus] (Female) Robin, Seaside Tactician. 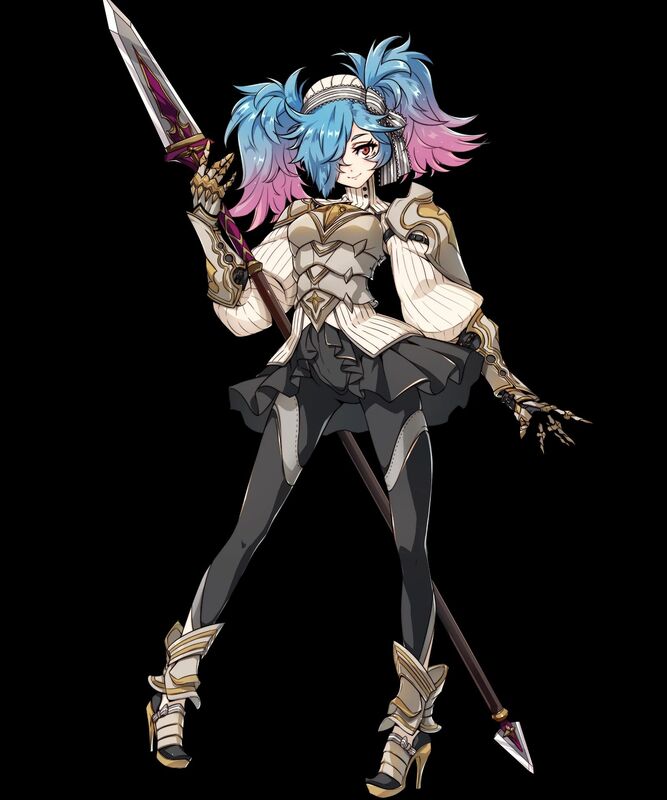 Voiced by Lauren Landa. 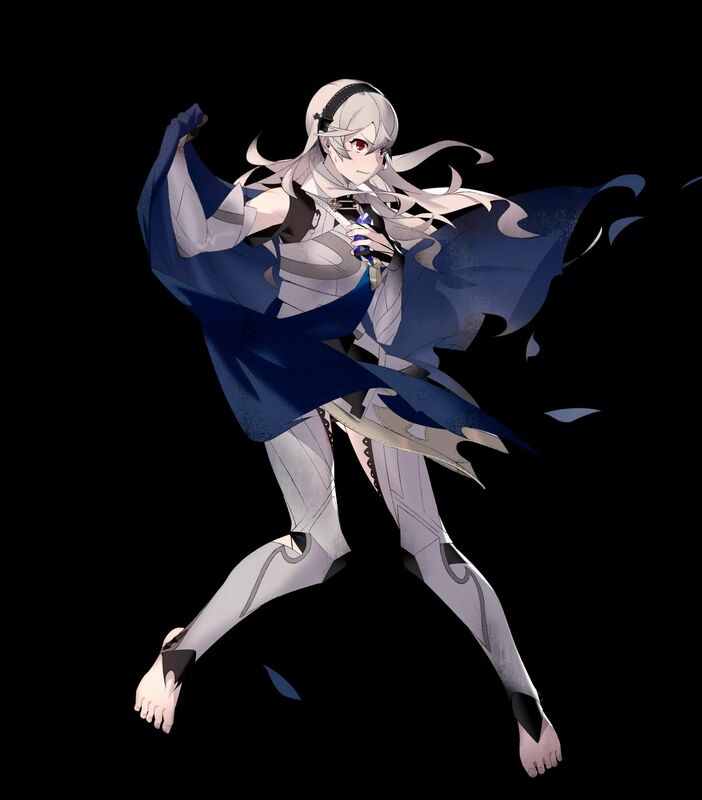 Artist: Mayo. 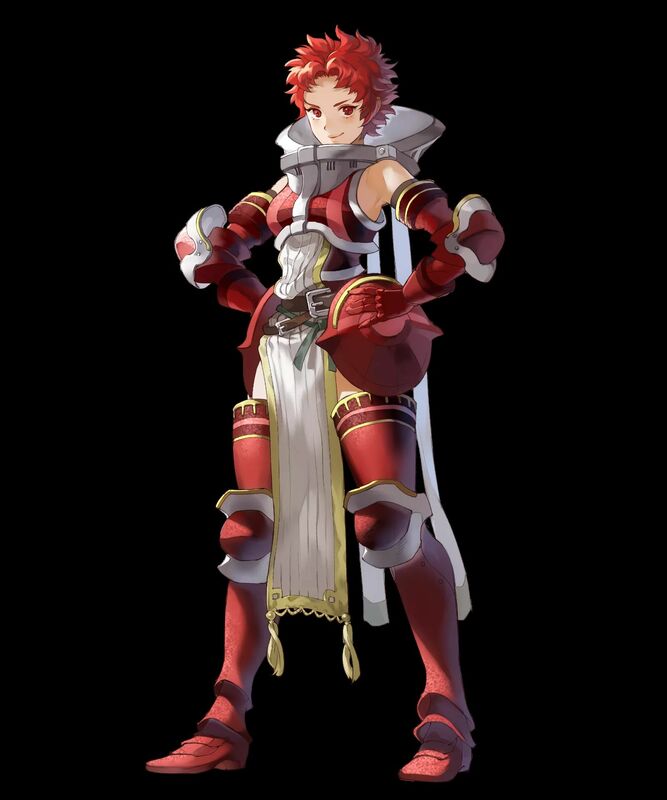 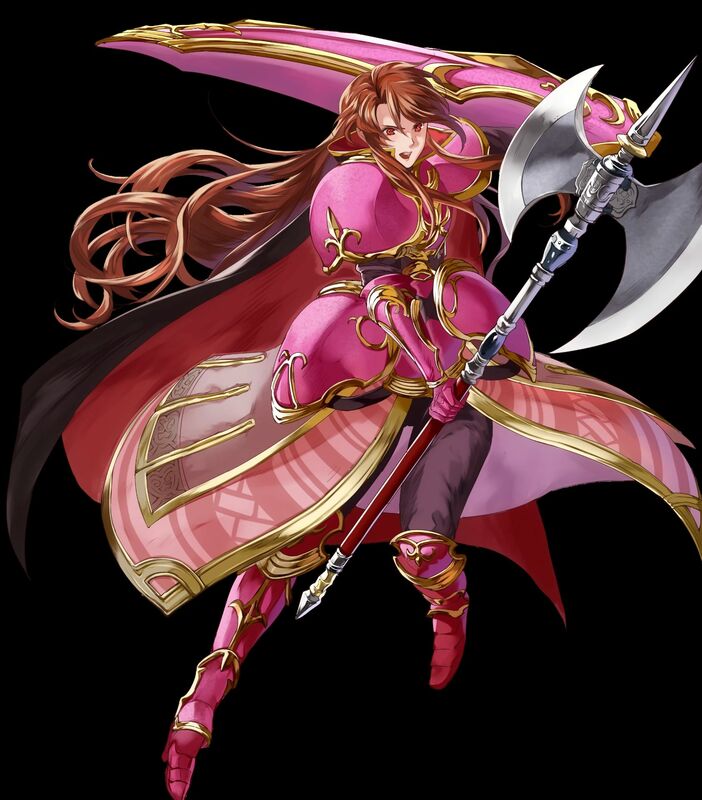 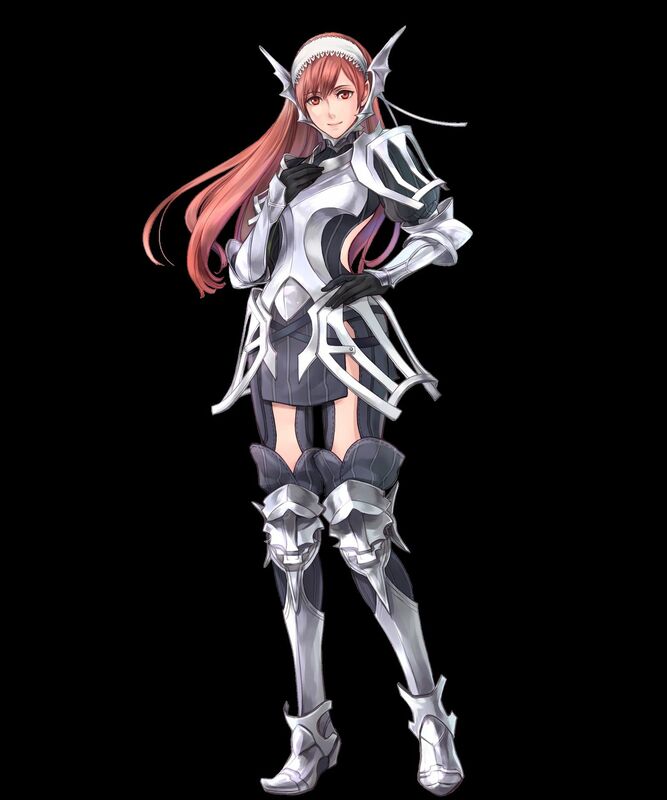 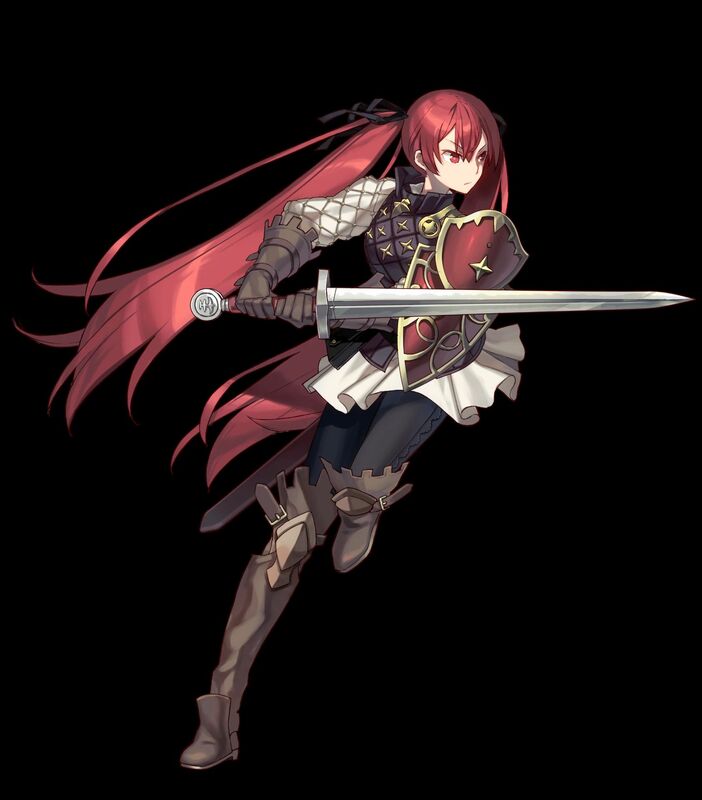 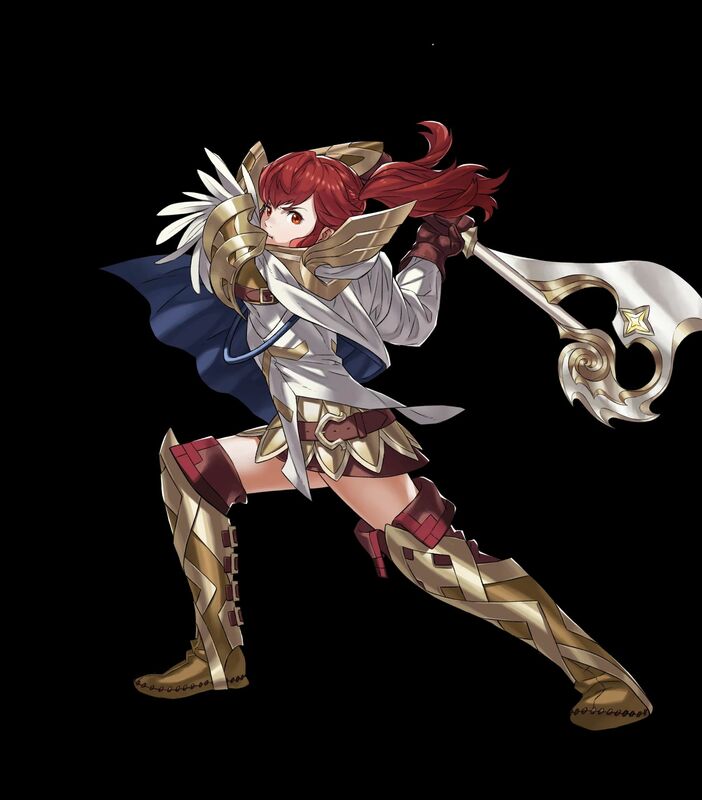 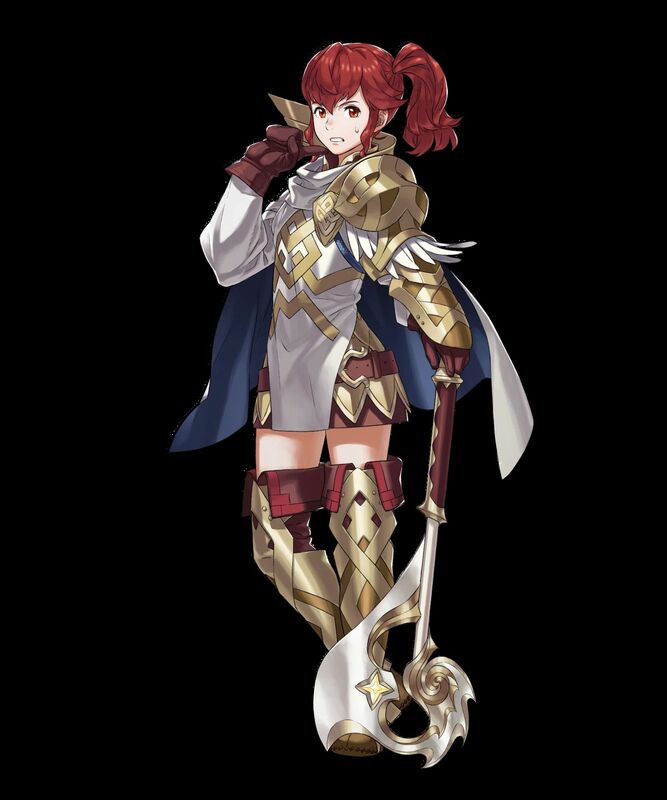 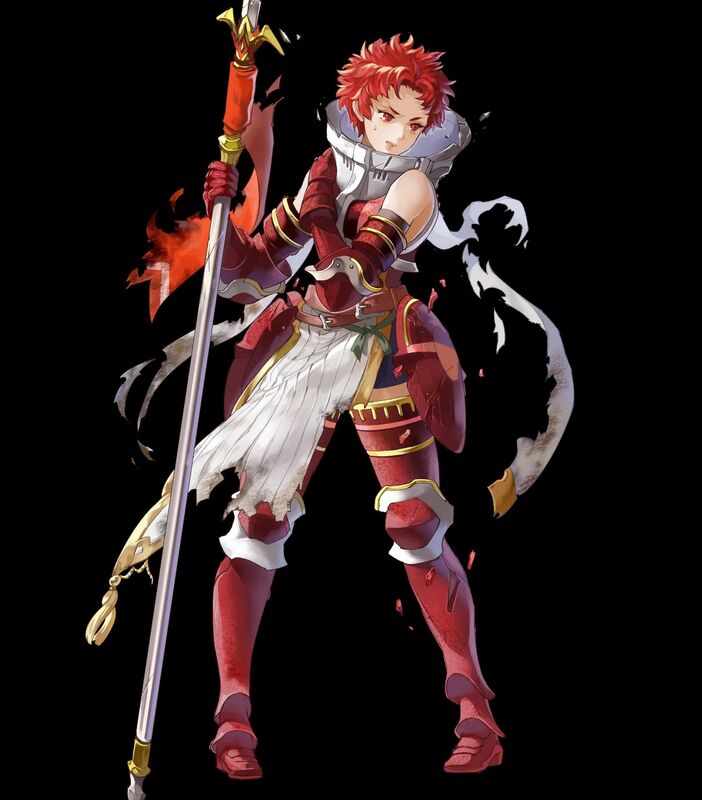 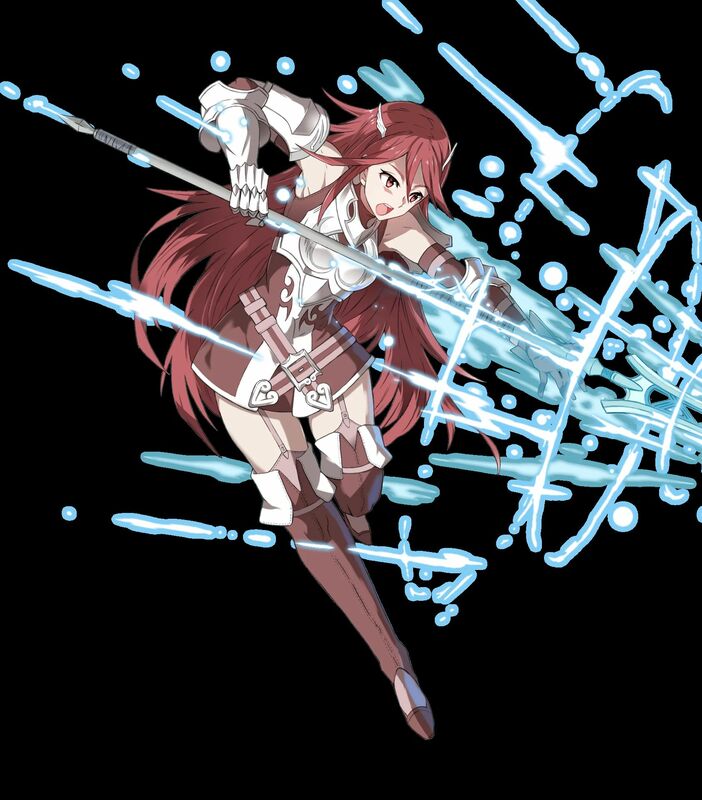 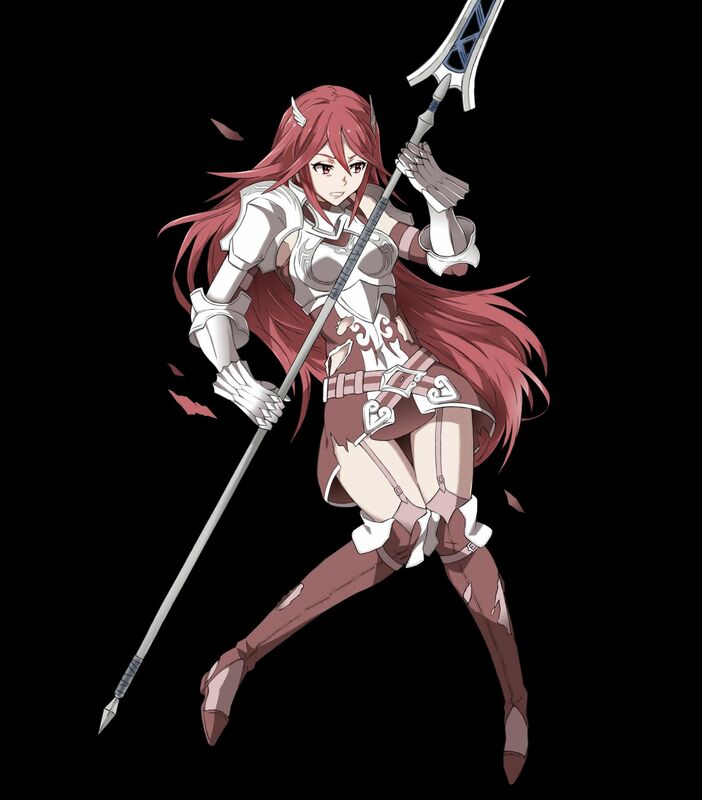 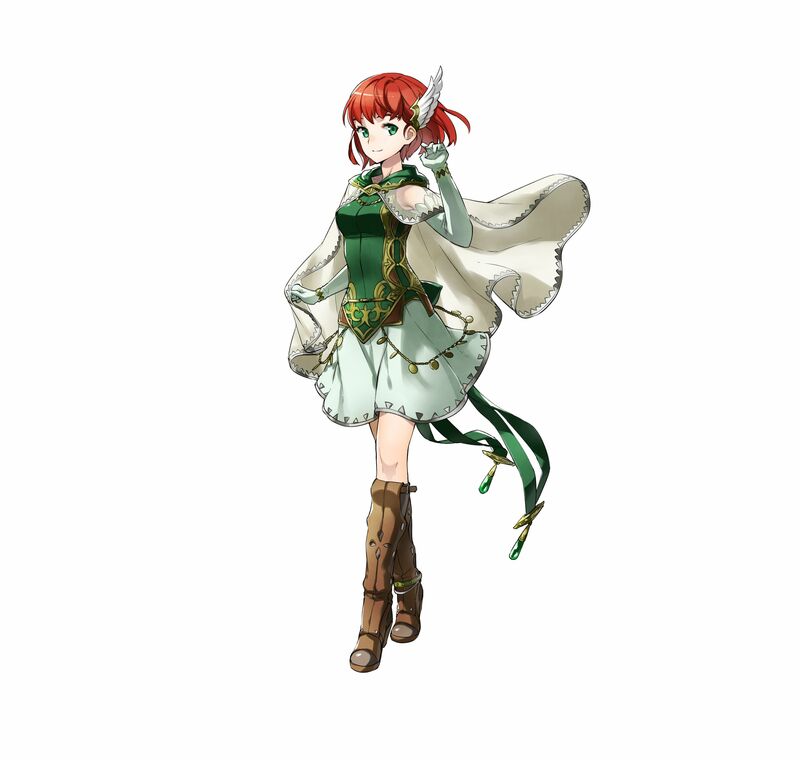 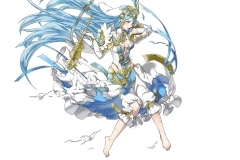 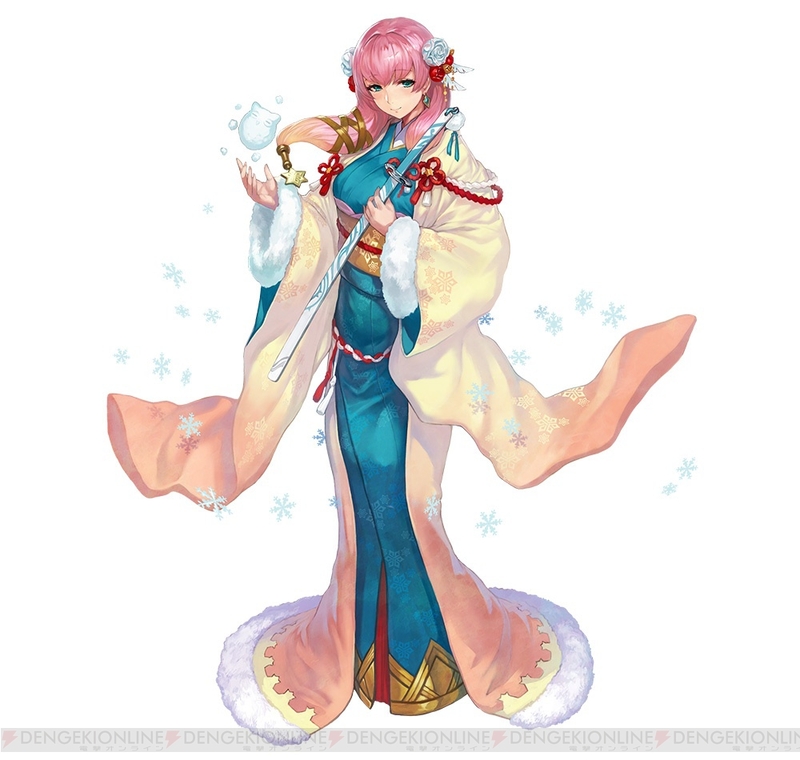 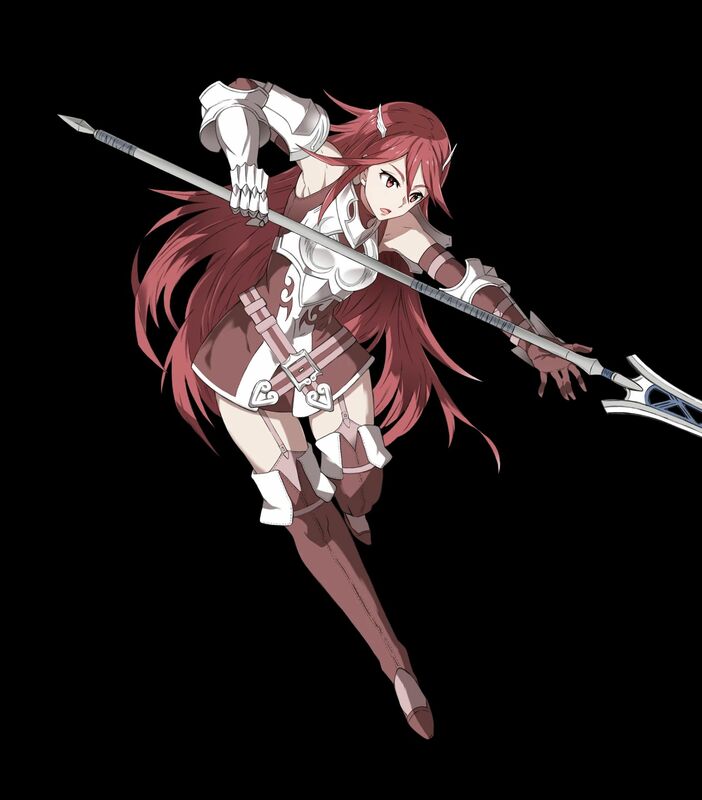 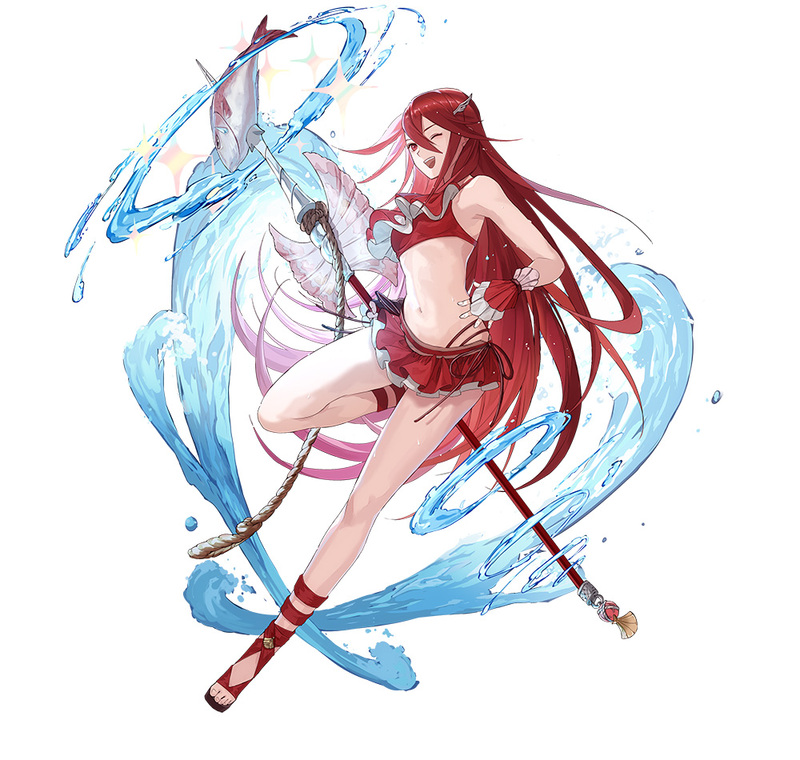 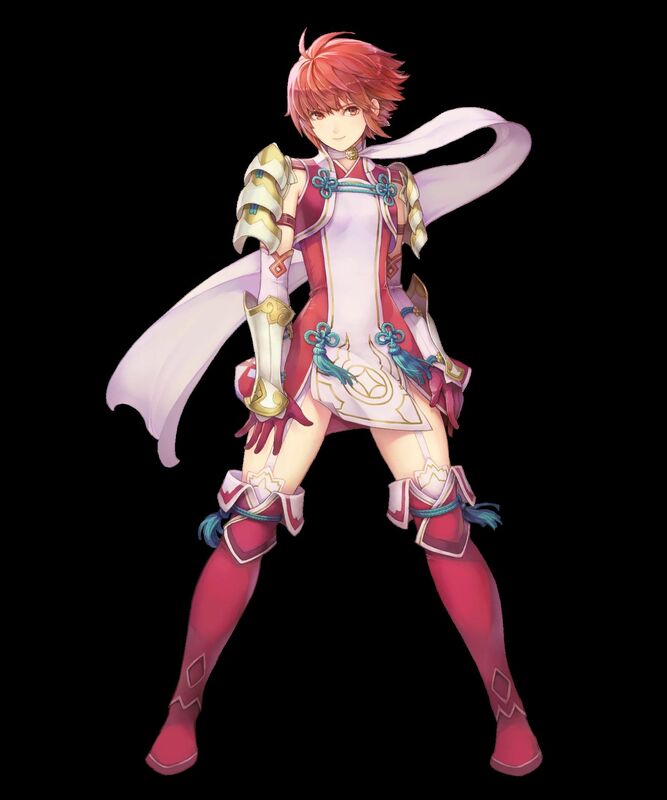 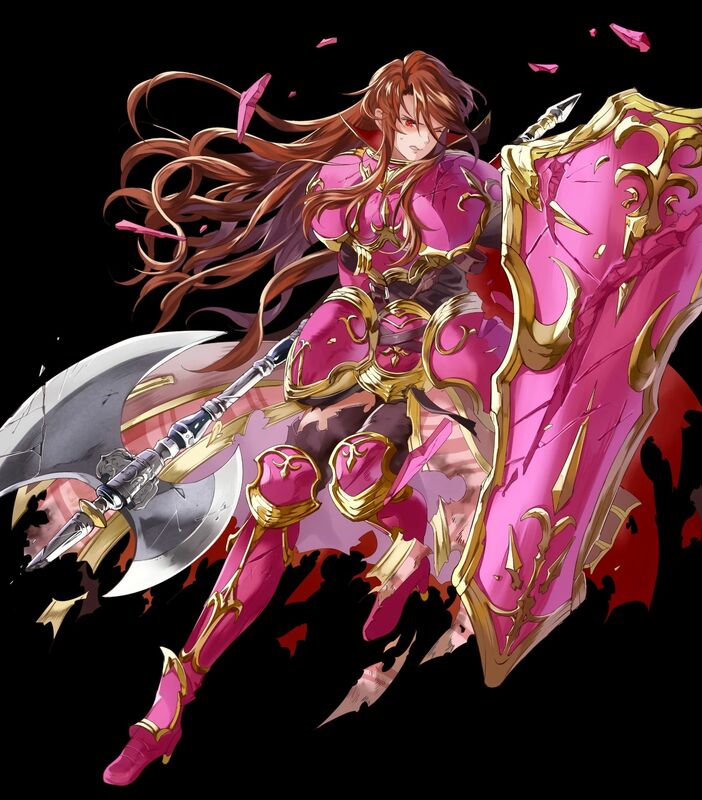 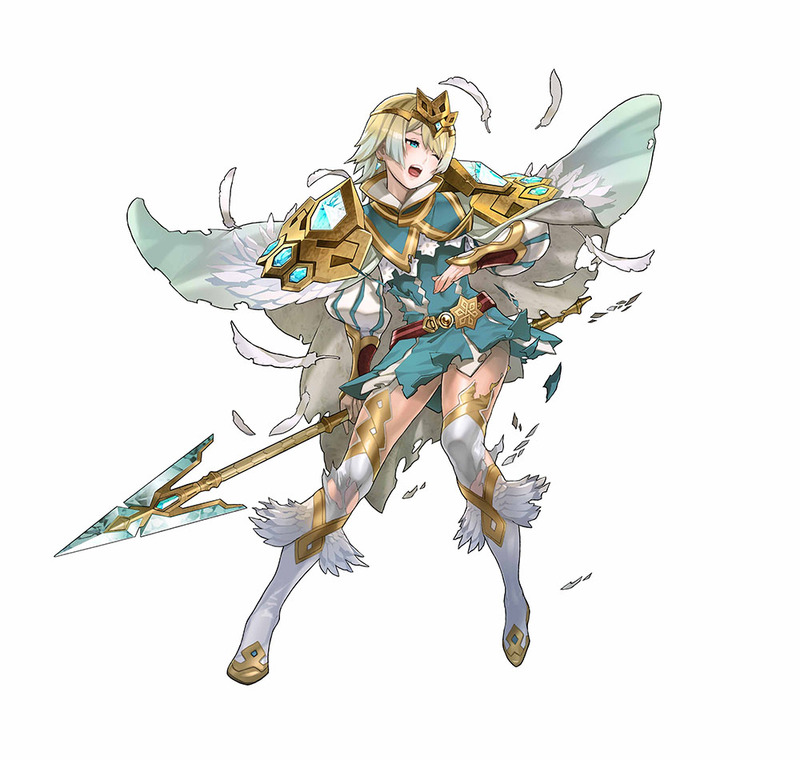 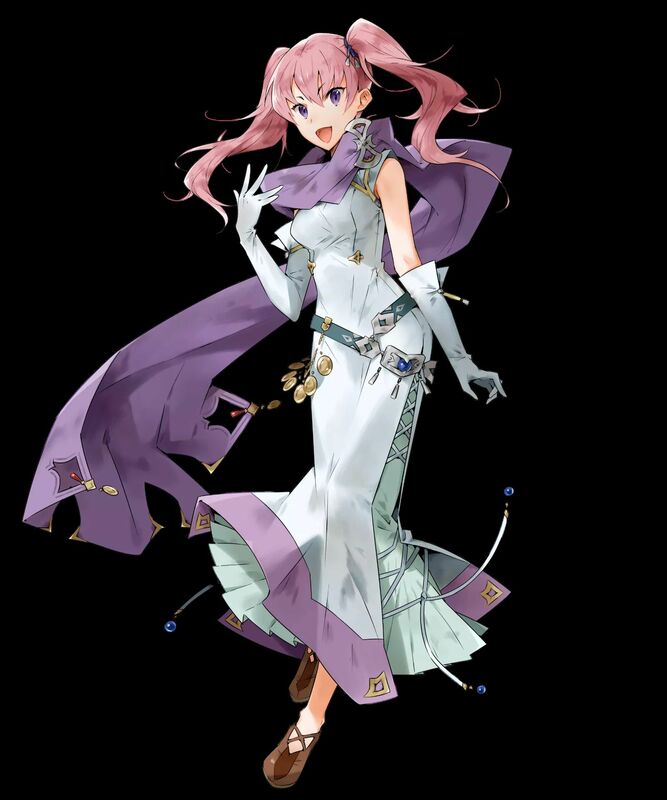 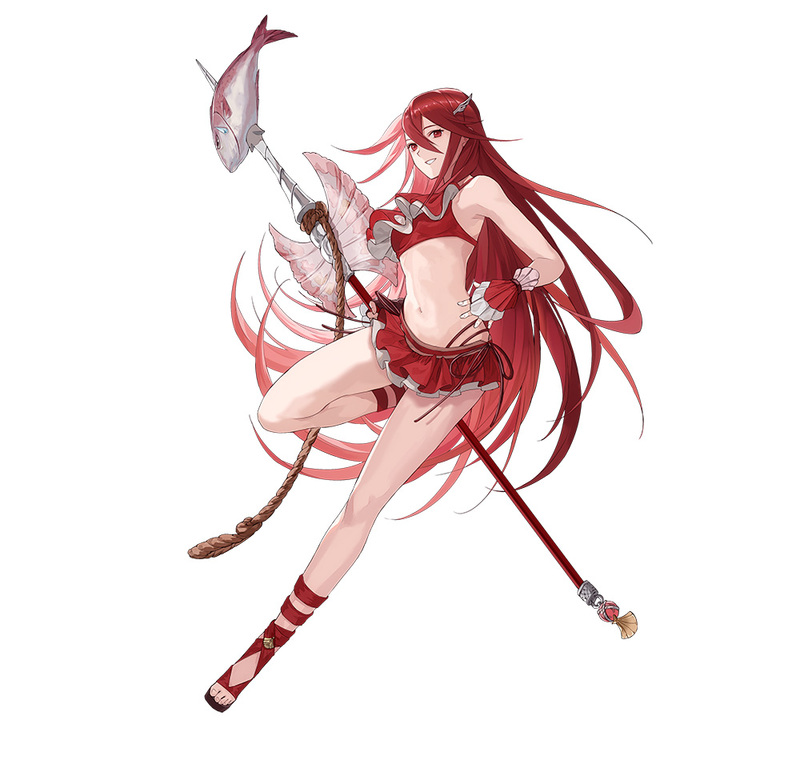 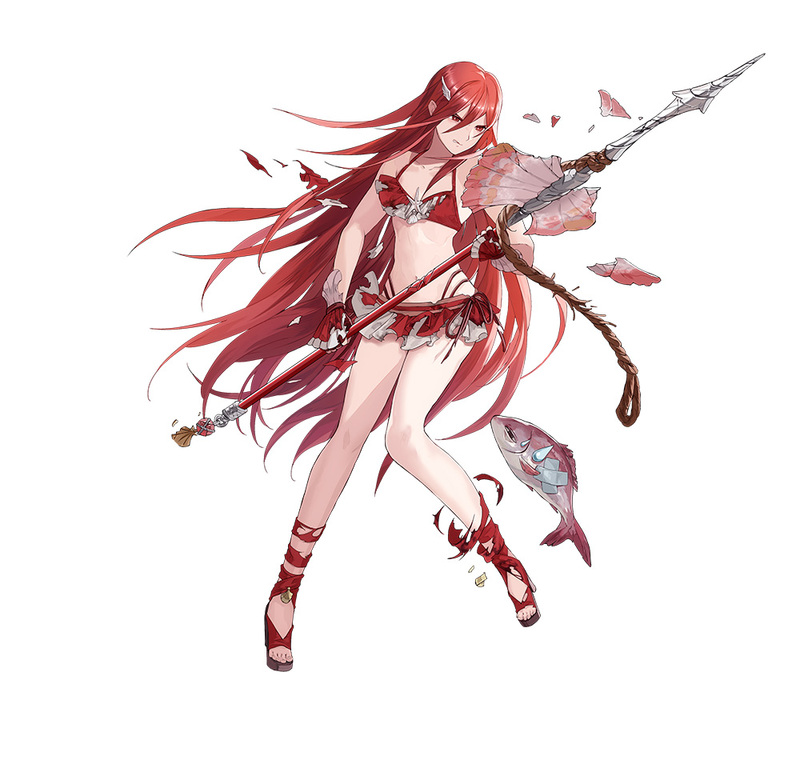 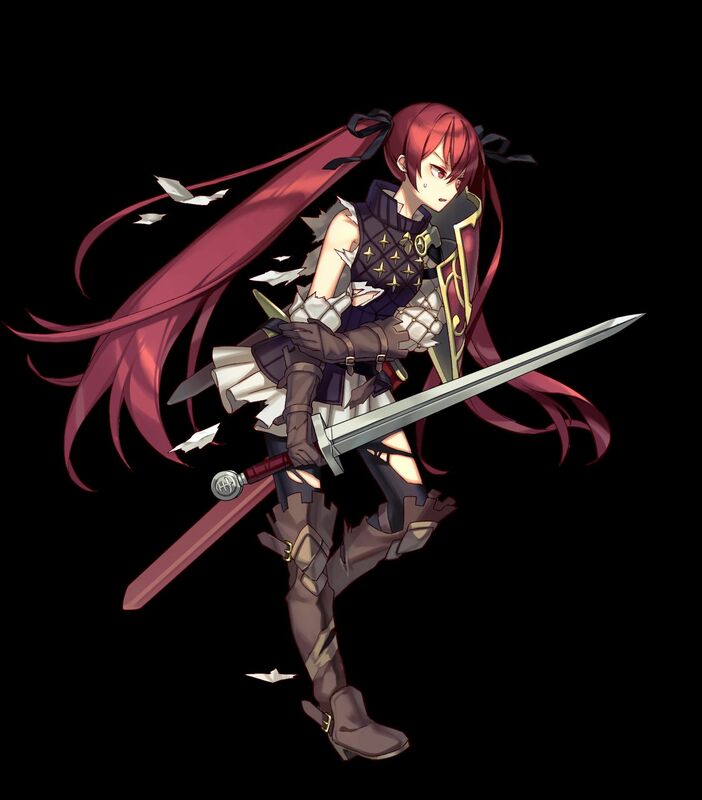 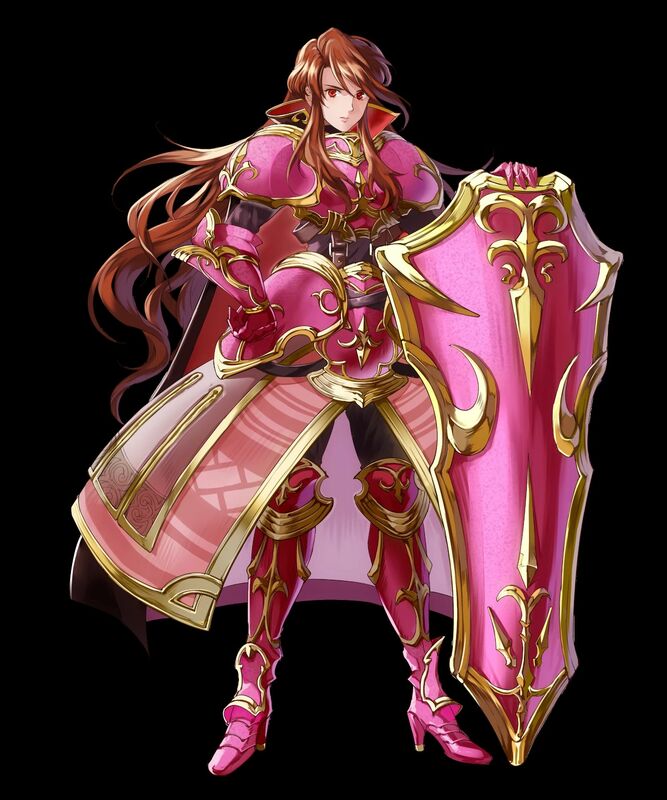 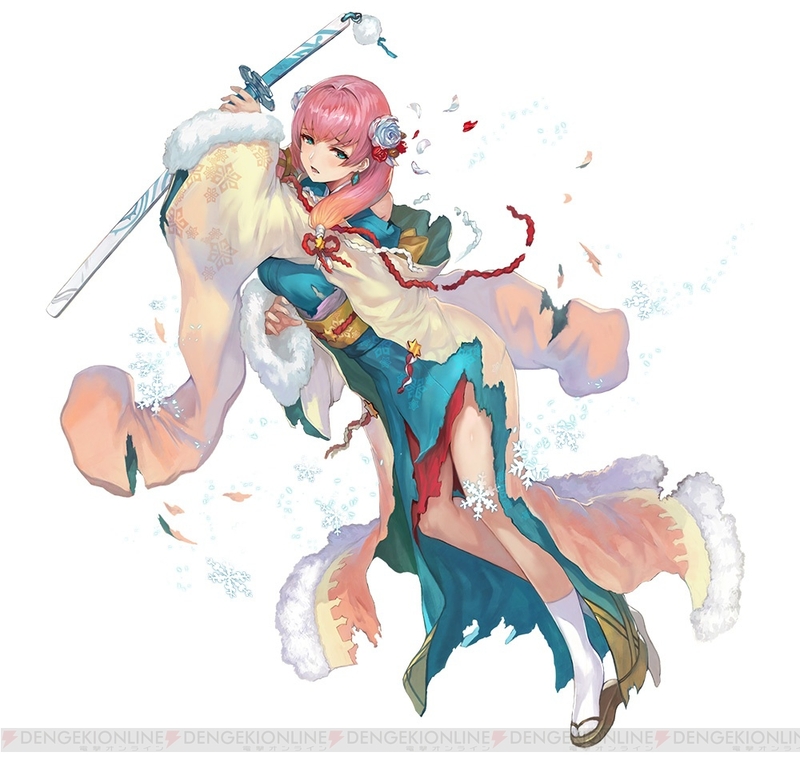 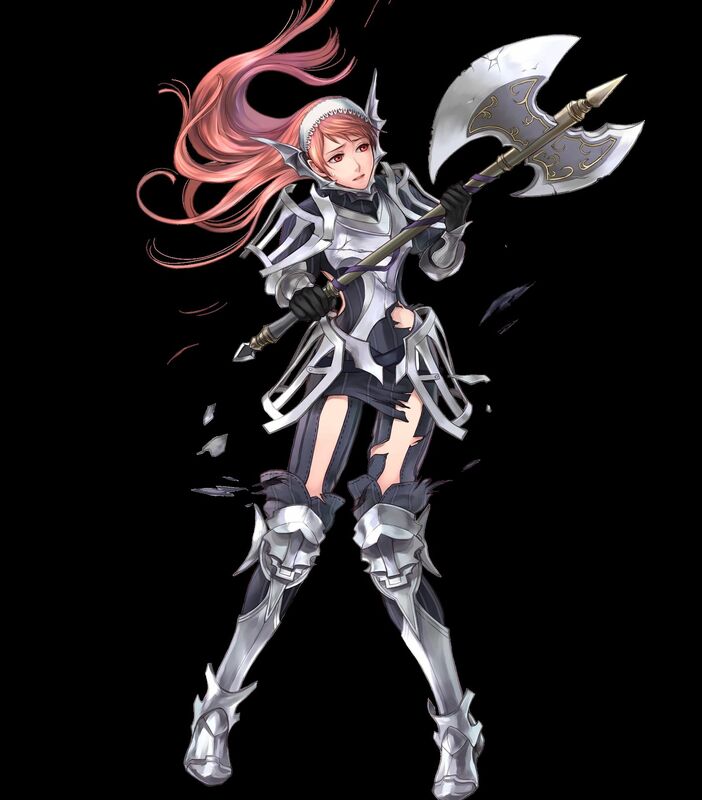 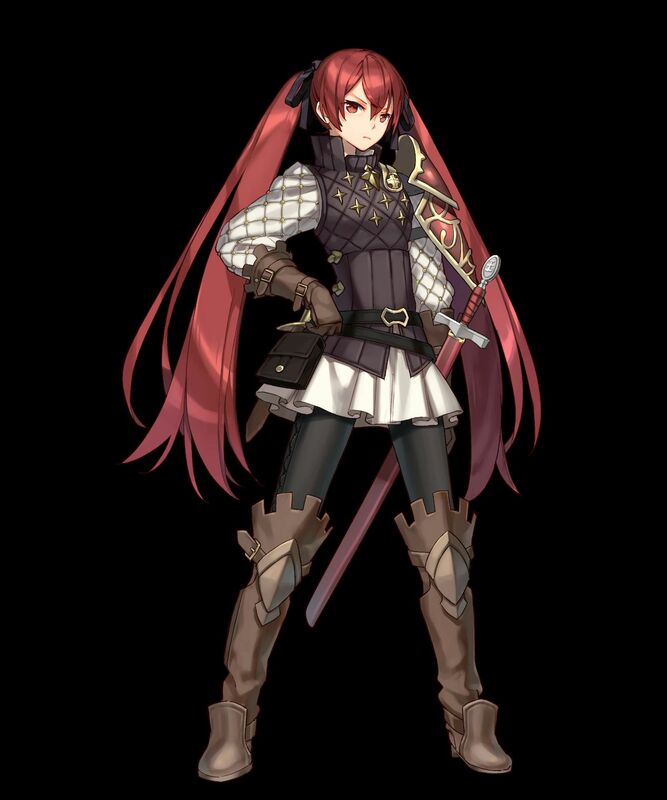 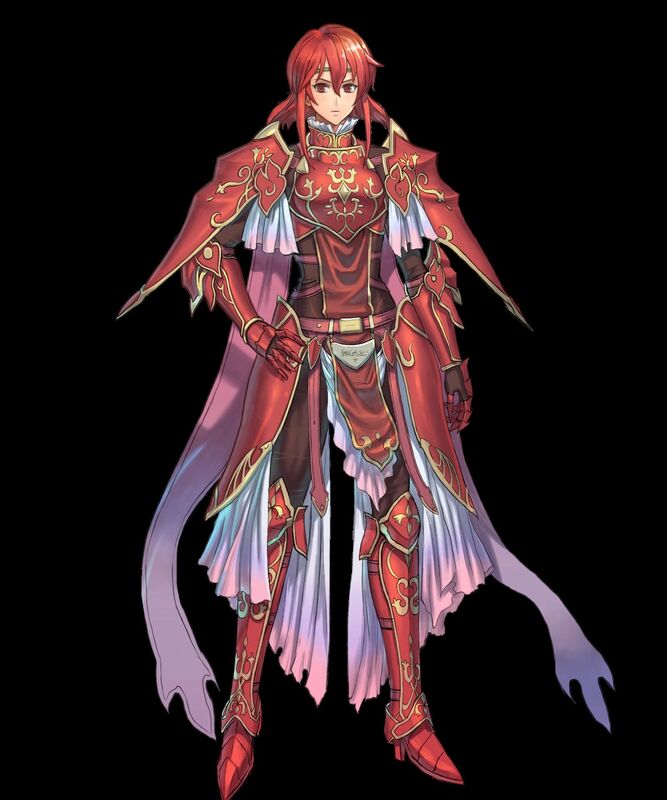 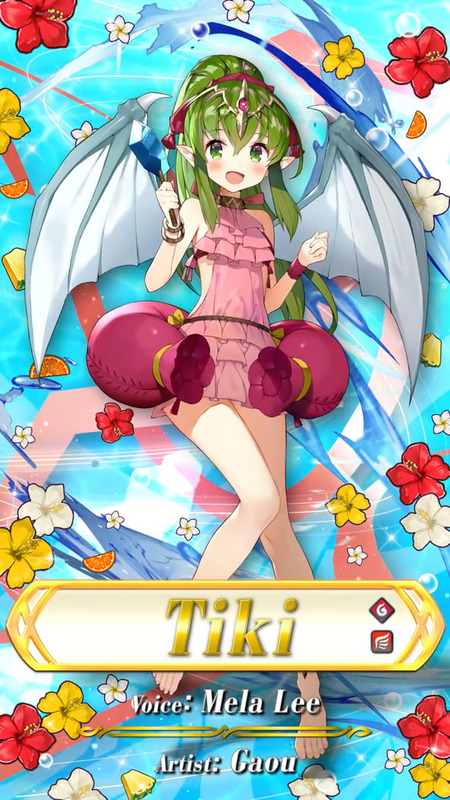 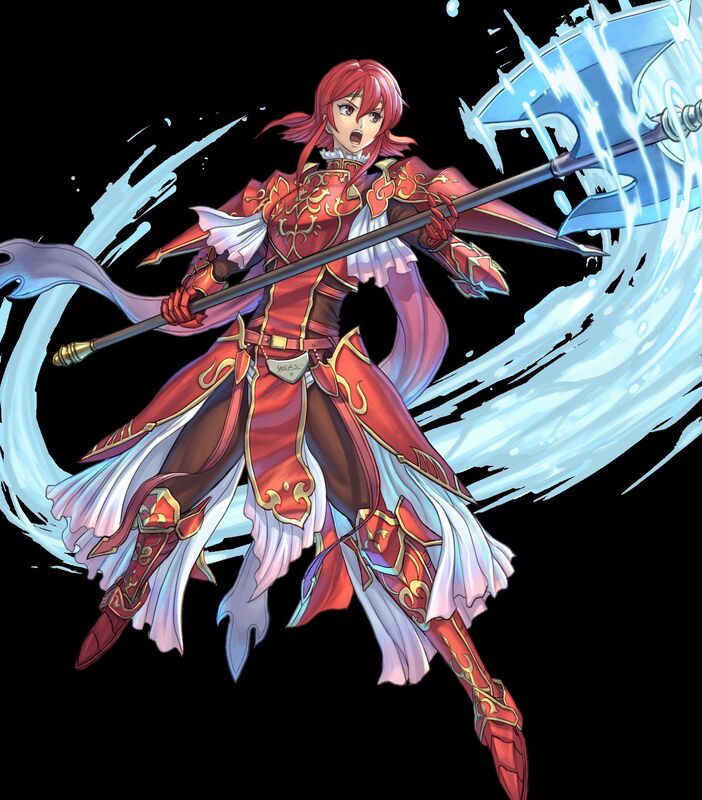 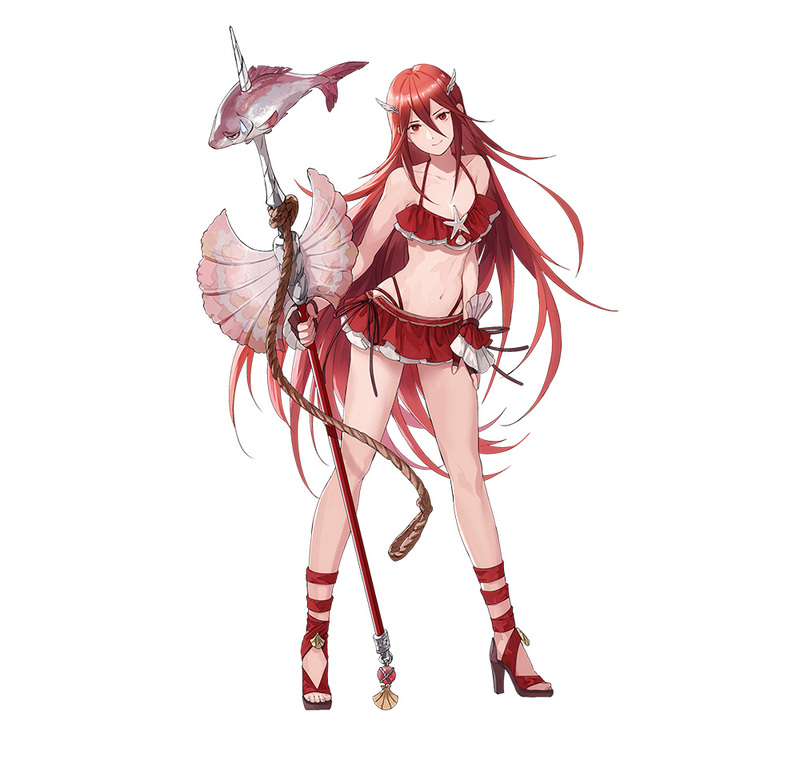 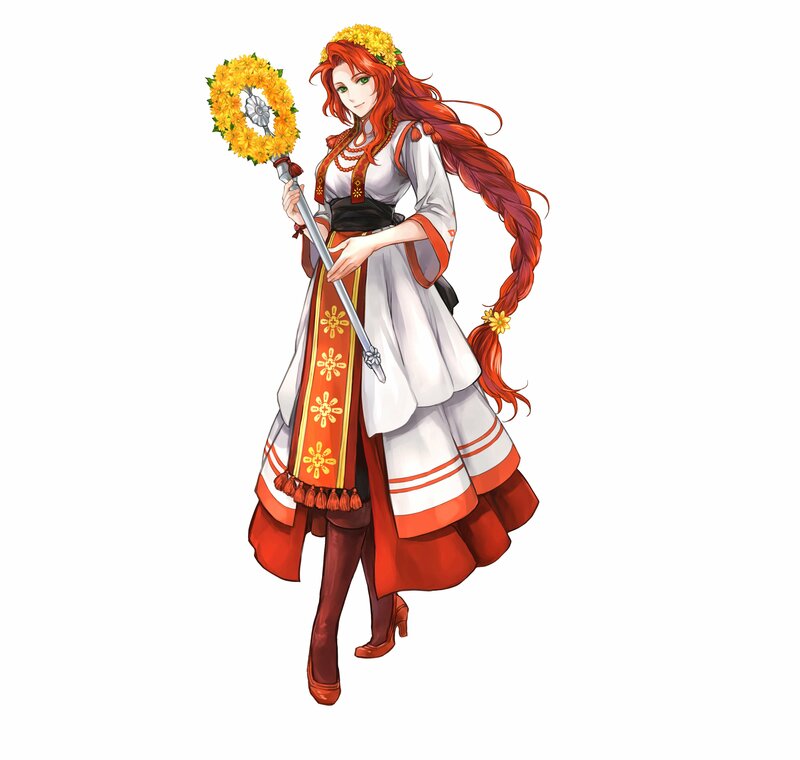 [4 ★ / 5 ★] Titania: Warm Knight (from Fire Emblem: Path of Radiance). 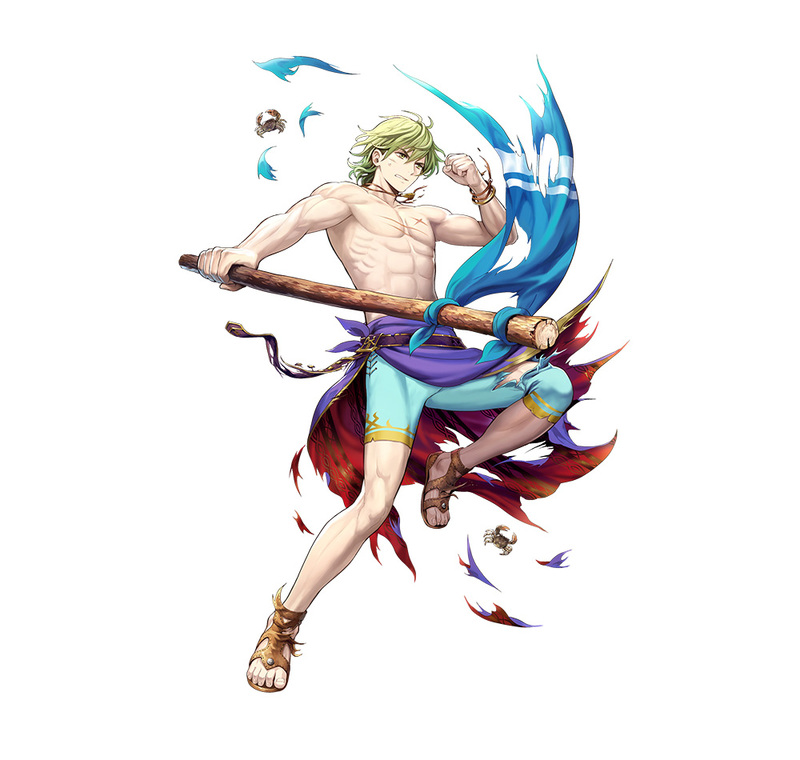 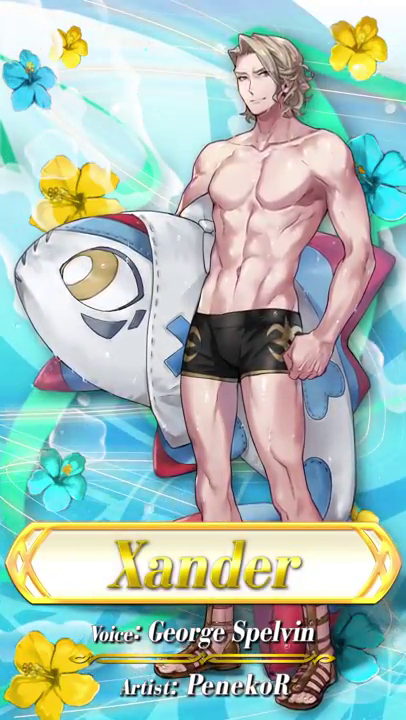 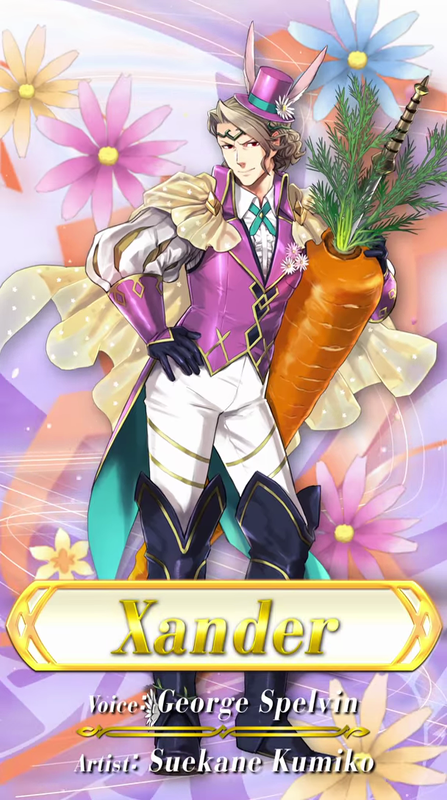 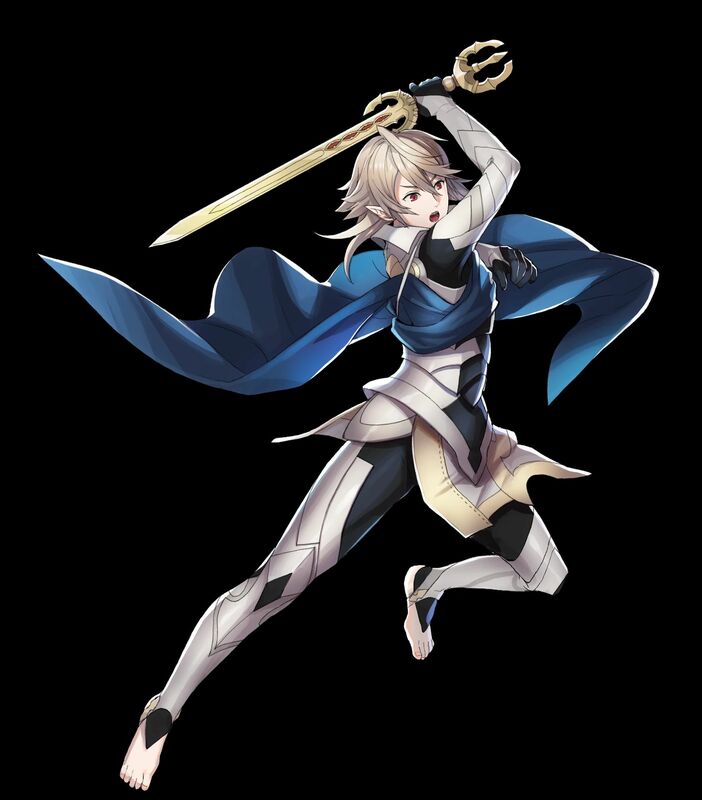 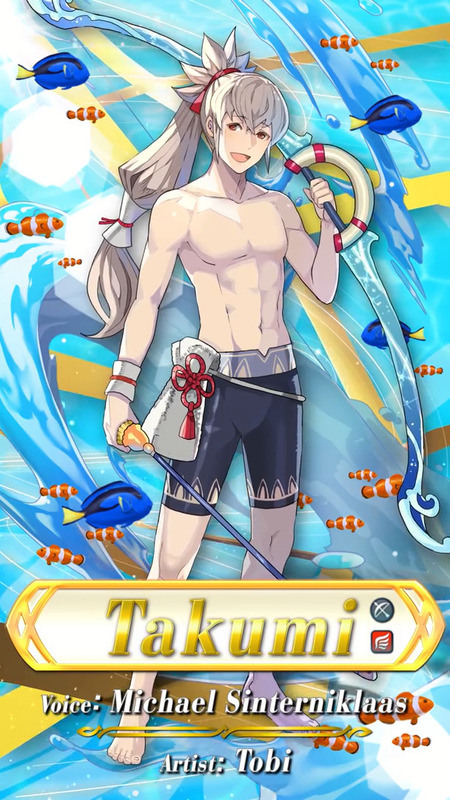 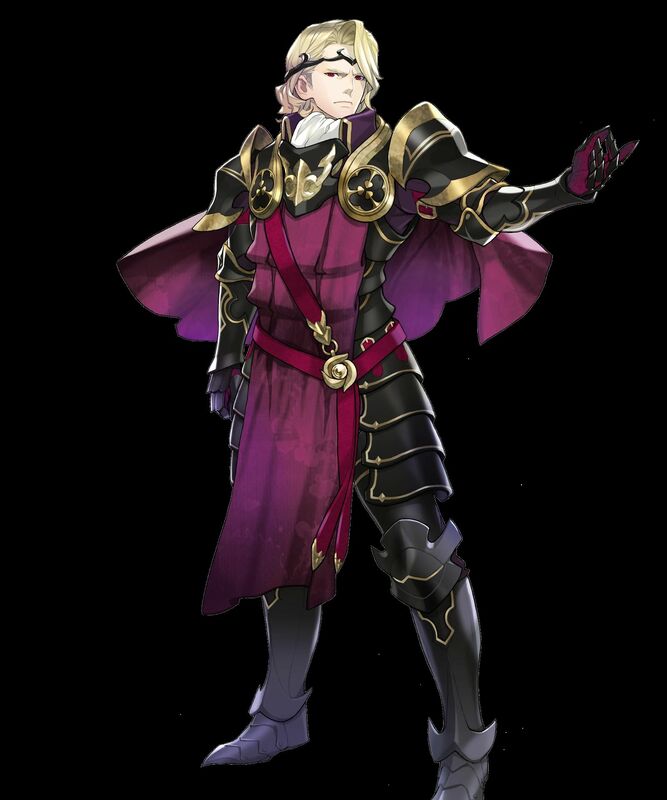 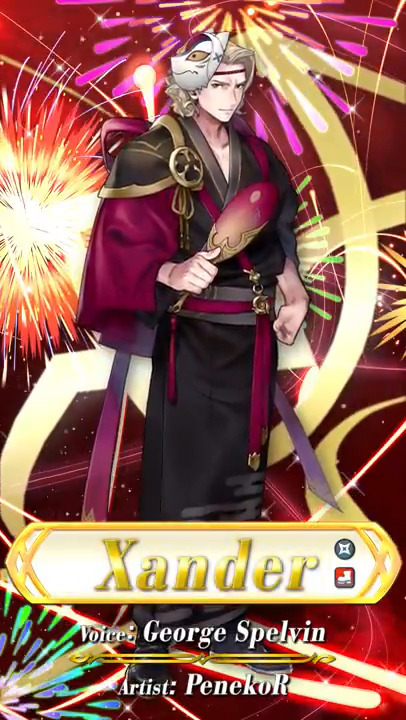 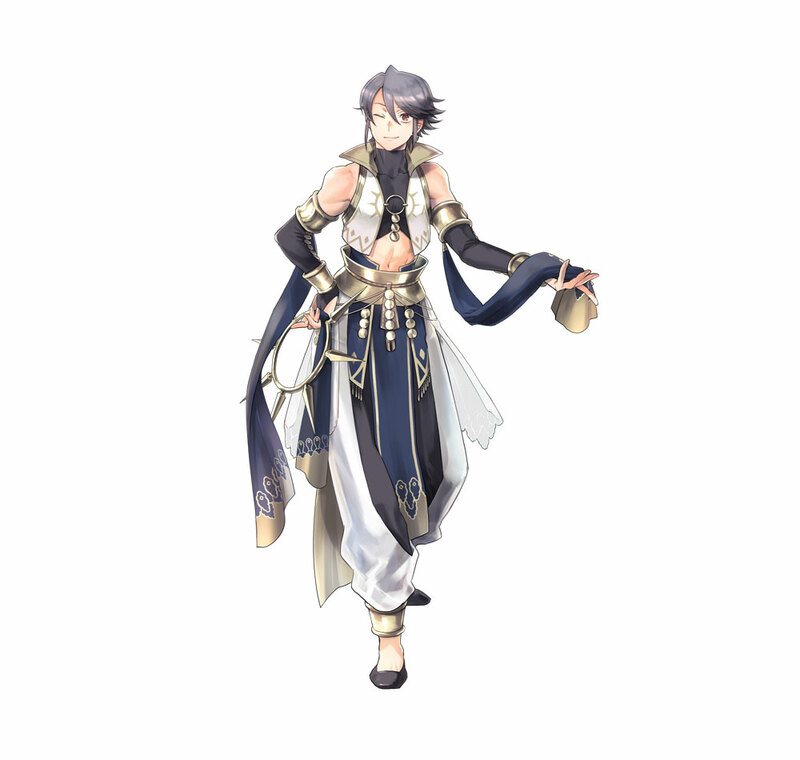 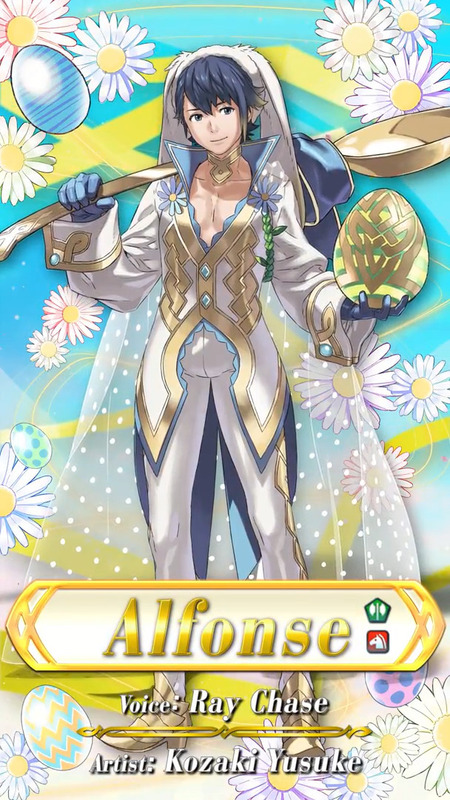 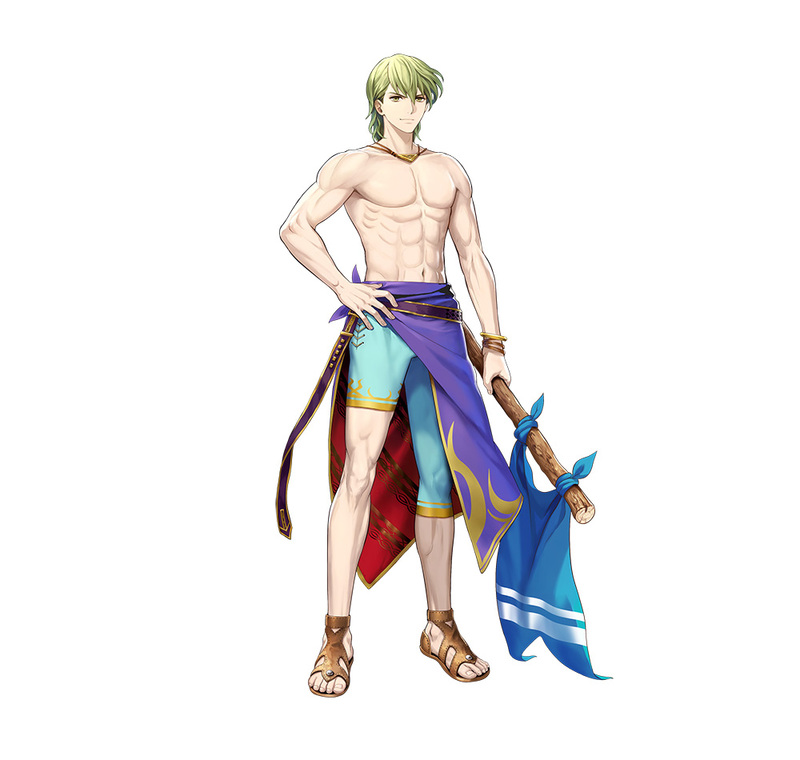 [5 ★ Focus] Xander, Student Swimmer (from Fire Emblem Fates: Conquest). 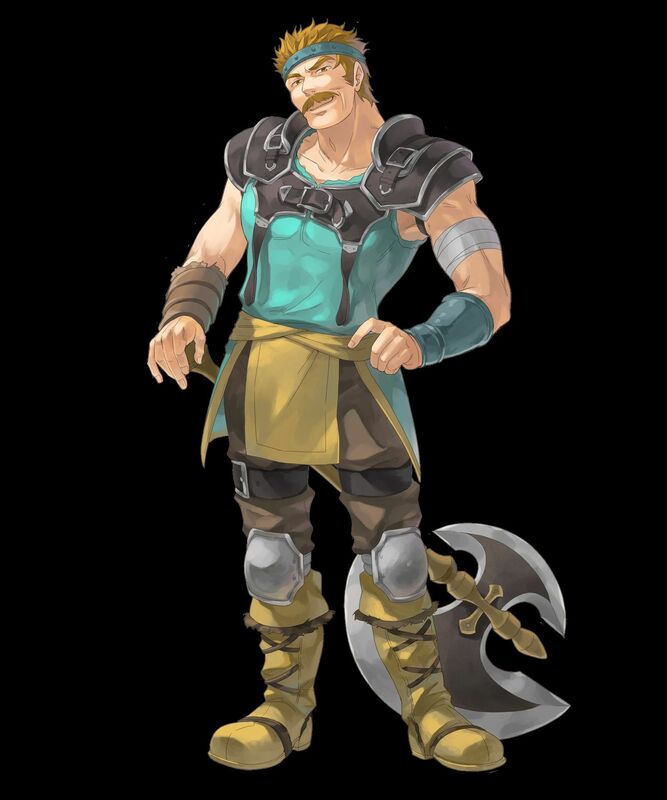 Voiced by George Spelvin. 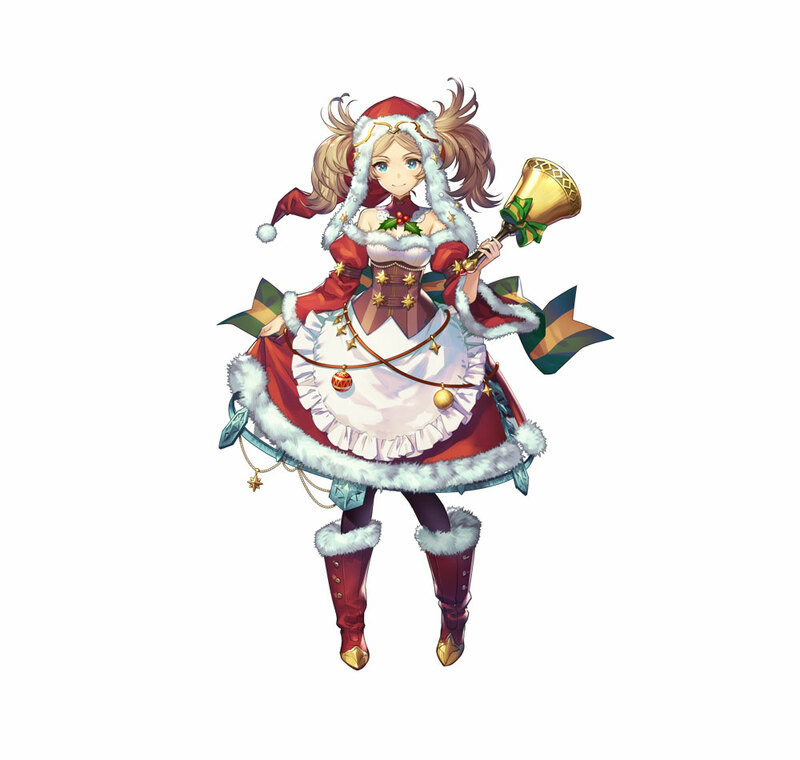 Artist: PenekoR. 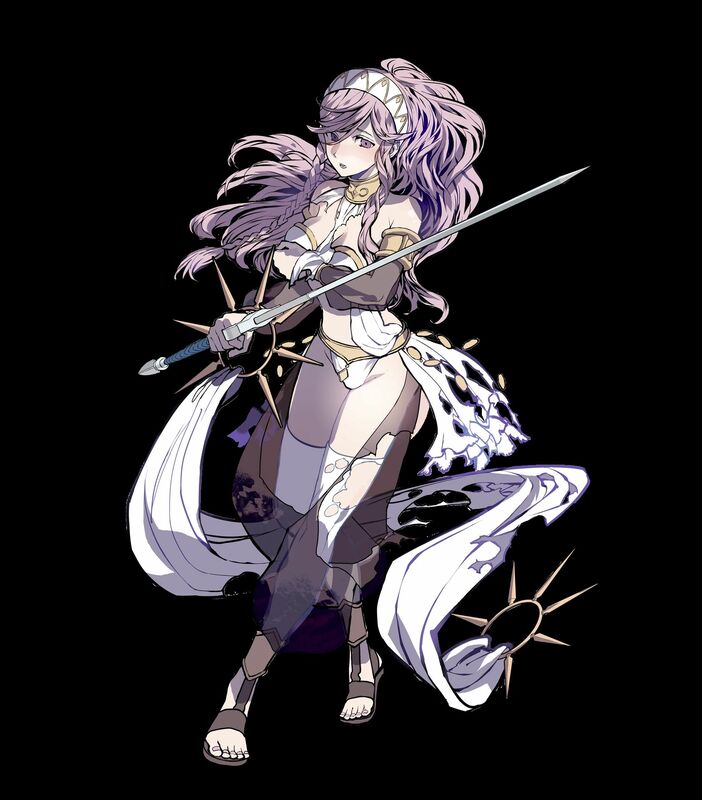 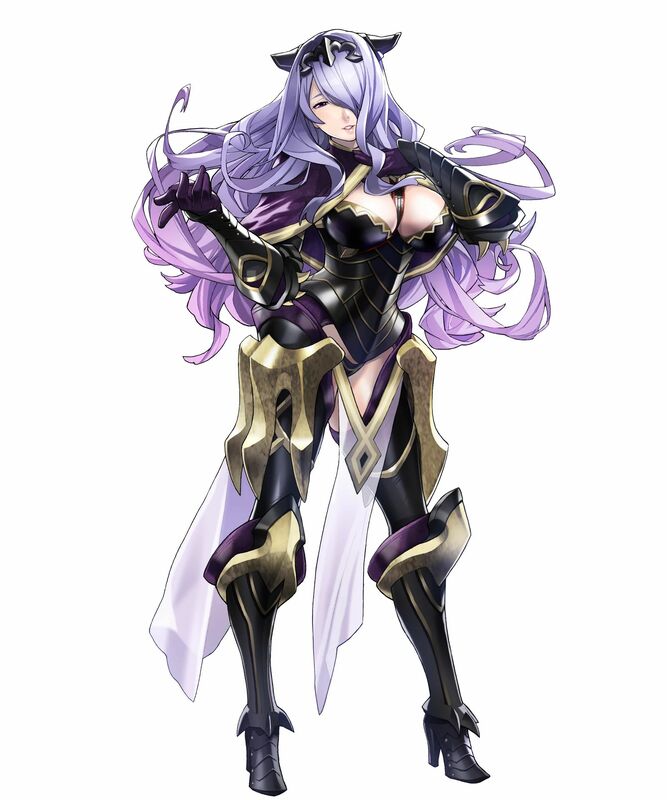 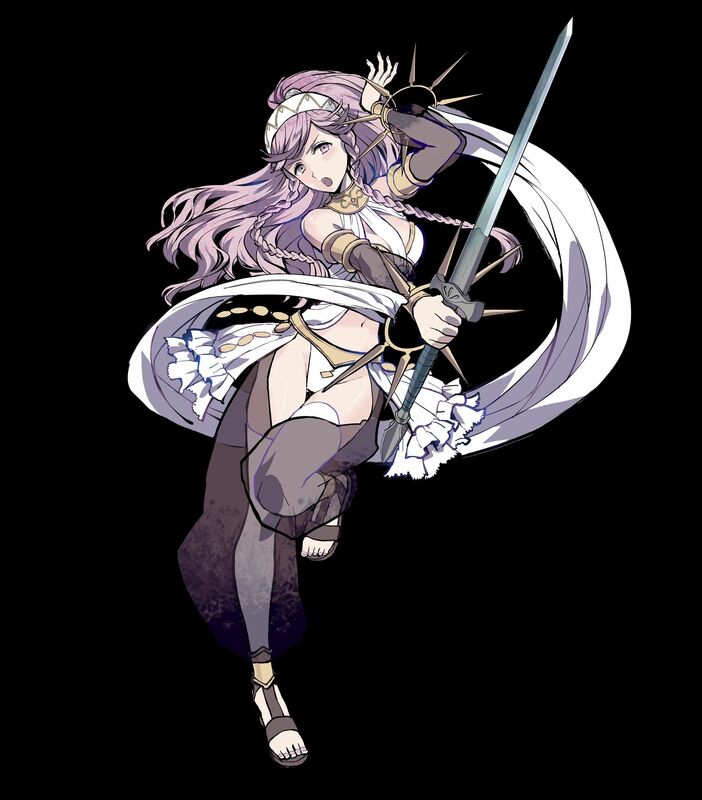 [5 ★] Camilla, Flower of Fantasy (from Fire Emblem Fates). 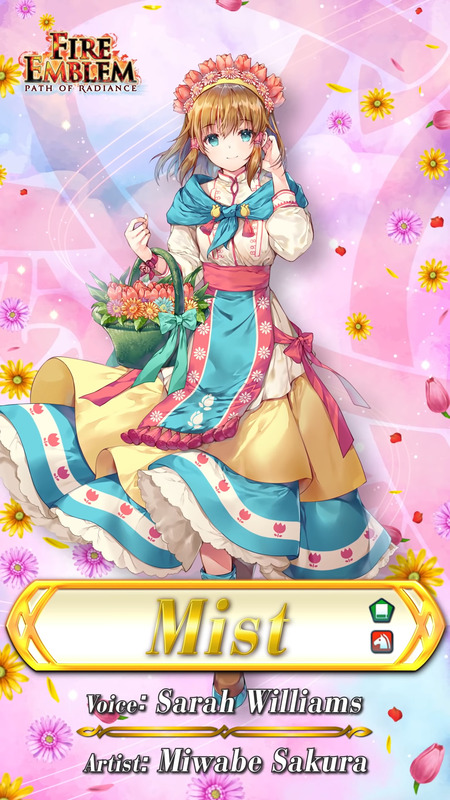 Voiced by Misty Lee. 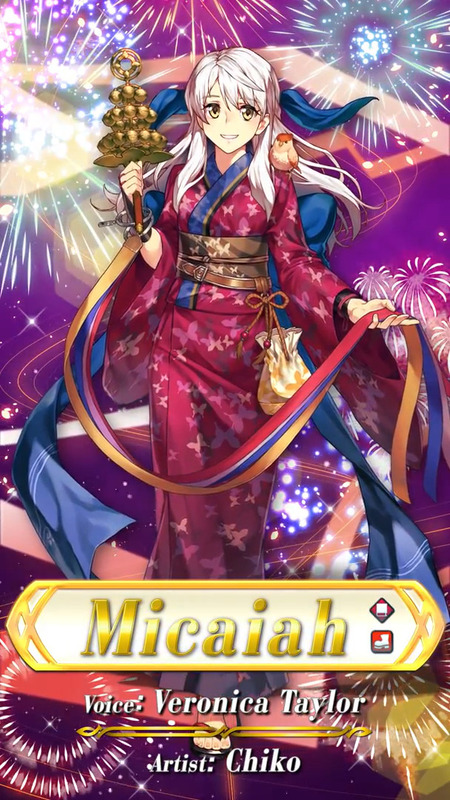 Artist: Mikuro. 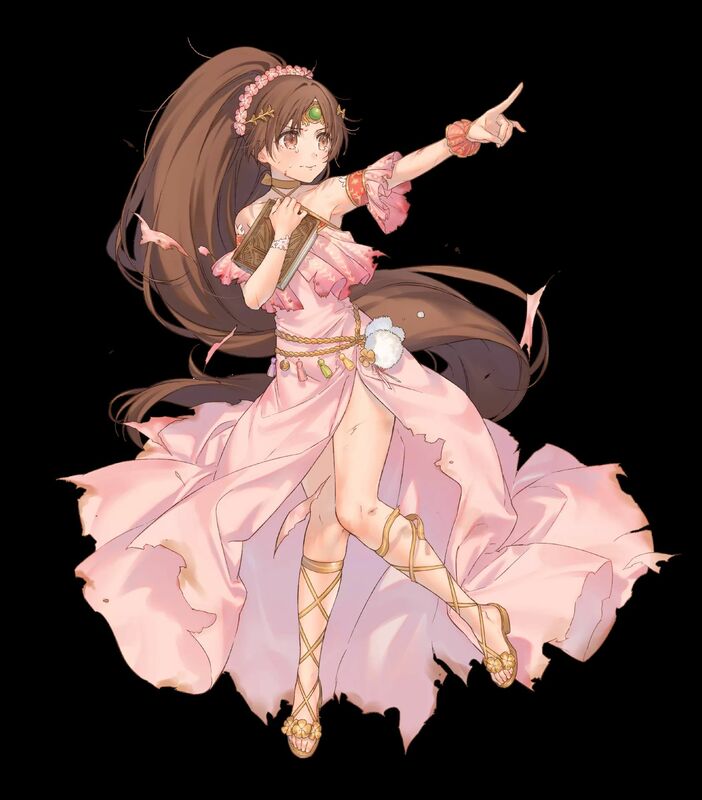 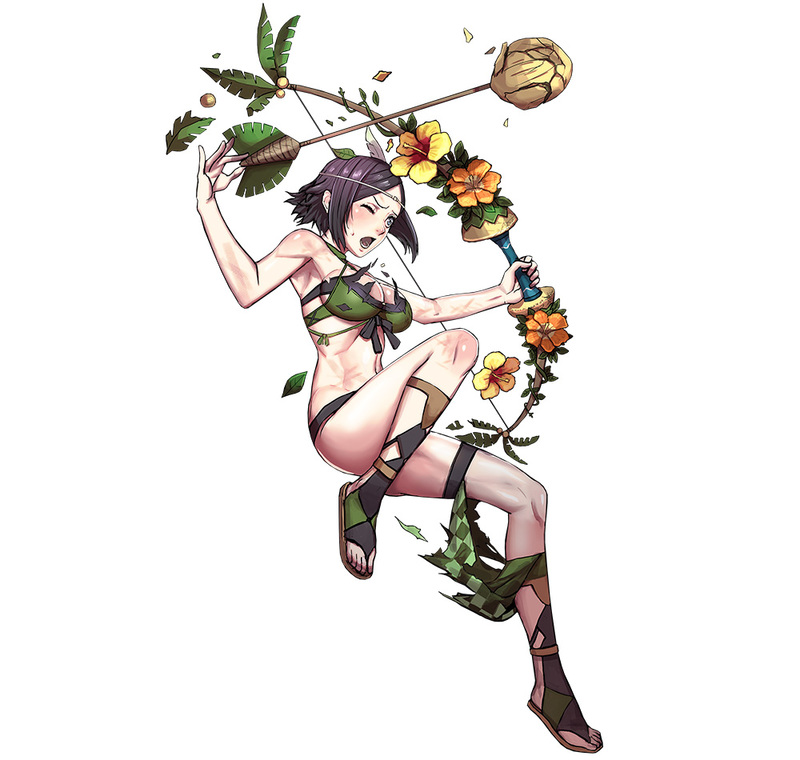 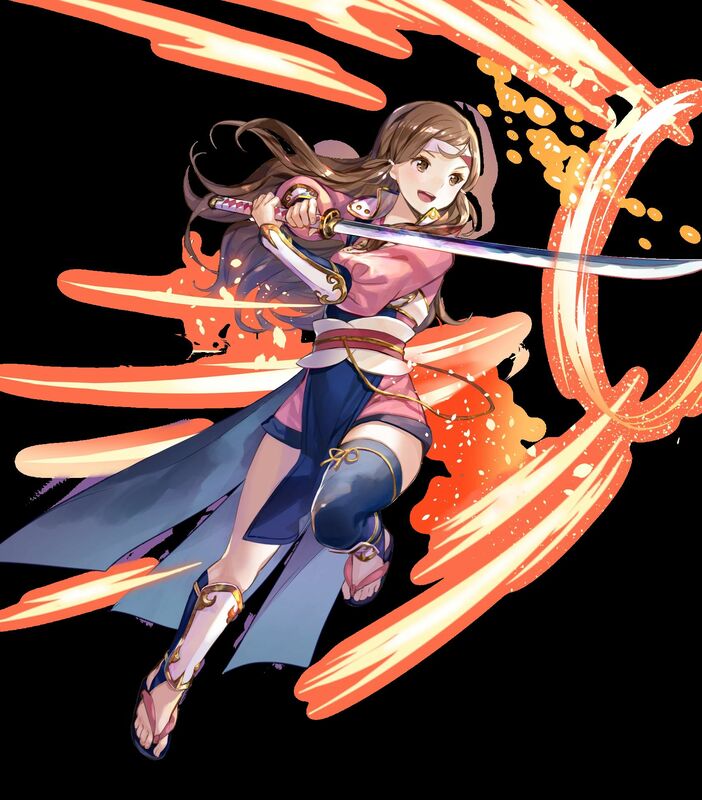 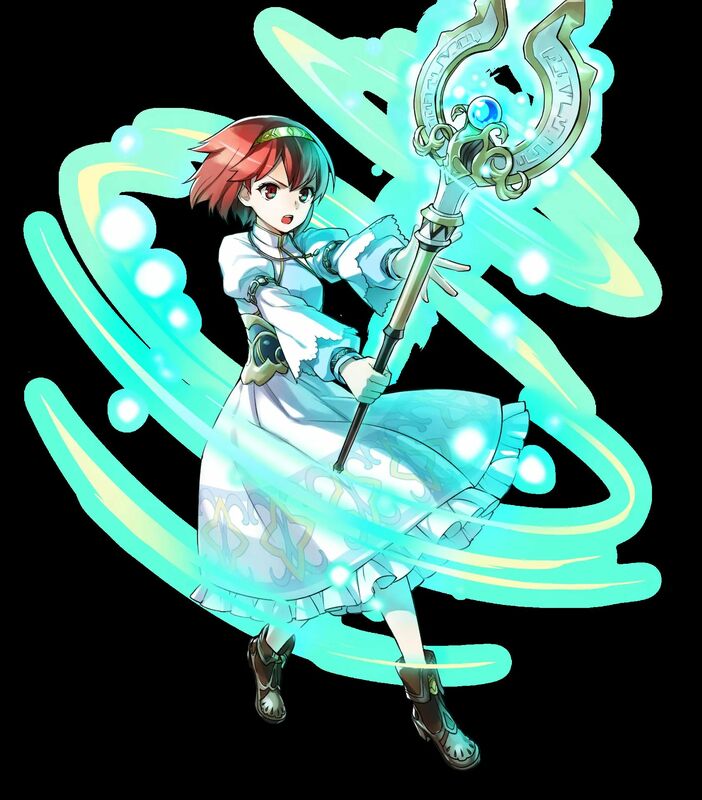 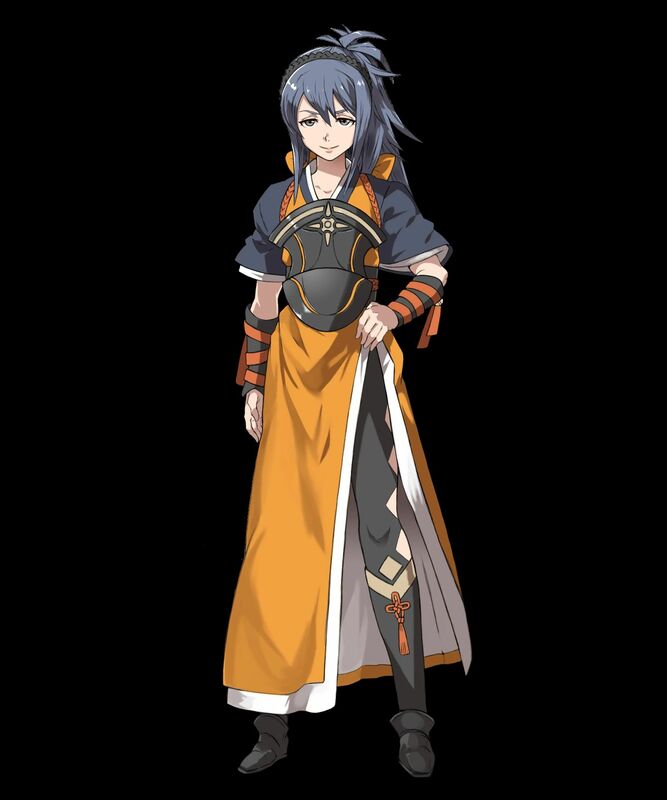 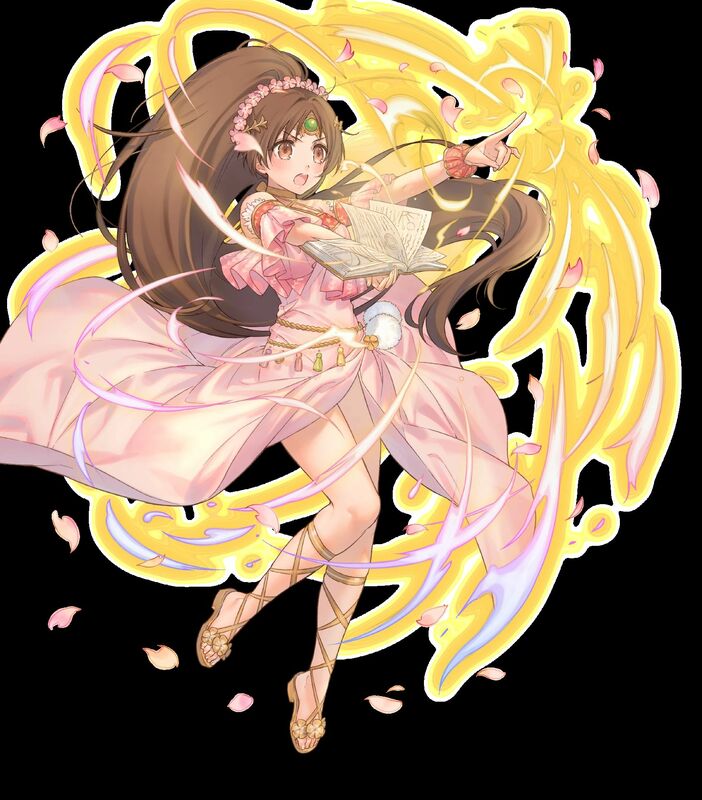 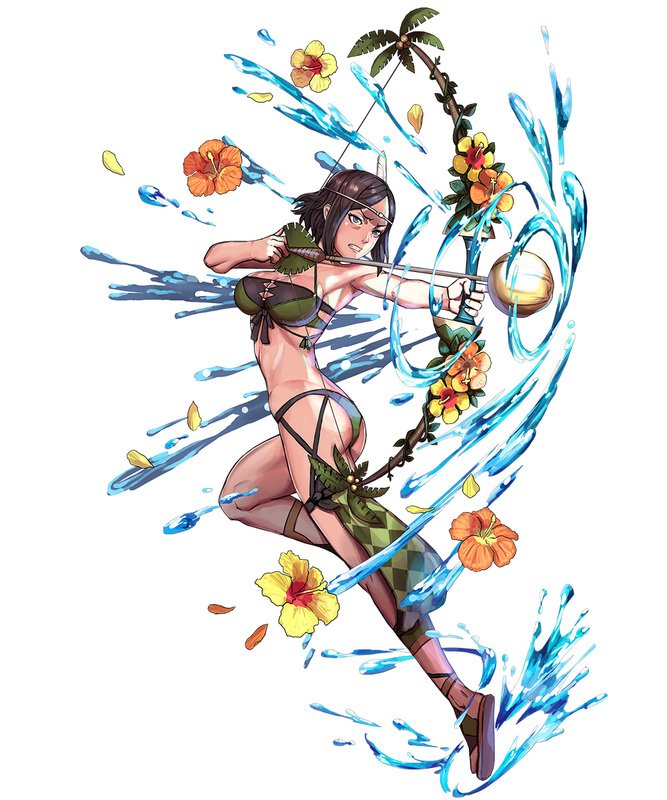 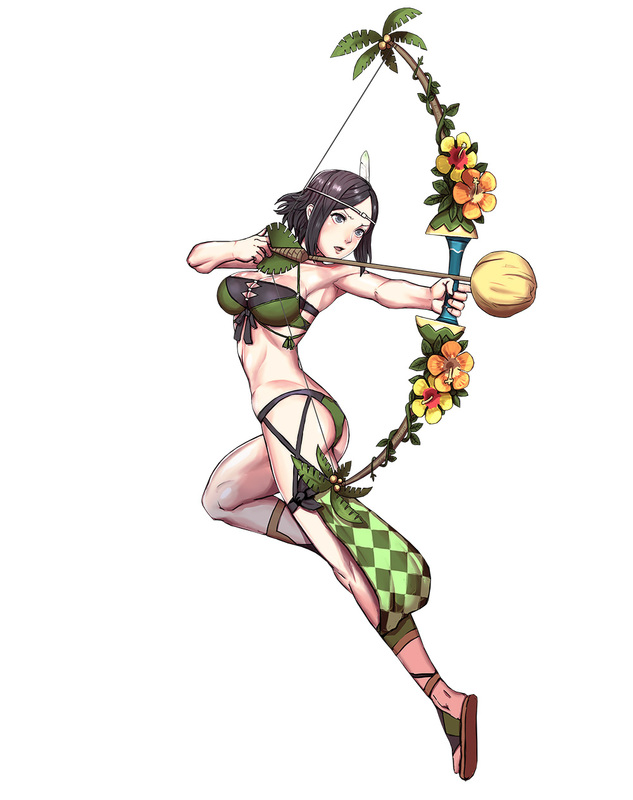 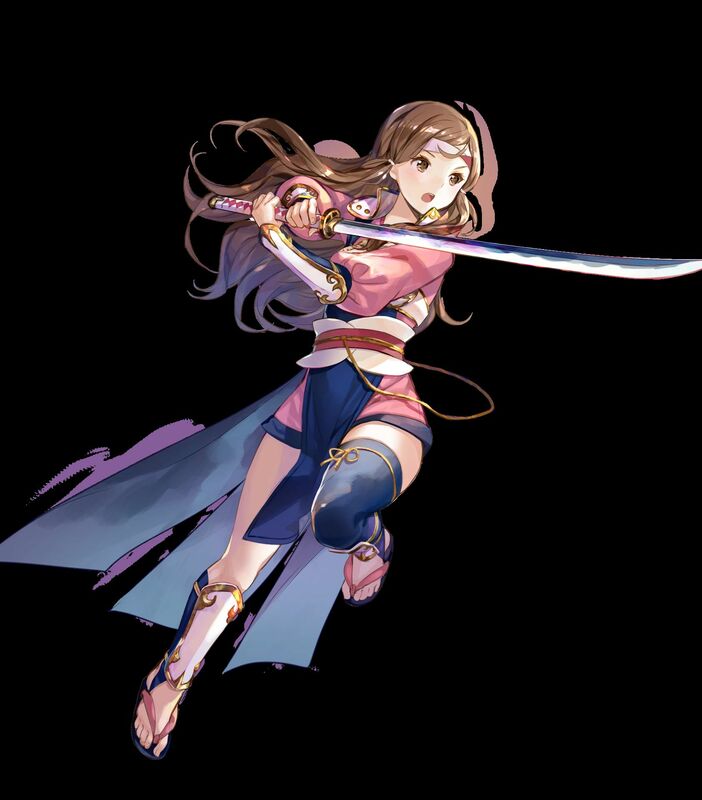 [5 ★] Delthea Free Spirit (from Fire Emblem Echoes: Shadows of Valentia). 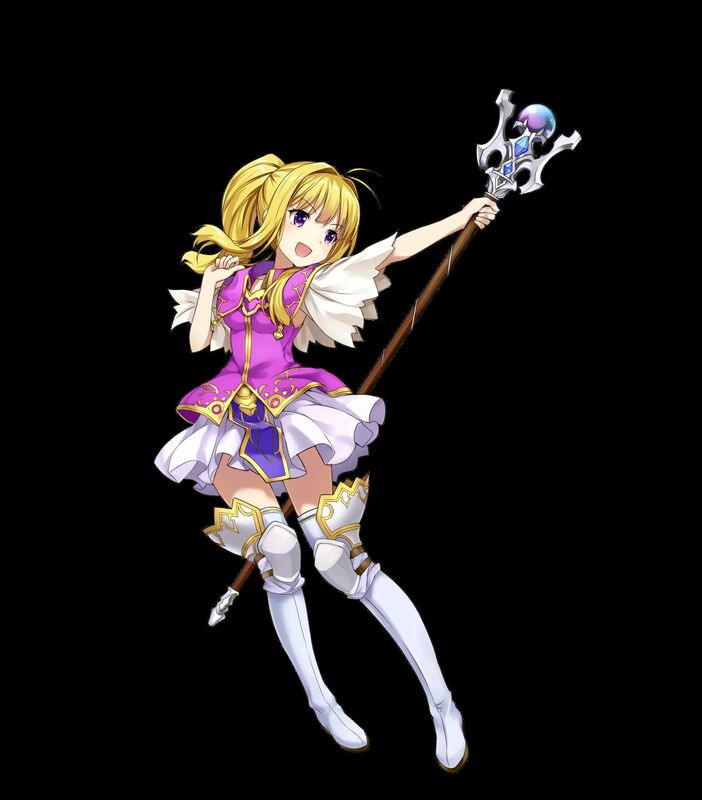 Voiced by Christine Marie Cabanos. 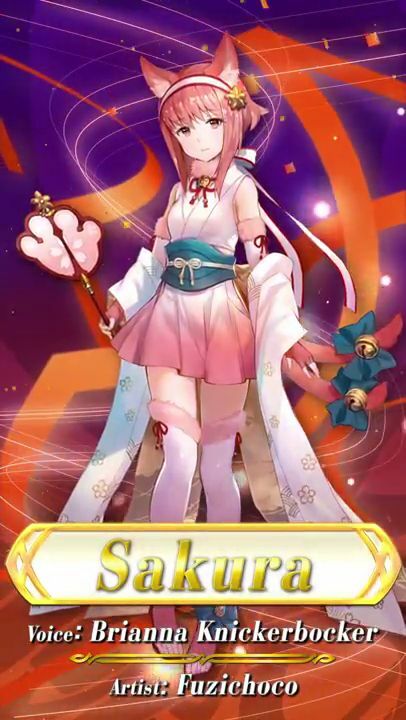 Artist: Miwabe Sakura. 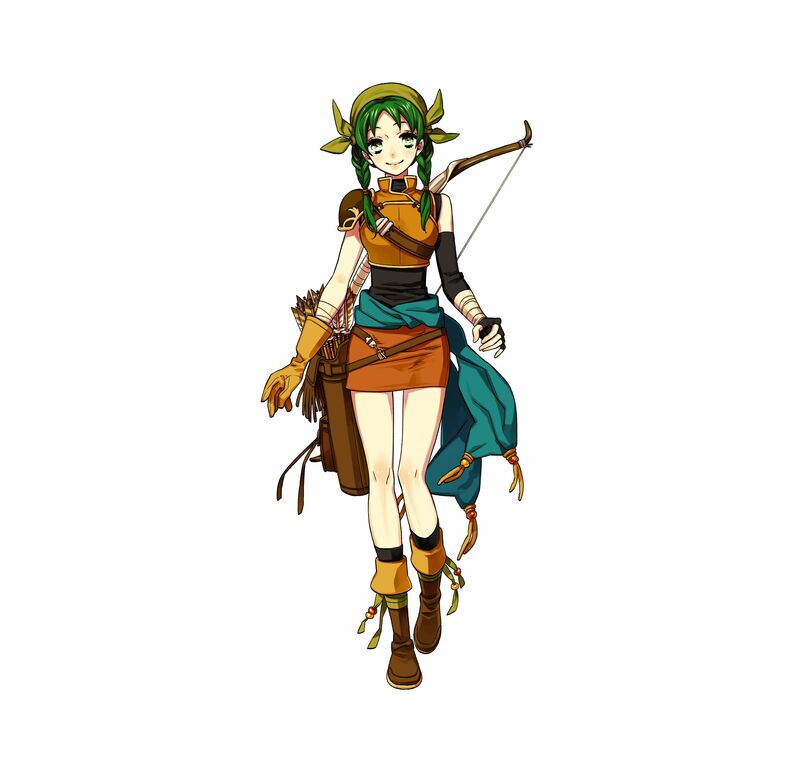 [5 ★] Dorcas, Serene Warrior (from Fire Emblem). 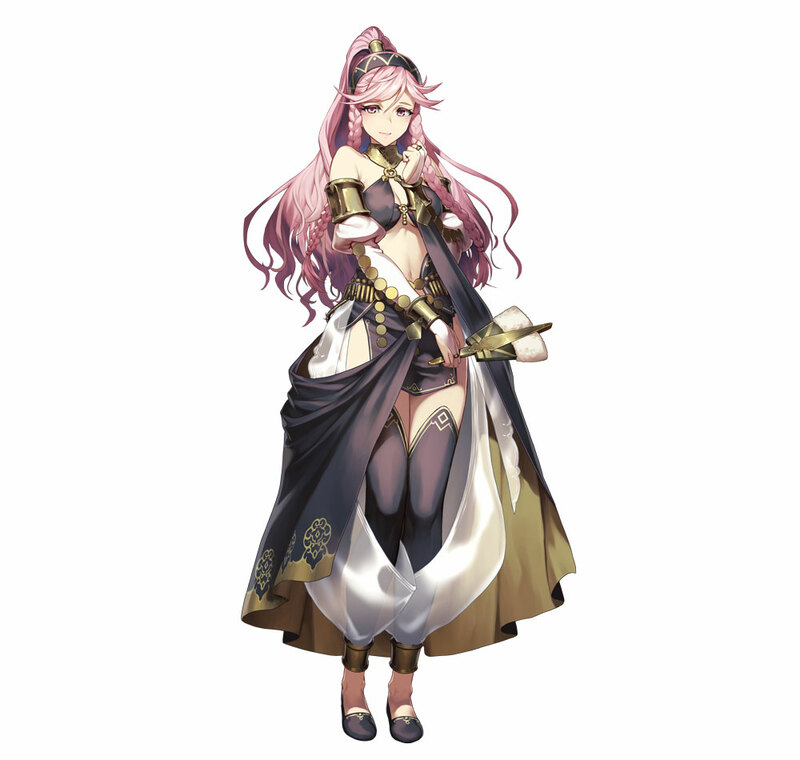 Artist: Soeda Ippei. 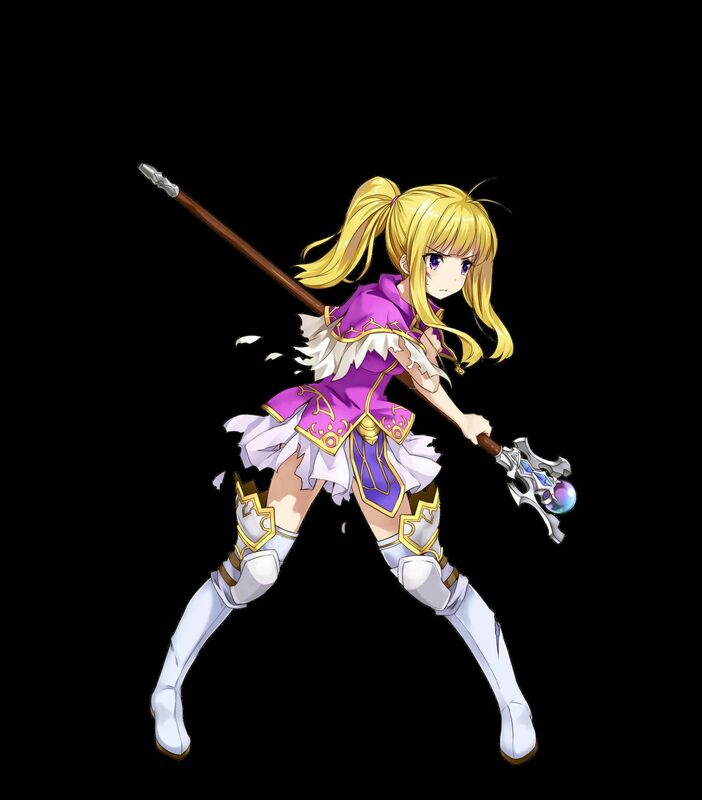 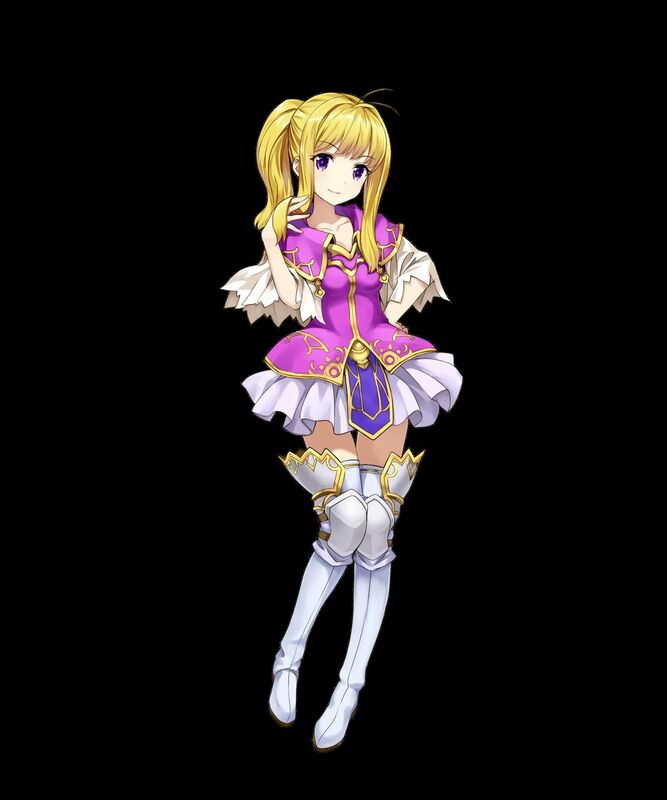 [5 ★] Idunn, Dark Priestess (from Fire Emblem: The Binding Blade). 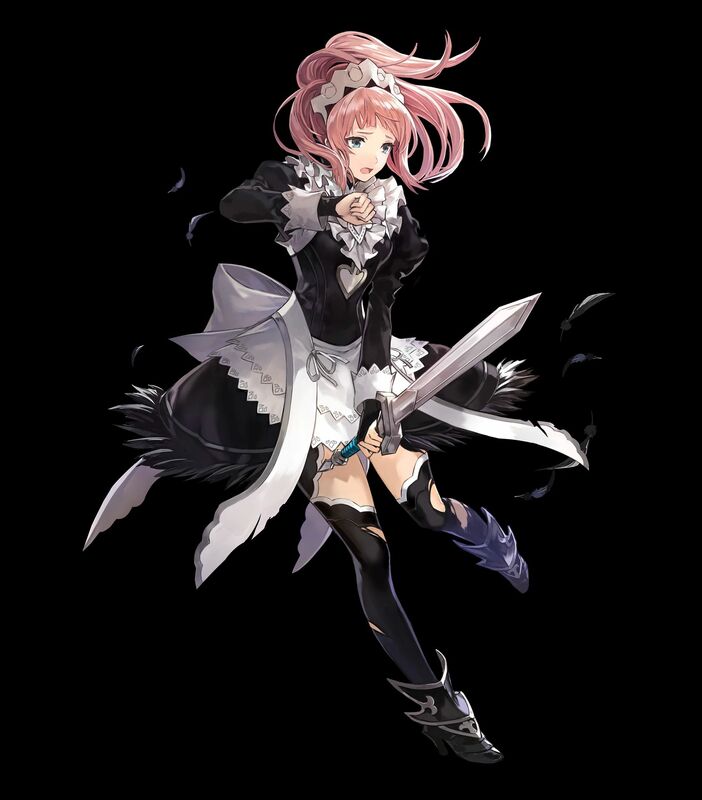 Artist: Yamada Kotaro. 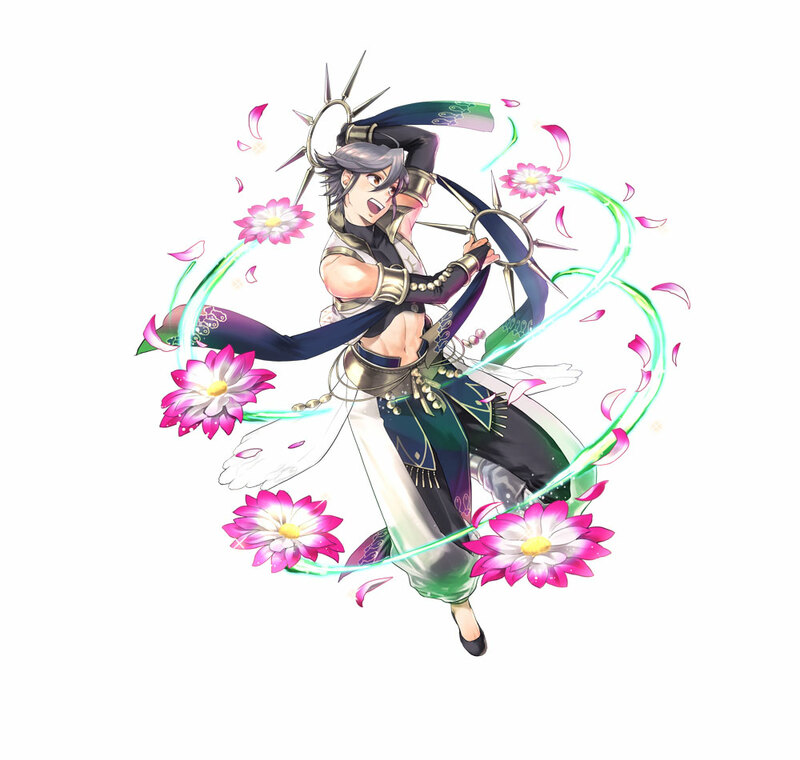 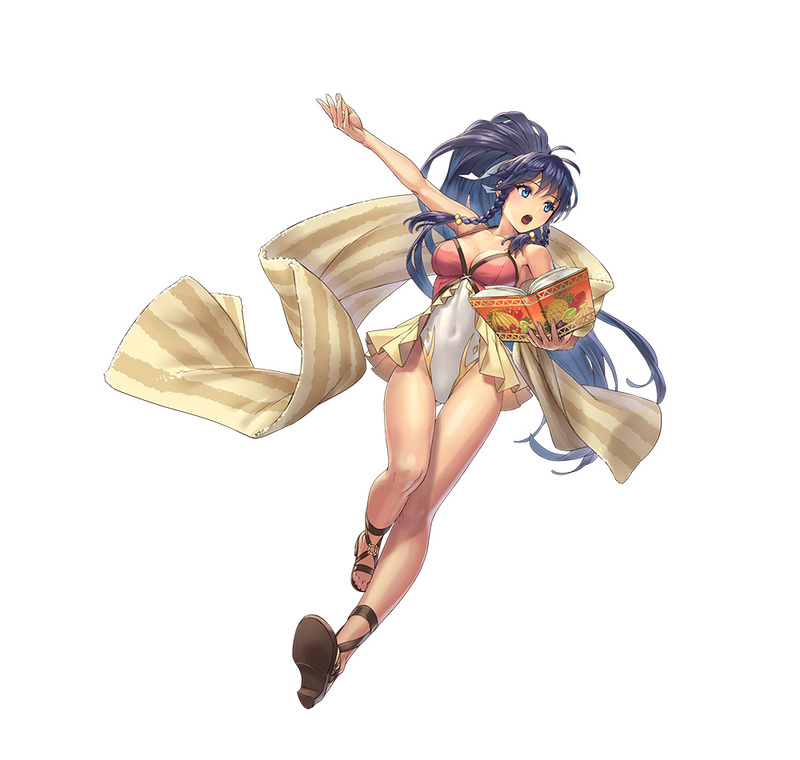 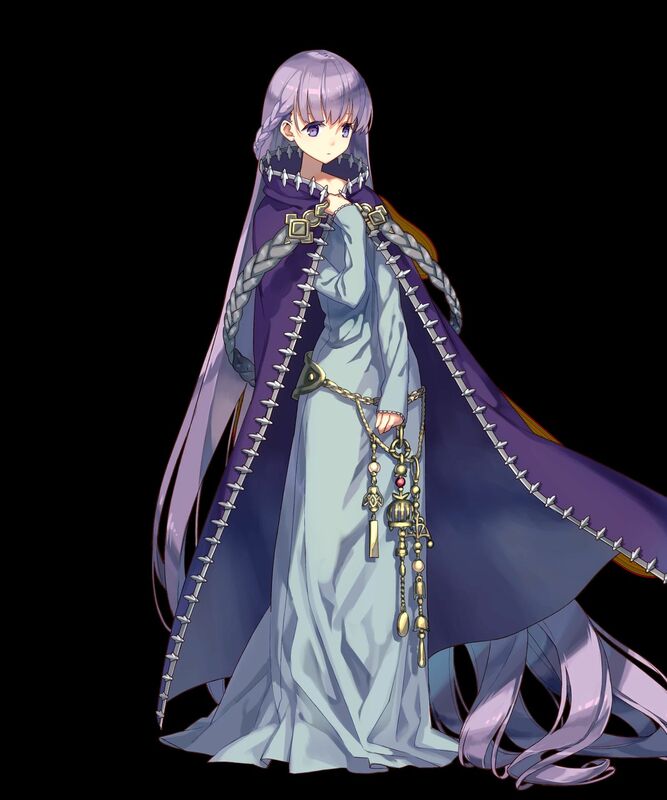 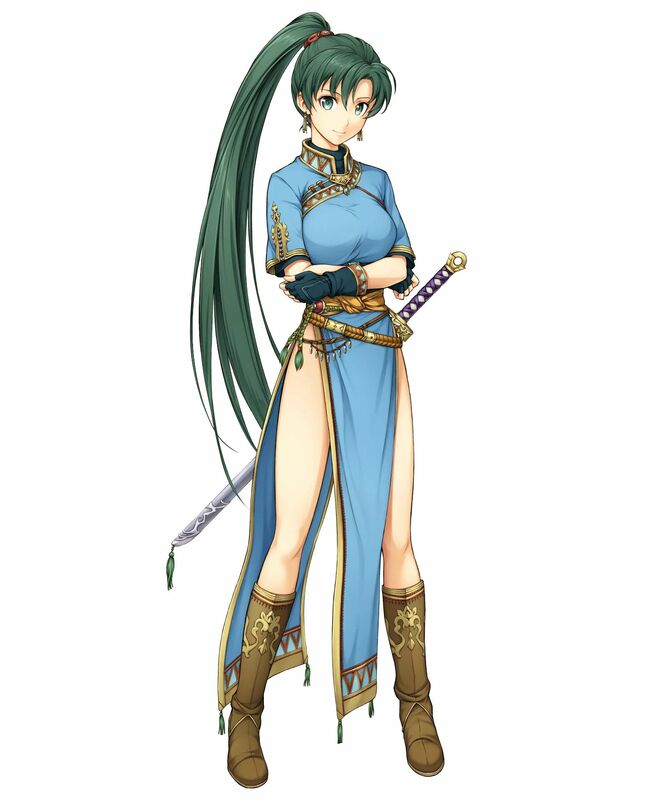 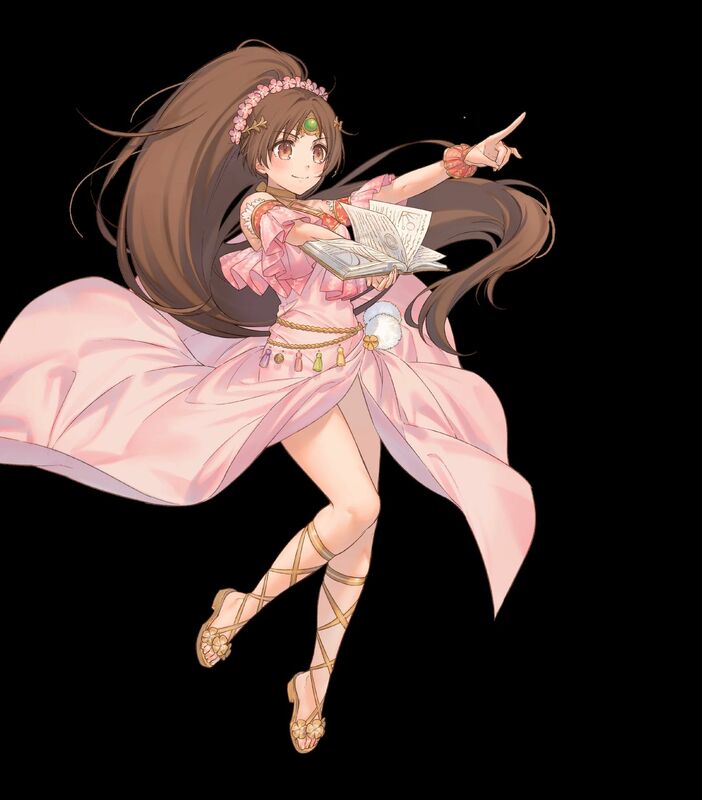 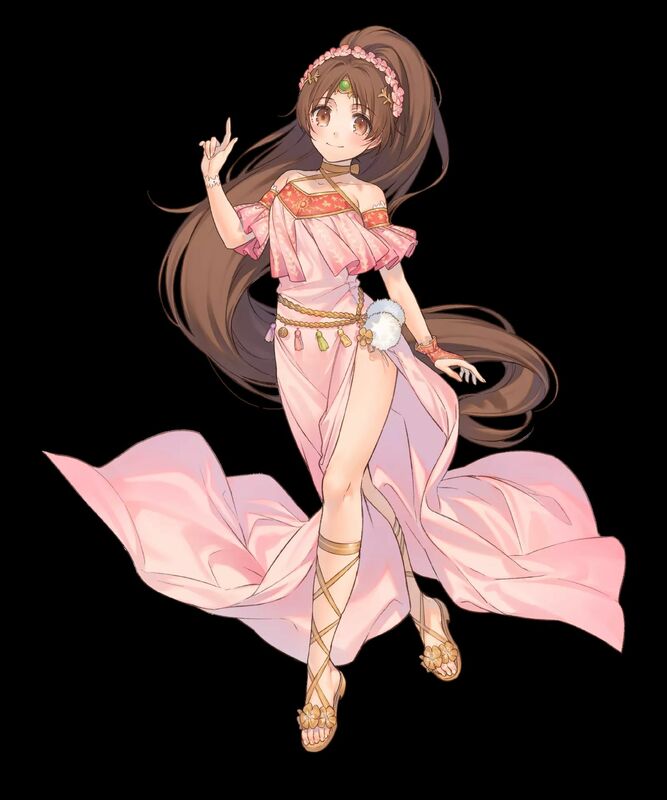 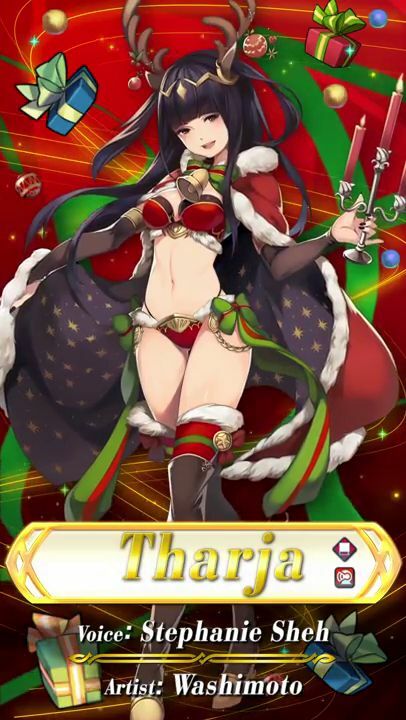 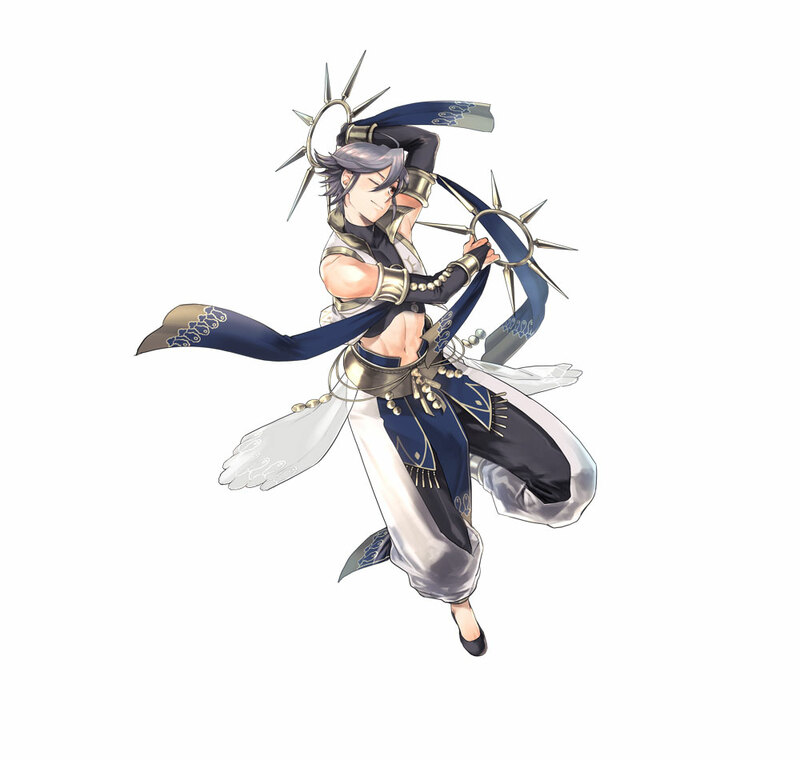 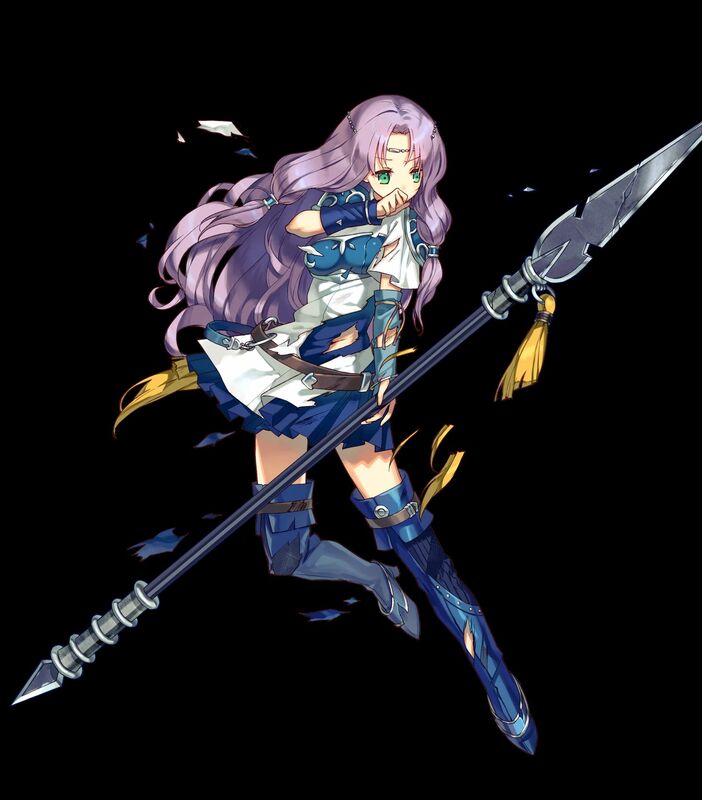 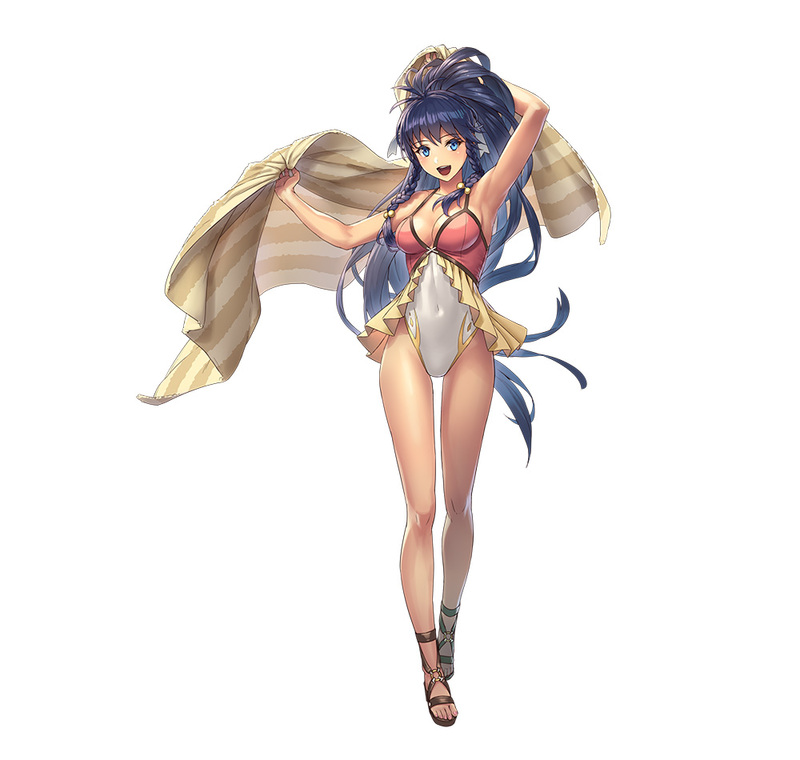 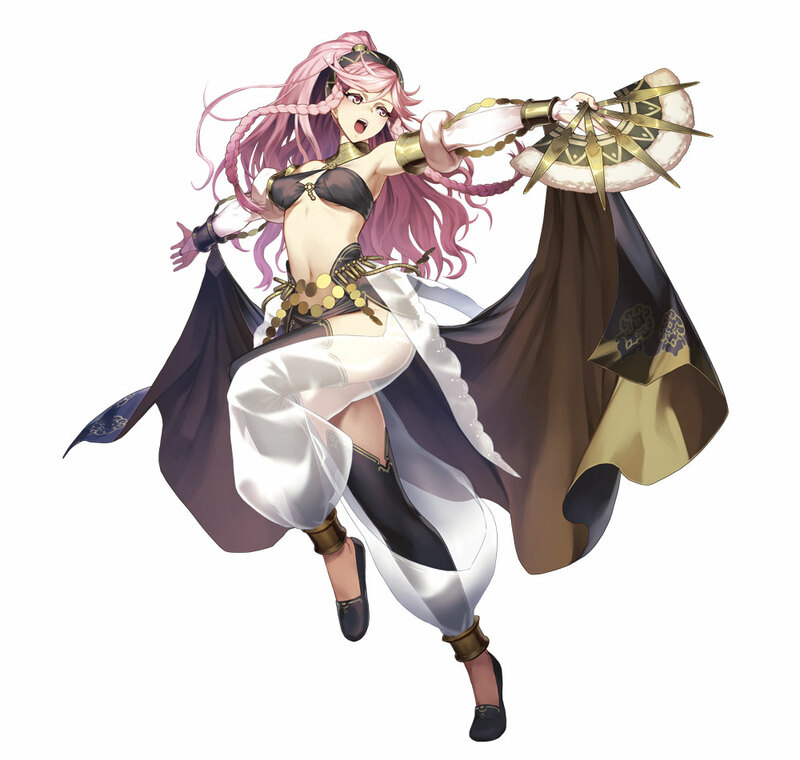 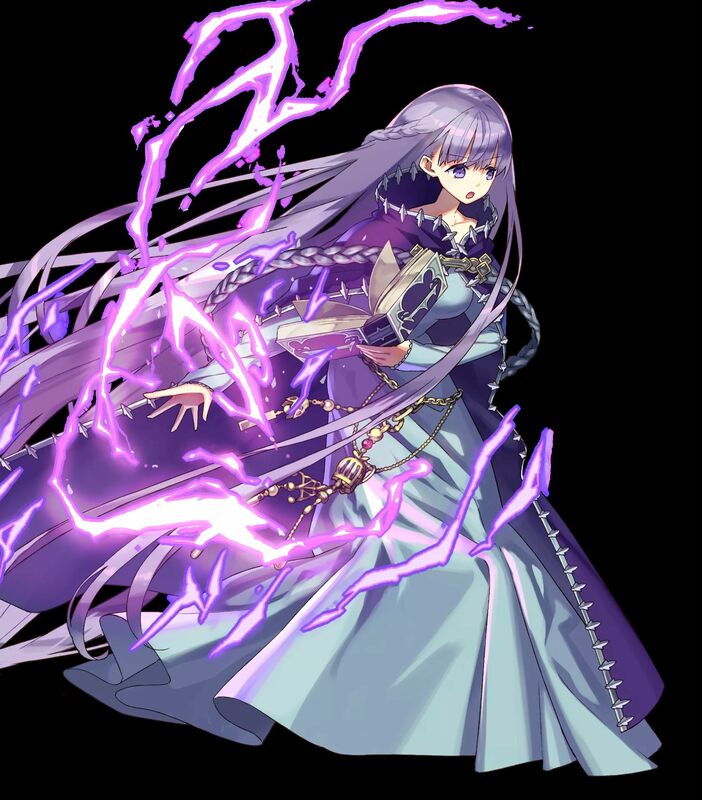 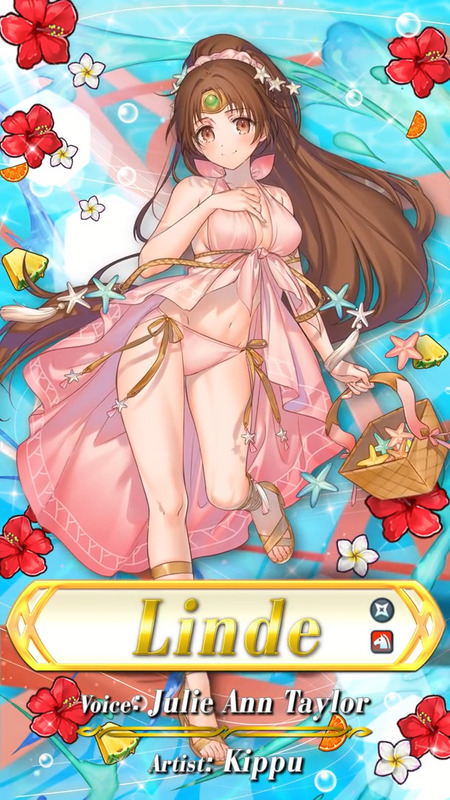 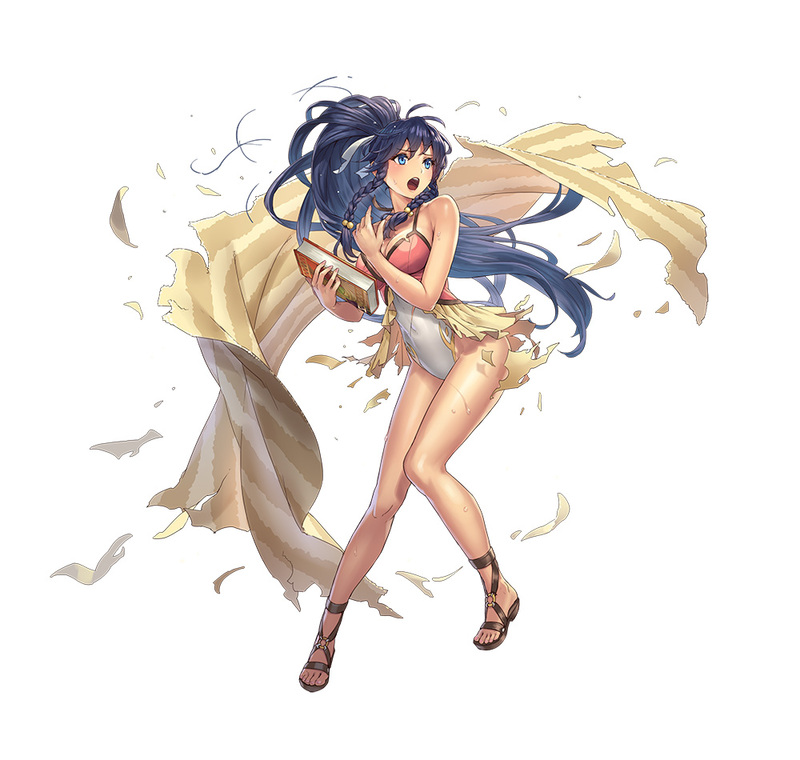 [5 ★] Ishtar, Thunder Goddess (from Fire Emblem: Genealogy of the Holy War). 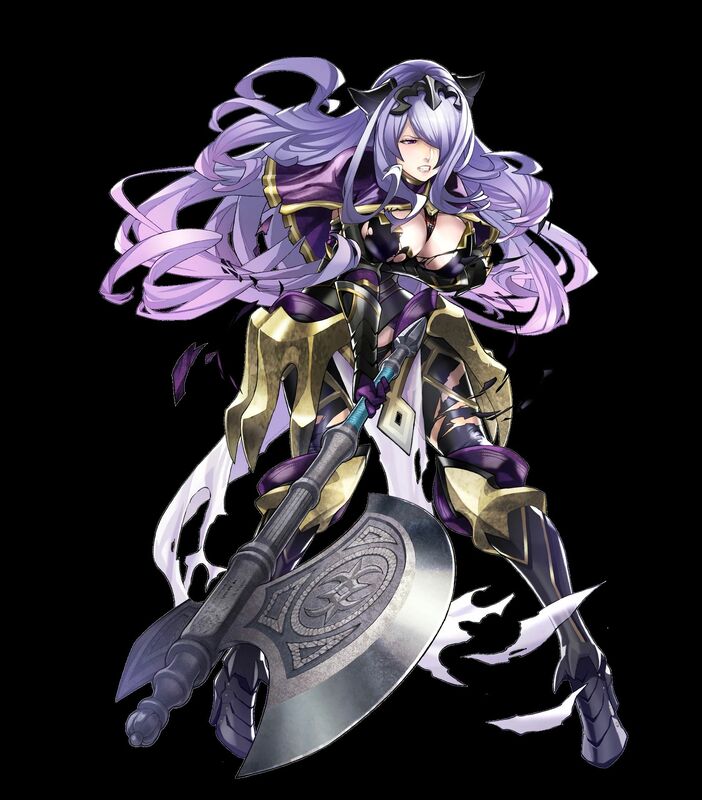 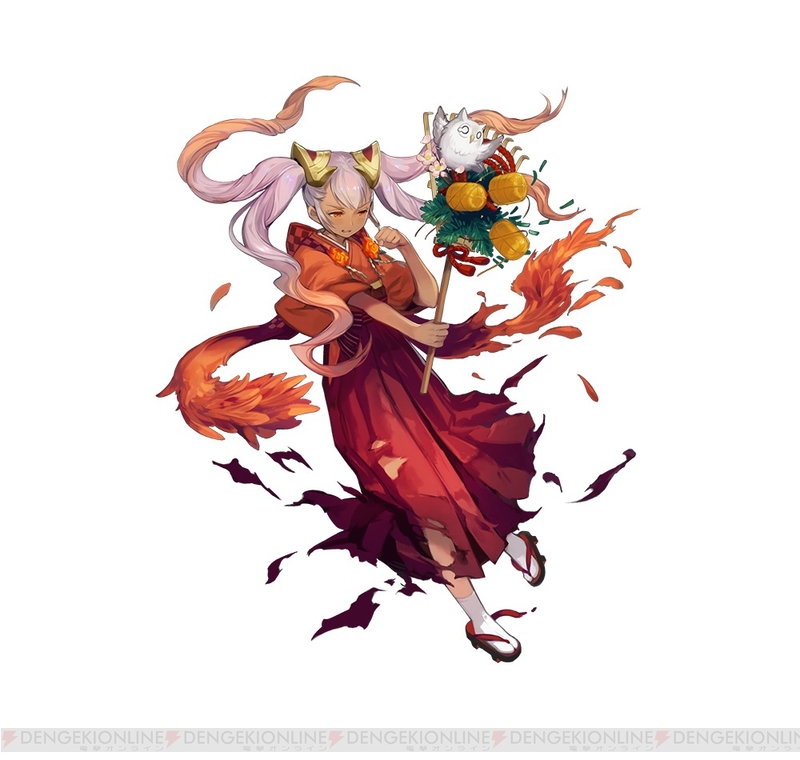 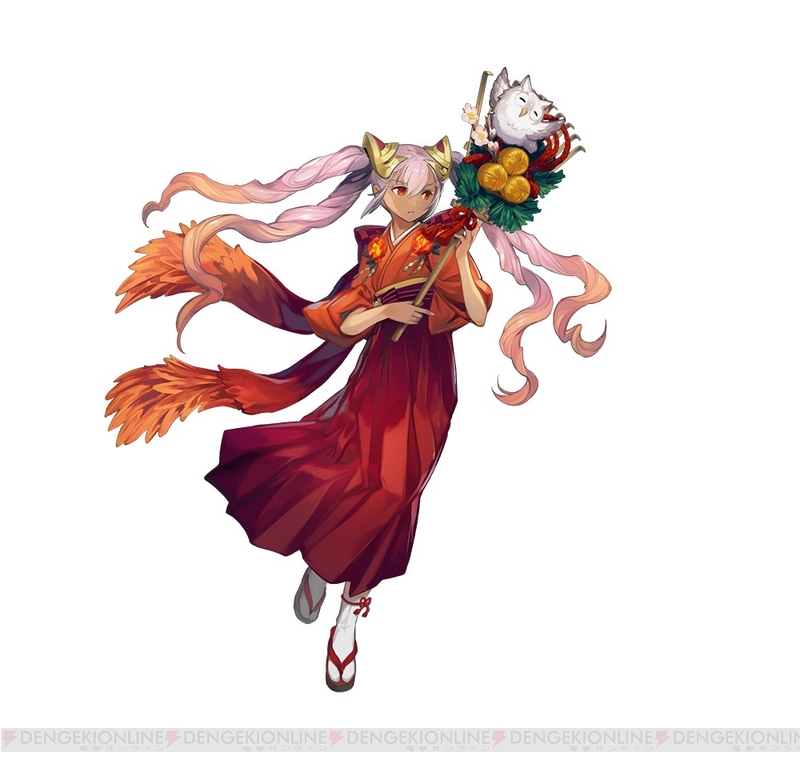 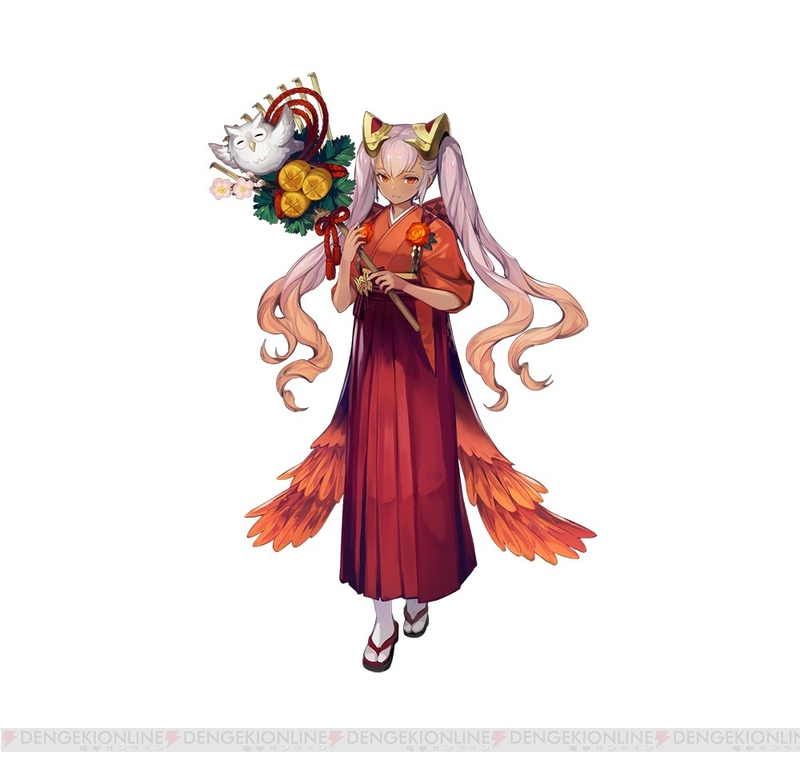 Voiced by Ratana. 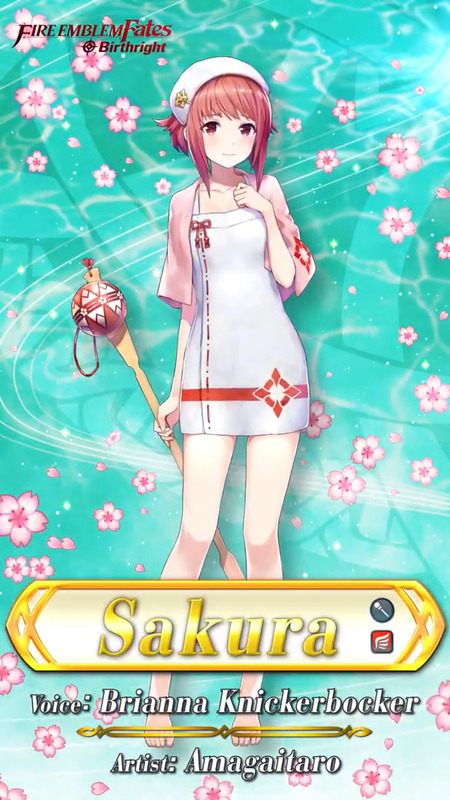 Artist: Suekane Kumiko. 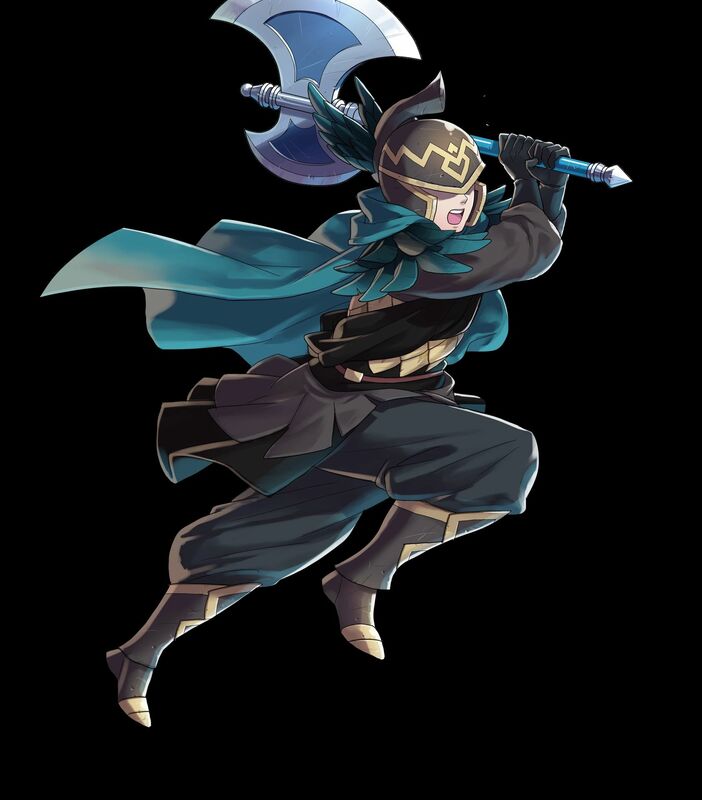 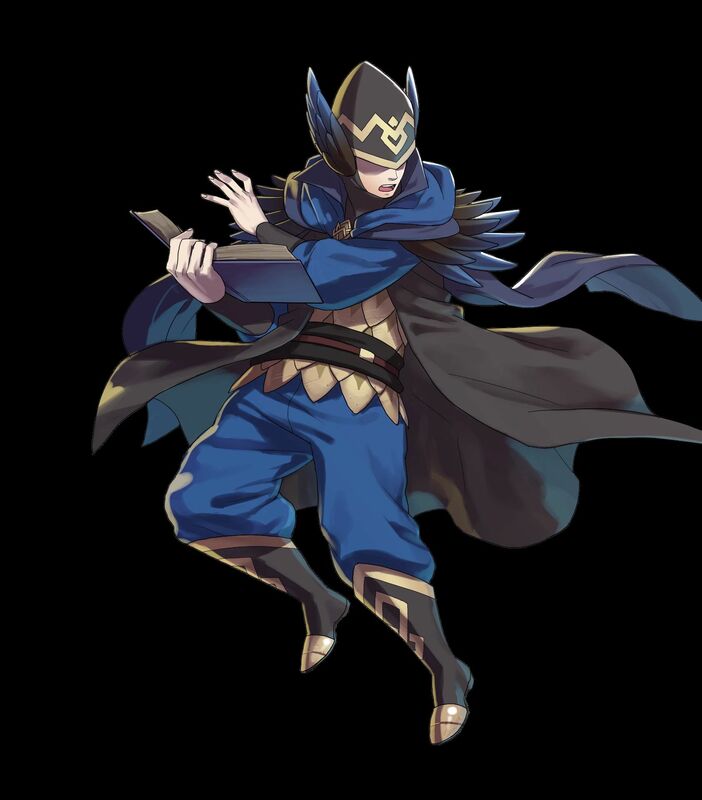 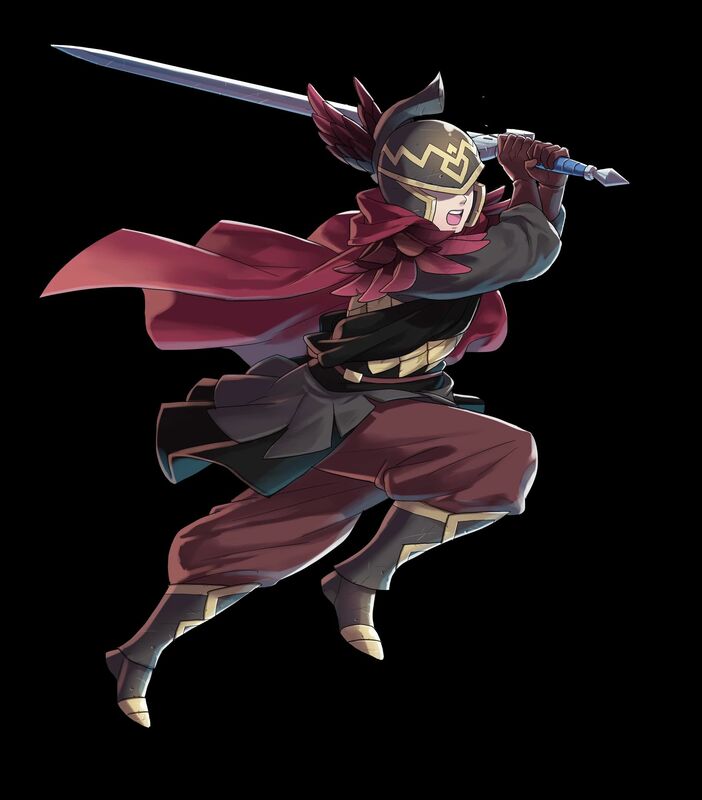 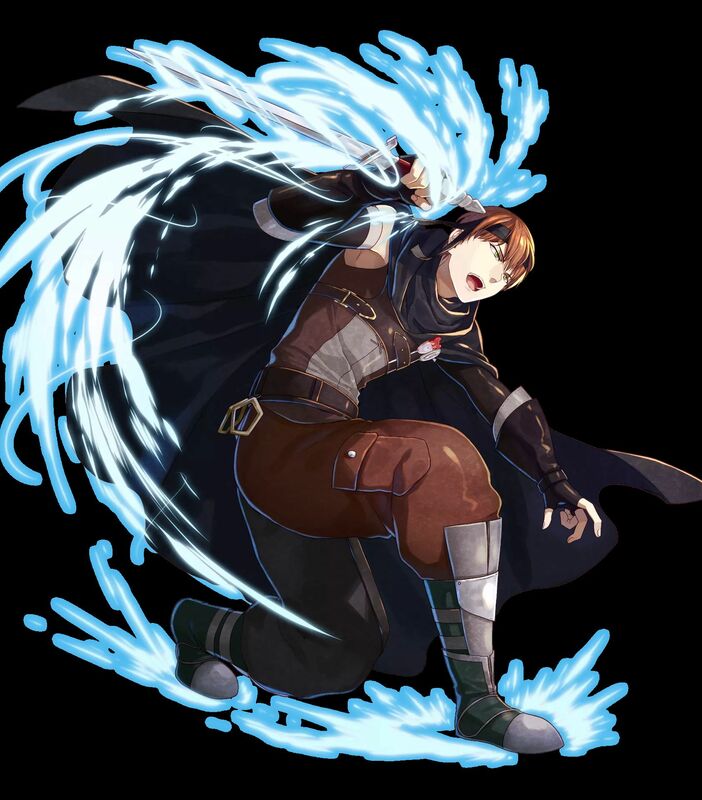 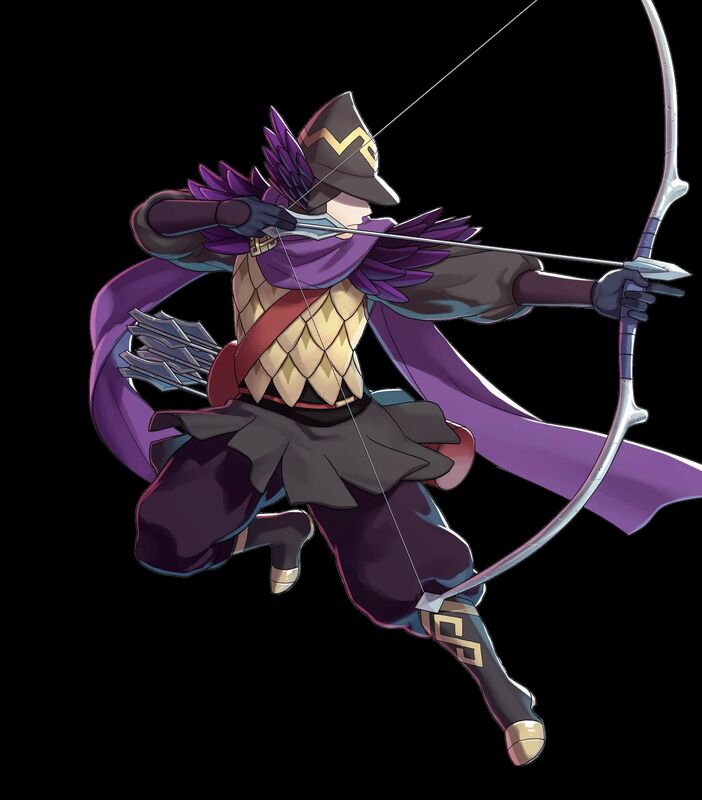 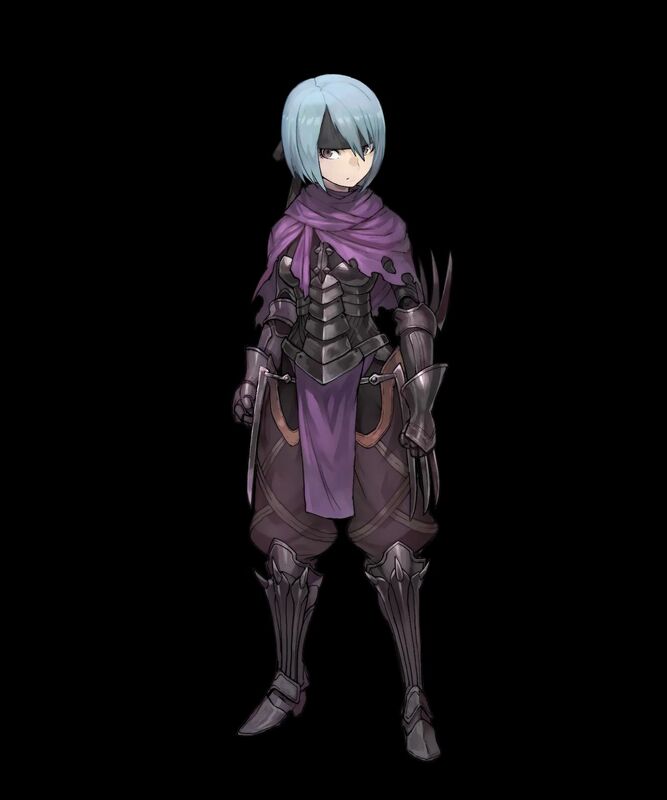 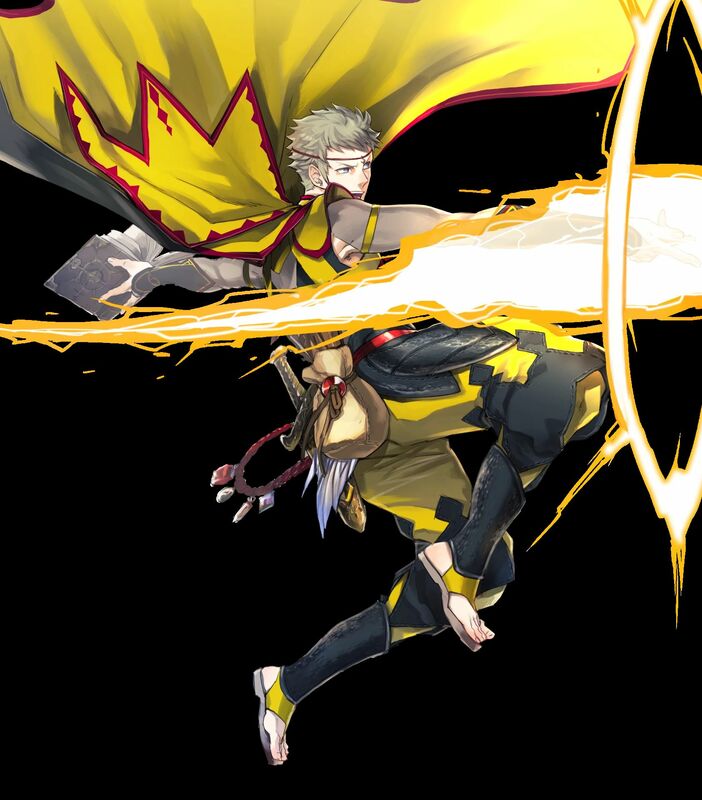 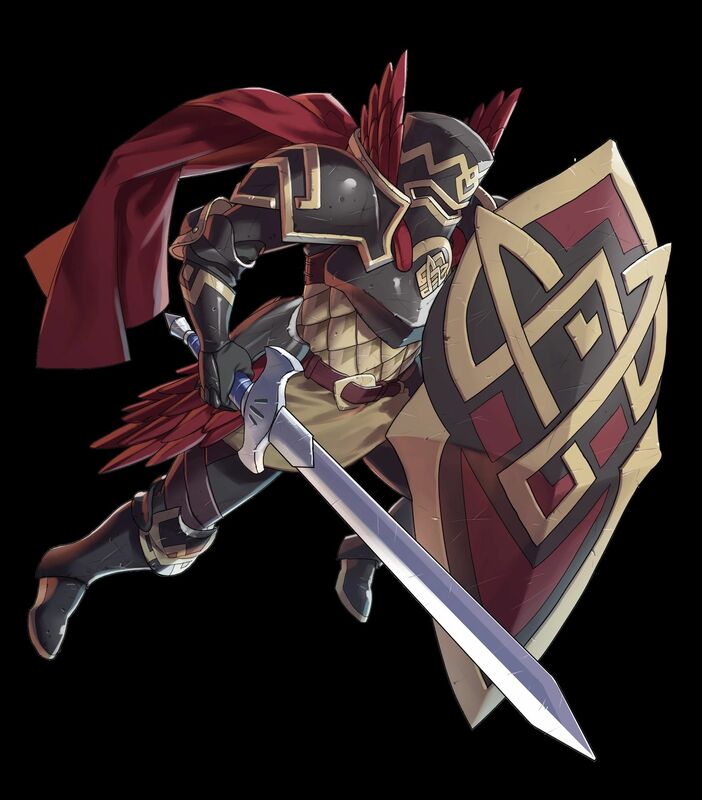 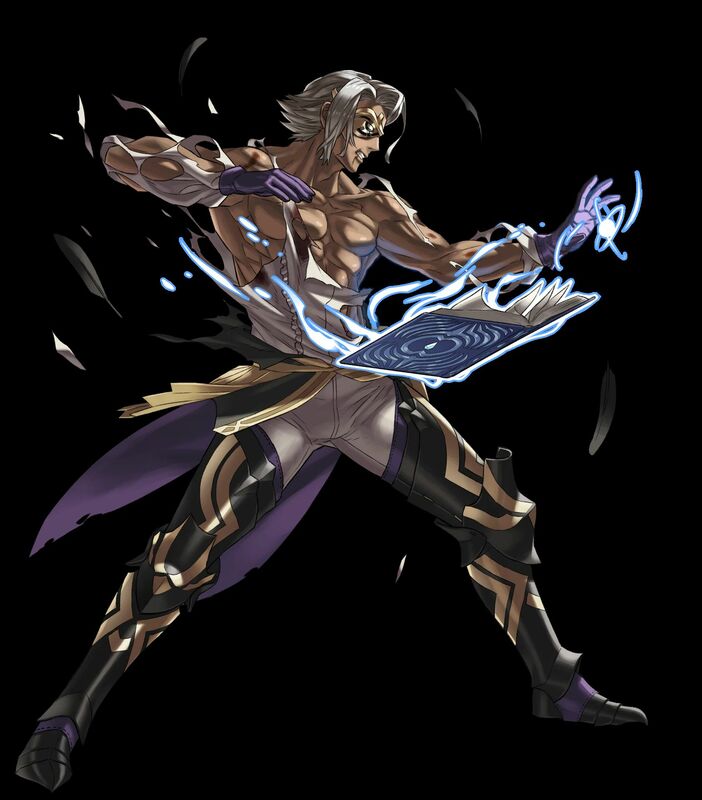 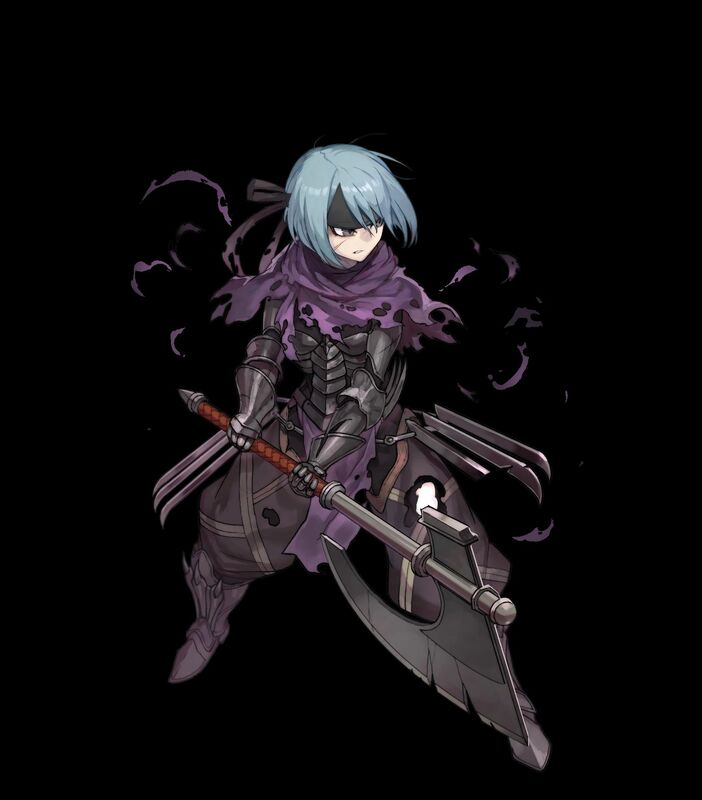 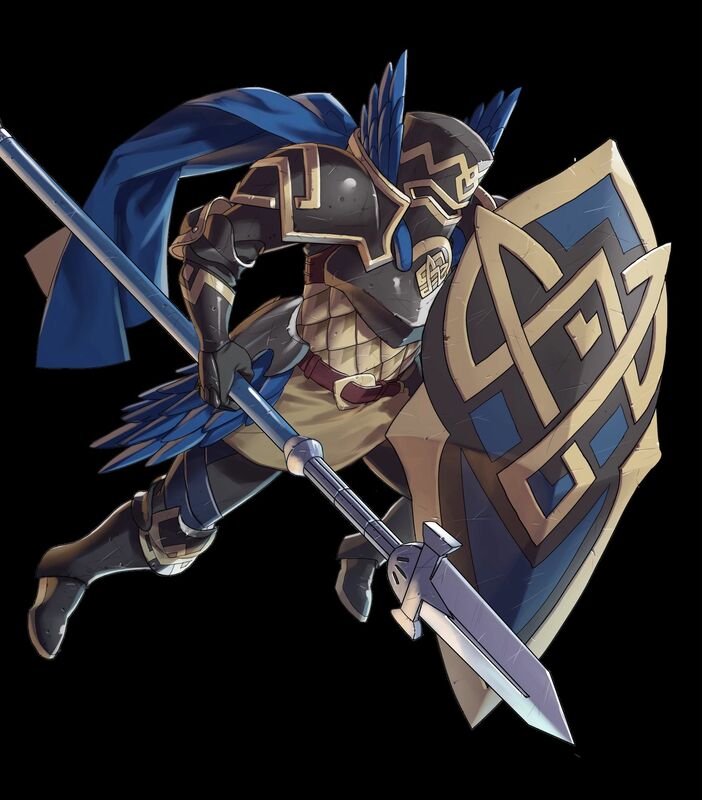 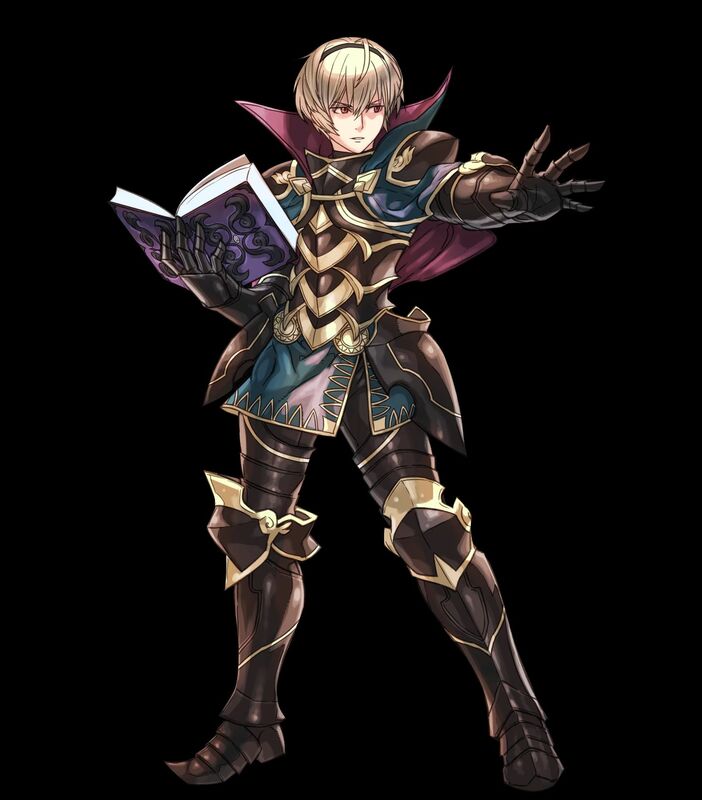 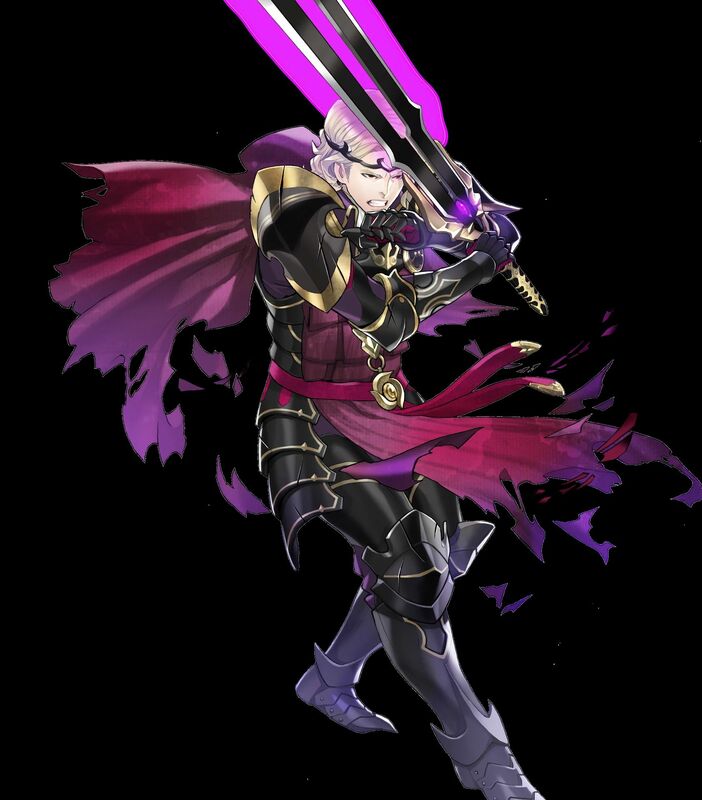 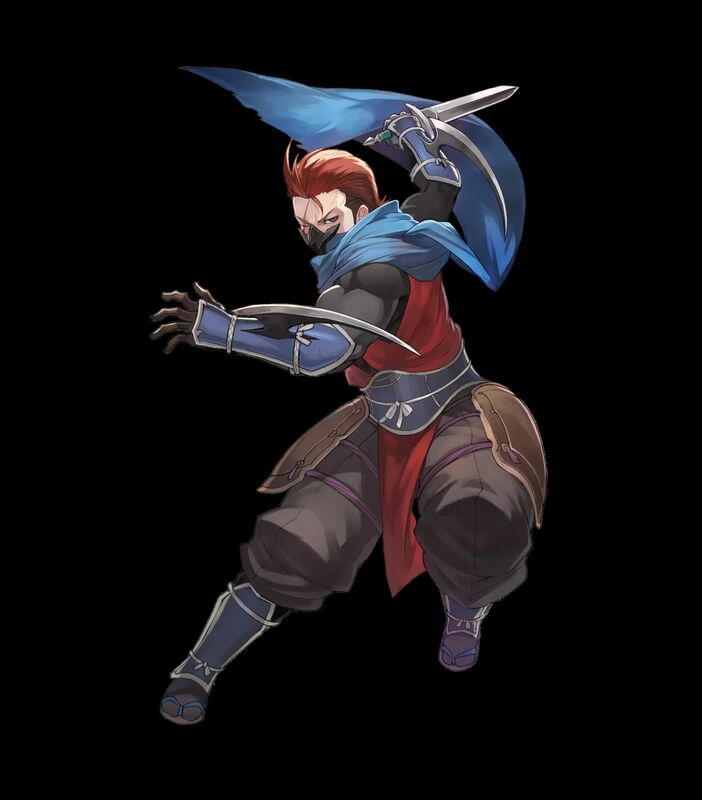 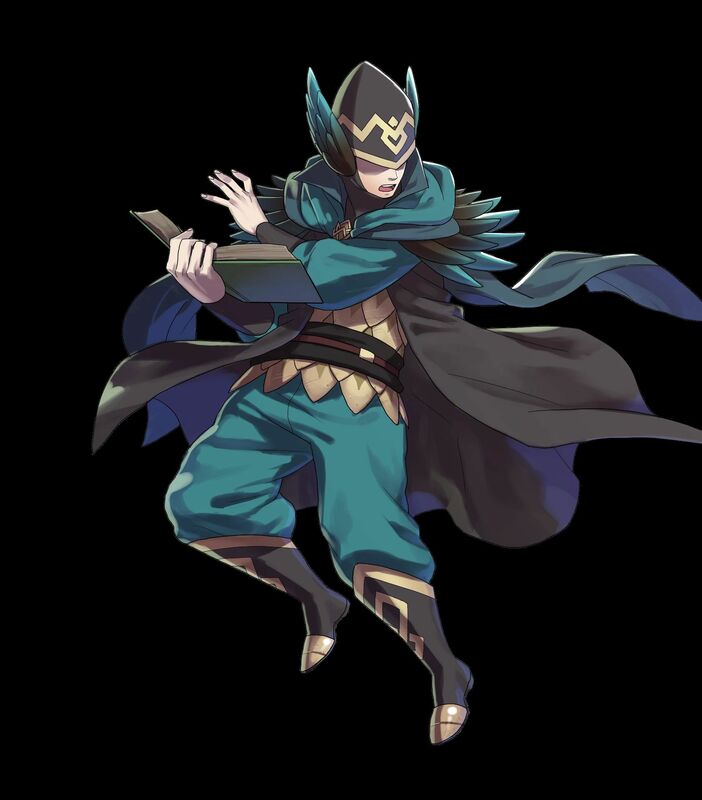 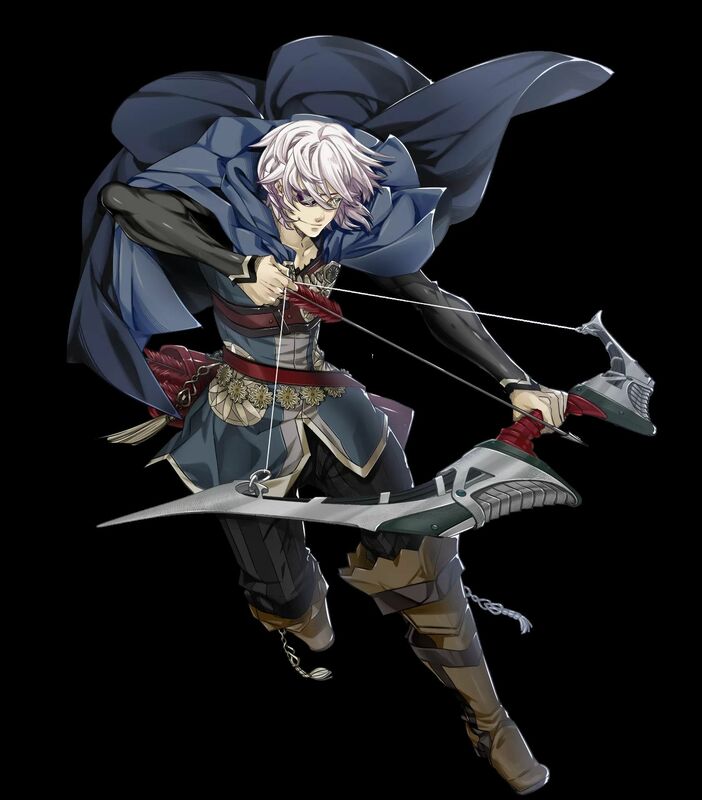 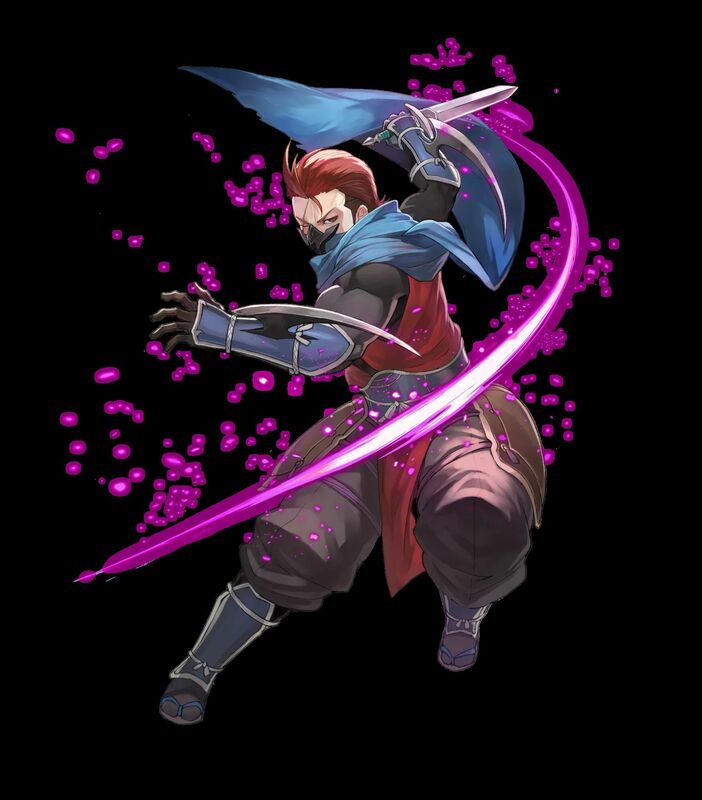 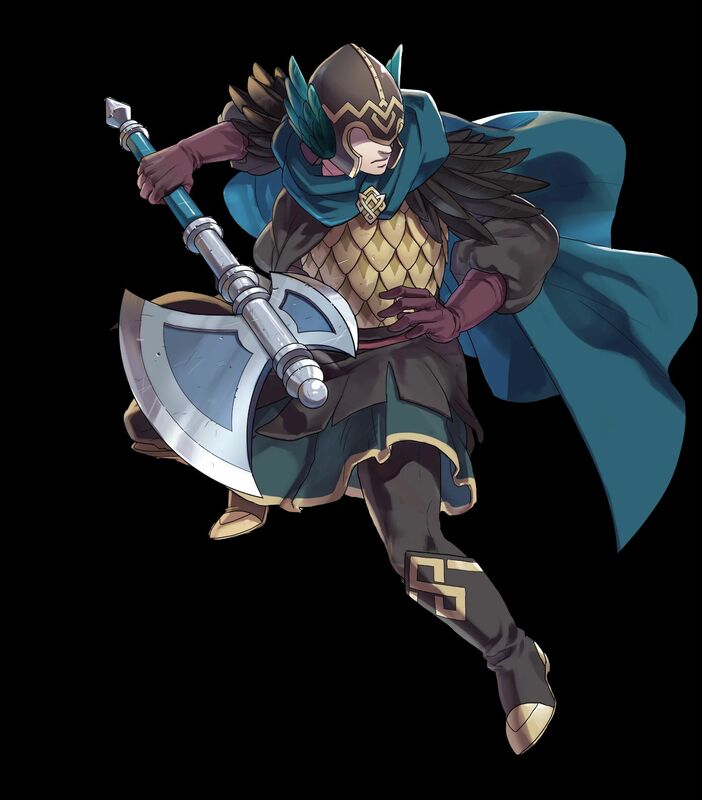 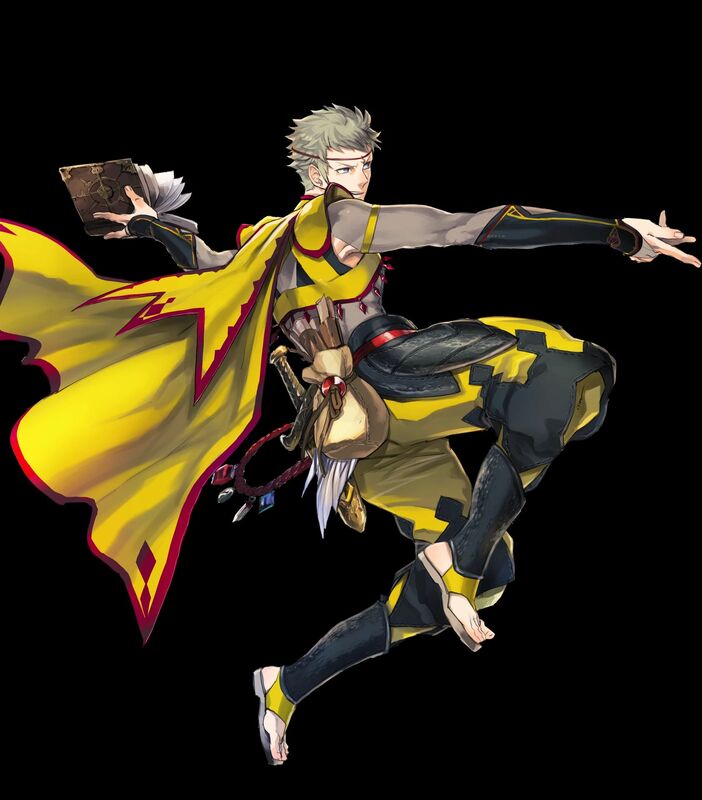 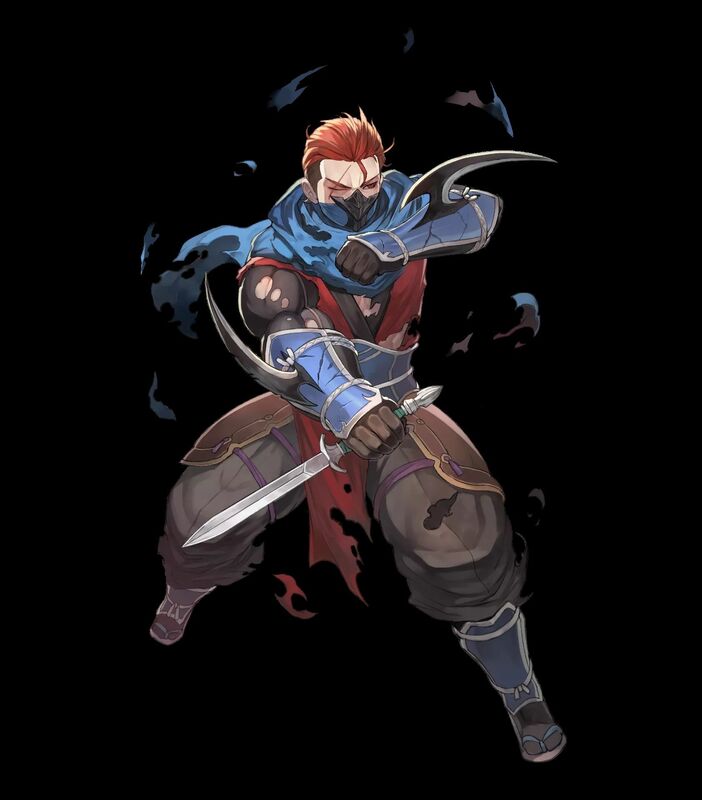 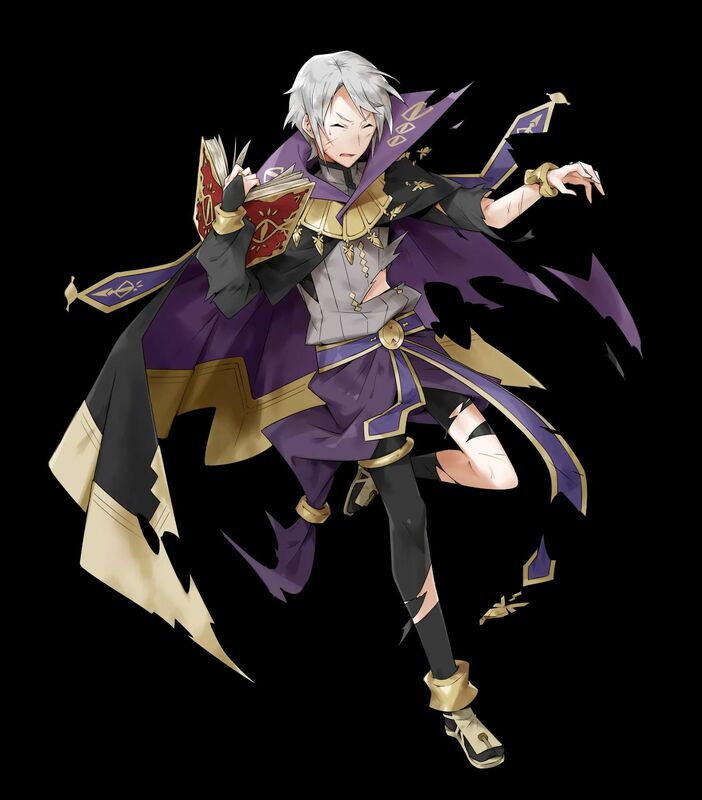 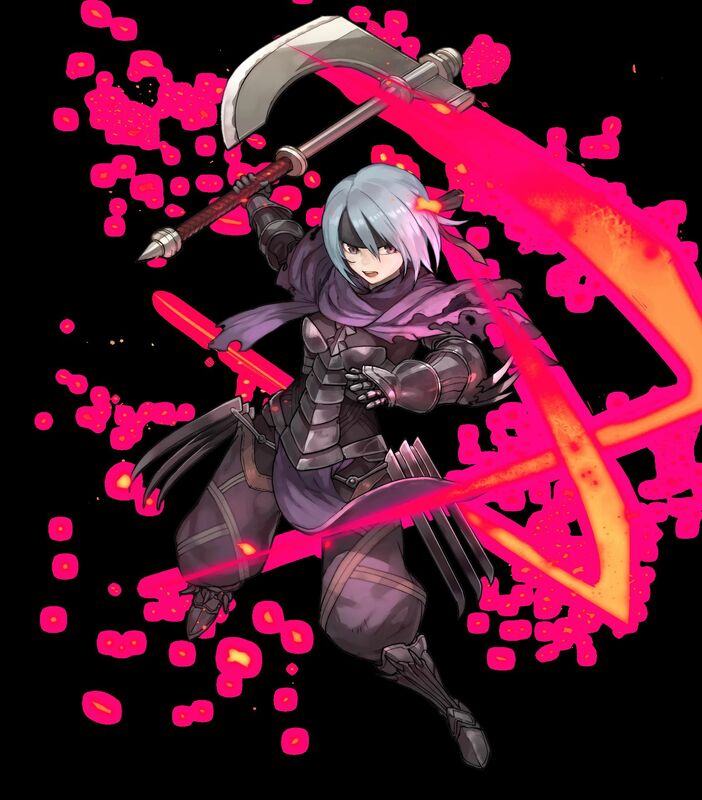 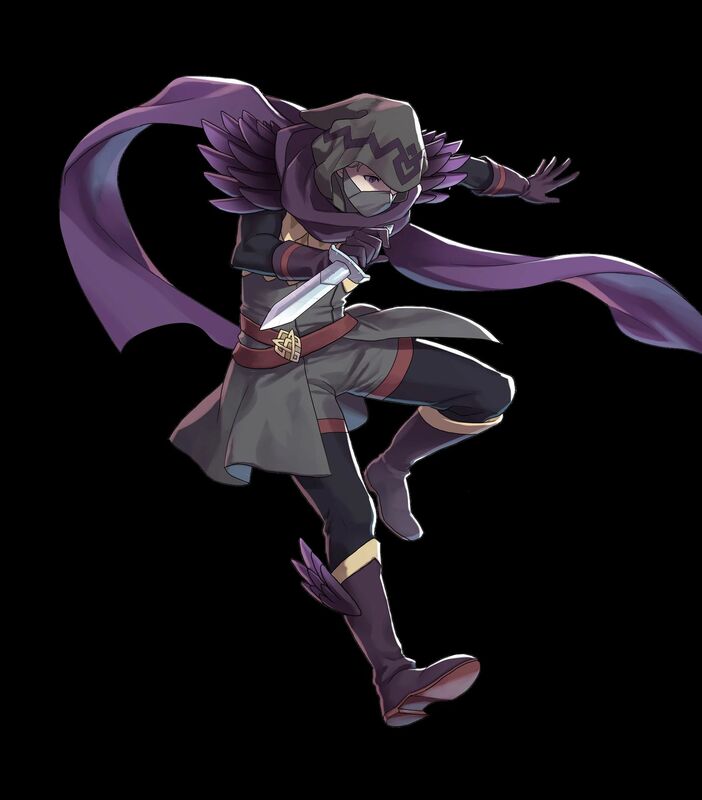 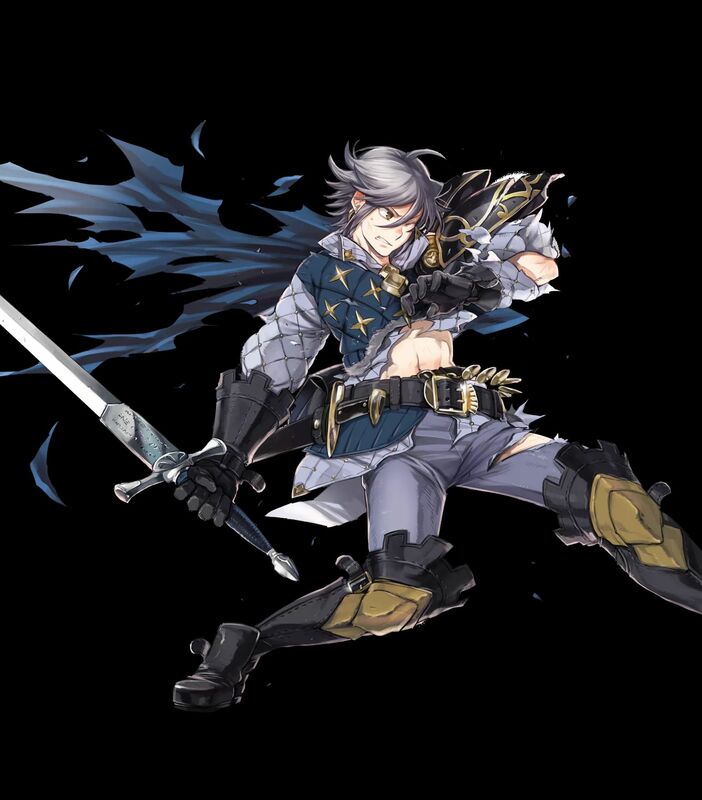 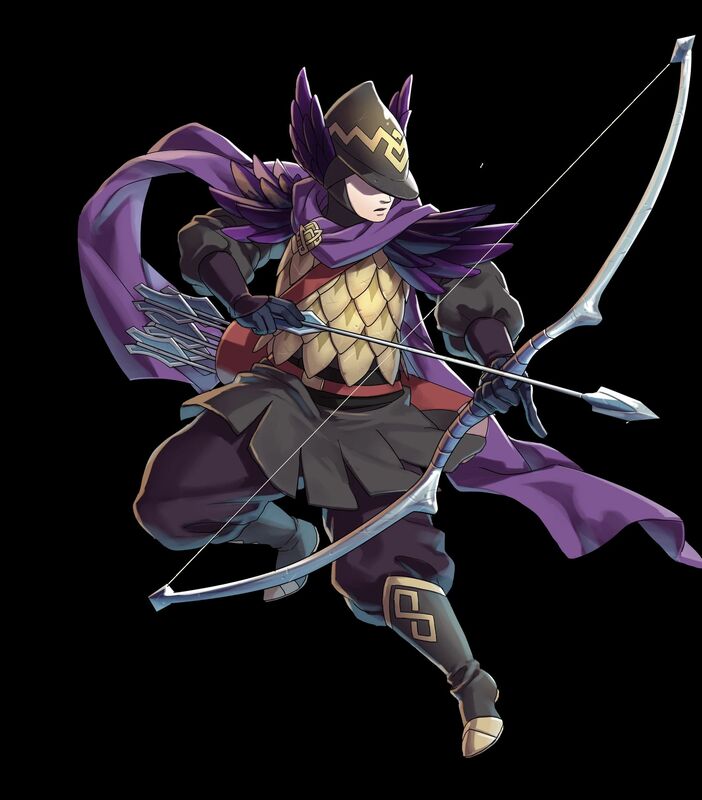 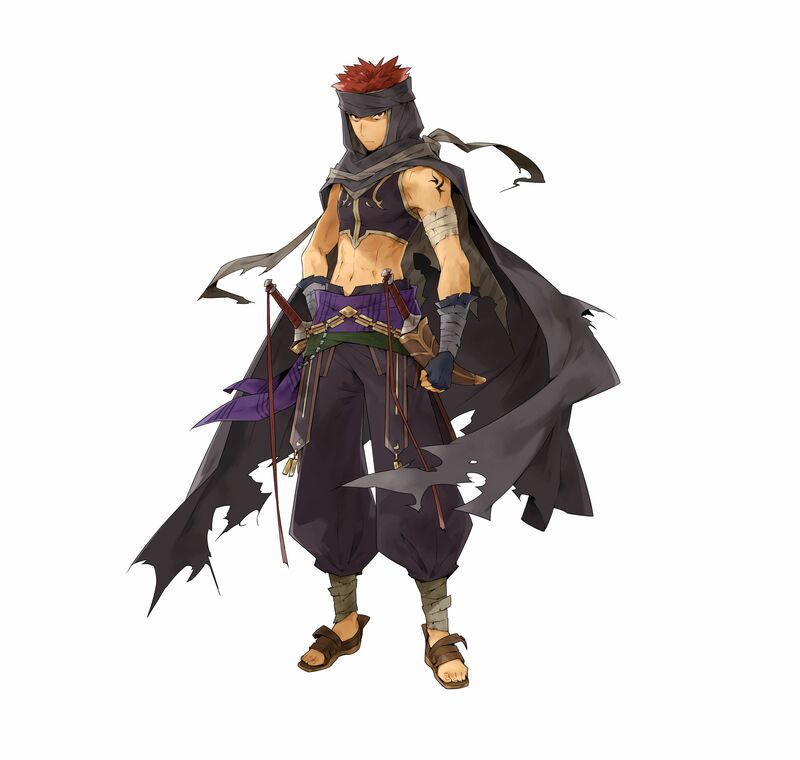 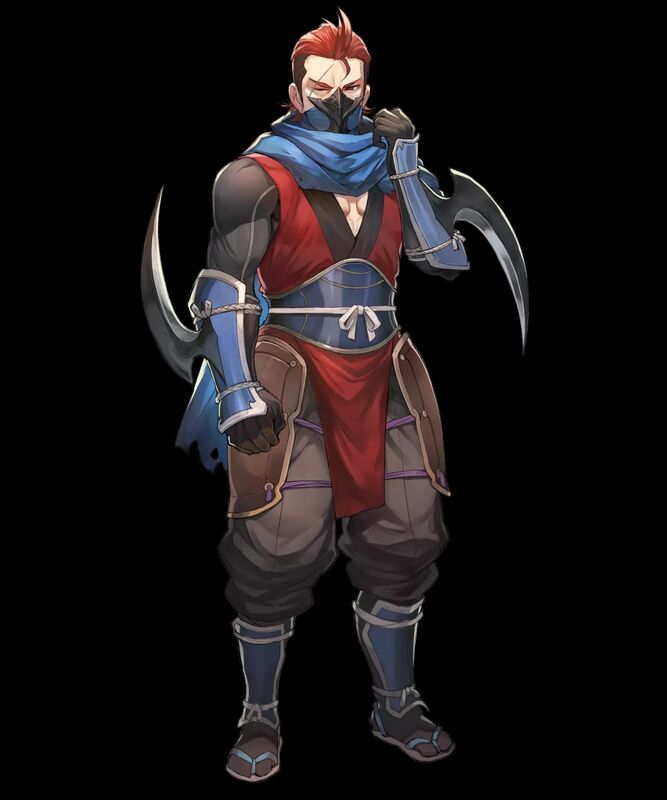 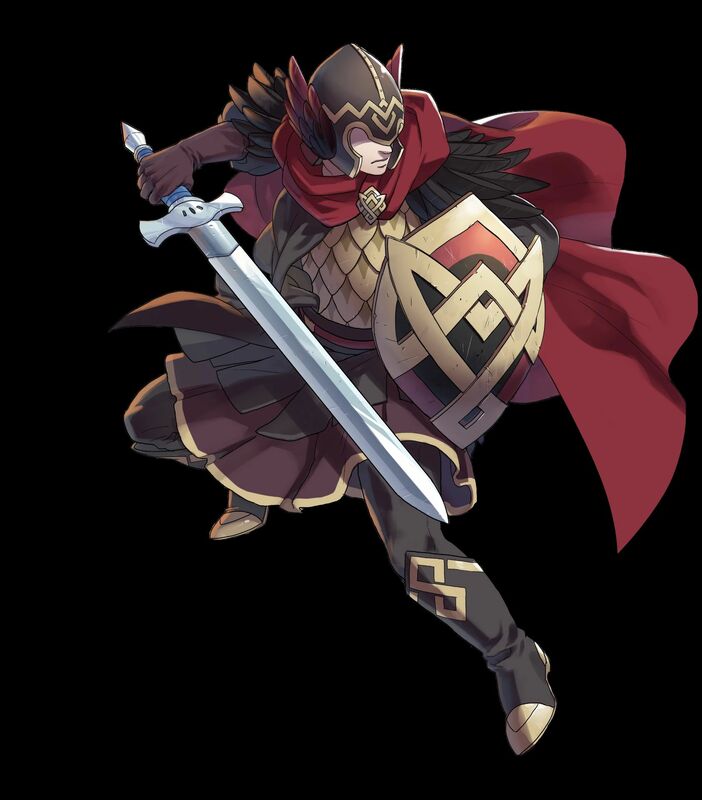 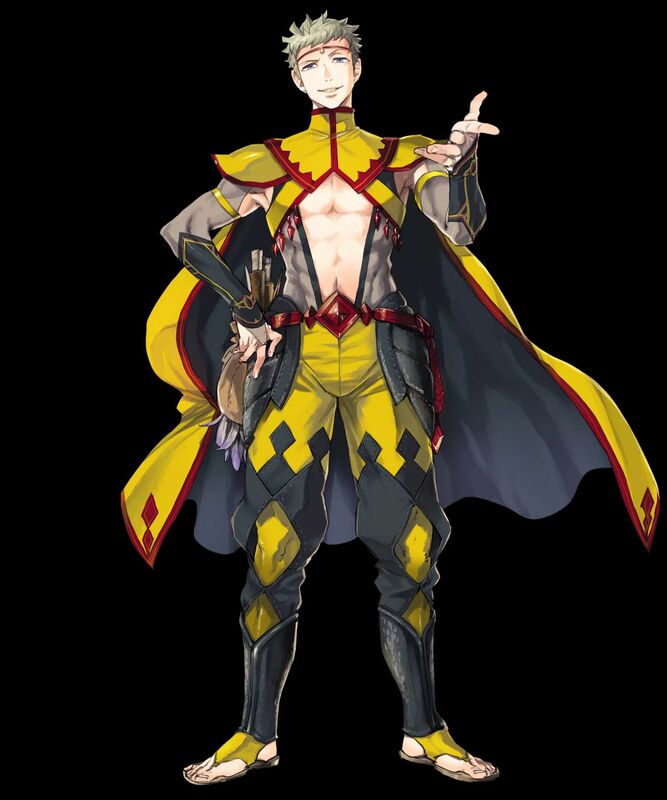 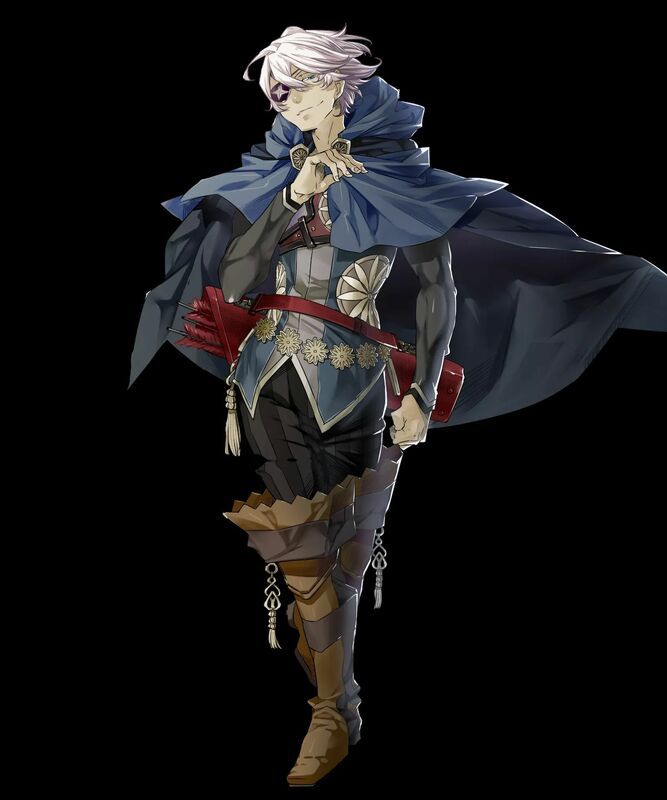 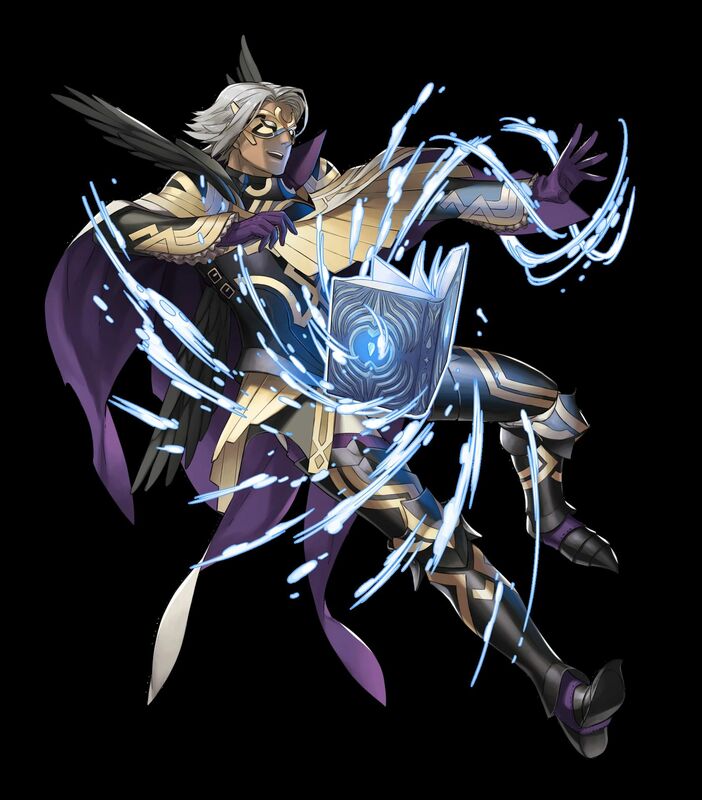 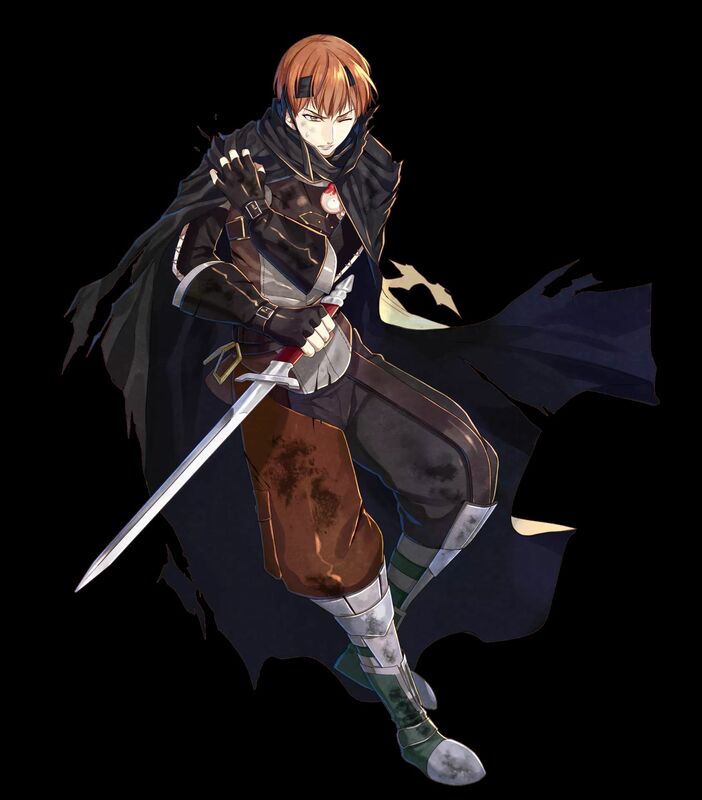 [4 ★ / 3 ★] Legion, Masked Maniac (from Fire Emblem: New Mystery of the Emblem). 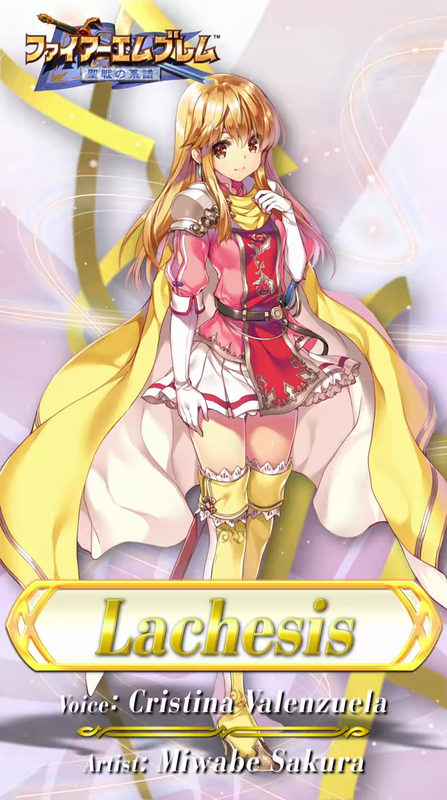 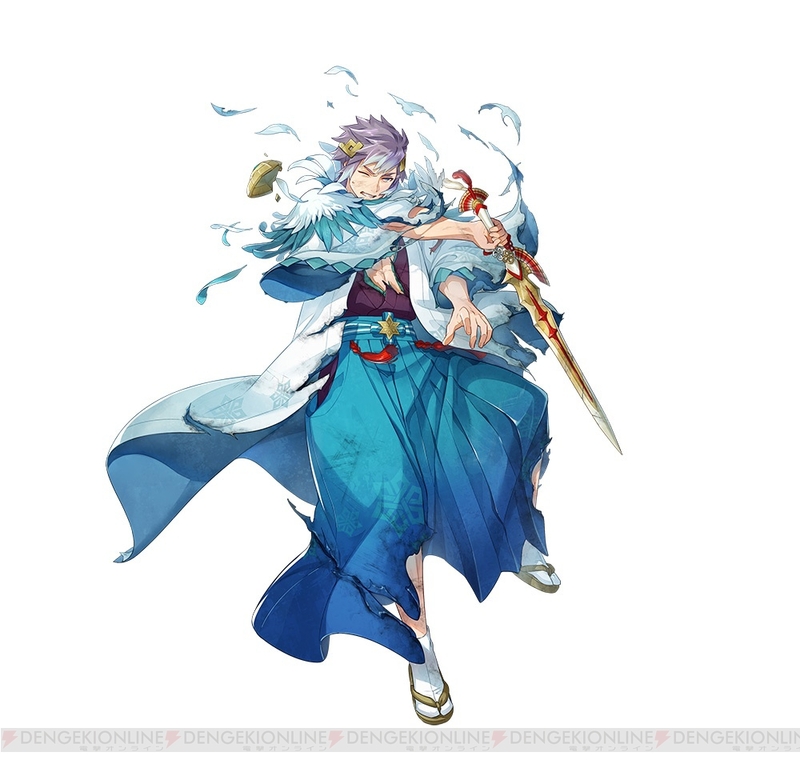 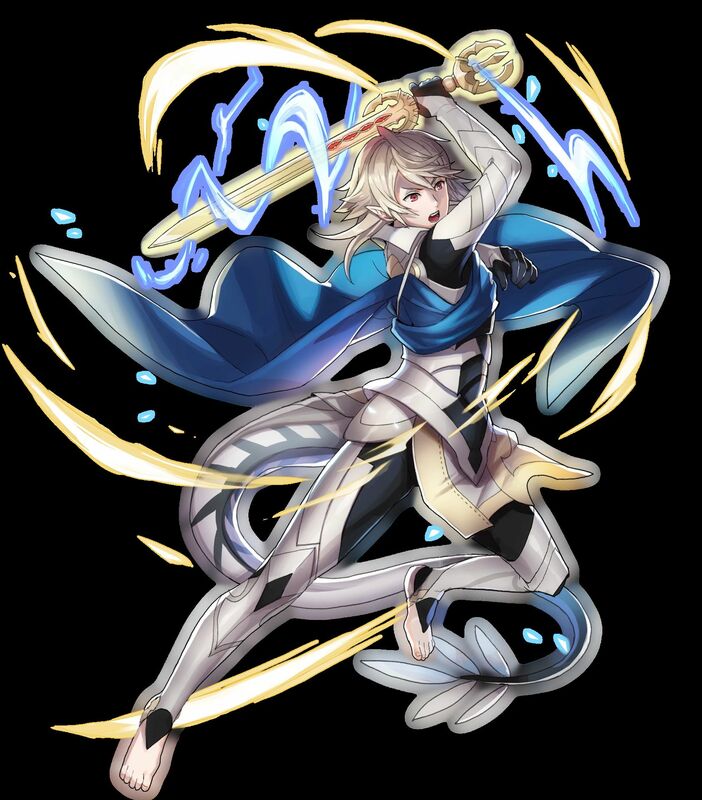 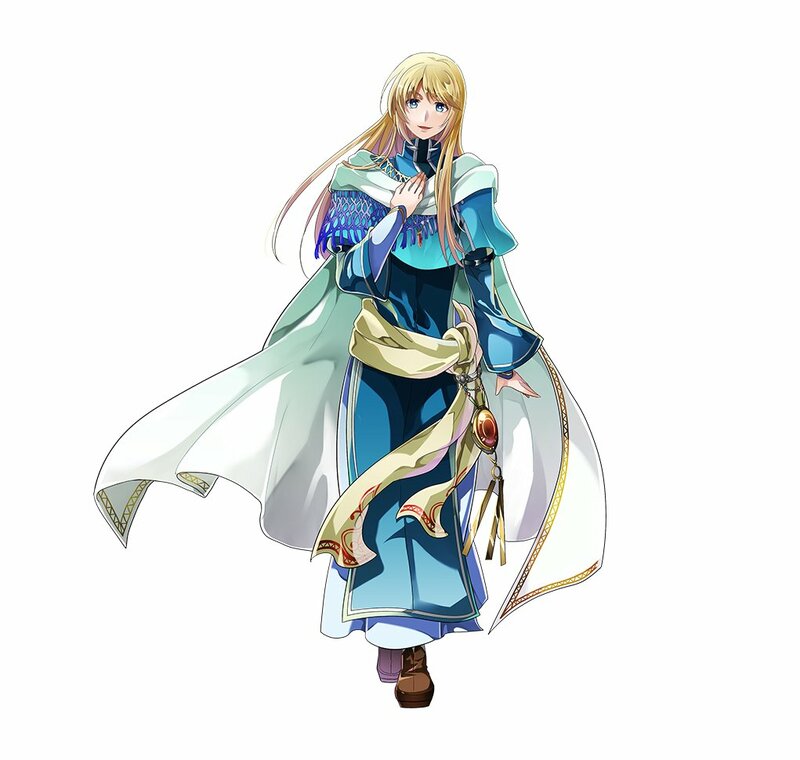 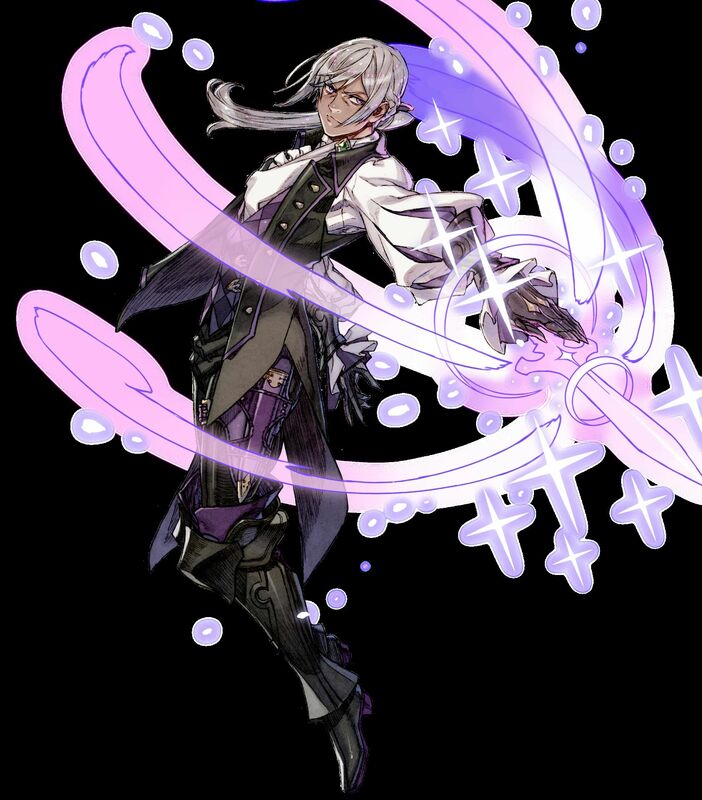 [4 ★] Lucius, Light (from Fire Emblem). 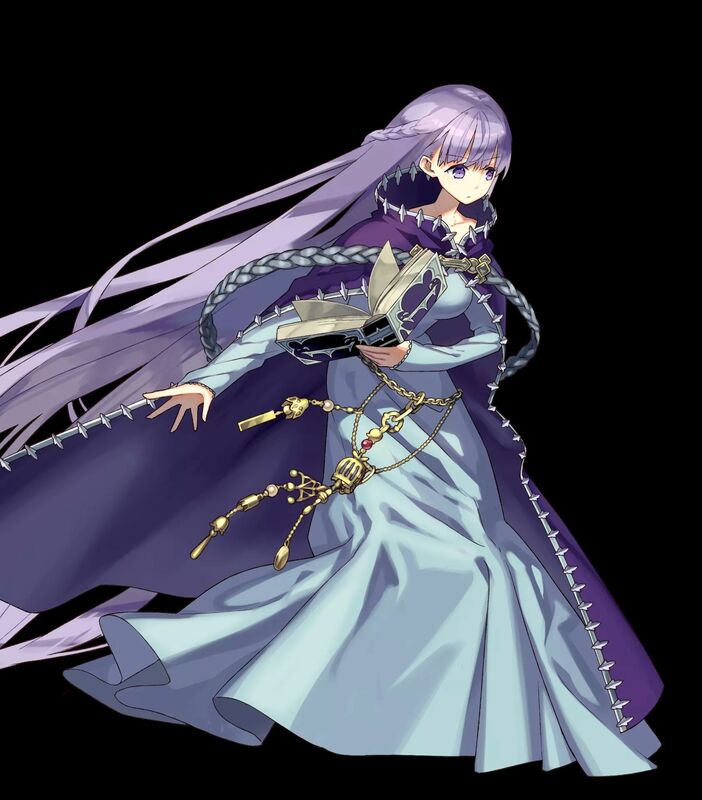 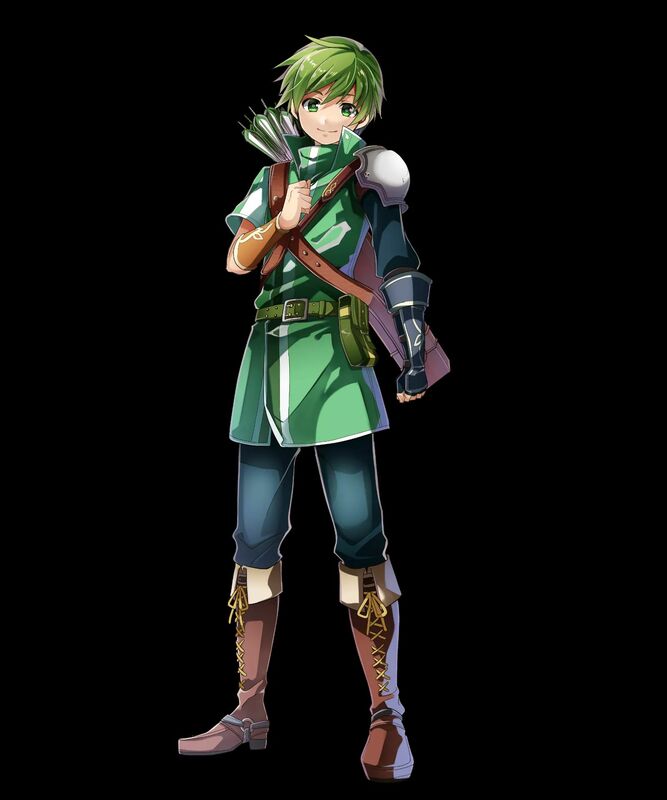 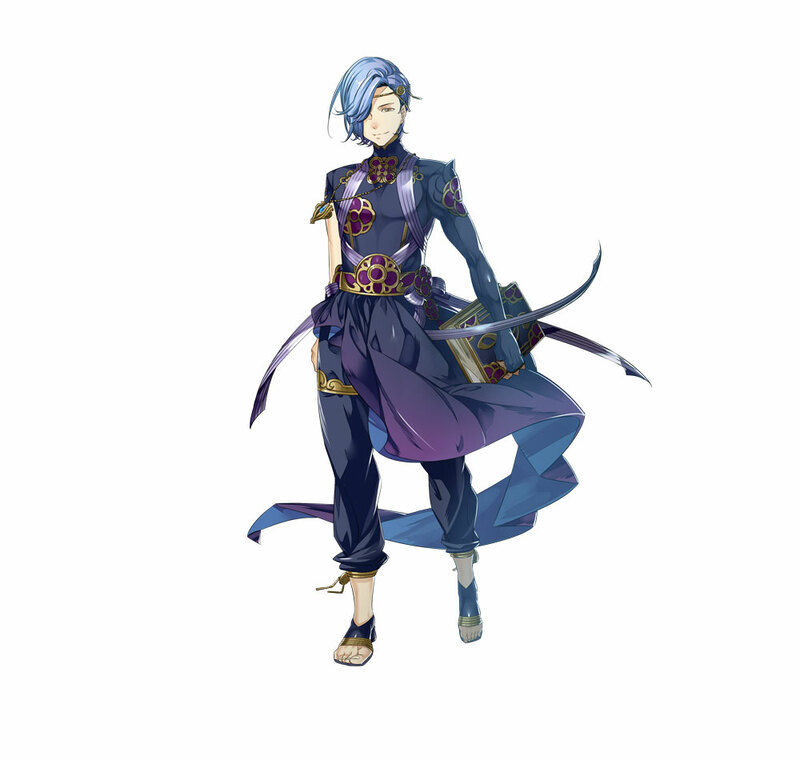 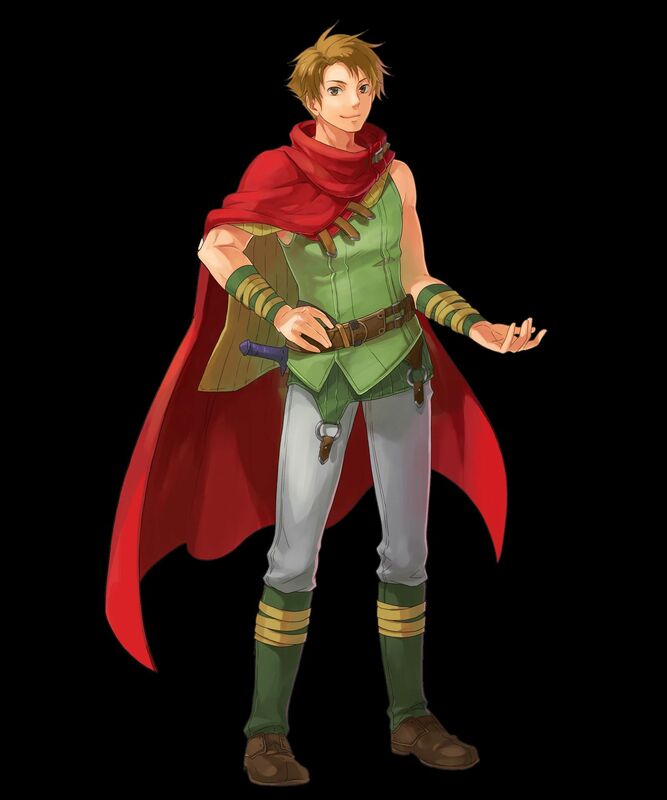 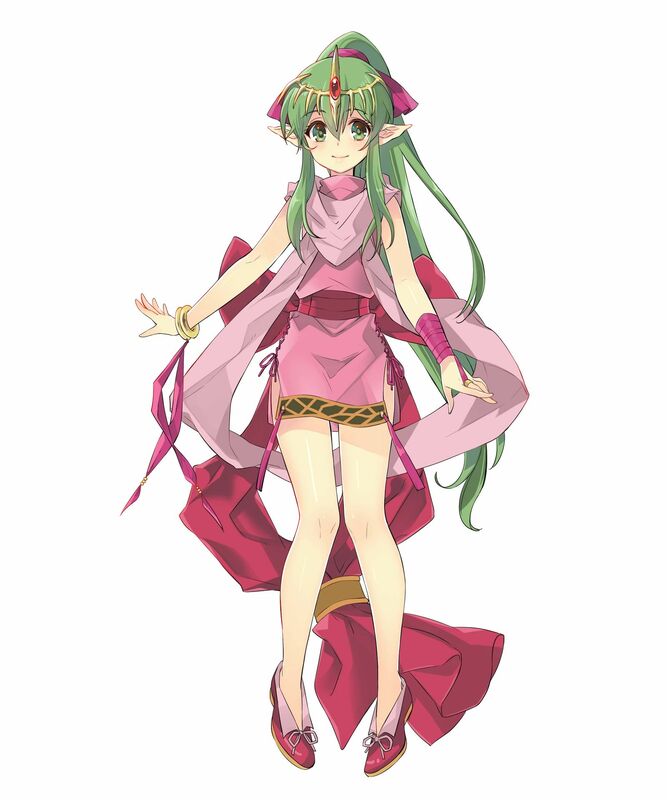 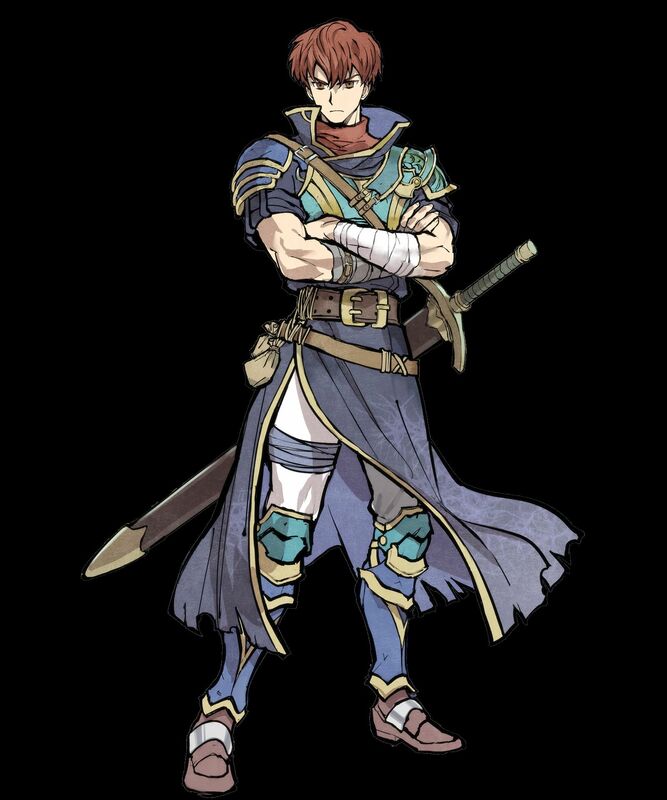 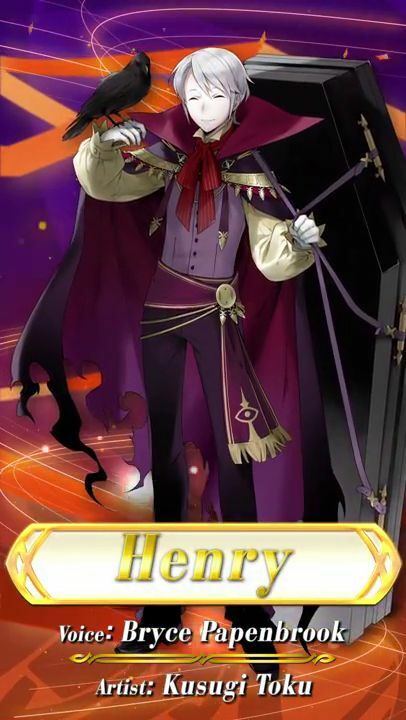 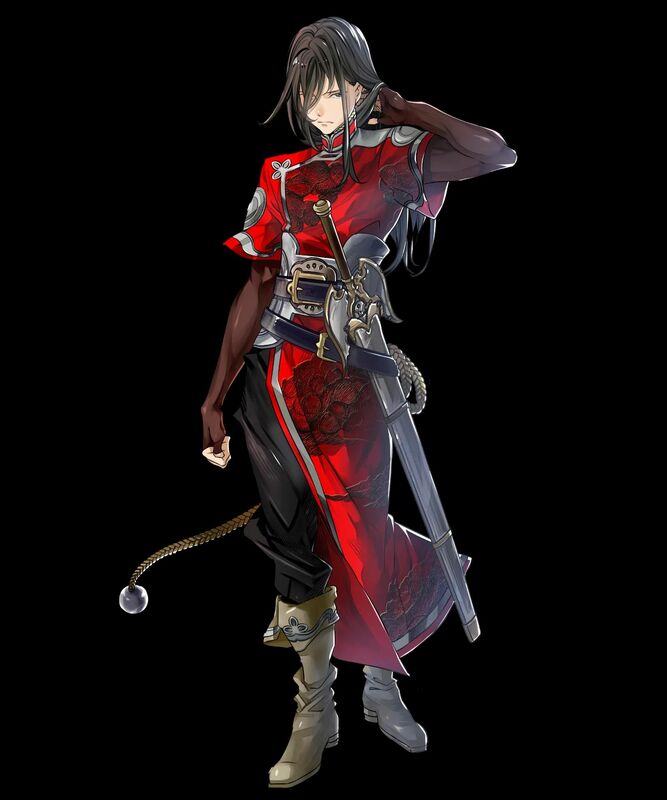 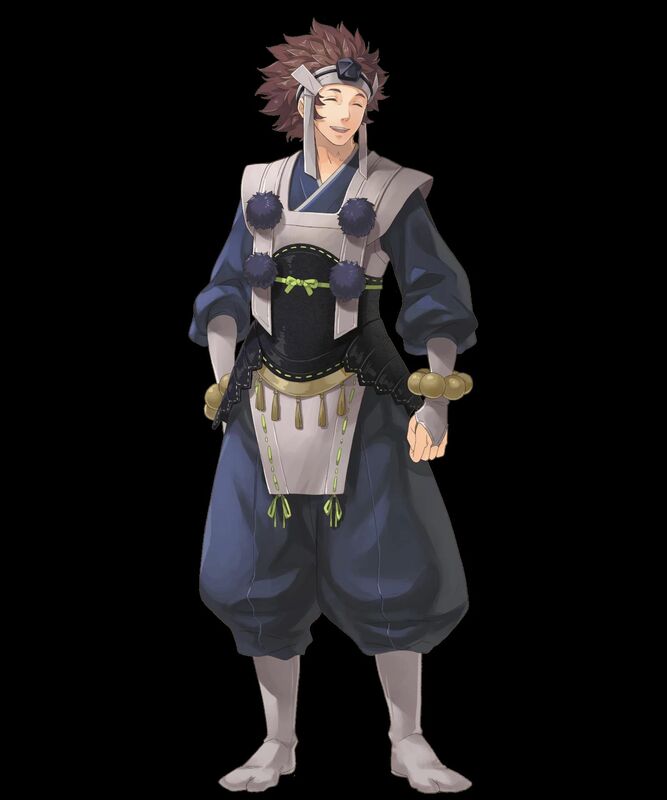 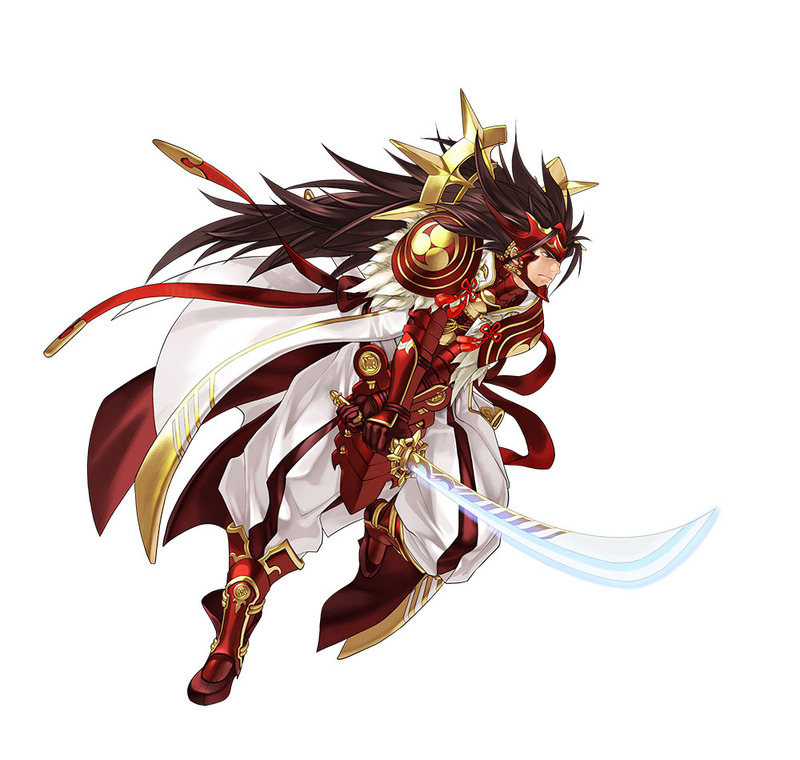 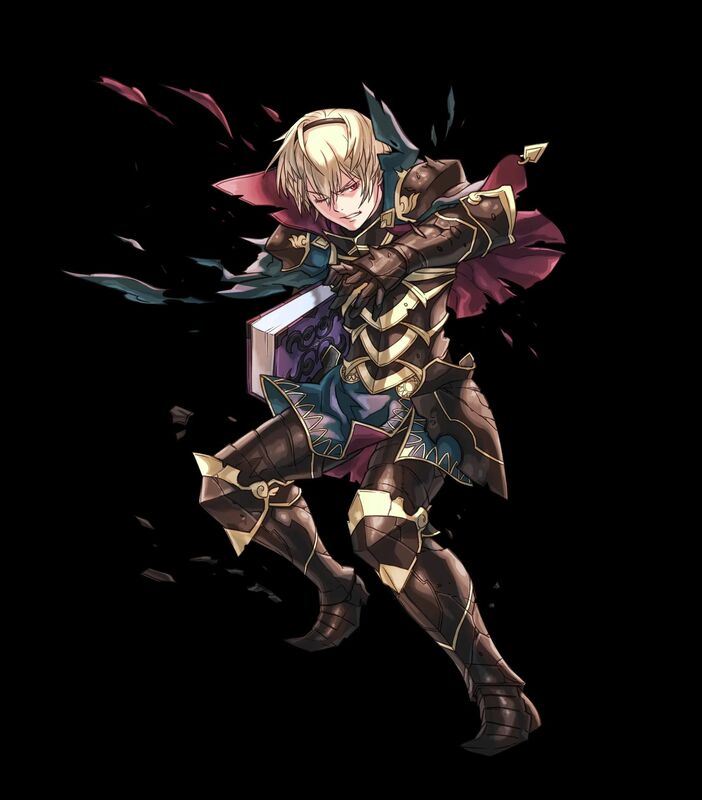 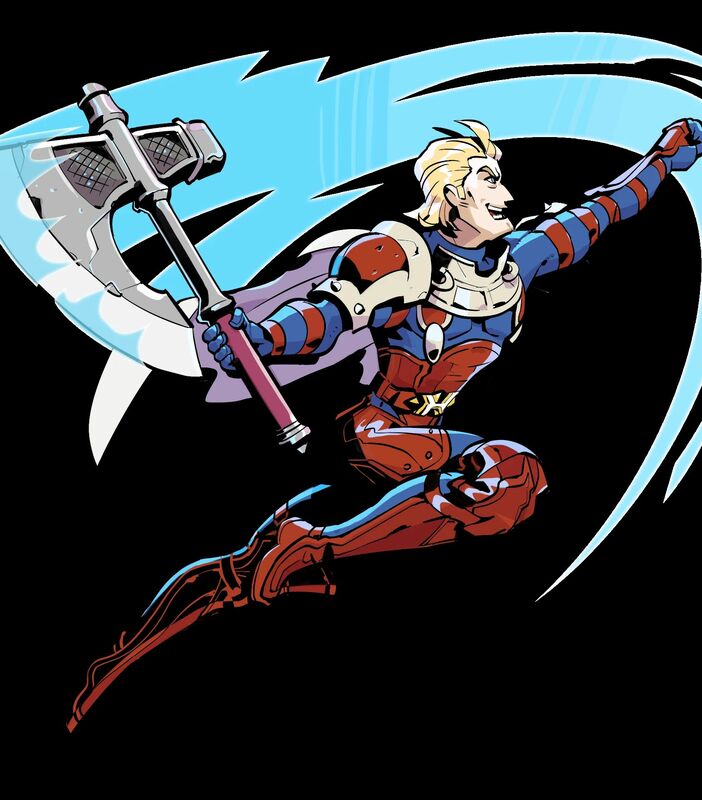 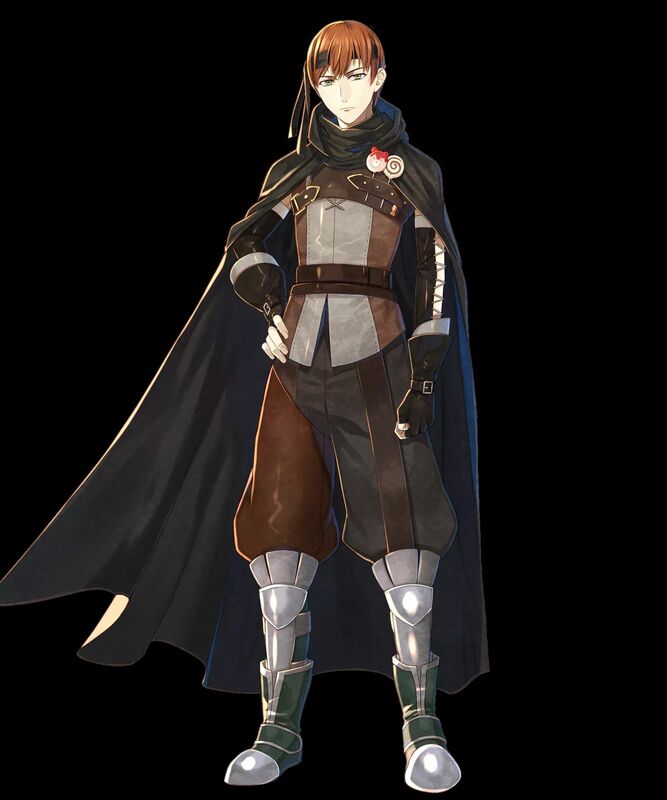 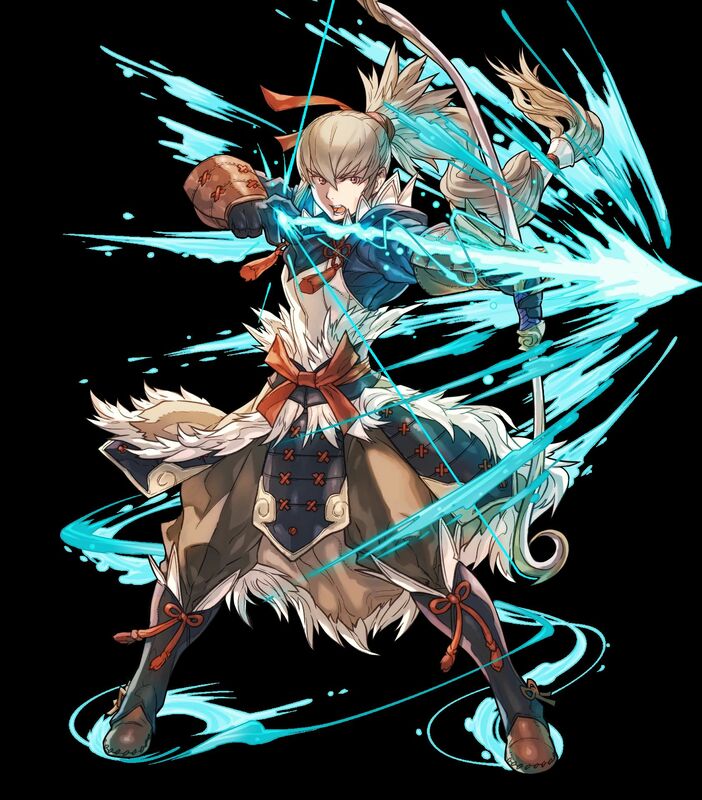 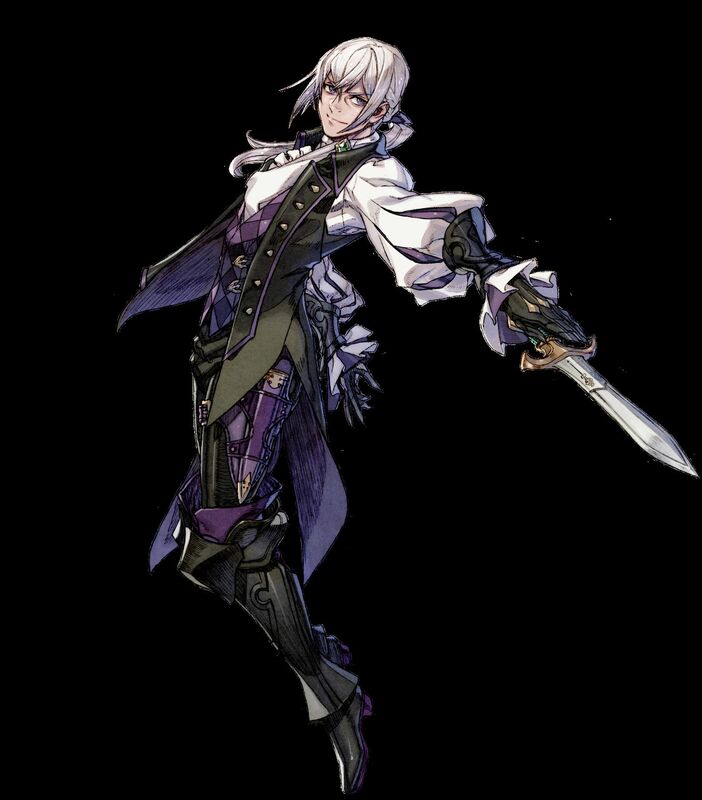 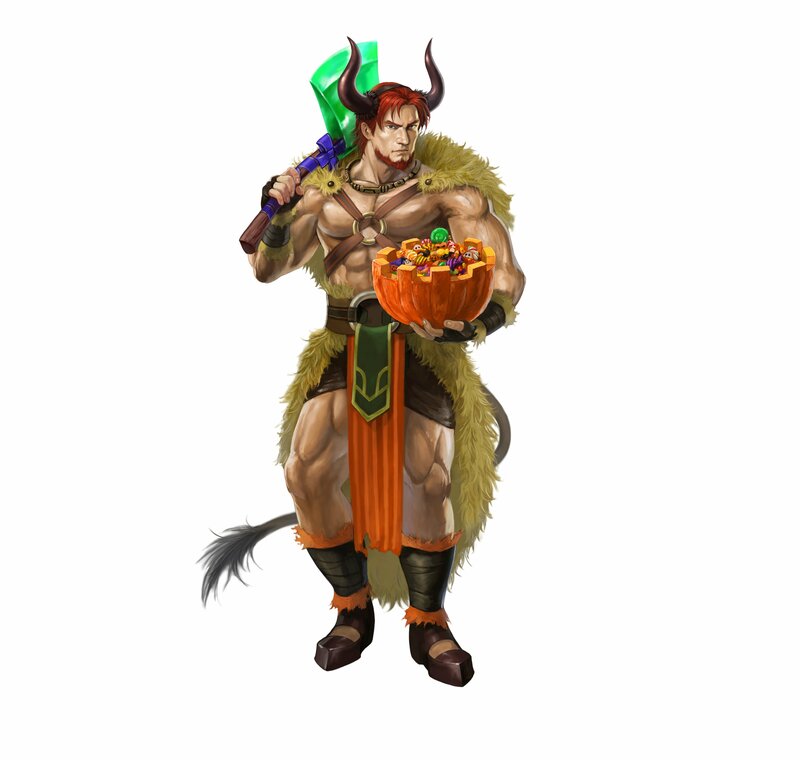 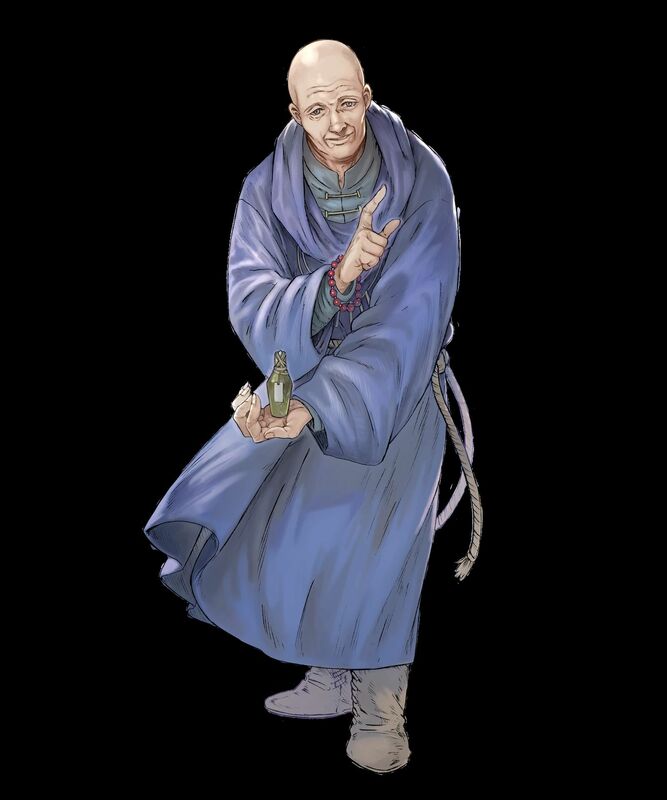 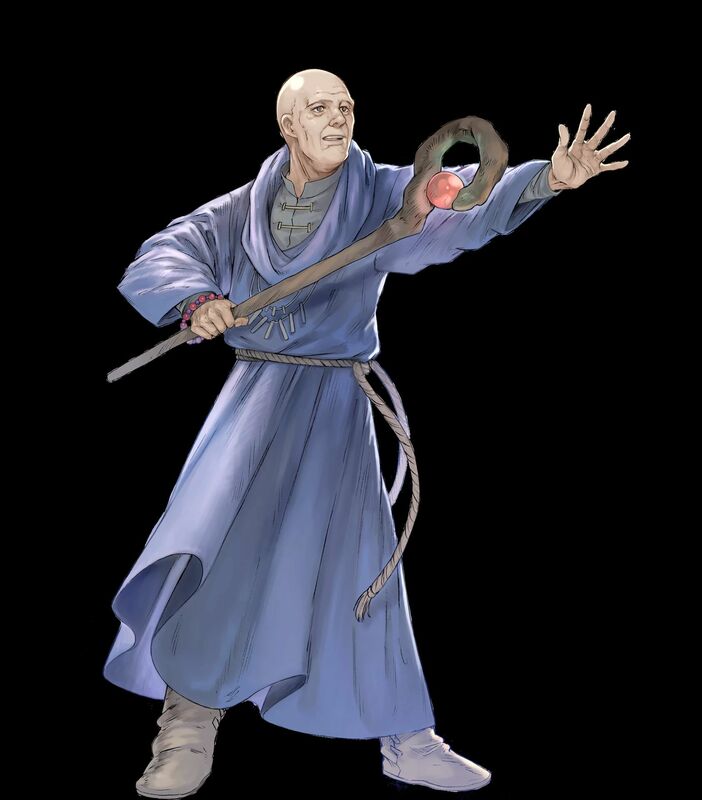 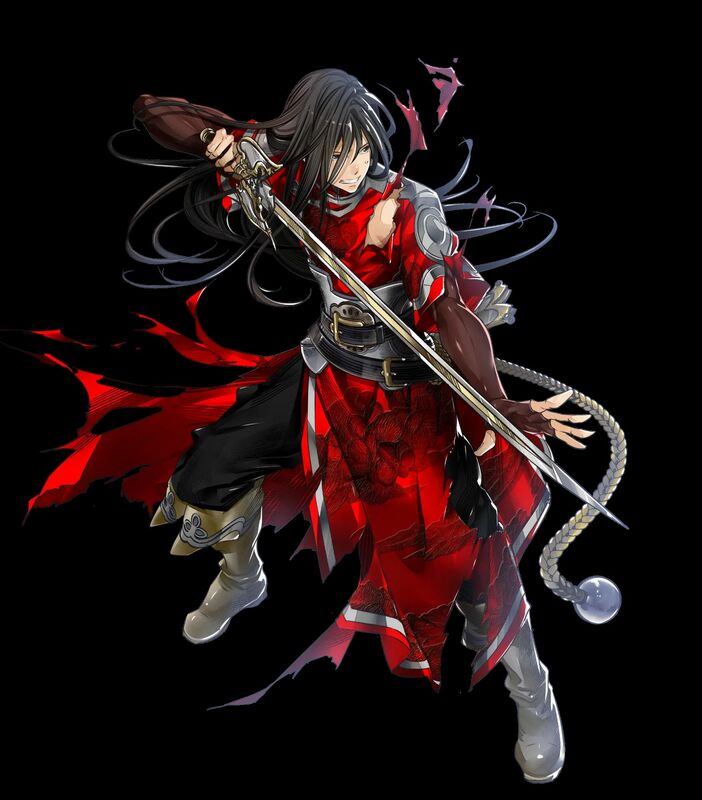 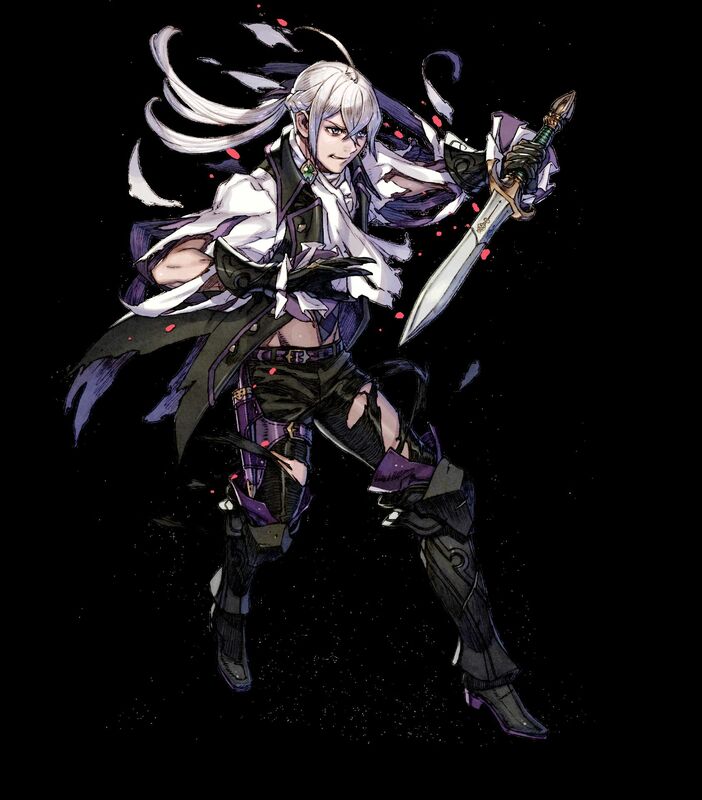 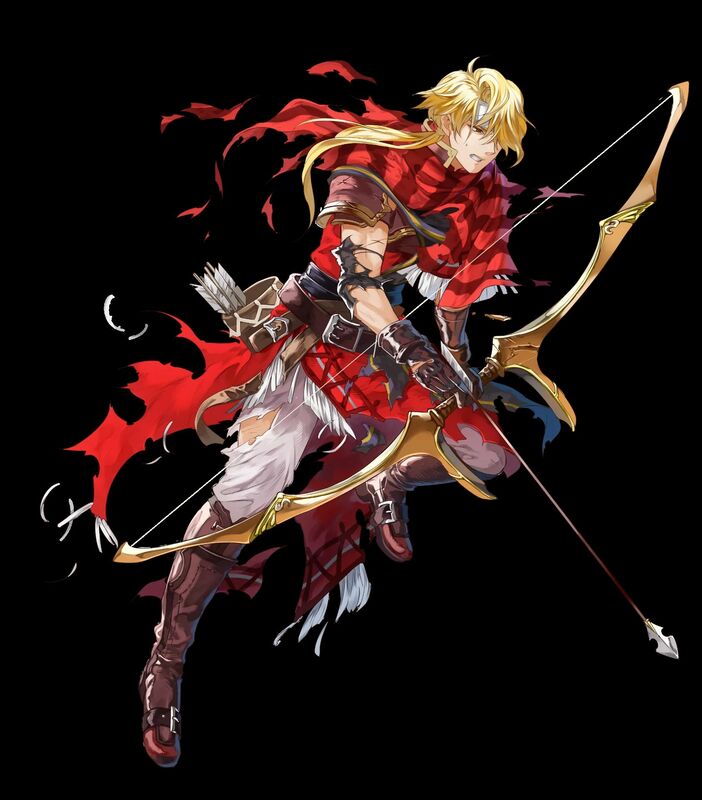 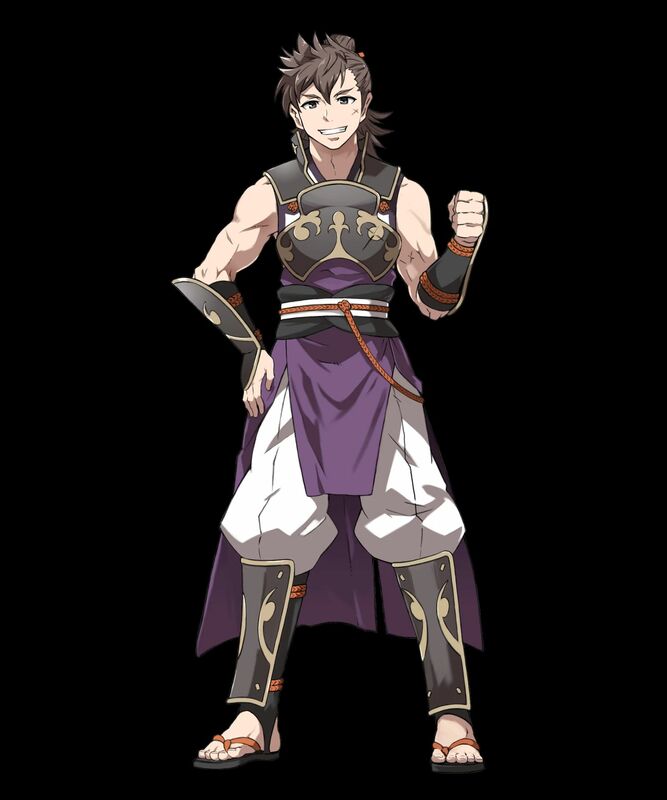 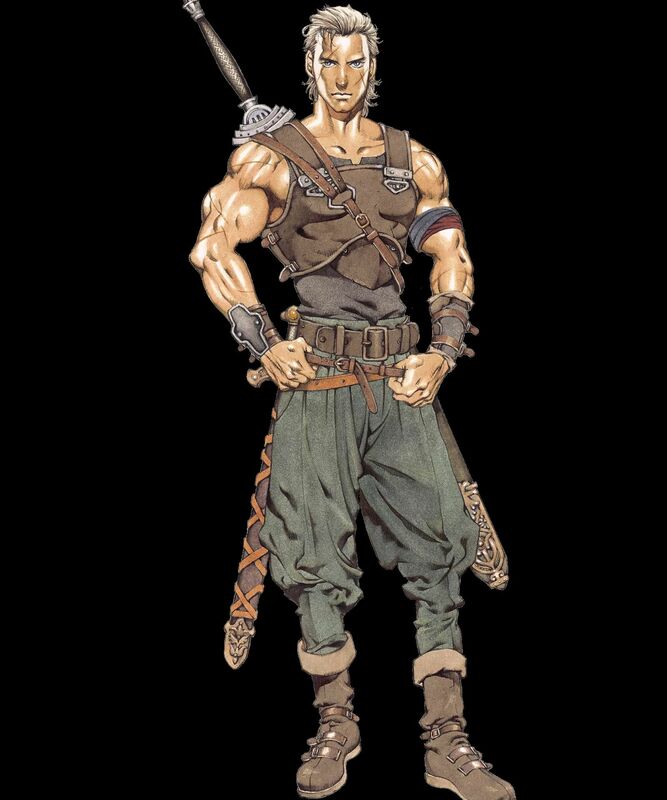 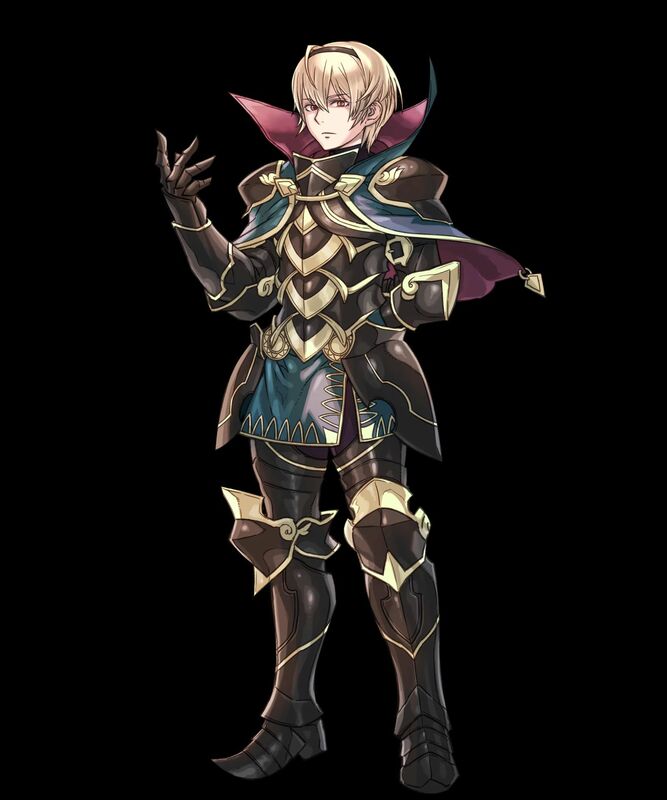 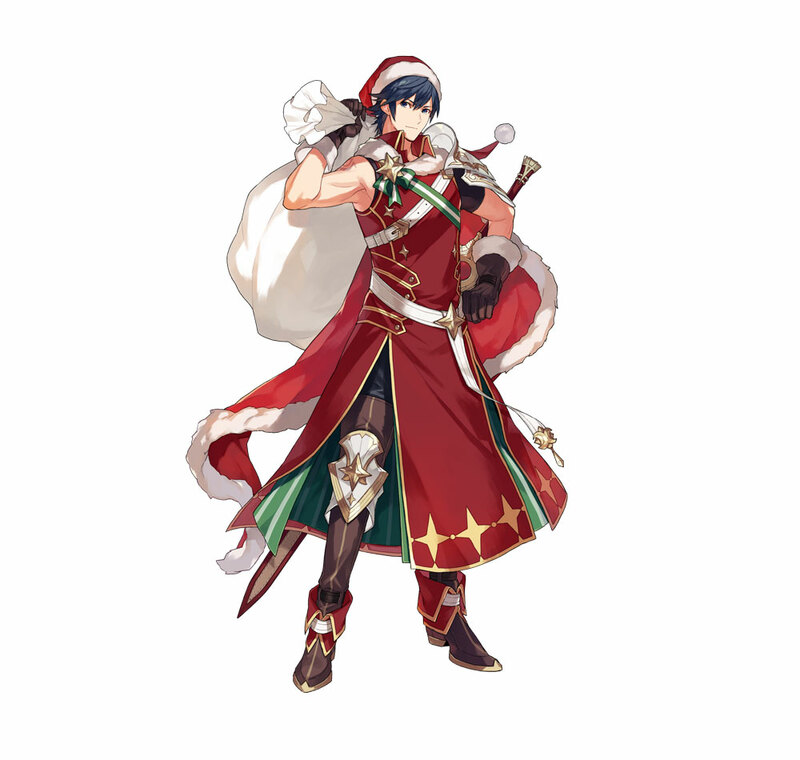 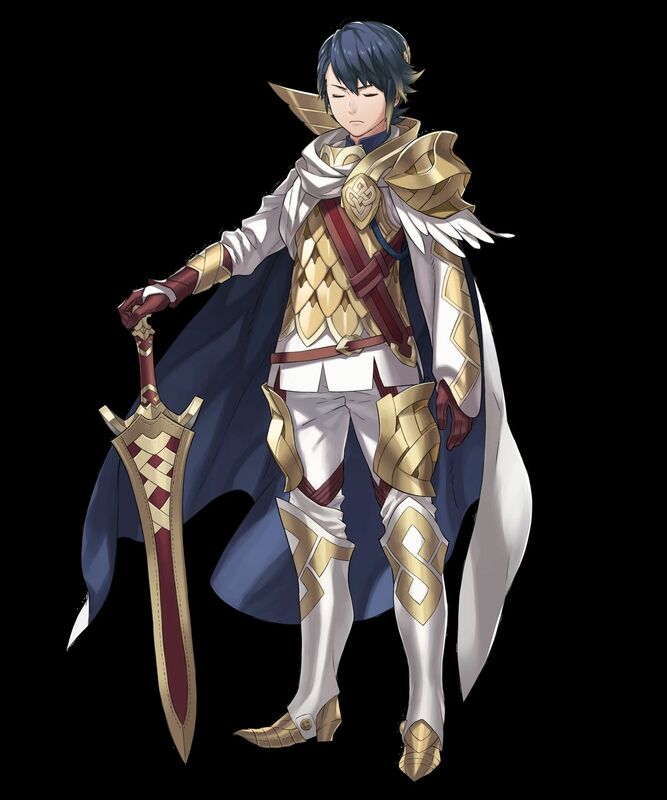 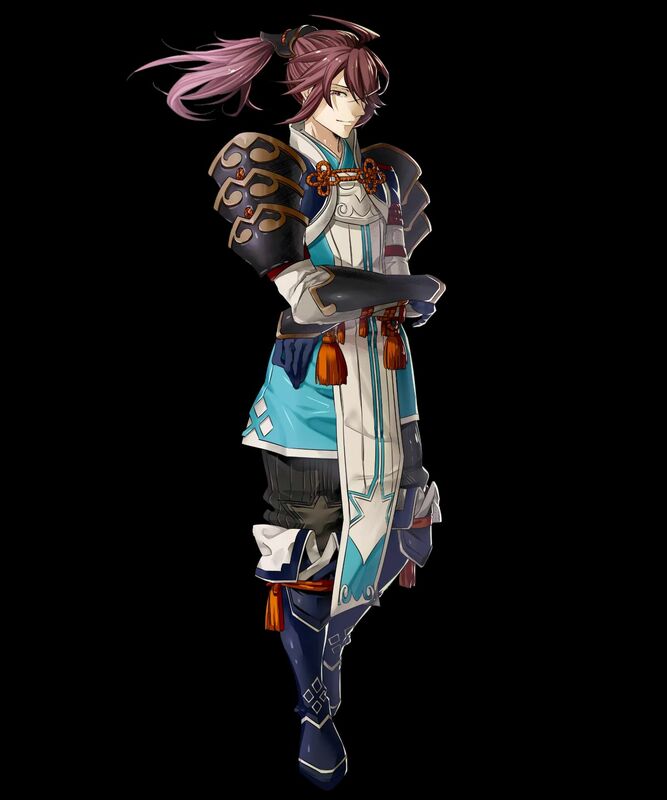 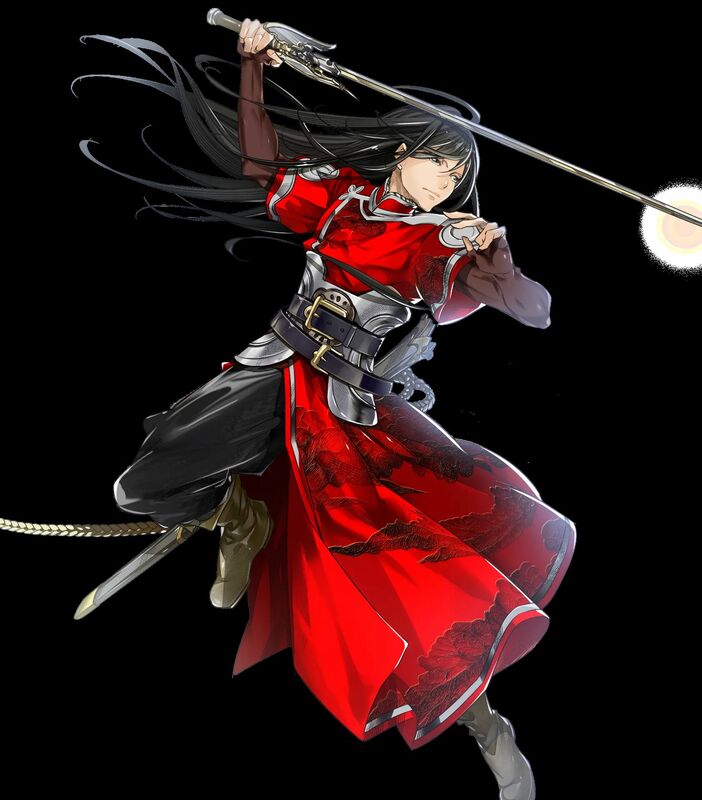 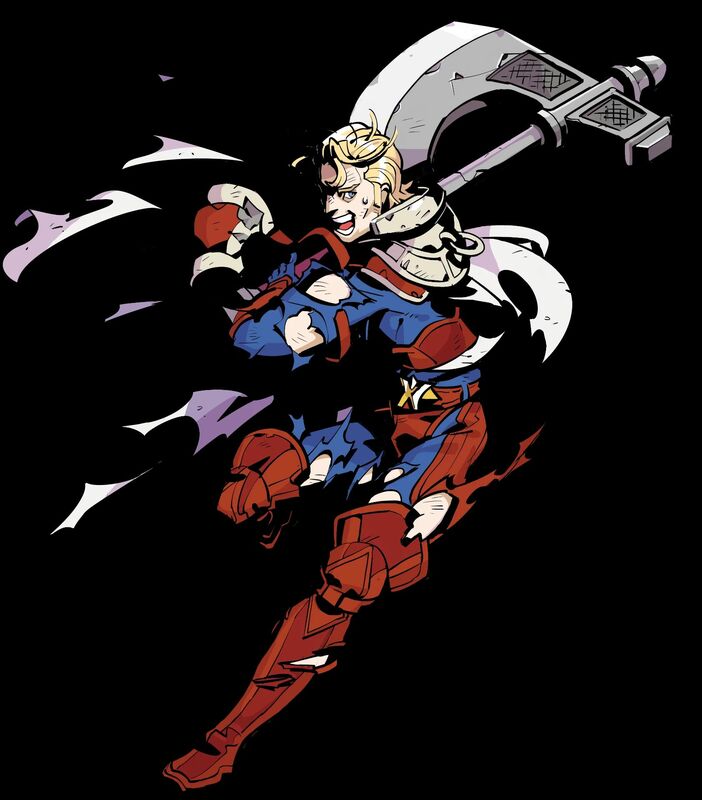 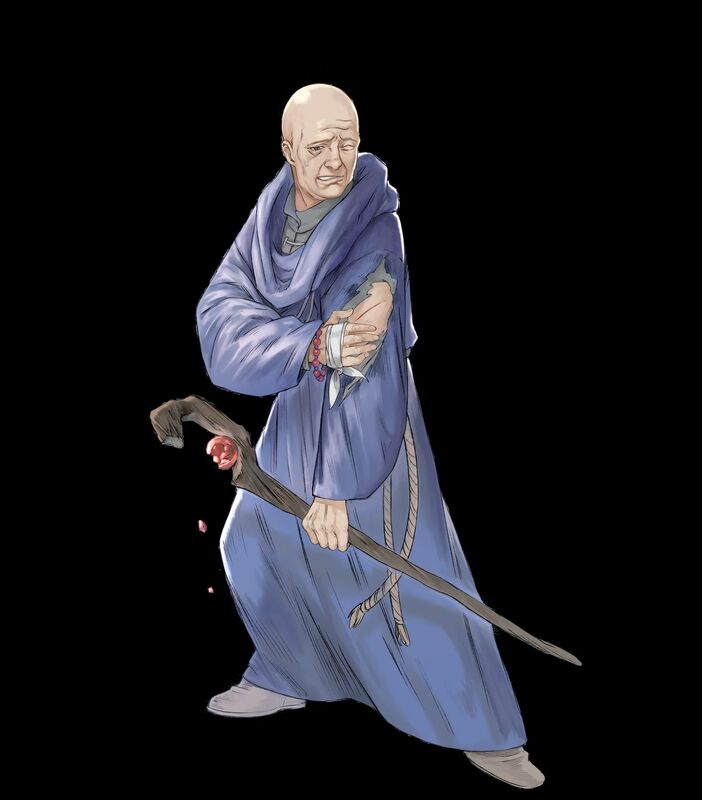 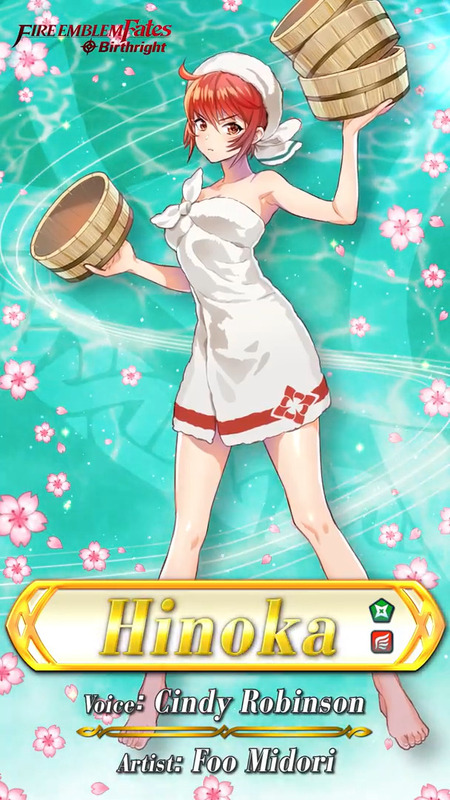 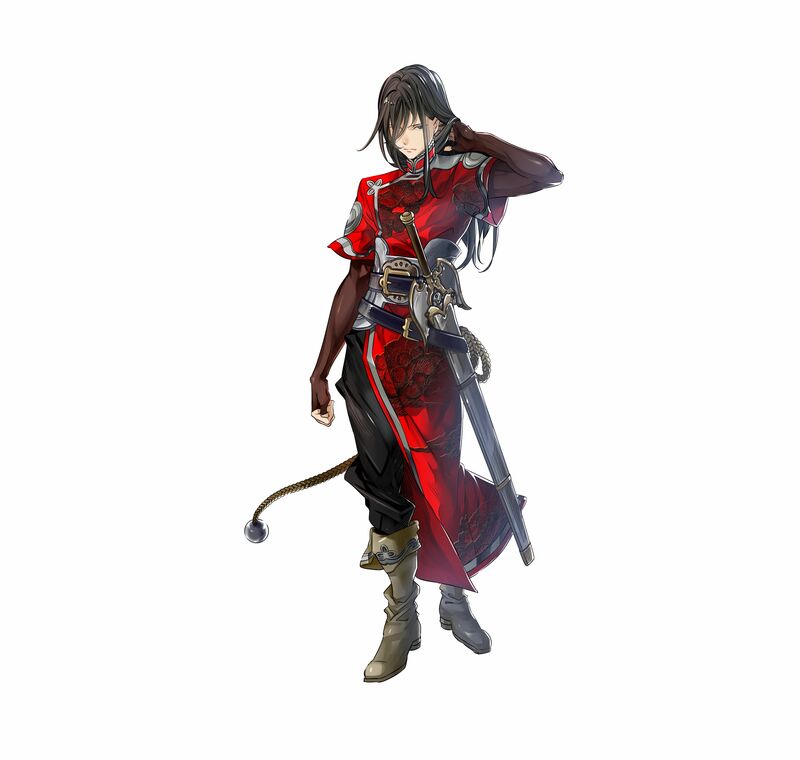 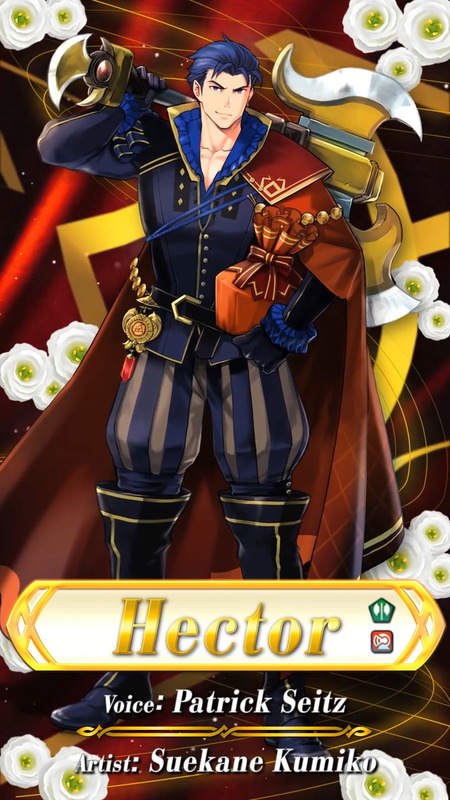 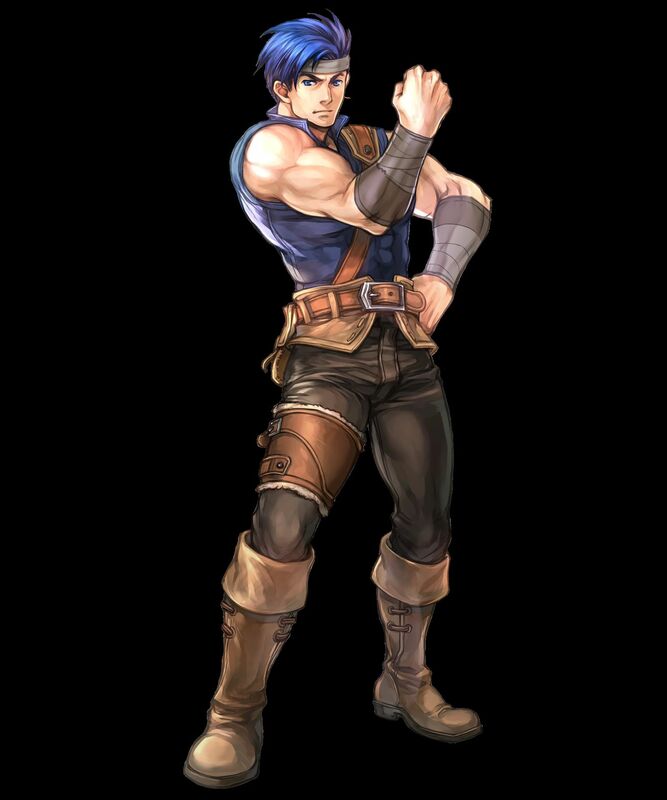 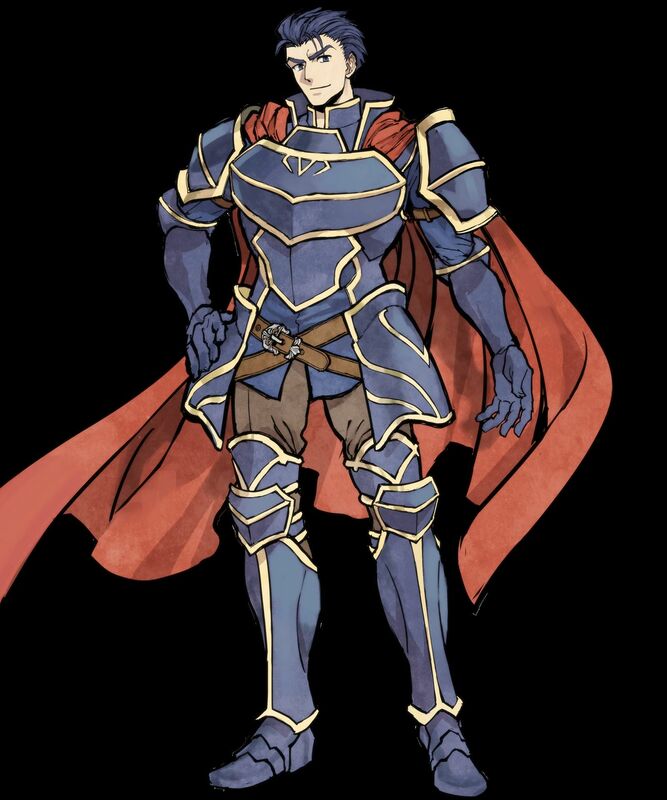 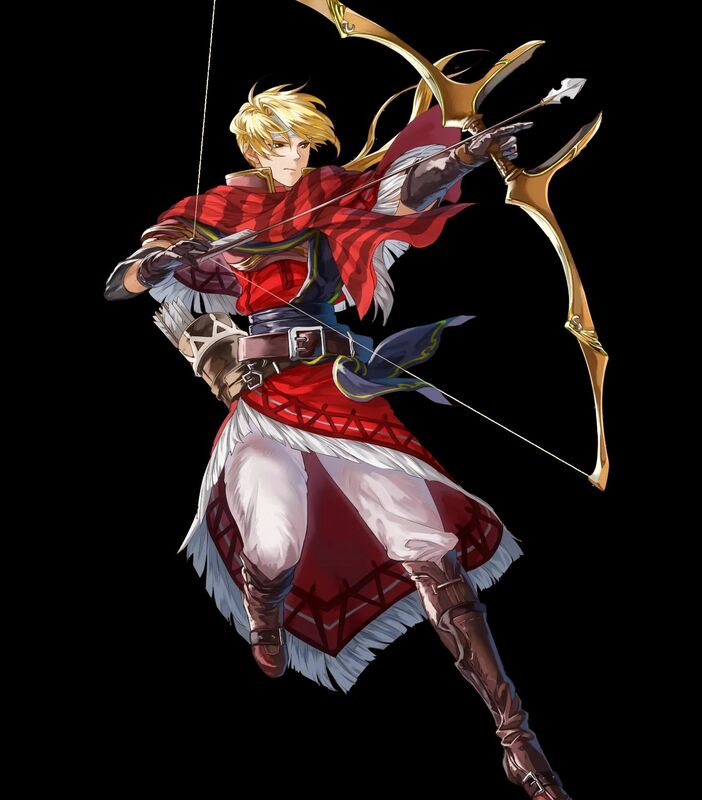 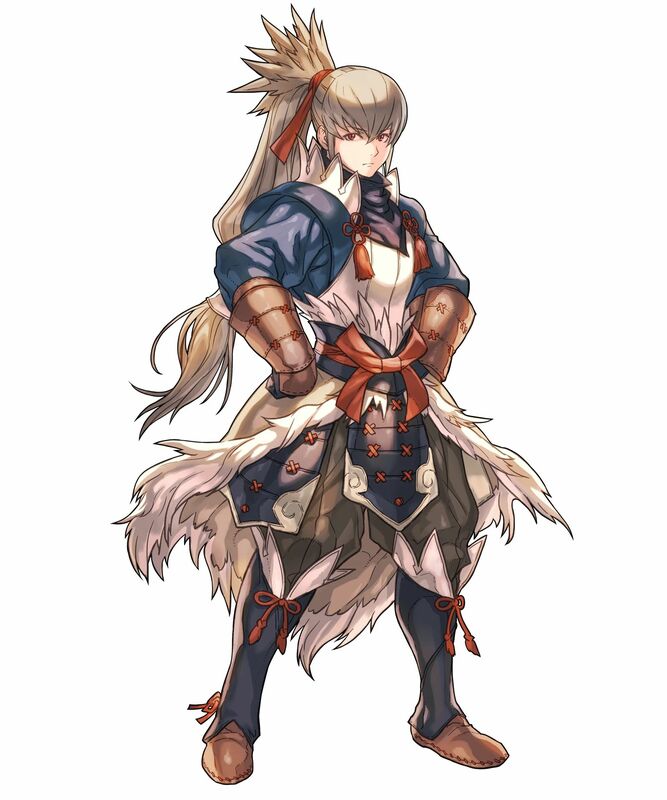 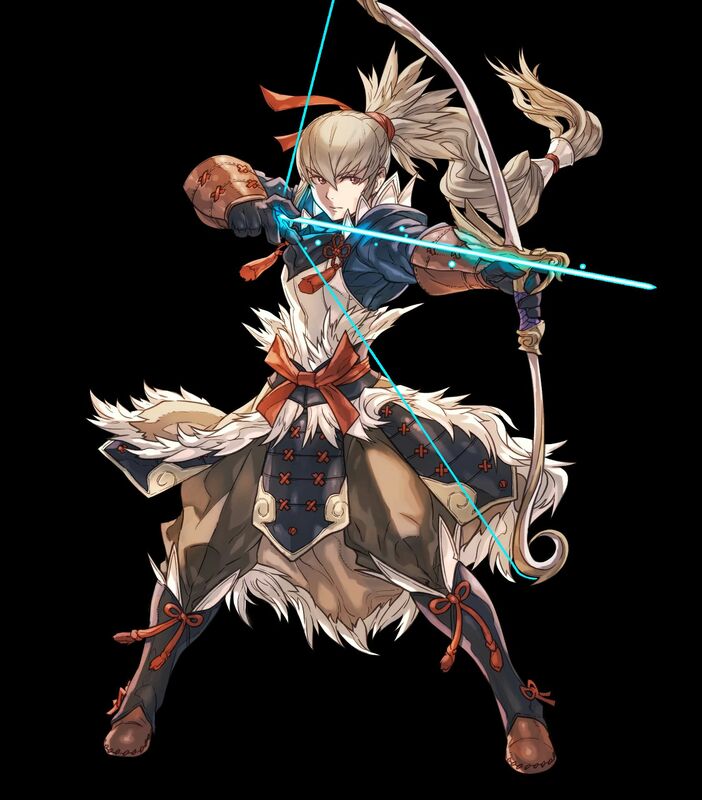 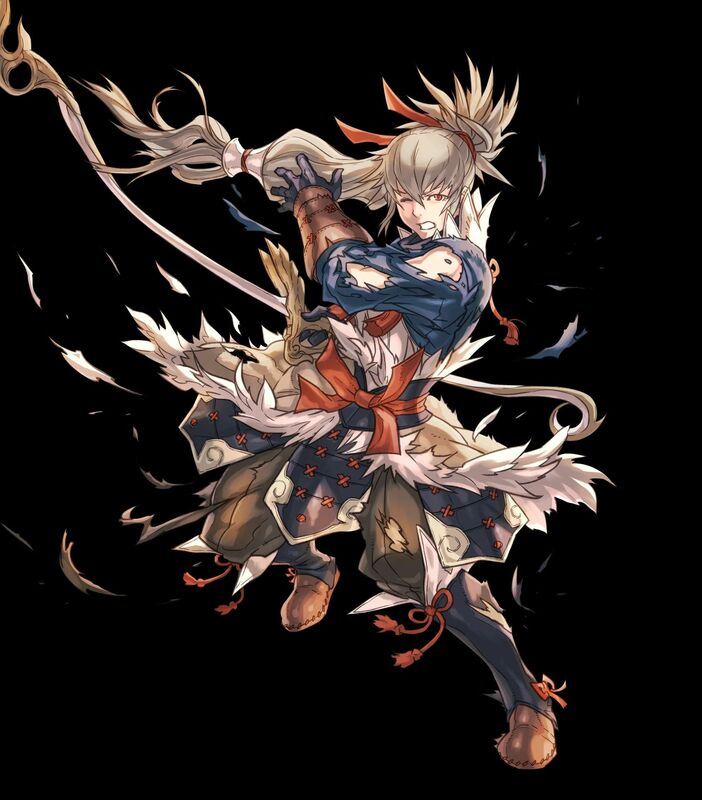 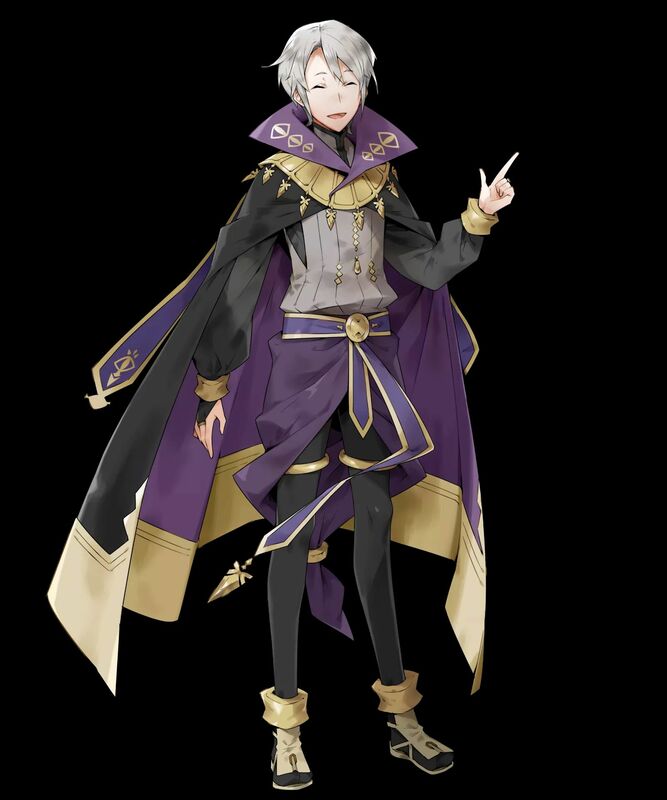 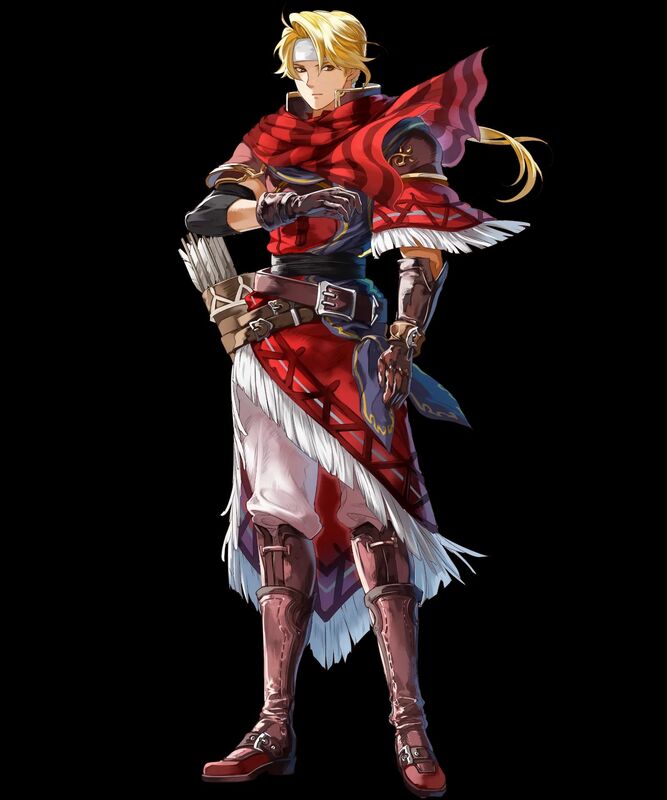 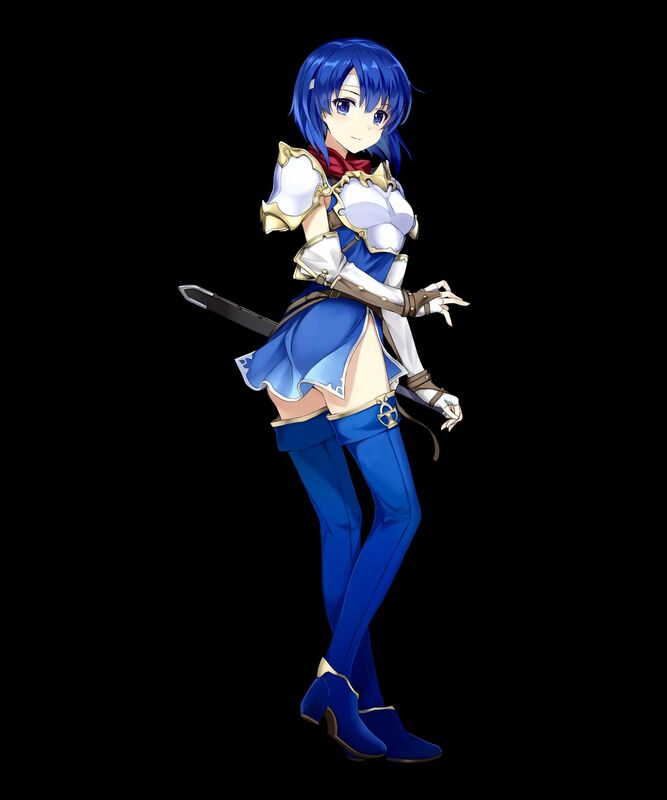 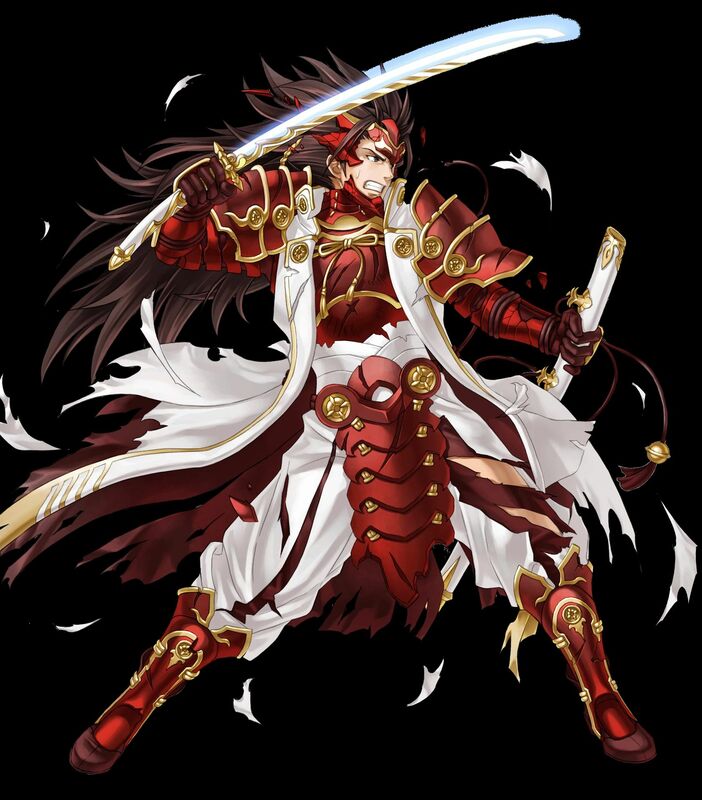 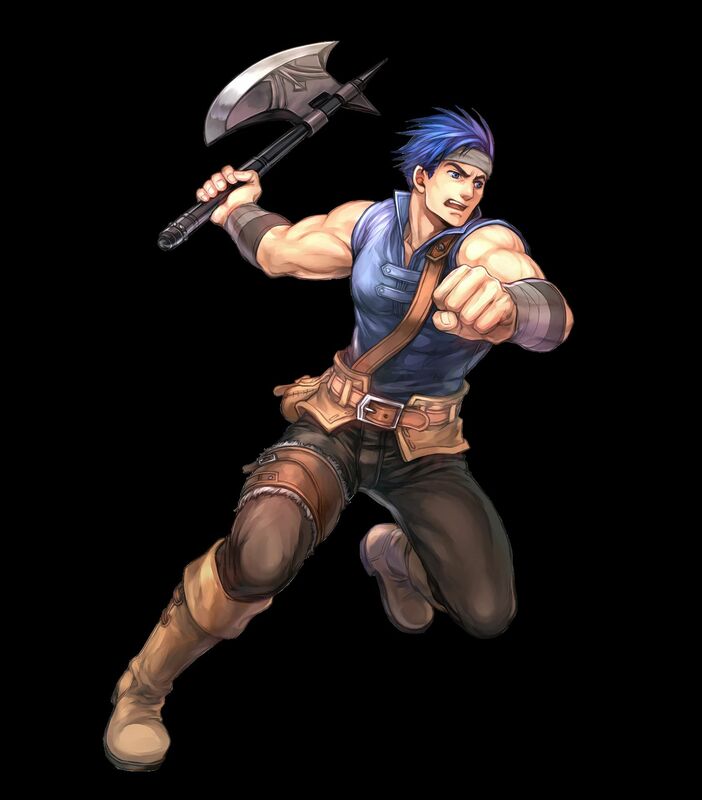 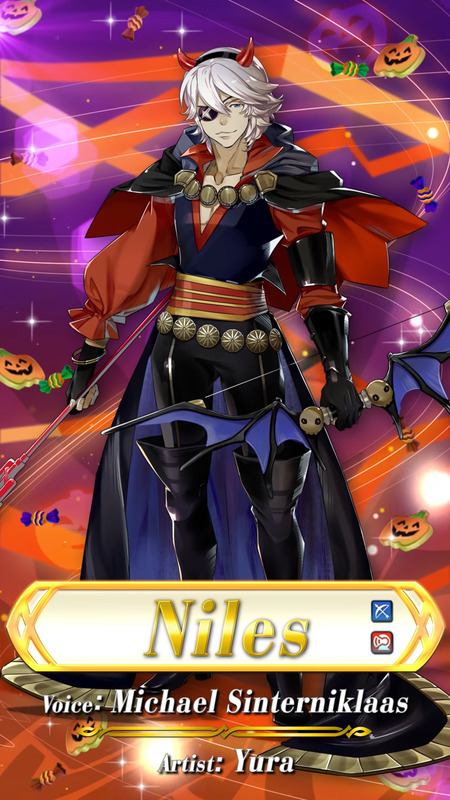 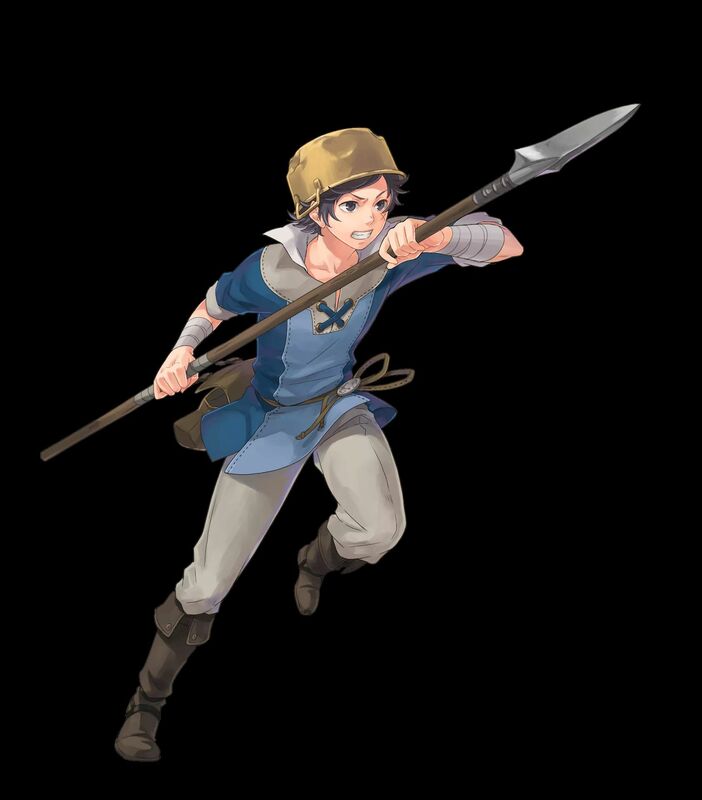 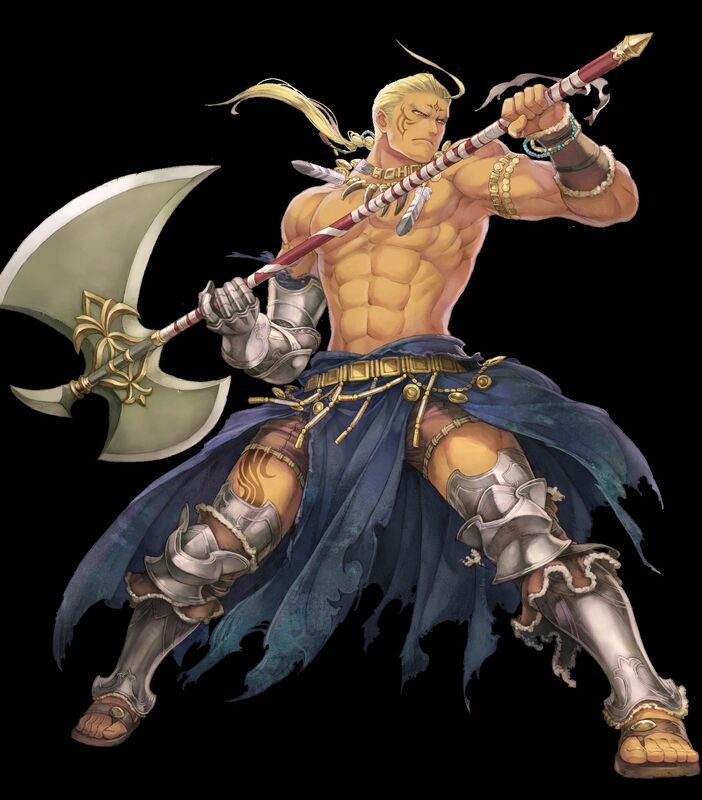 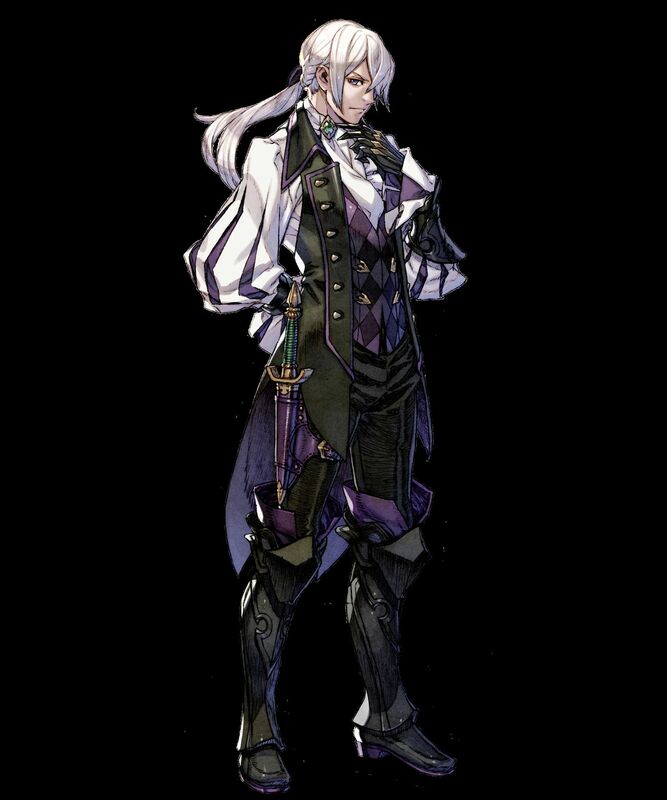 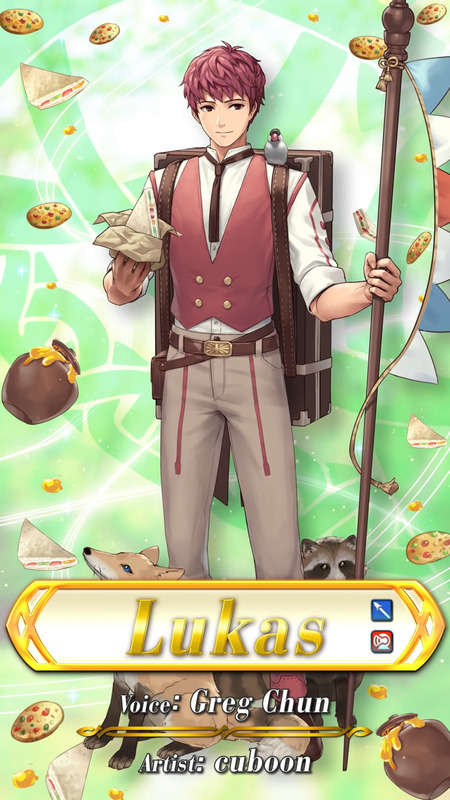 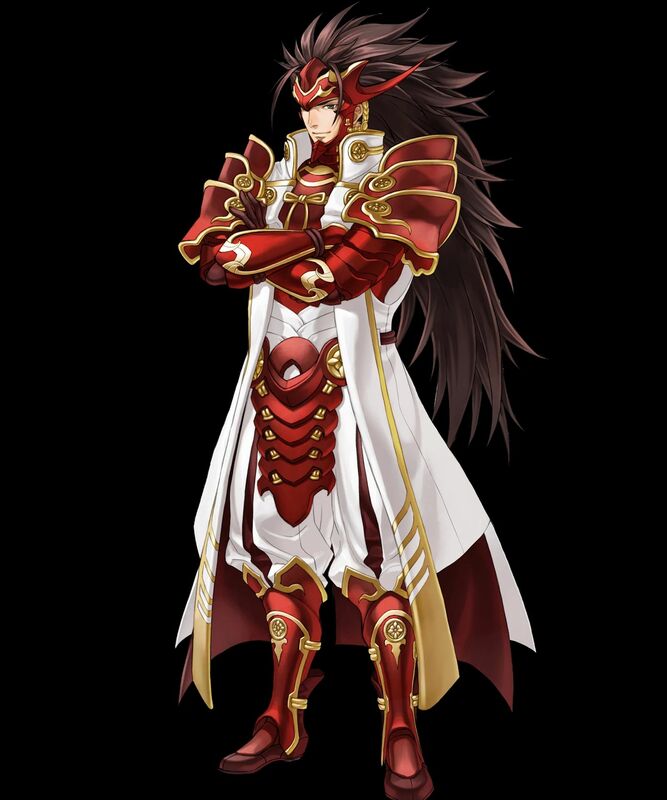 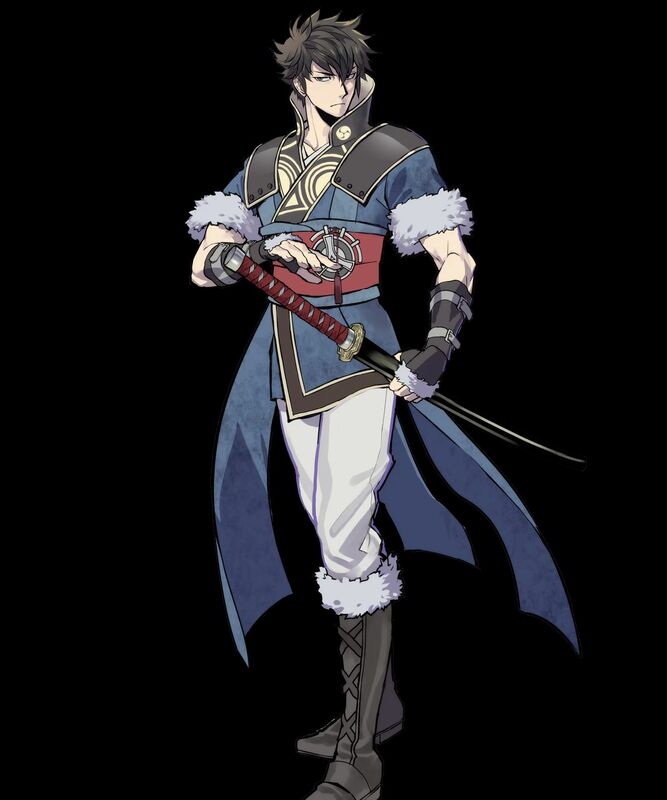 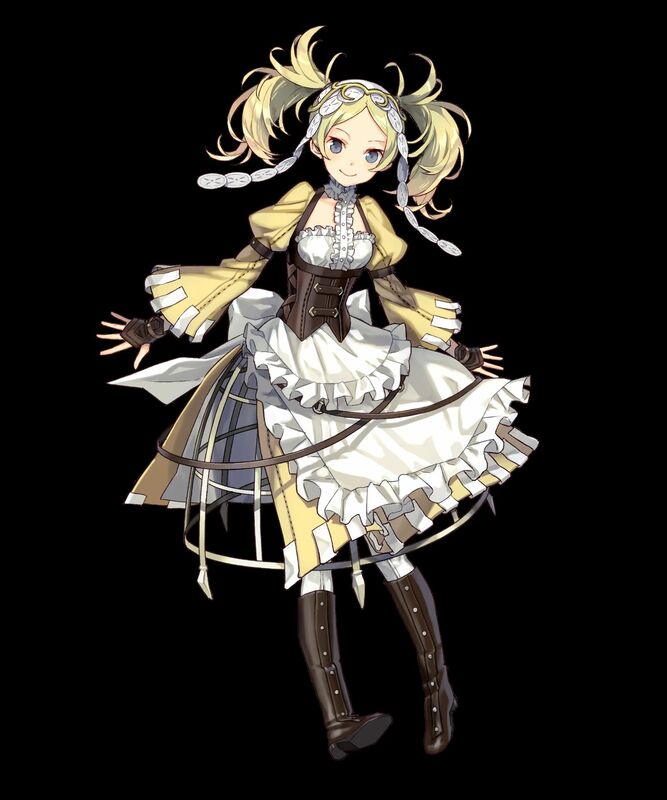 Voiced by Michael Sinterniklaas / Artist: Itagaki Hako. 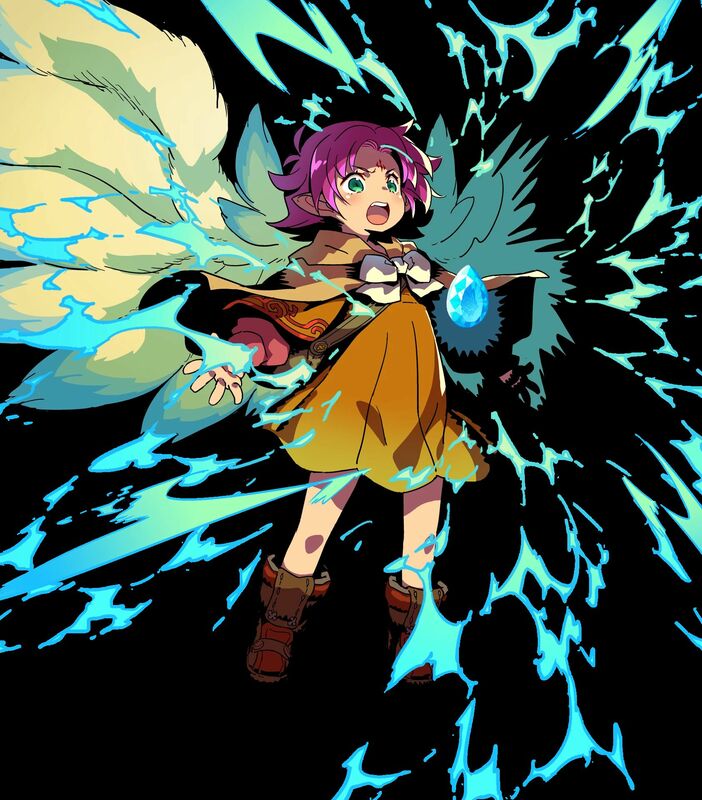 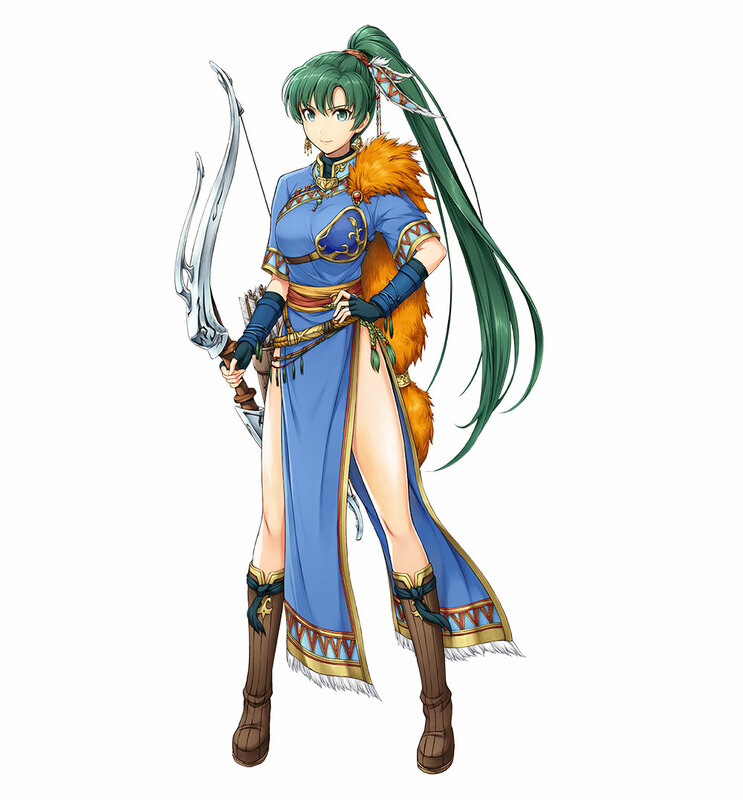 [5 ★] Nailah, Unflinching Eye (from Fire Emblem: Radiant Dawn). 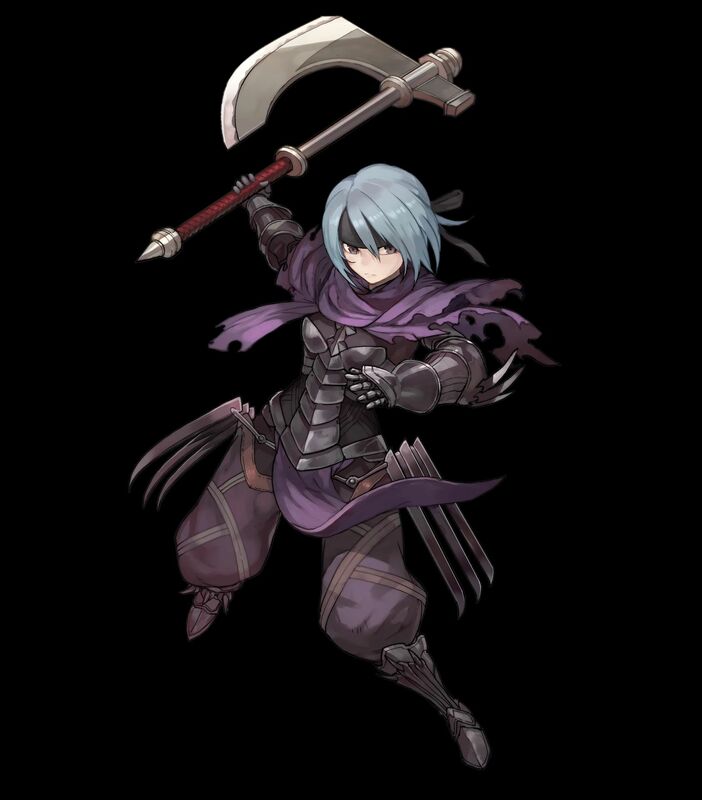 Voiced by Rachel Robinson. 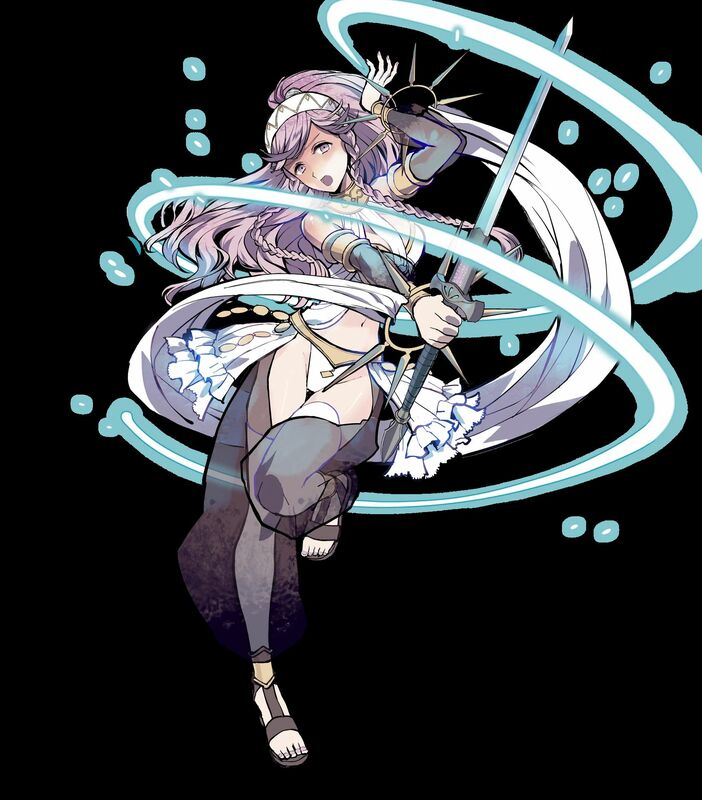 Artist: PenekoR. 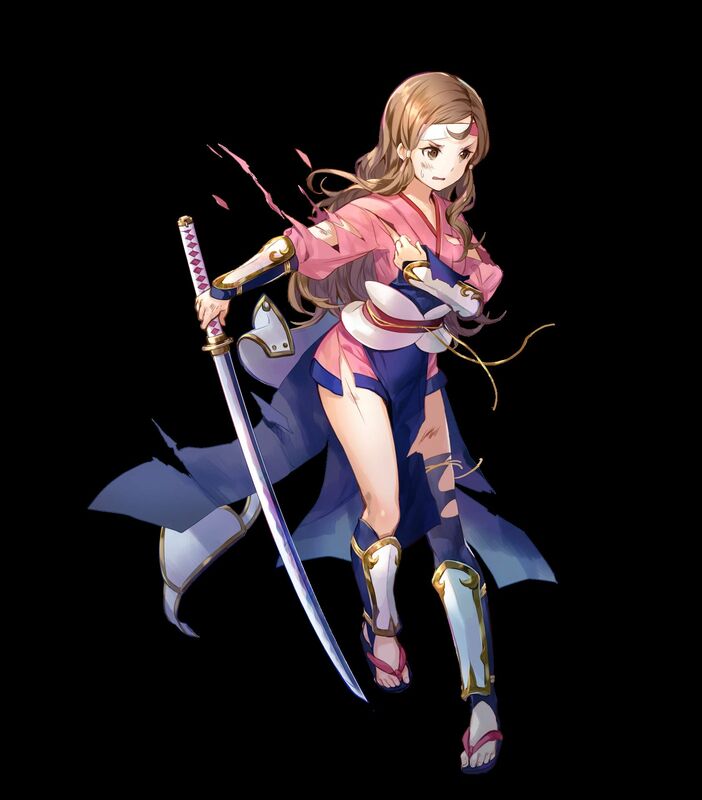 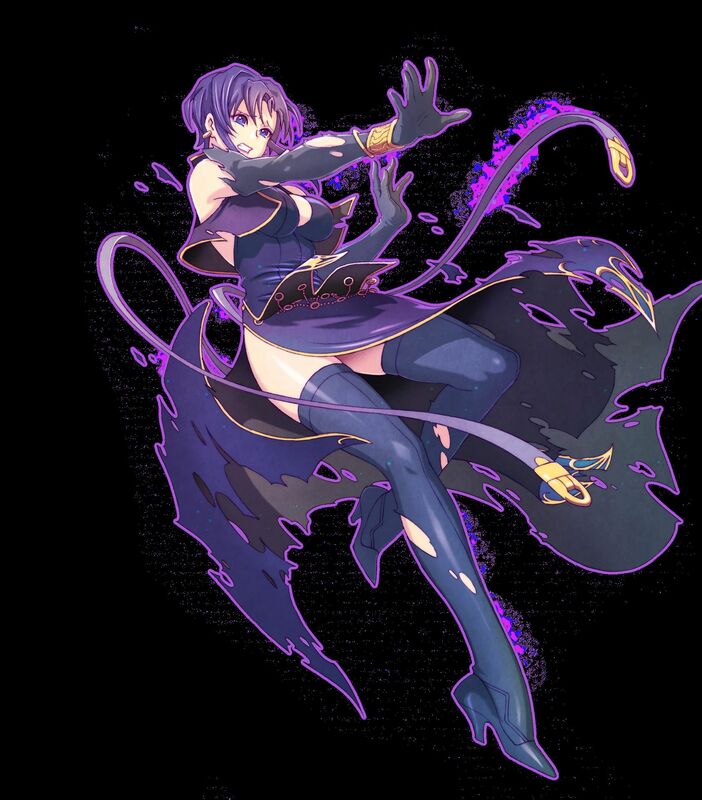 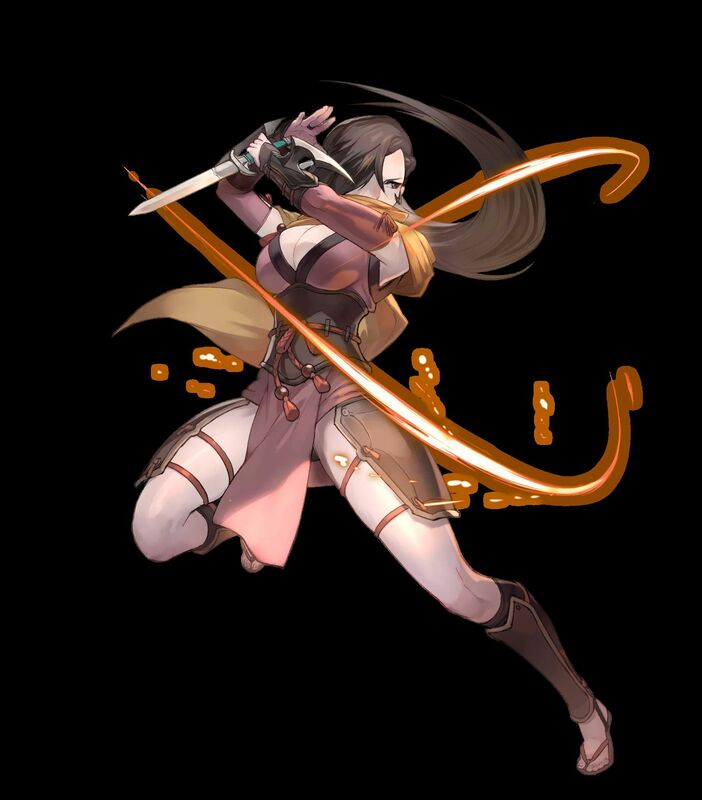 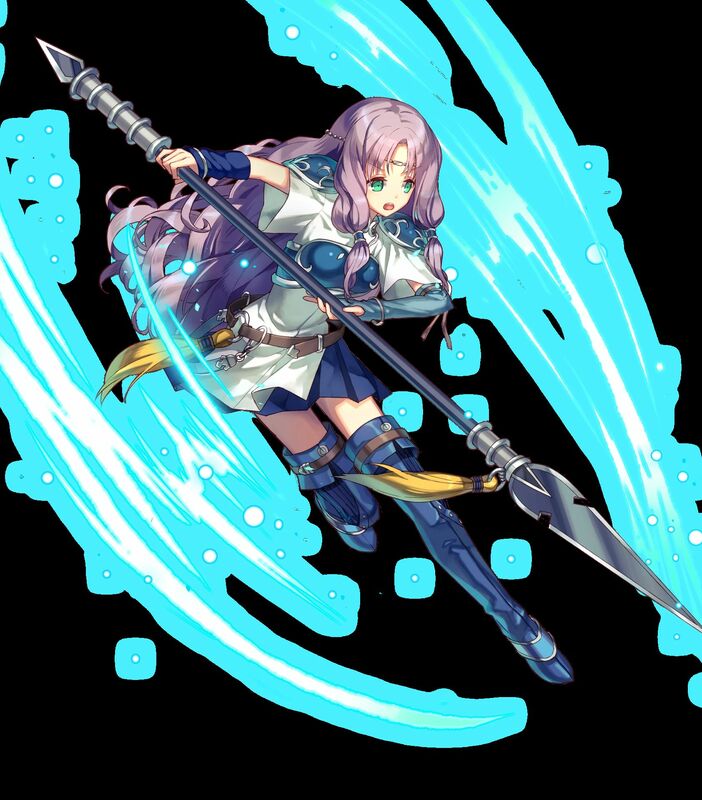 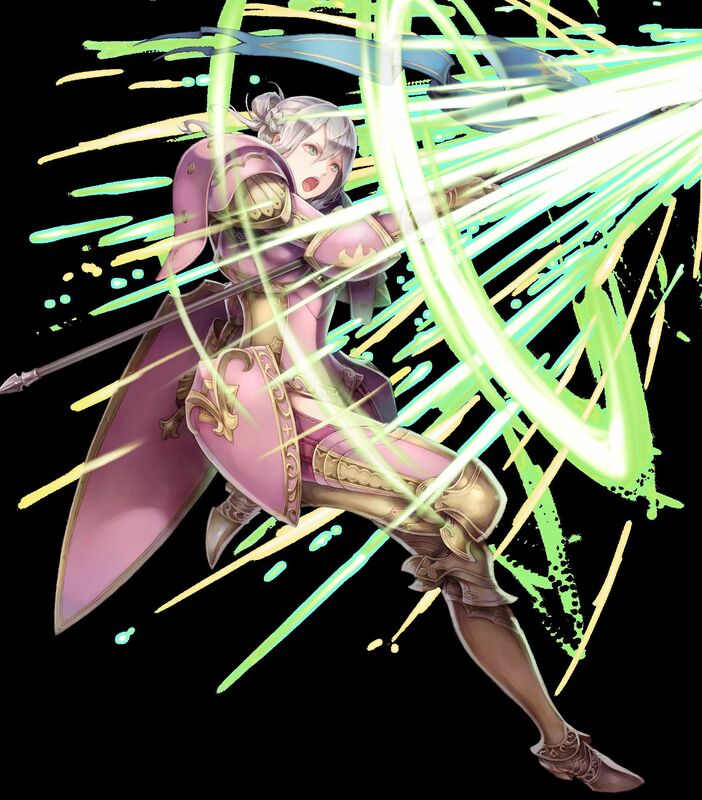 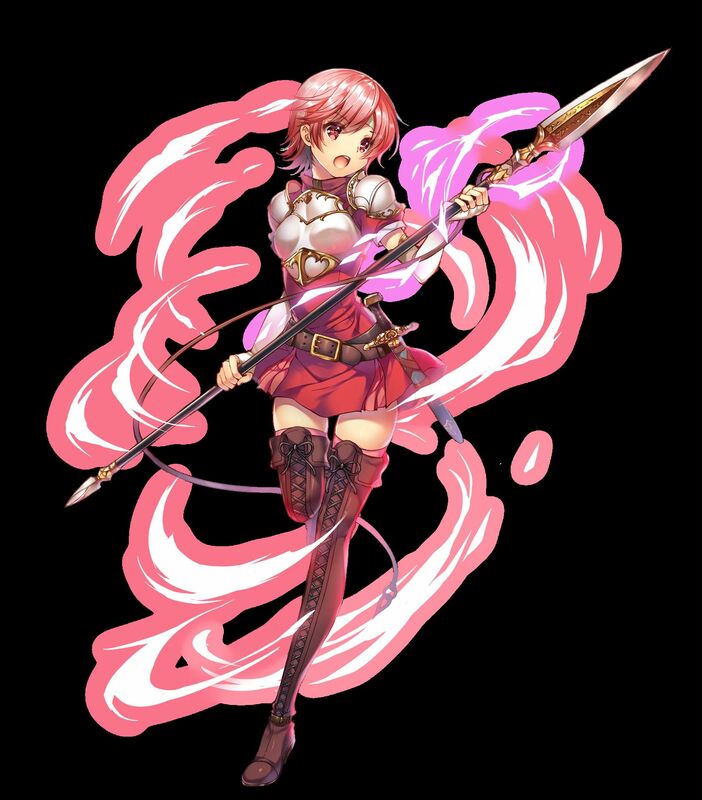 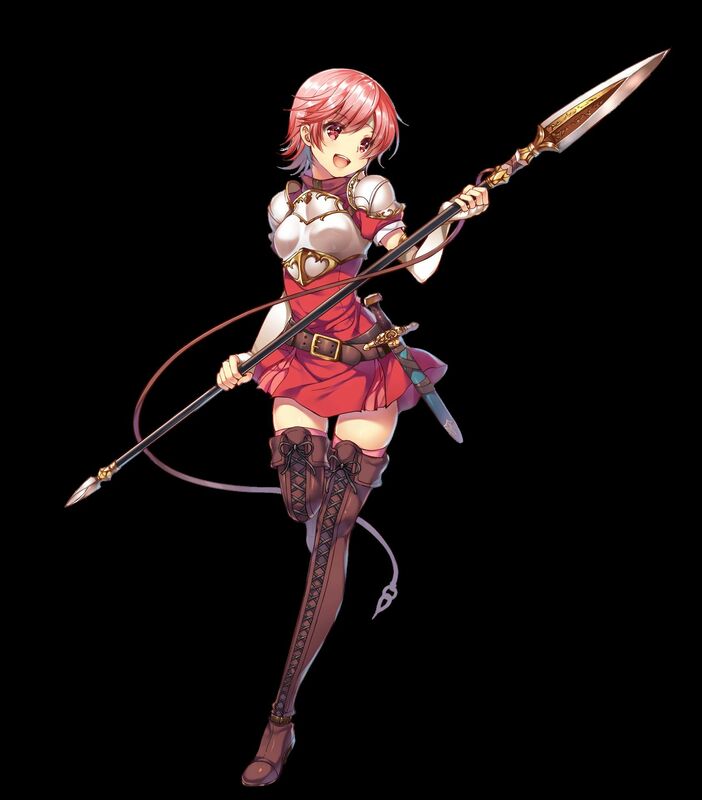 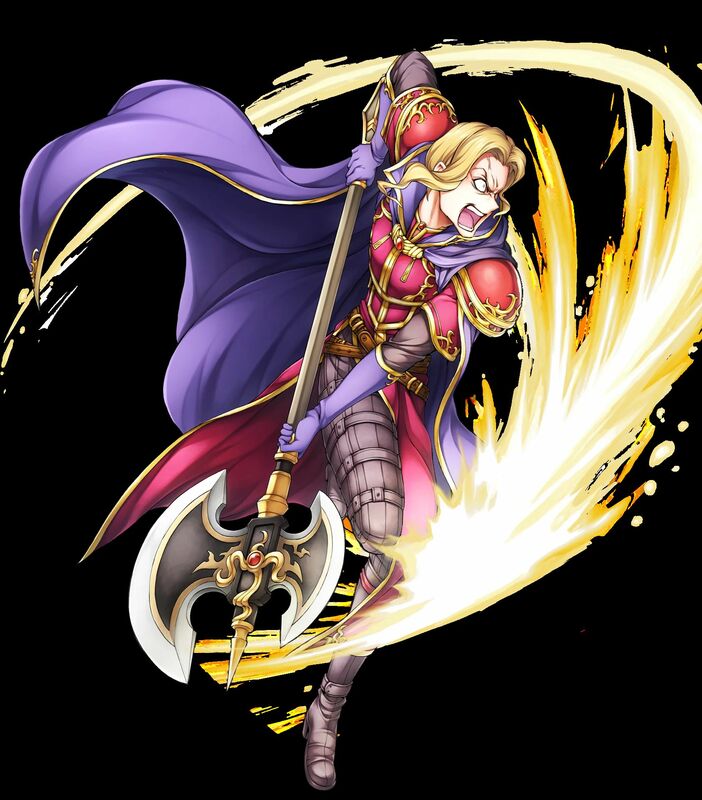 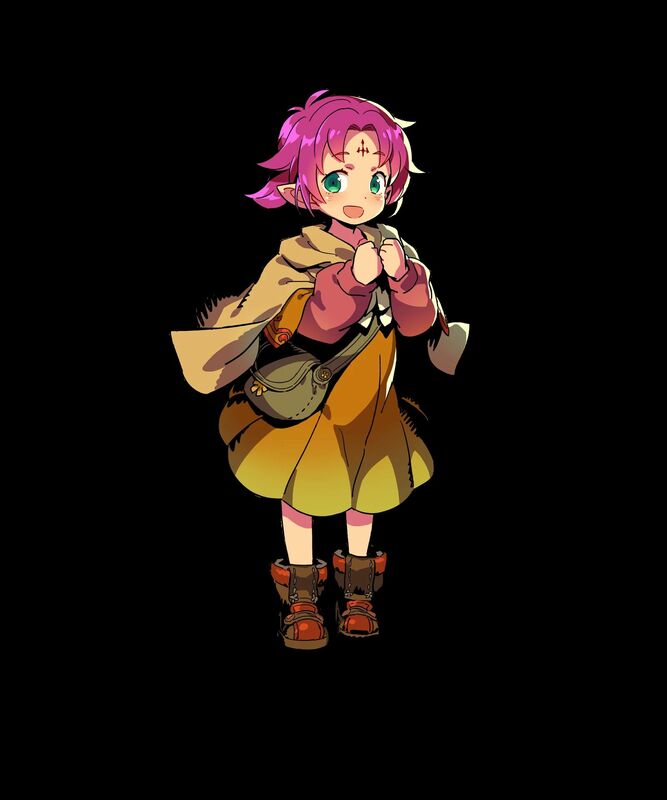 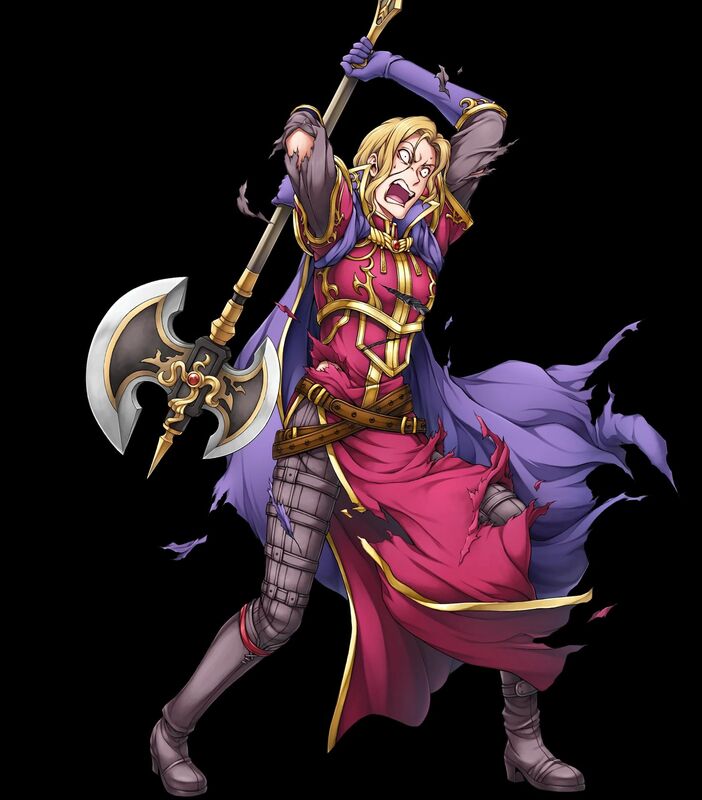 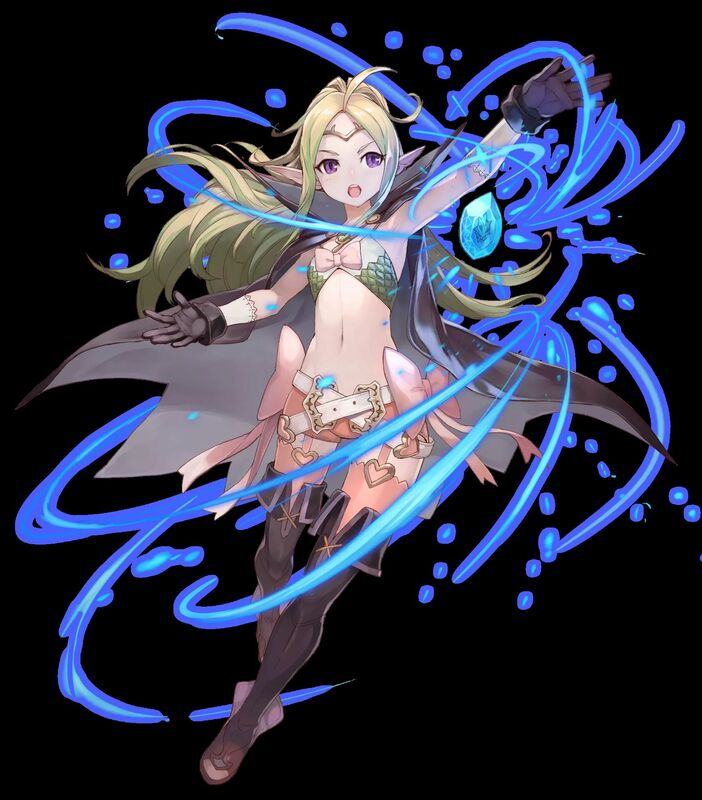 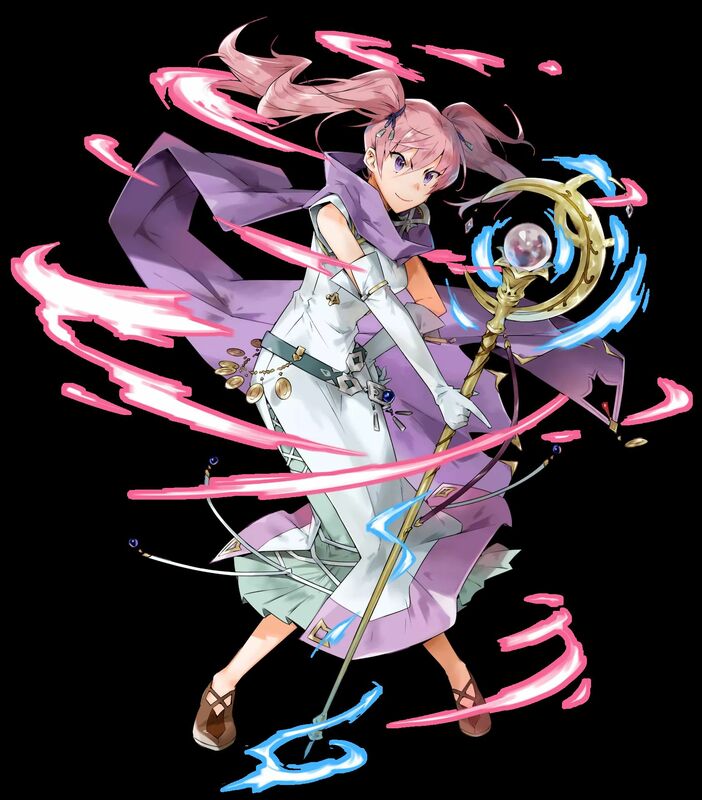 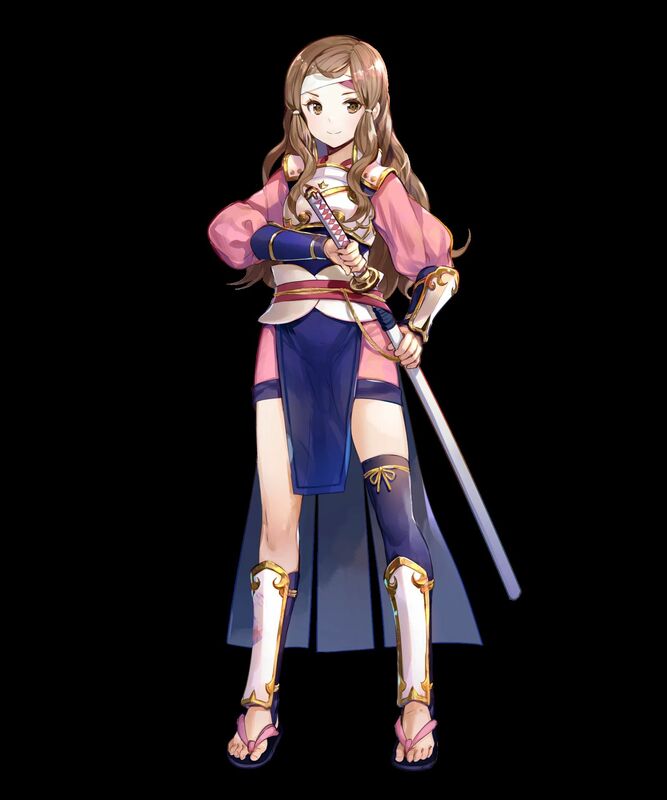 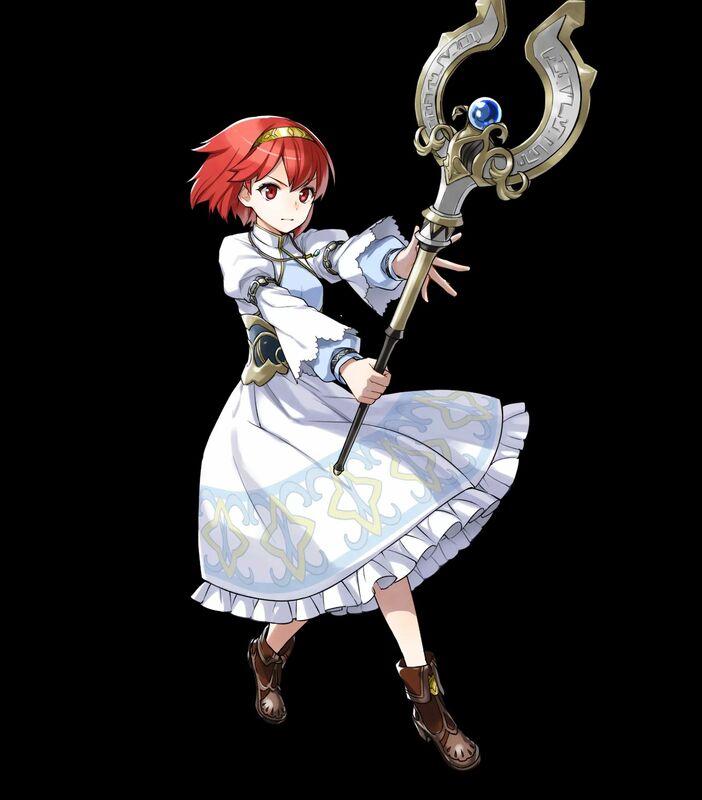 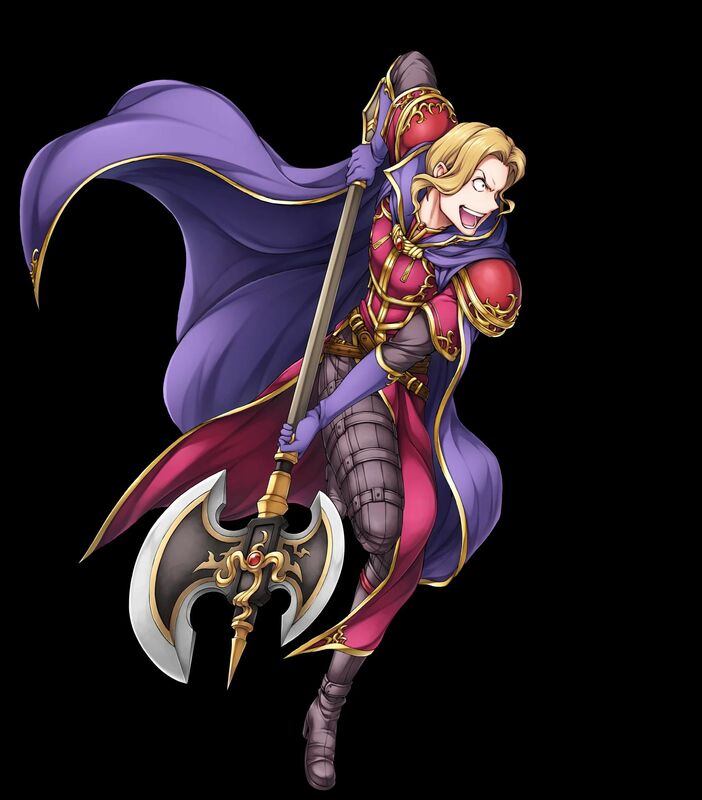 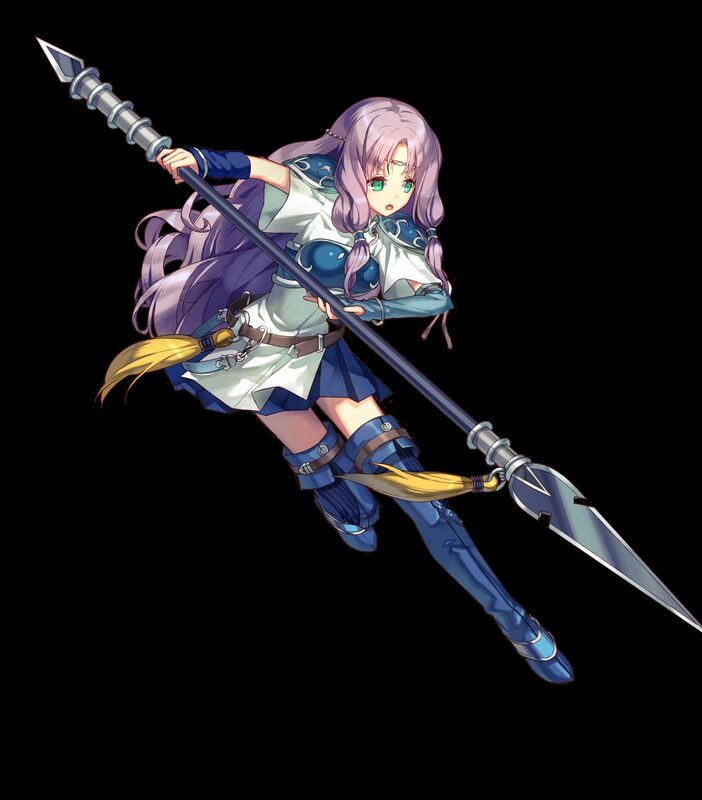 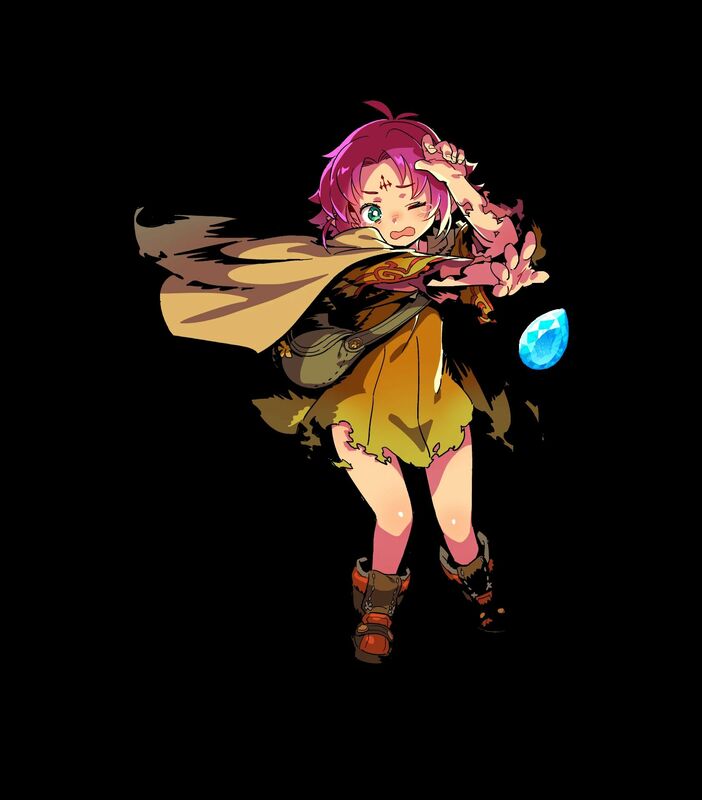 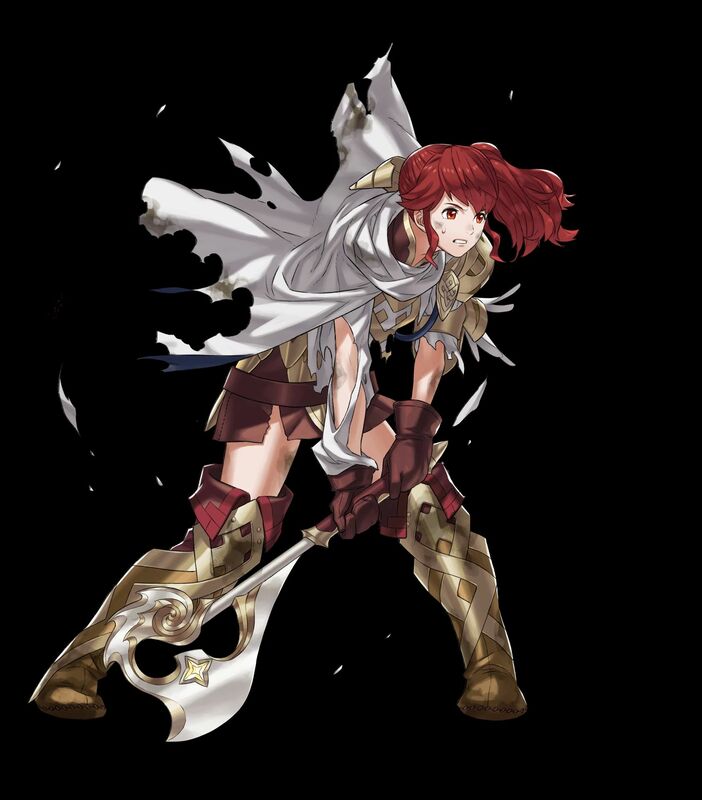 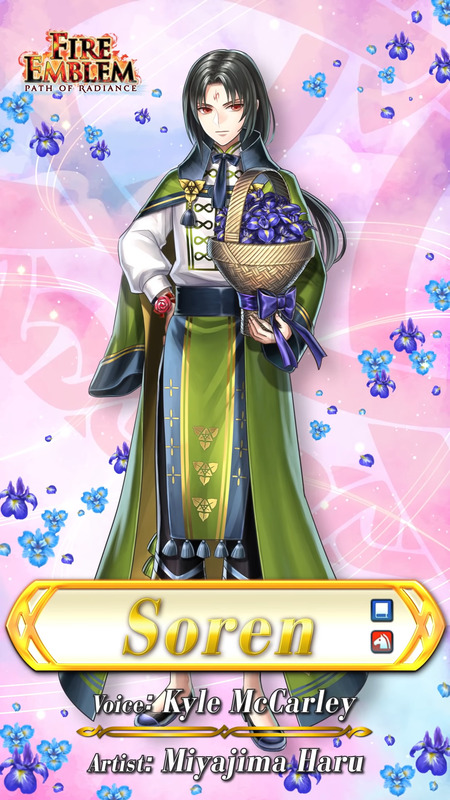 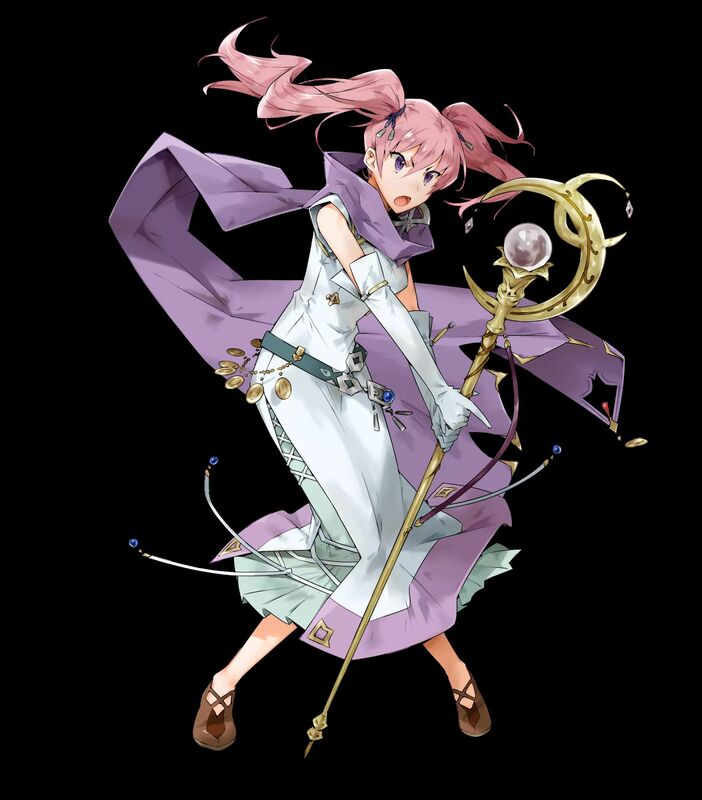 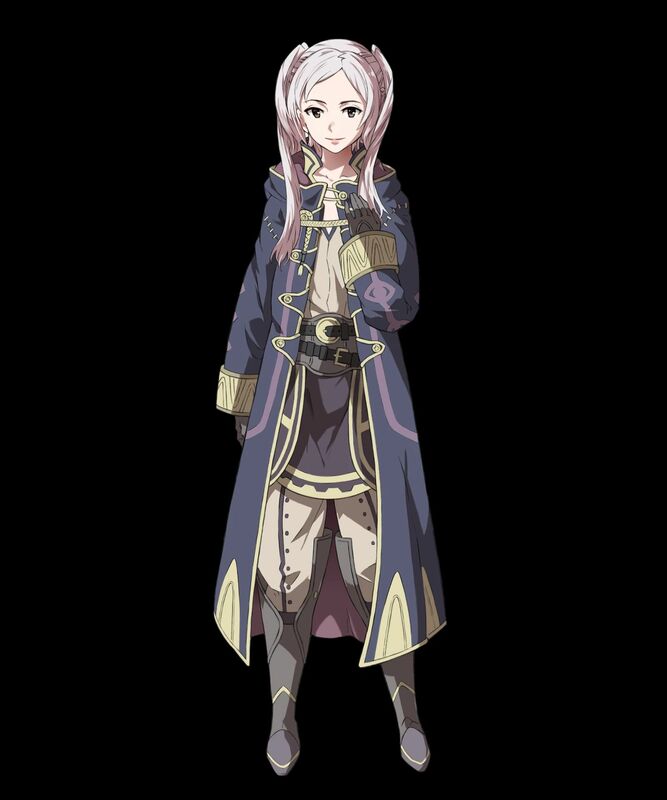 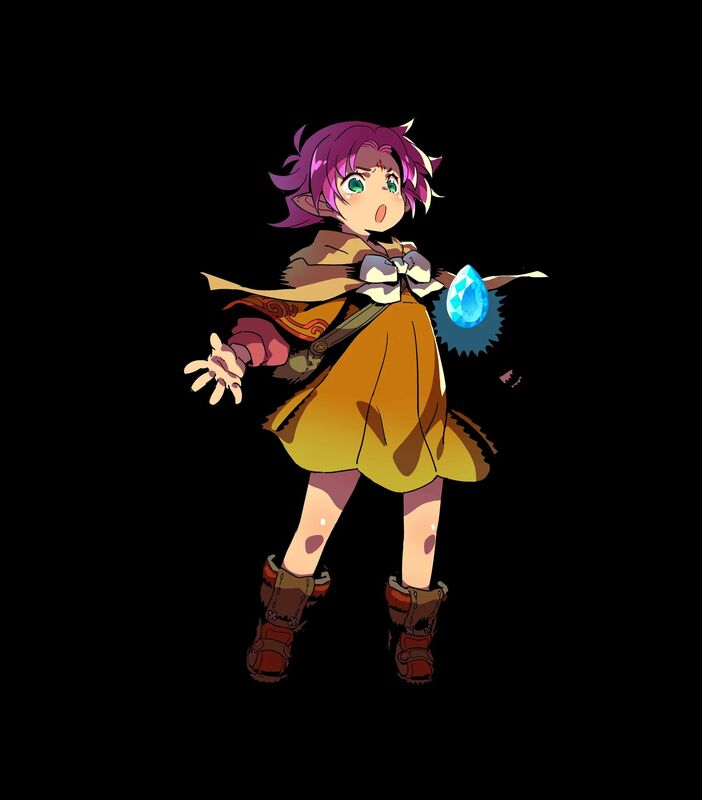 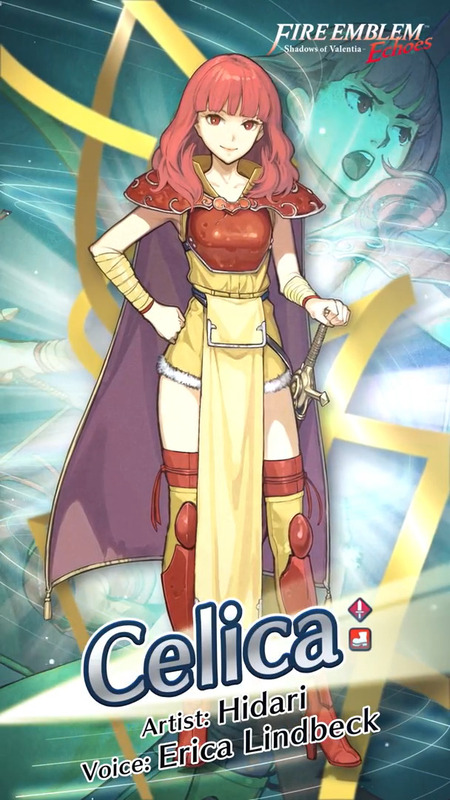 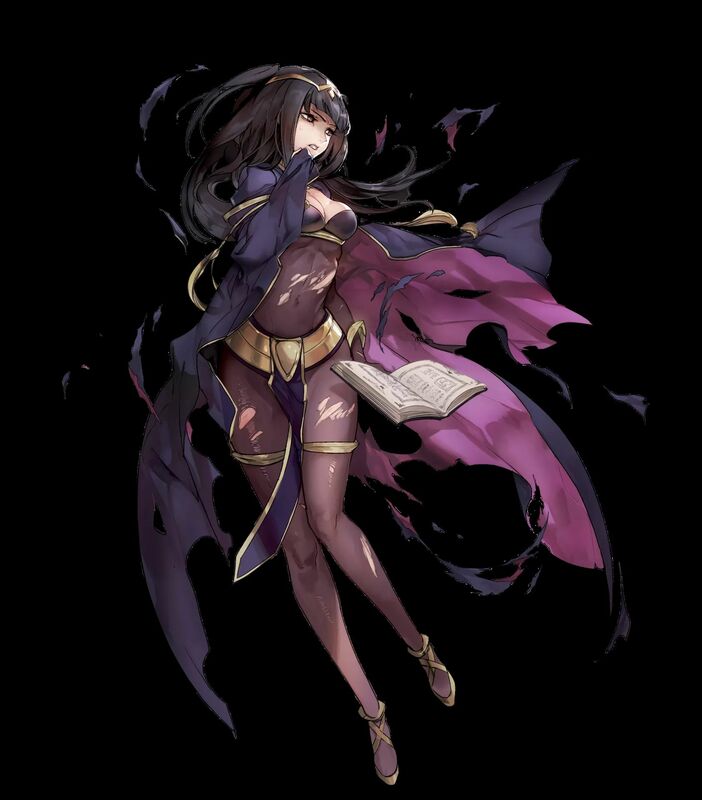 [5 ★] Sonya, Vengeful Mage (from Fire Emblem Echoes: Shadows of Valentia). 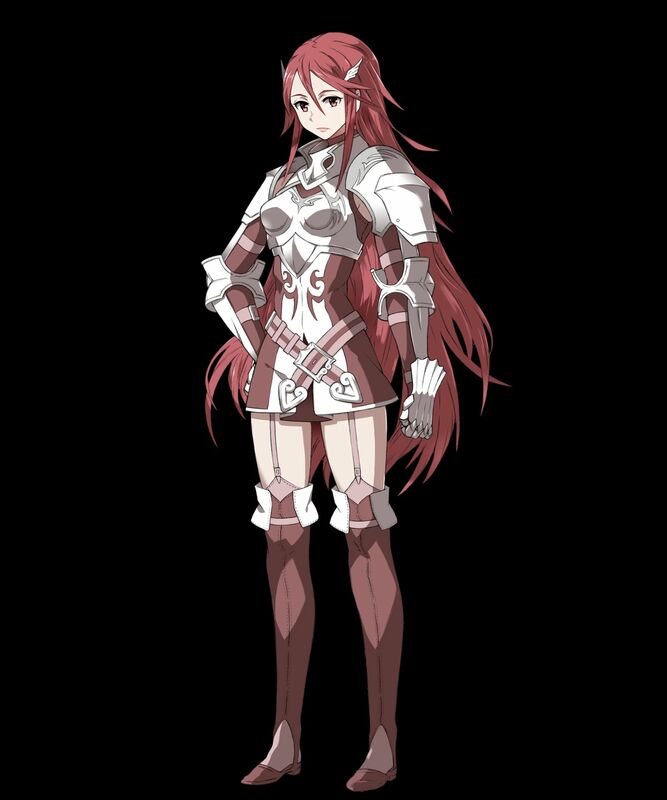 Voiced by Tara Sands. 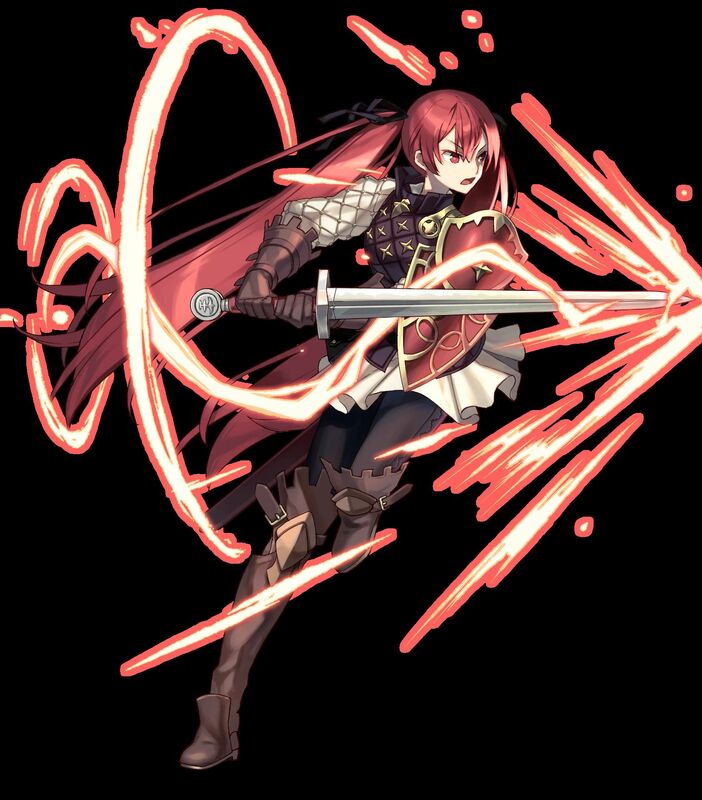 Artist: Yura. 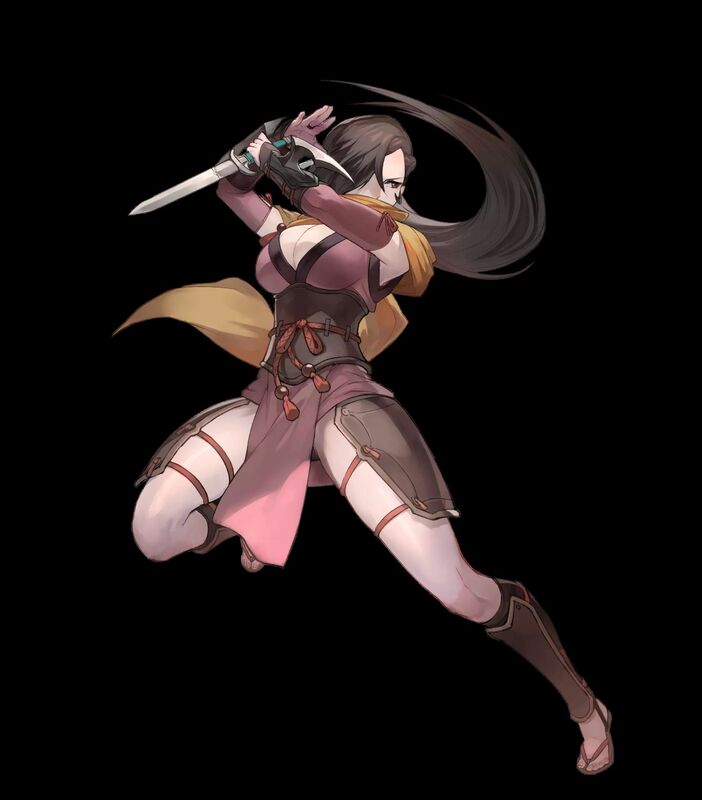 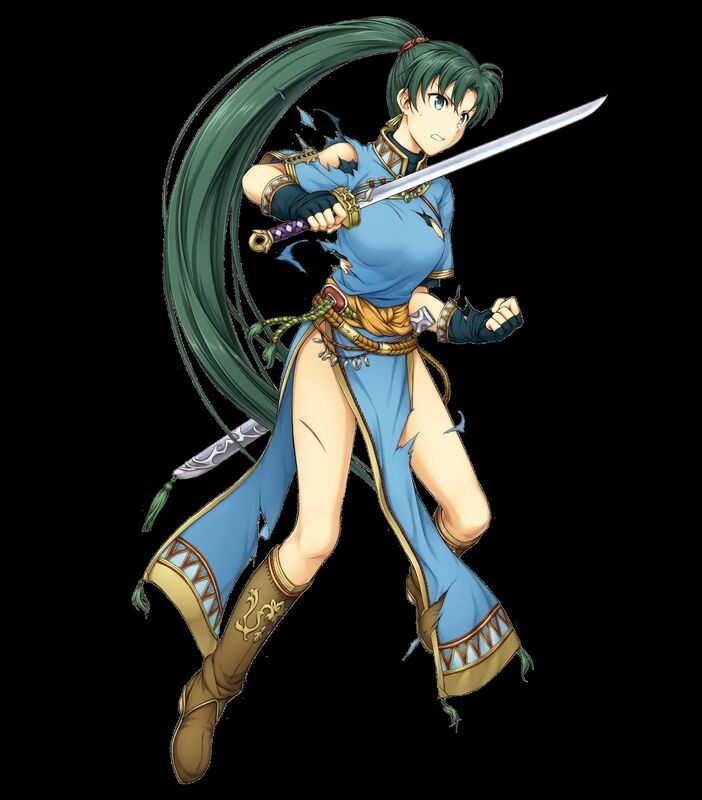 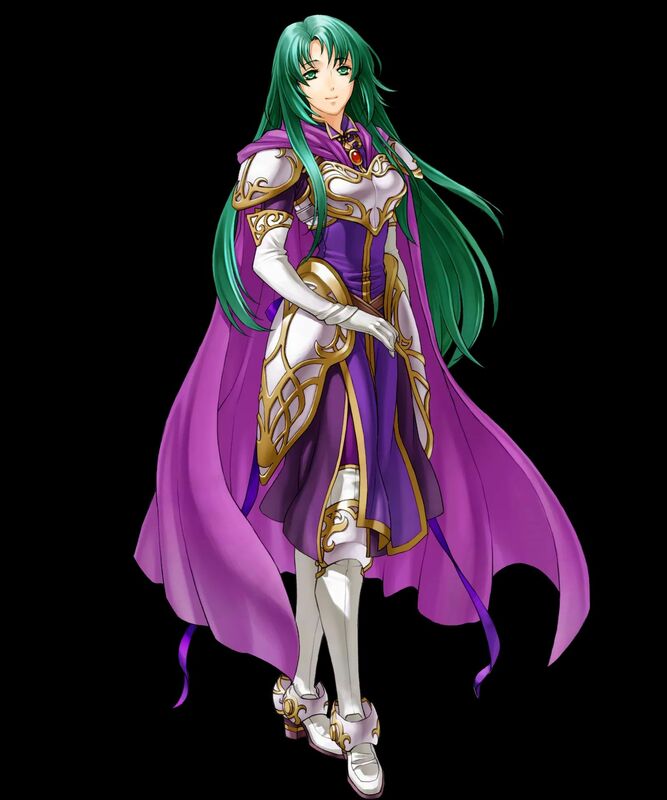 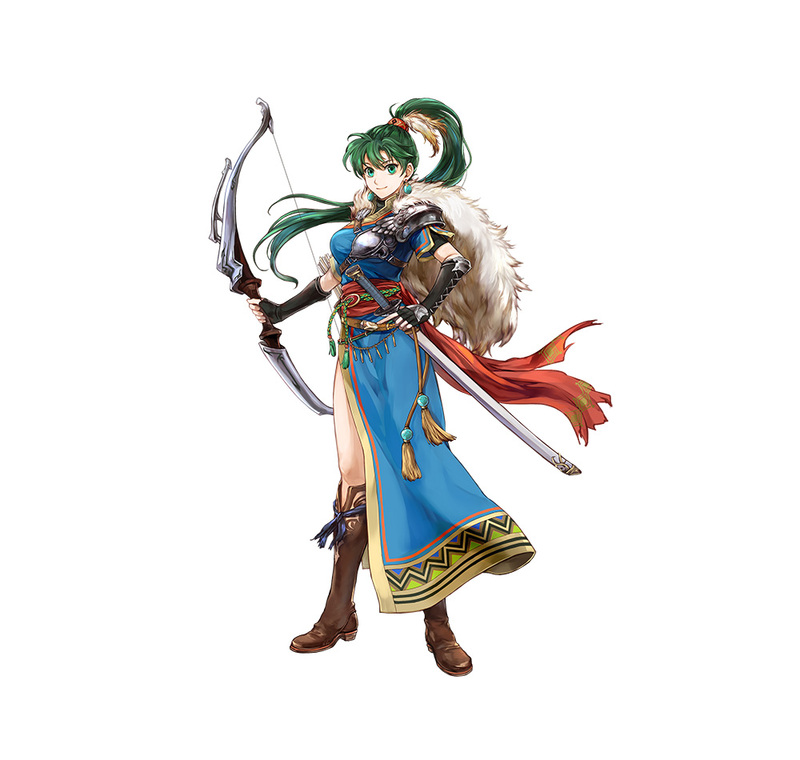 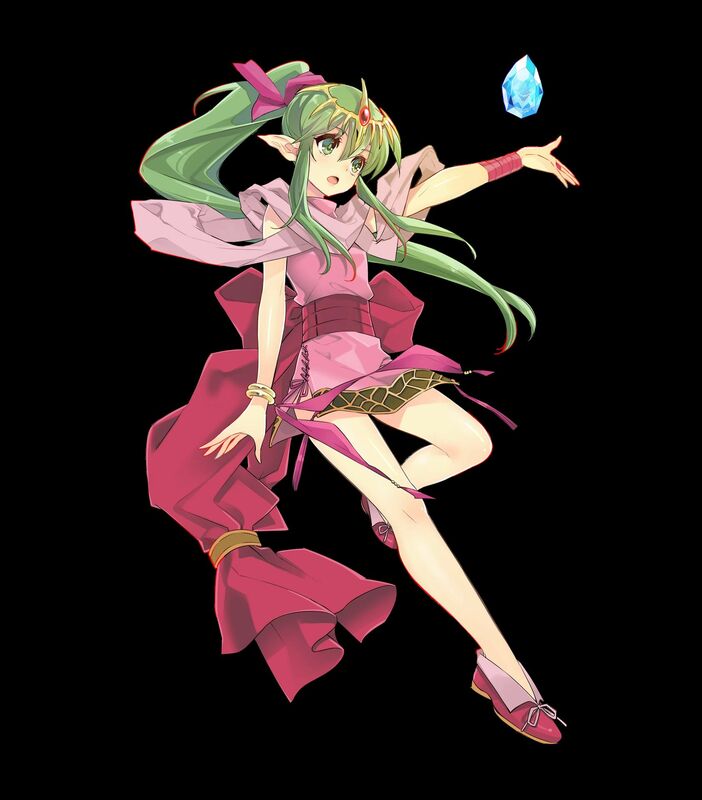 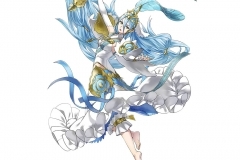 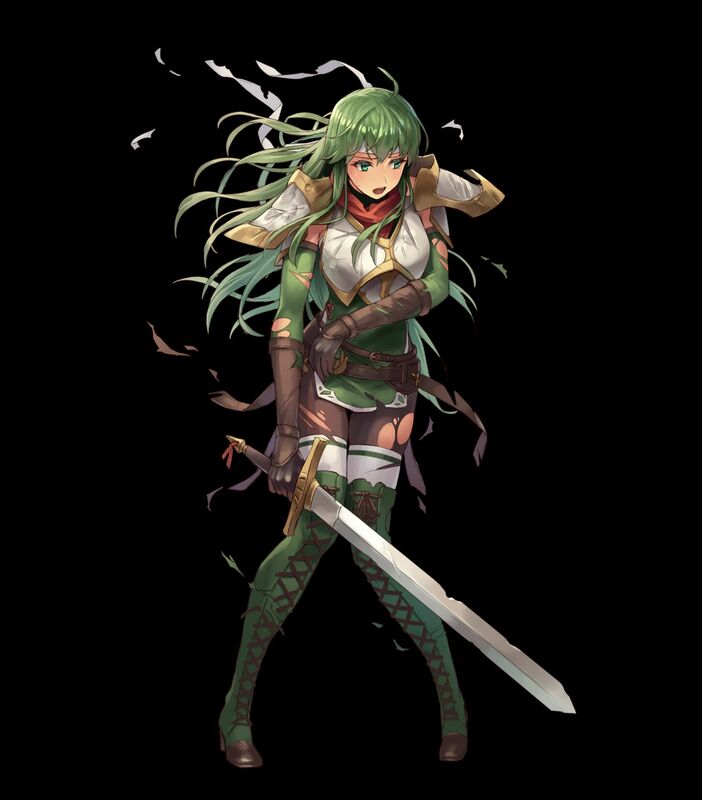 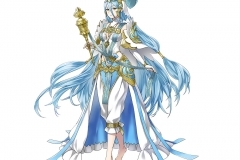 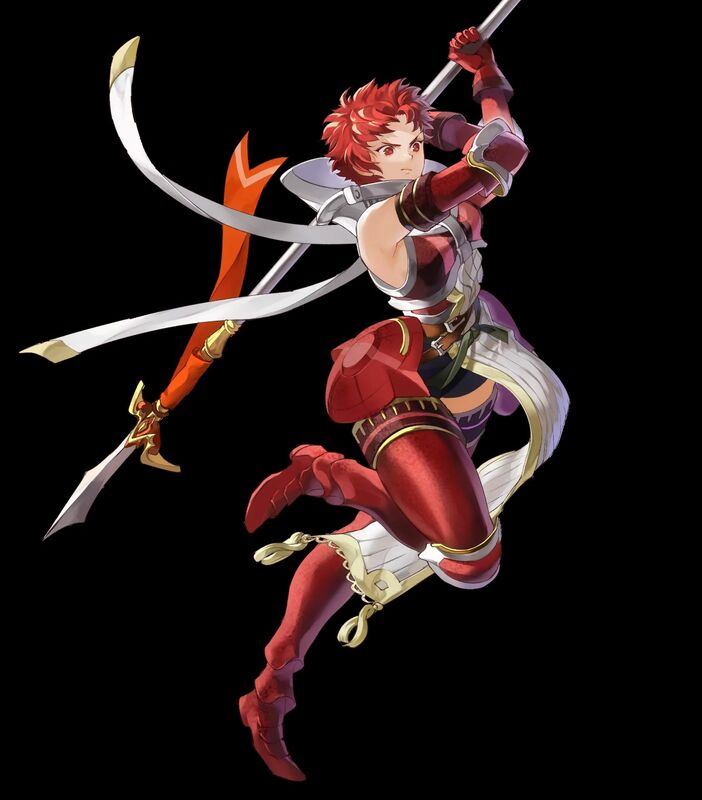 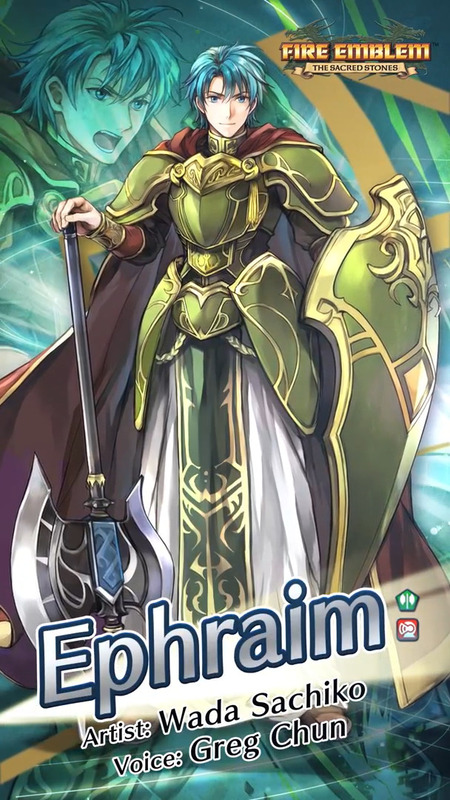 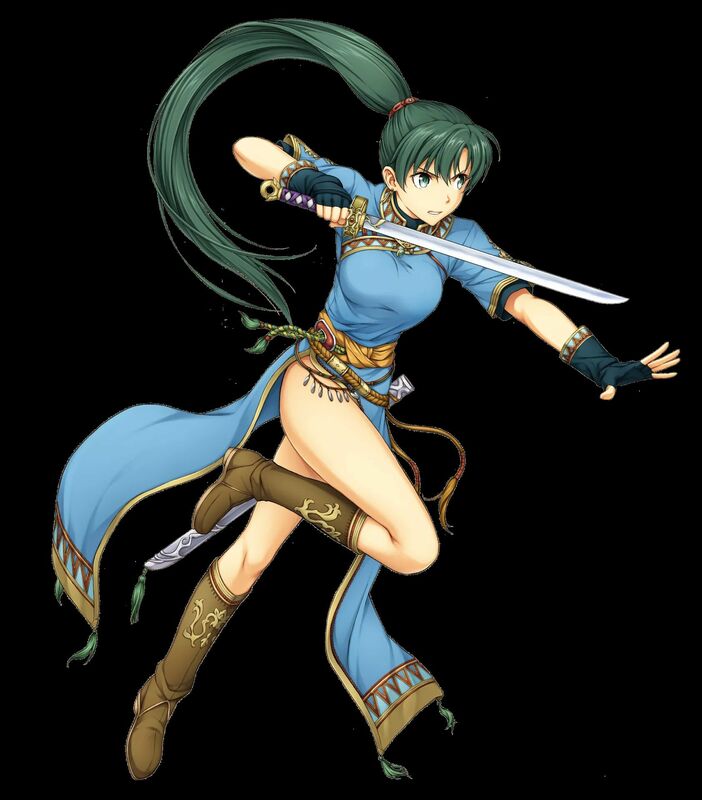 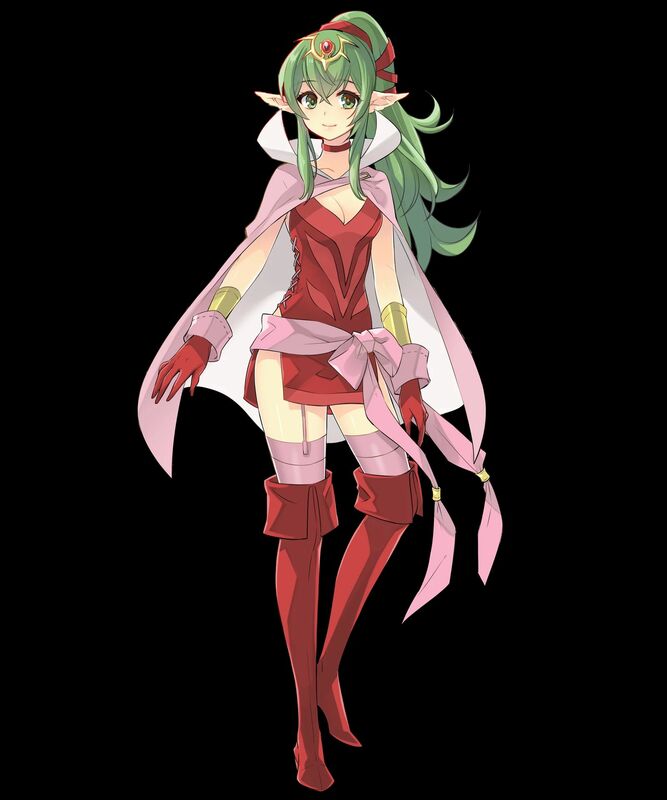 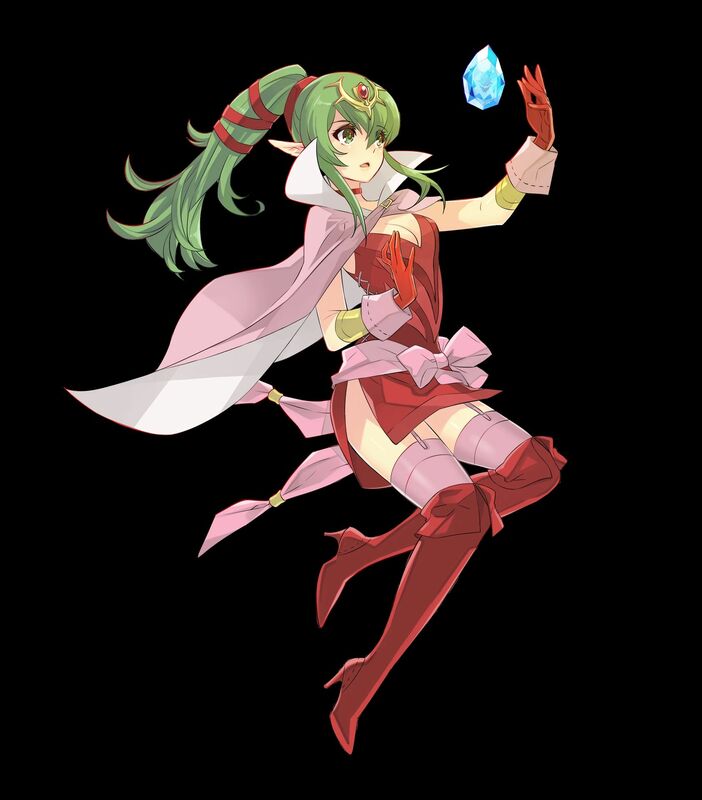 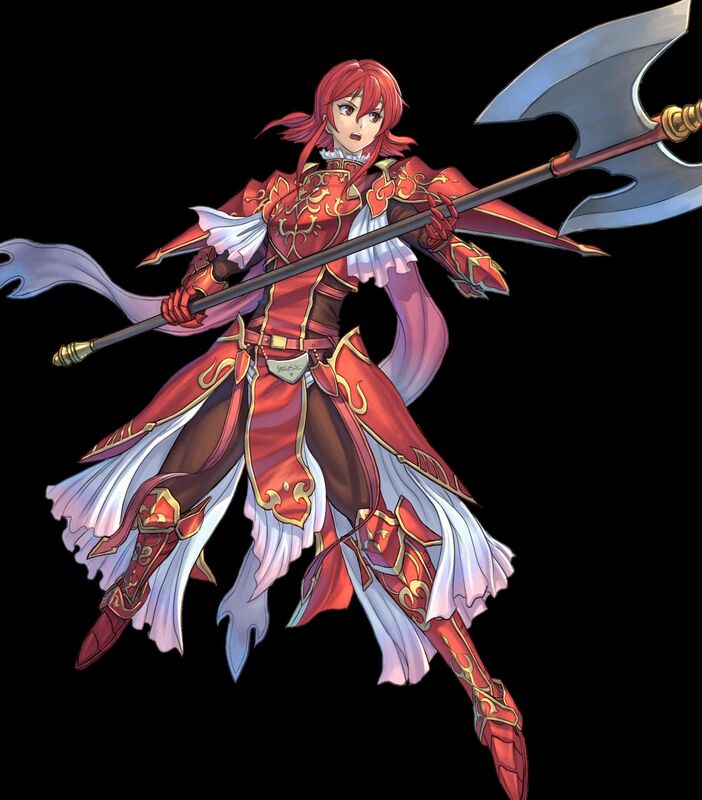 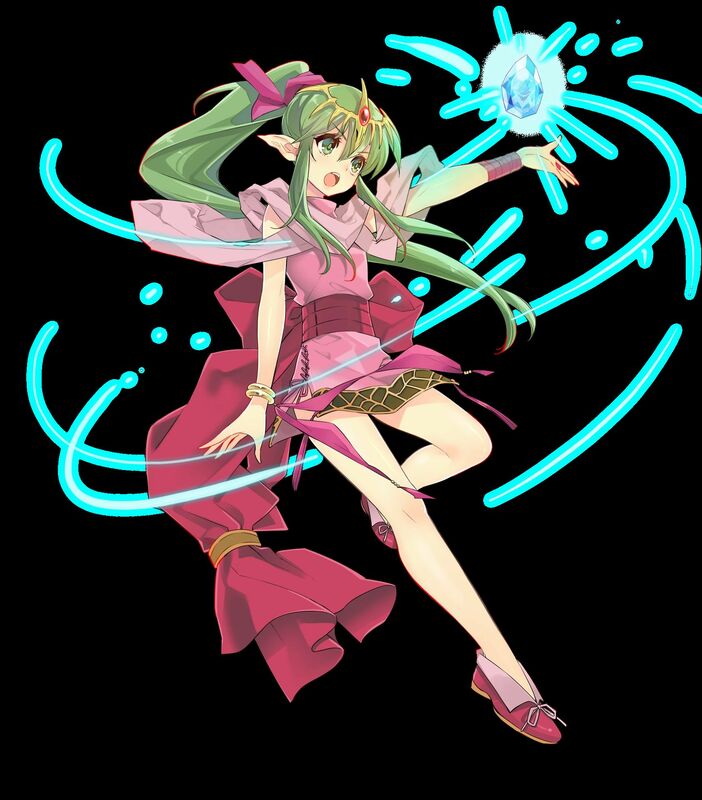 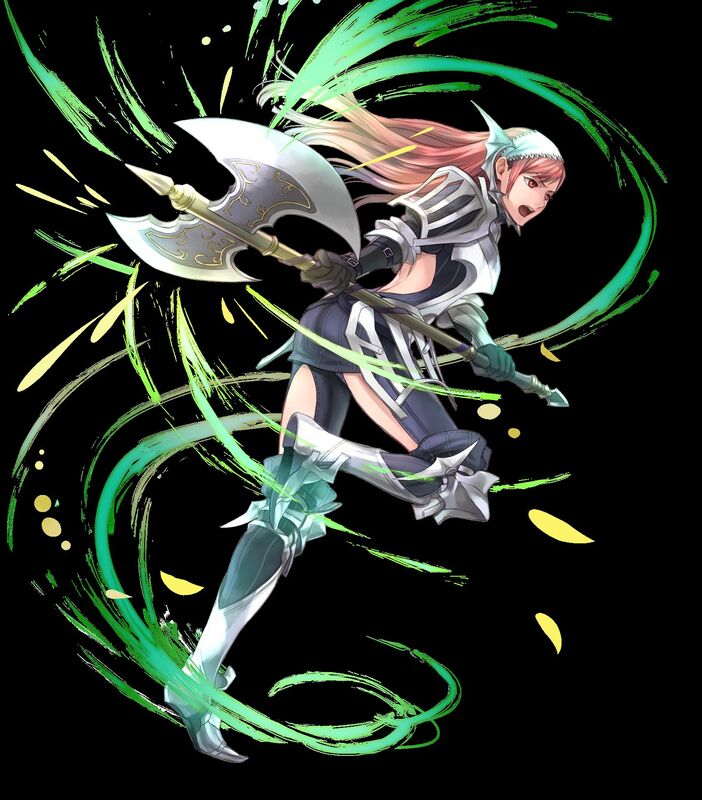 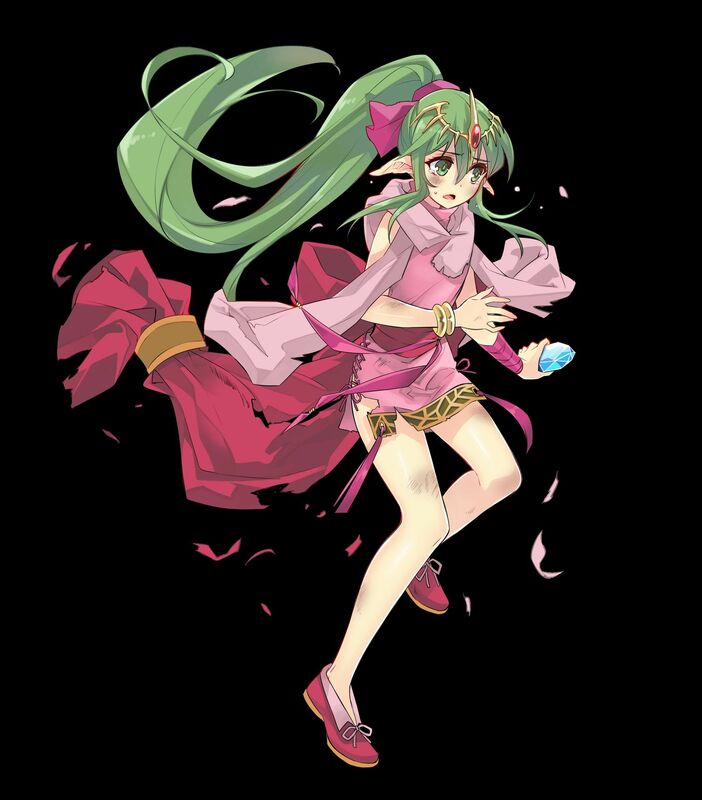 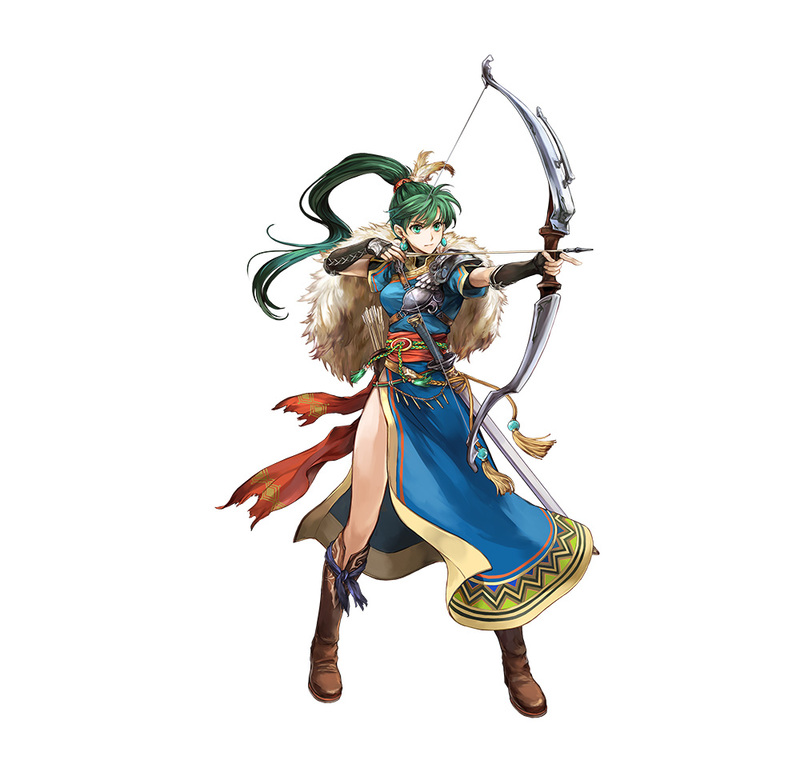 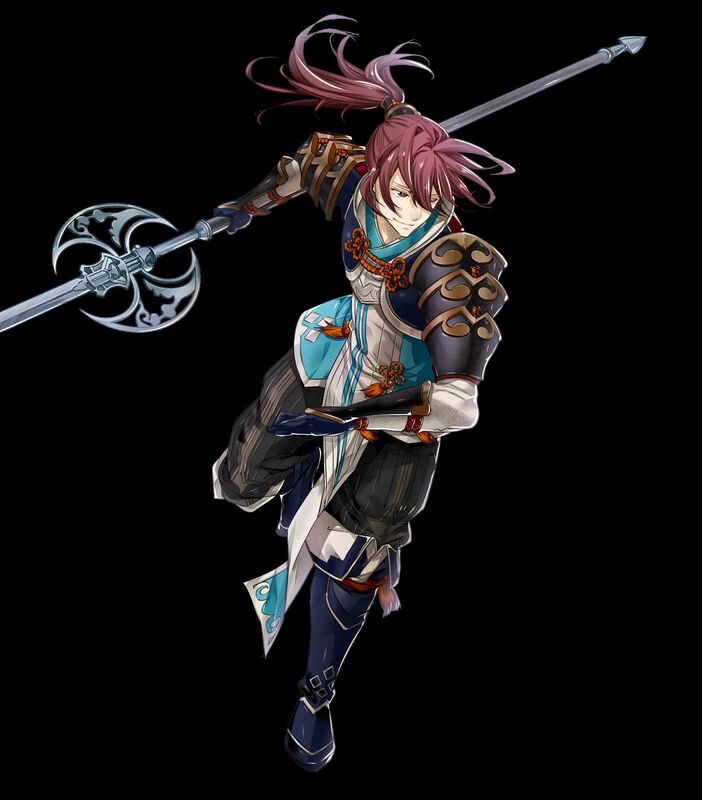 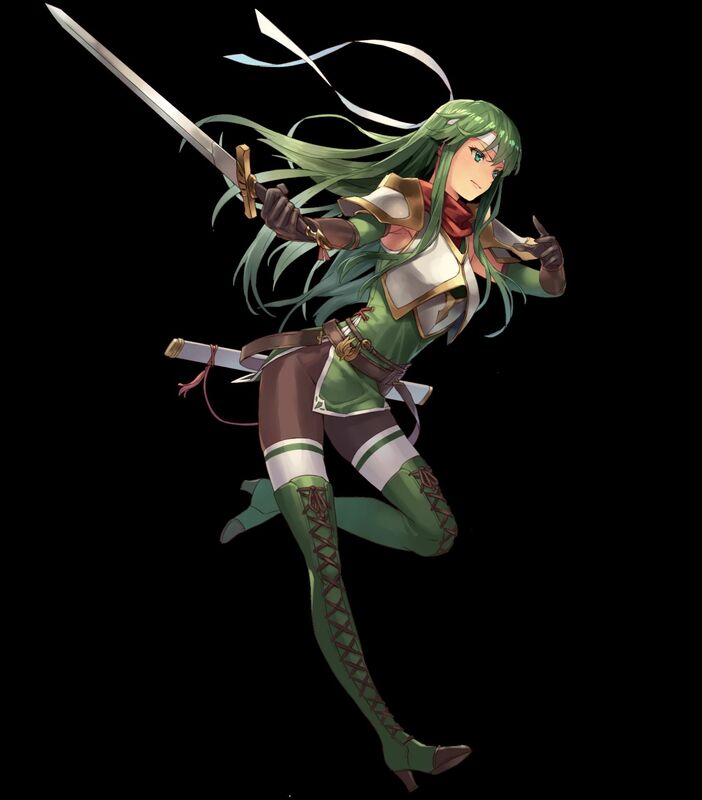 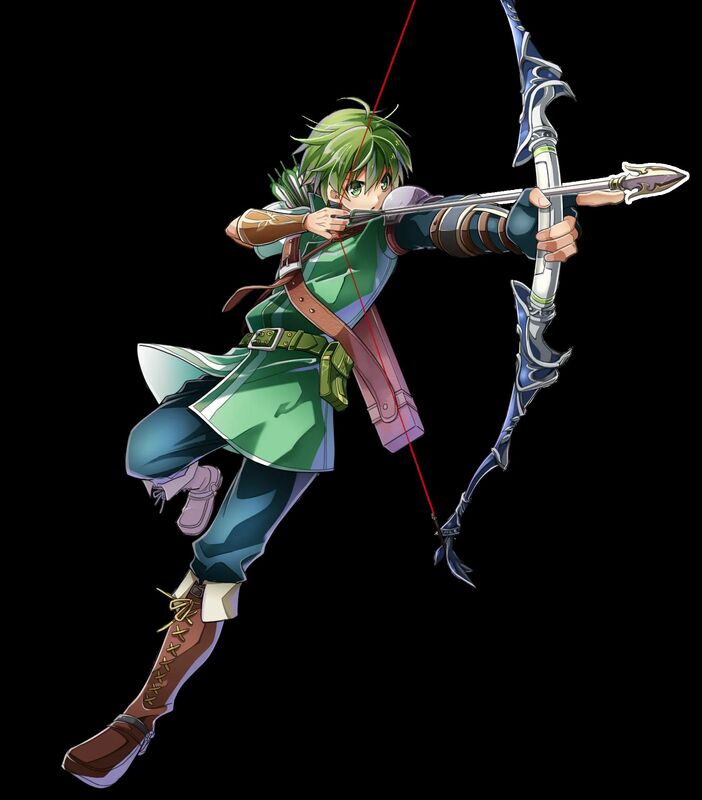 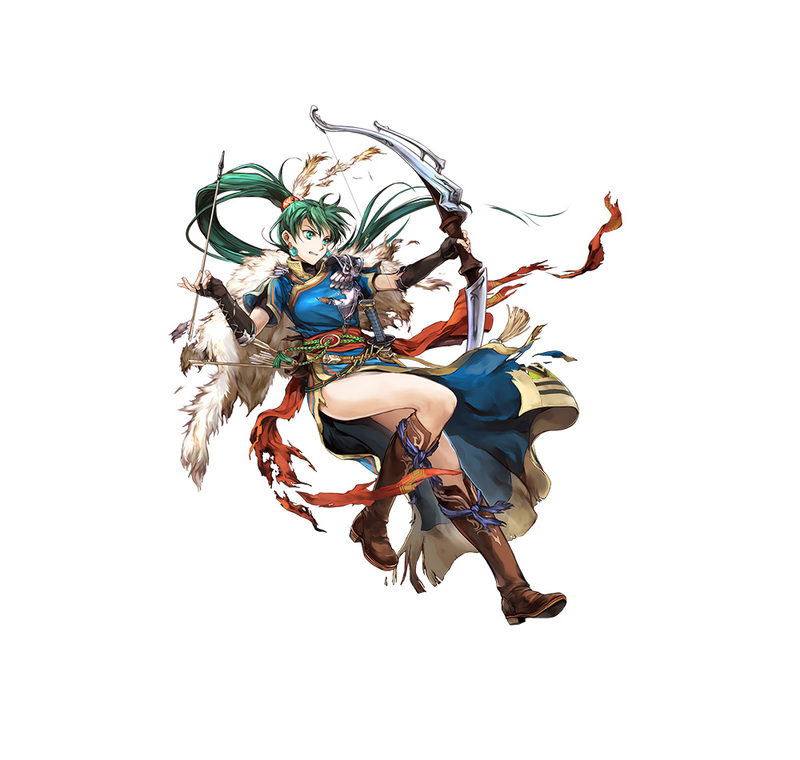 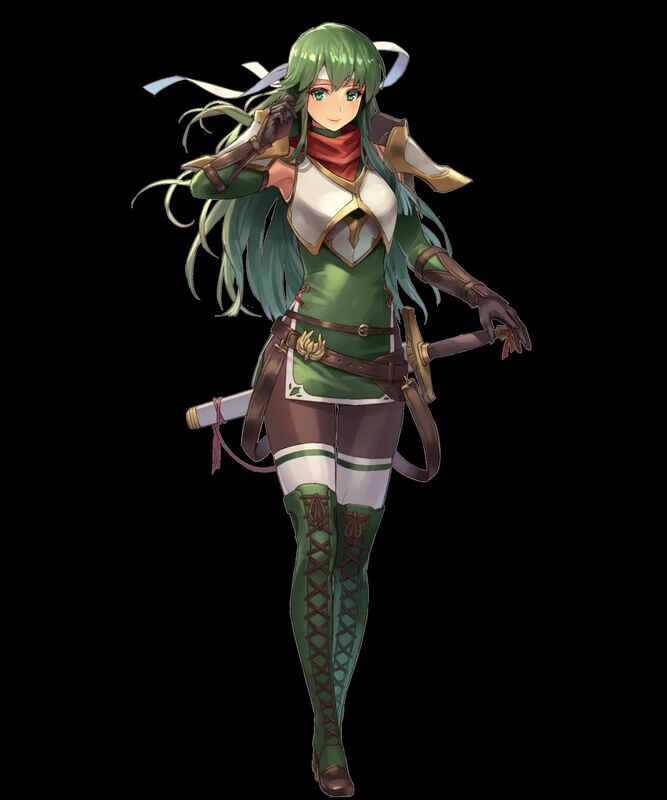 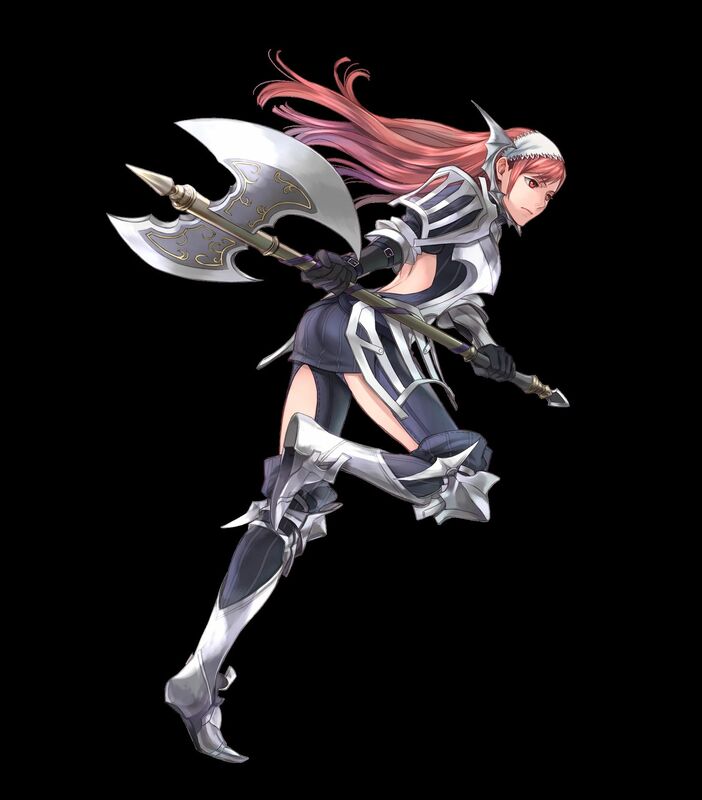 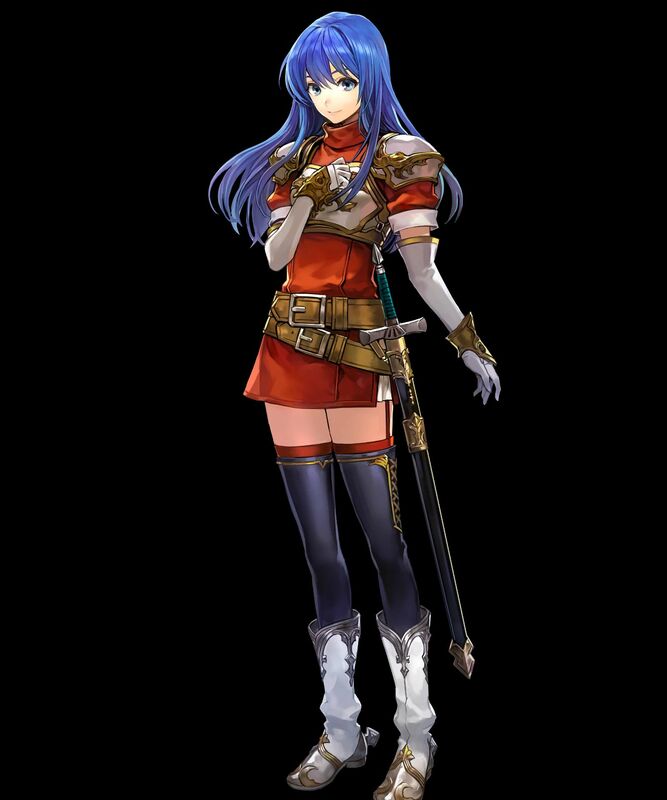 [4 ★] Titania, Mighty Mercenary (from Fire Emblem: Path of Radiance). 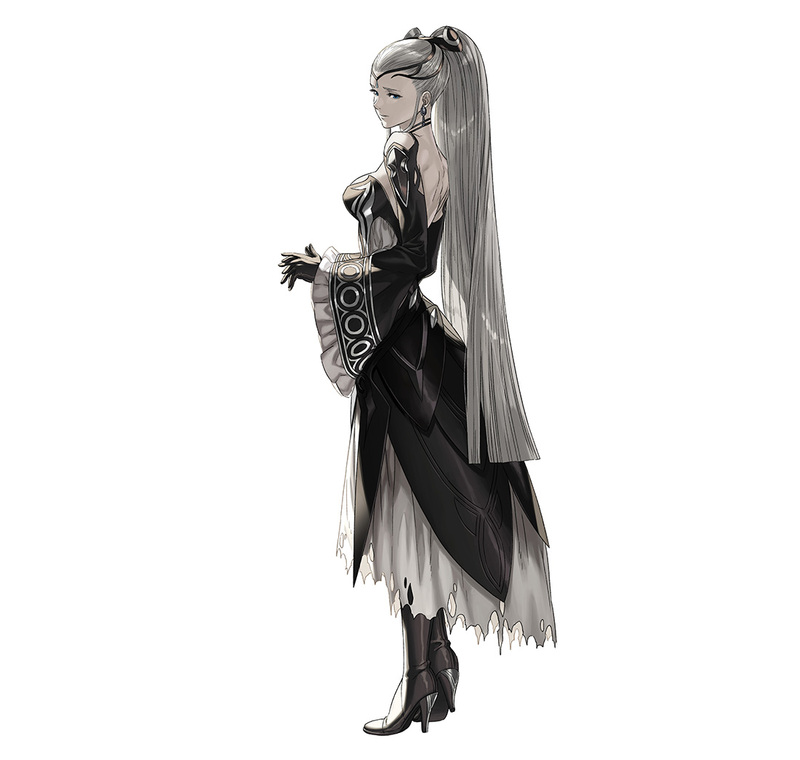 Voiced by Misty Lee. 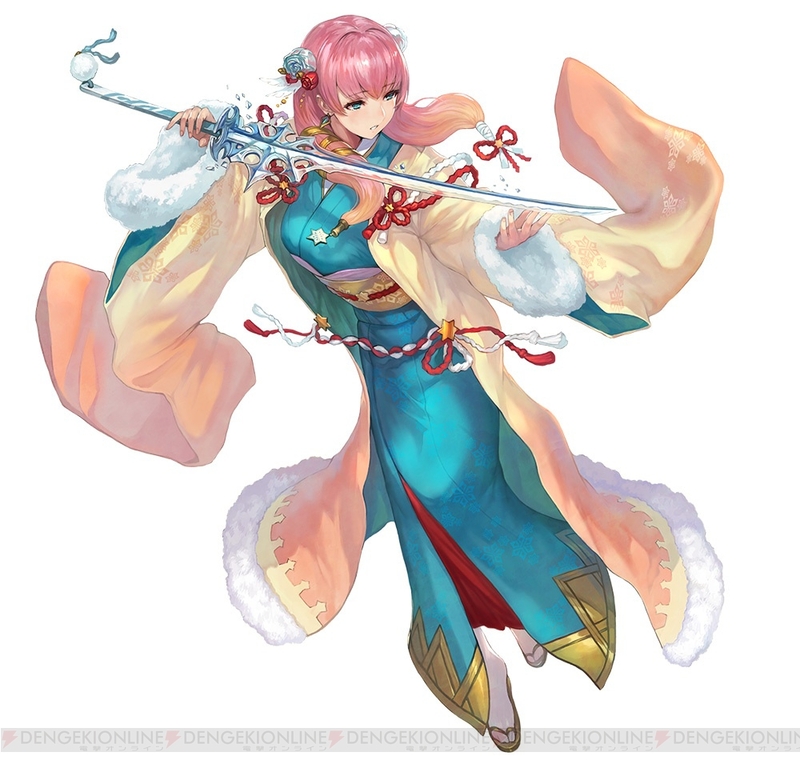 Artist: Wada Sachiko. 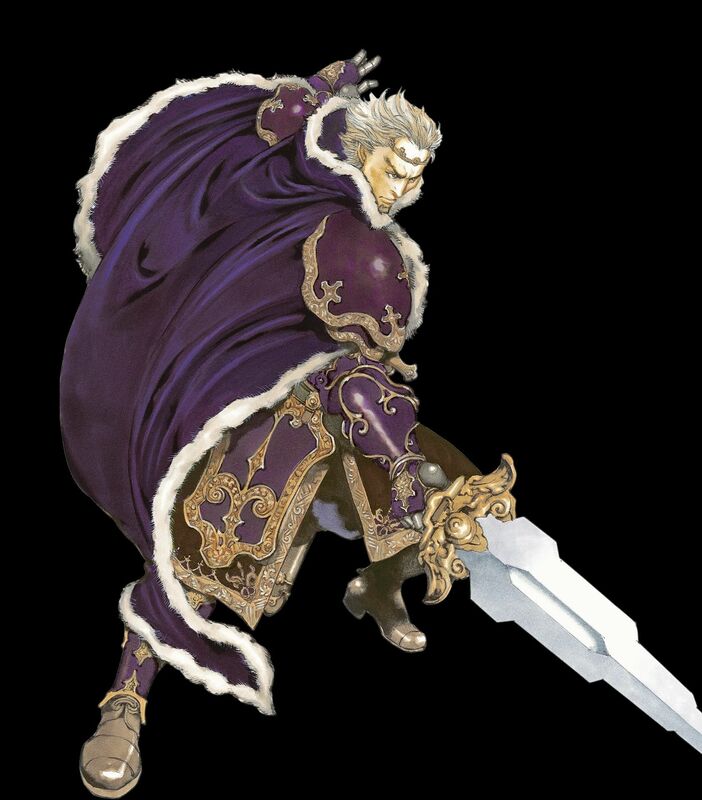 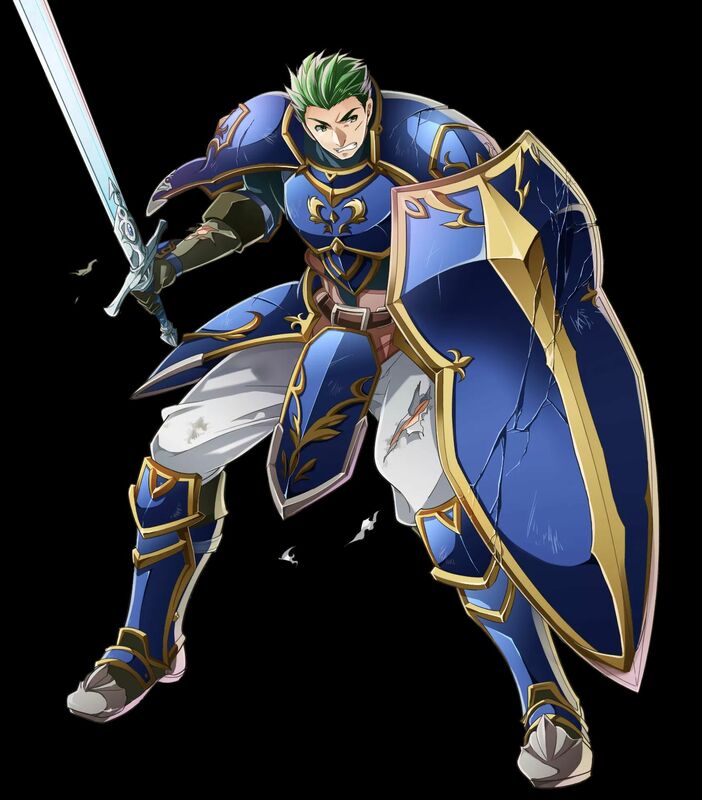 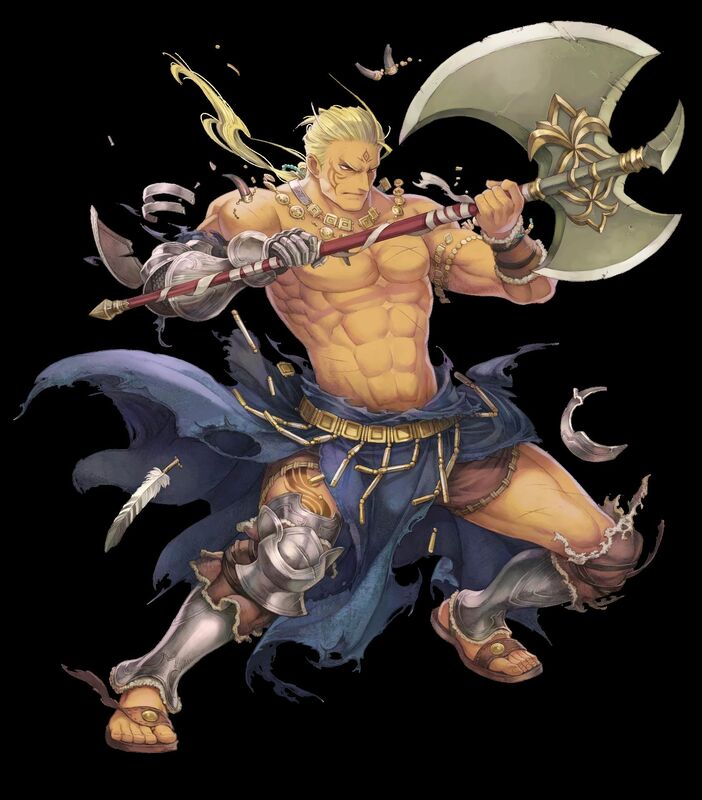 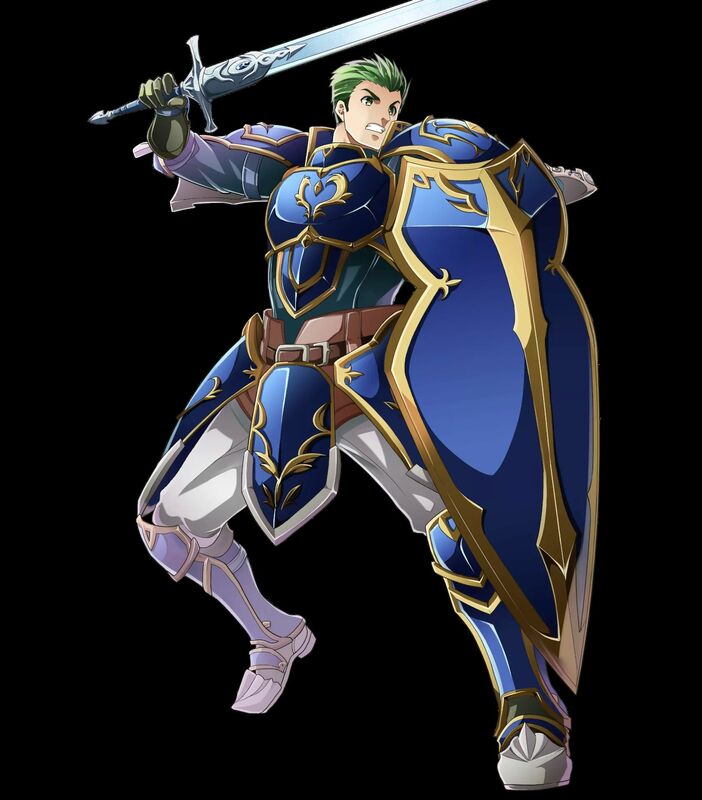 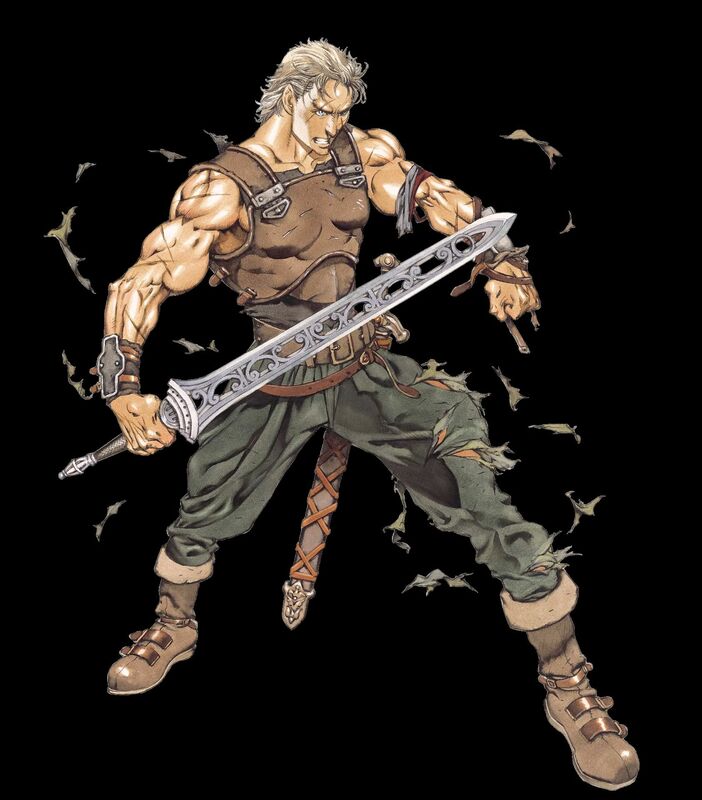 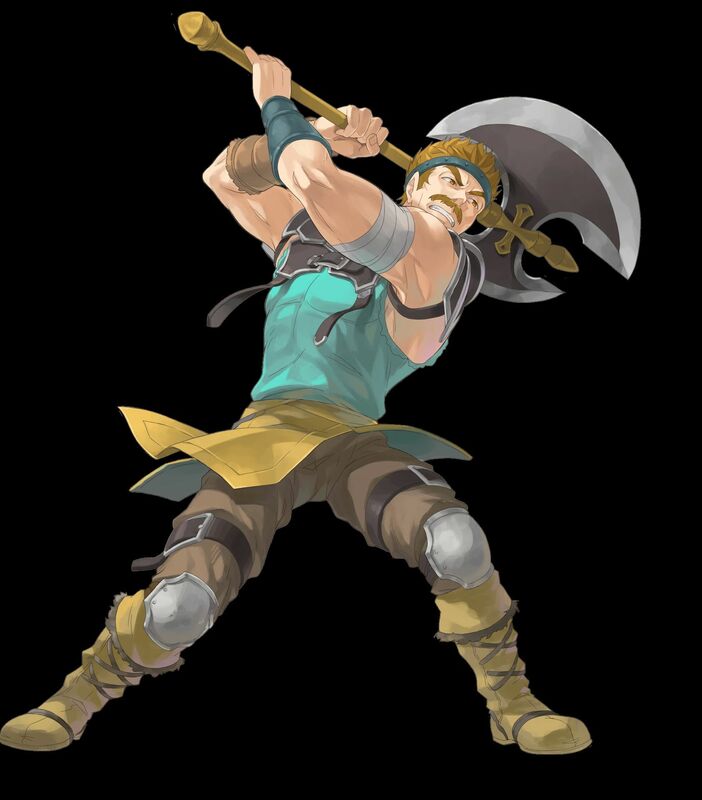 [4 ★ / 3 ★] Zephiel, the Liberator (from Fire Emblem: The Binding Blade).